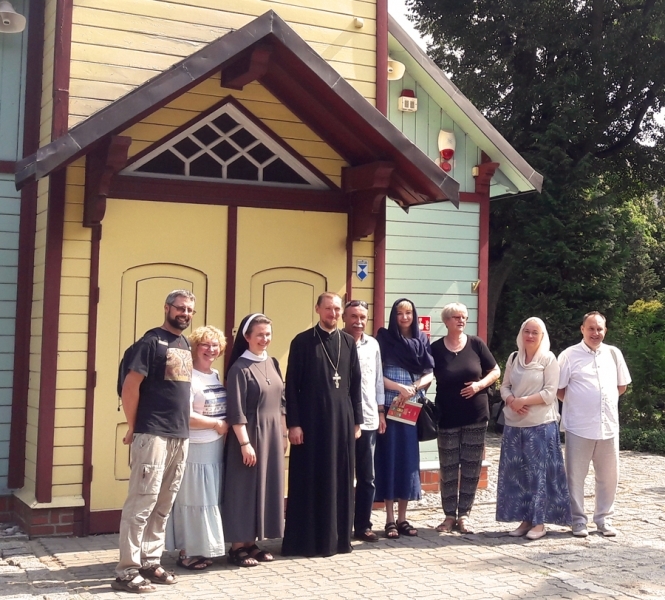 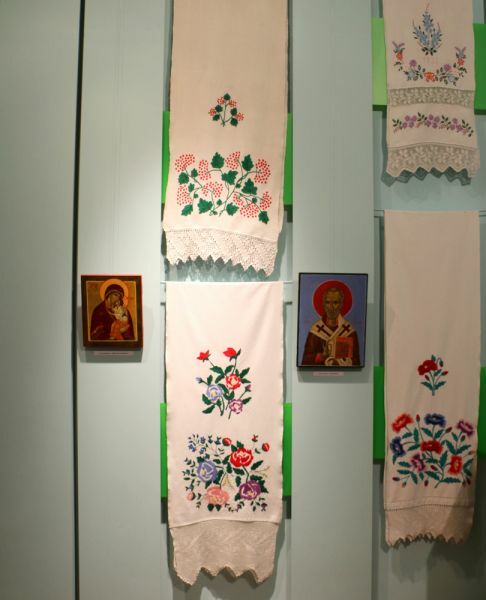 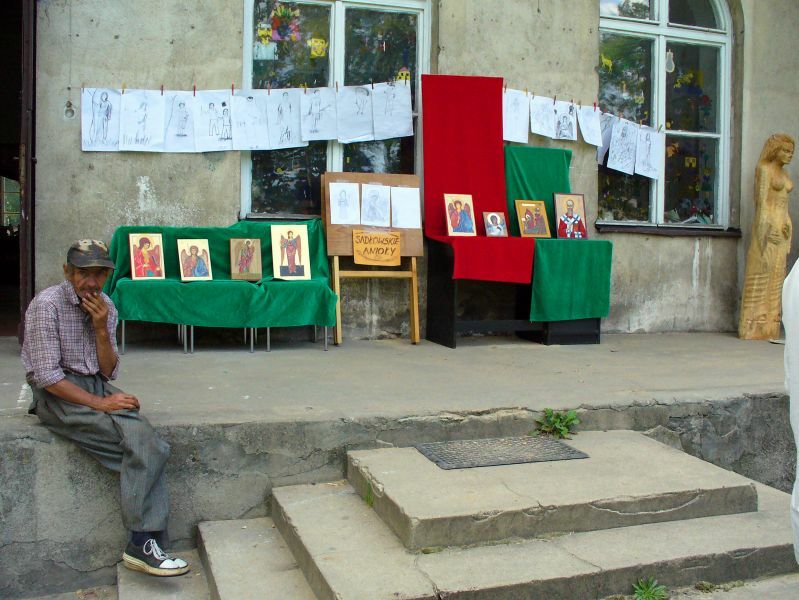 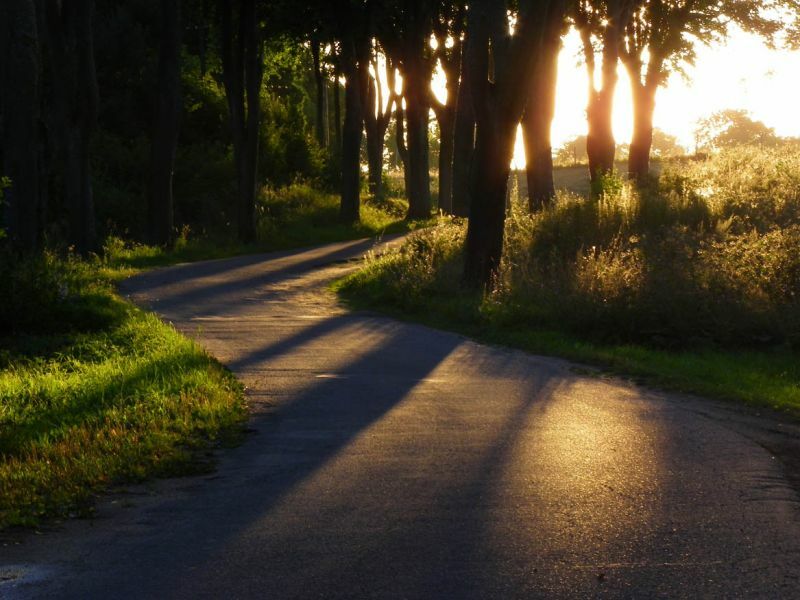 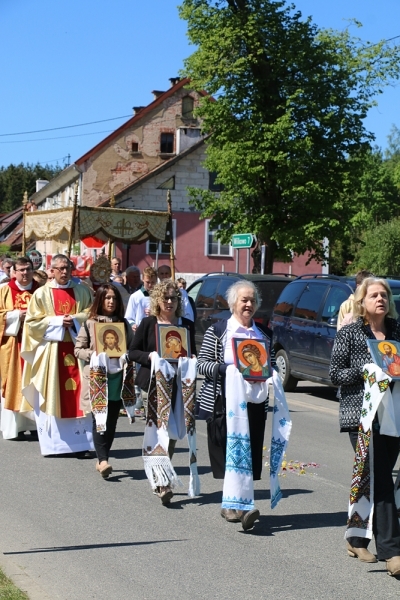 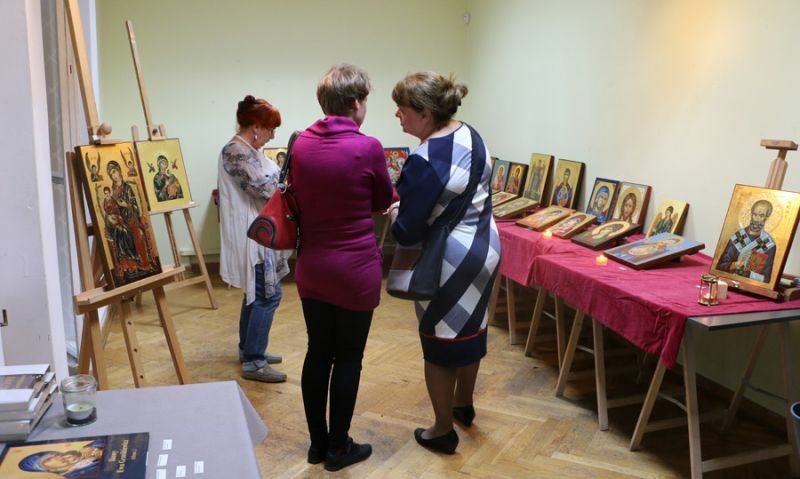 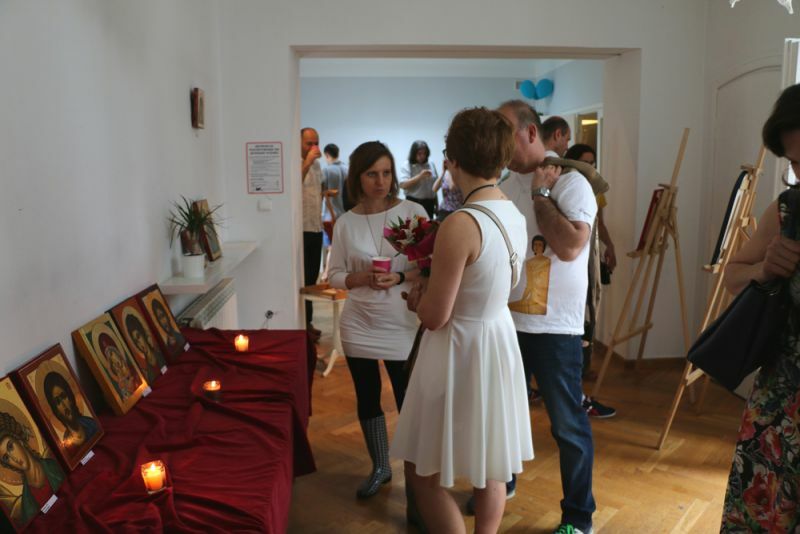 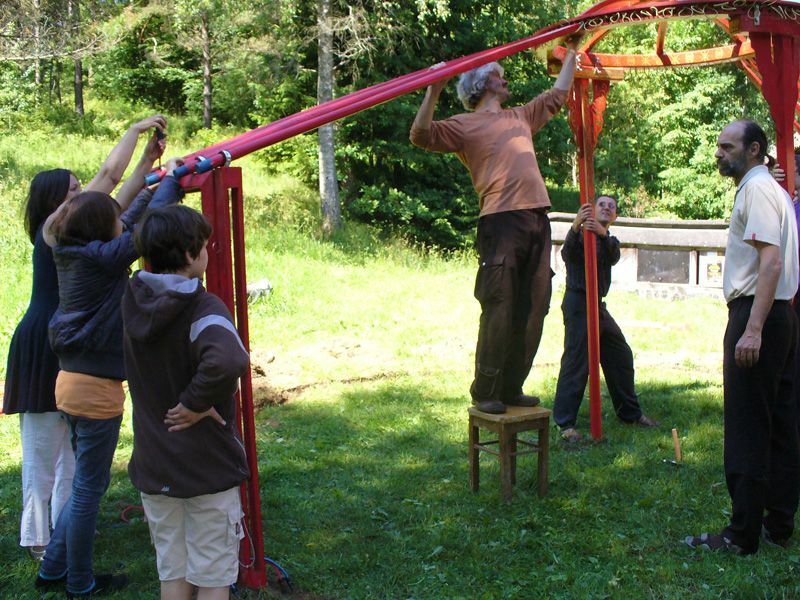 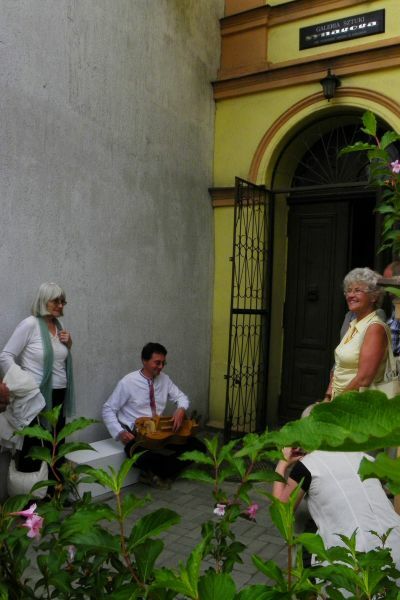 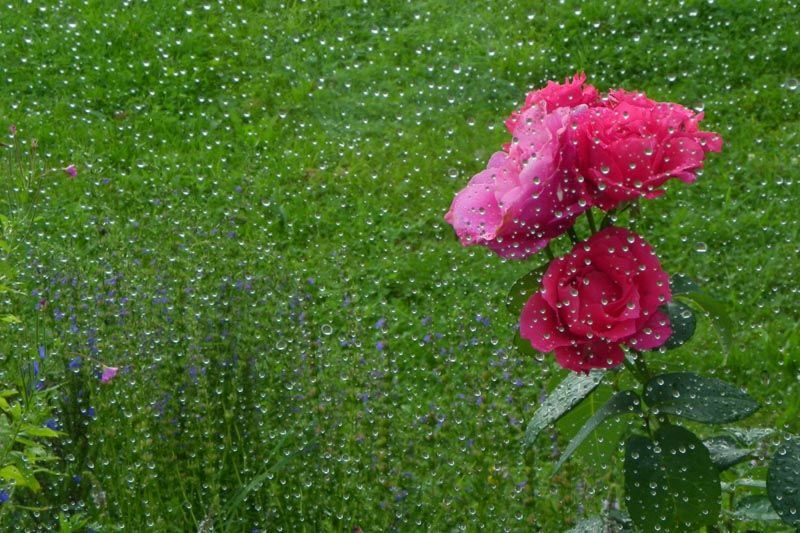 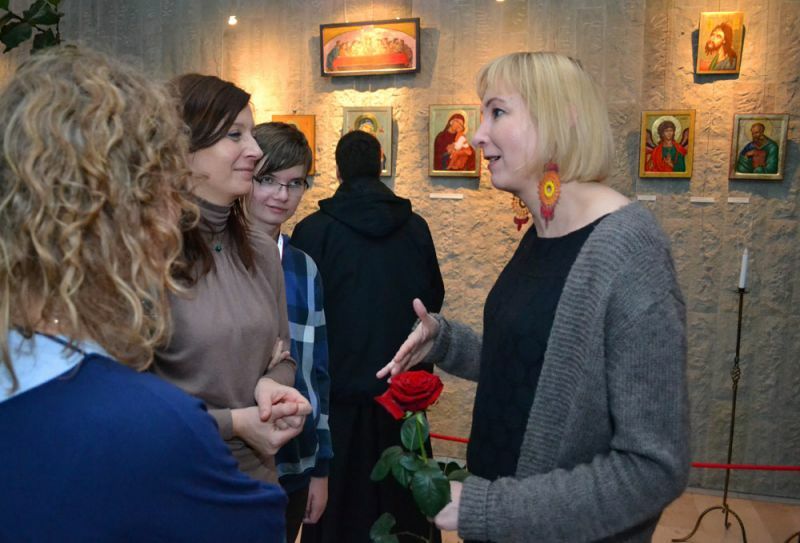 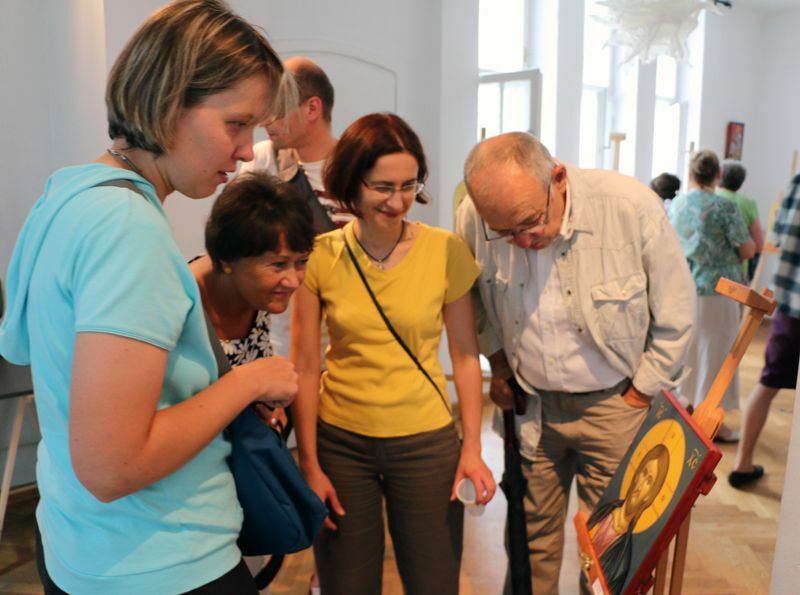 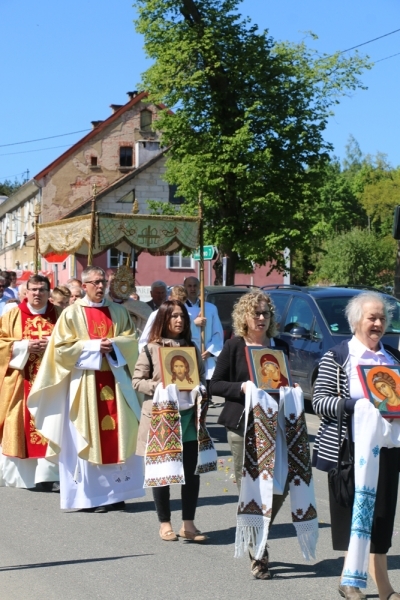 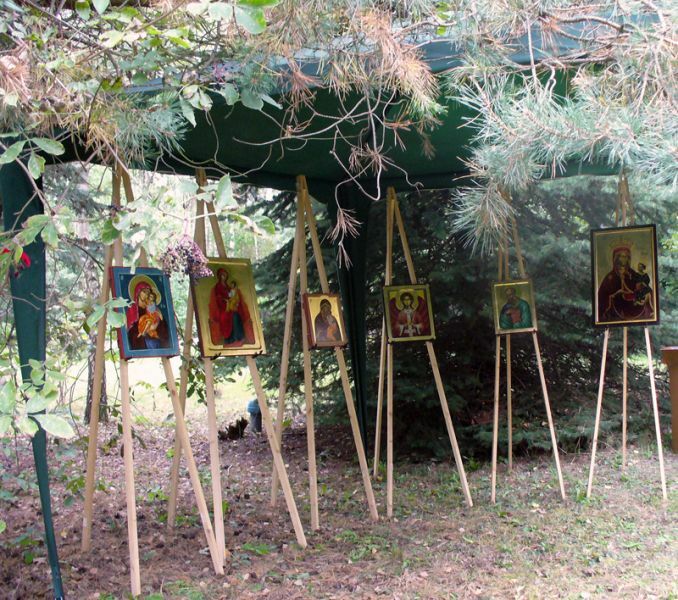 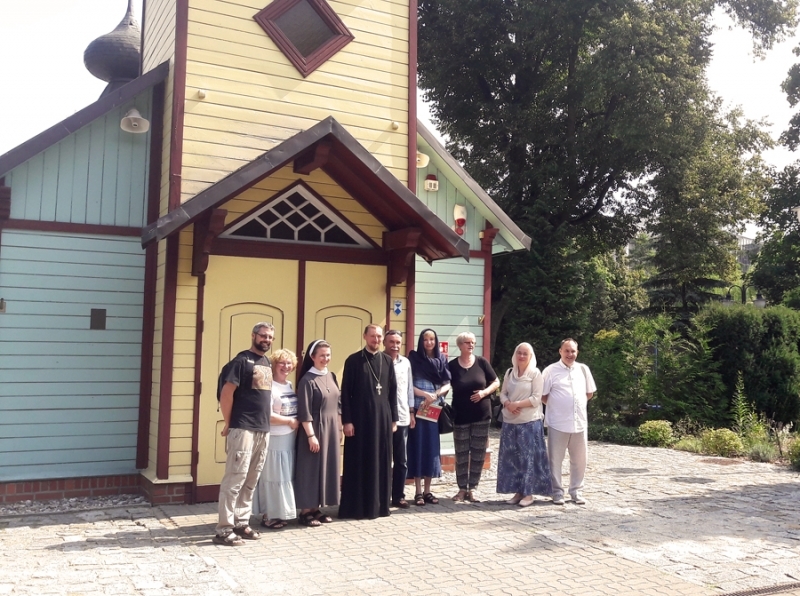 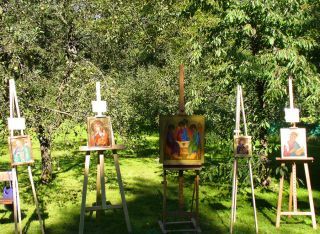 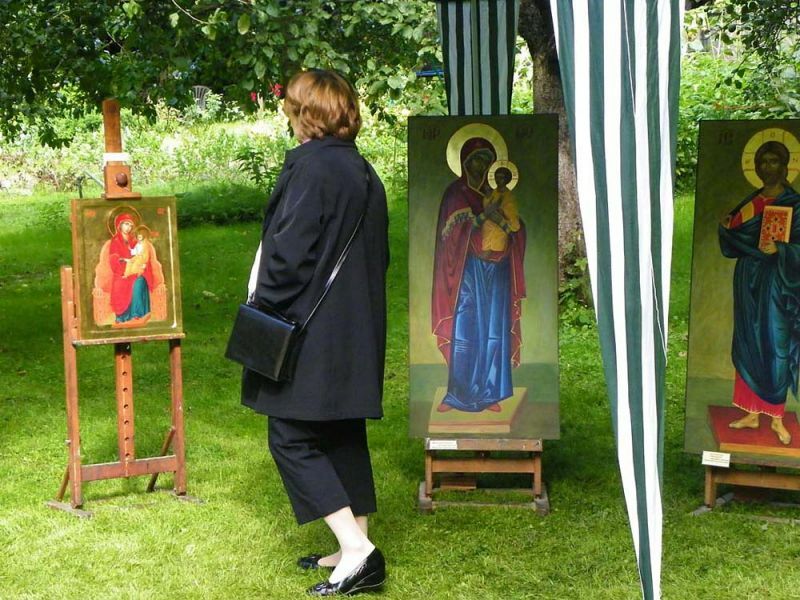 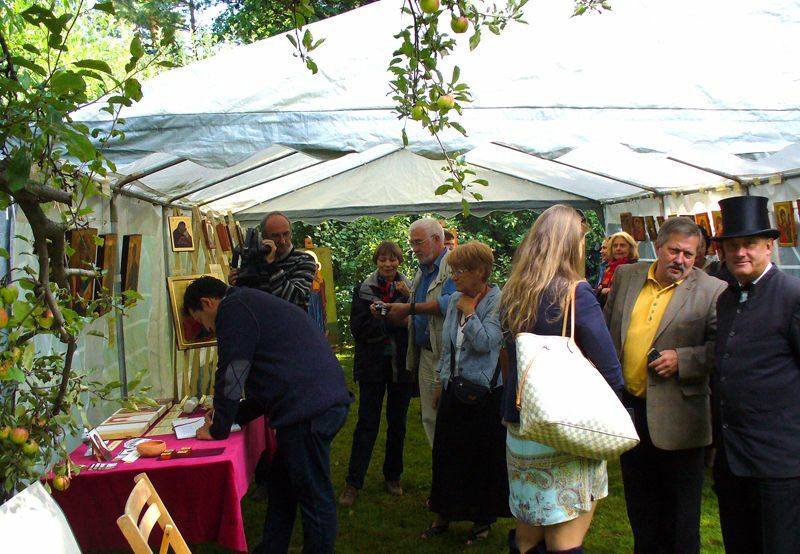 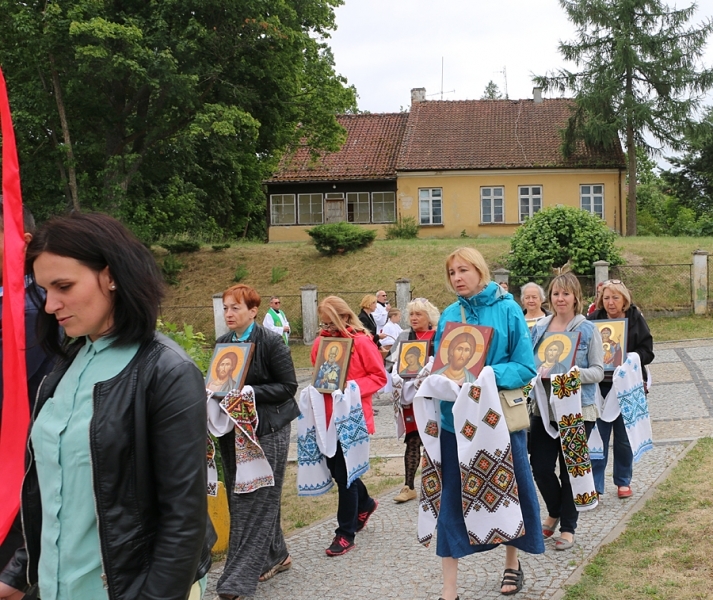 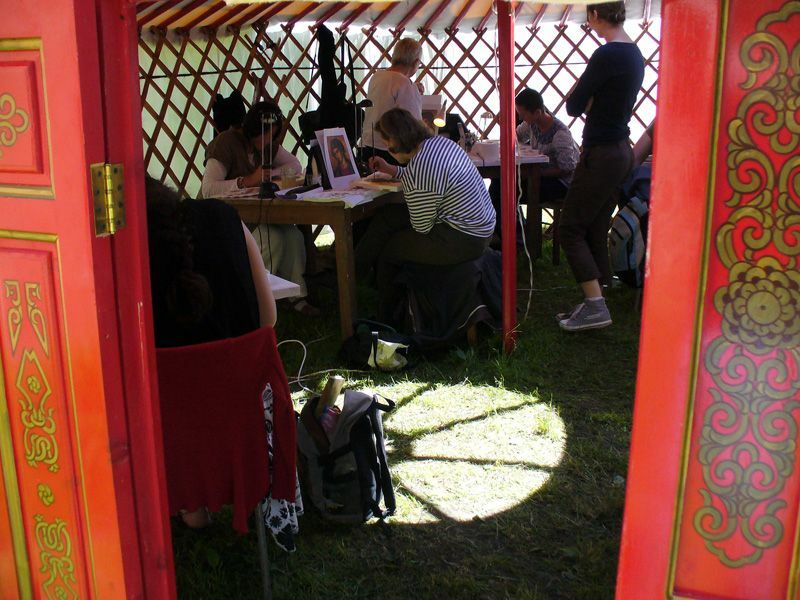 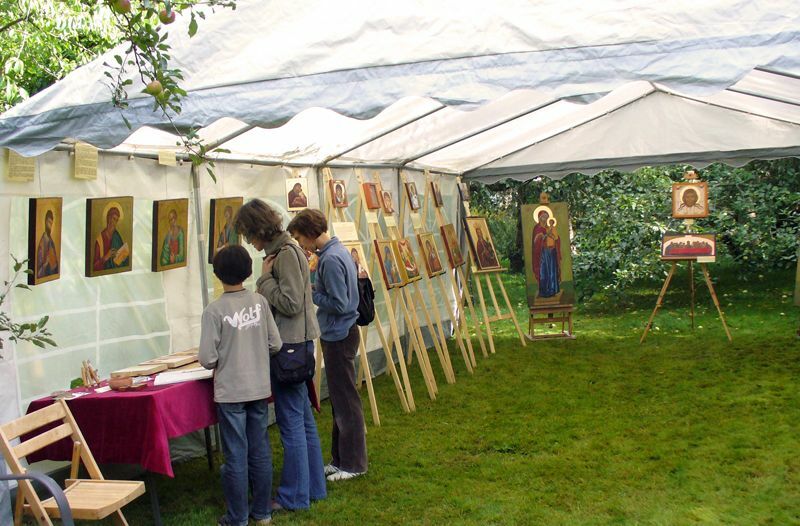 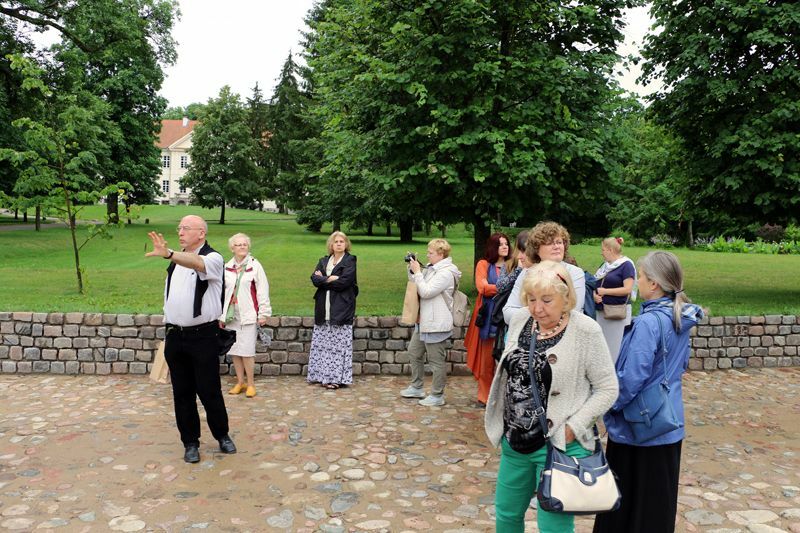 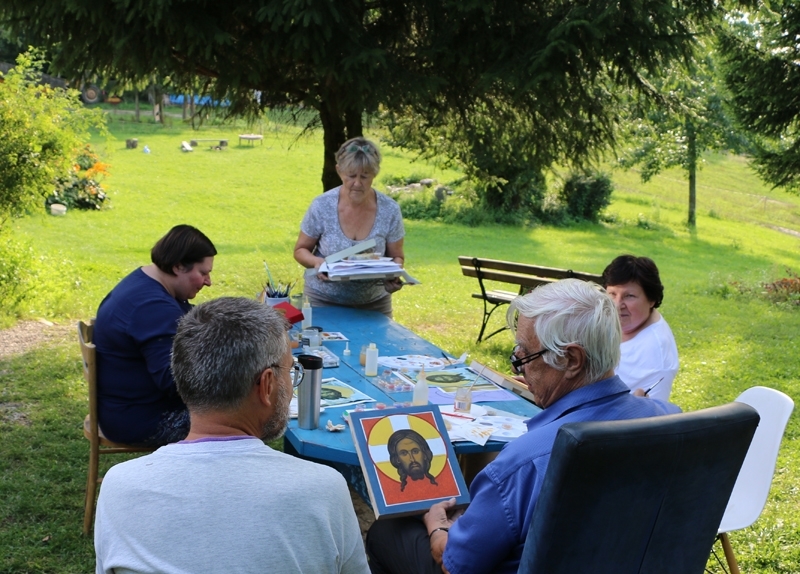 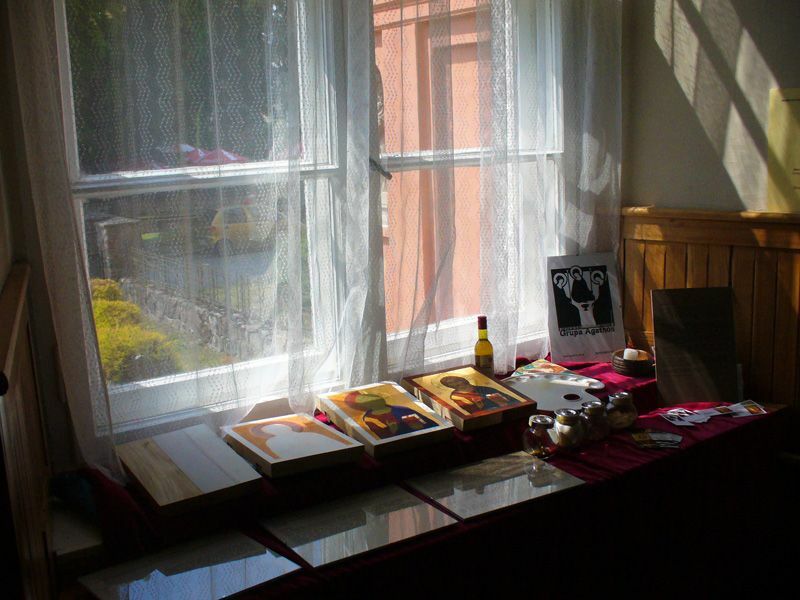 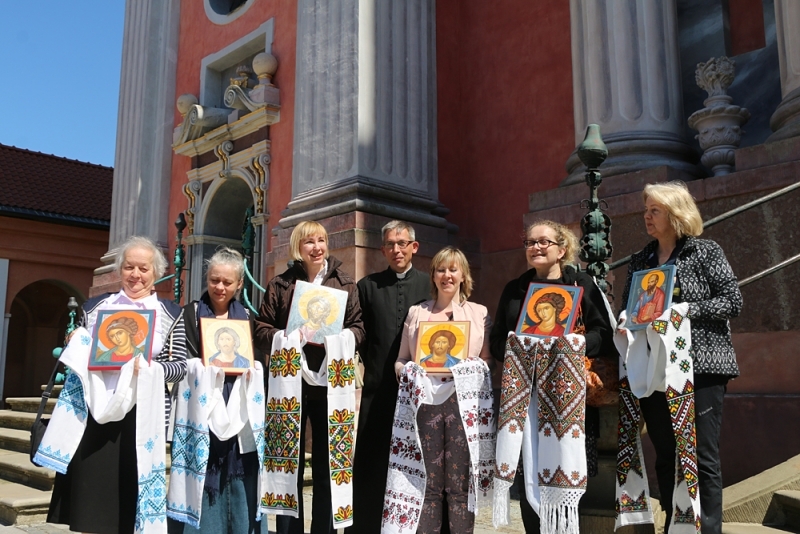 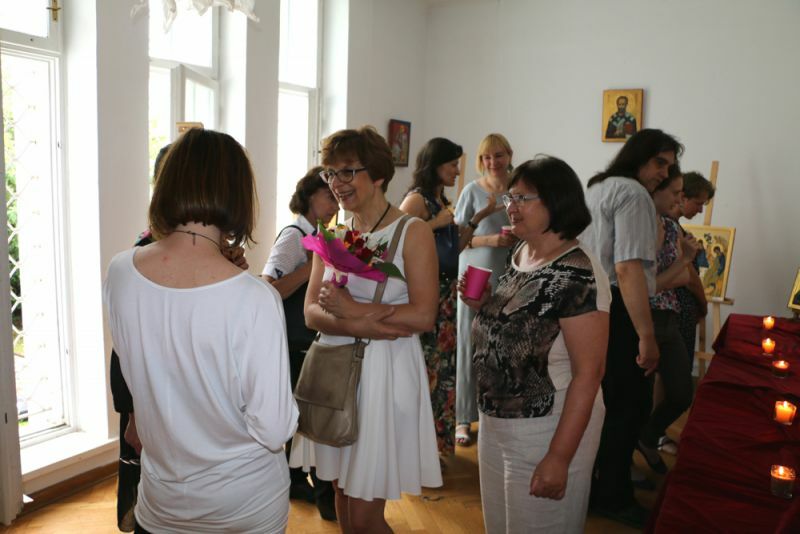 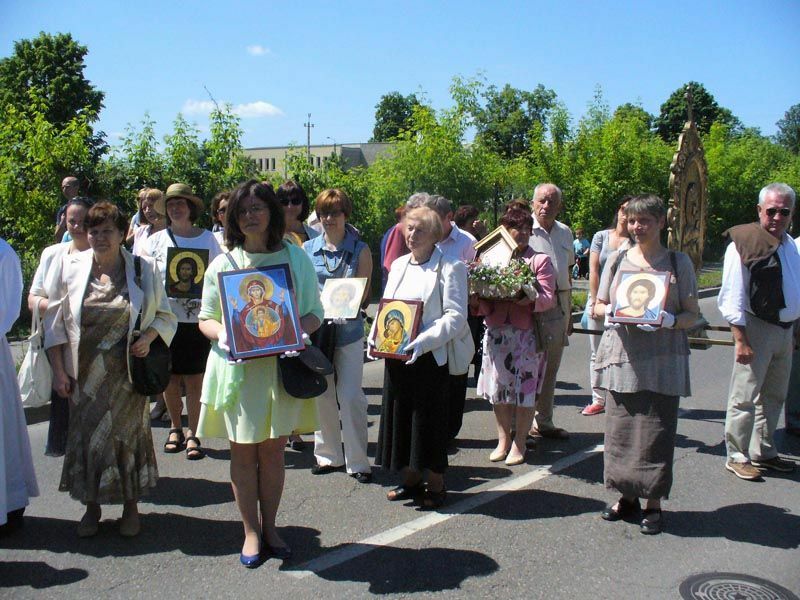 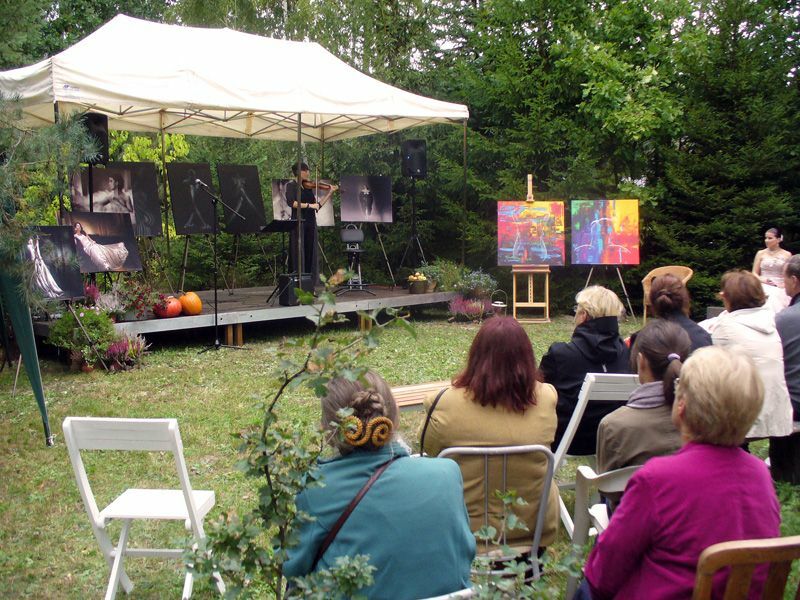 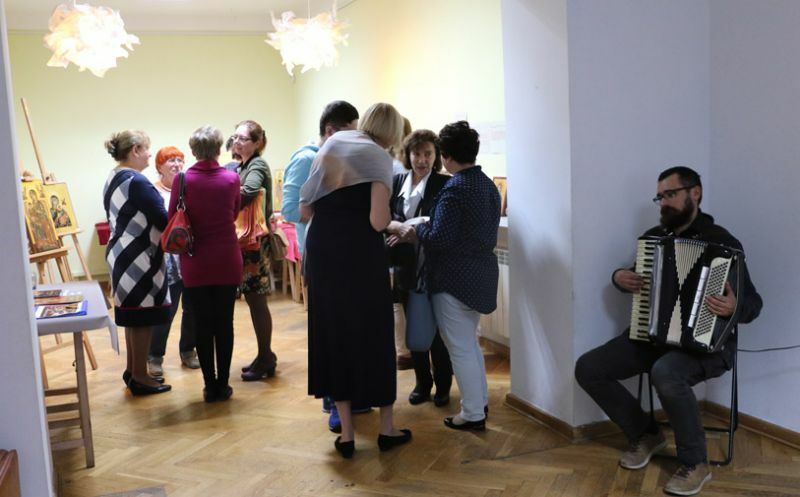 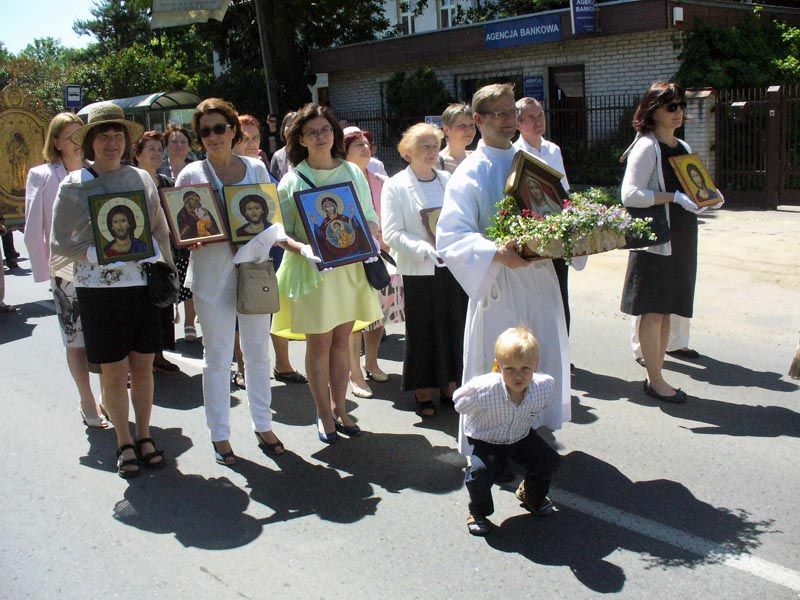 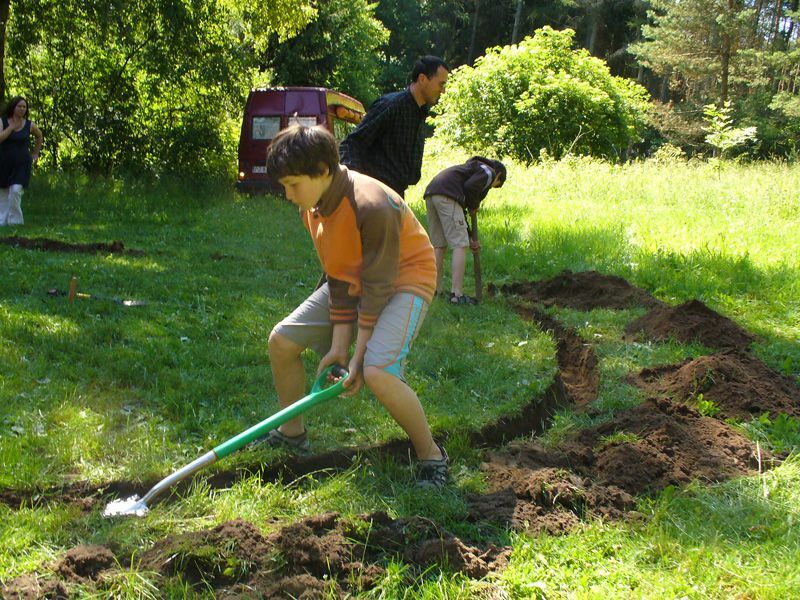 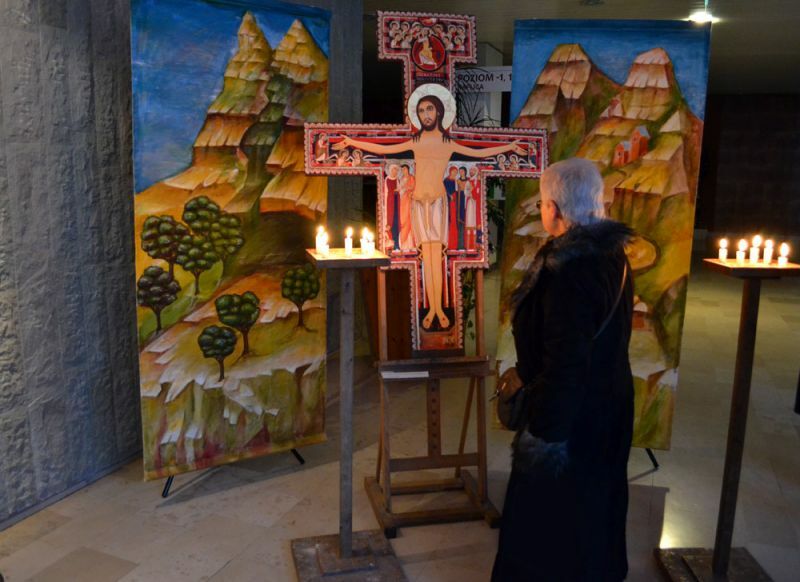 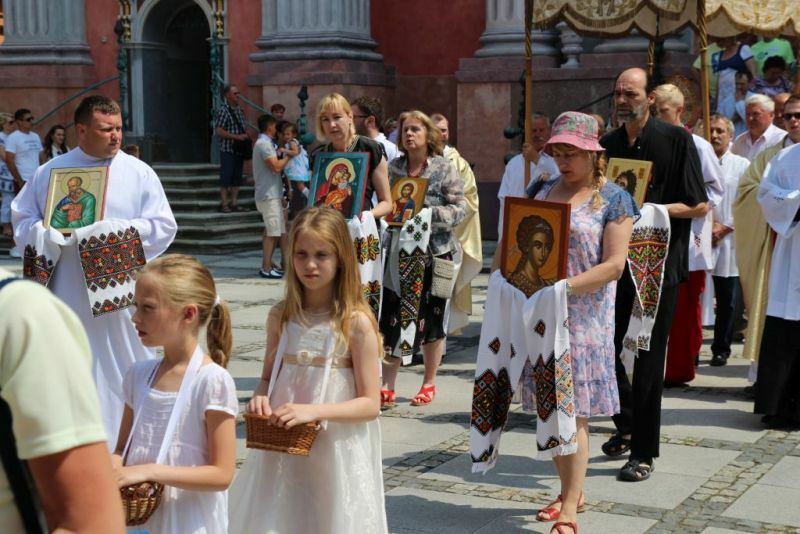 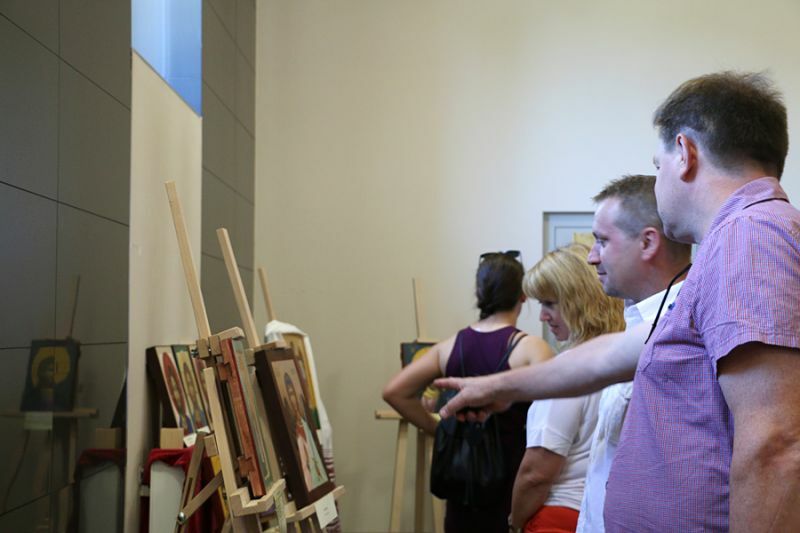 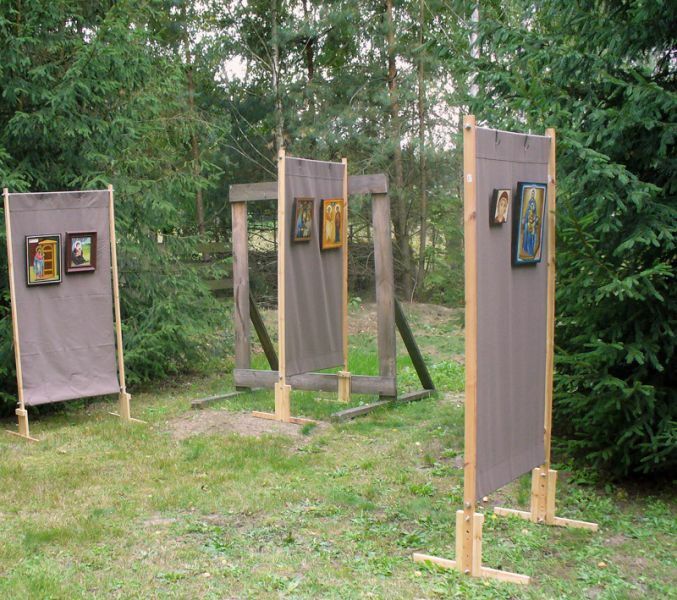 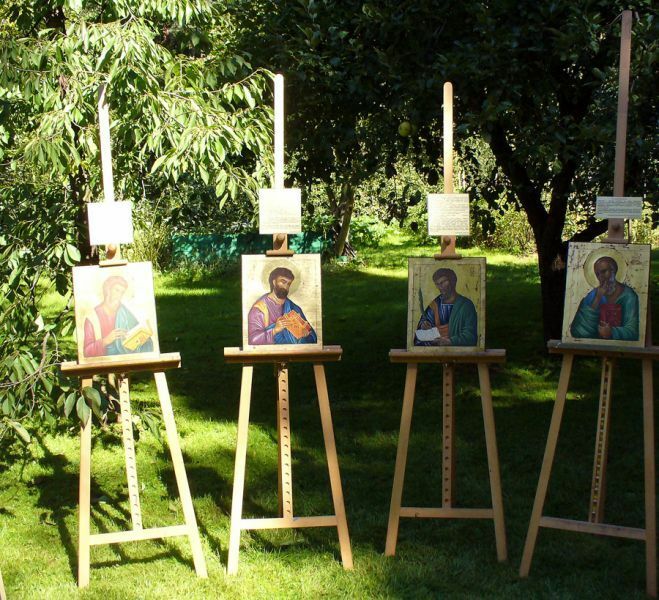 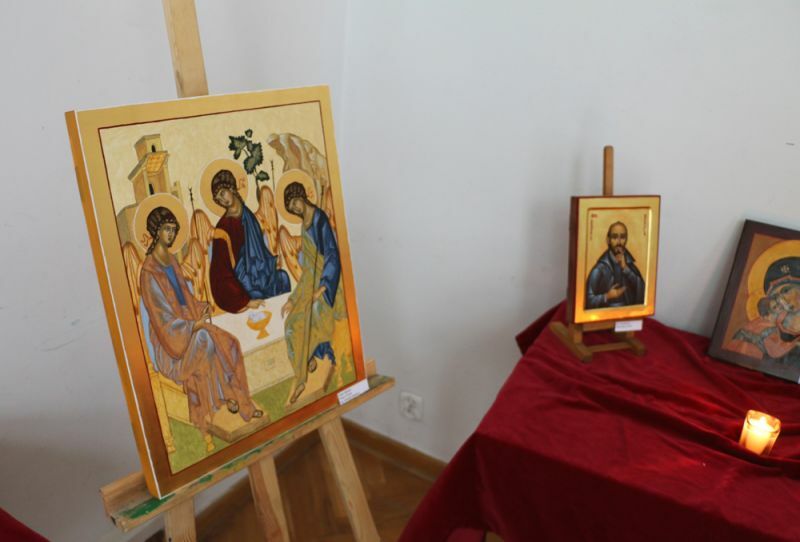 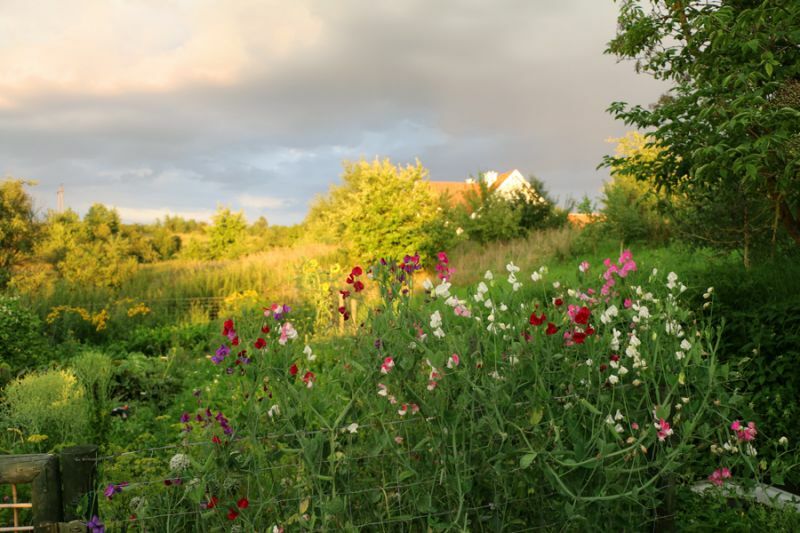 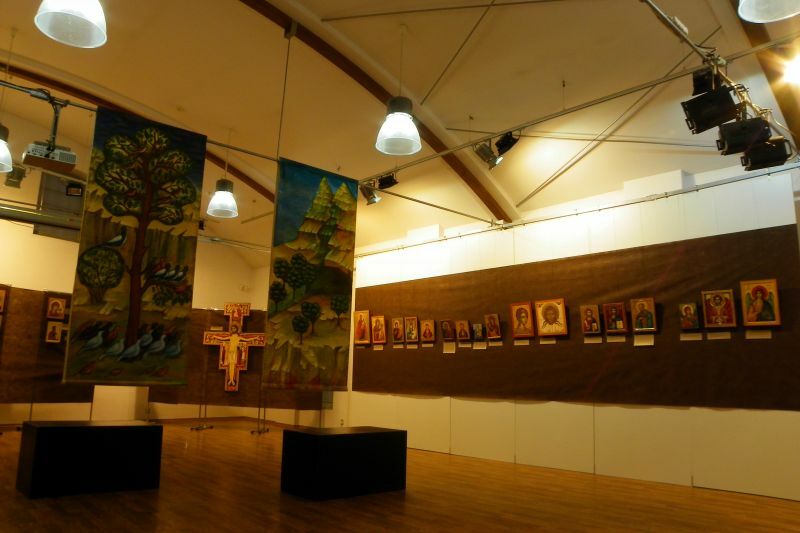 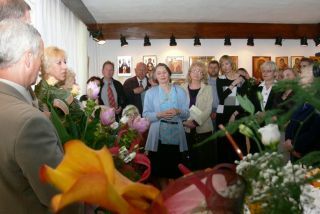 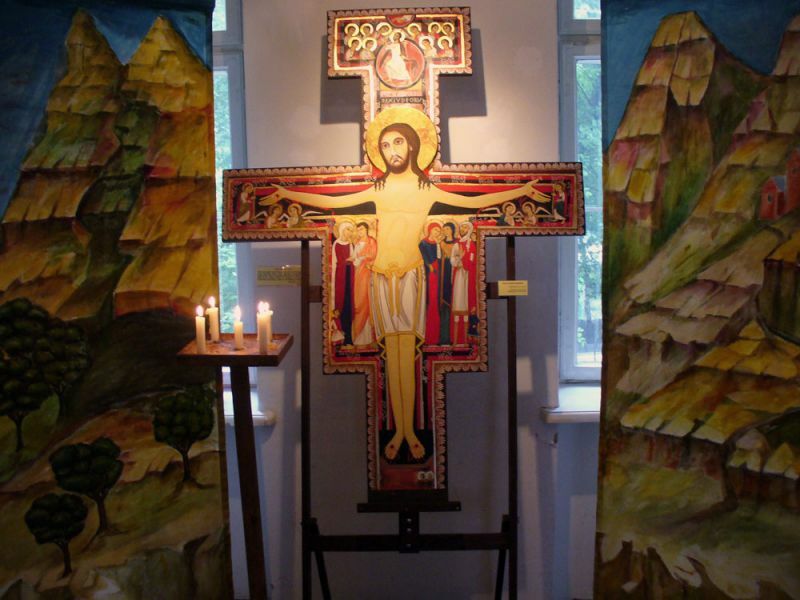 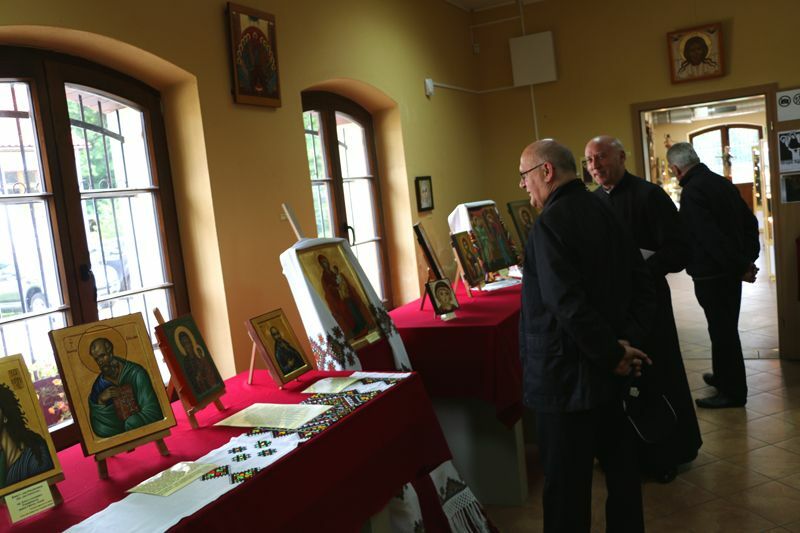 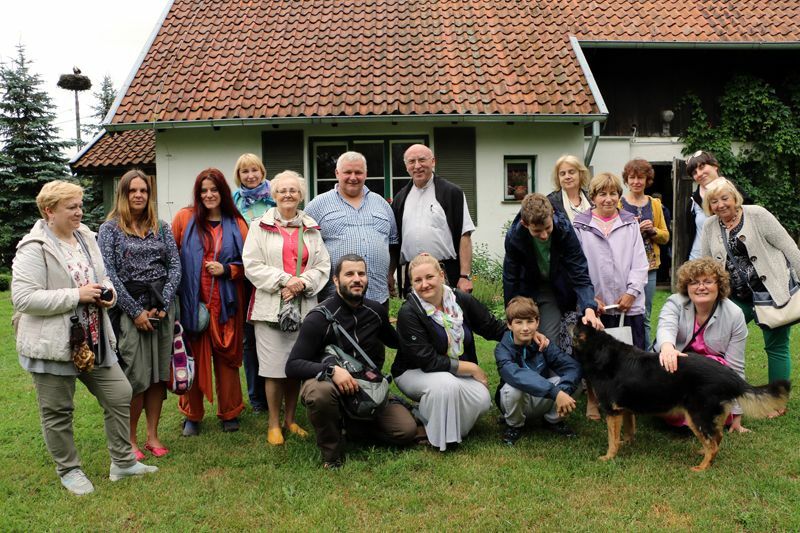 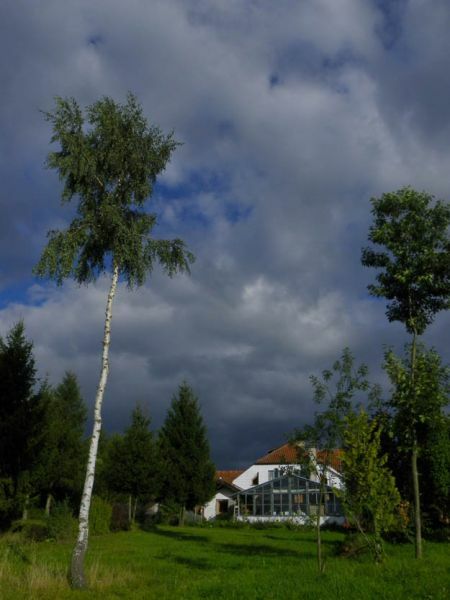 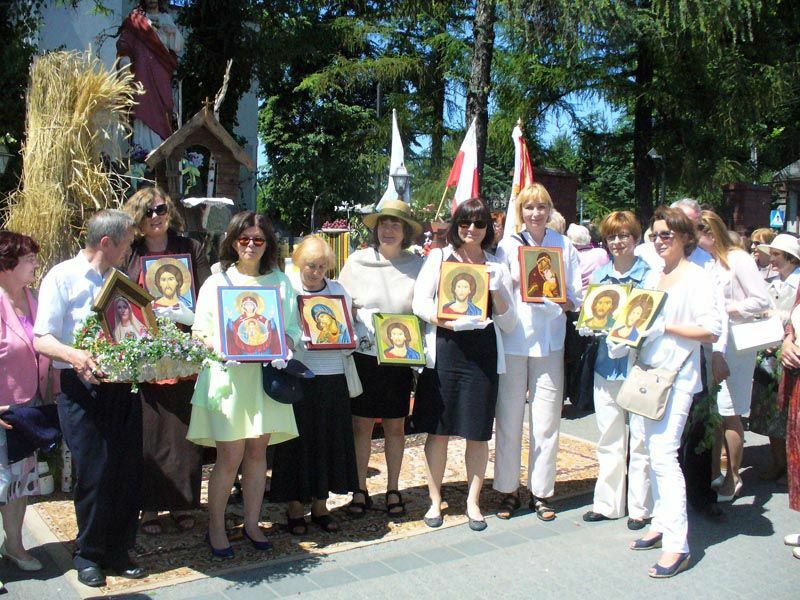 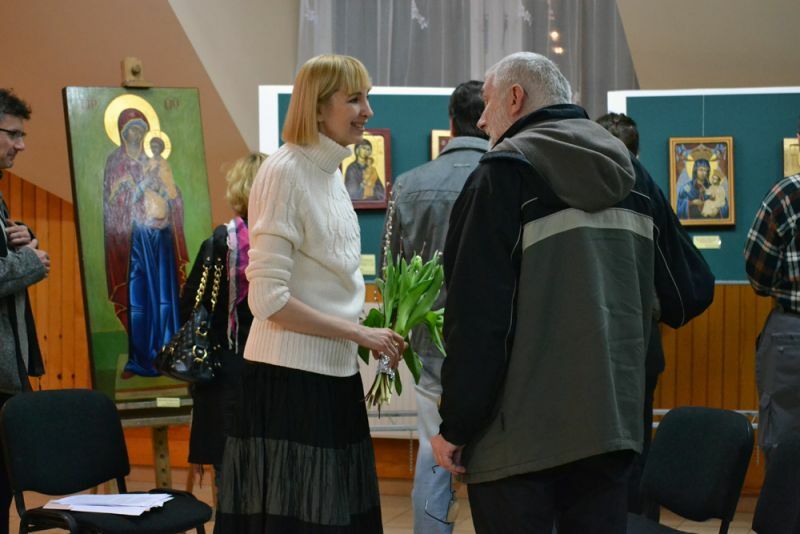 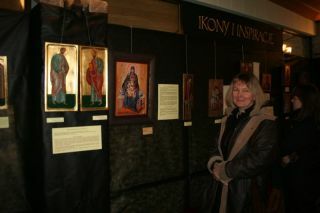 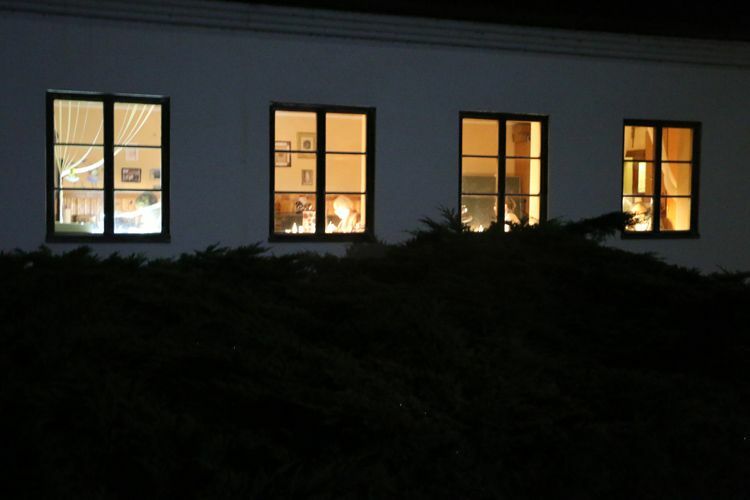 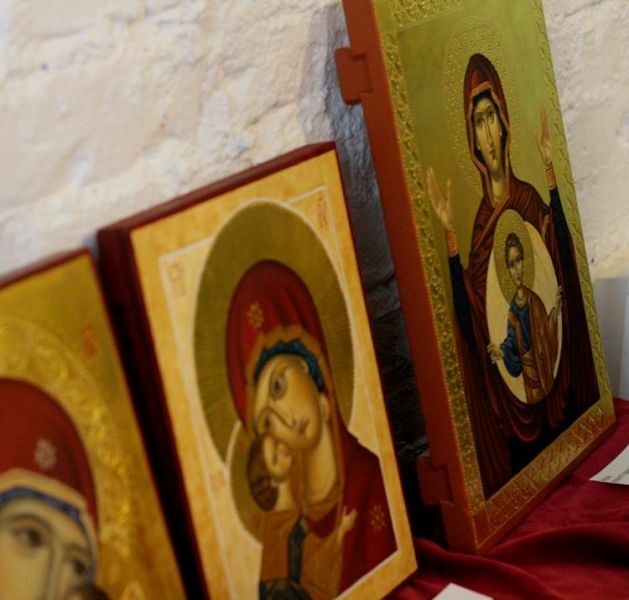 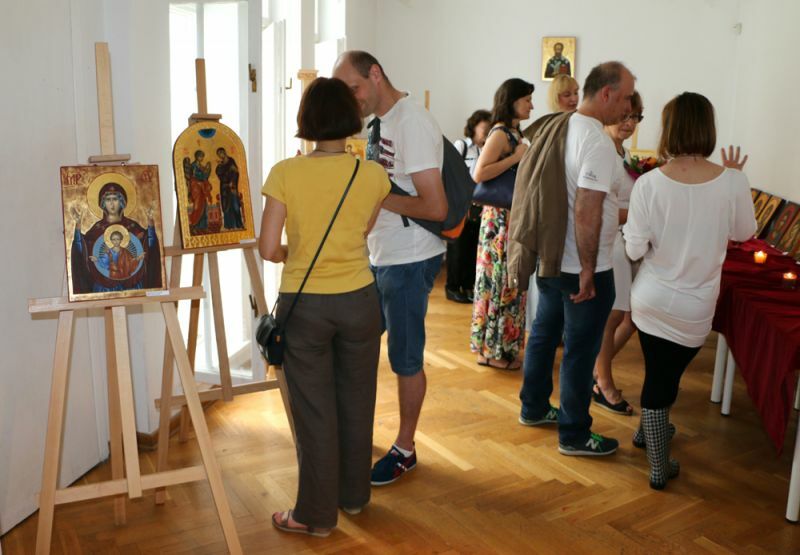 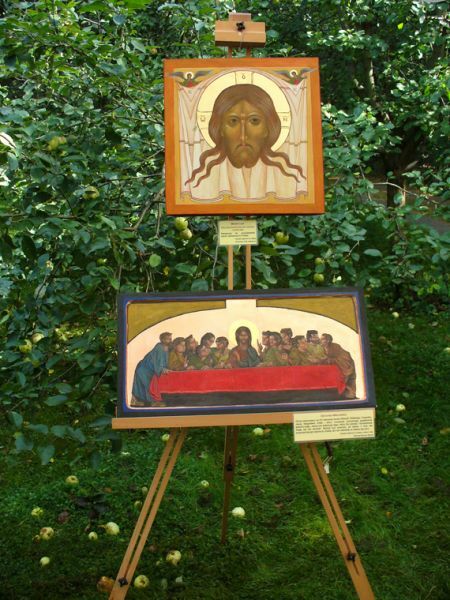 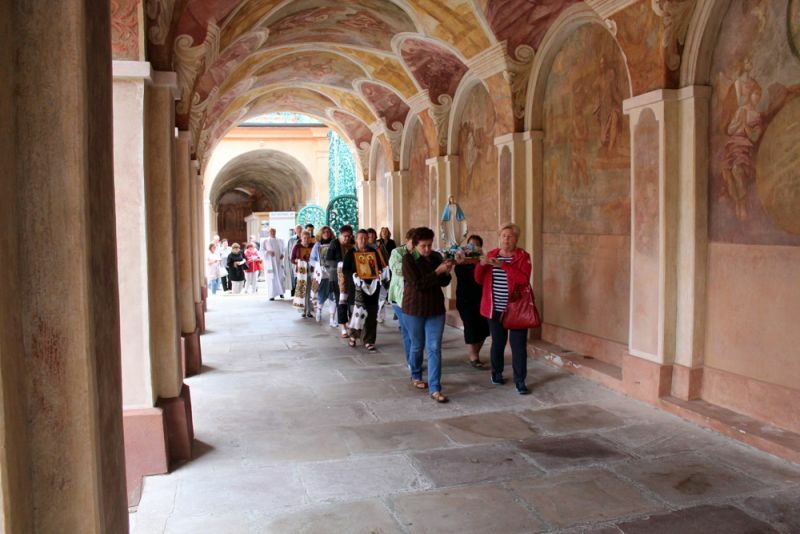 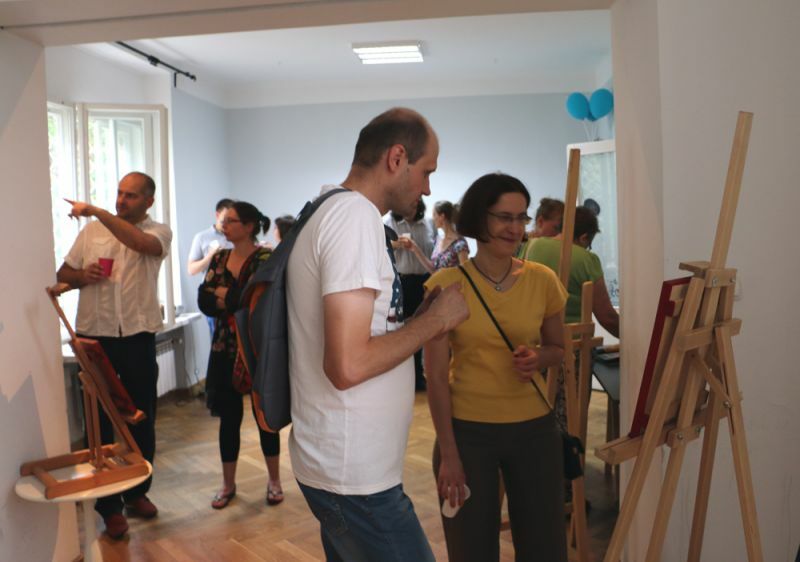 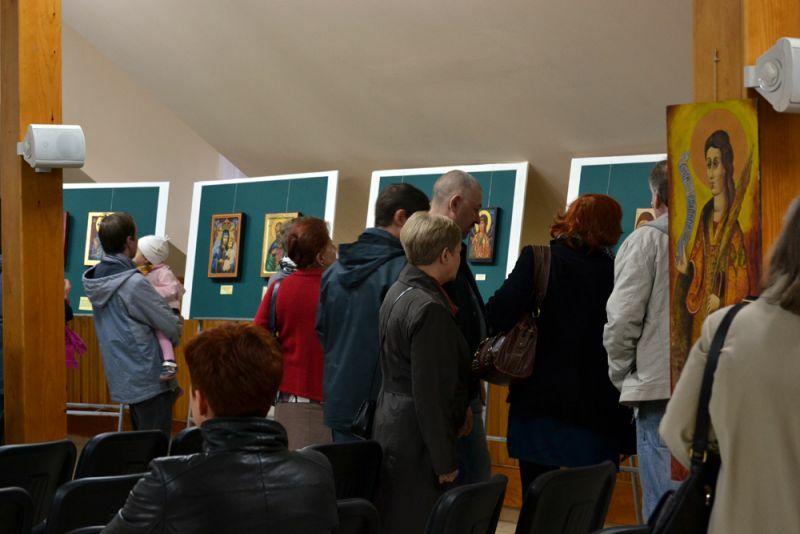 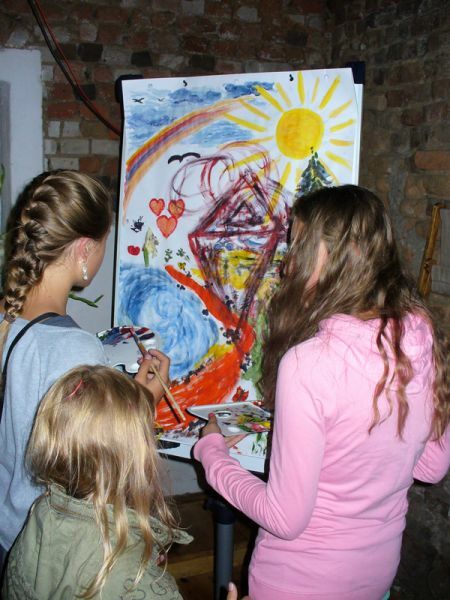 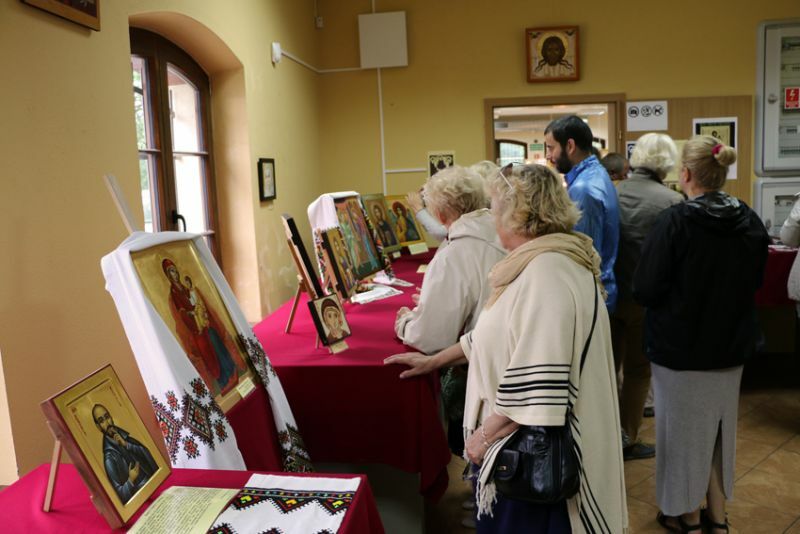 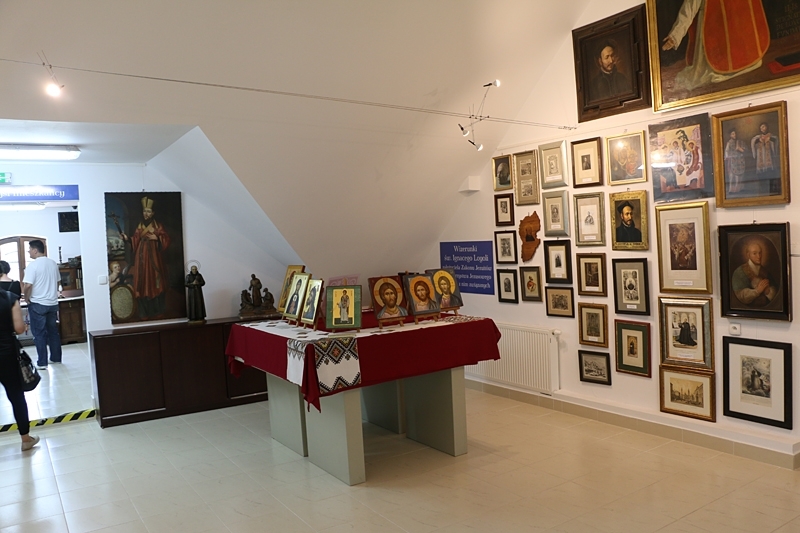 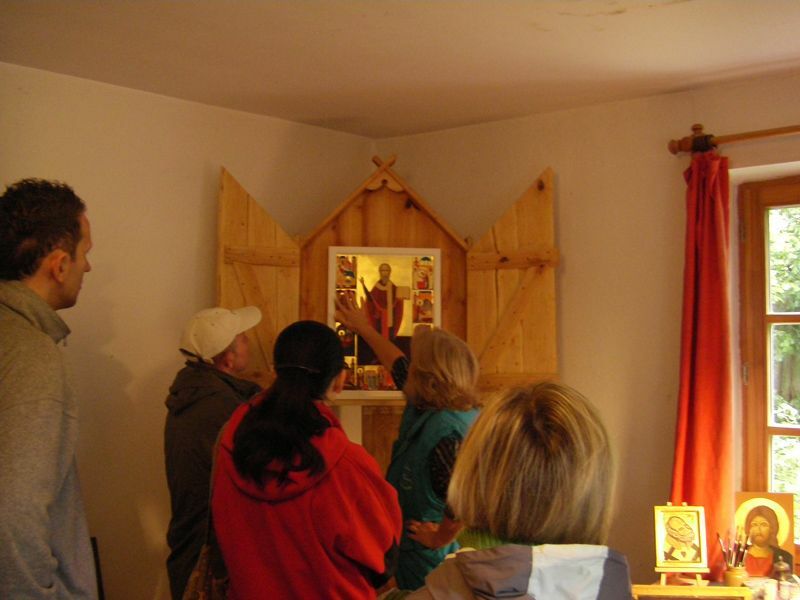 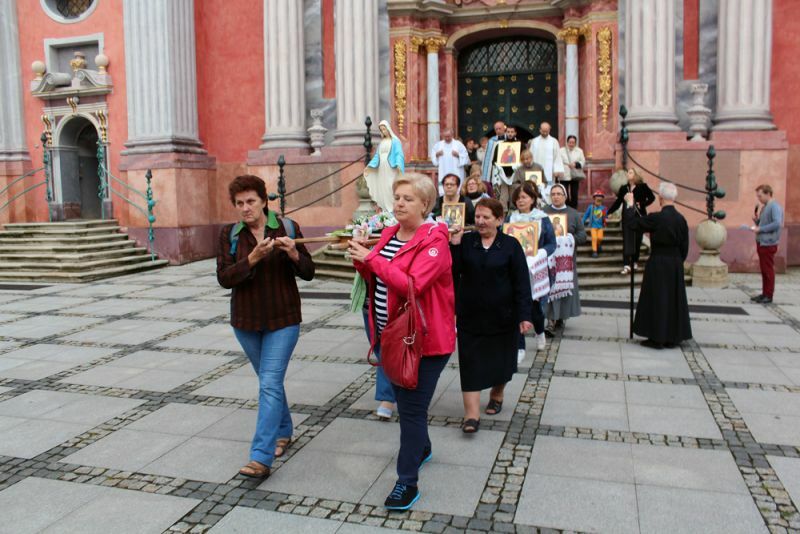 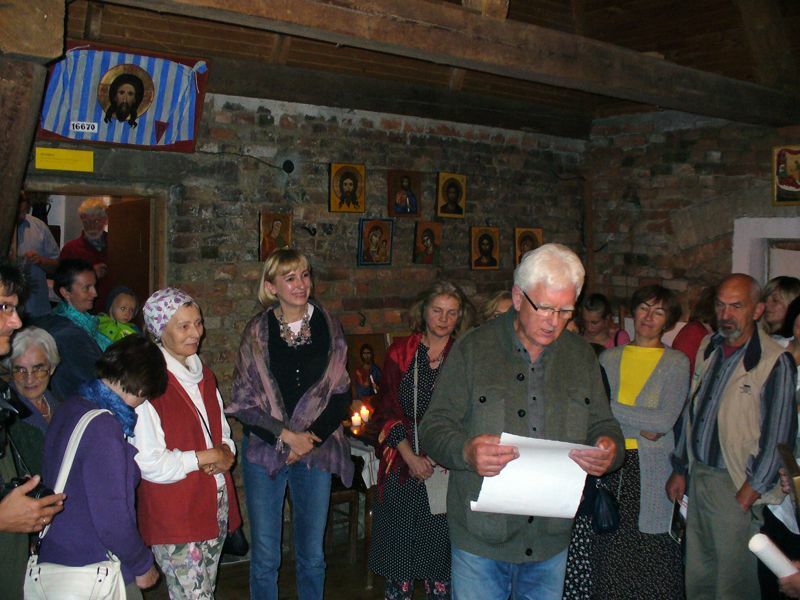 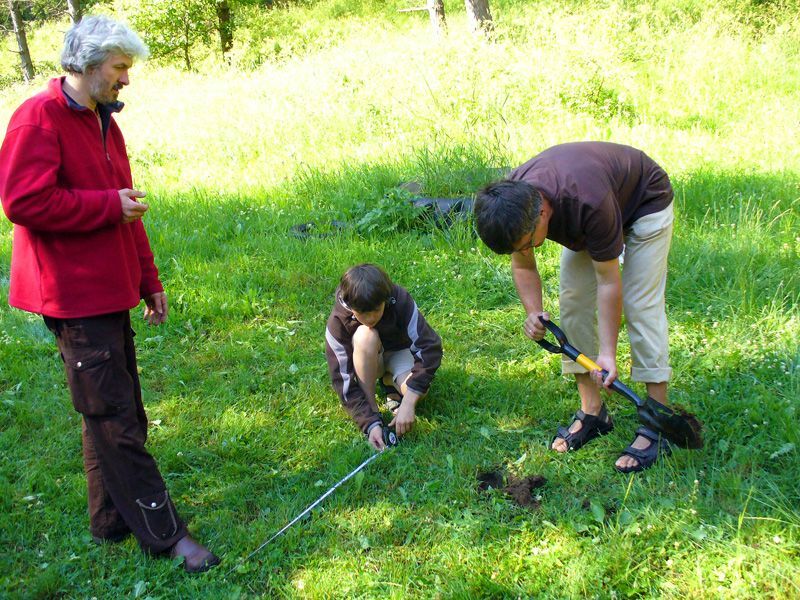 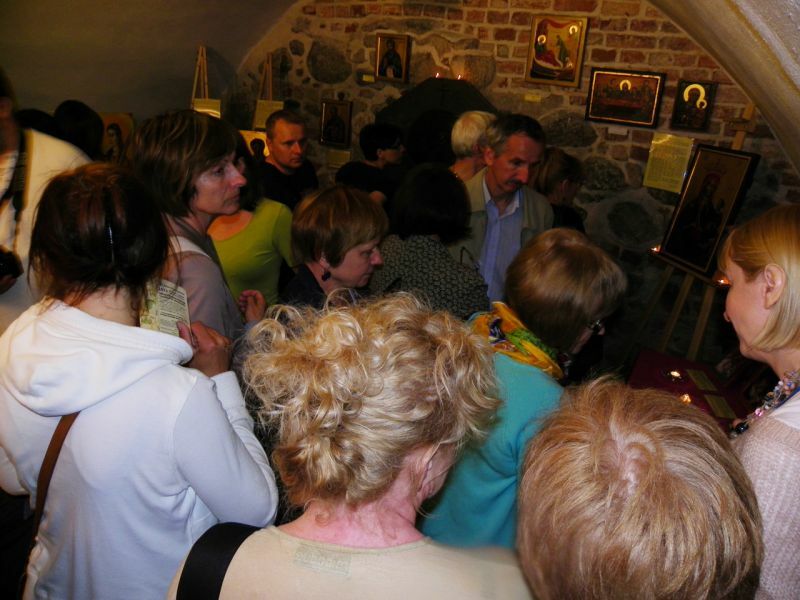 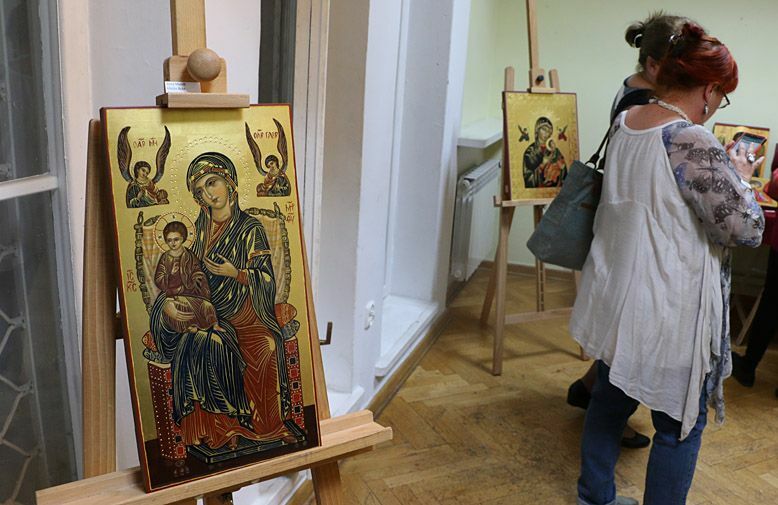 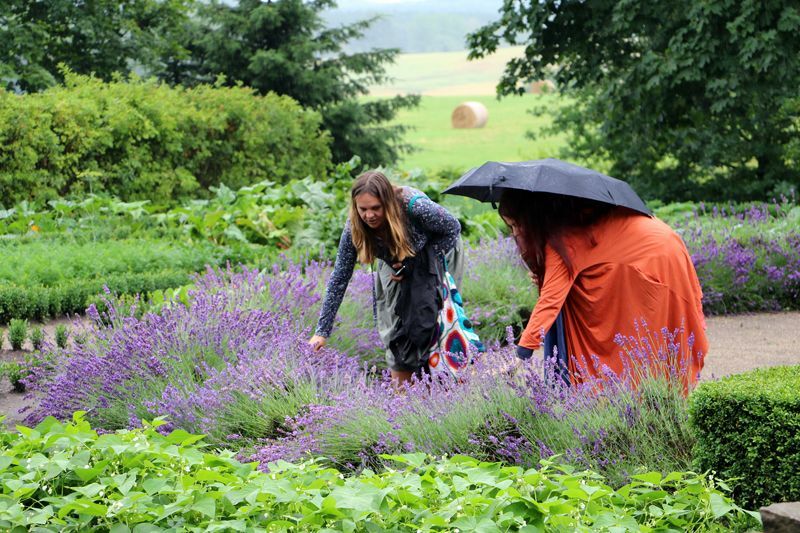 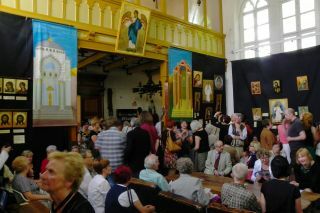 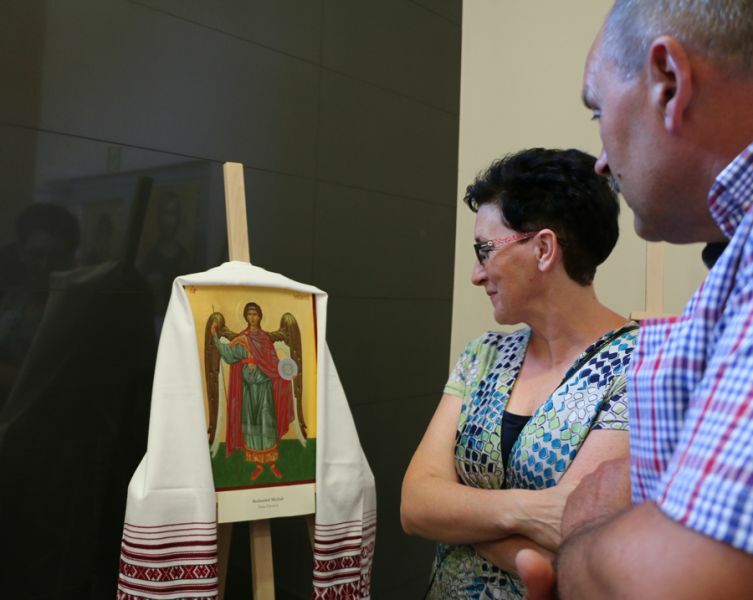 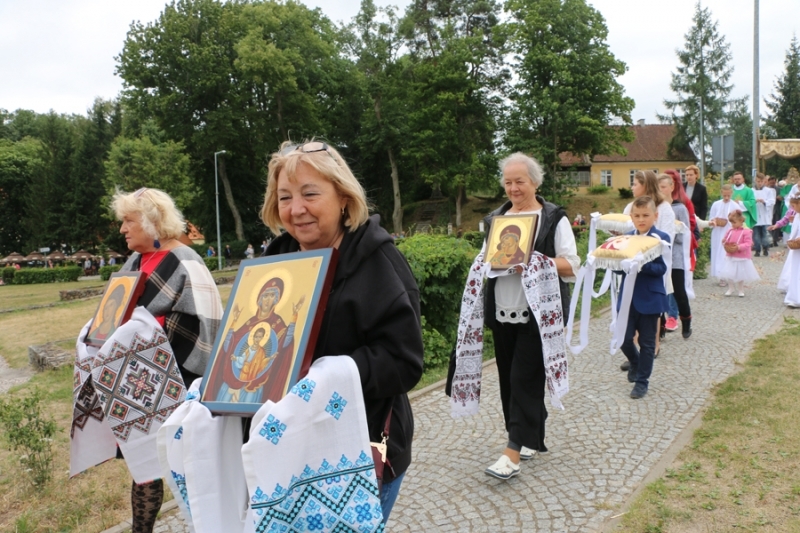 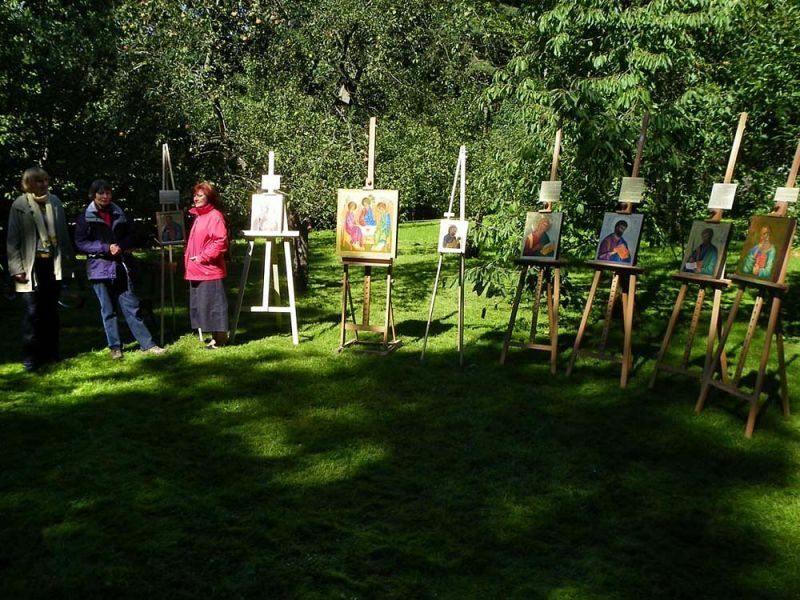 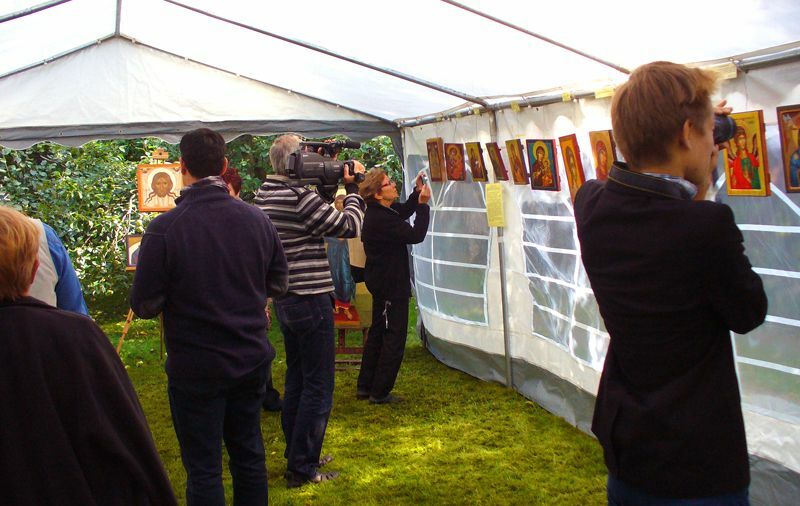 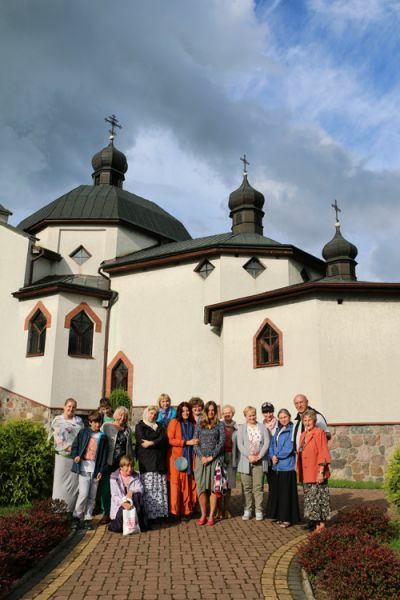 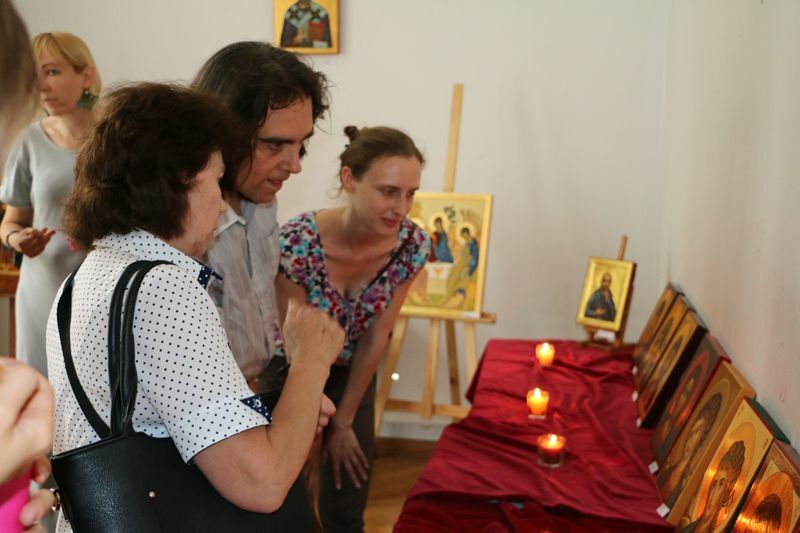 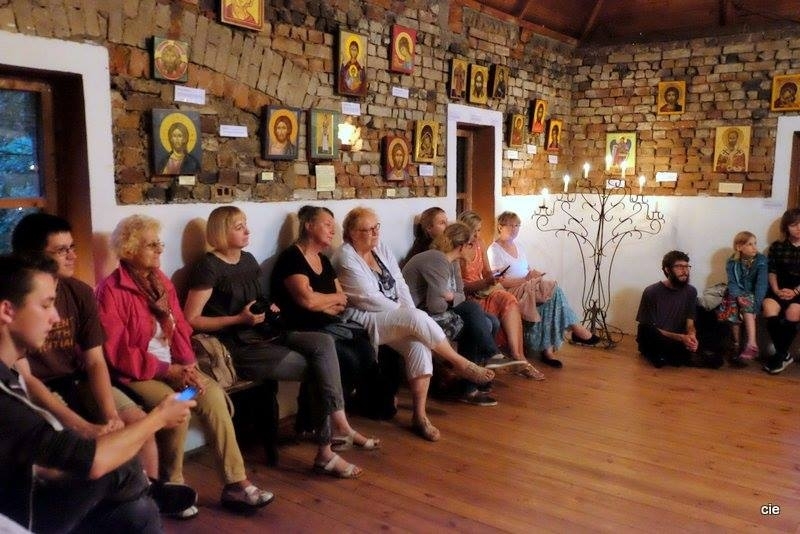 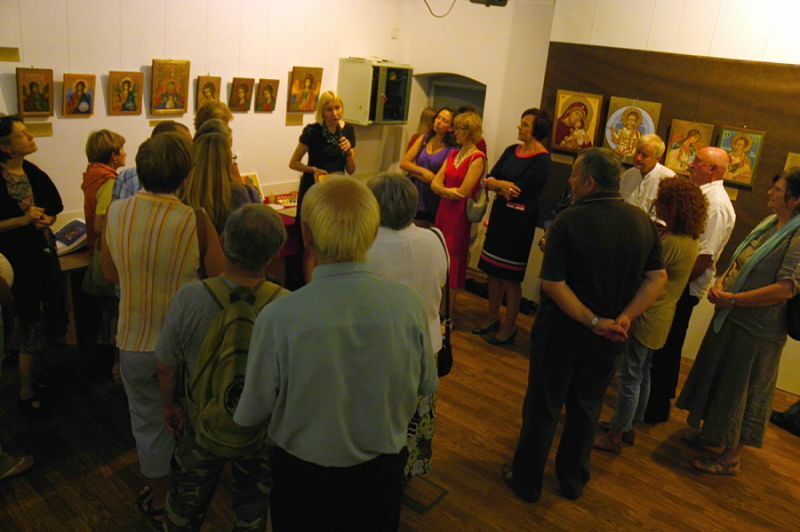 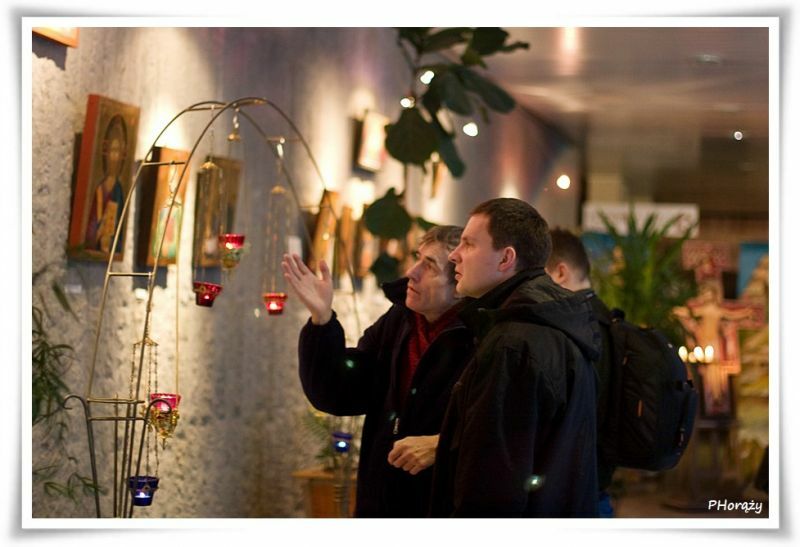 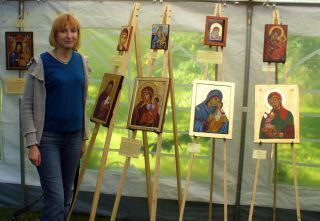 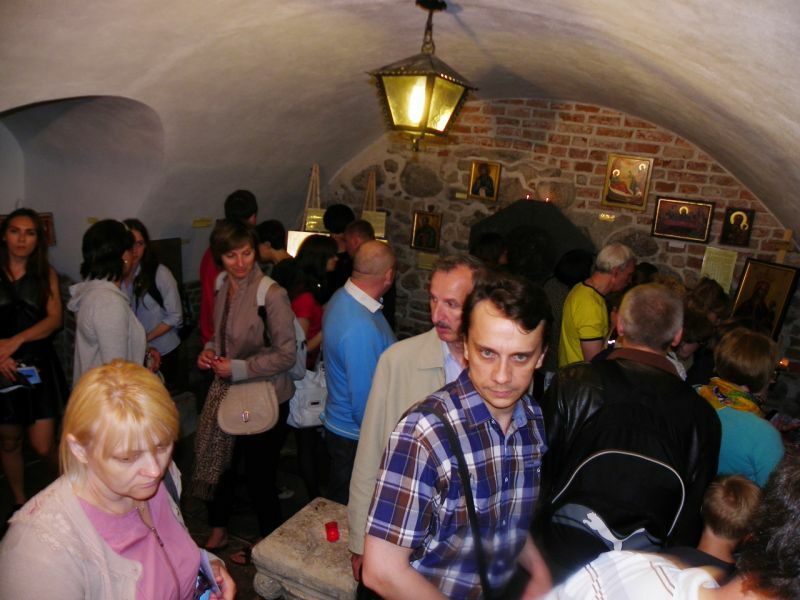 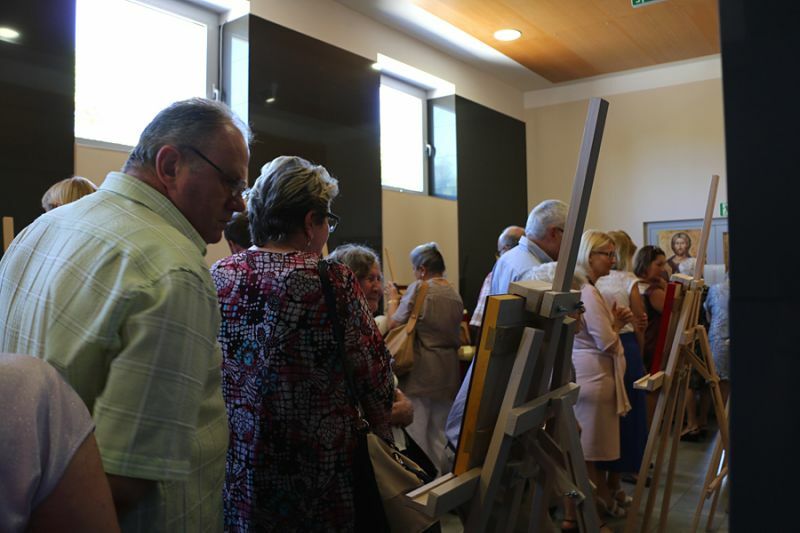 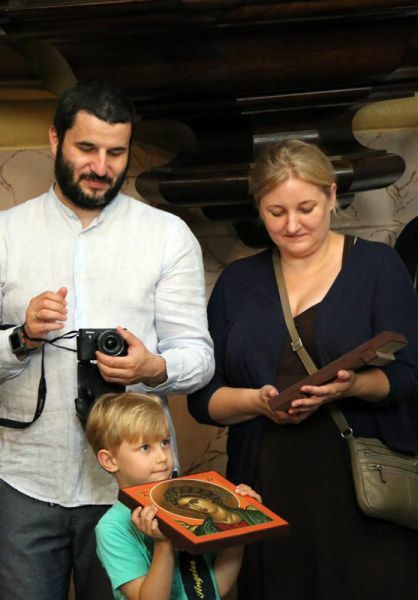 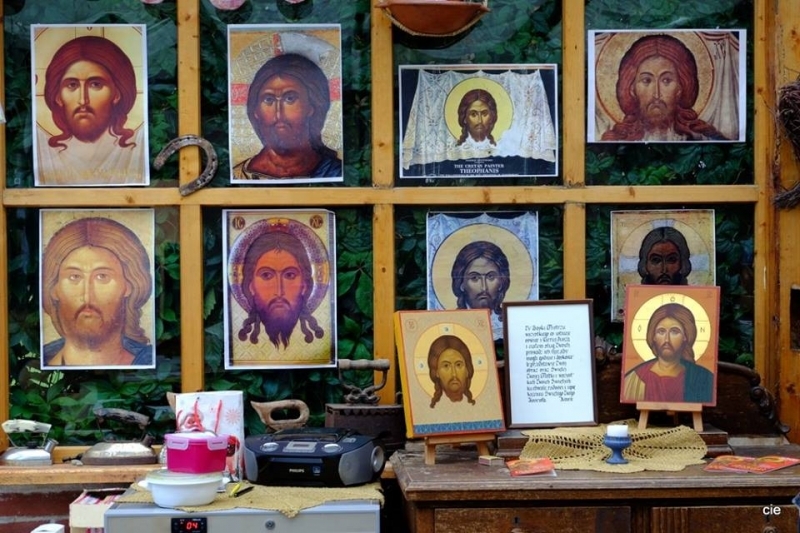 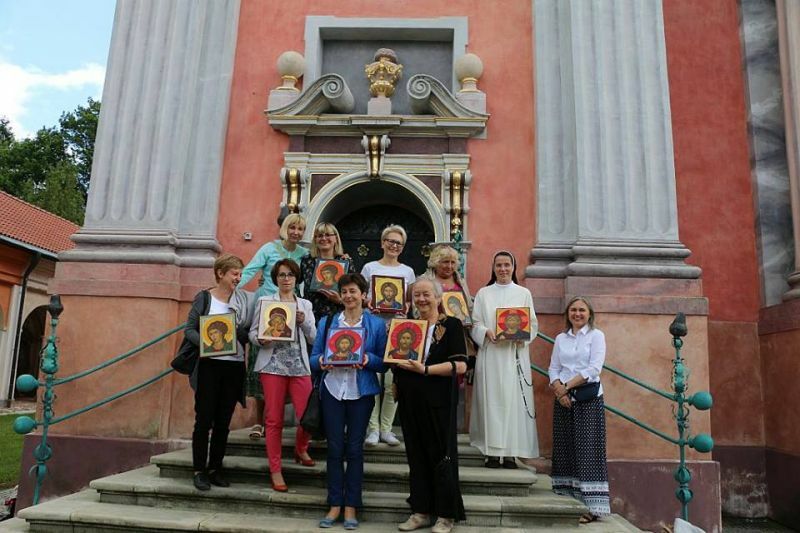 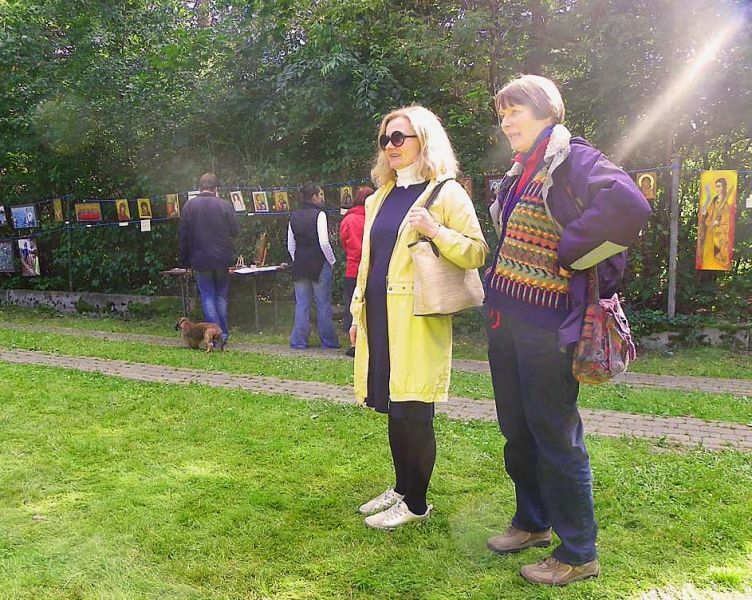 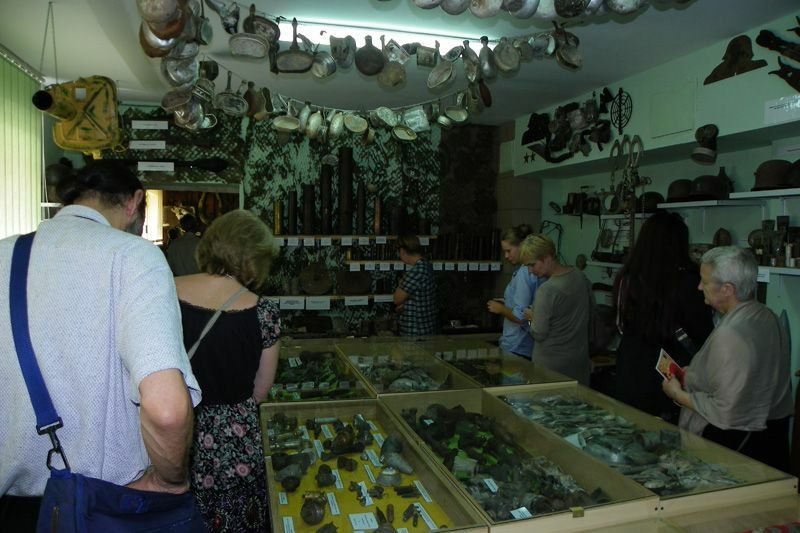 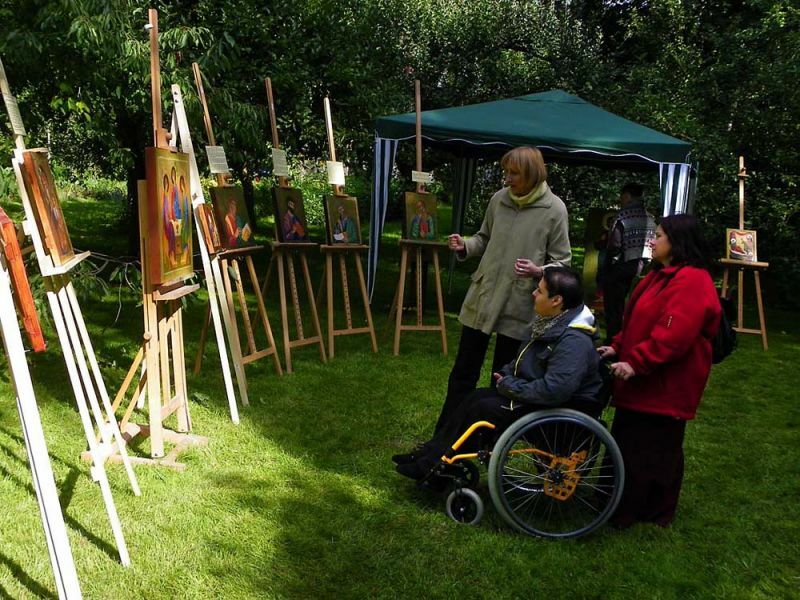 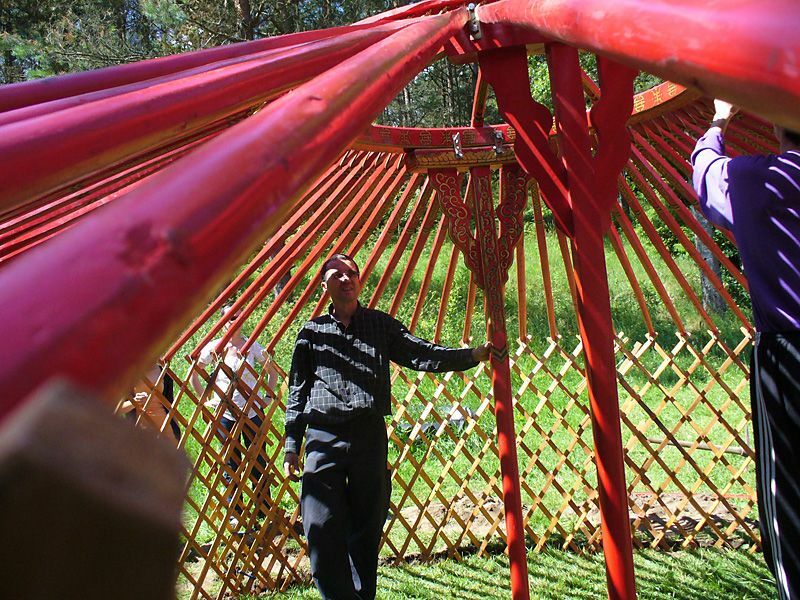 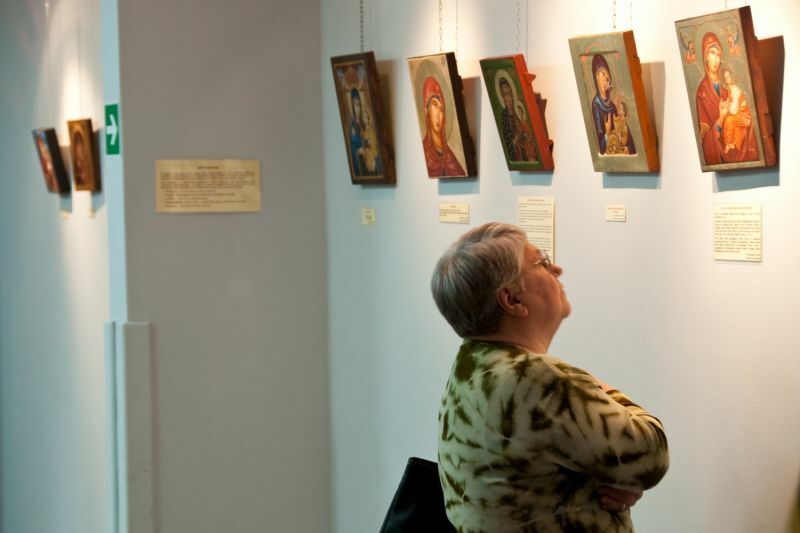 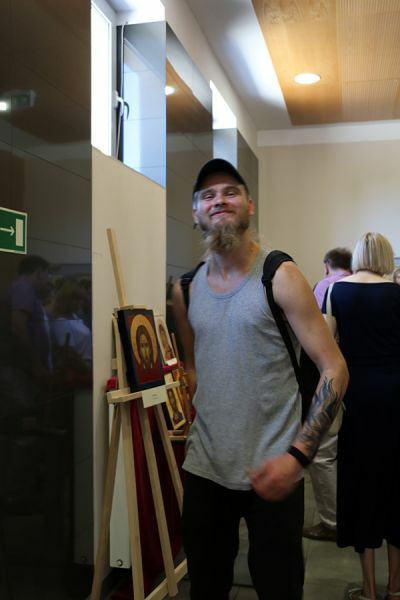 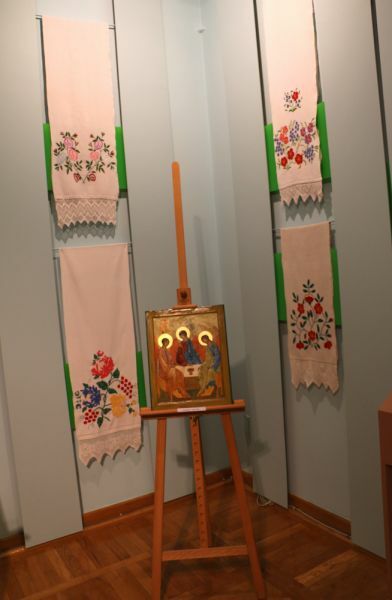 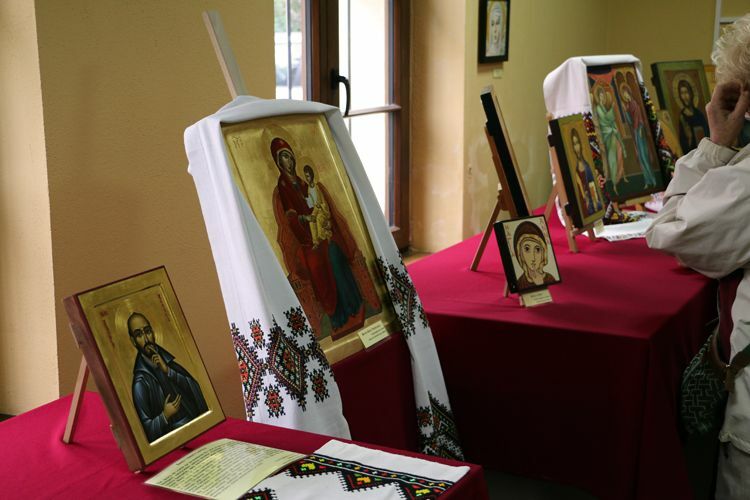 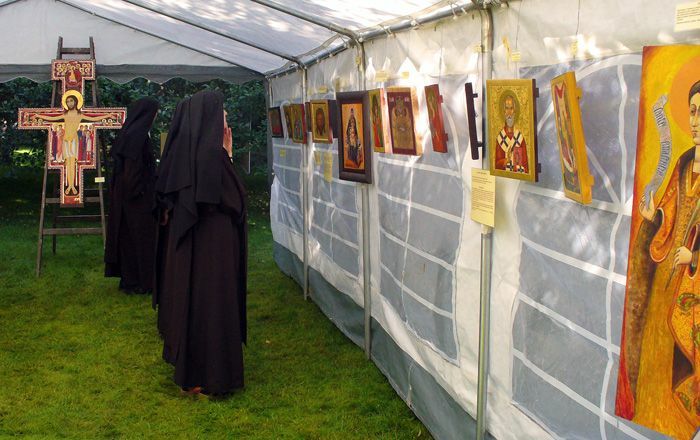 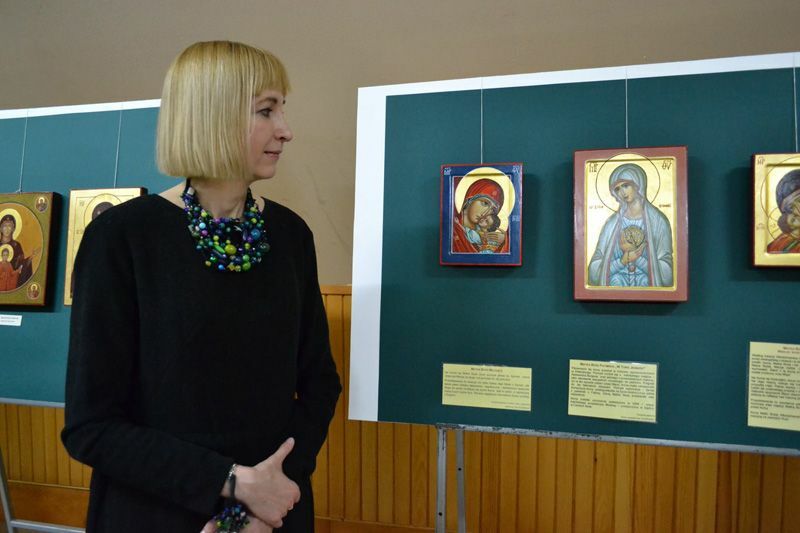 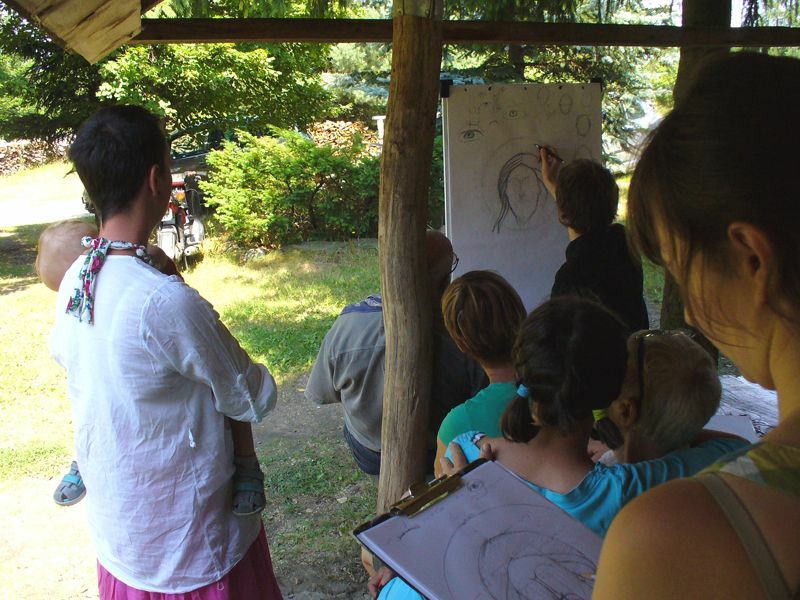 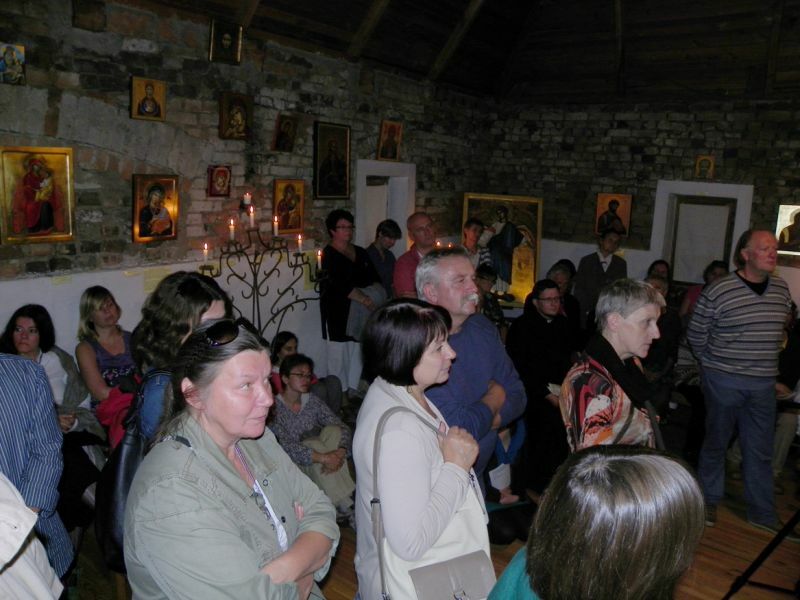 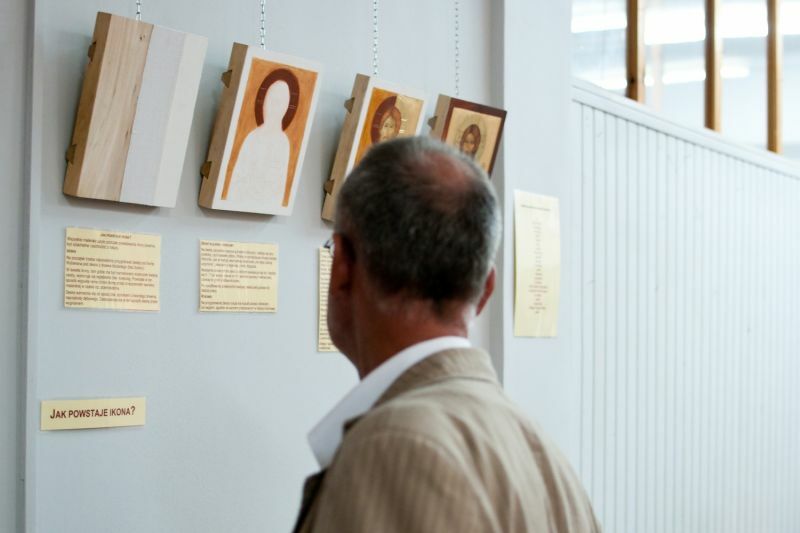 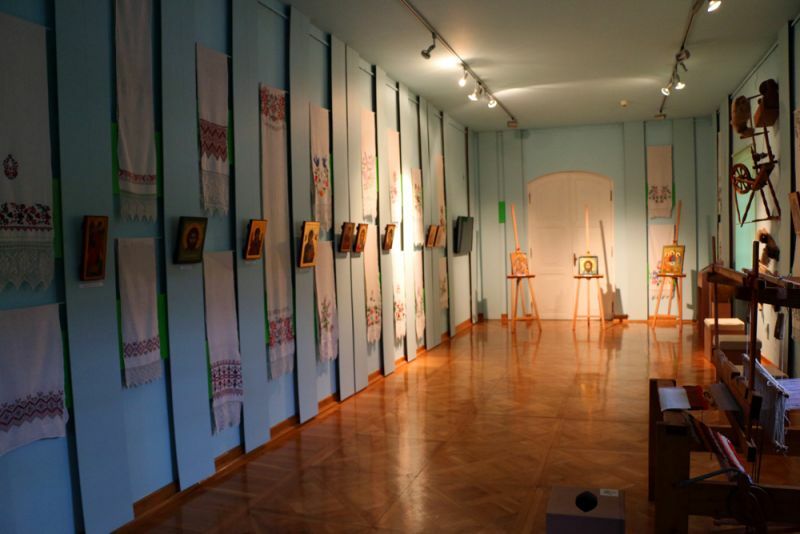 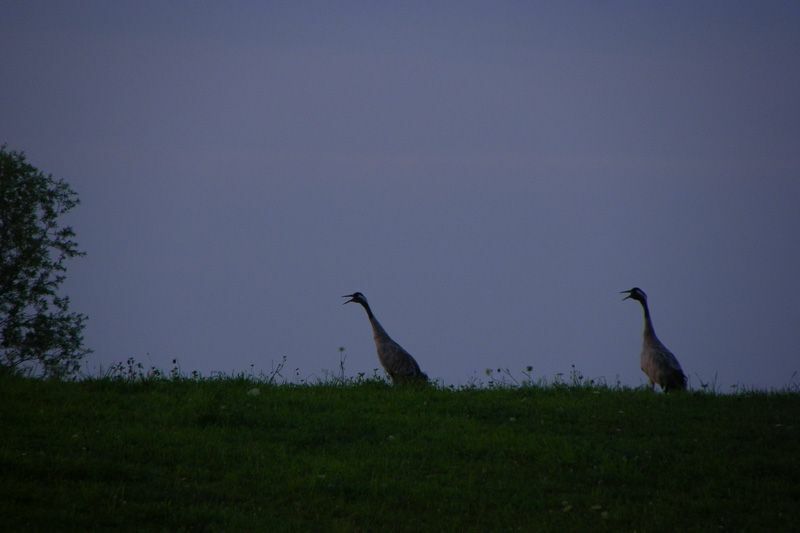 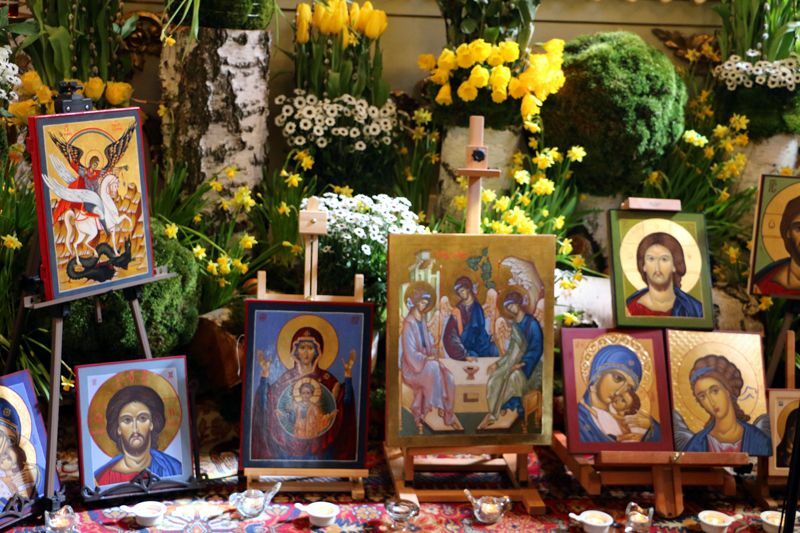 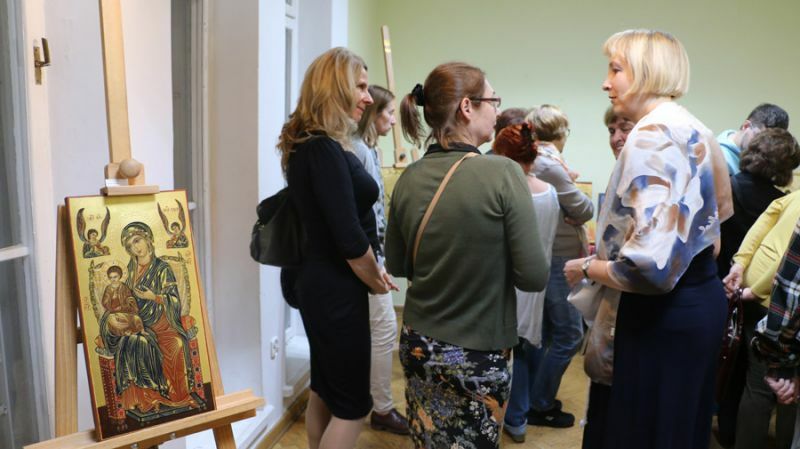 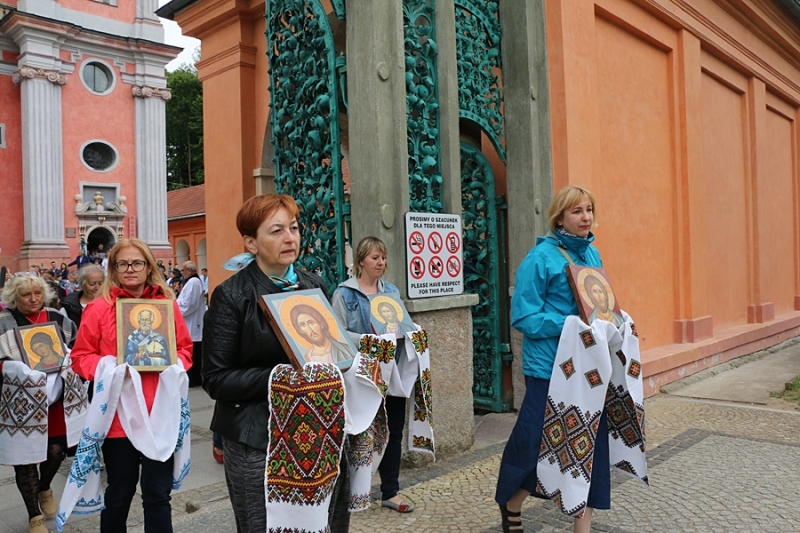 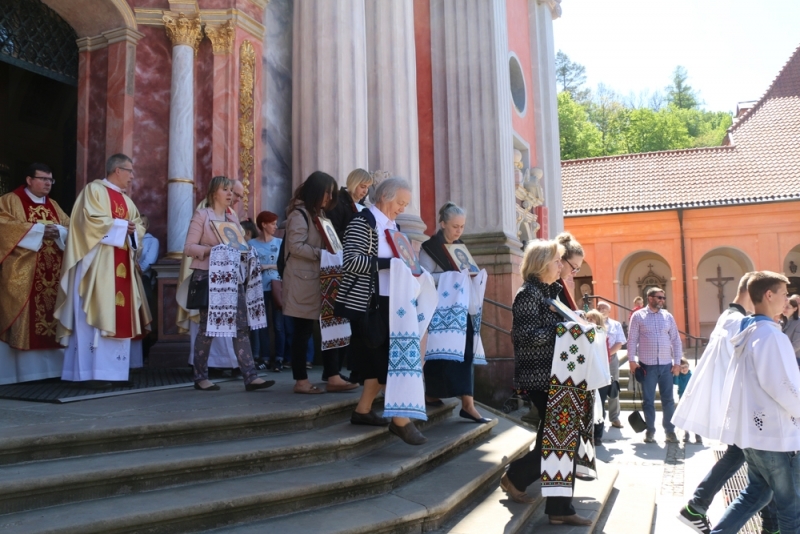 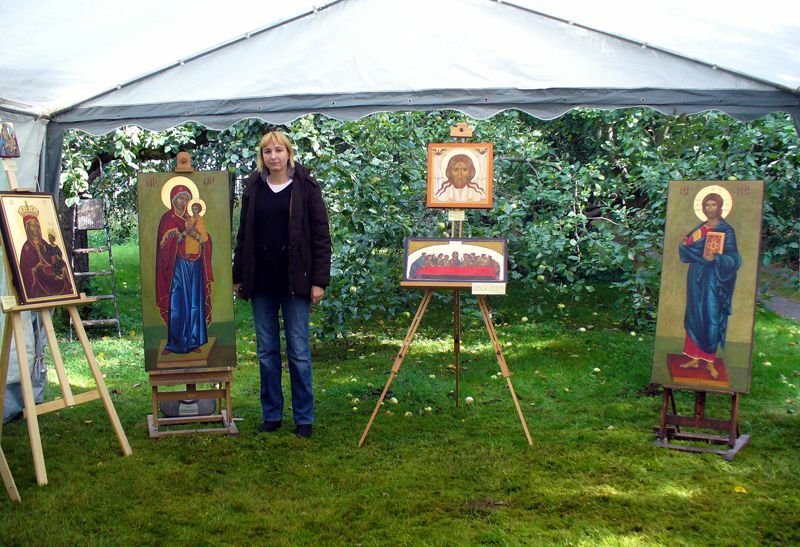 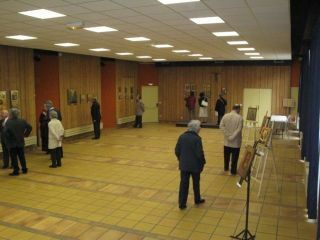 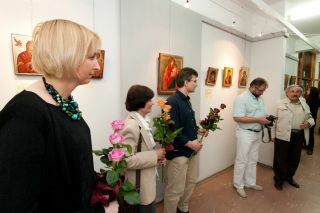 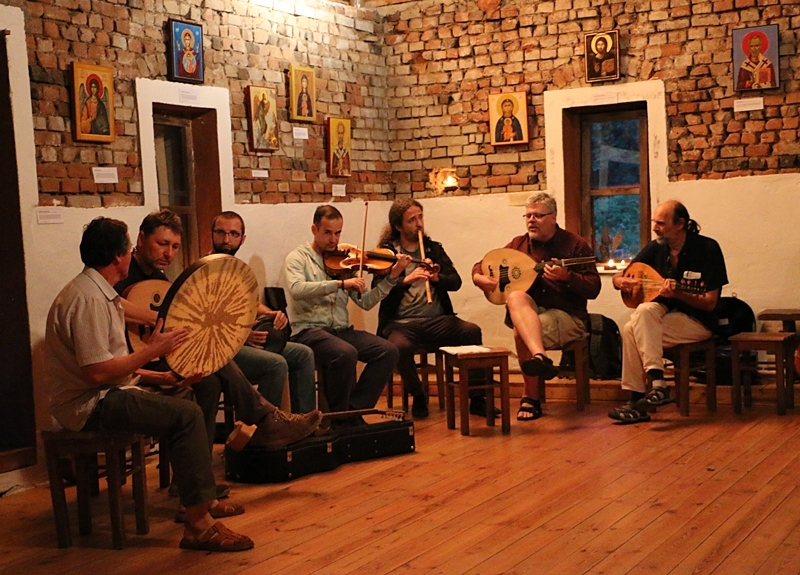 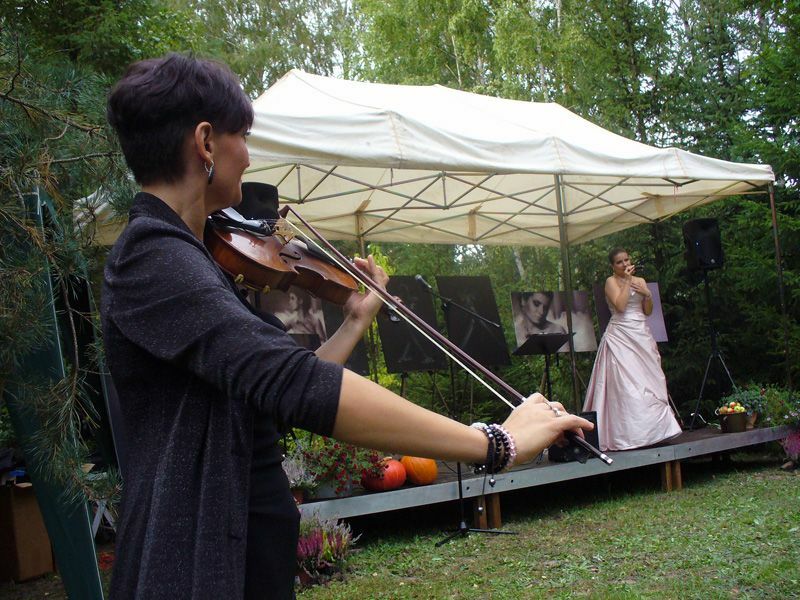 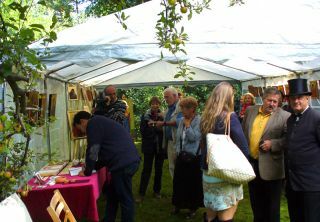 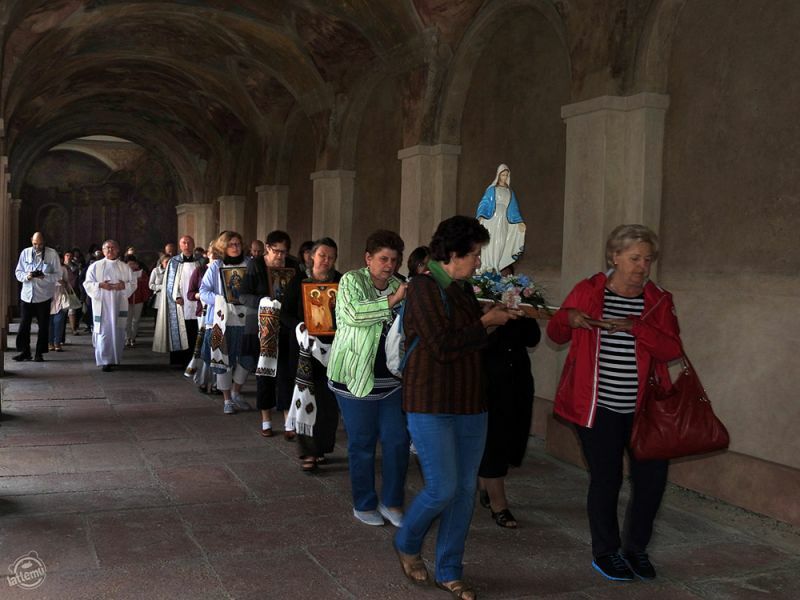 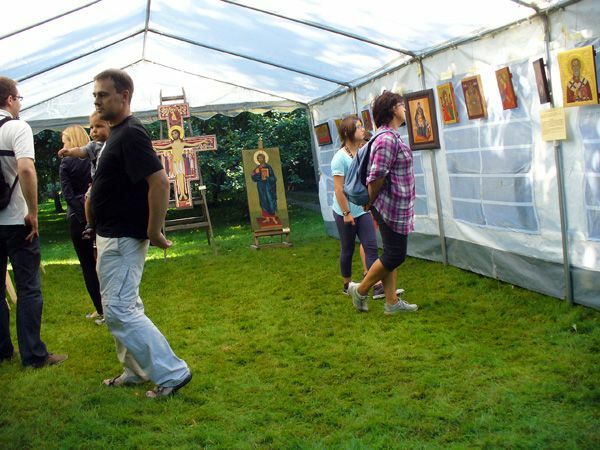 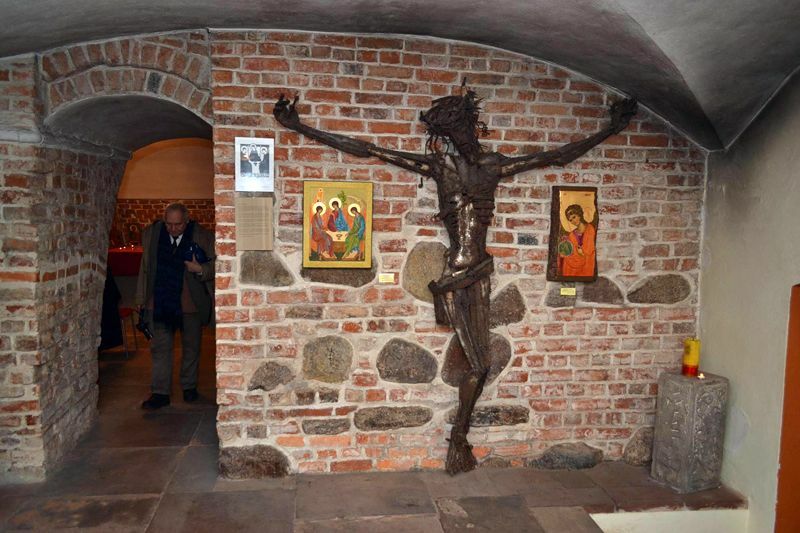 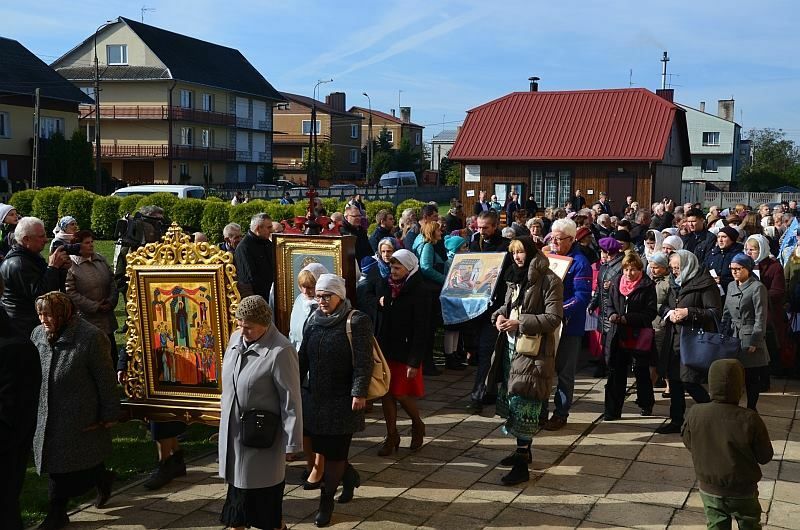 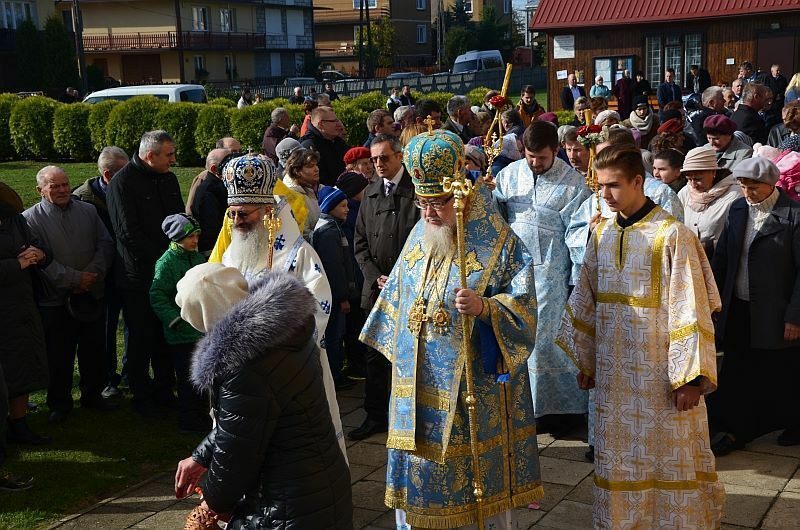 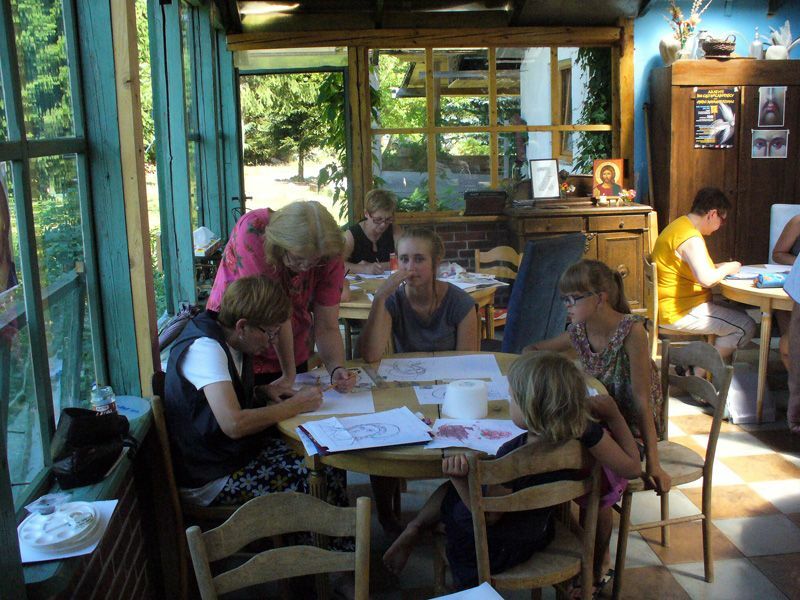 The exhibition was entitled "Open icon", and take place in the Open Gardens of Konstancin. 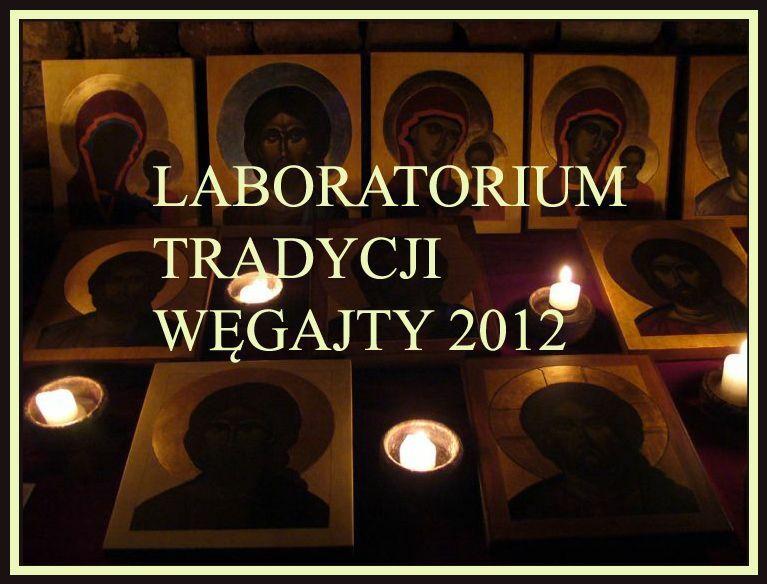 Center Theatre Węgajty June 28 - July 2, 2010.
n June and July, as part of the Laboratory of Tradition, 2010, the Center Theatre Workshop co-led Węgajty icons, and presented his works at the exhibition. 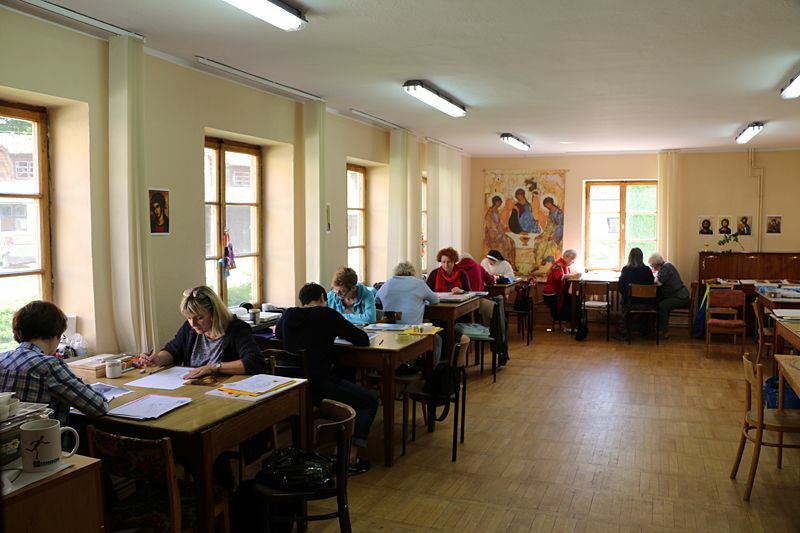 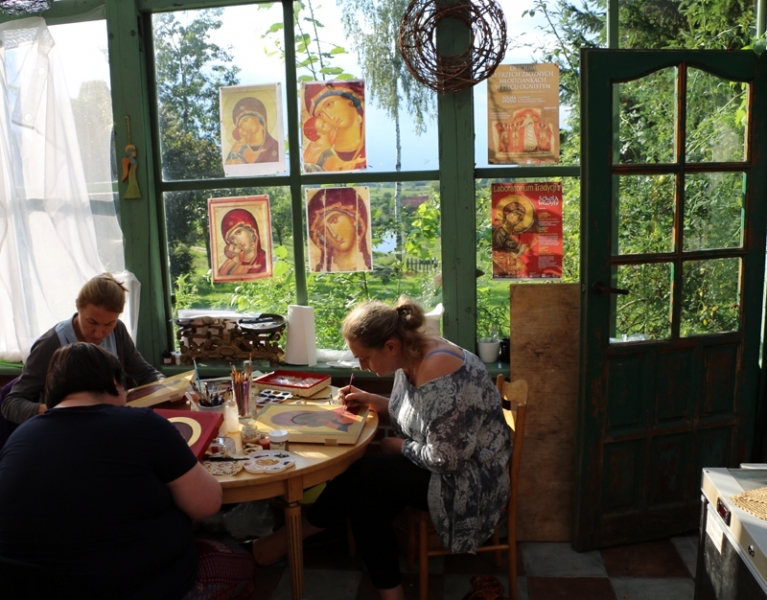 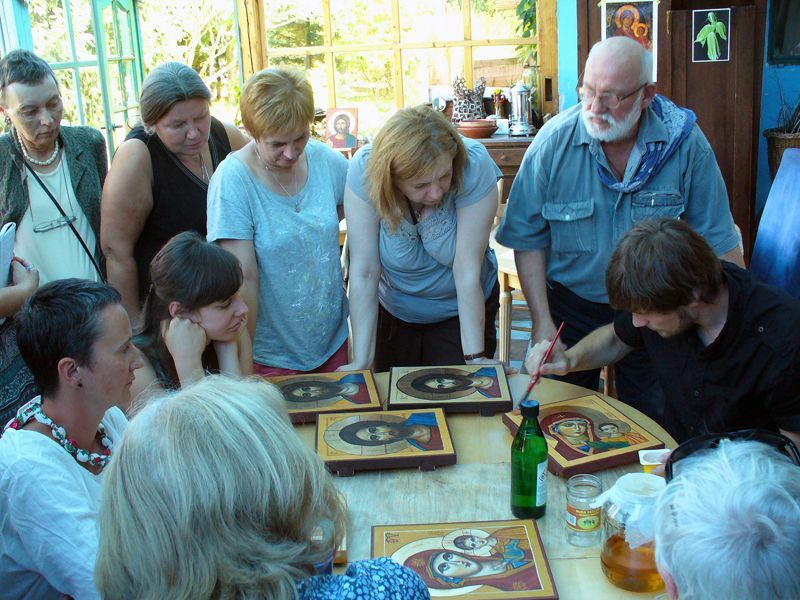 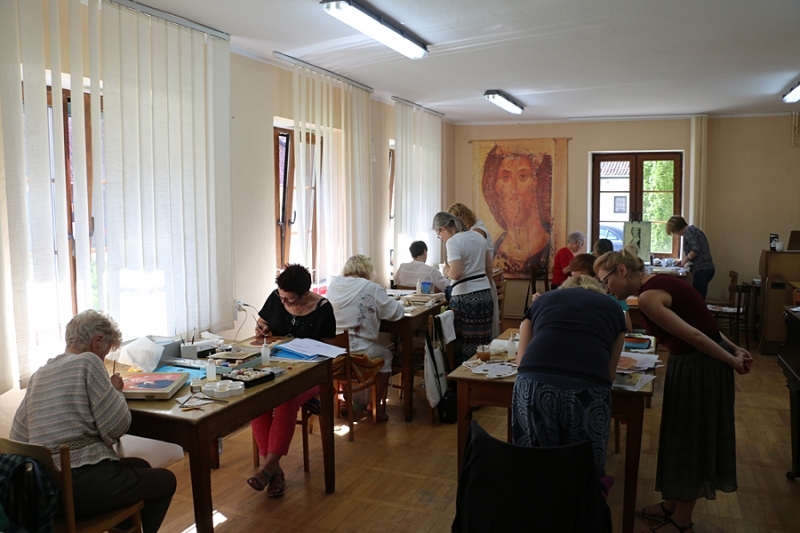 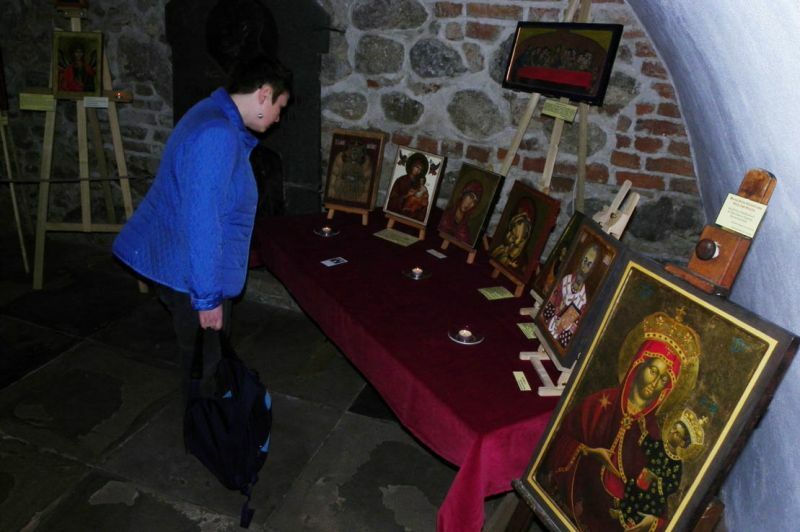 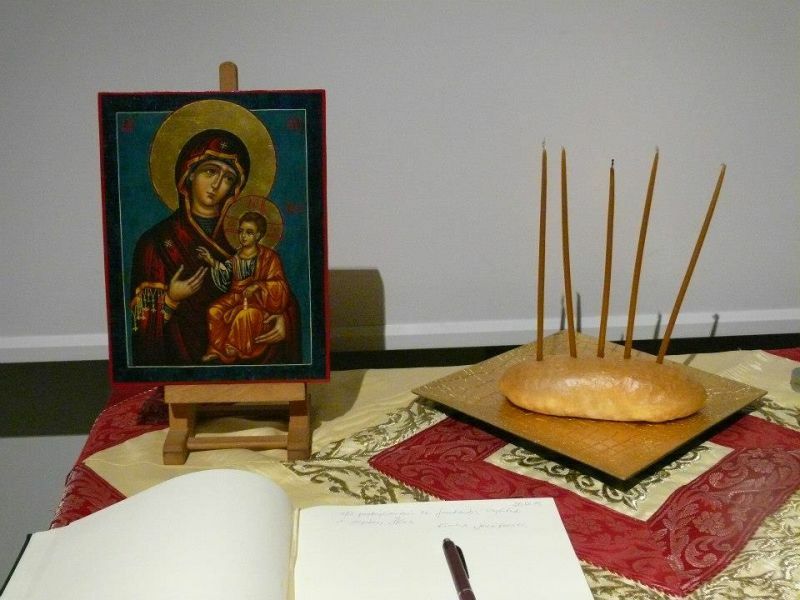 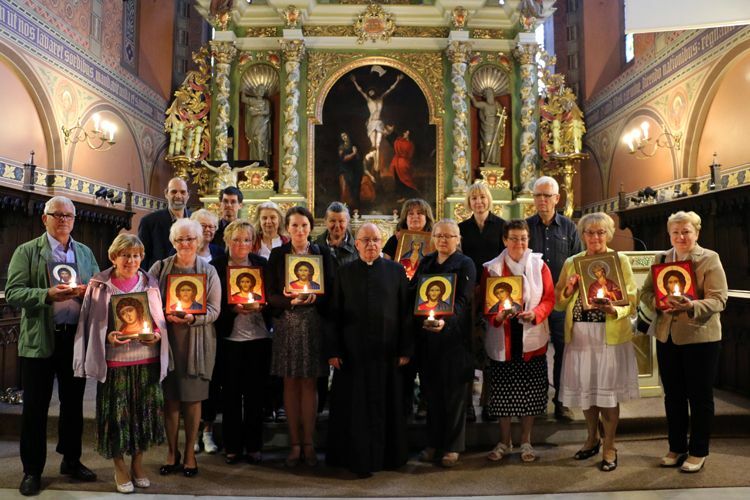 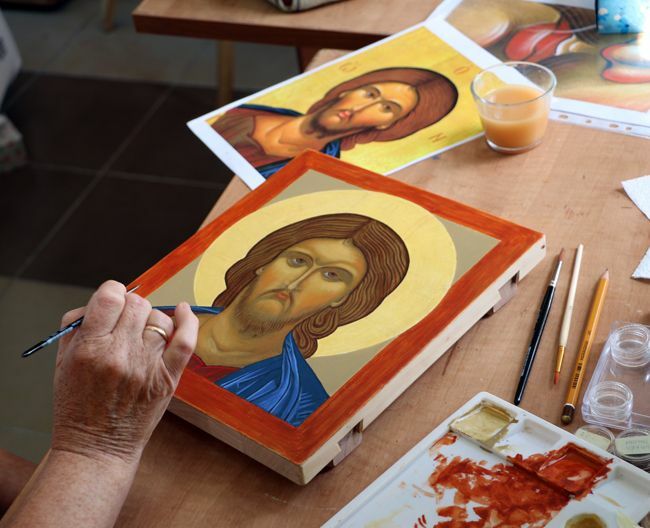 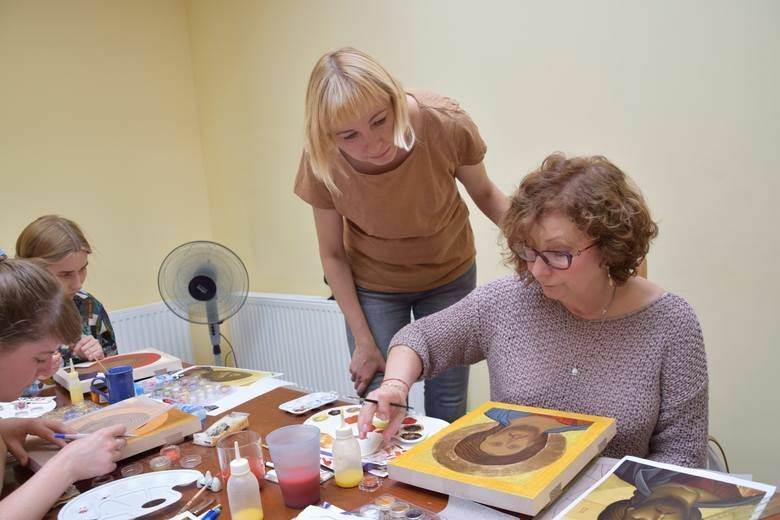 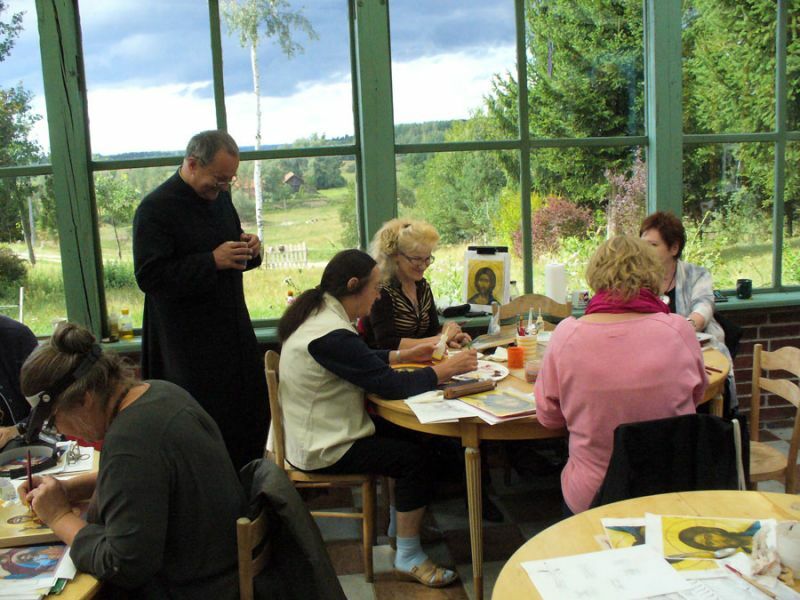 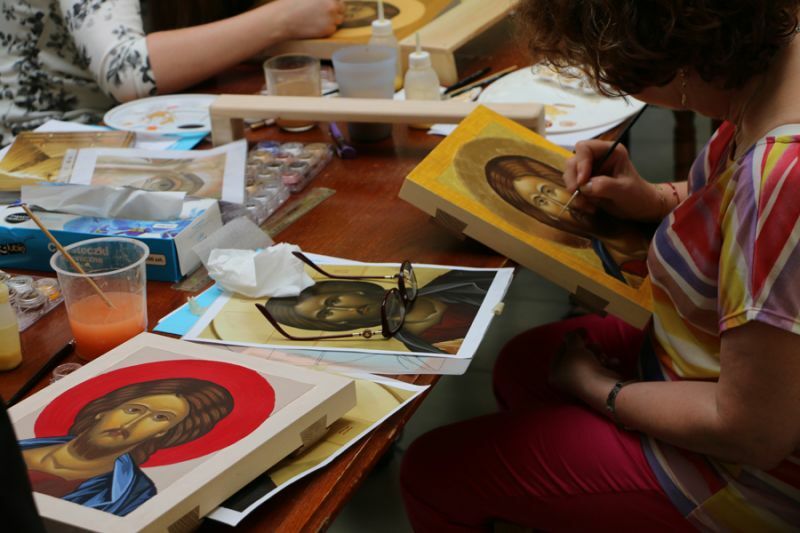 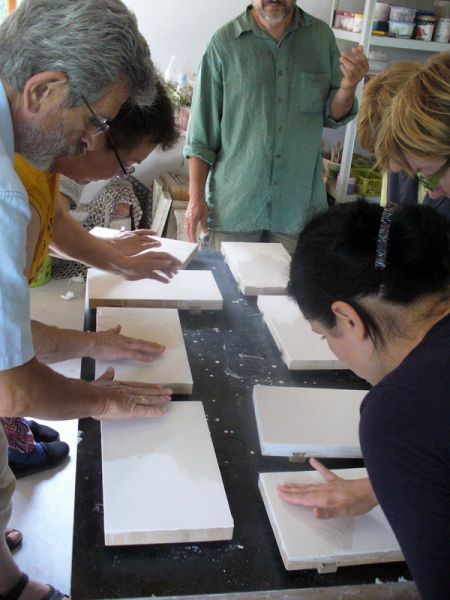 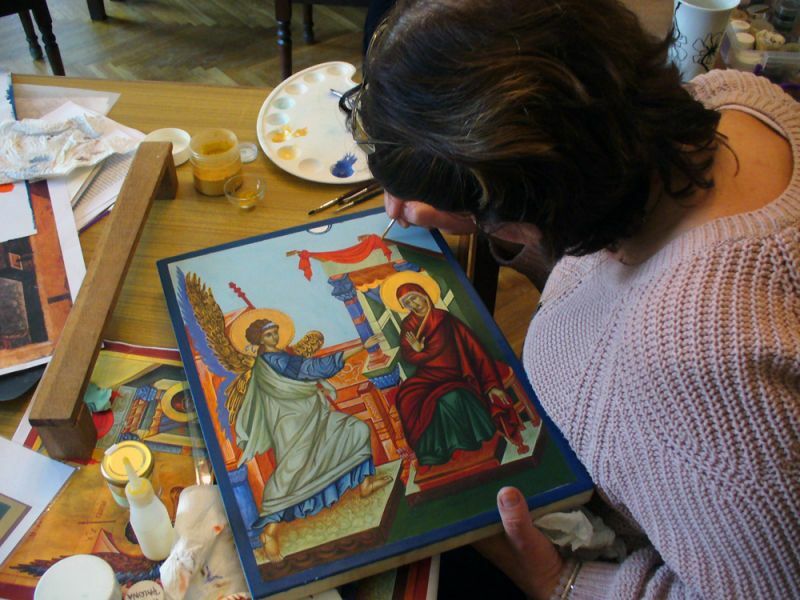 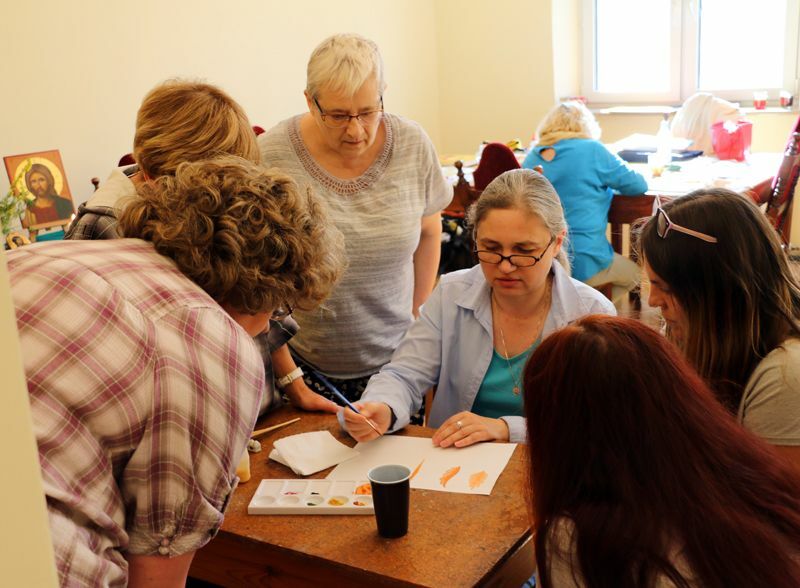 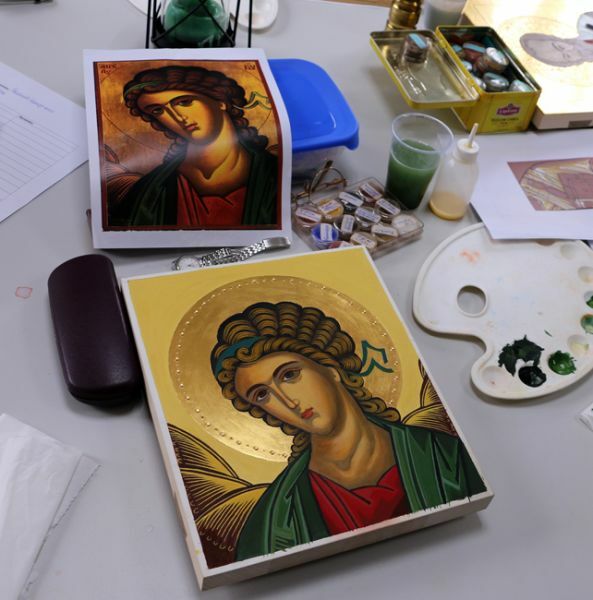 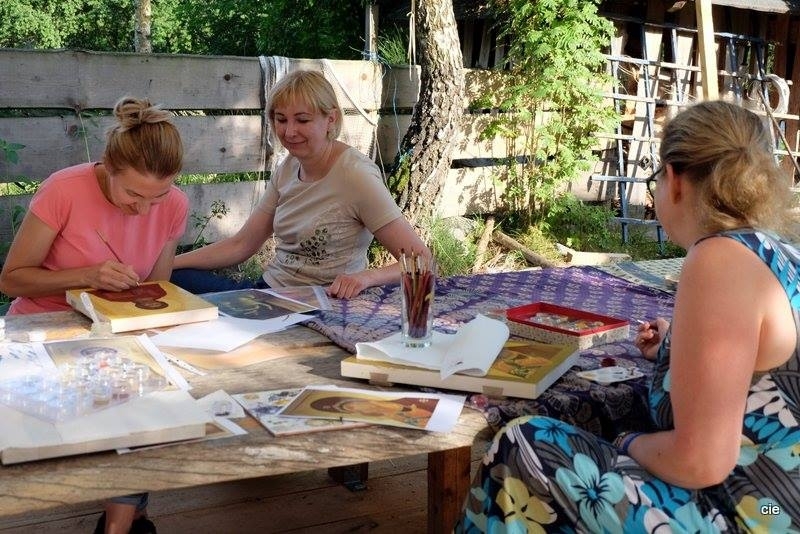 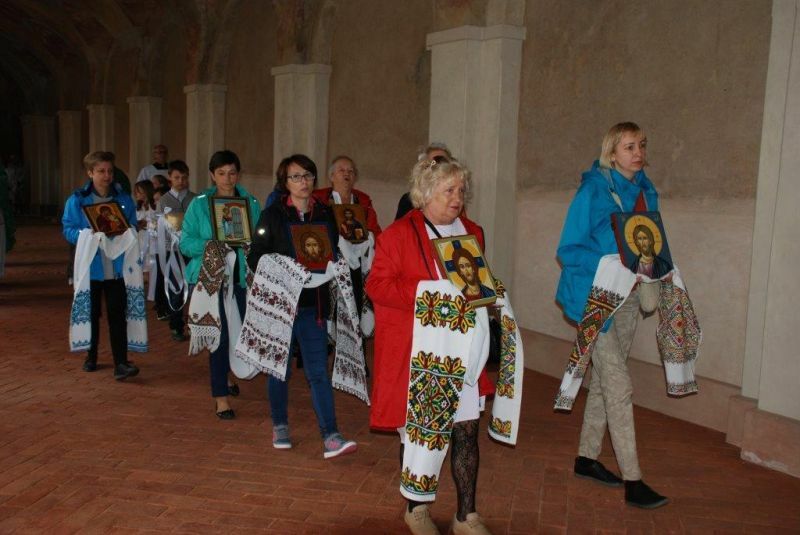 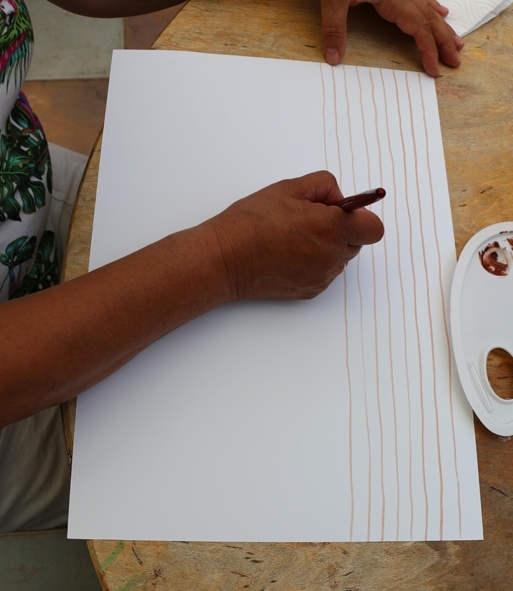 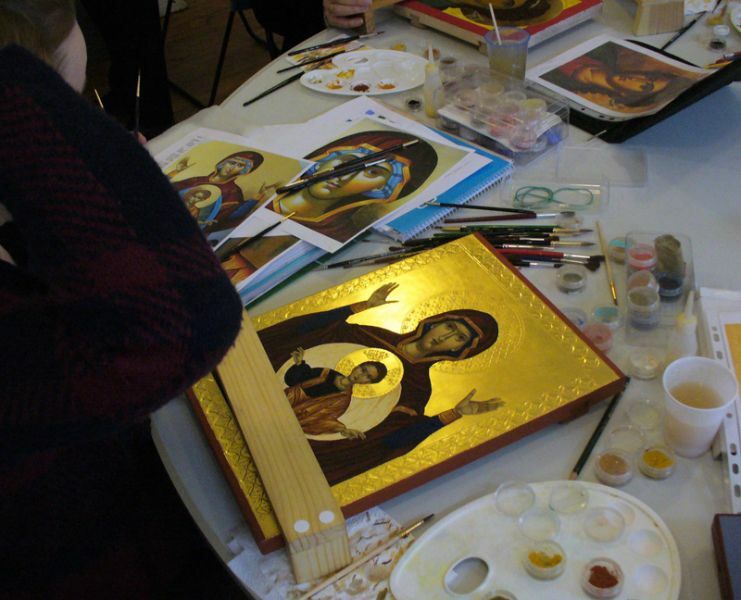 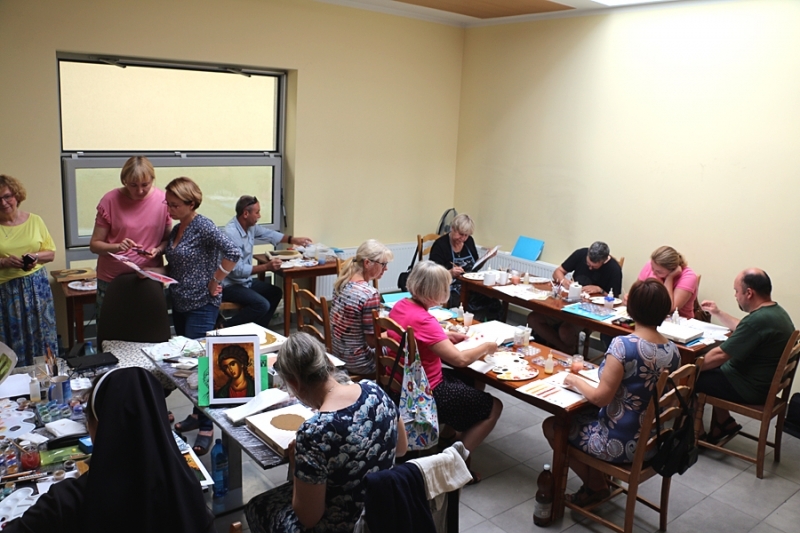 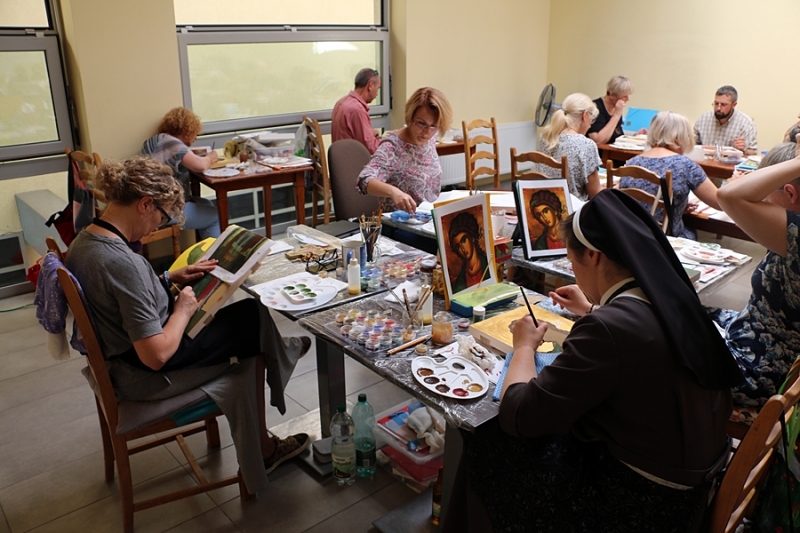 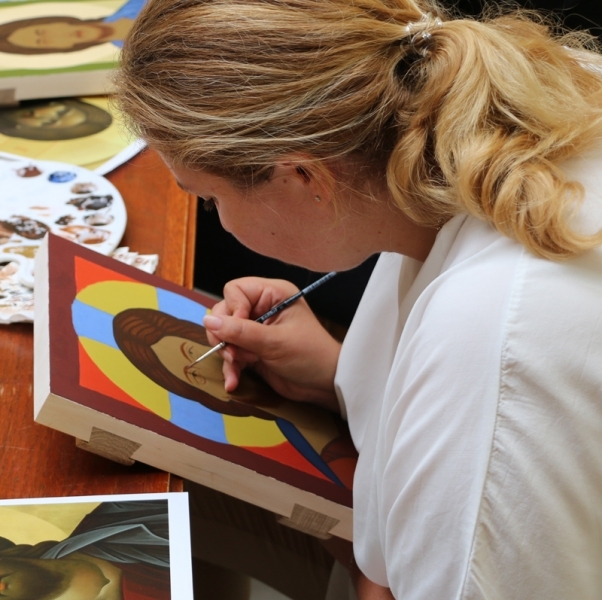 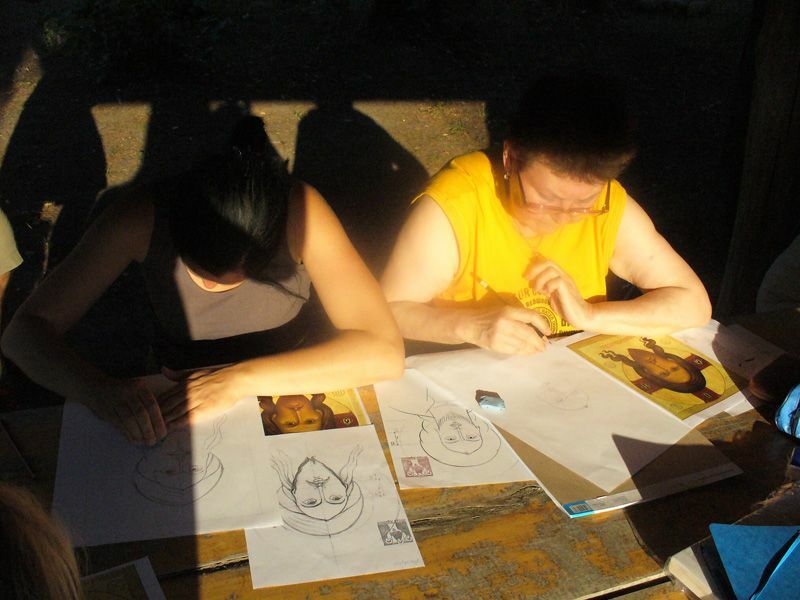 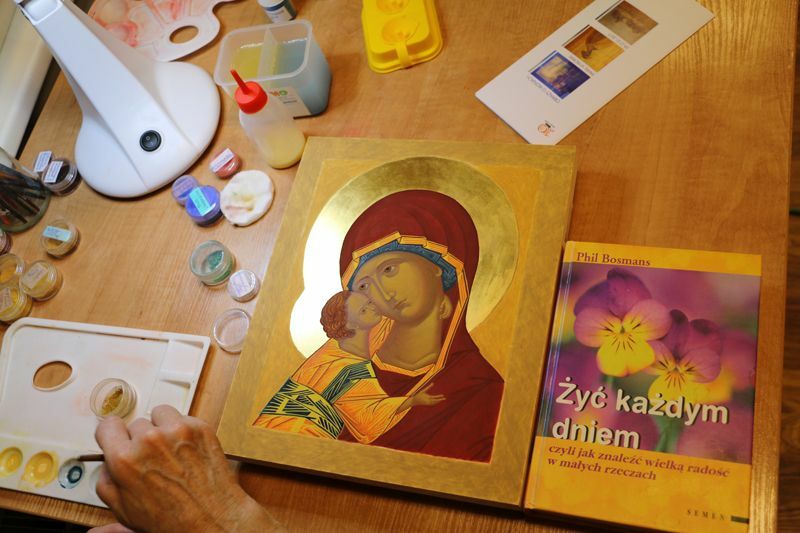 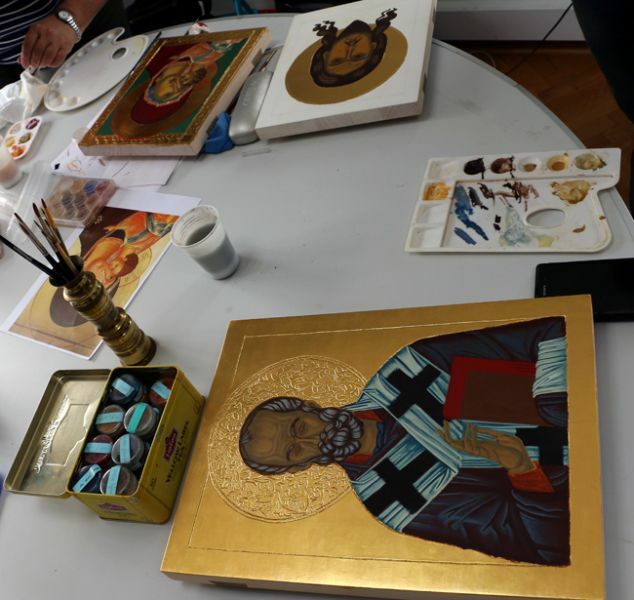 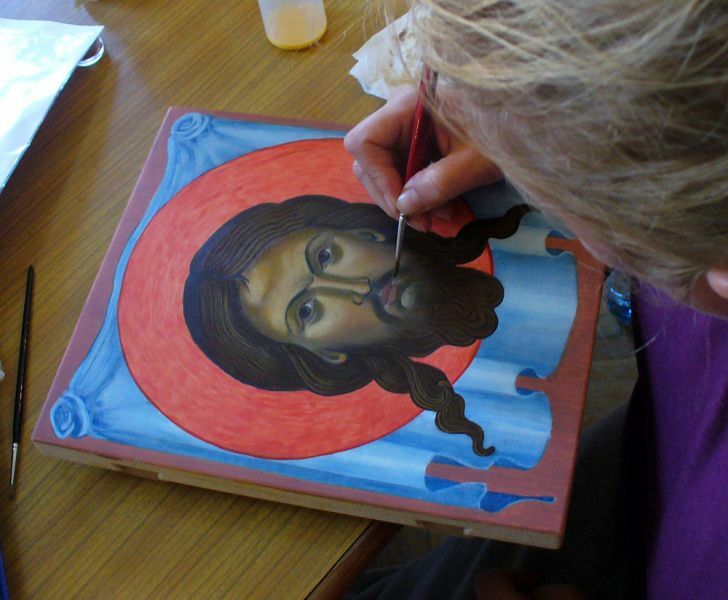 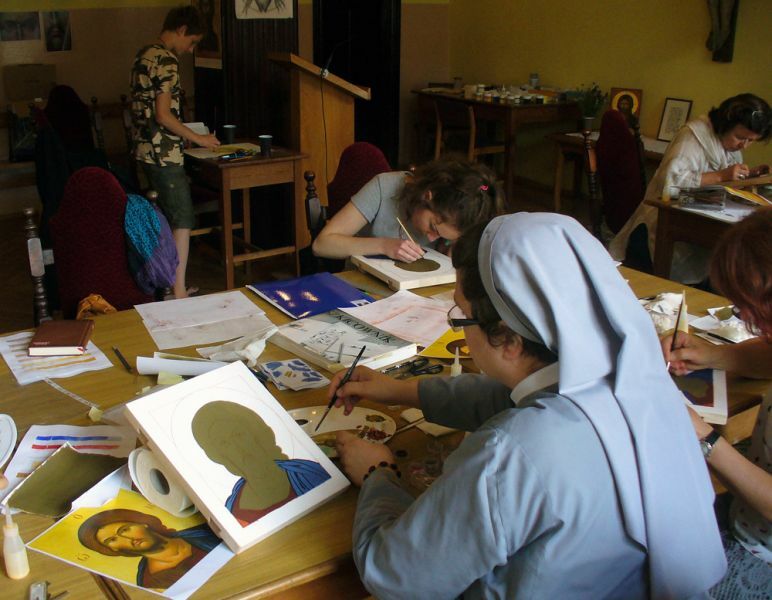 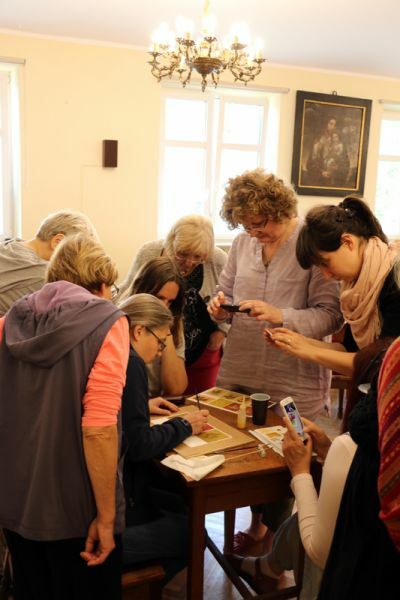 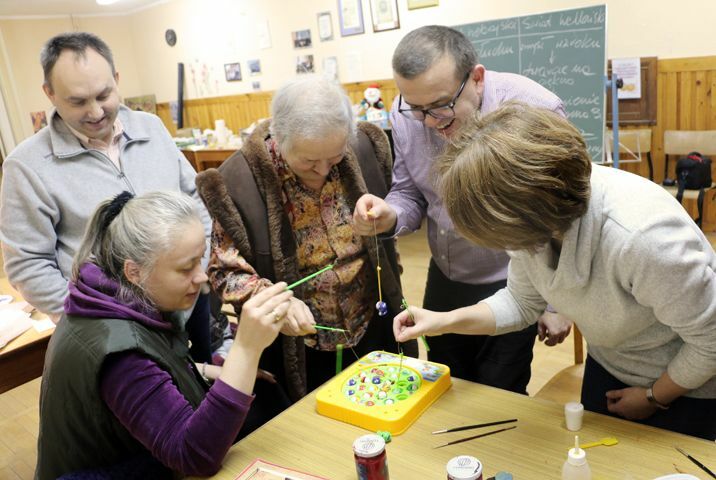 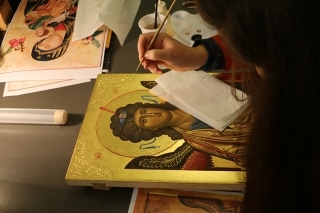 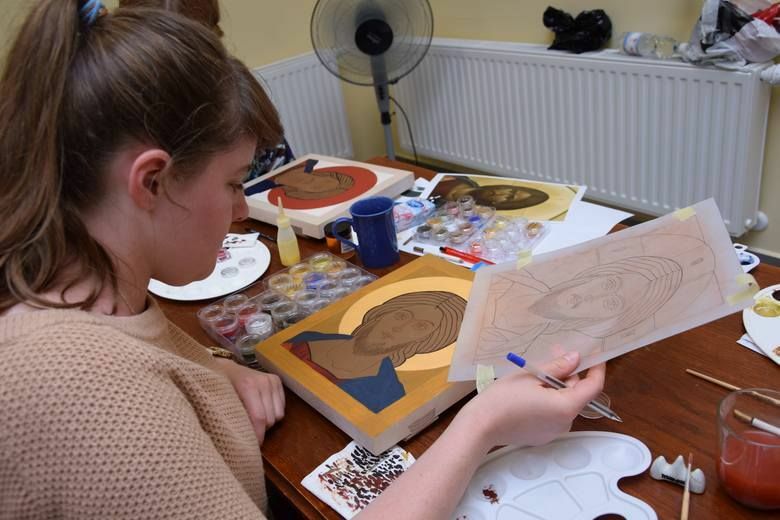 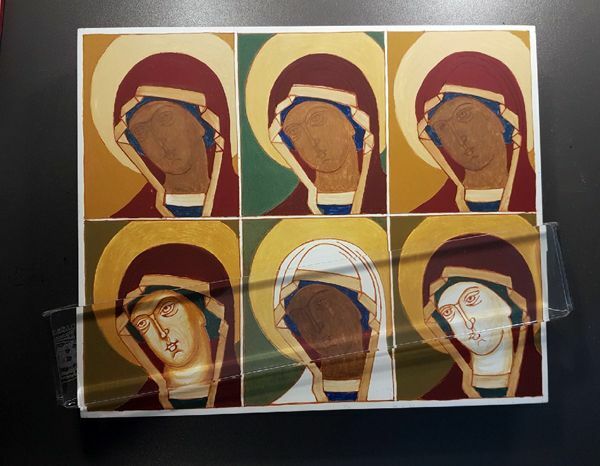 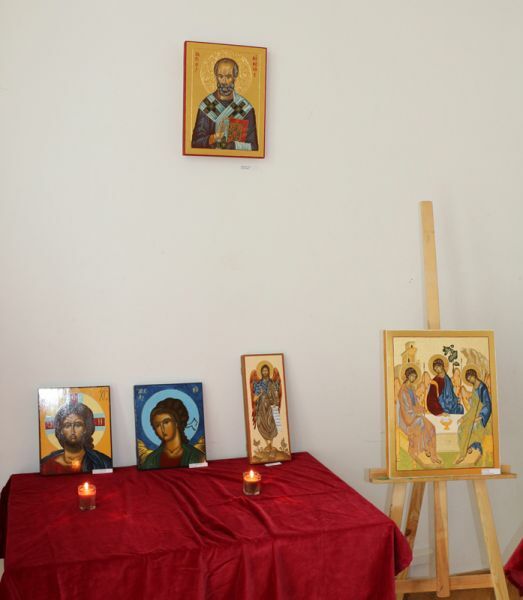 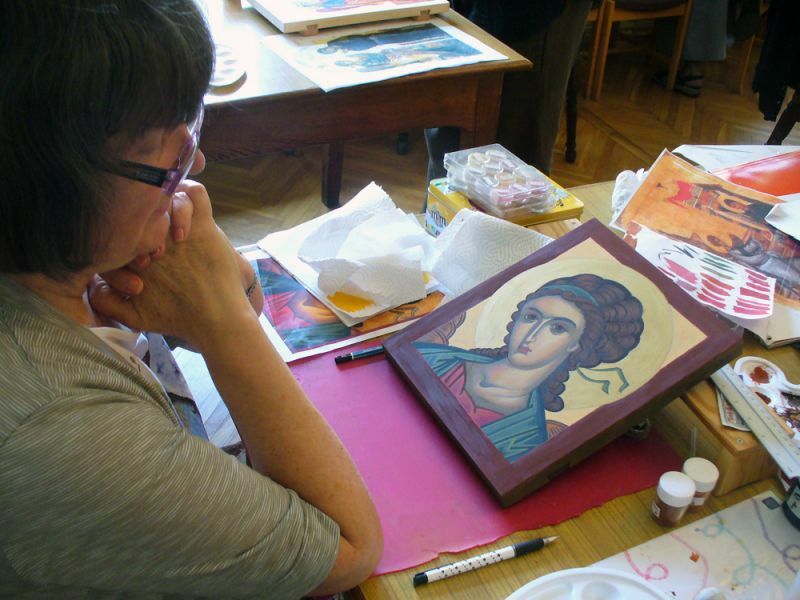 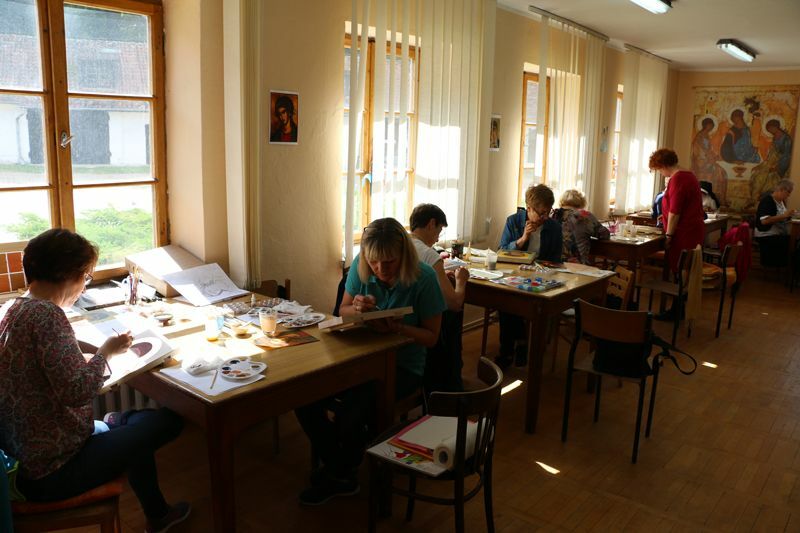 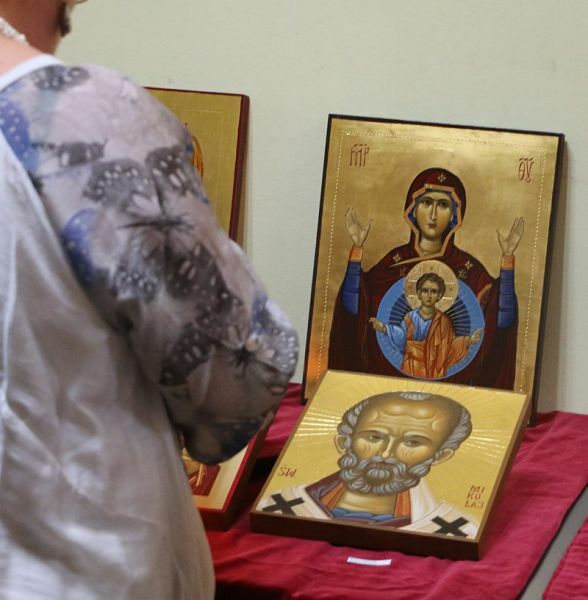 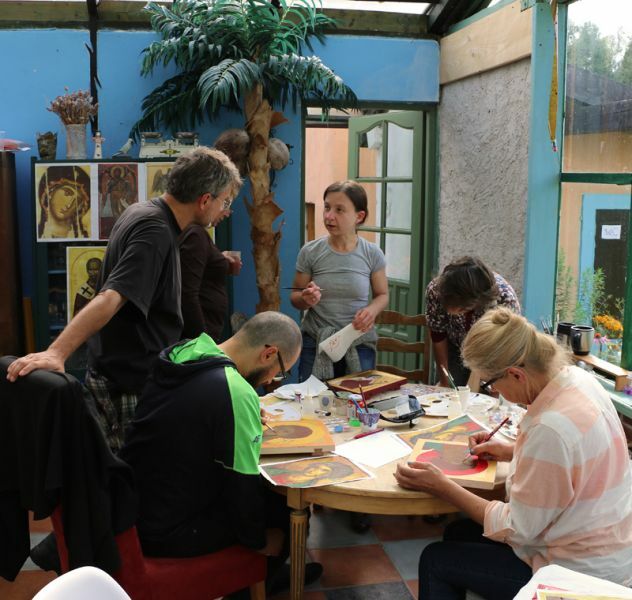 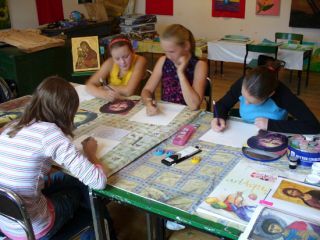 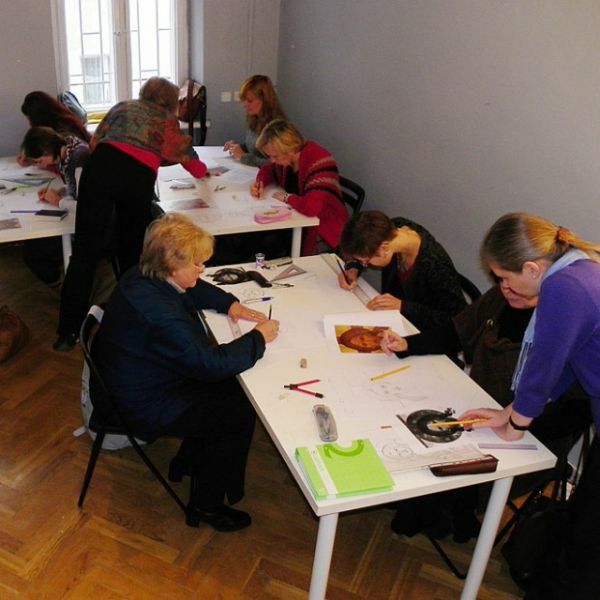 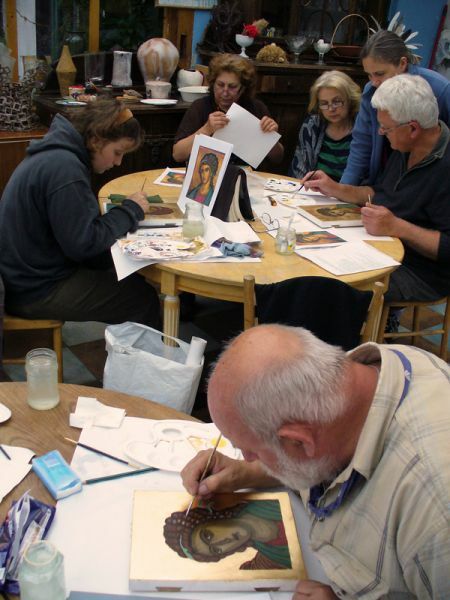 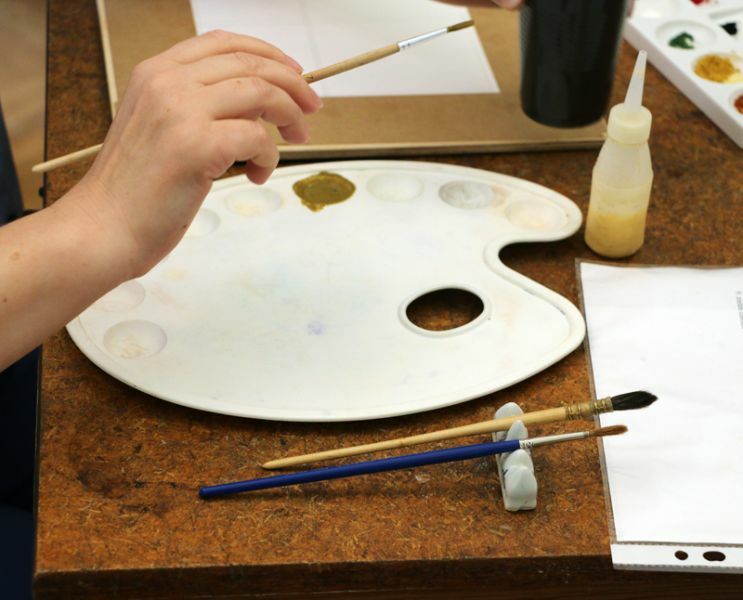 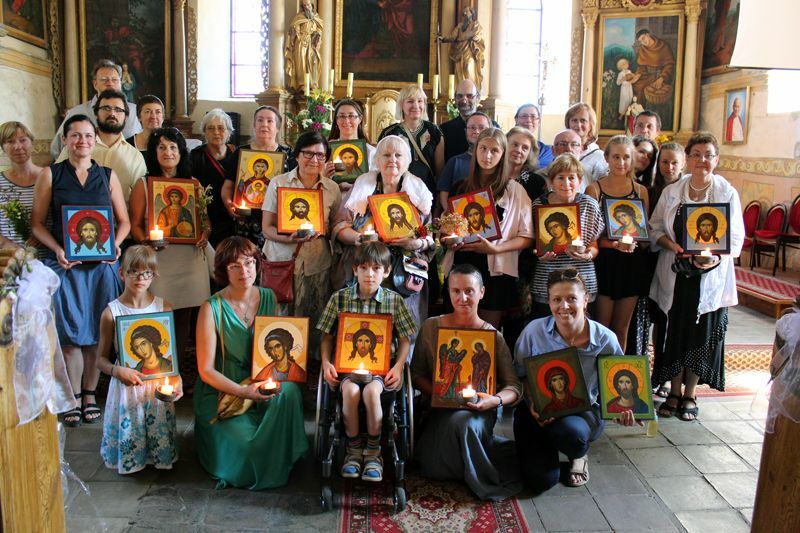 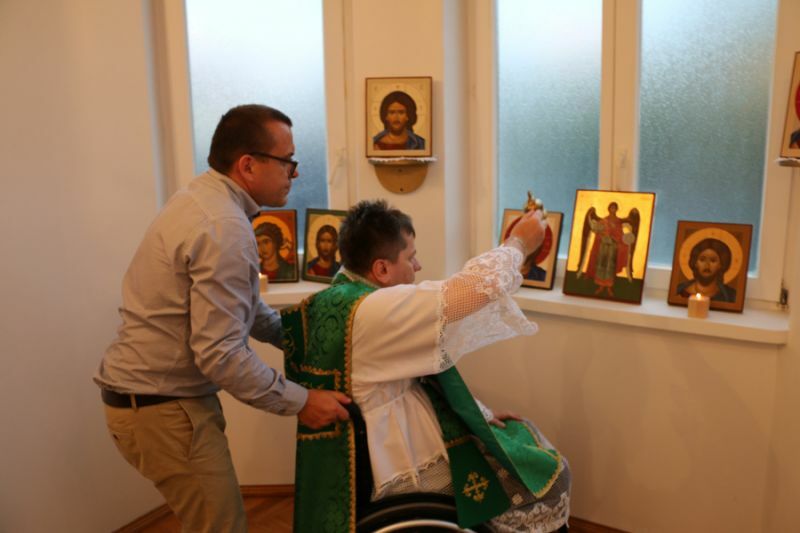 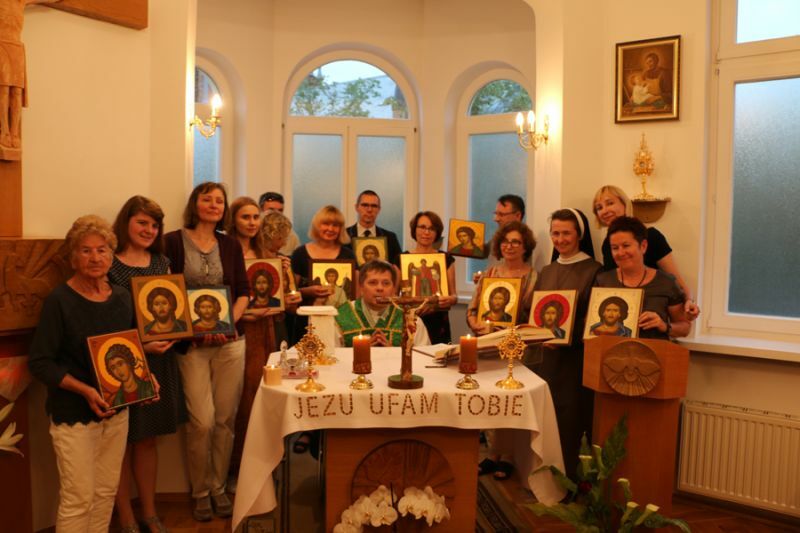 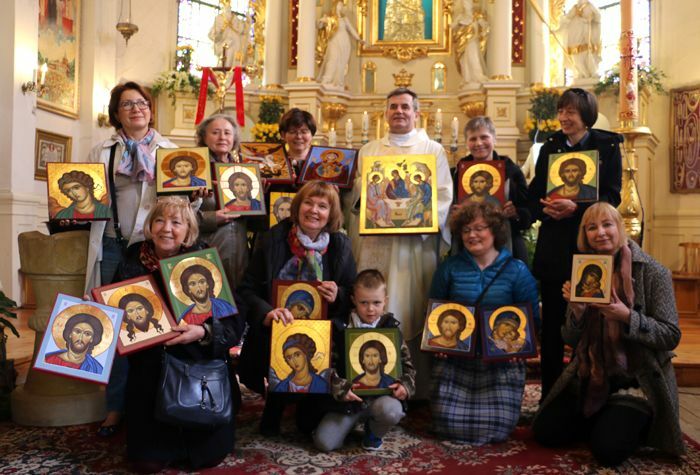 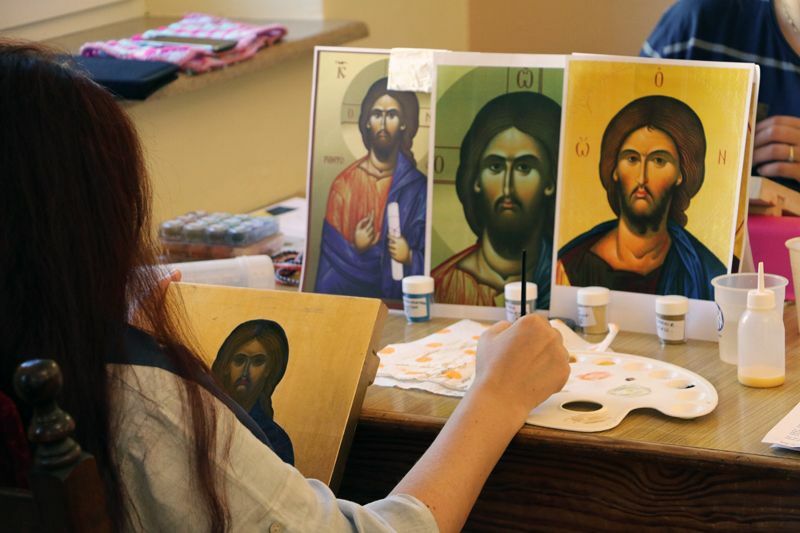 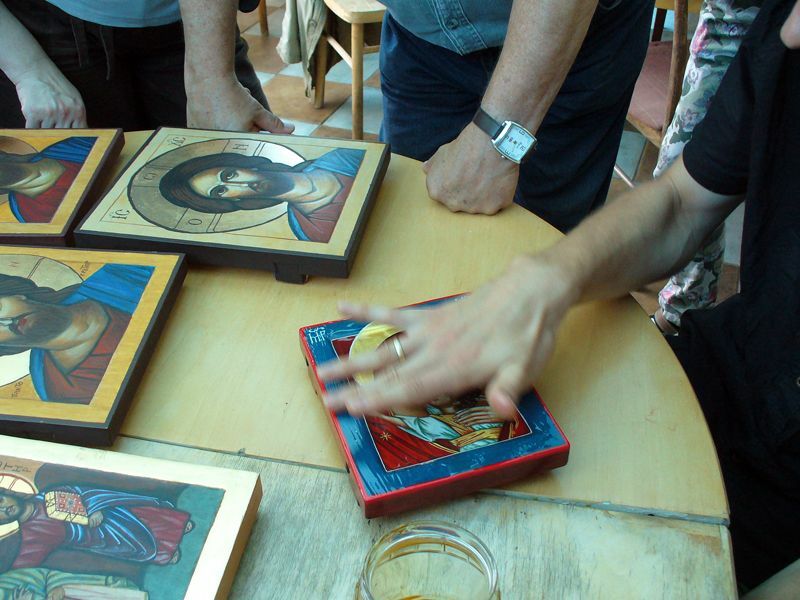 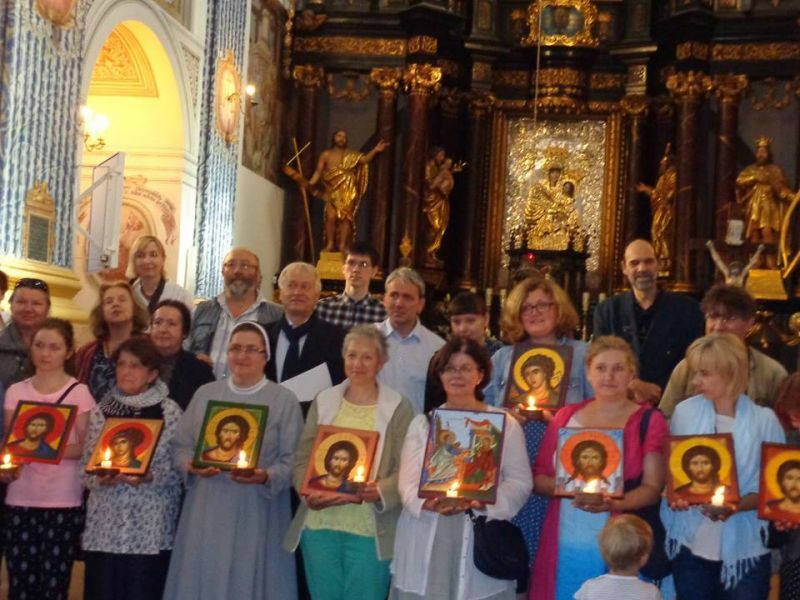 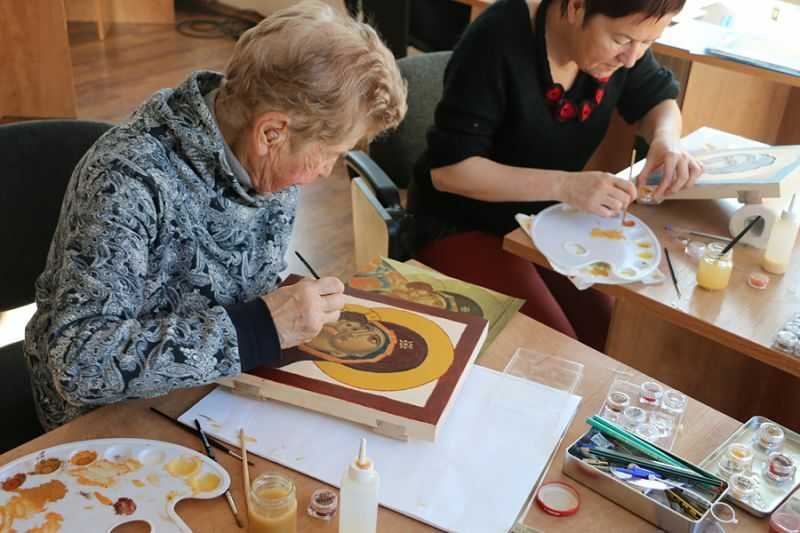 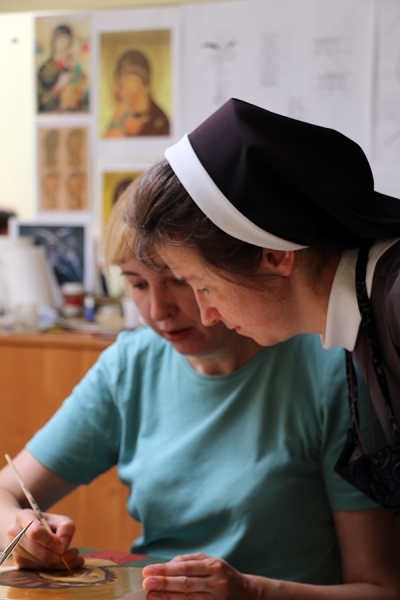 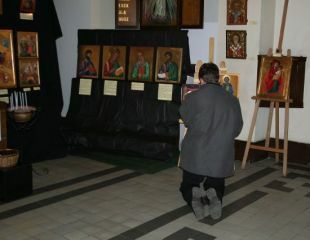 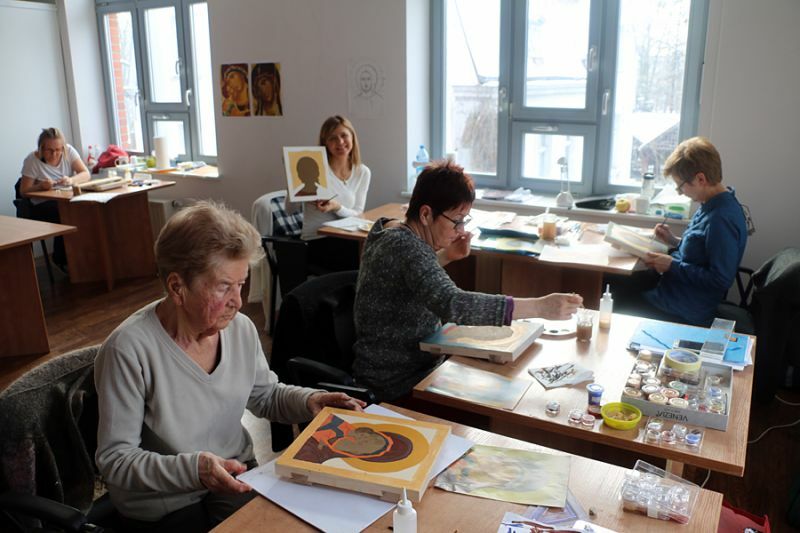 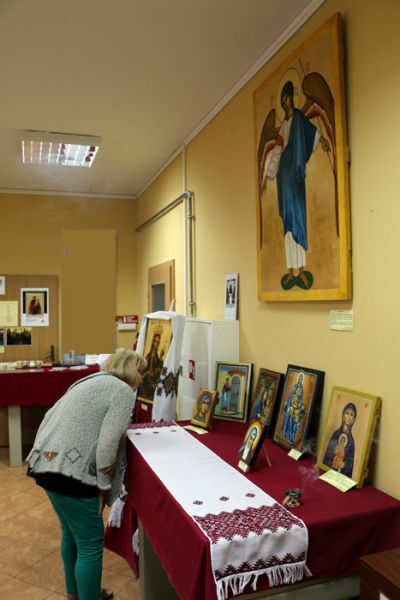 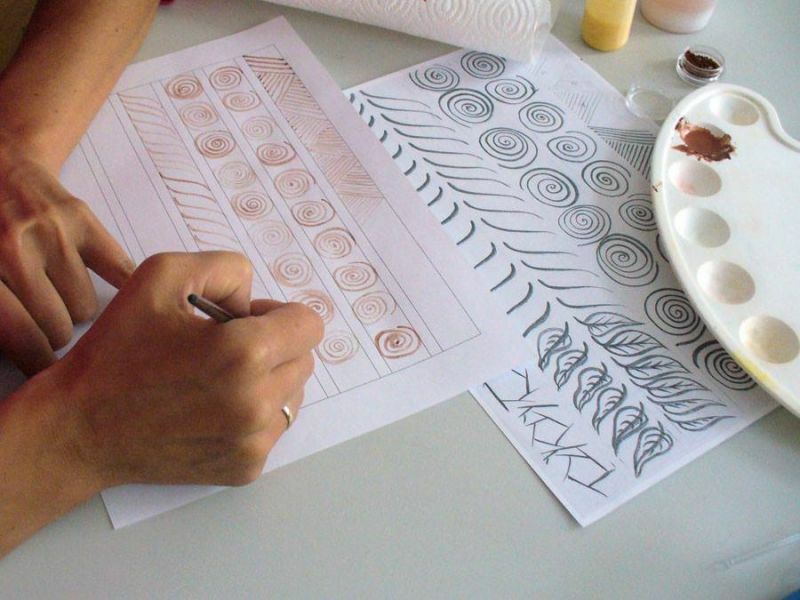 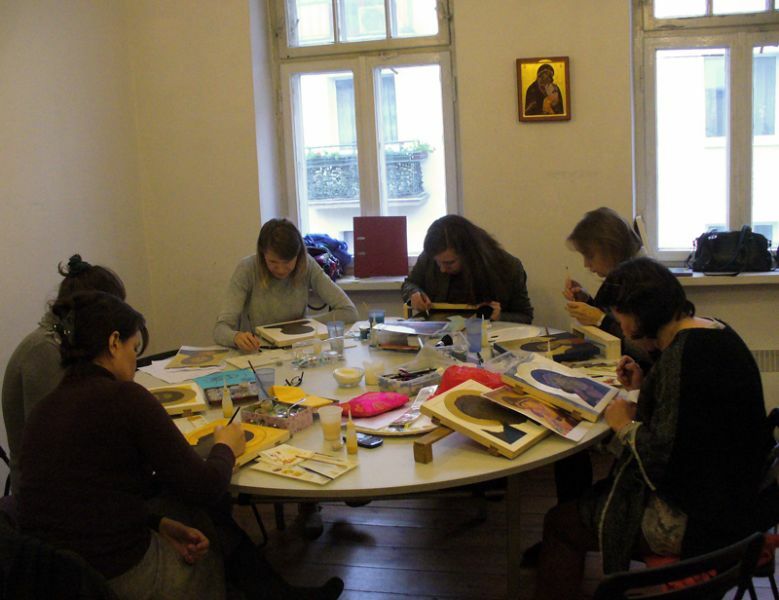 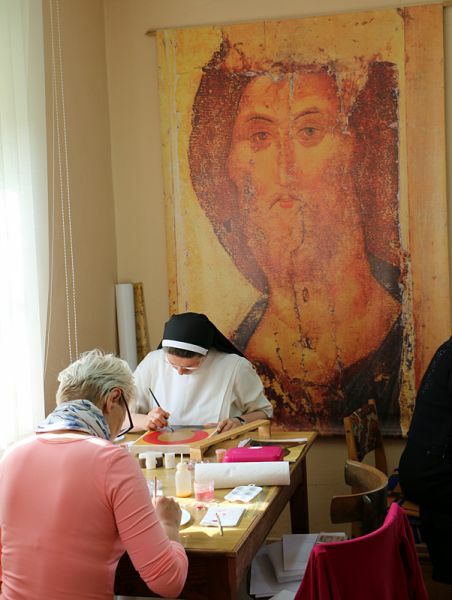 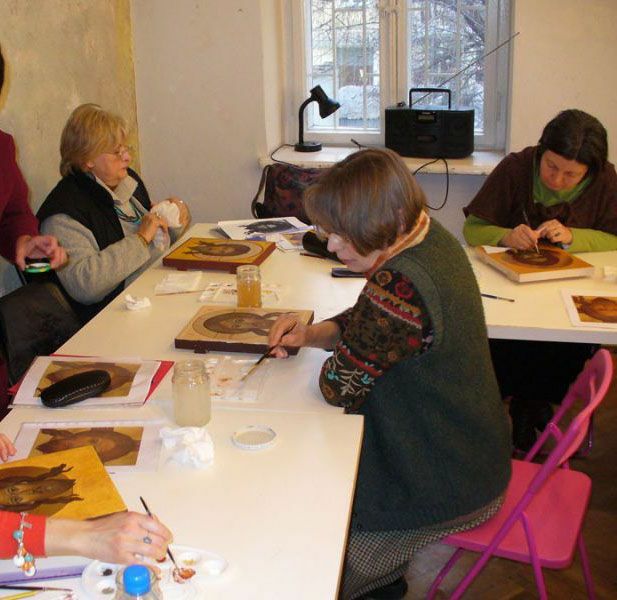 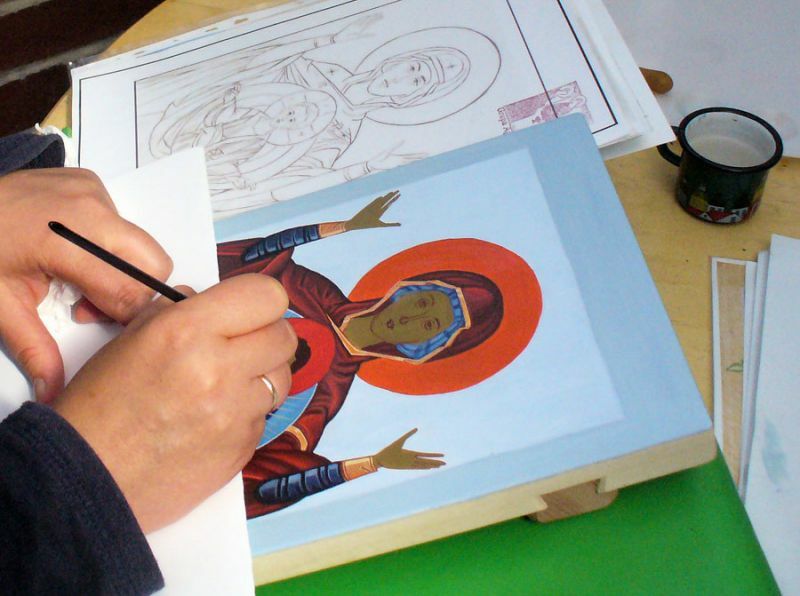 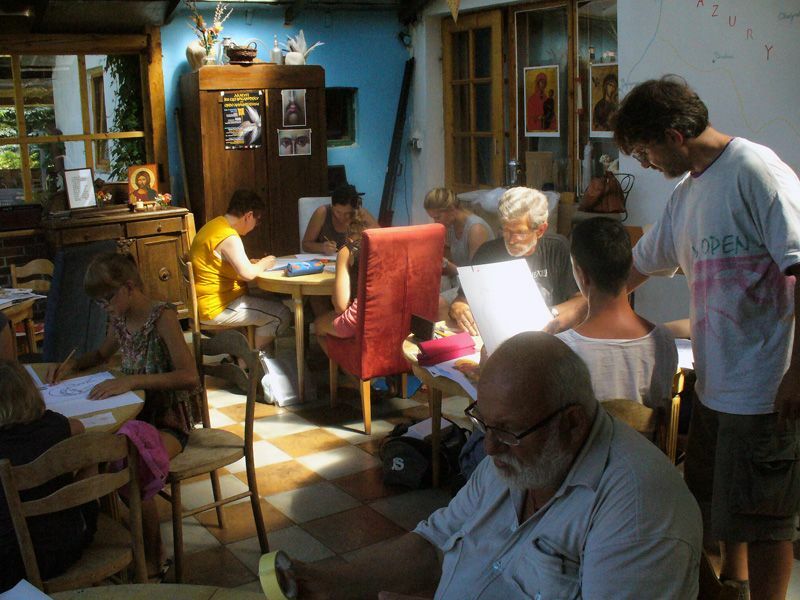 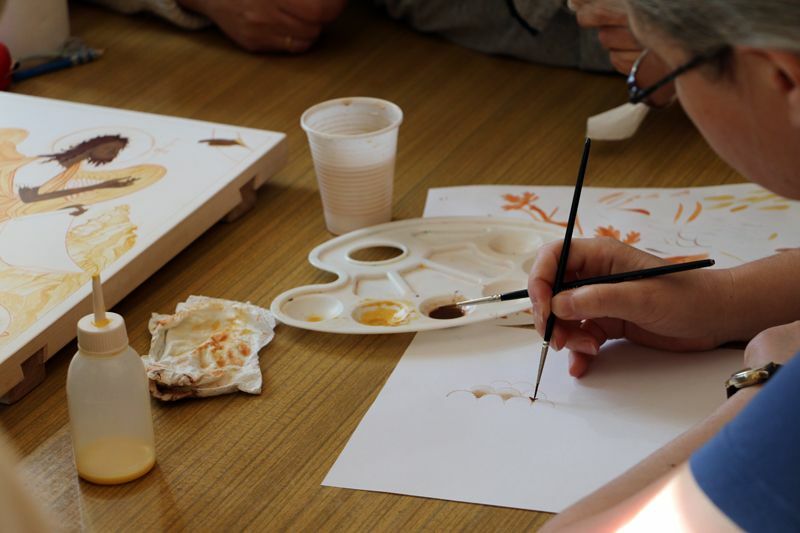 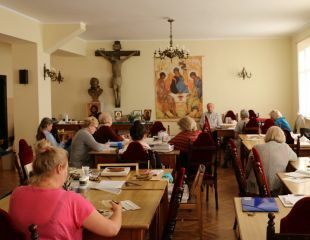 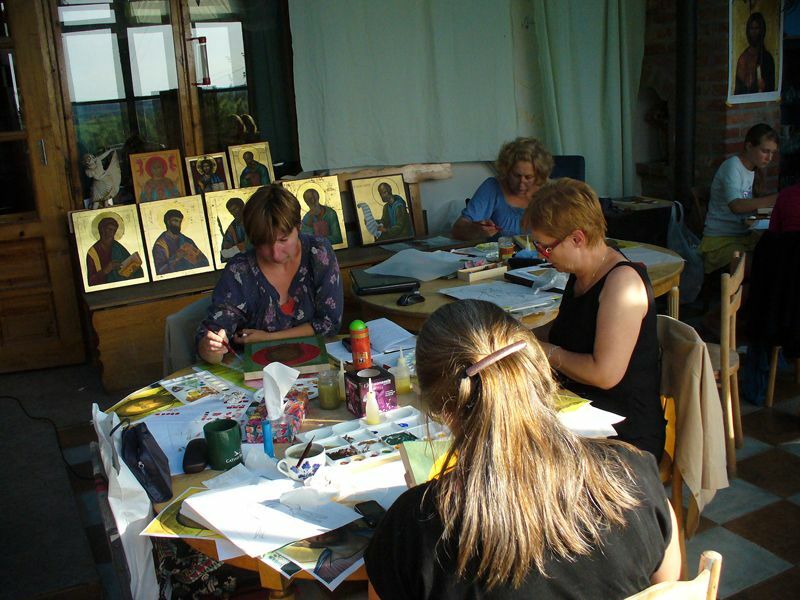 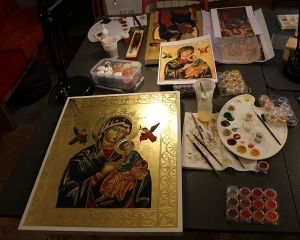 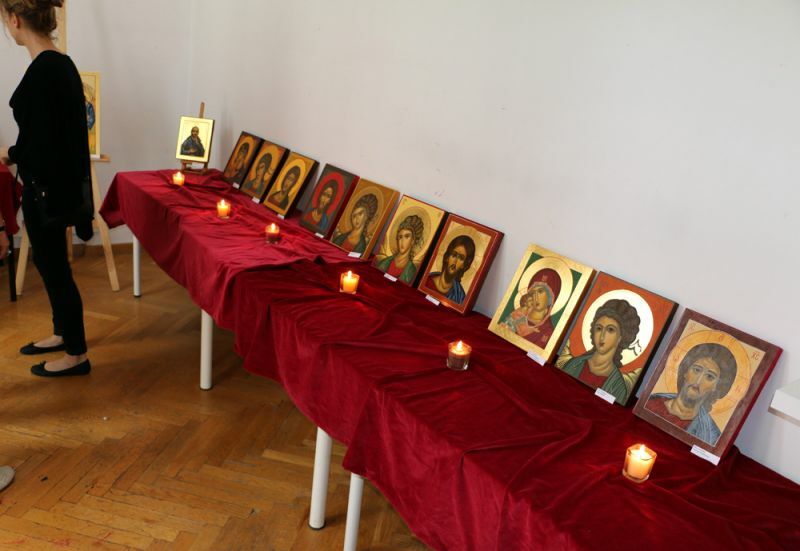 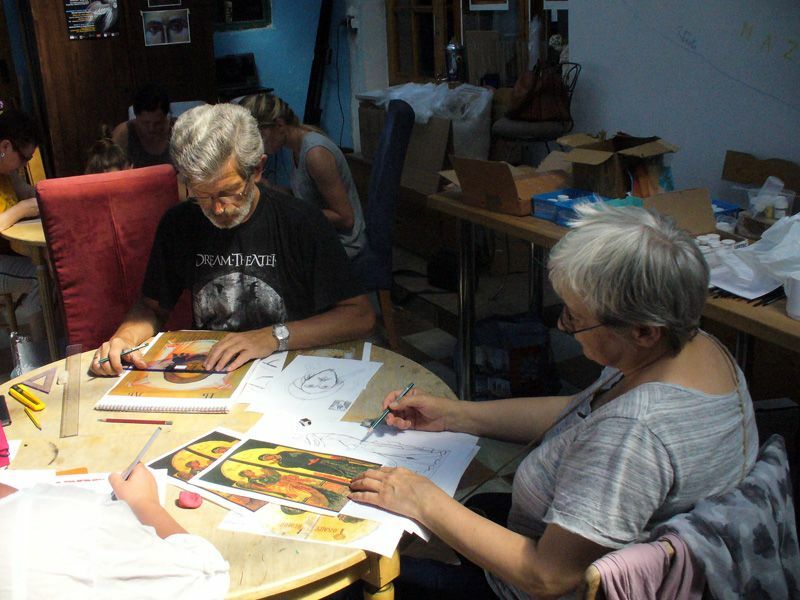 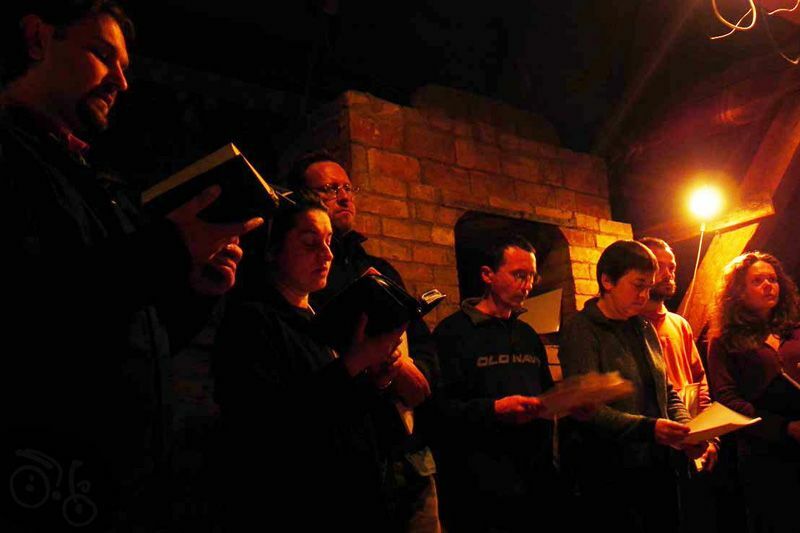 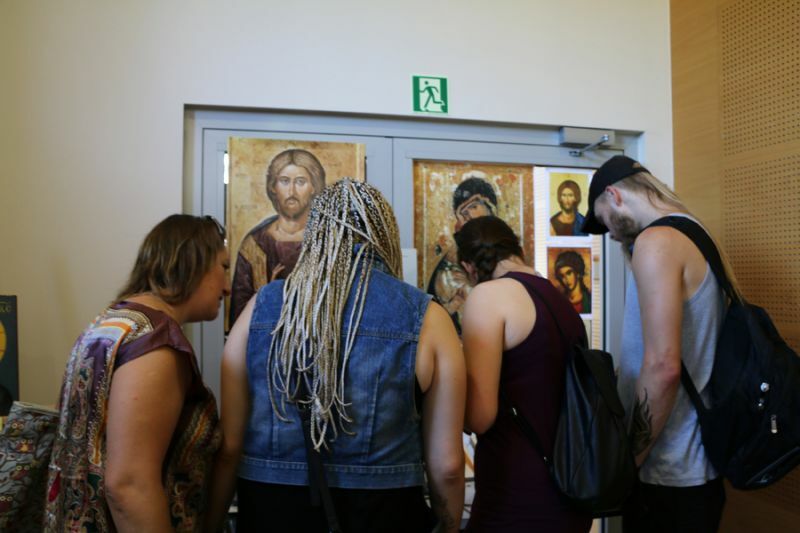 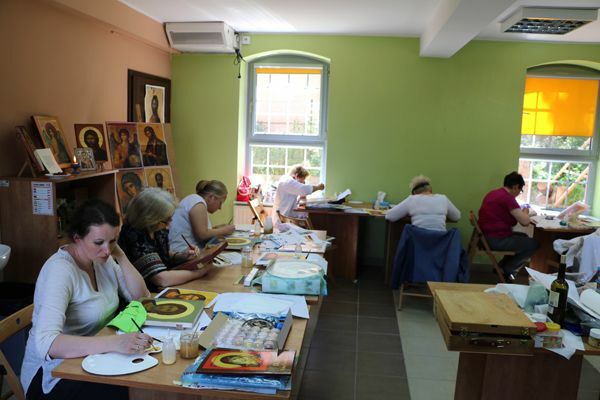 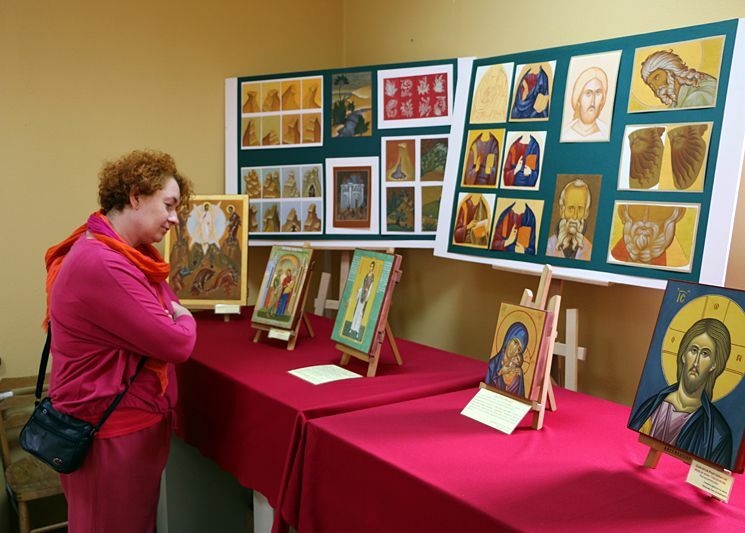 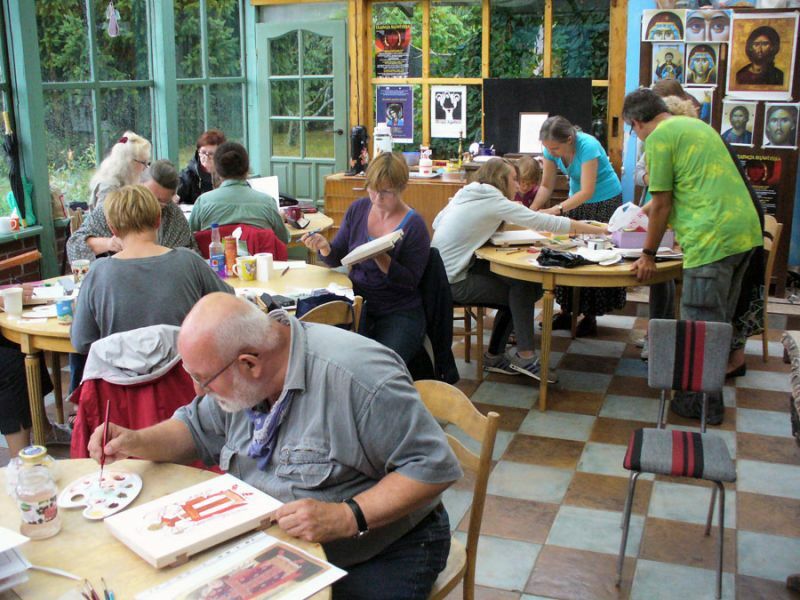 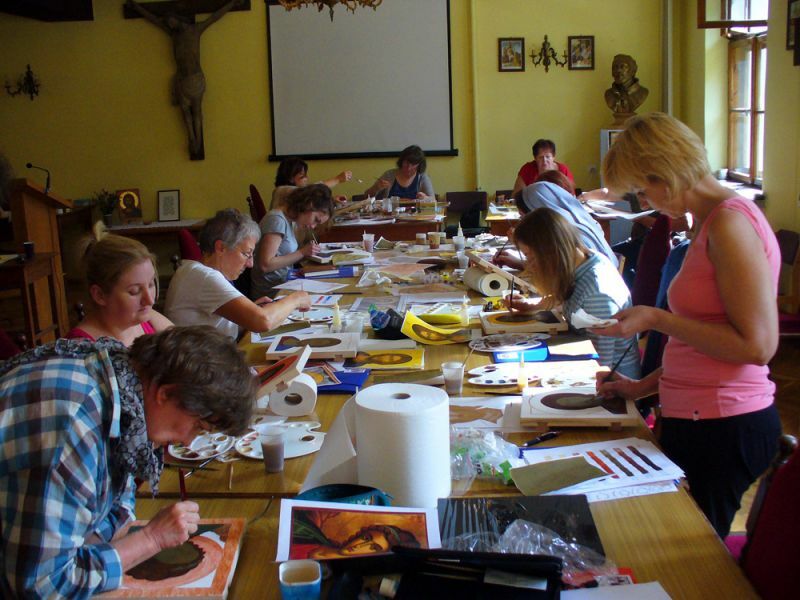 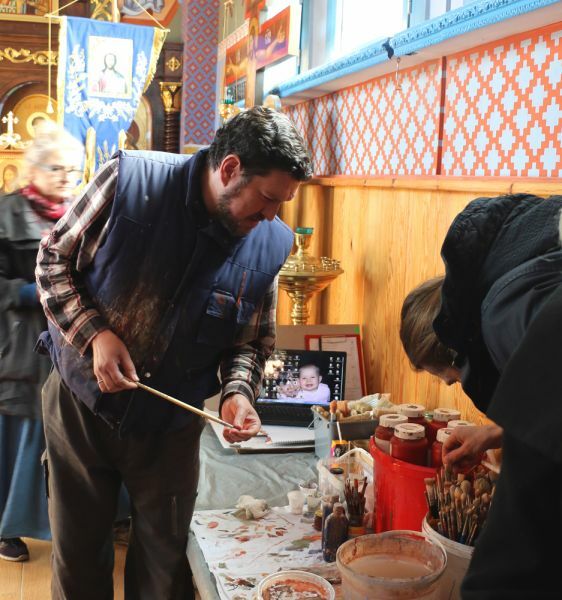 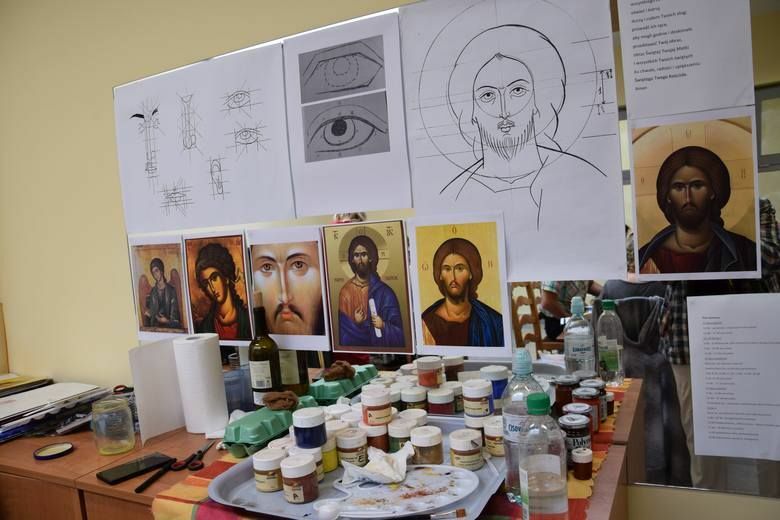 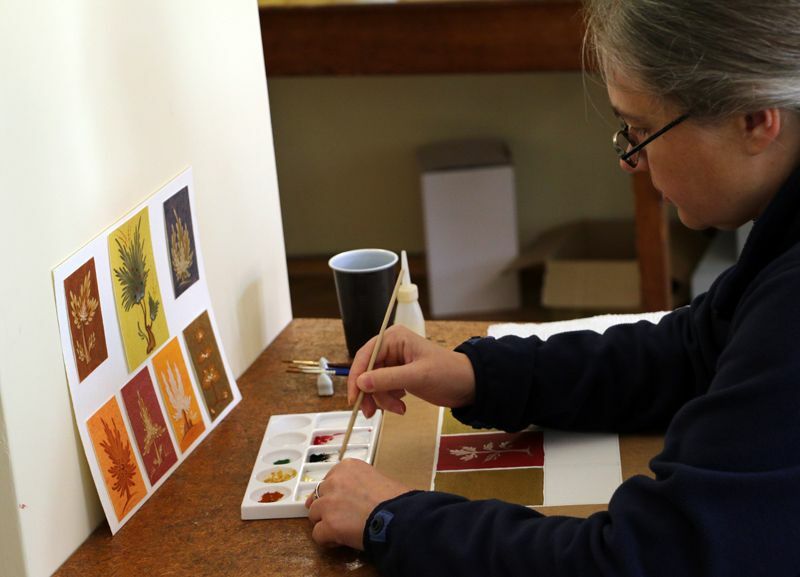 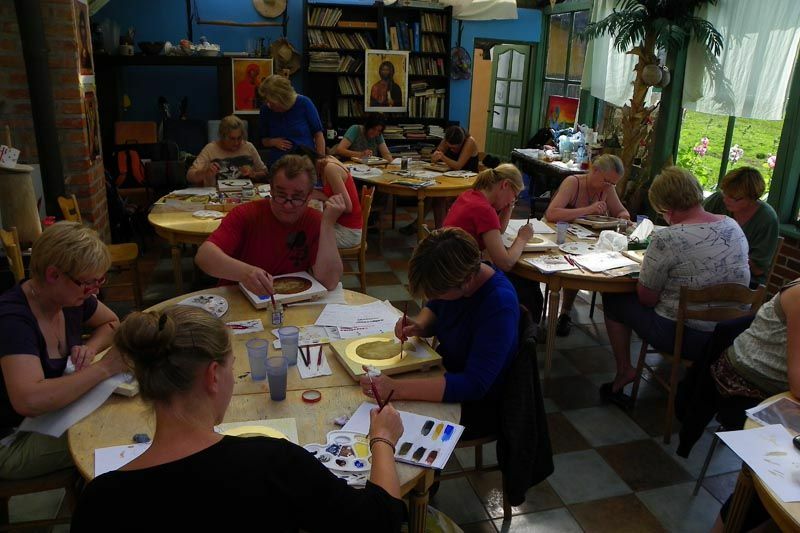 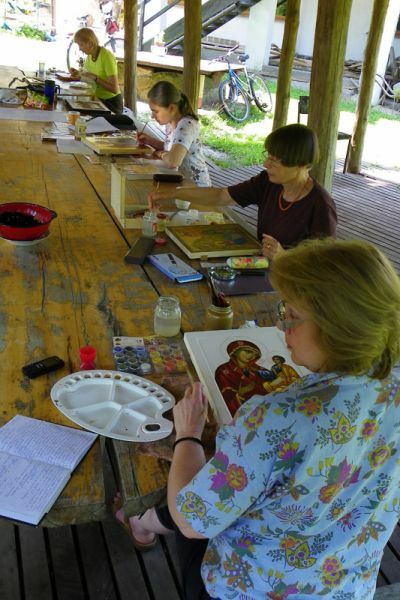 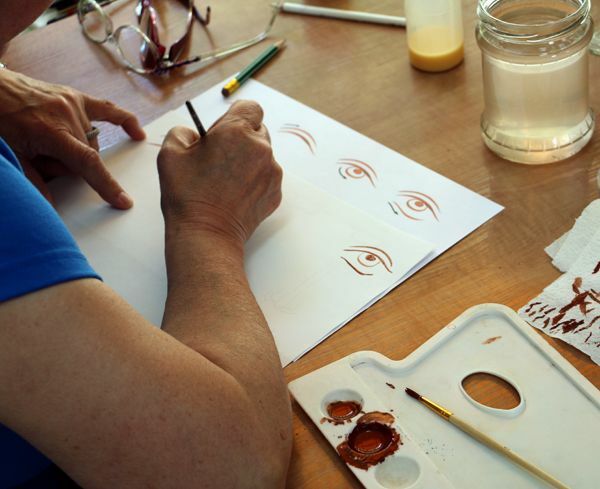 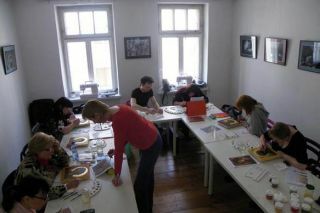 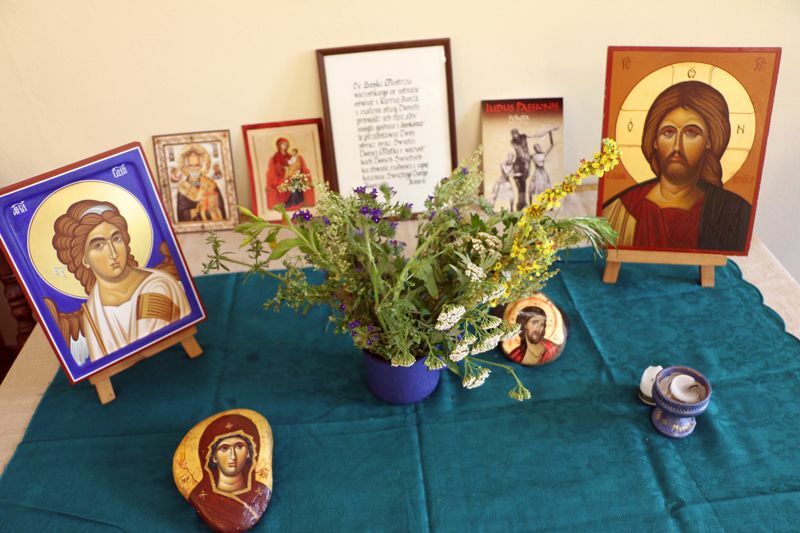 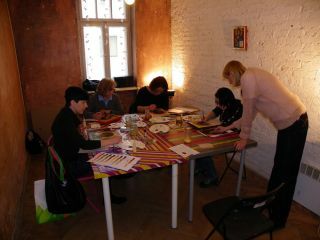 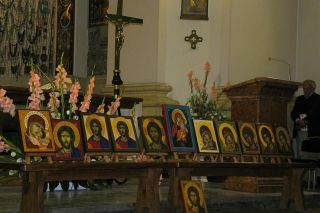 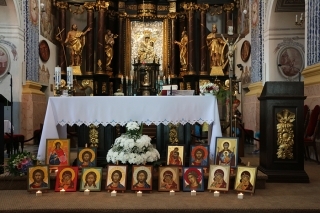 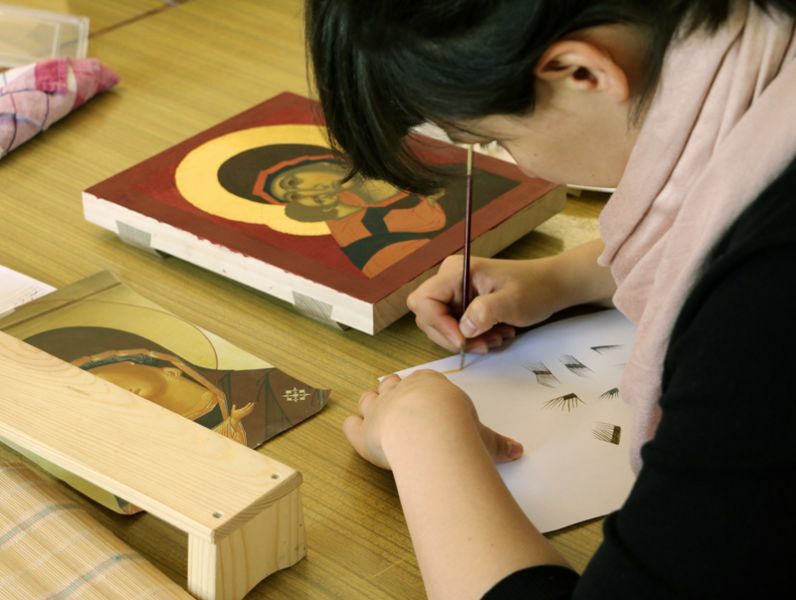 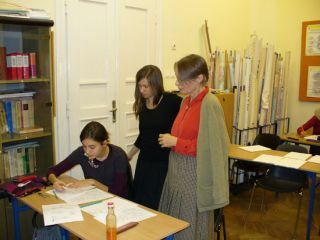 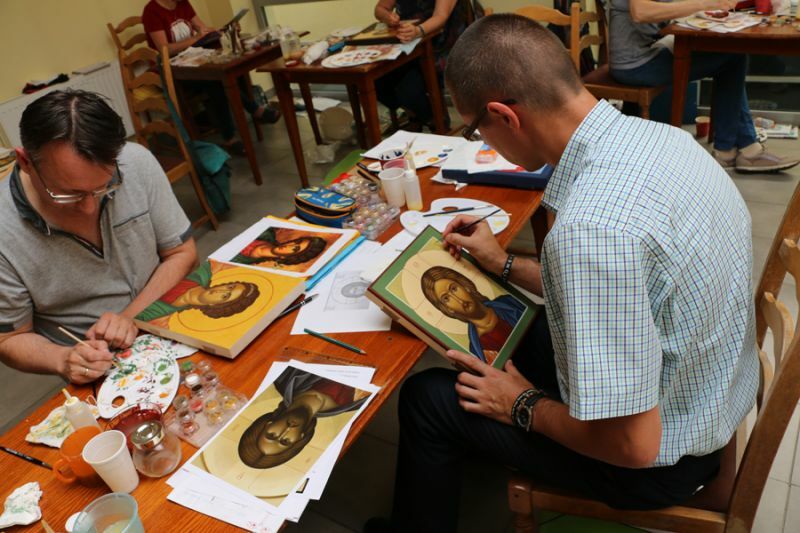 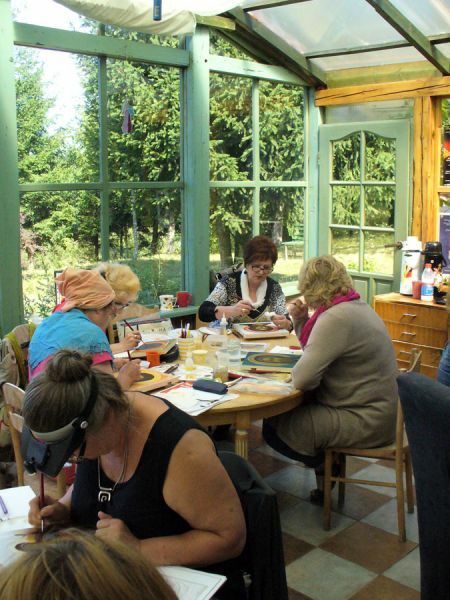 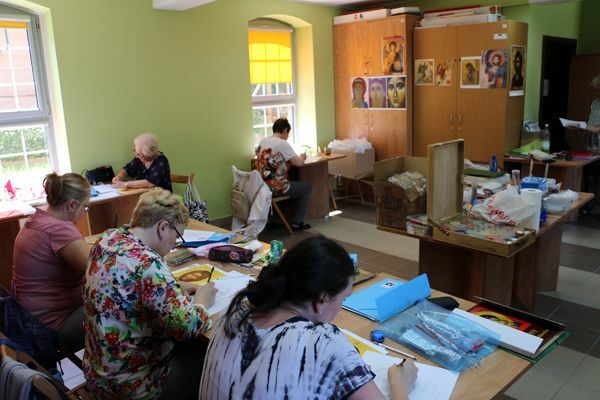 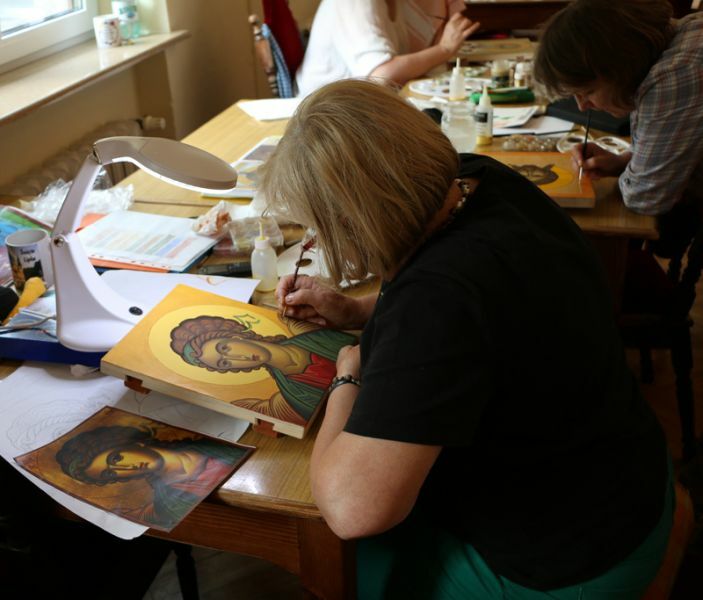 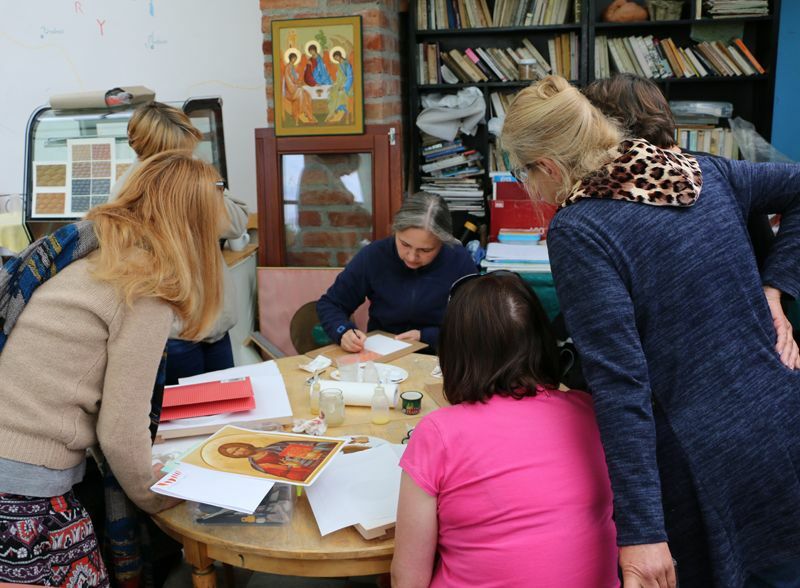 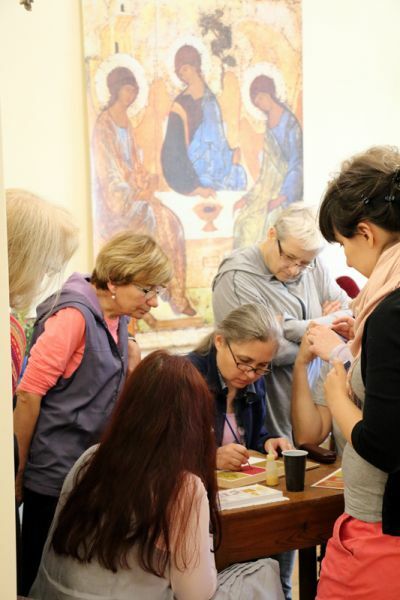 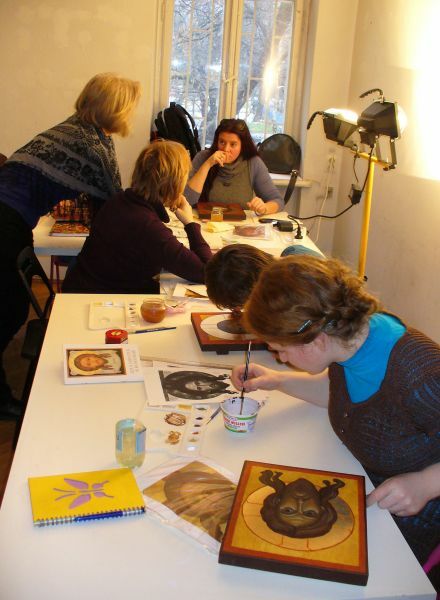 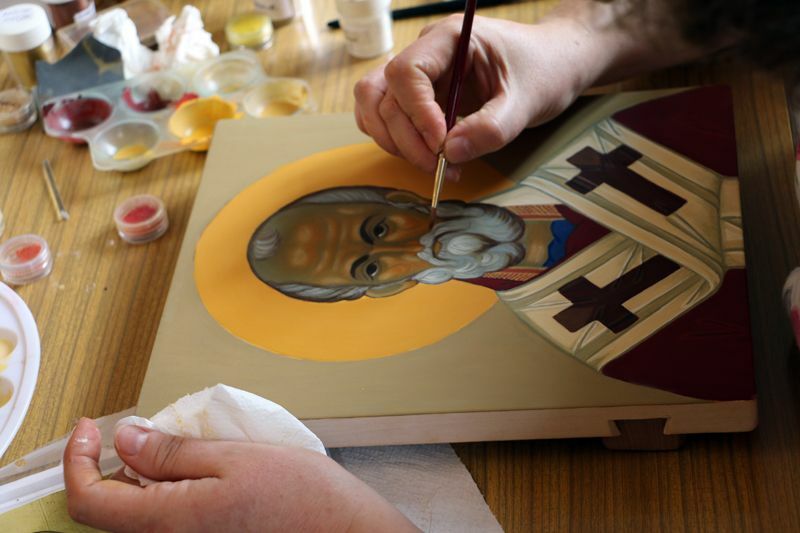 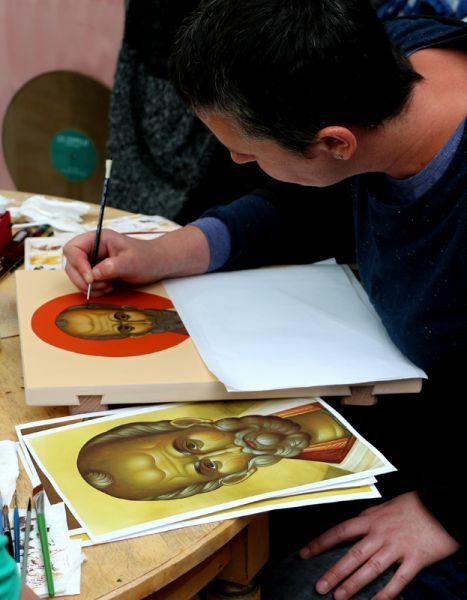 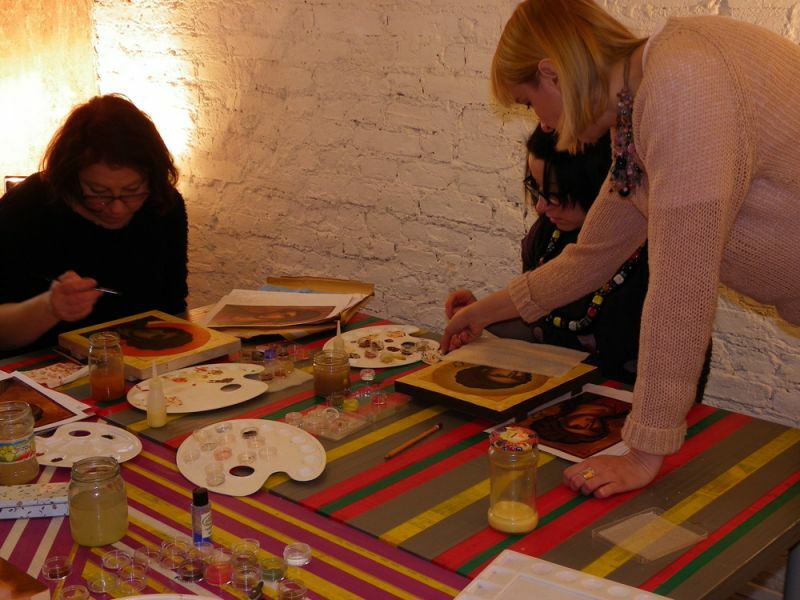 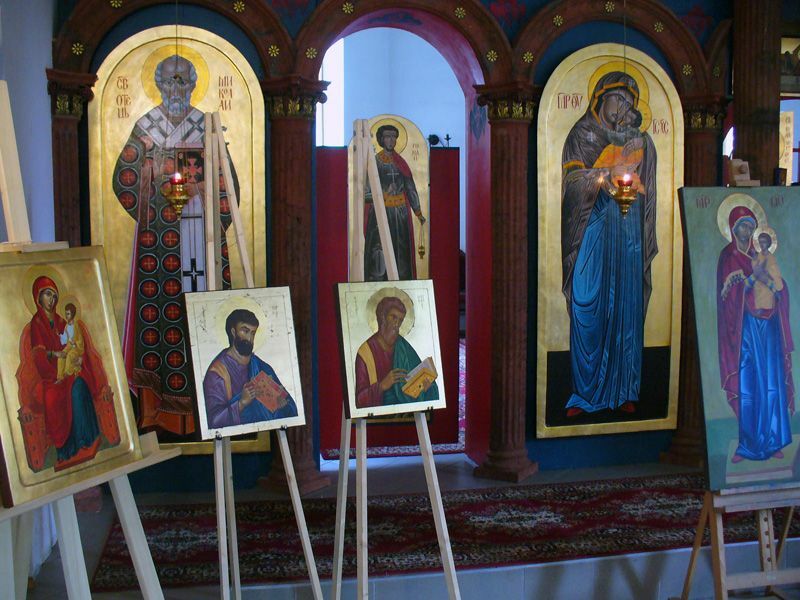 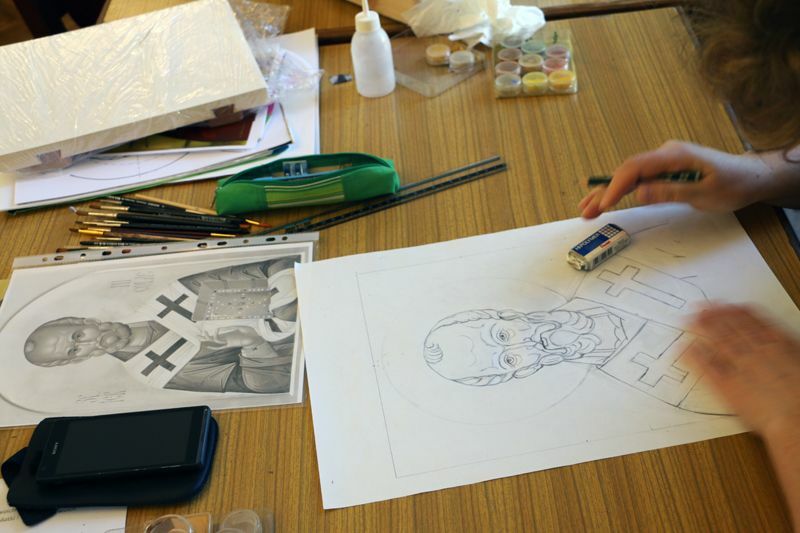 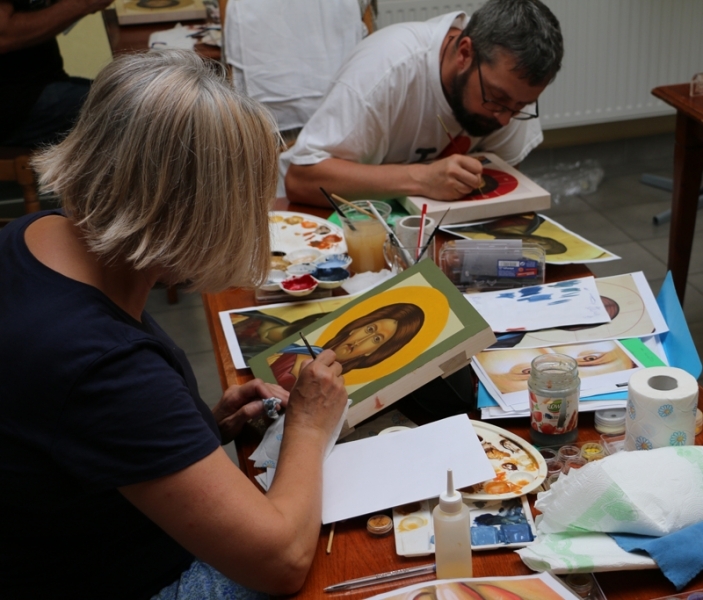 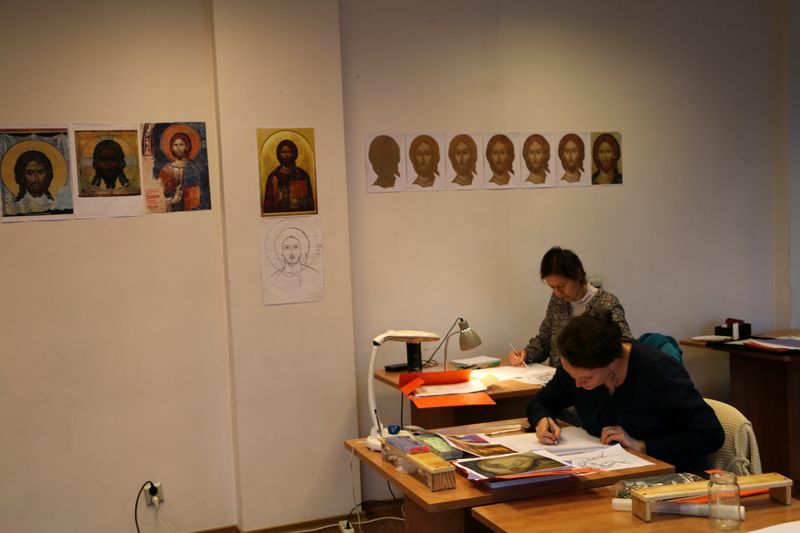 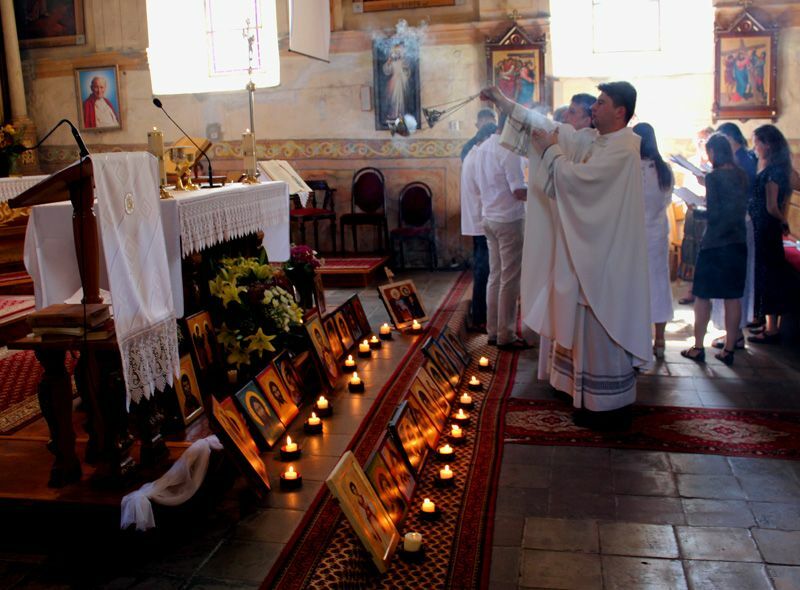 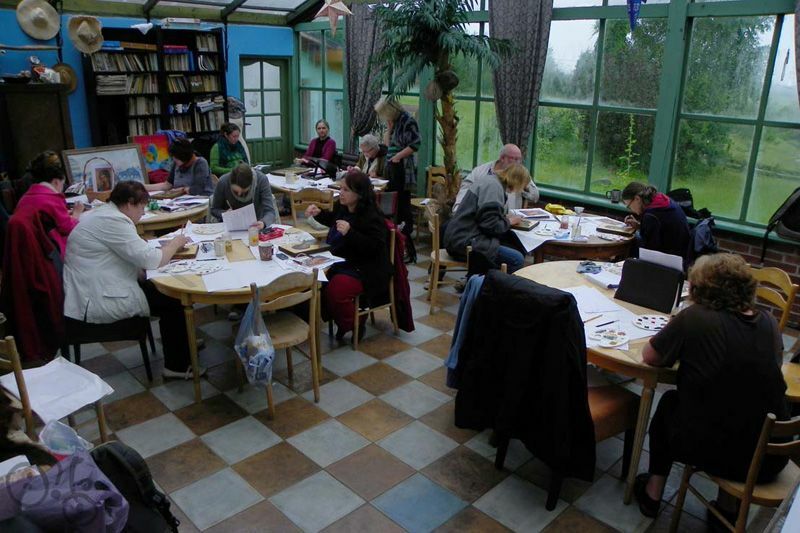 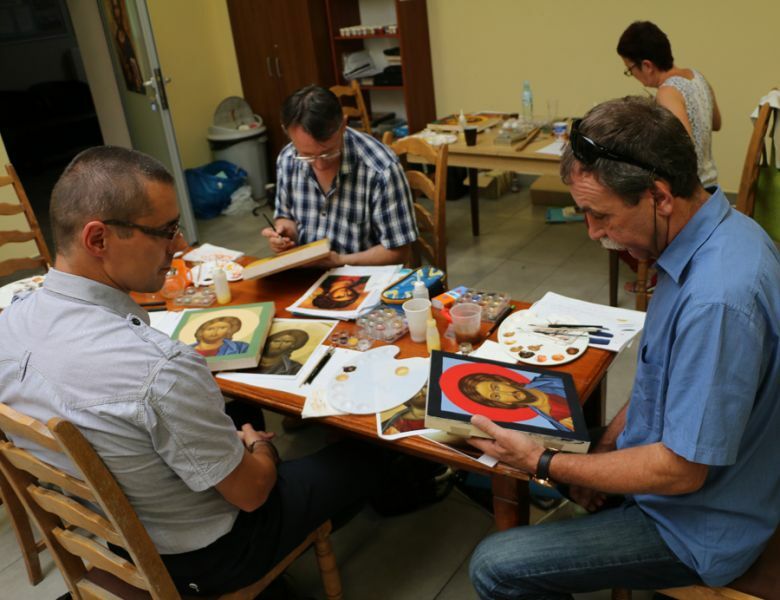 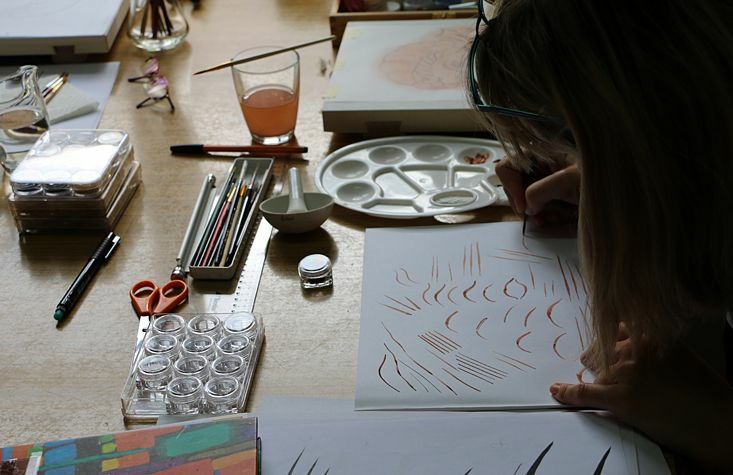 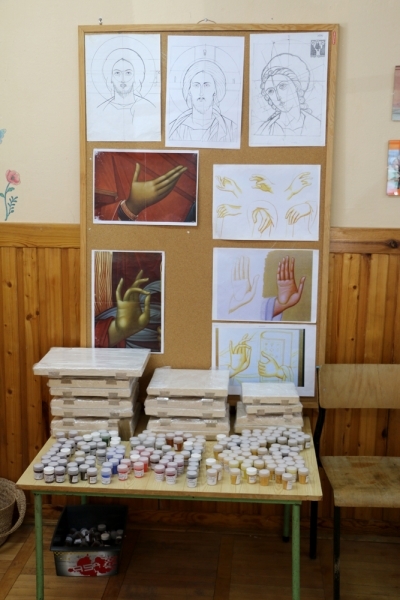 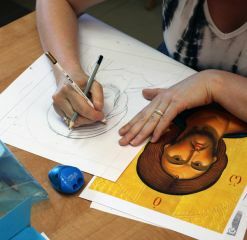 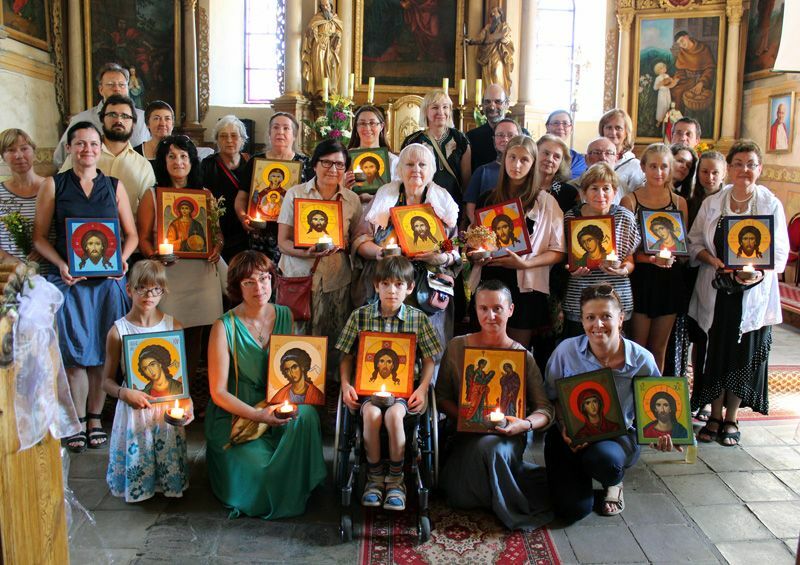 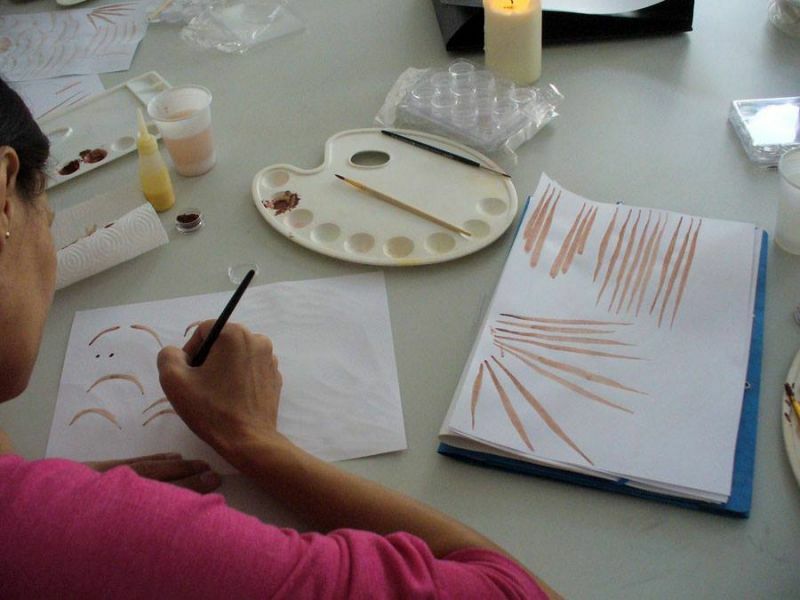 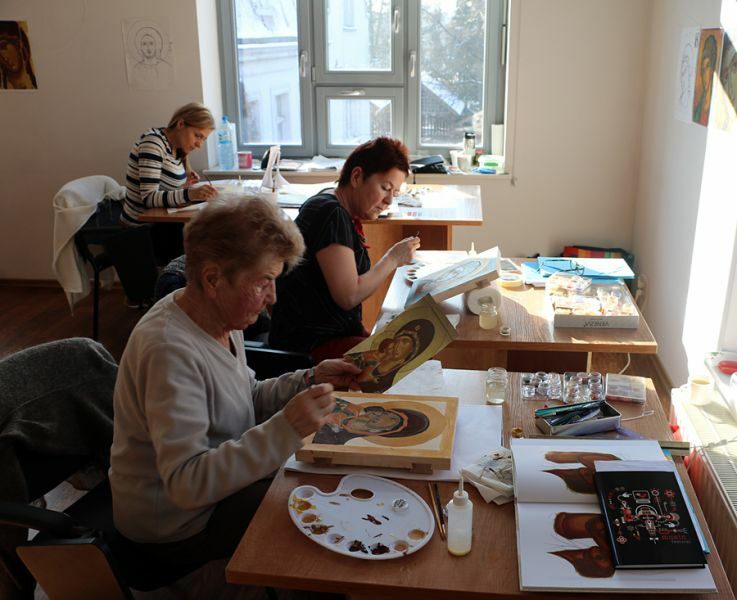 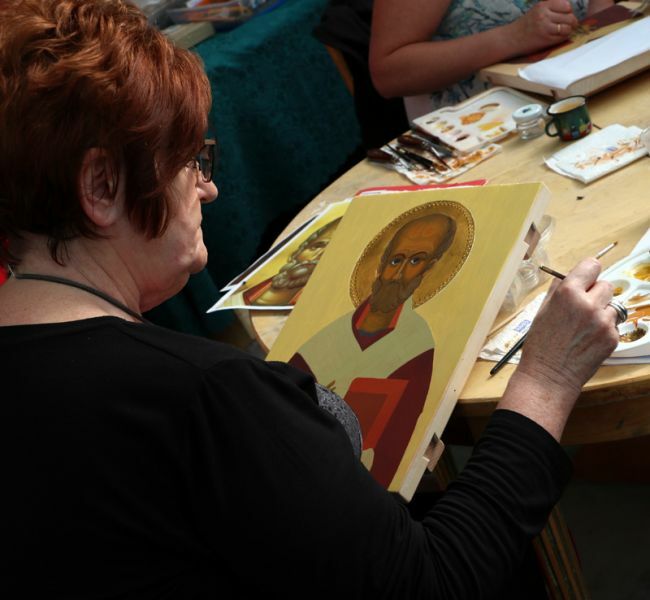 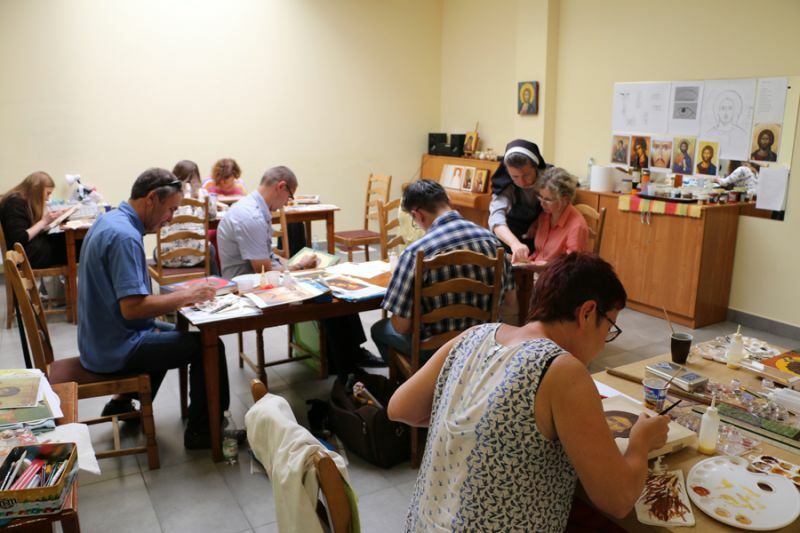 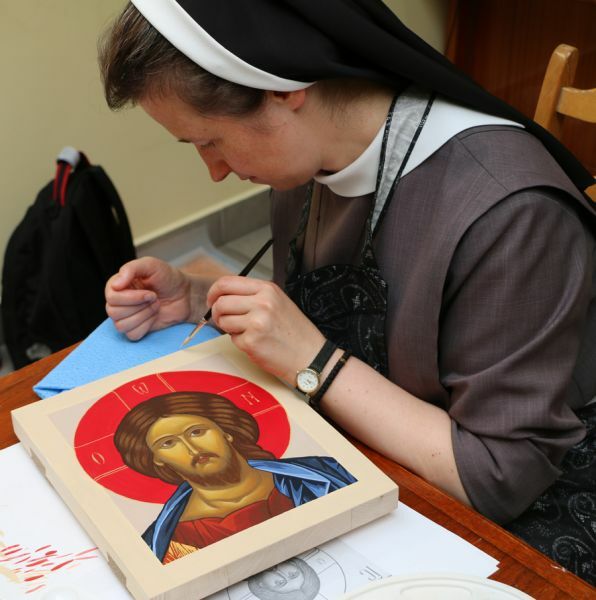 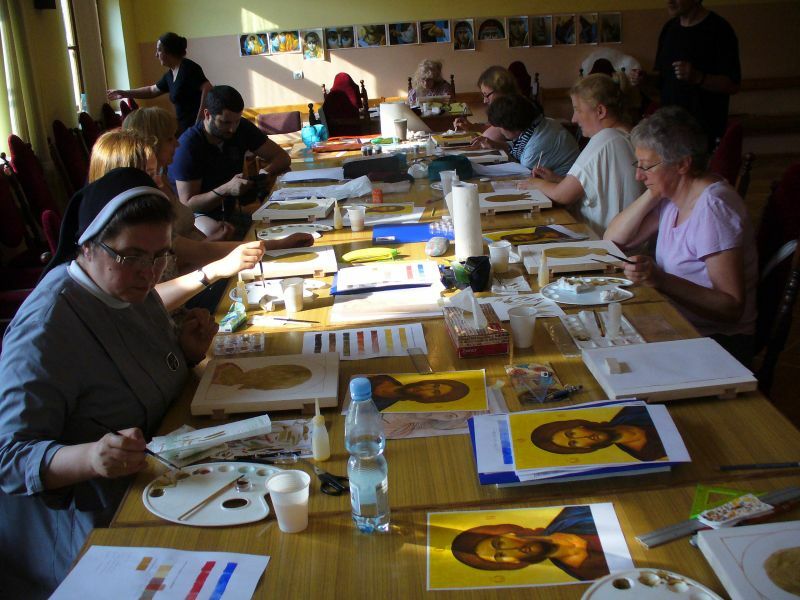 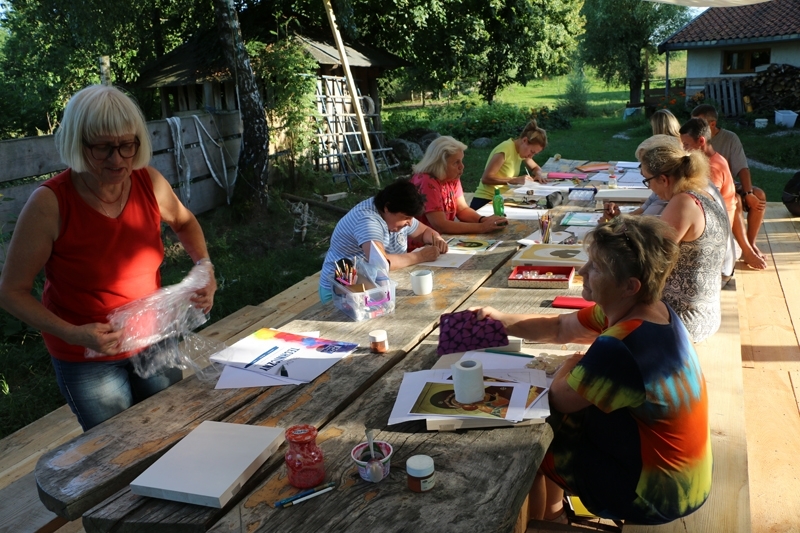 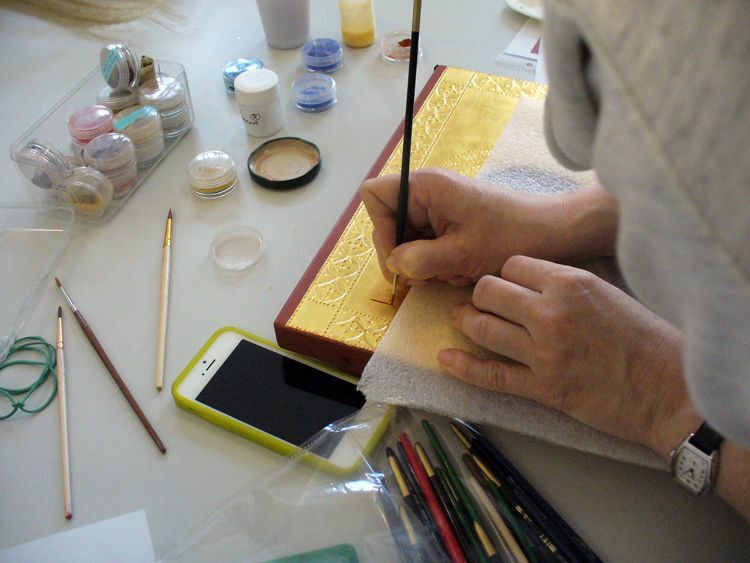 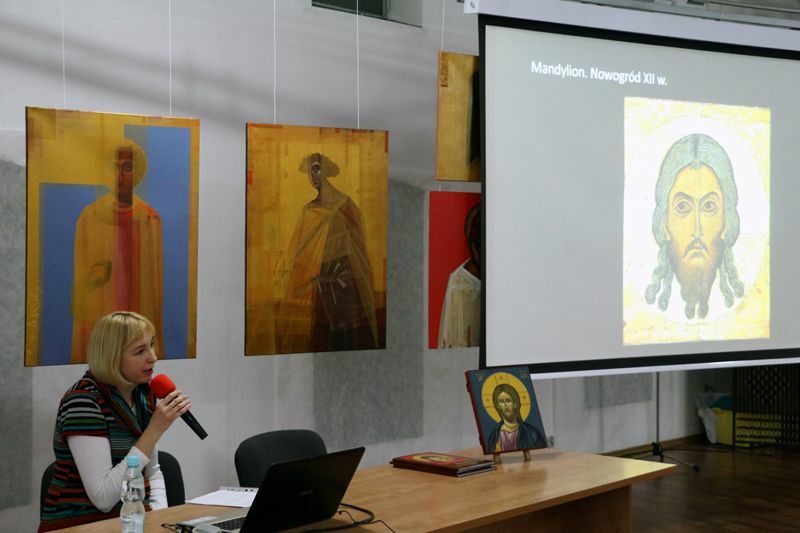 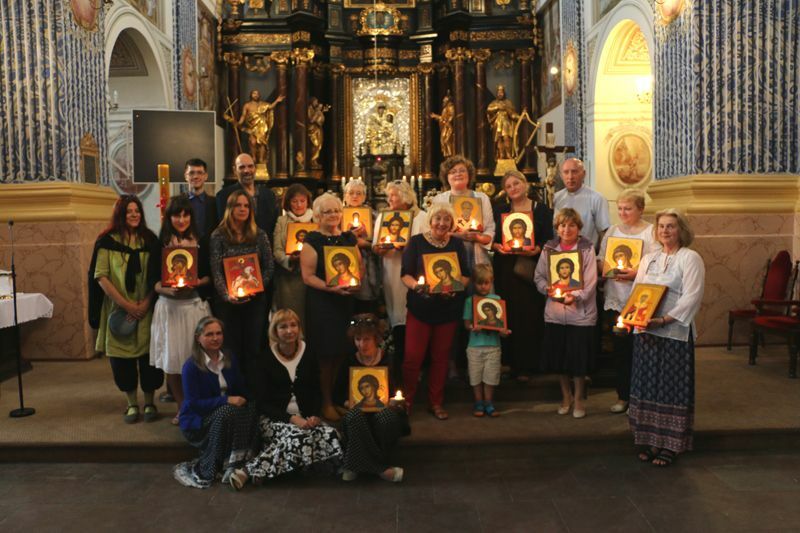 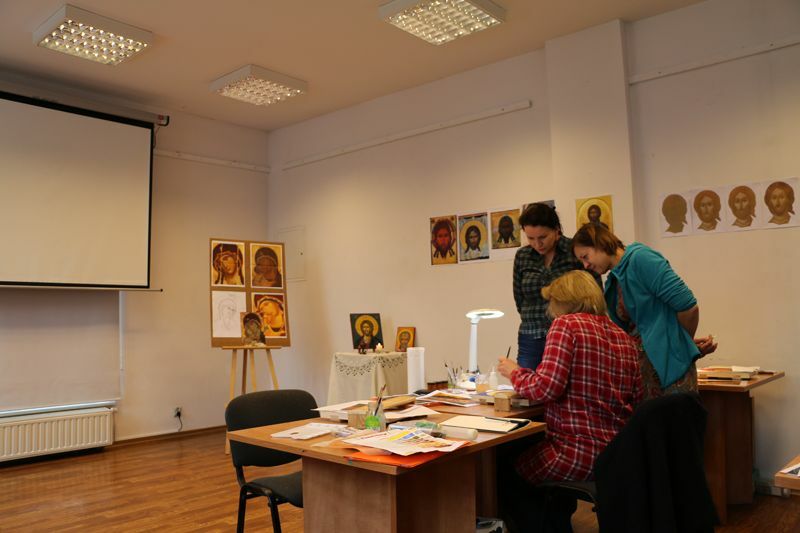 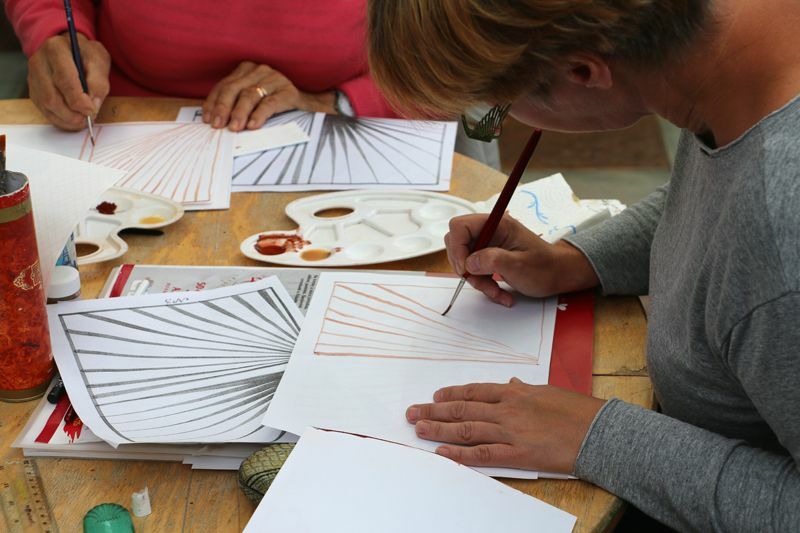 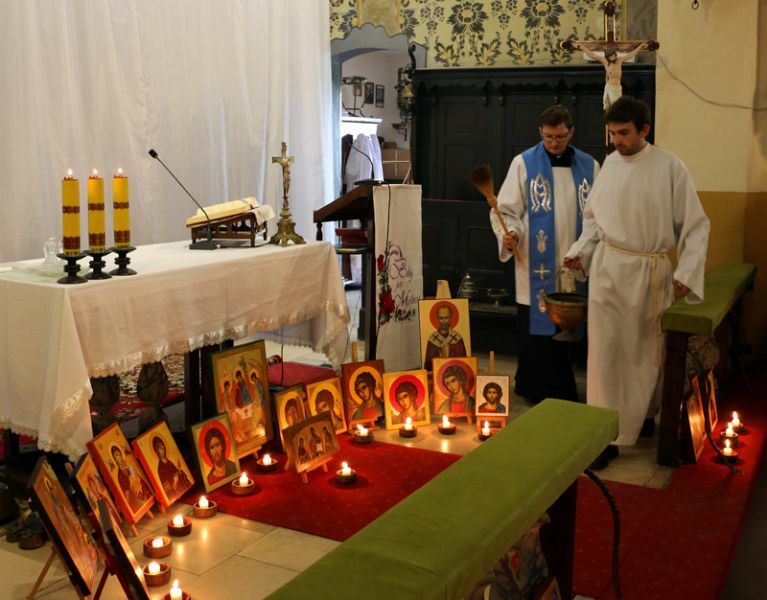 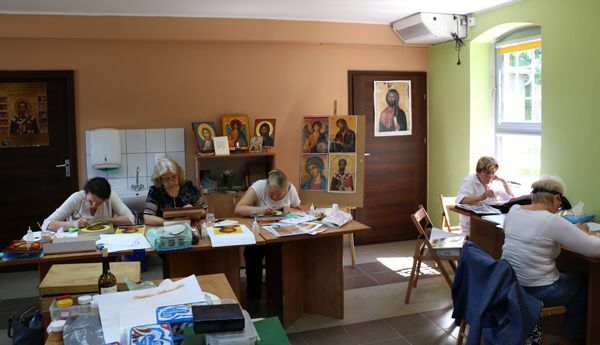 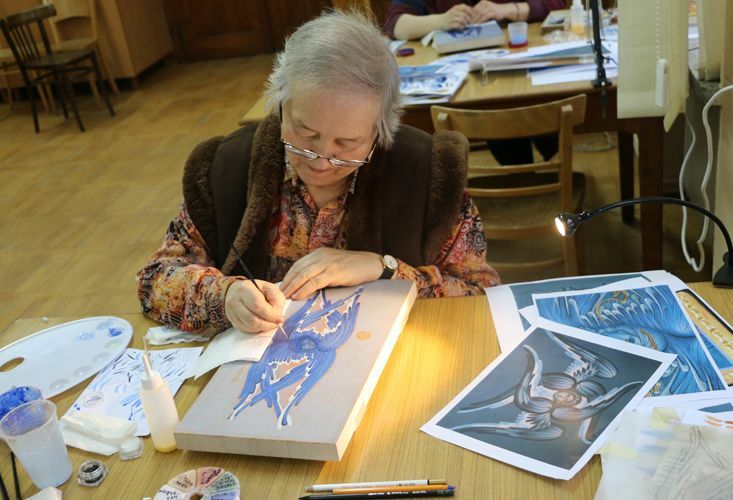 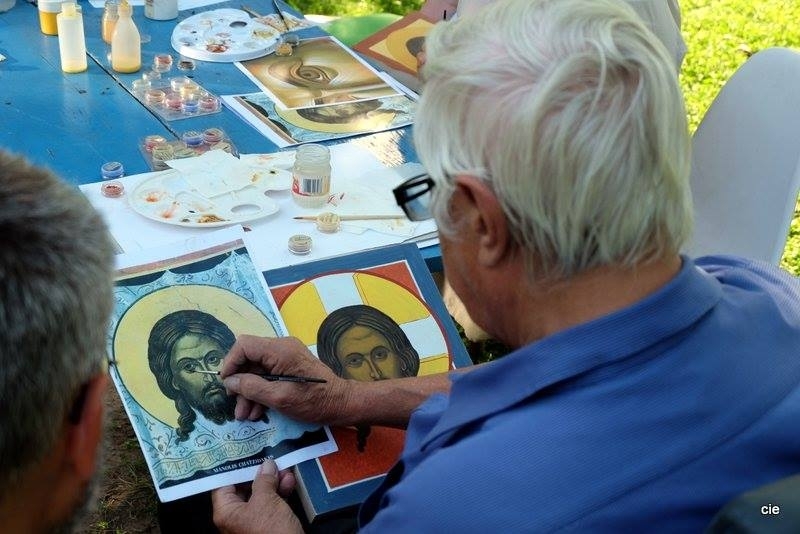 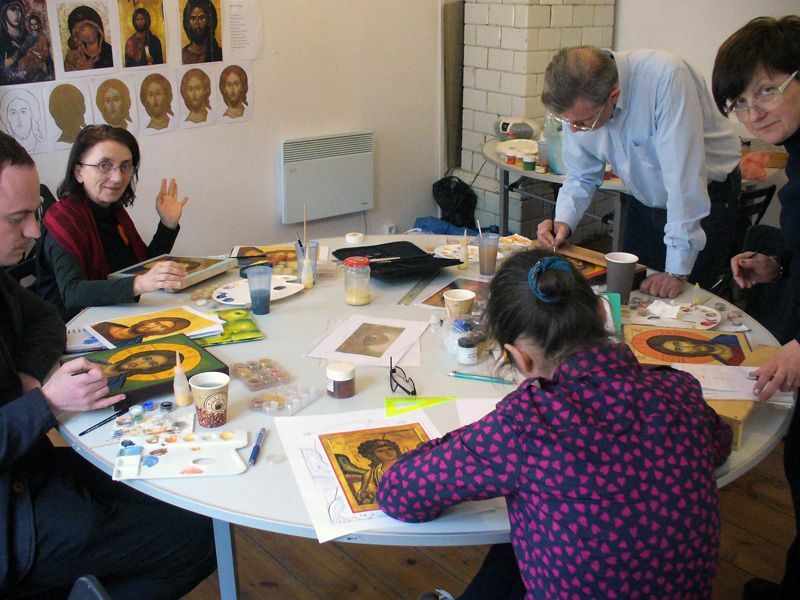 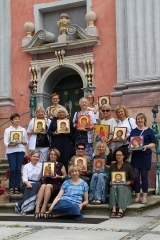 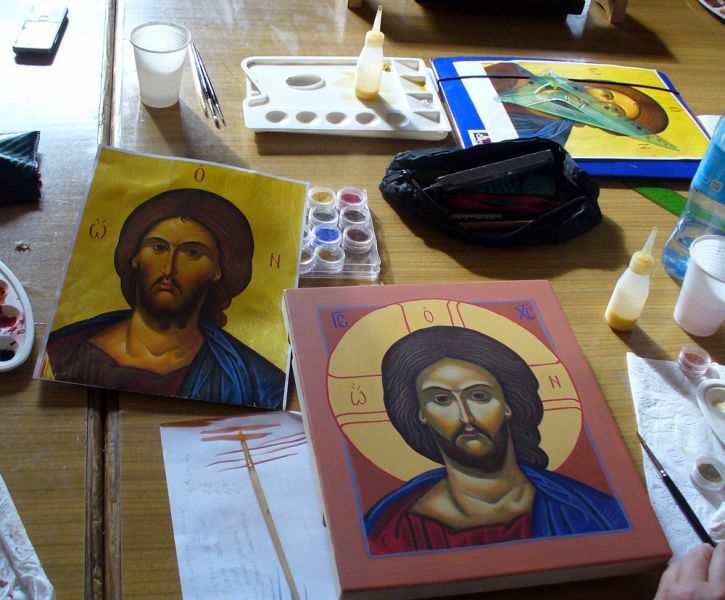 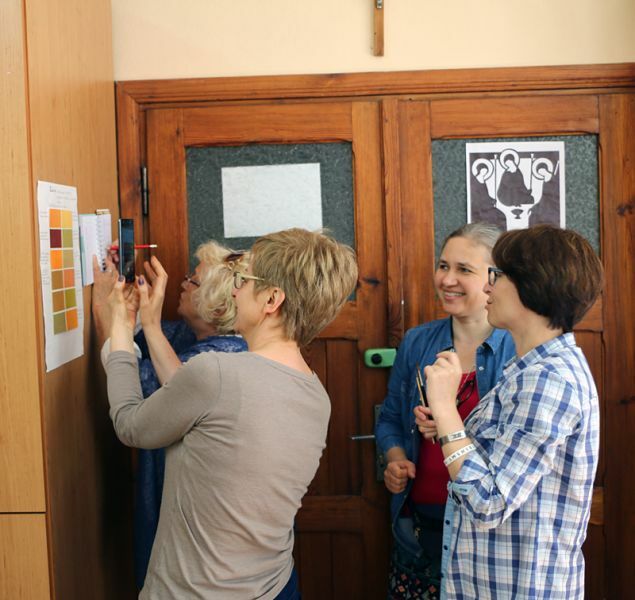 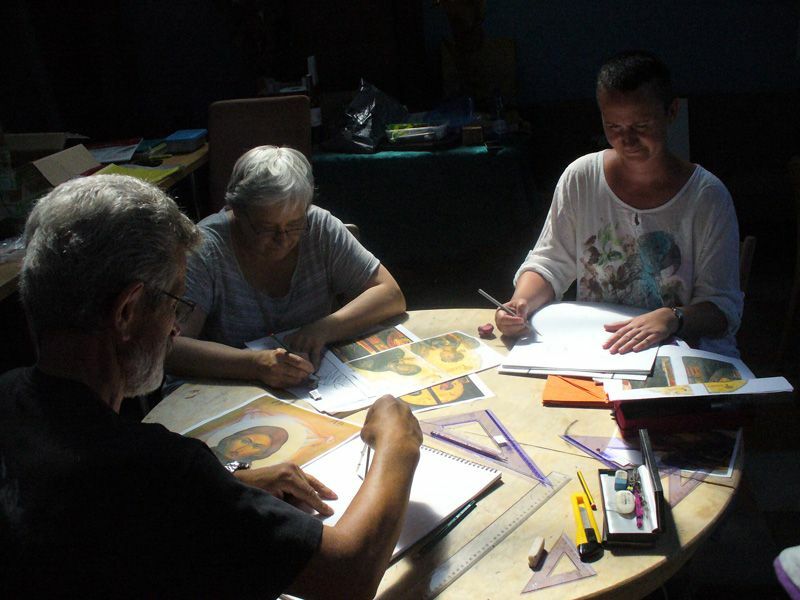 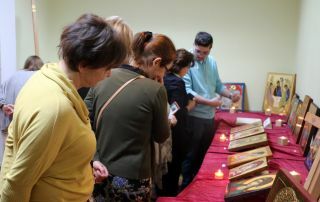 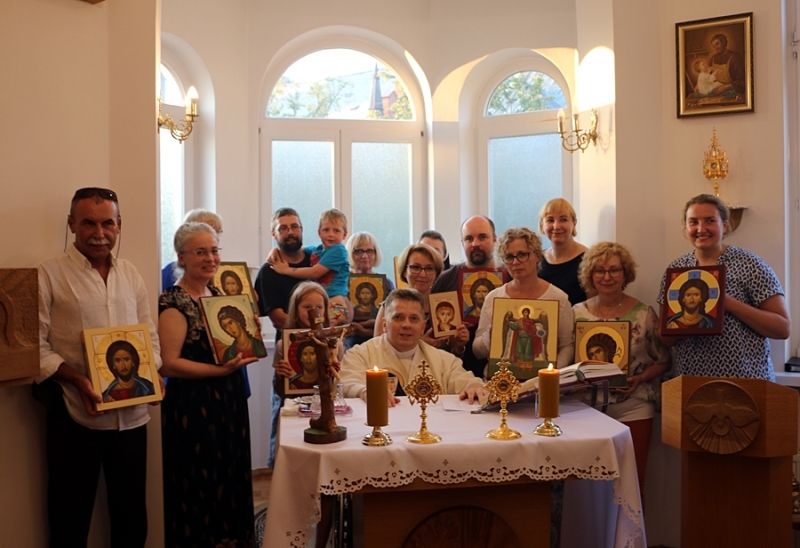 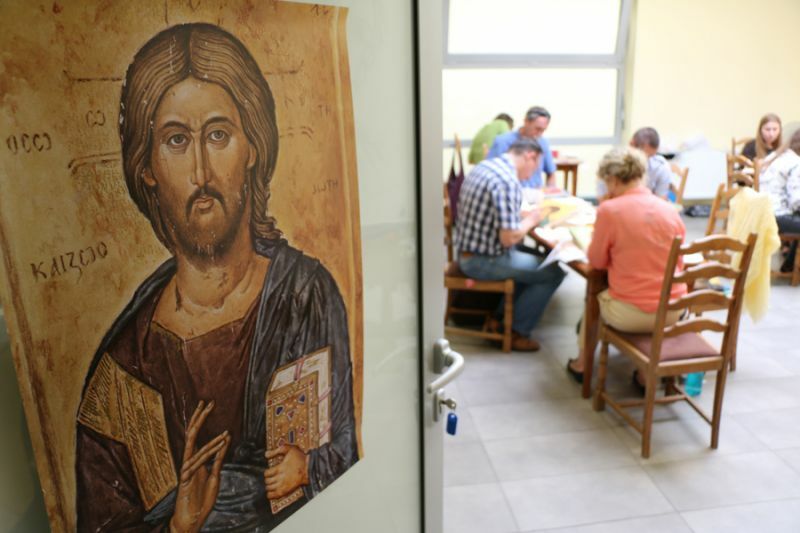 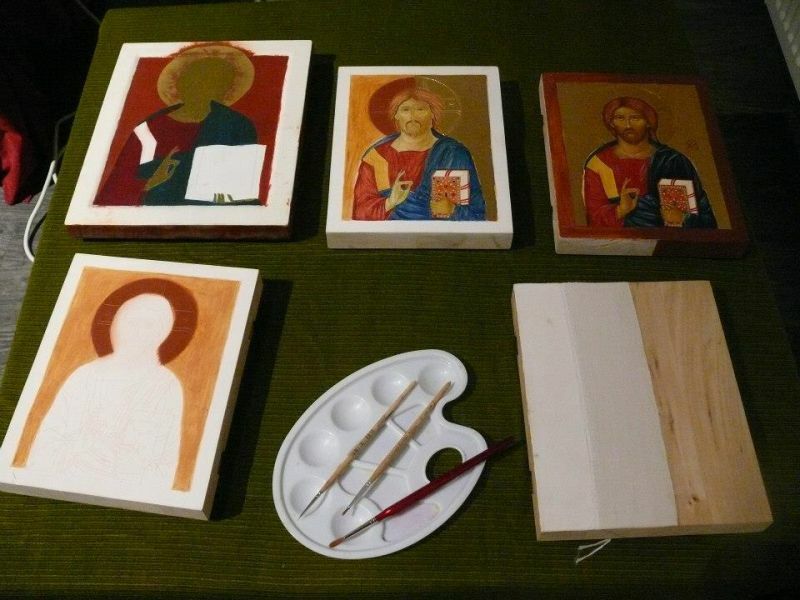 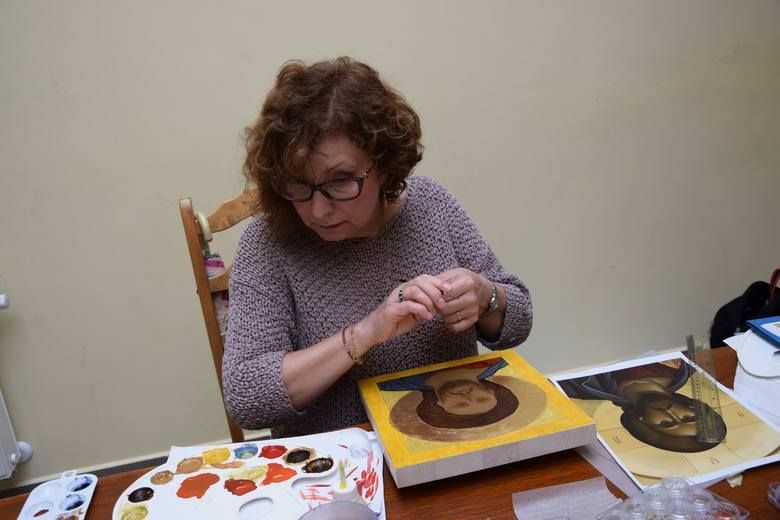 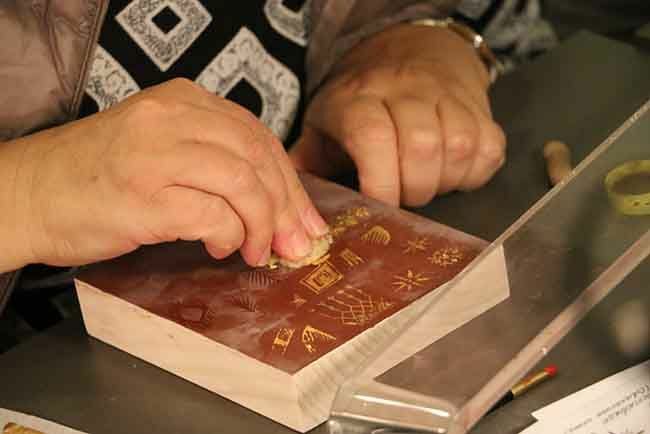 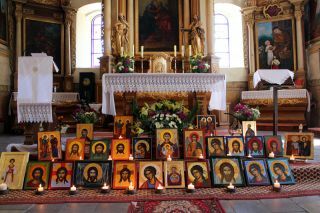 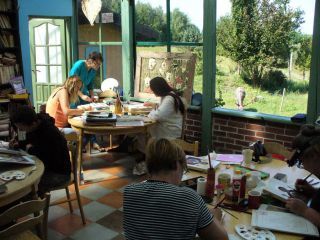 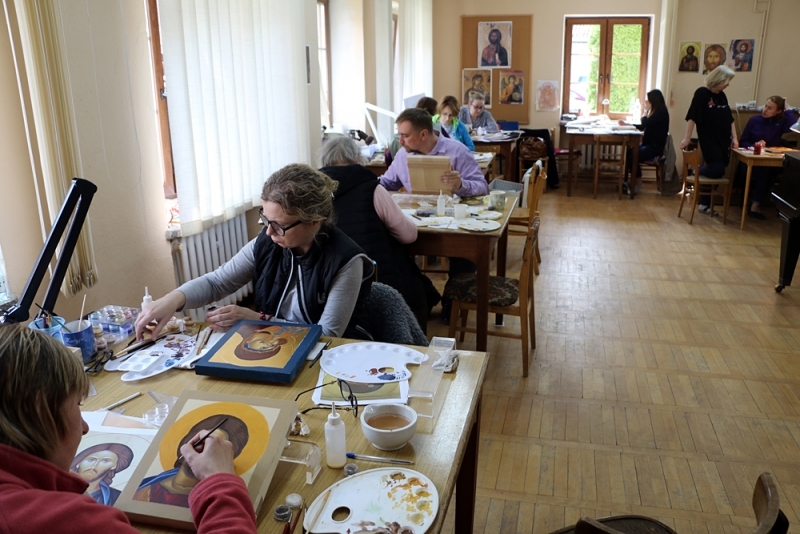 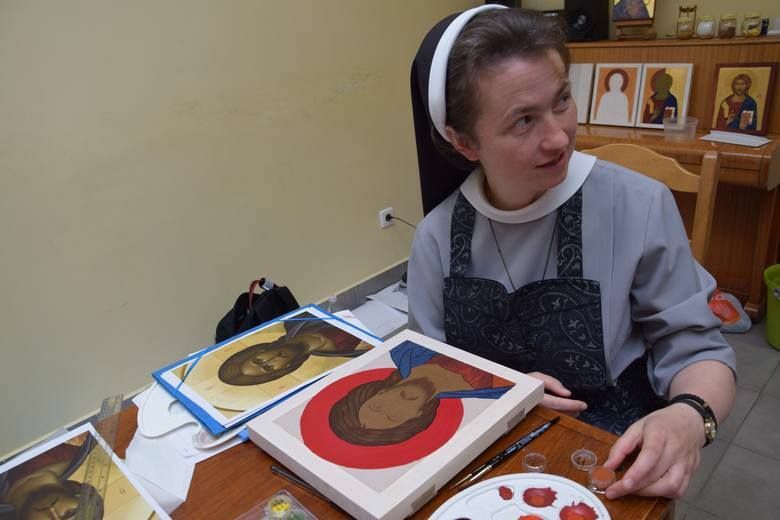 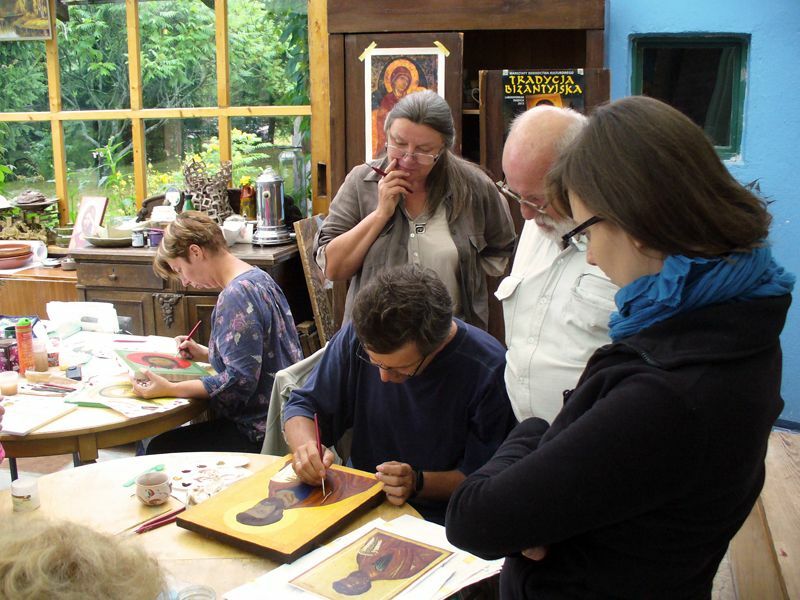 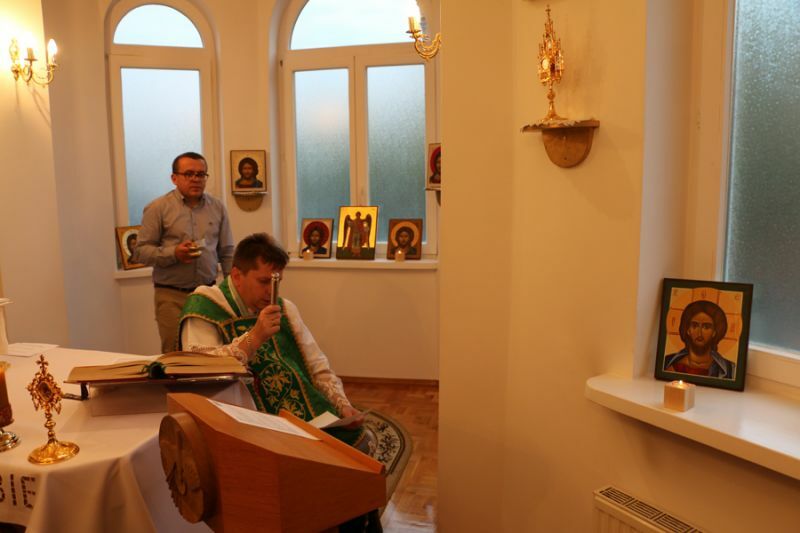 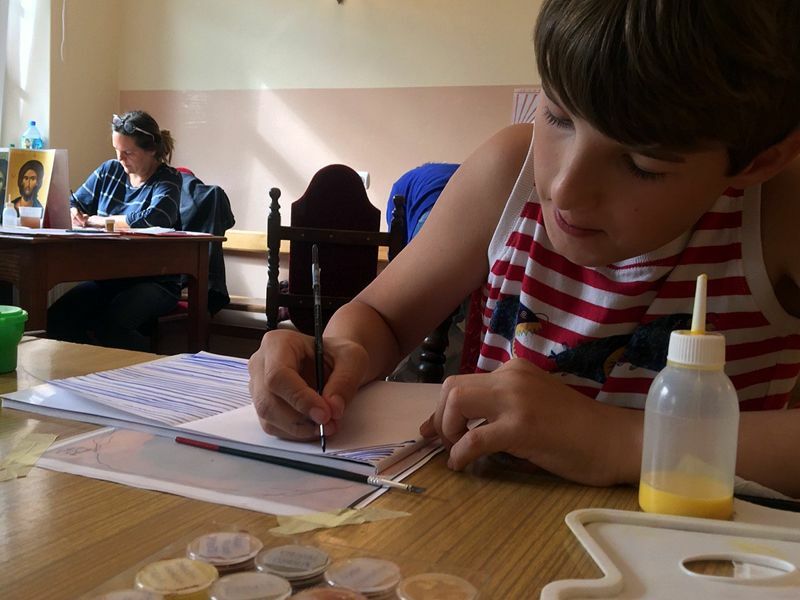 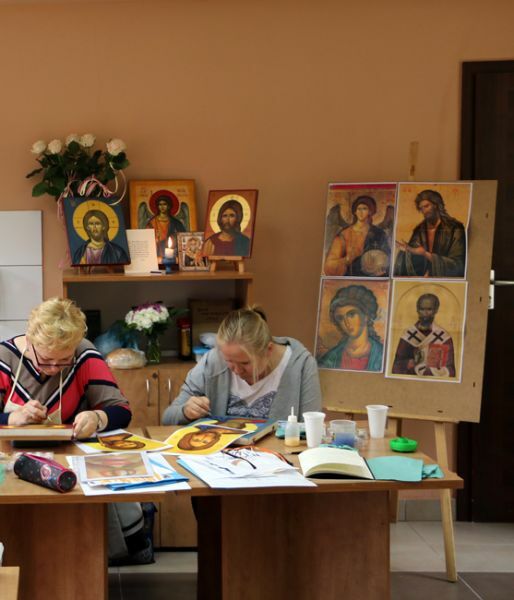 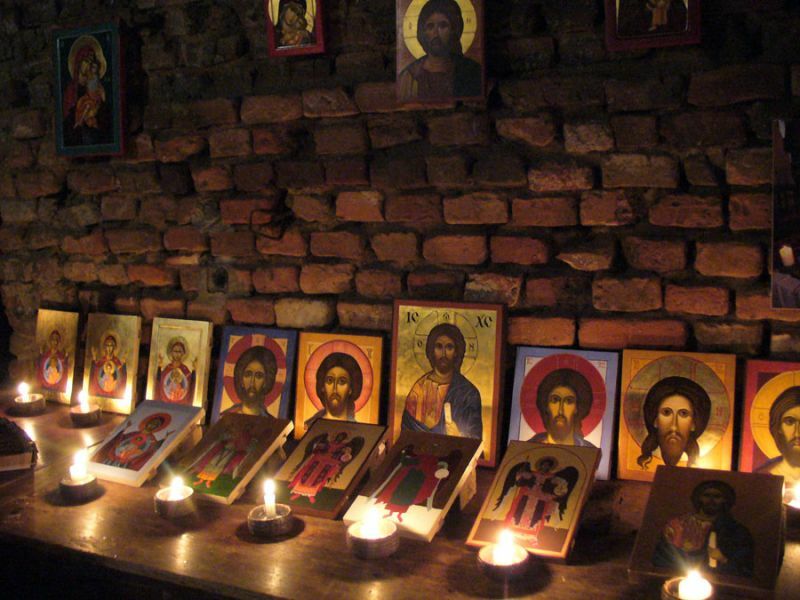 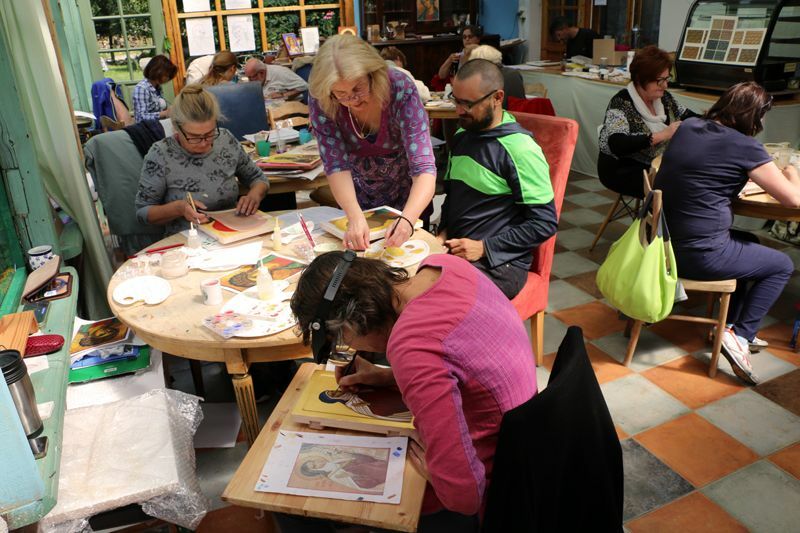 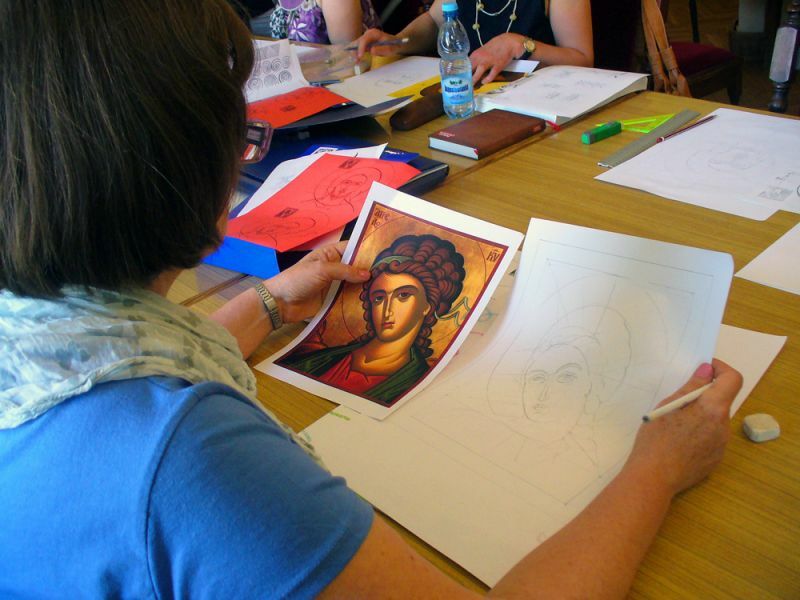 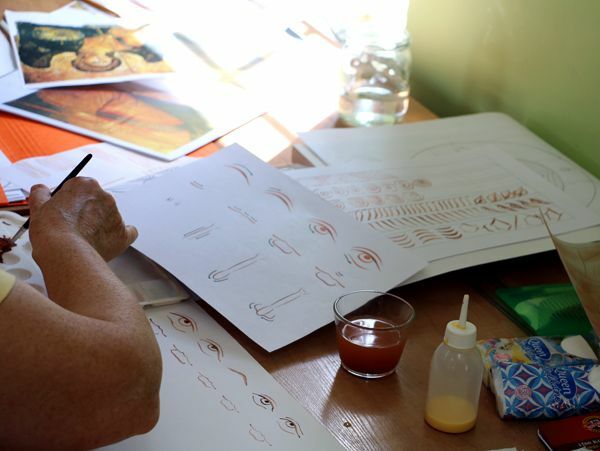 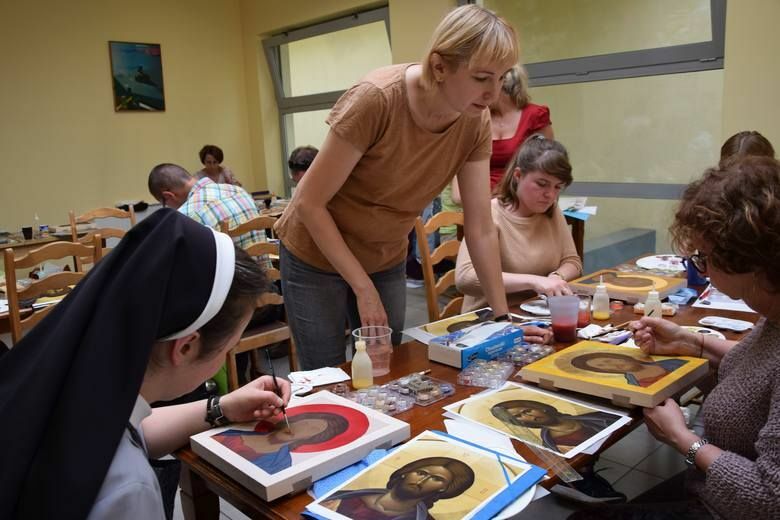 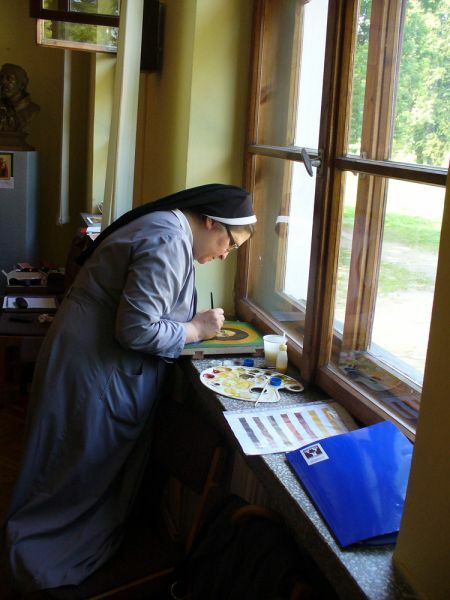 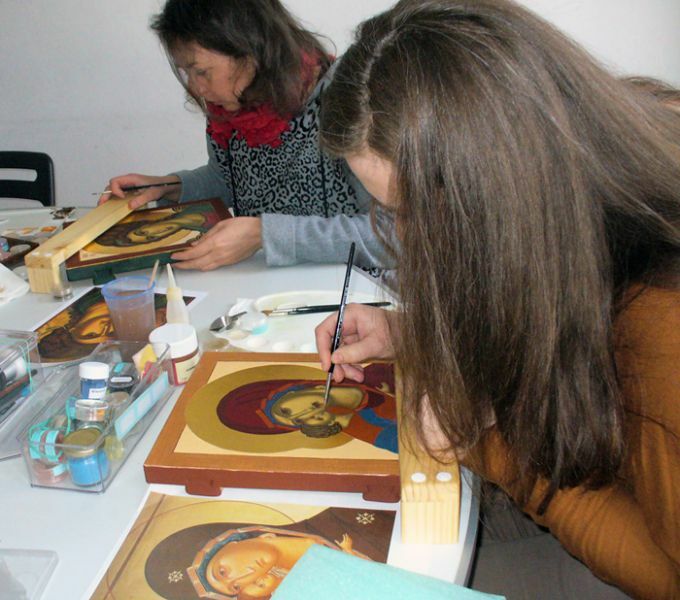 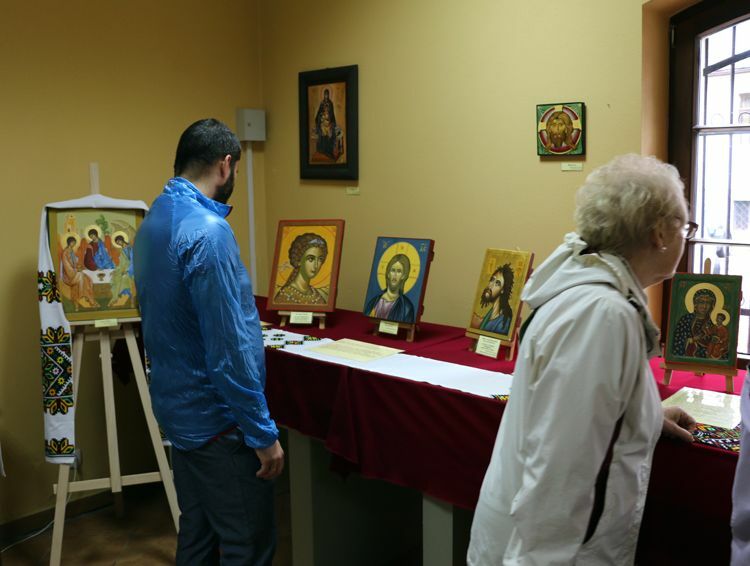 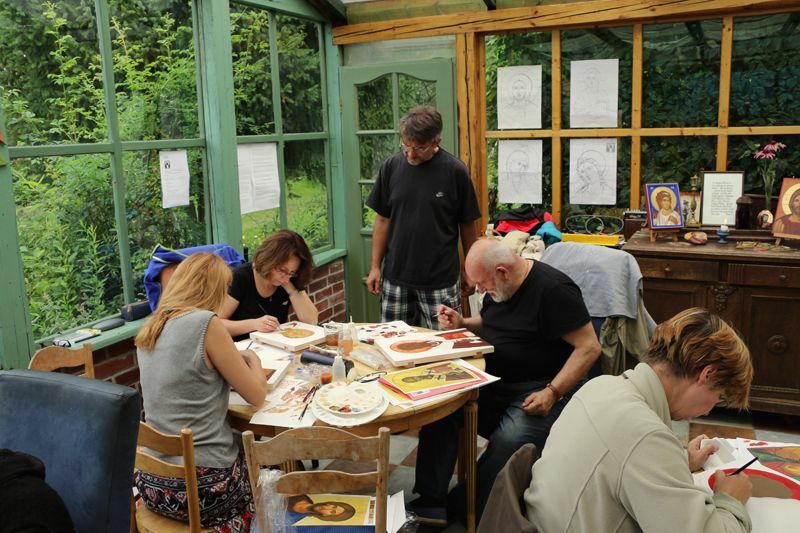 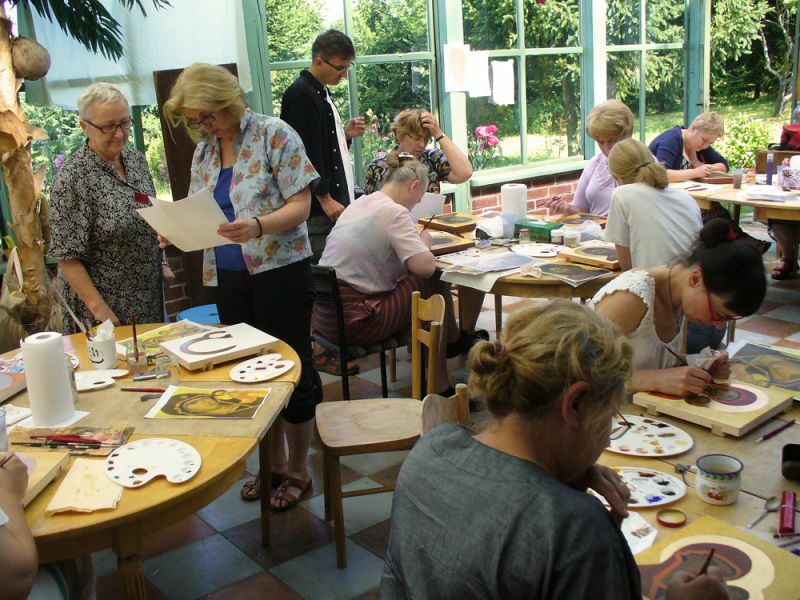 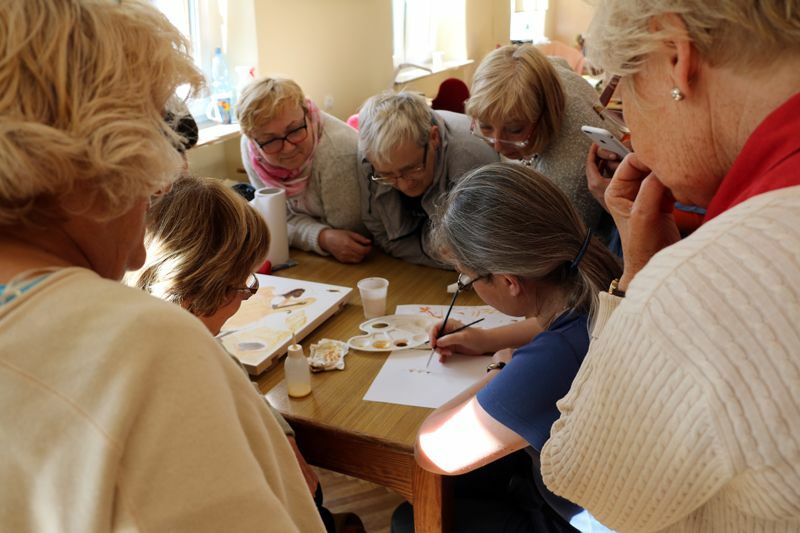 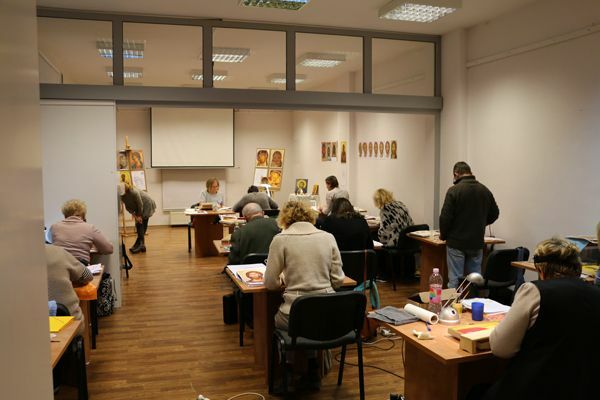 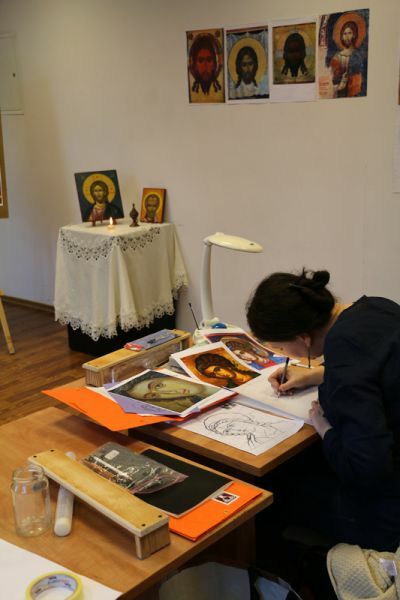 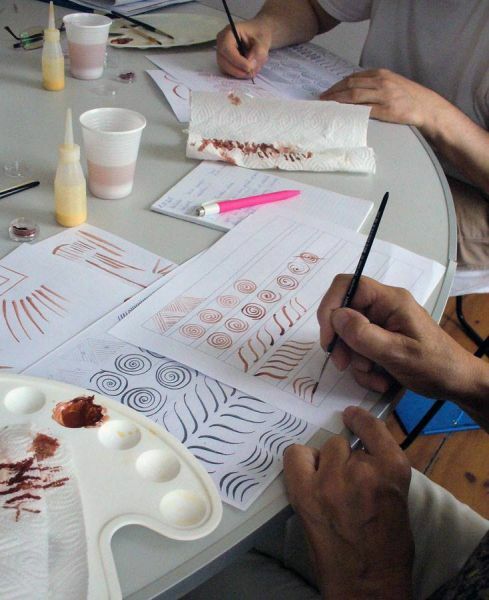 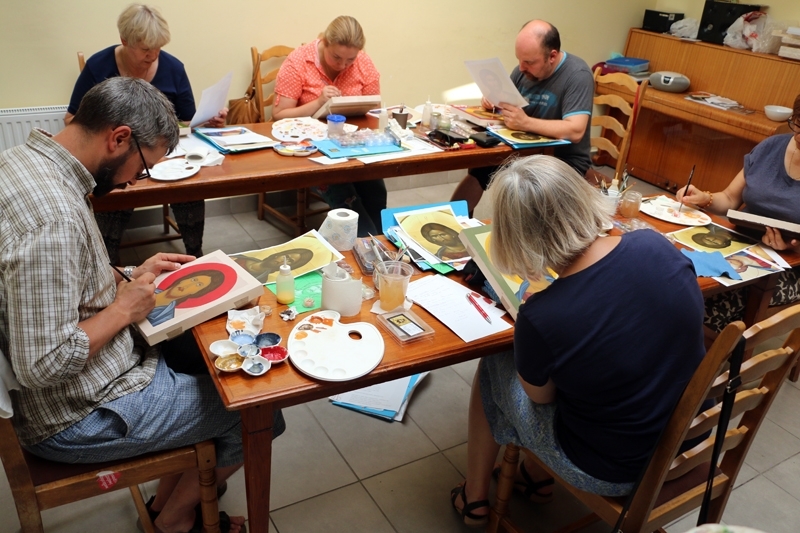 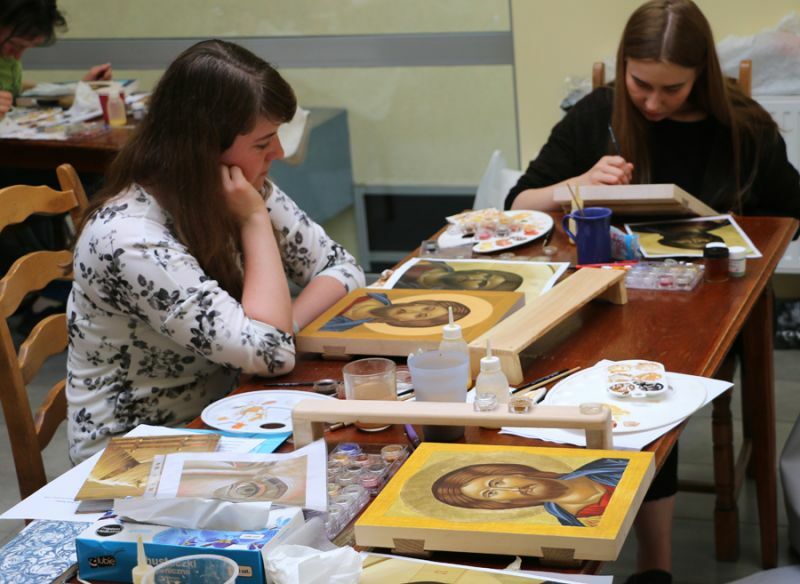 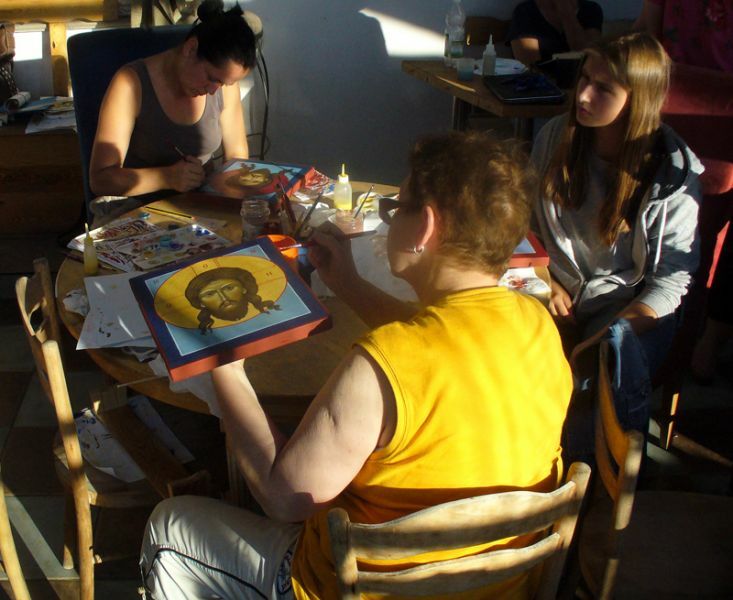 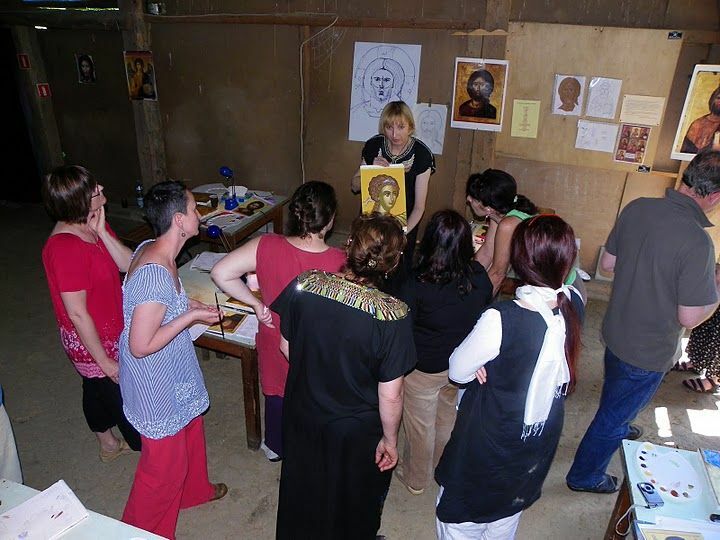 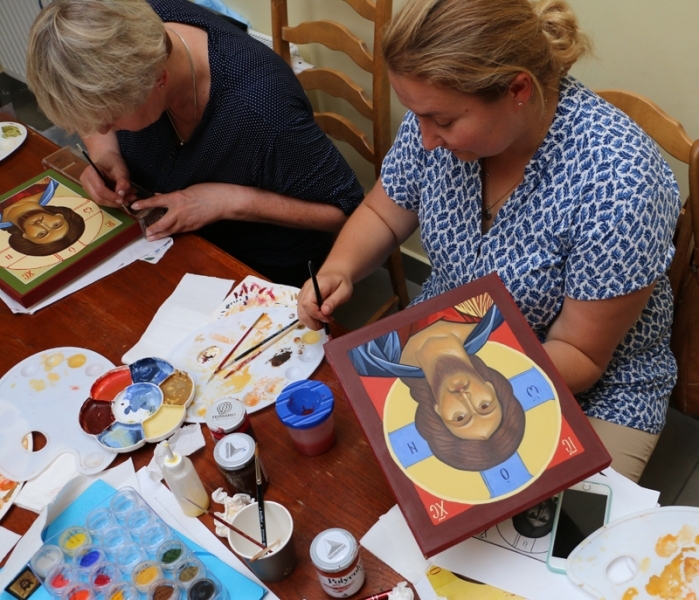 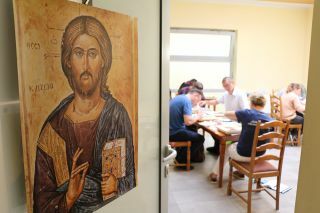 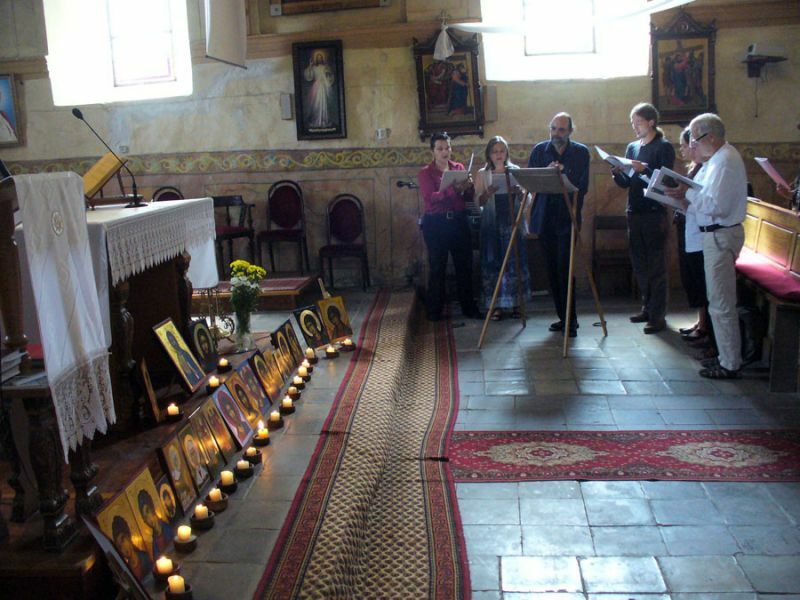 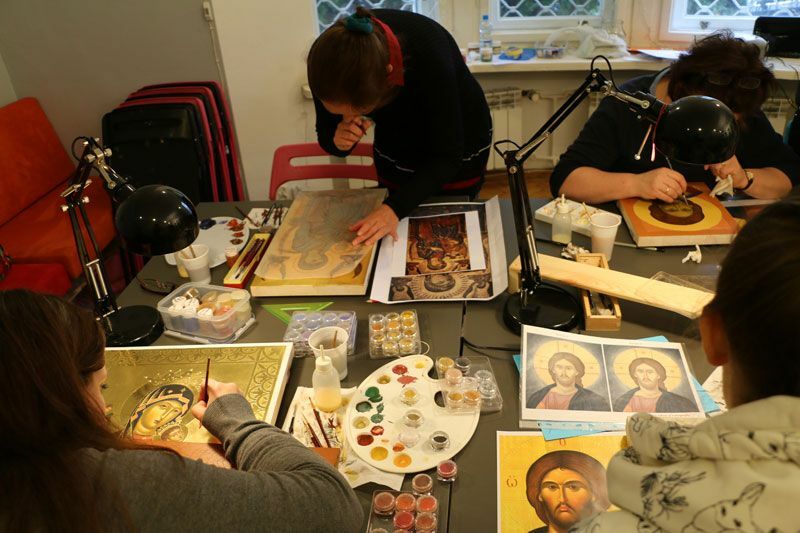 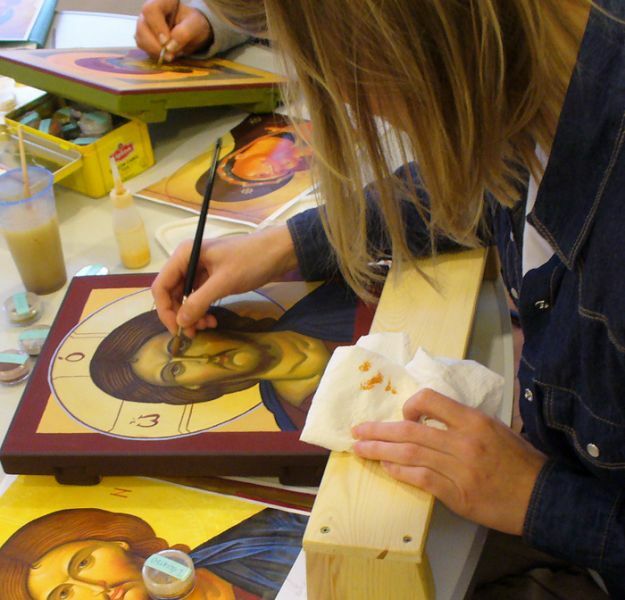 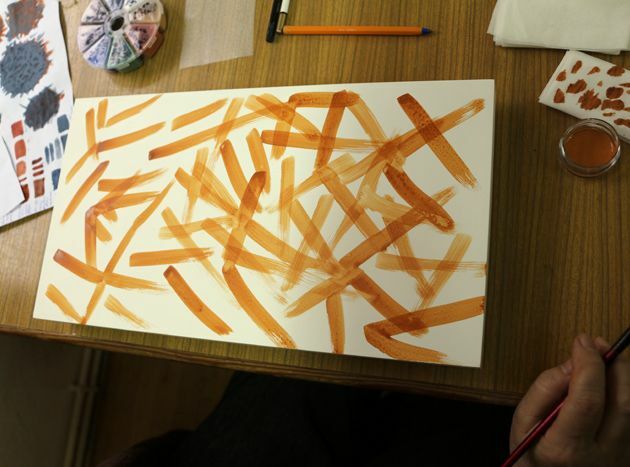 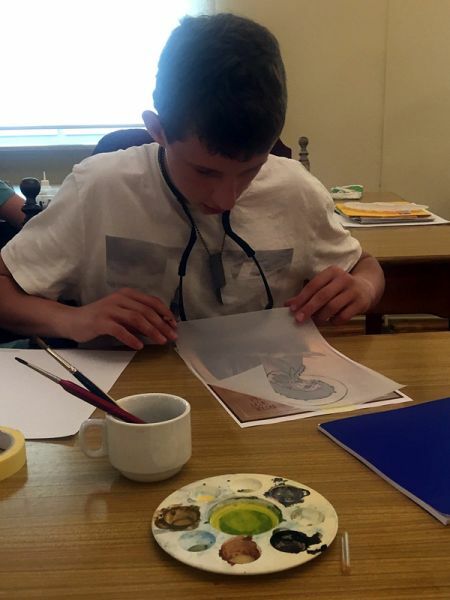 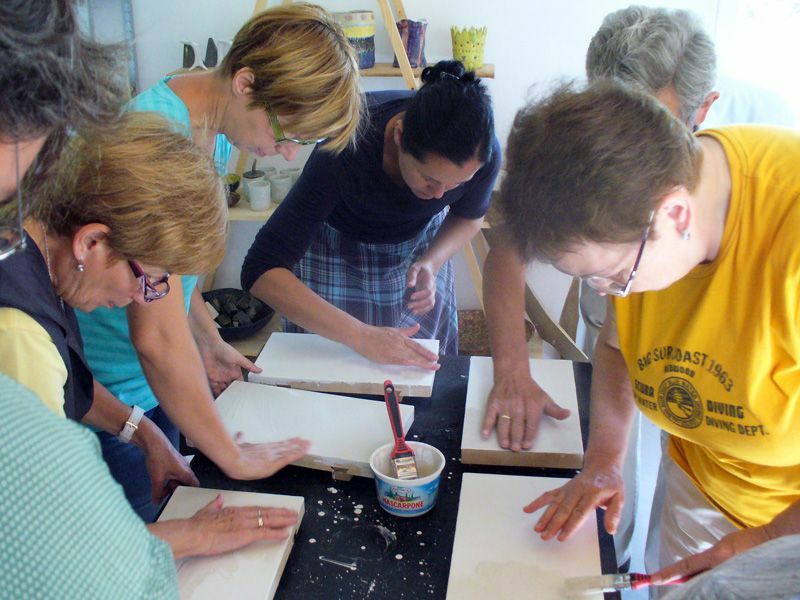 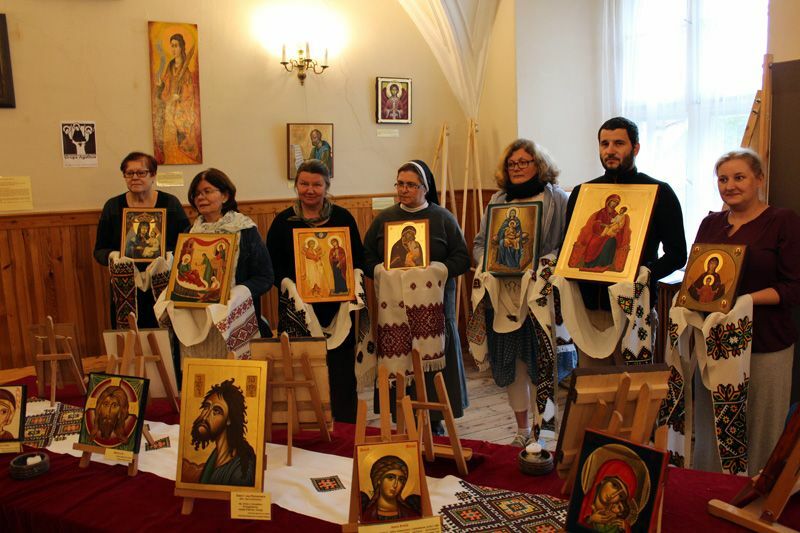 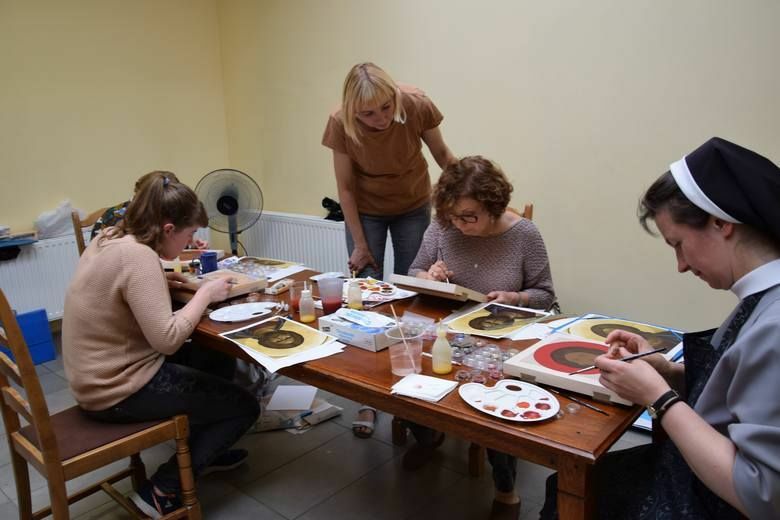 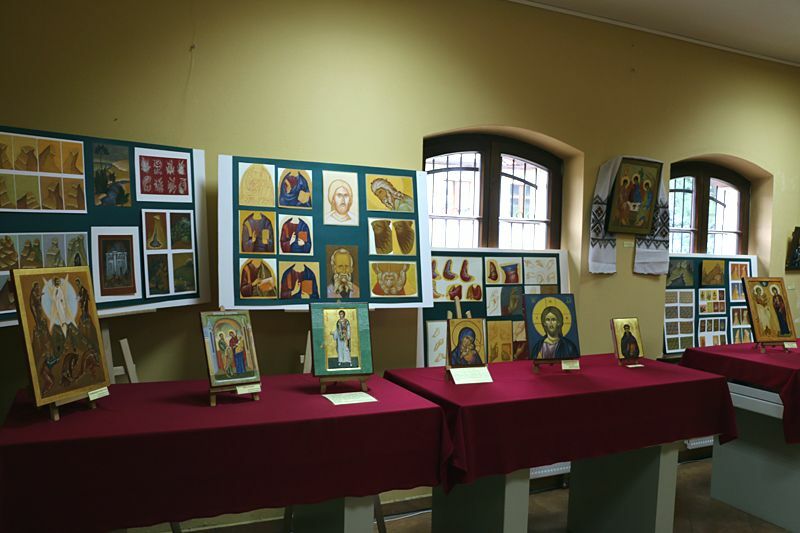 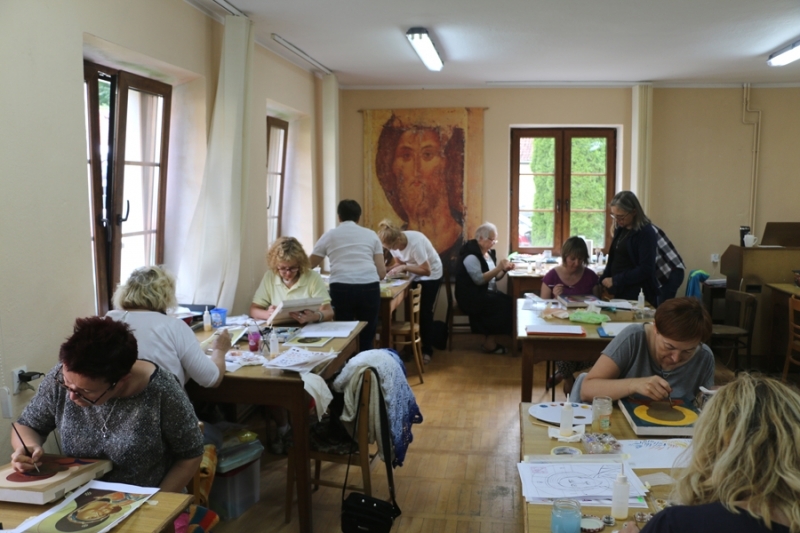 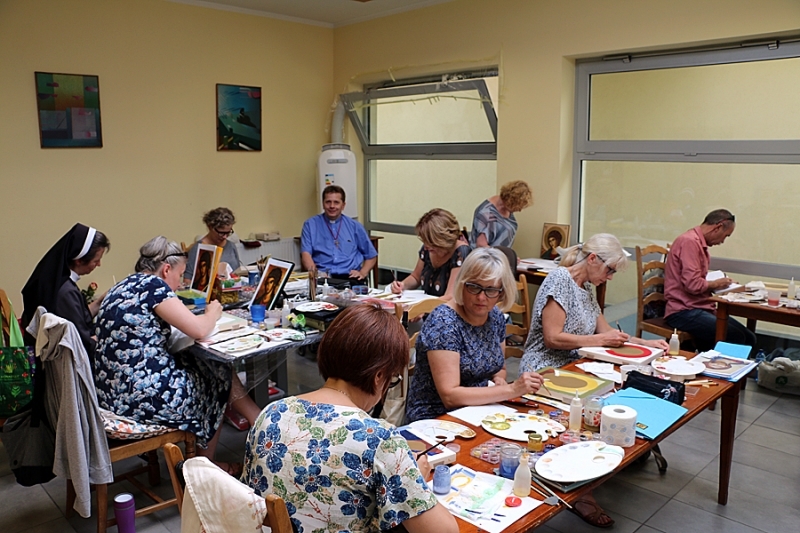 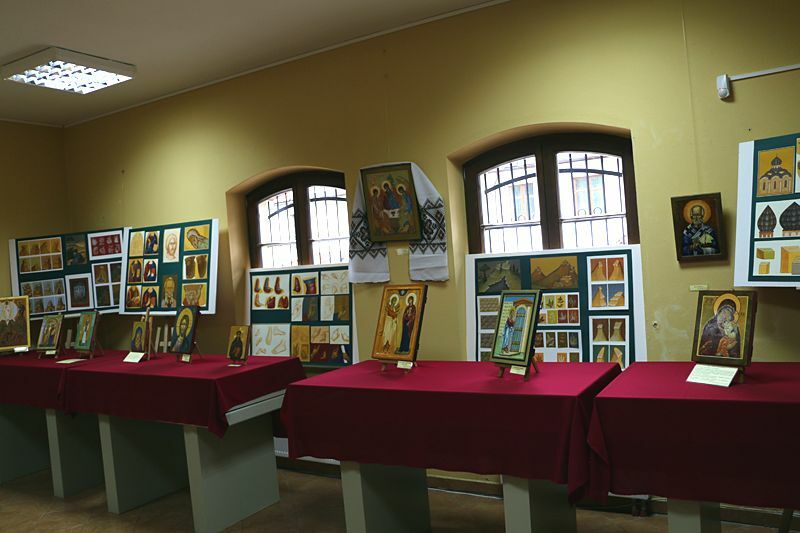 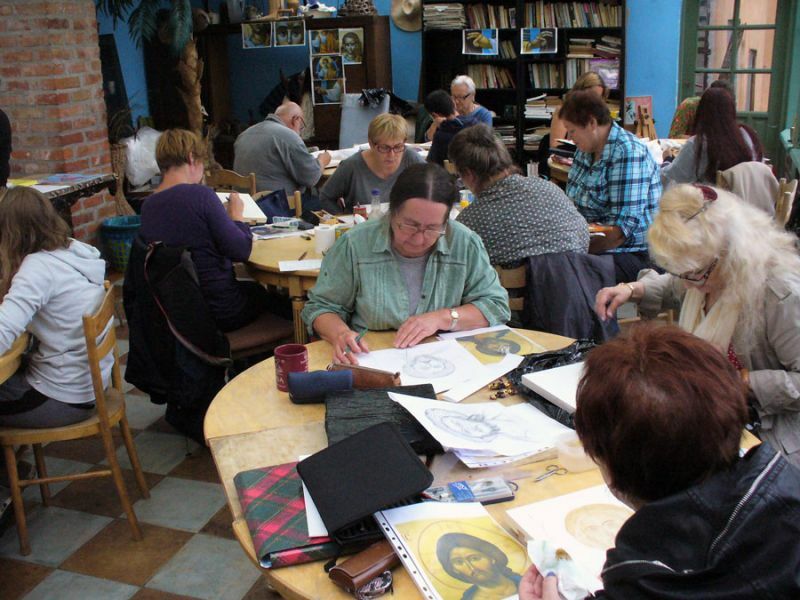 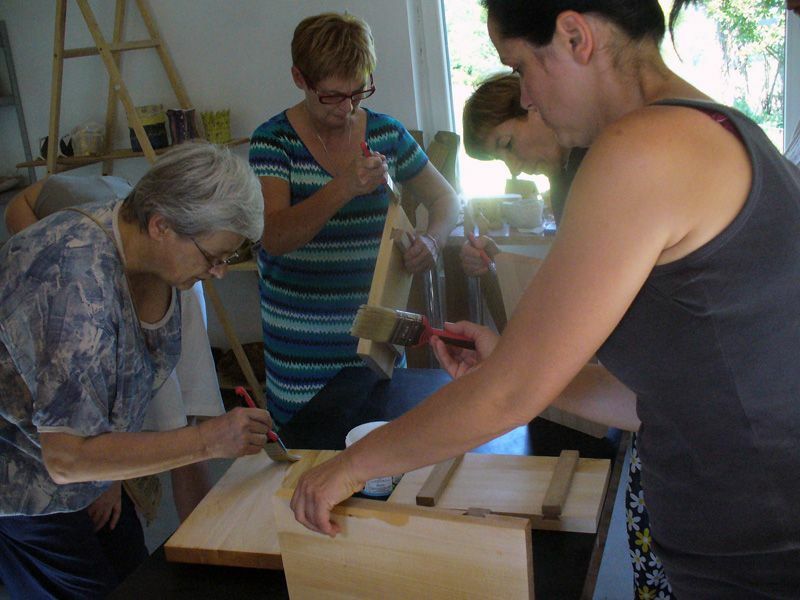 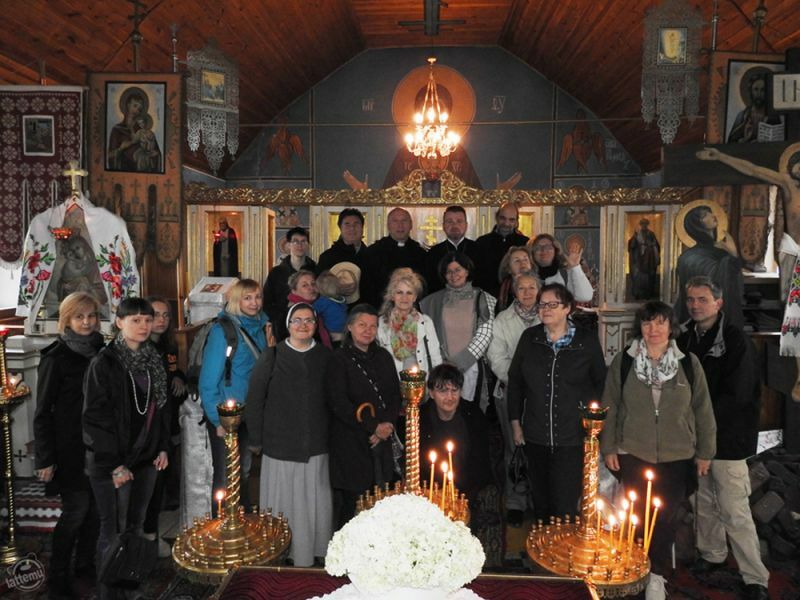 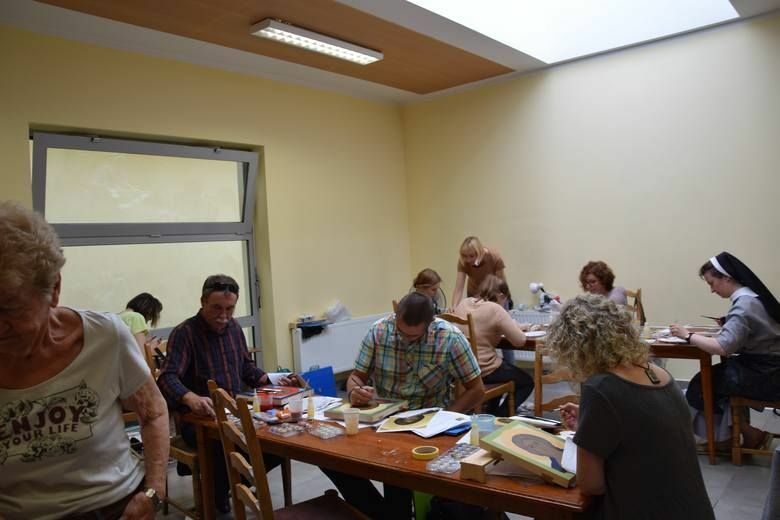 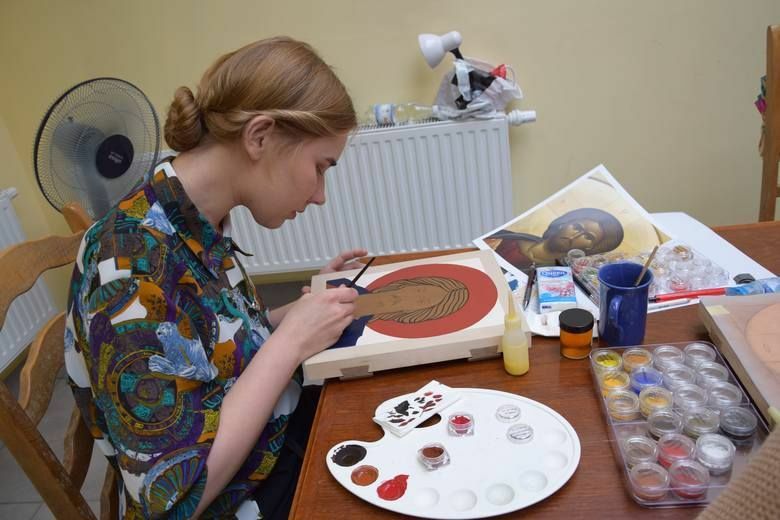 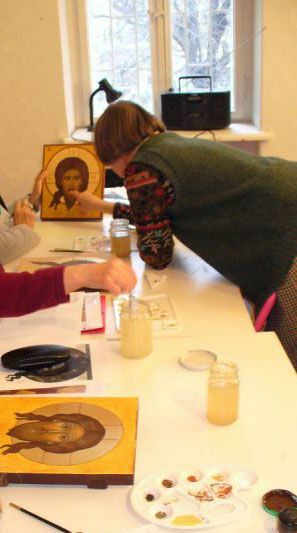 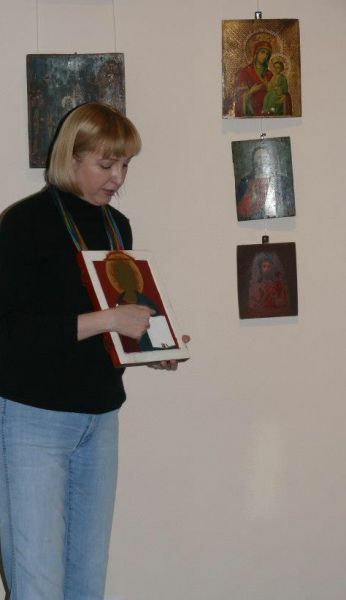 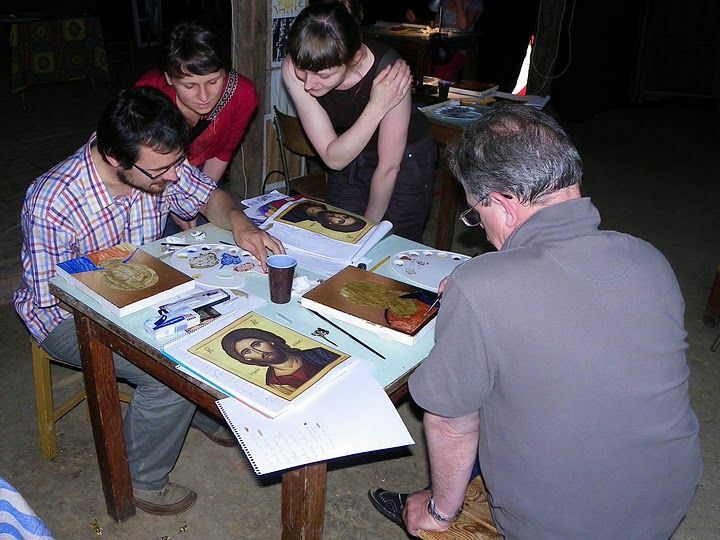 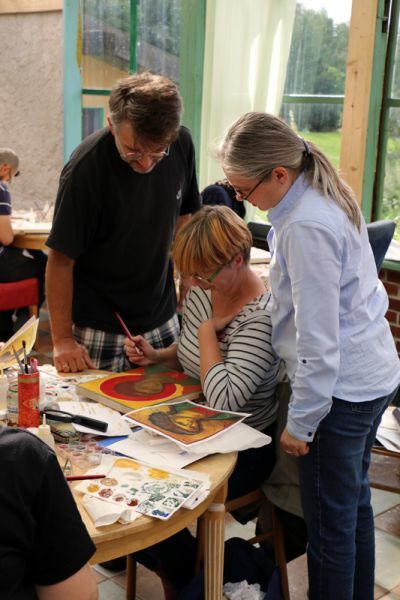 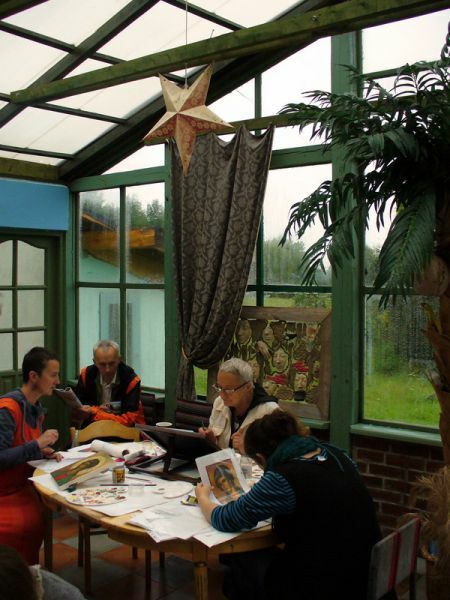 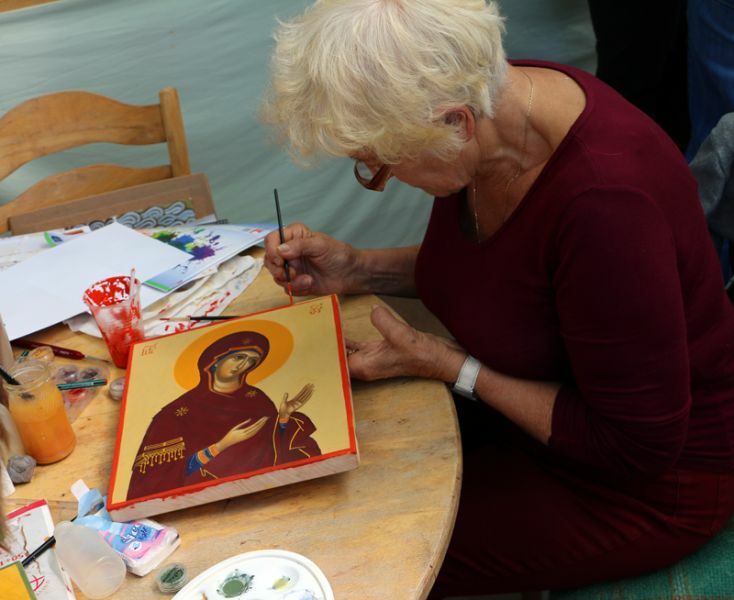 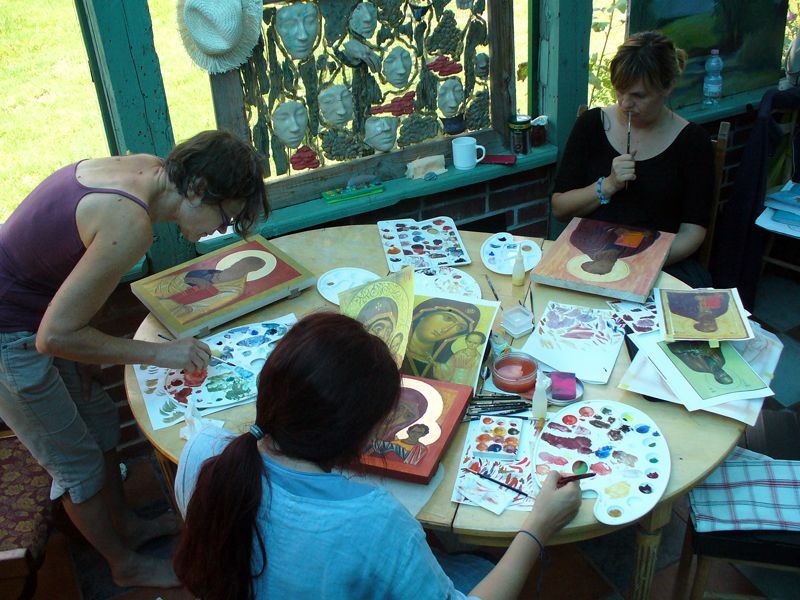 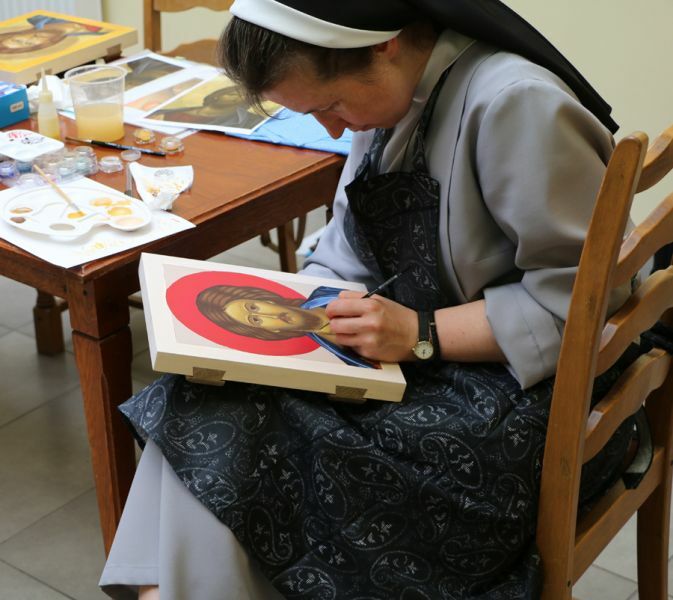 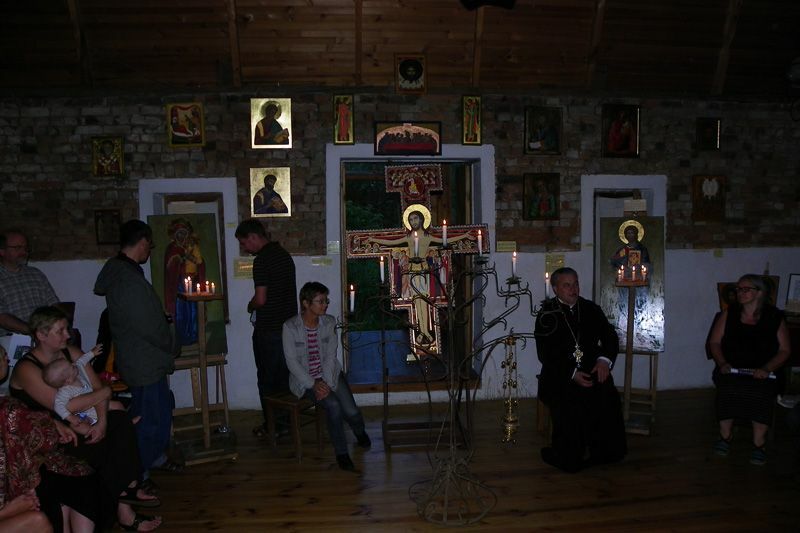 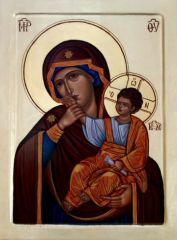 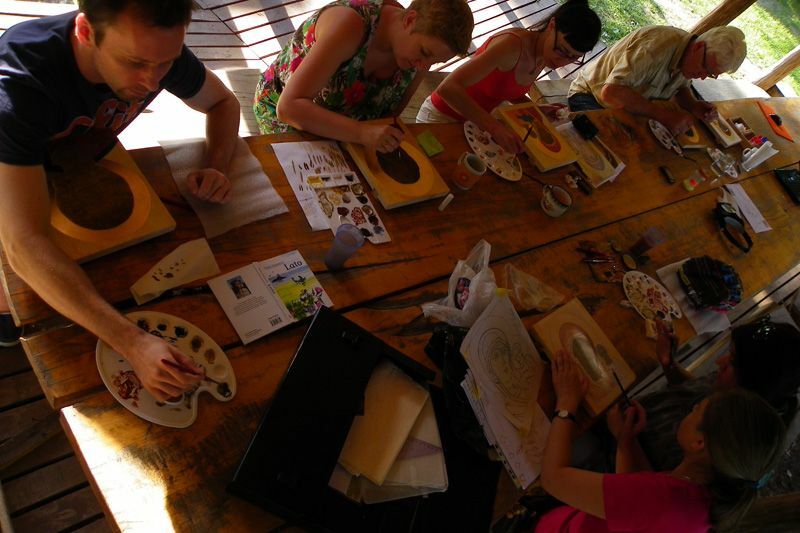 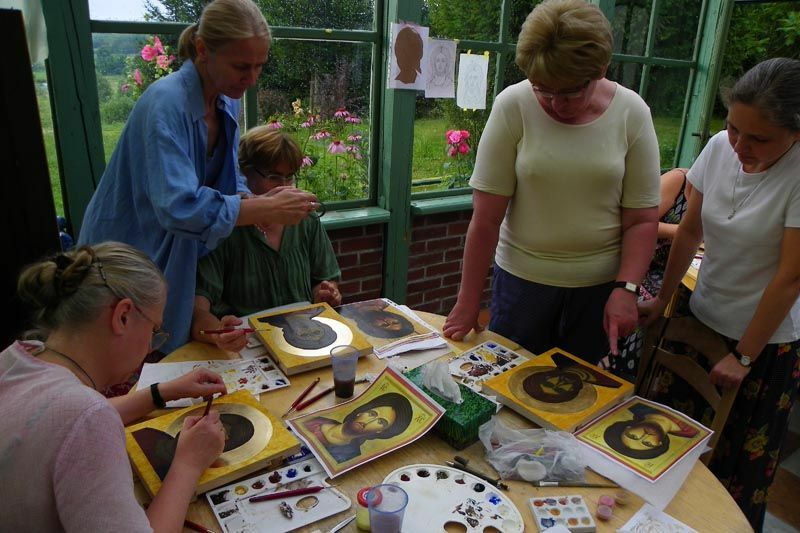 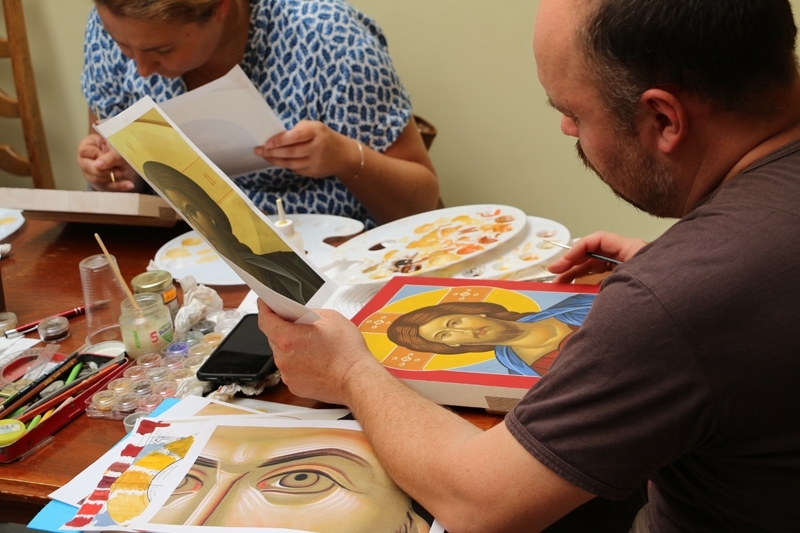 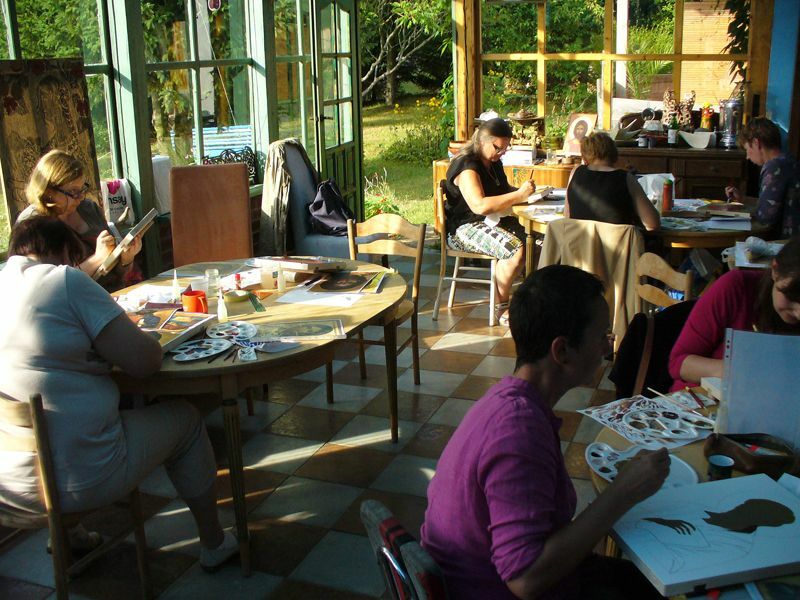 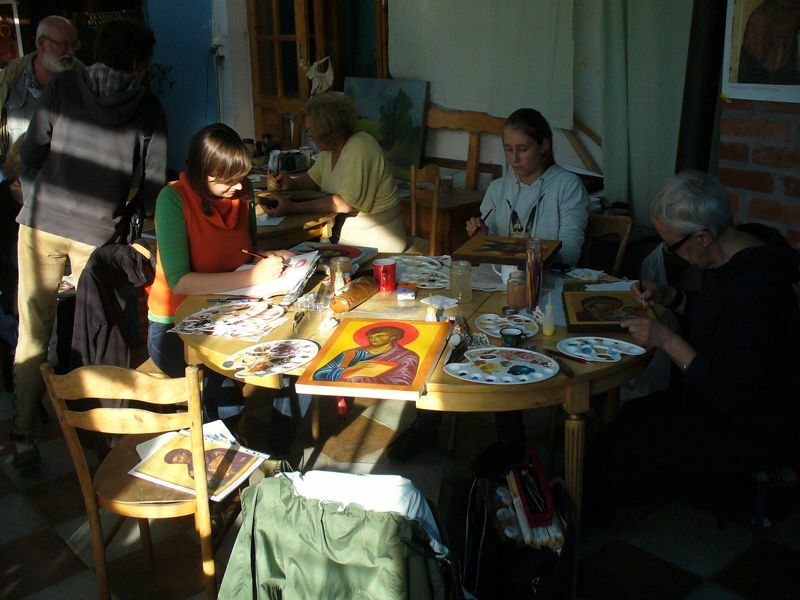 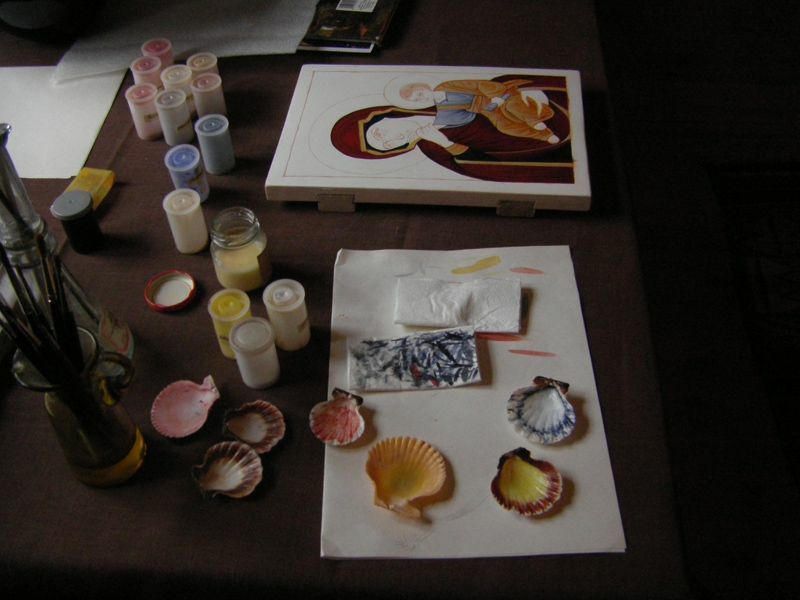 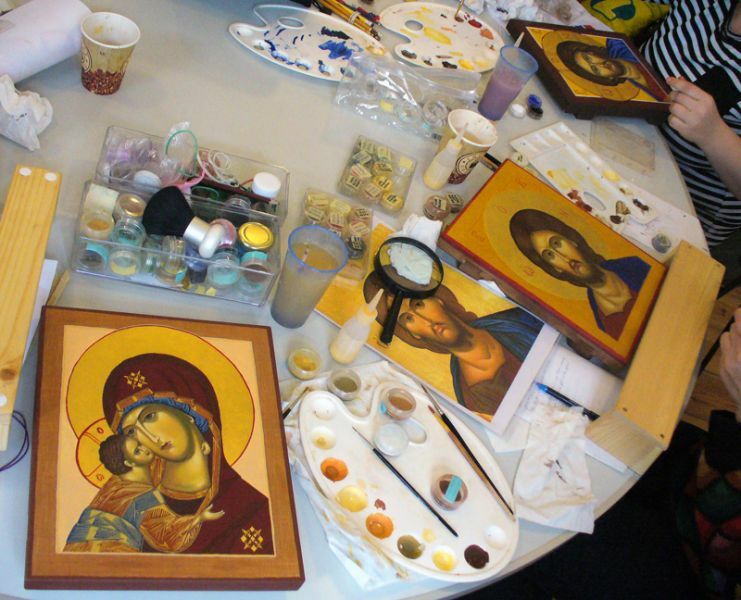 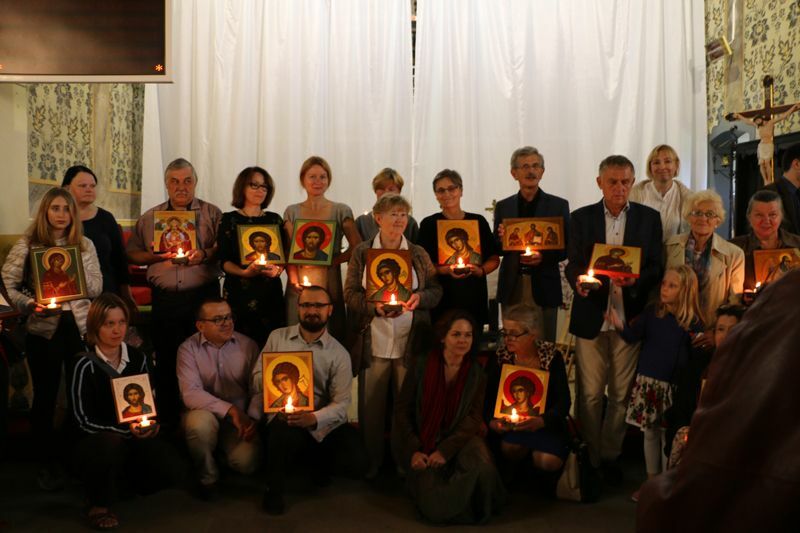 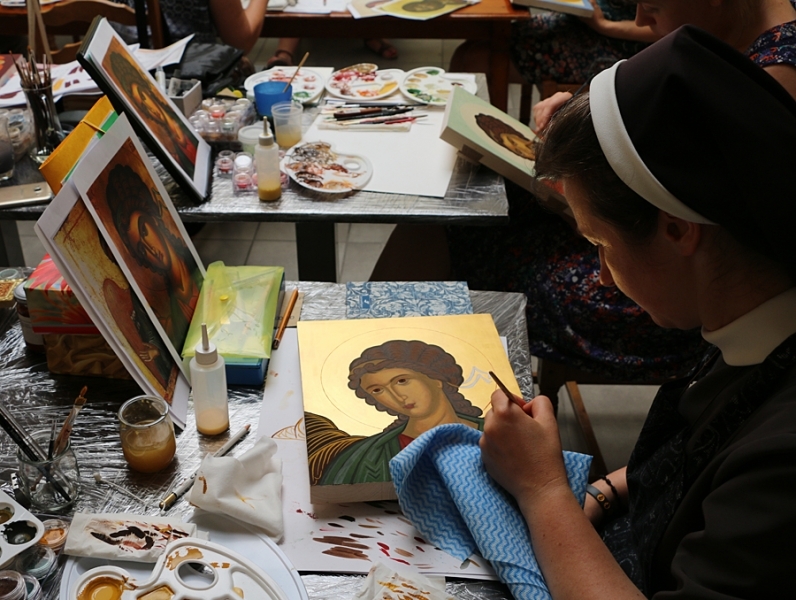 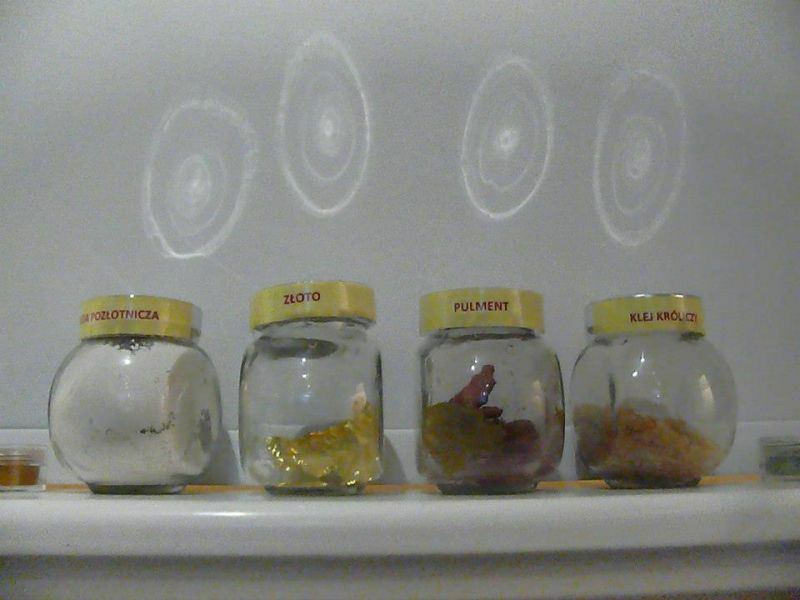 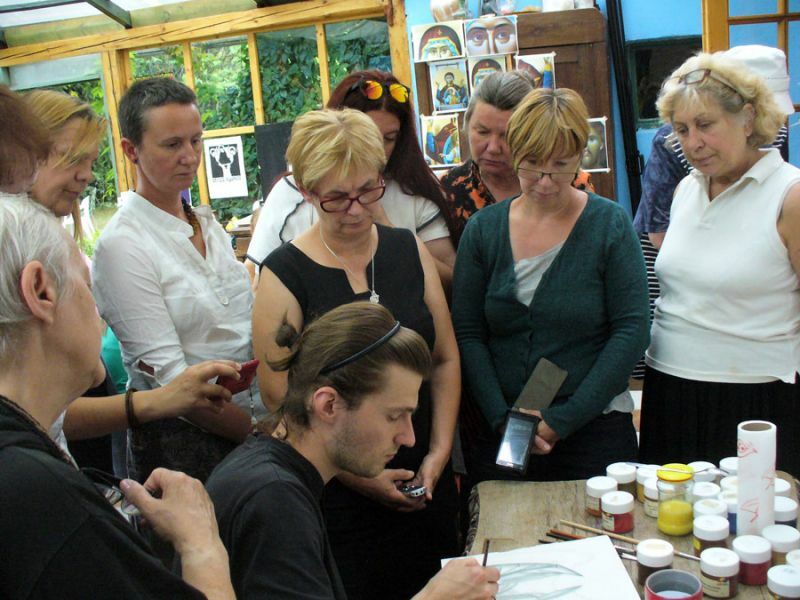 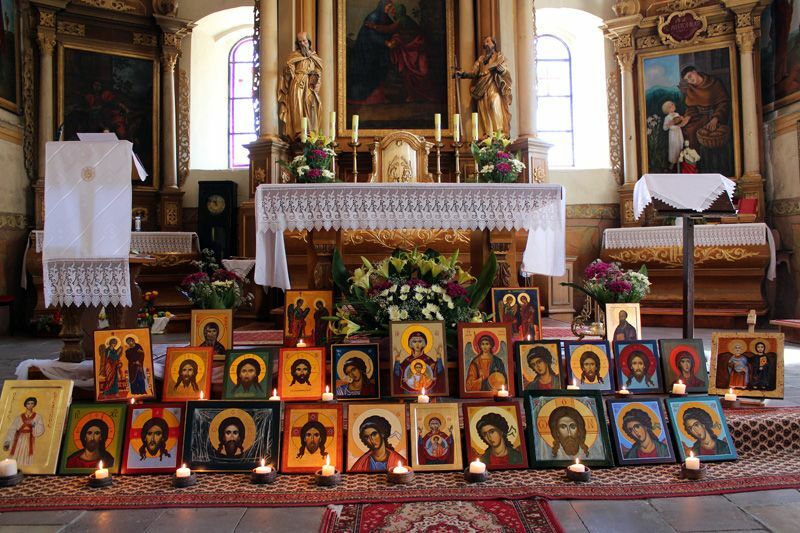 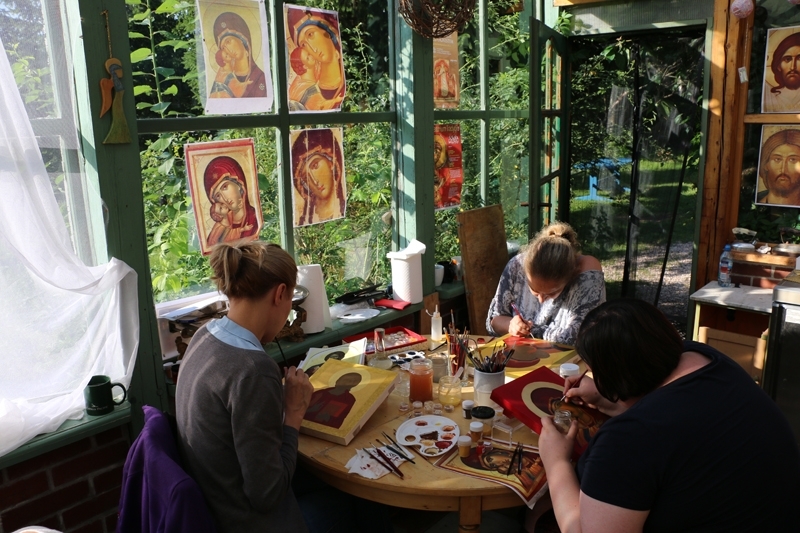 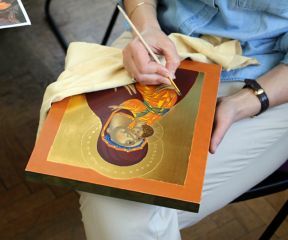 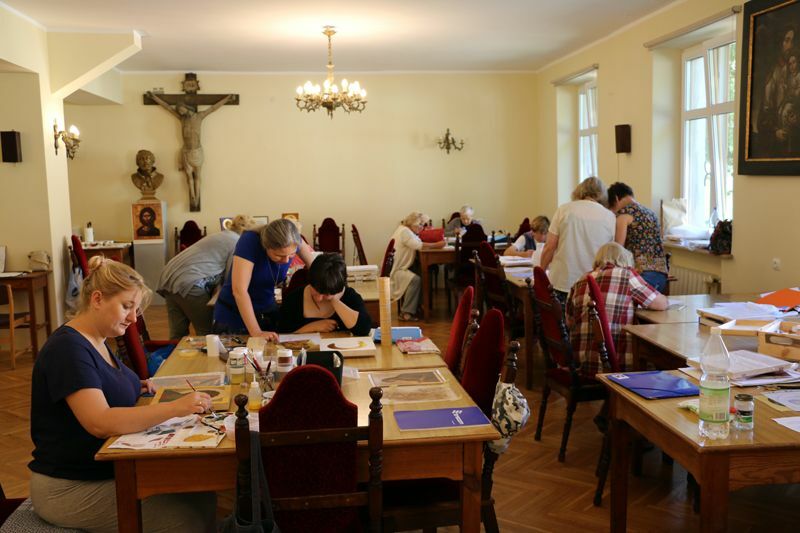 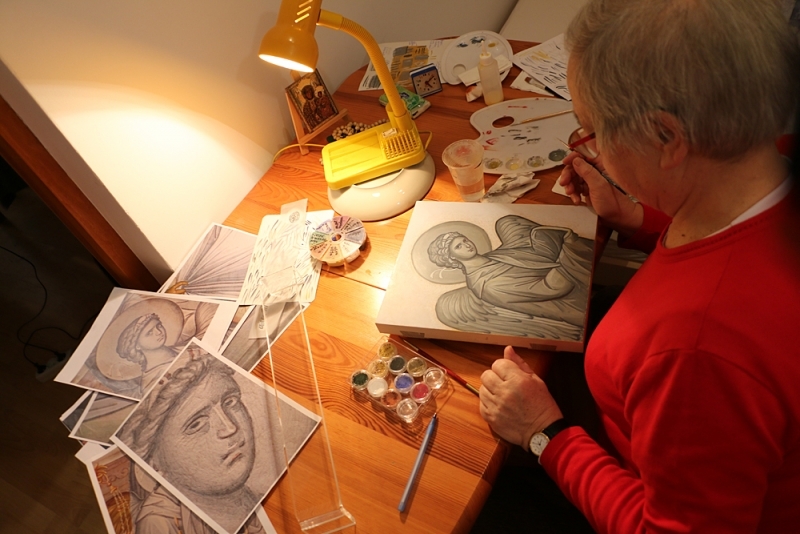 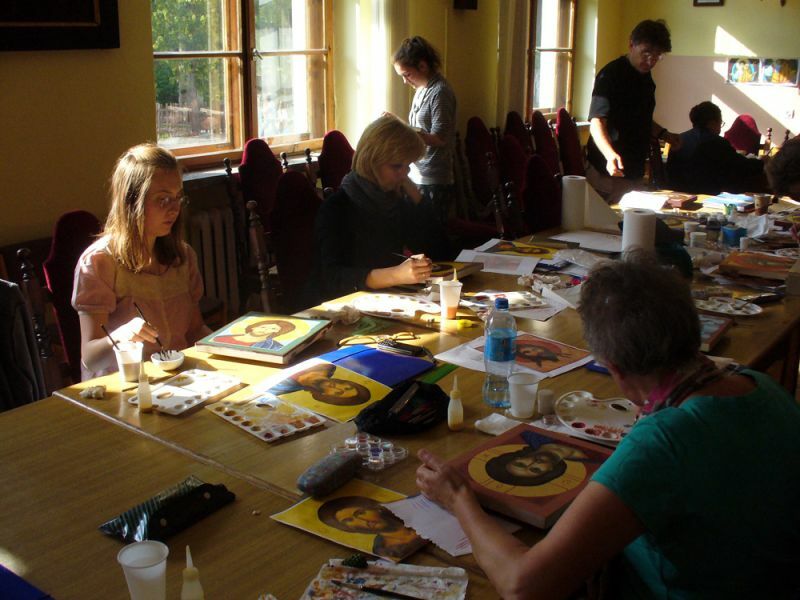 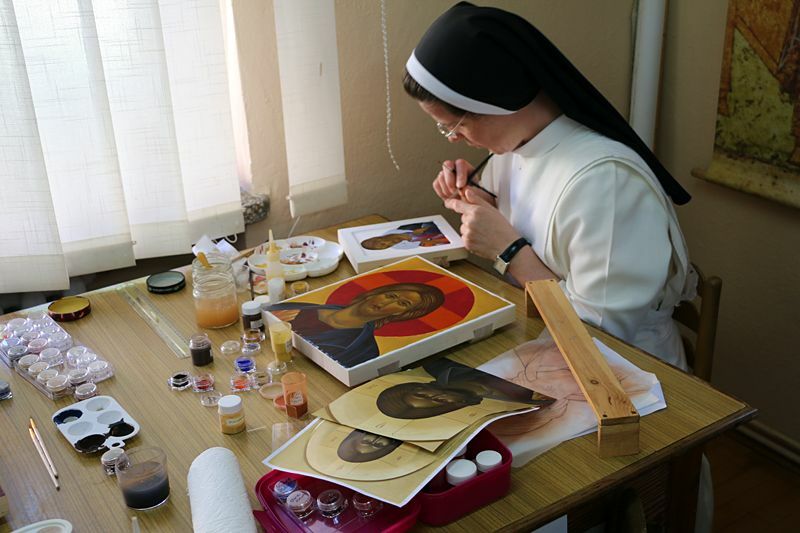 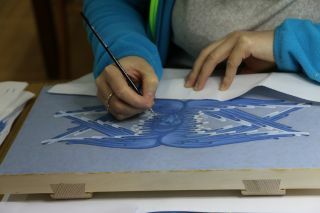 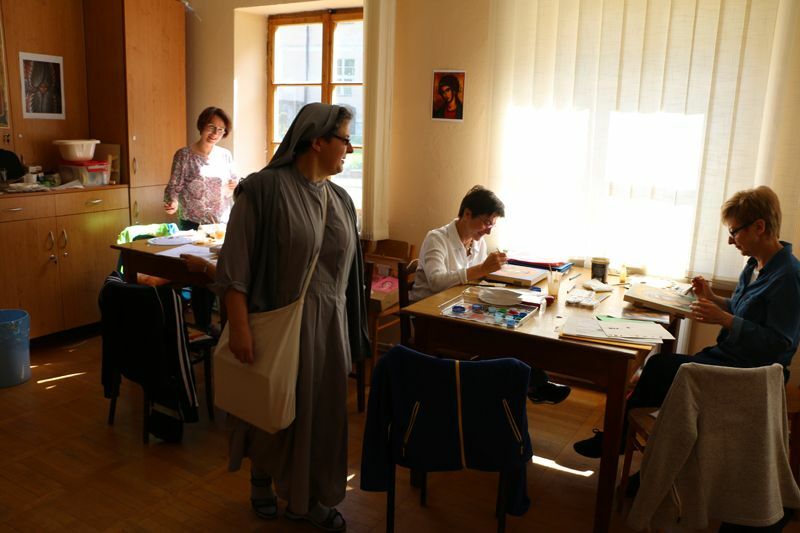 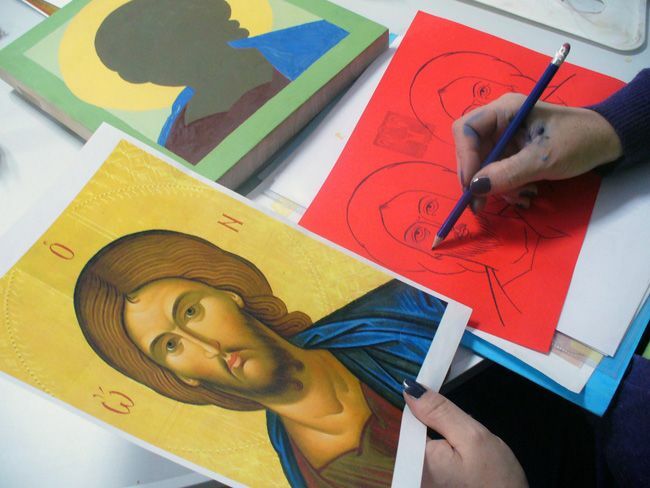 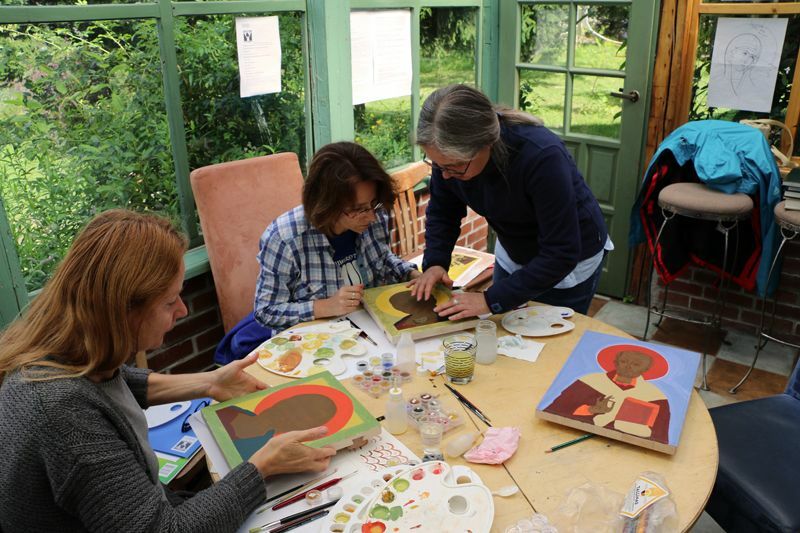 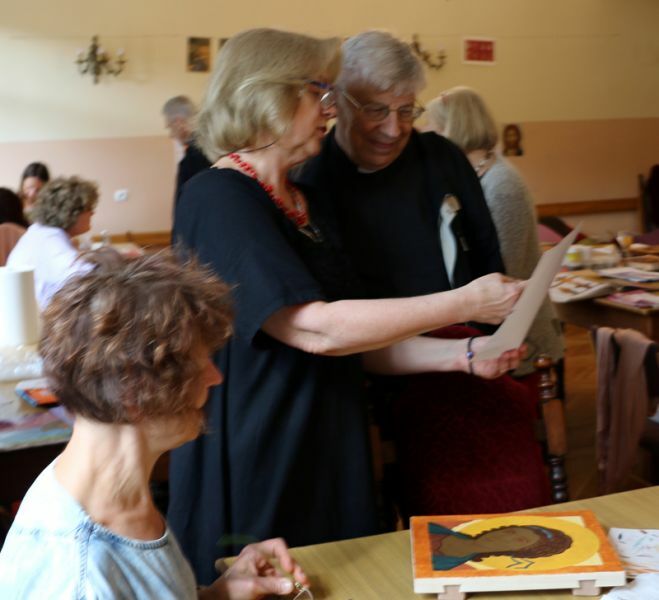 During the course of the Laboratory of participants were able to cope with the traditional technique of icon creation. 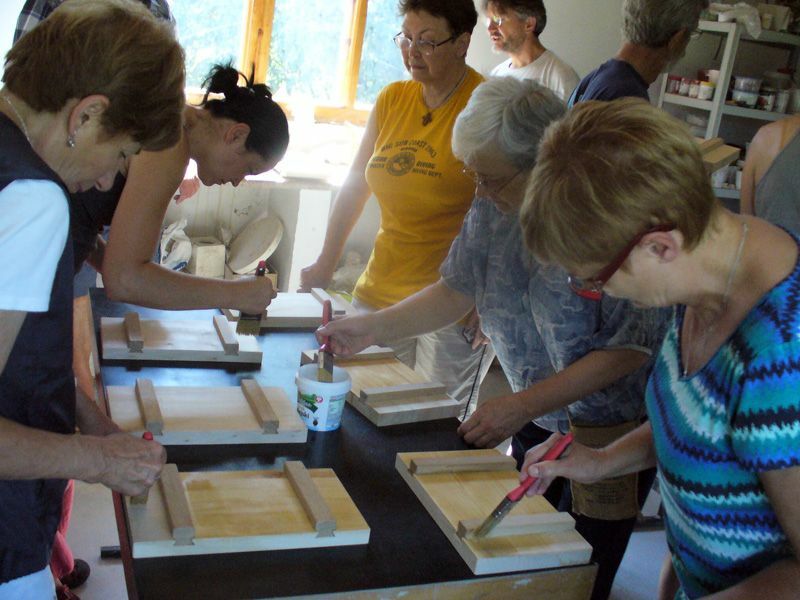 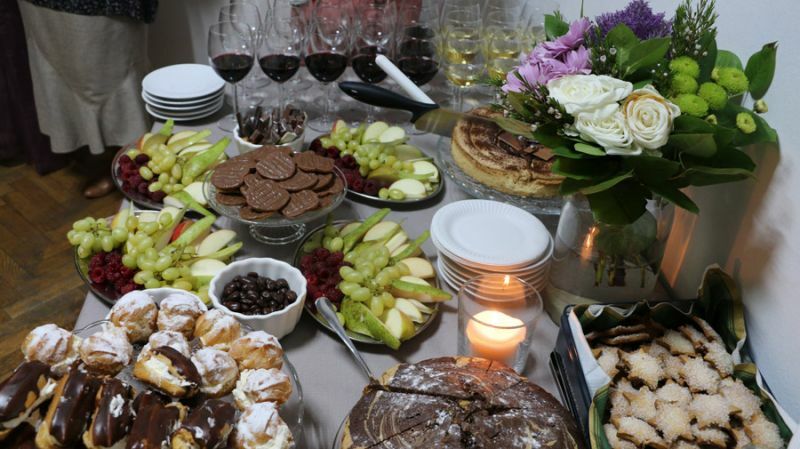 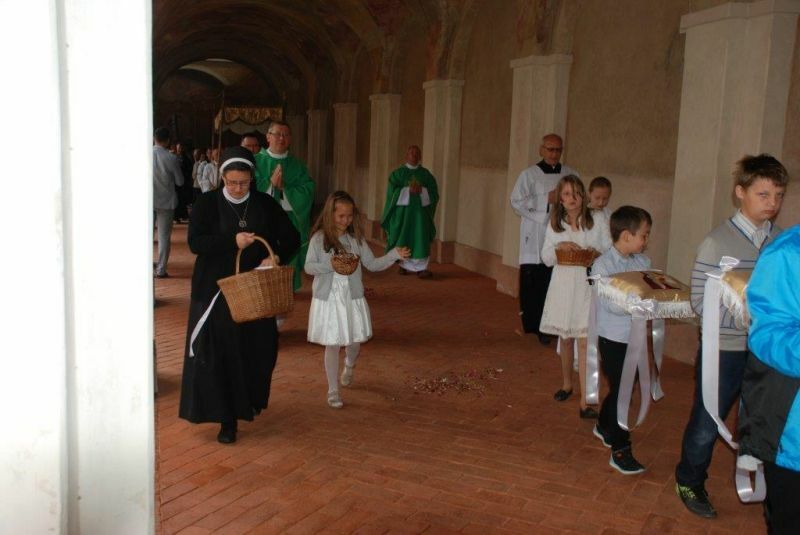 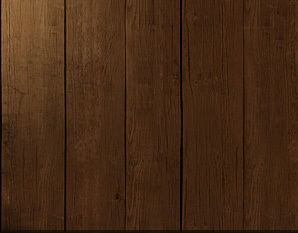 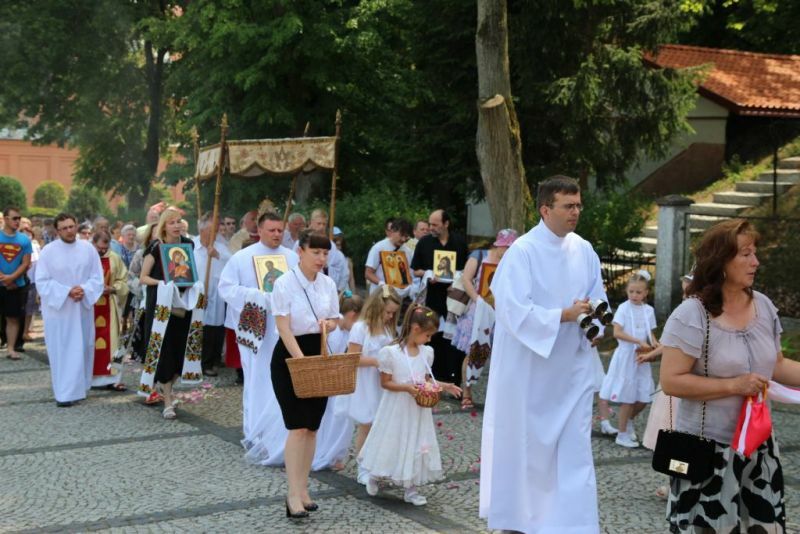 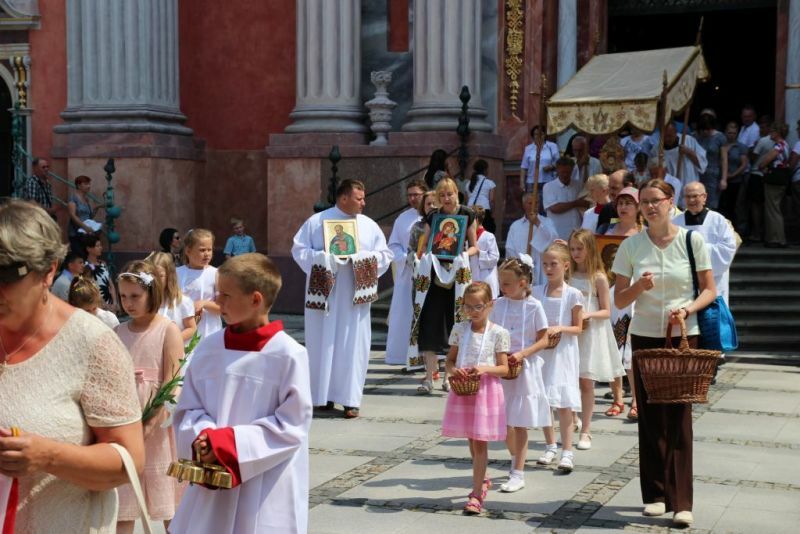 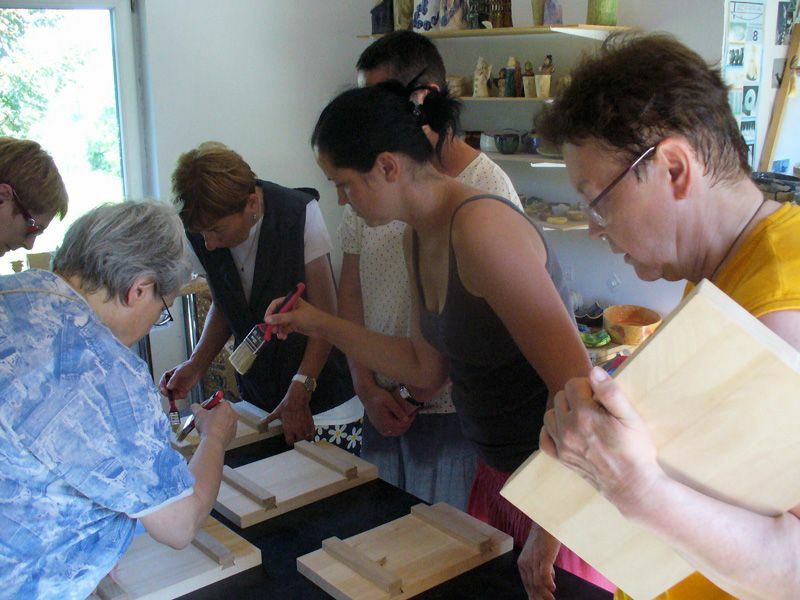 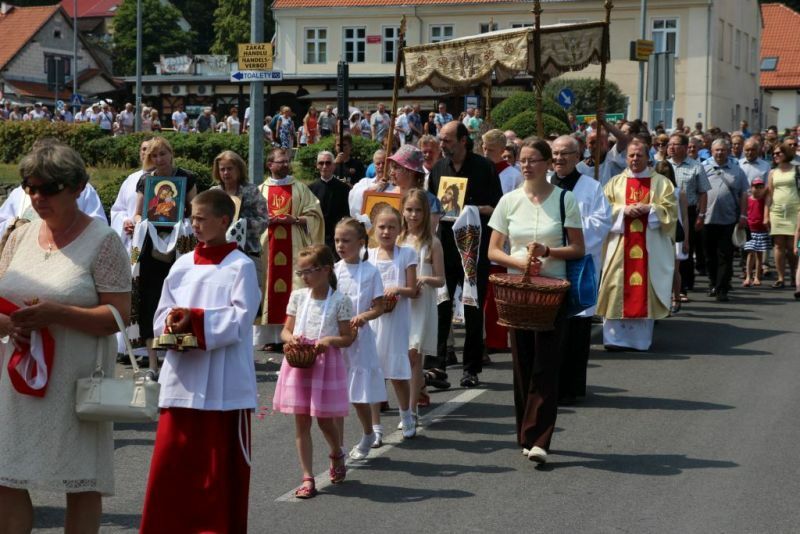 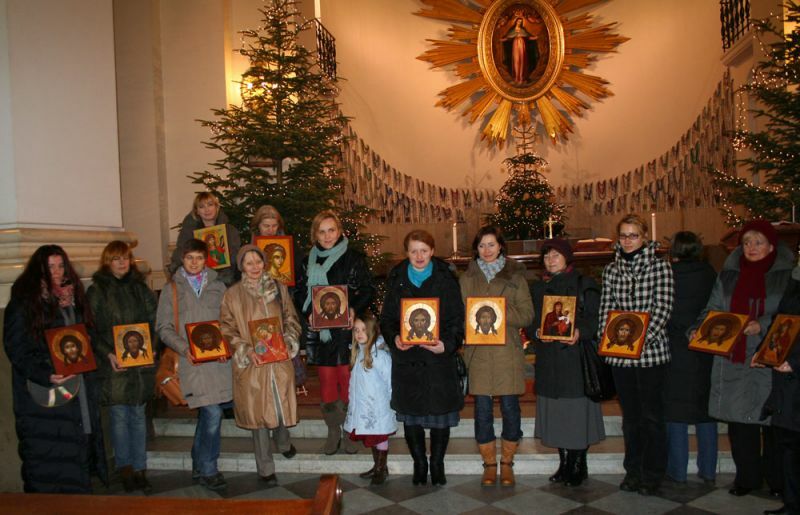 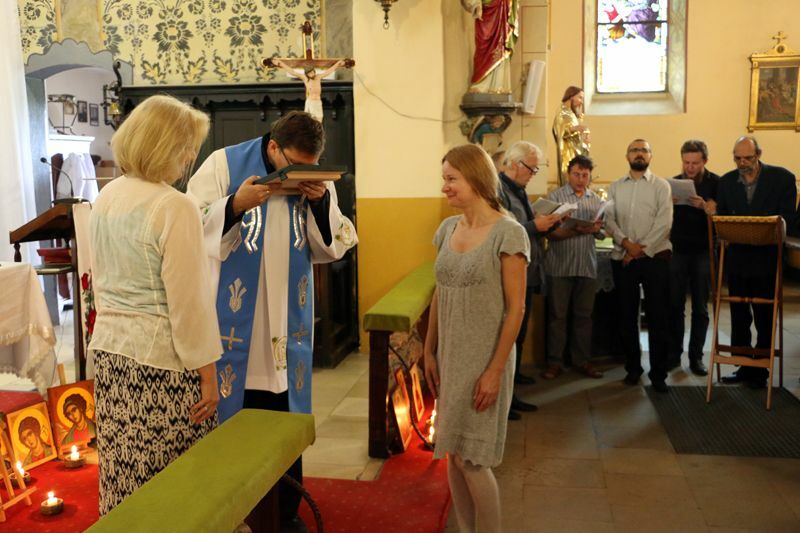 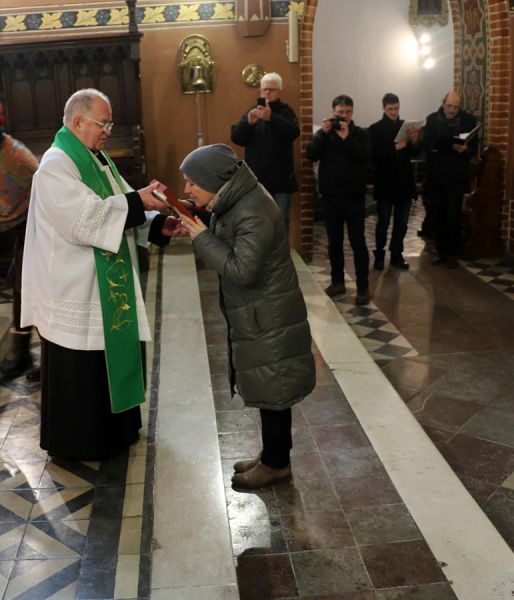 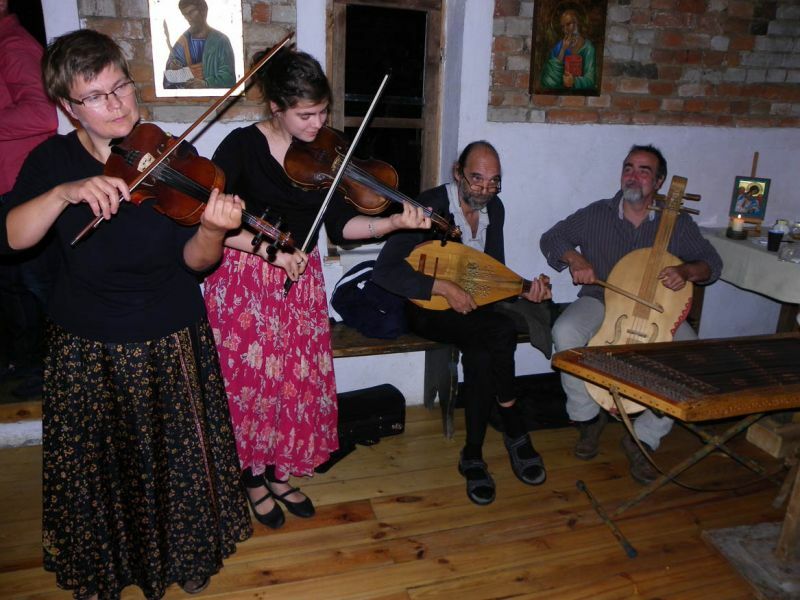 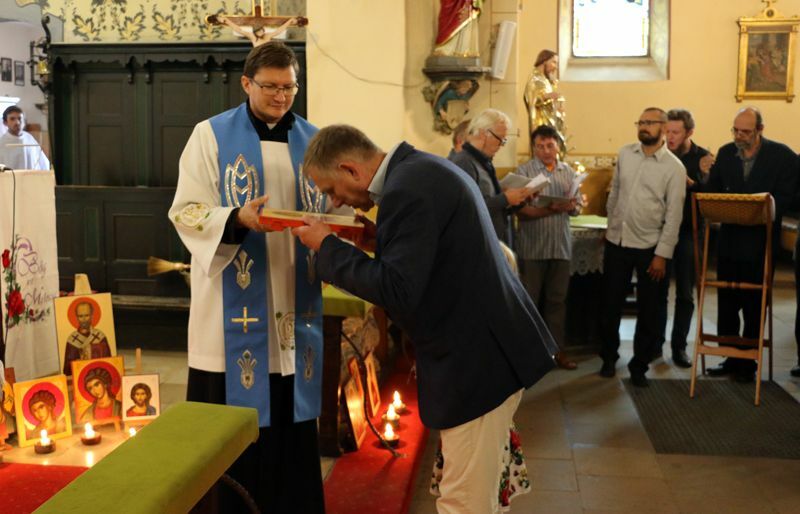 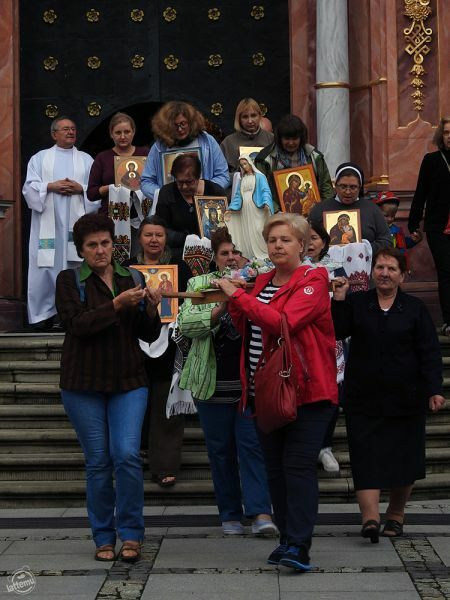 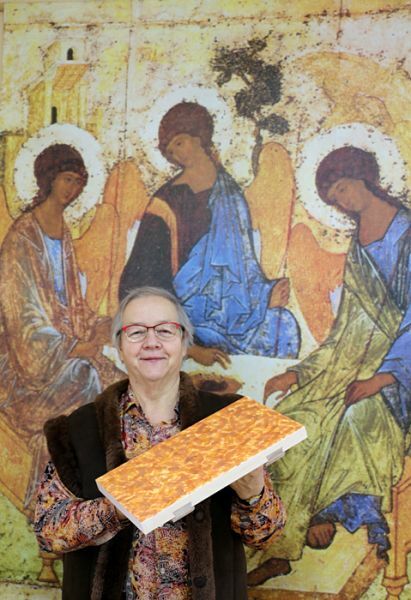 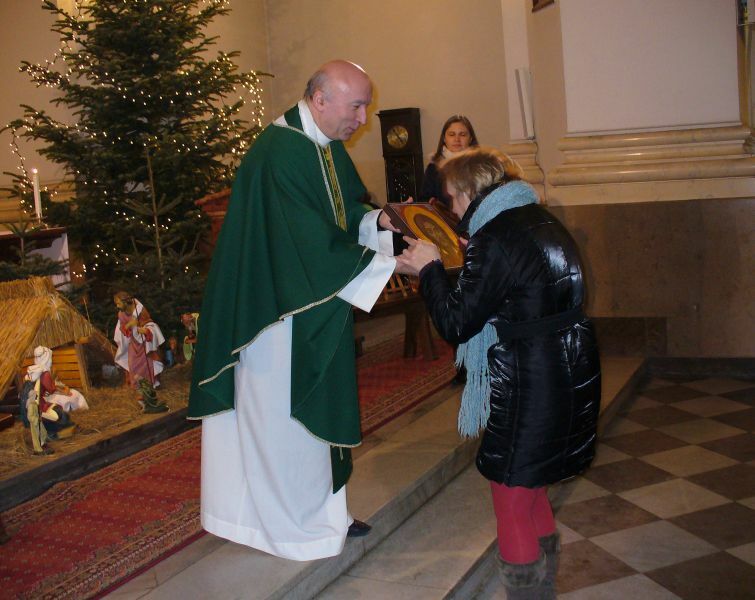 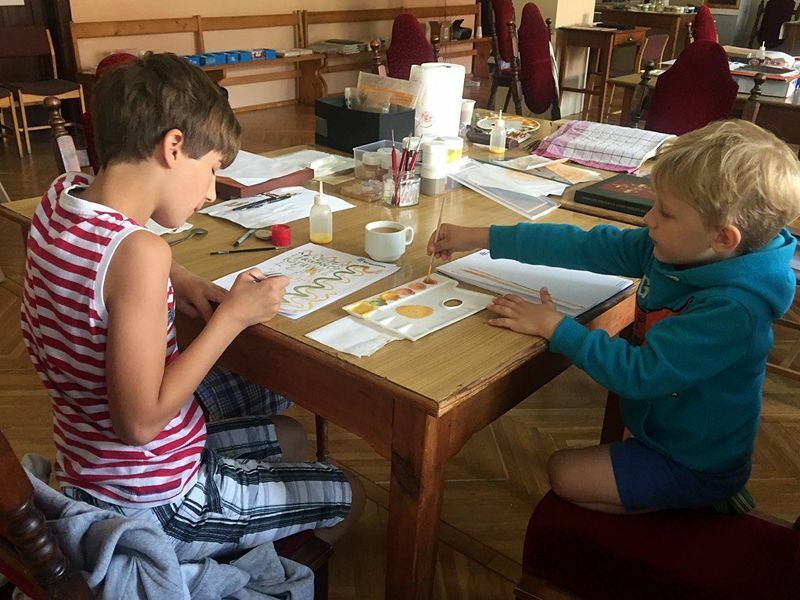 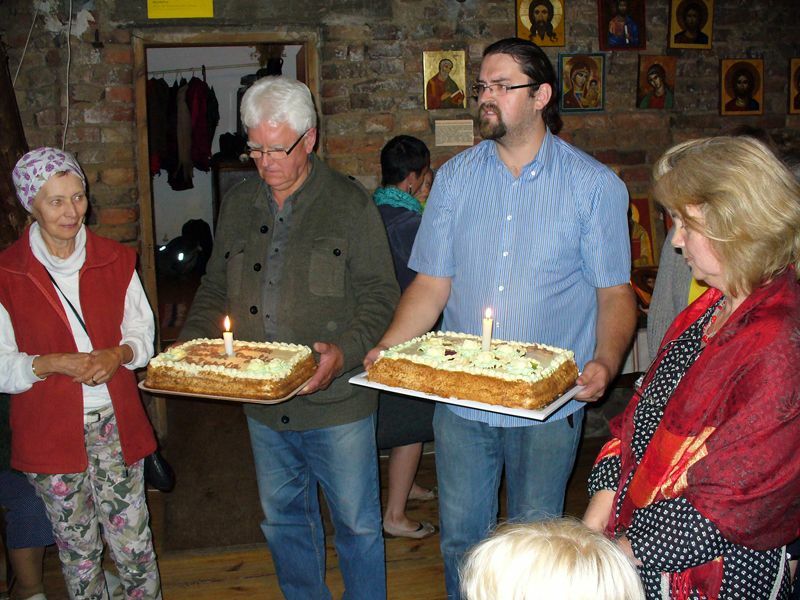 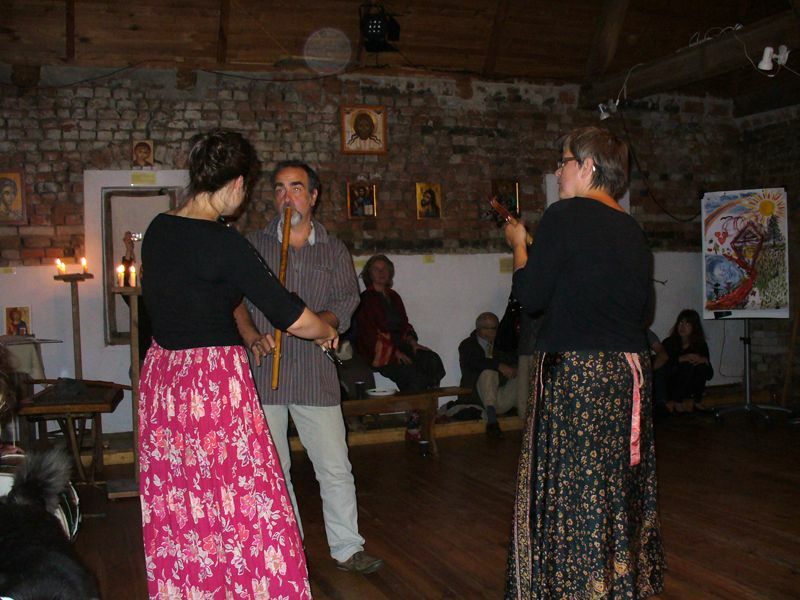 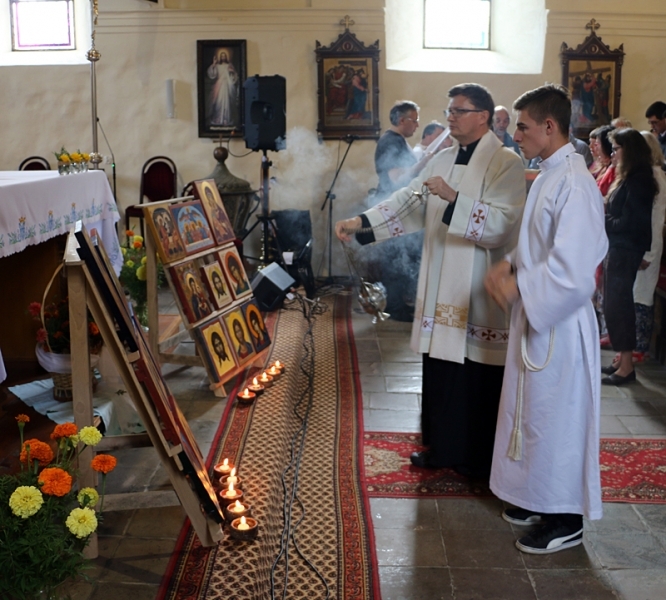 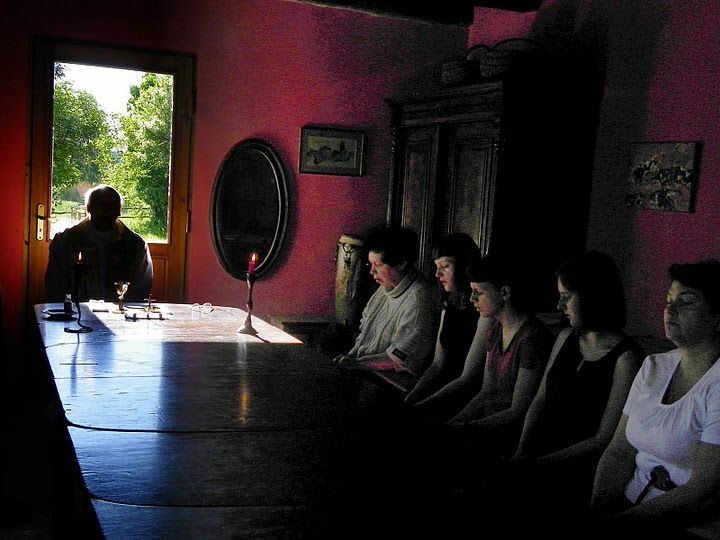 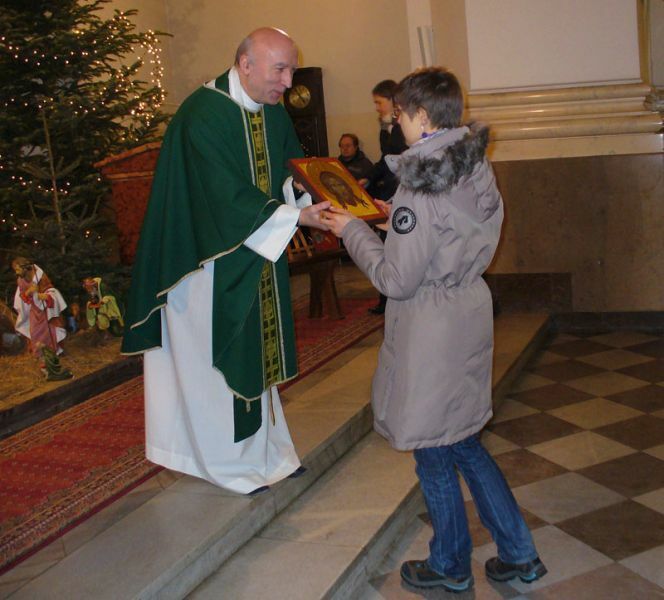 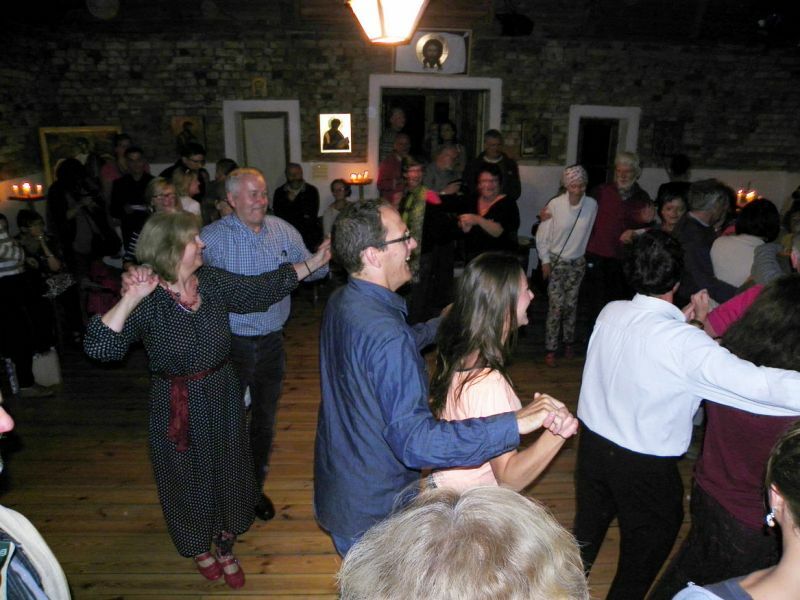 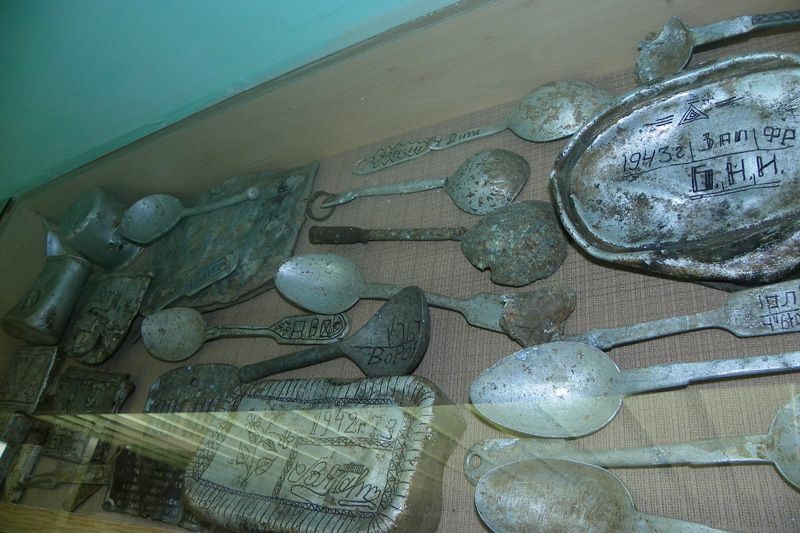 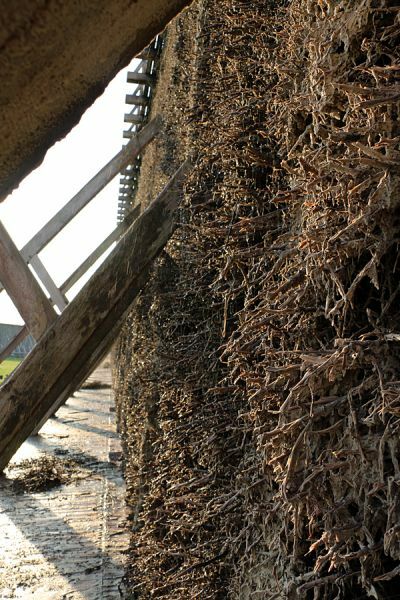 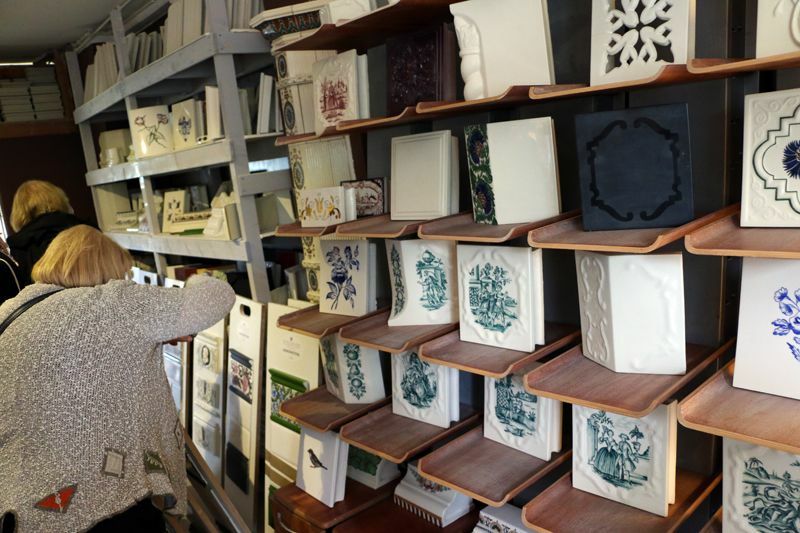 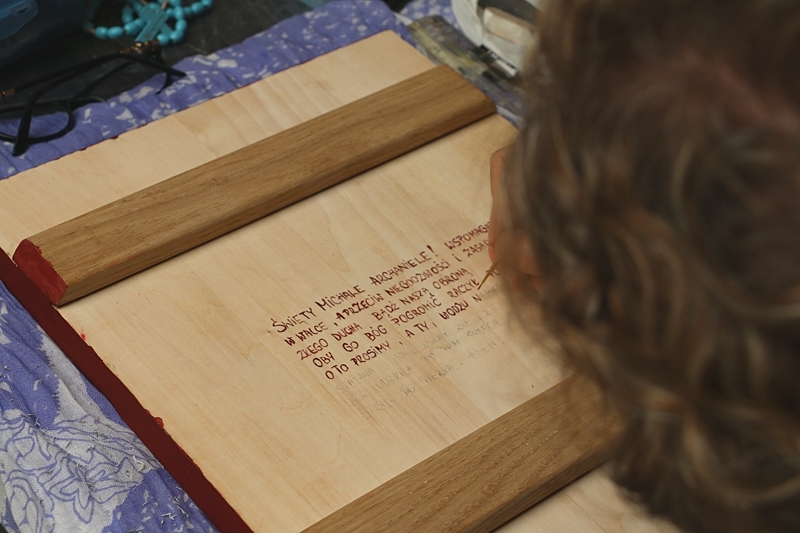 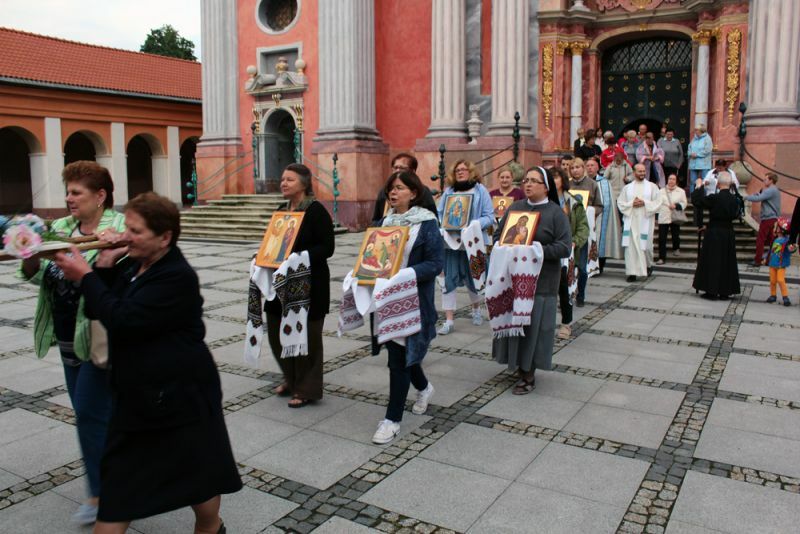 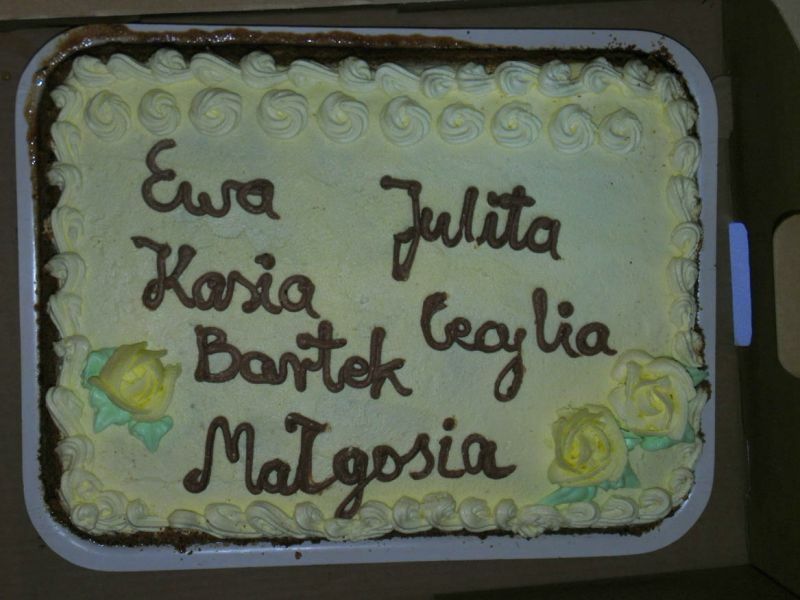 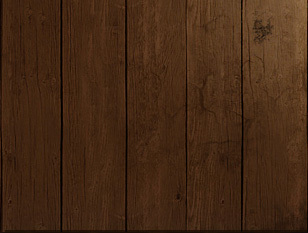 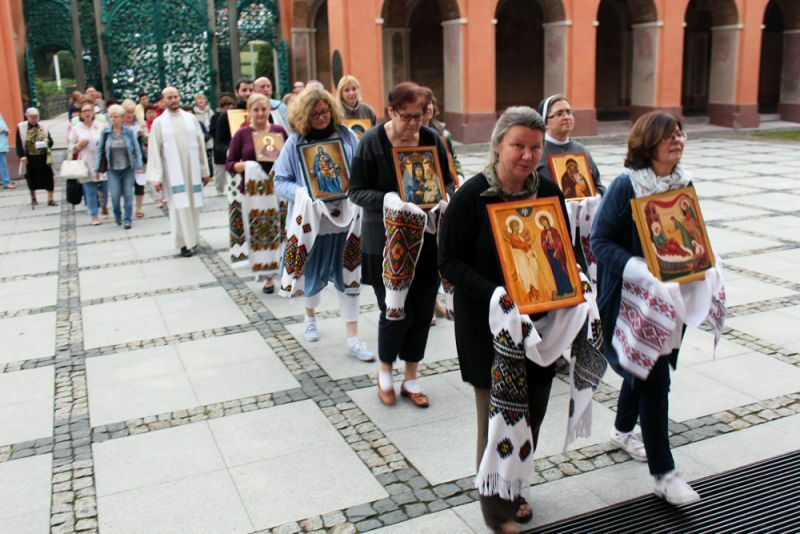 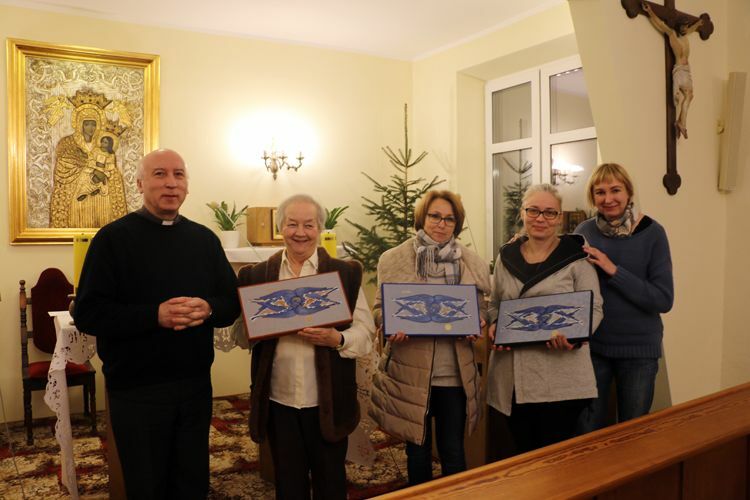 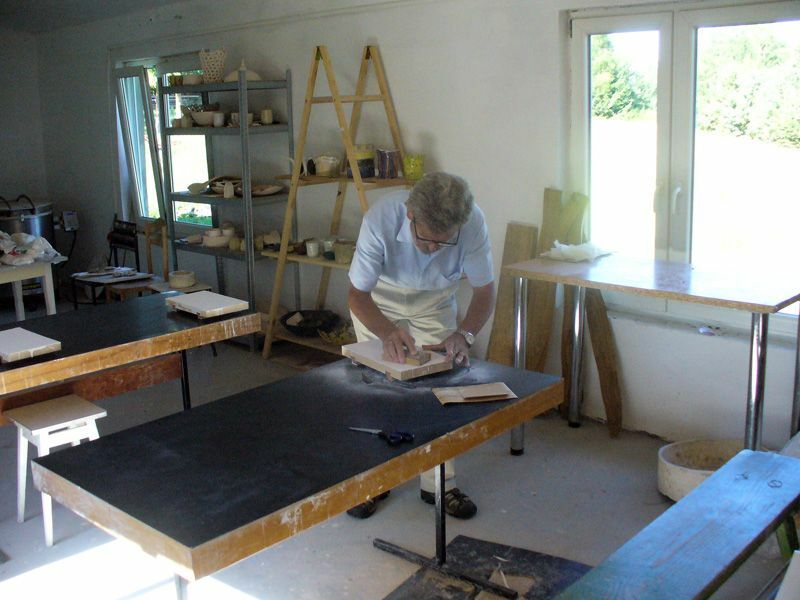 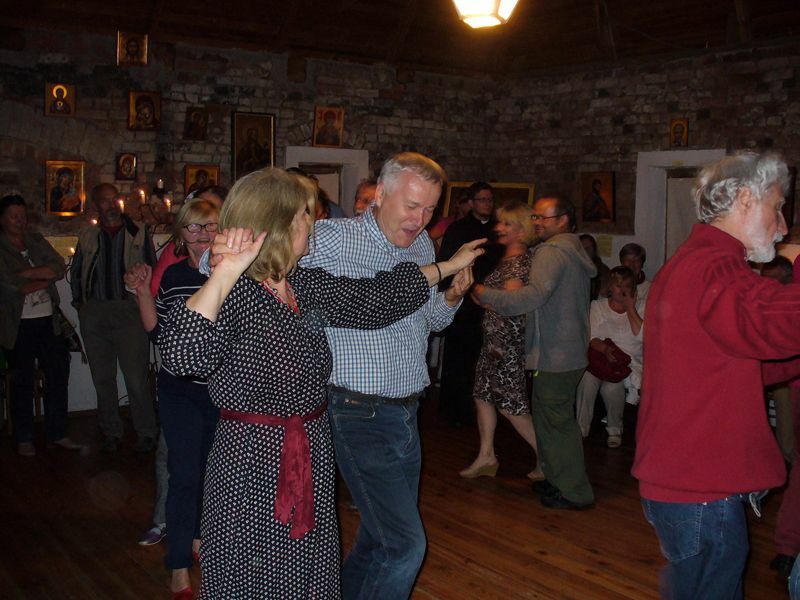 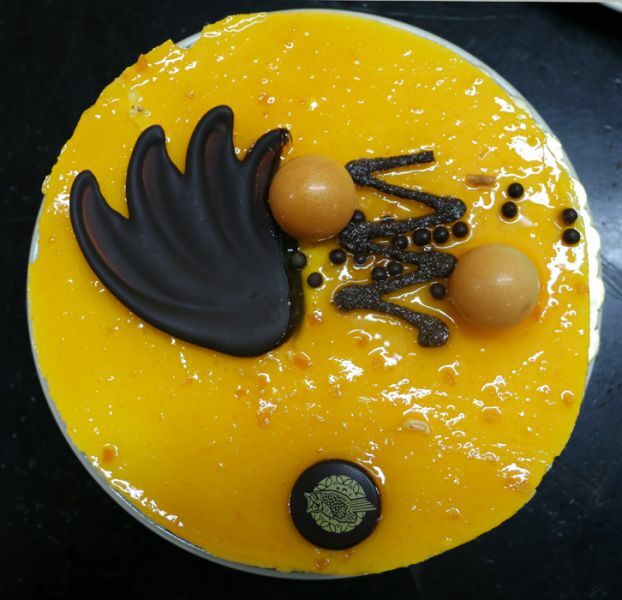 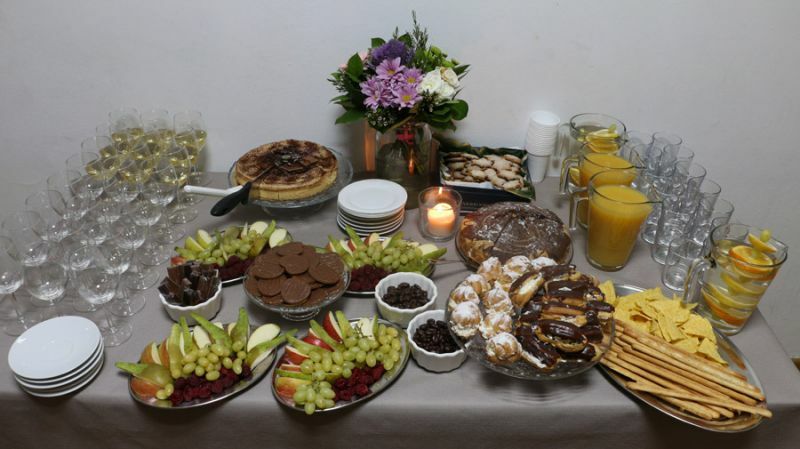 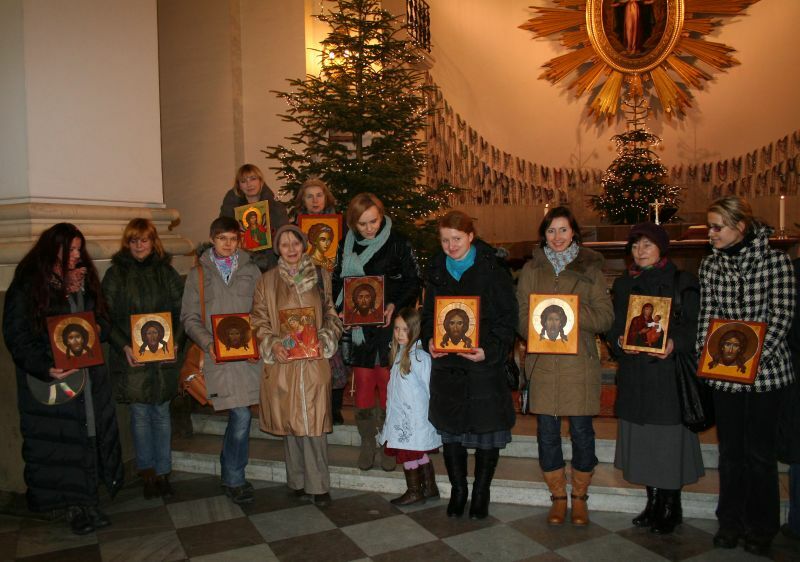 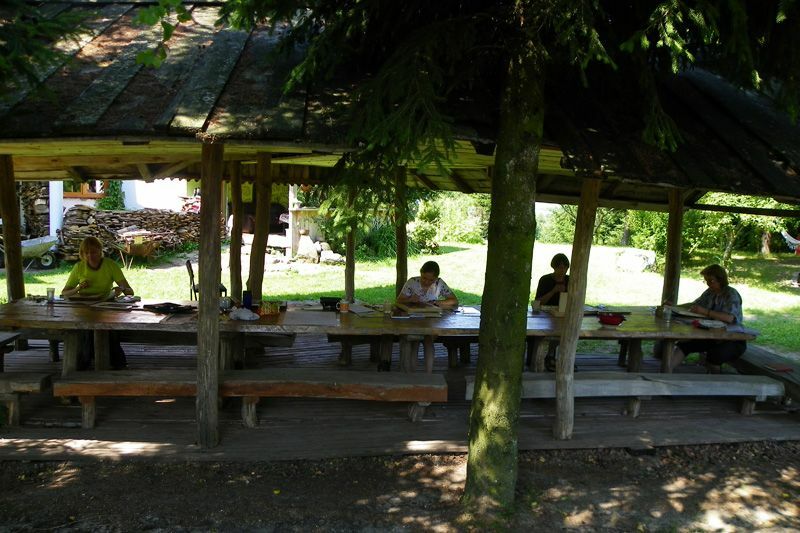 Each of them received a primed linden szpongowaną board according to traditional recipes. 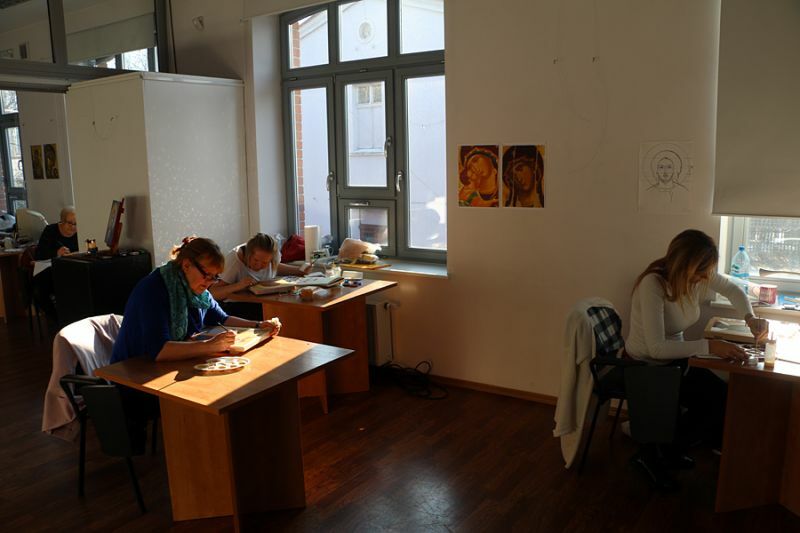 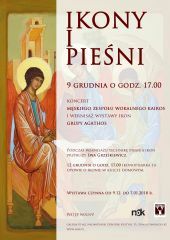 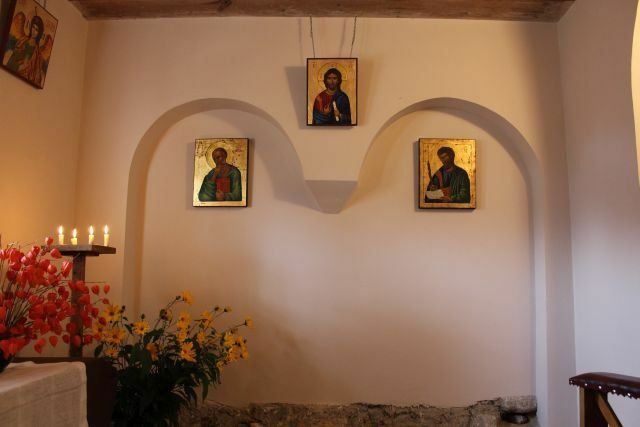 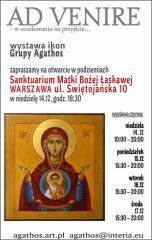 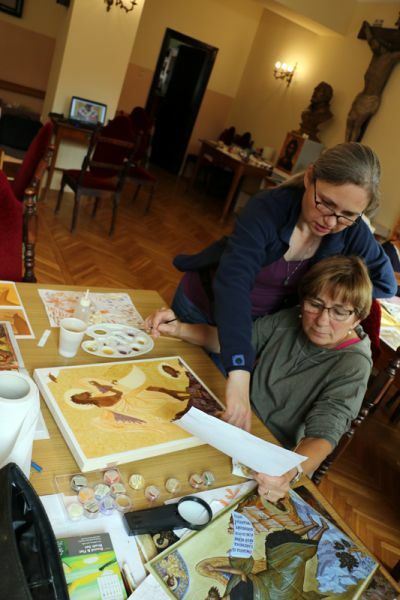 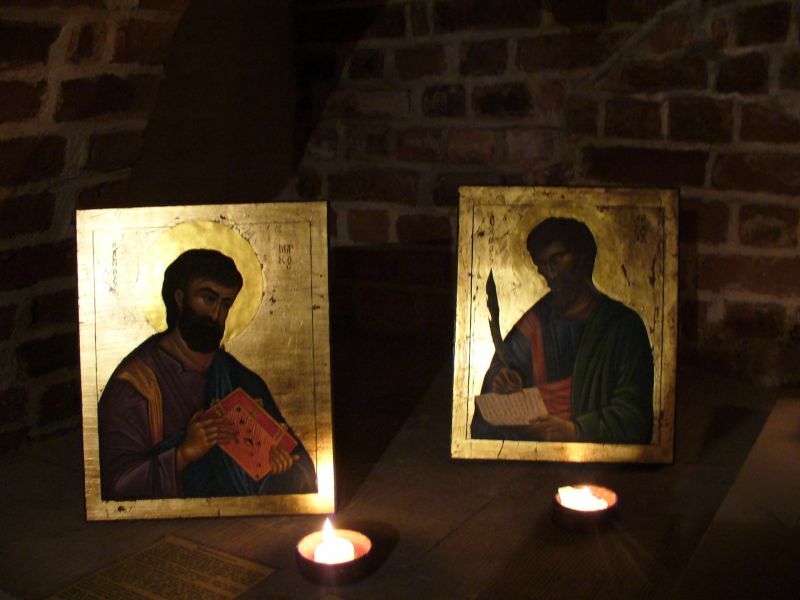 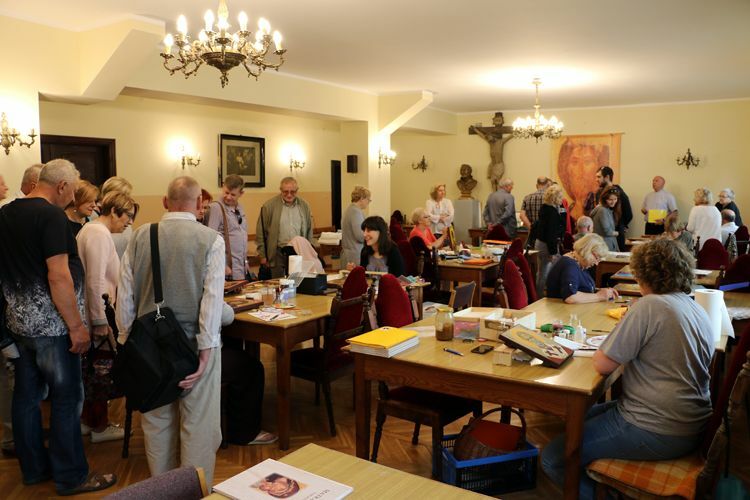 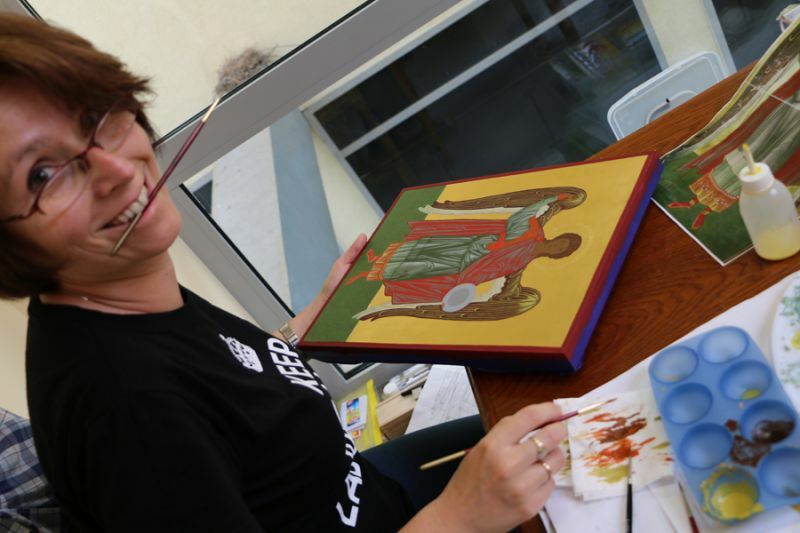 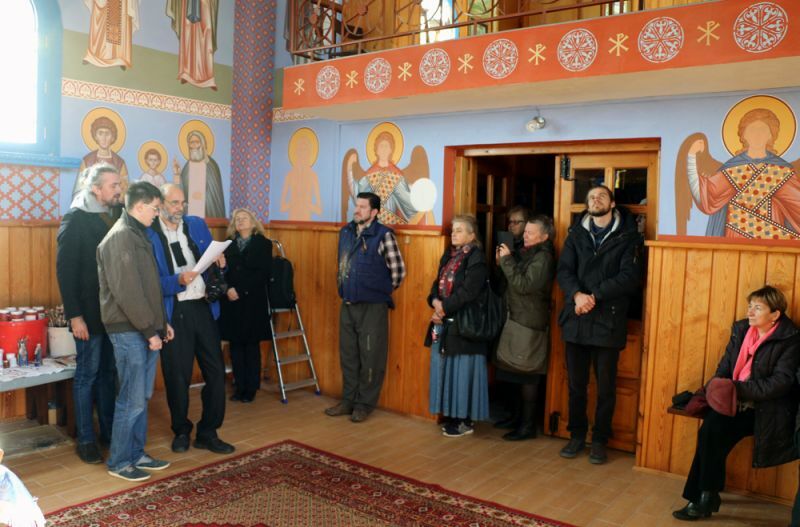 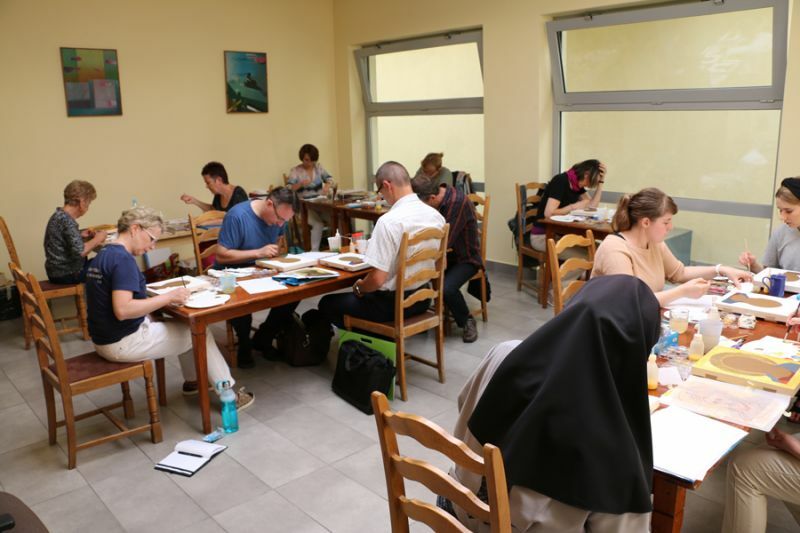 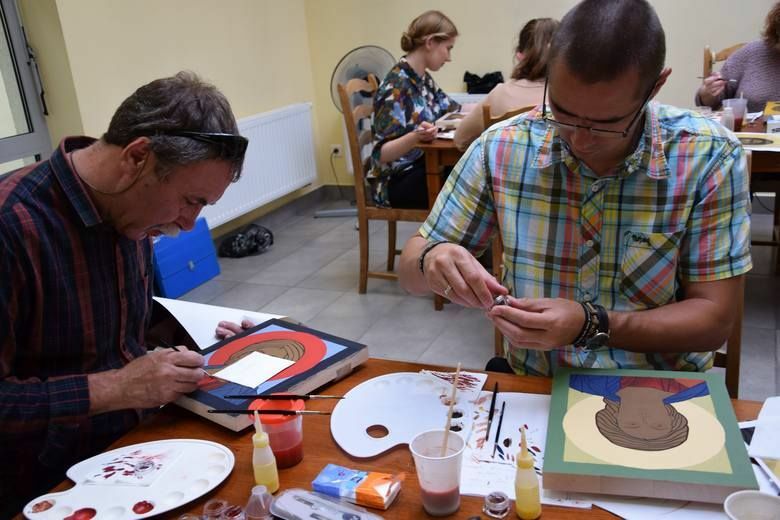 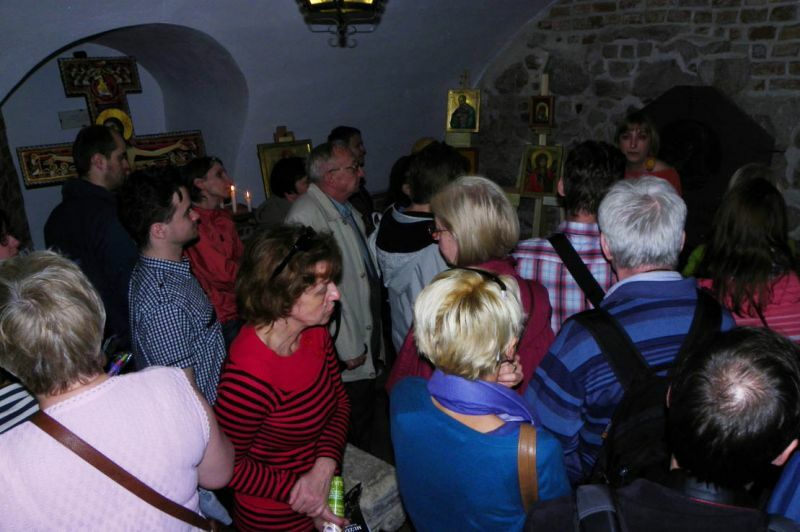 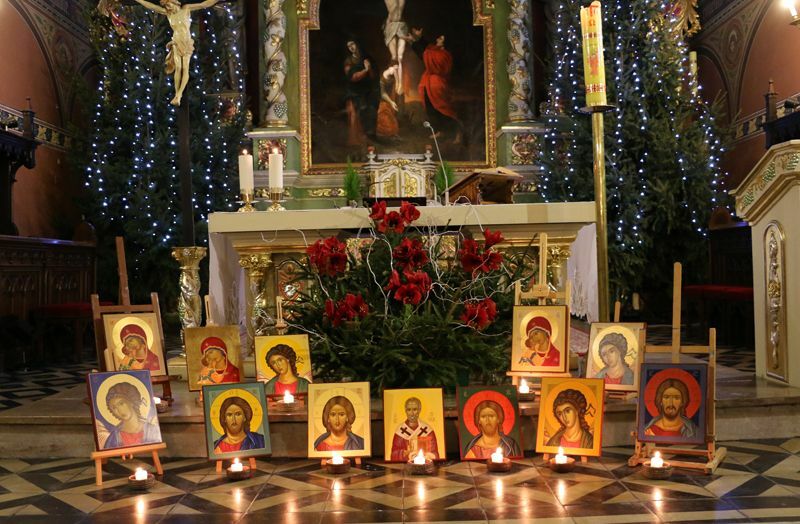 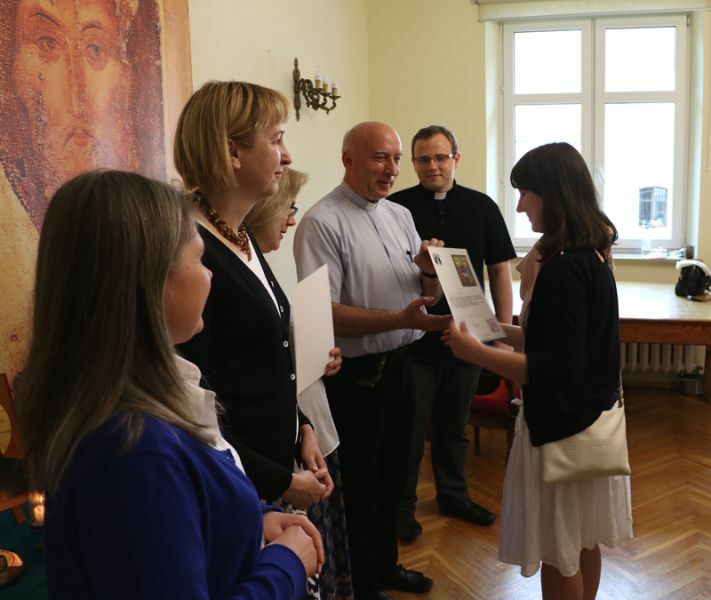 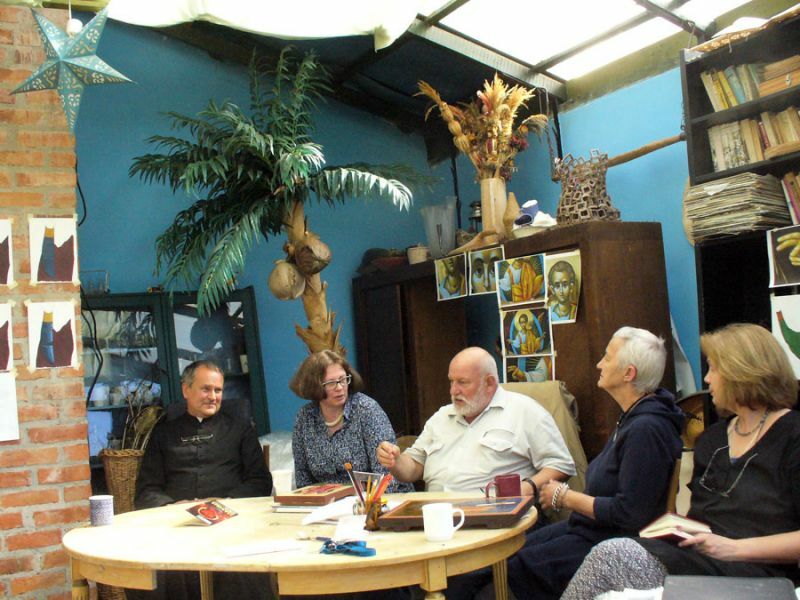 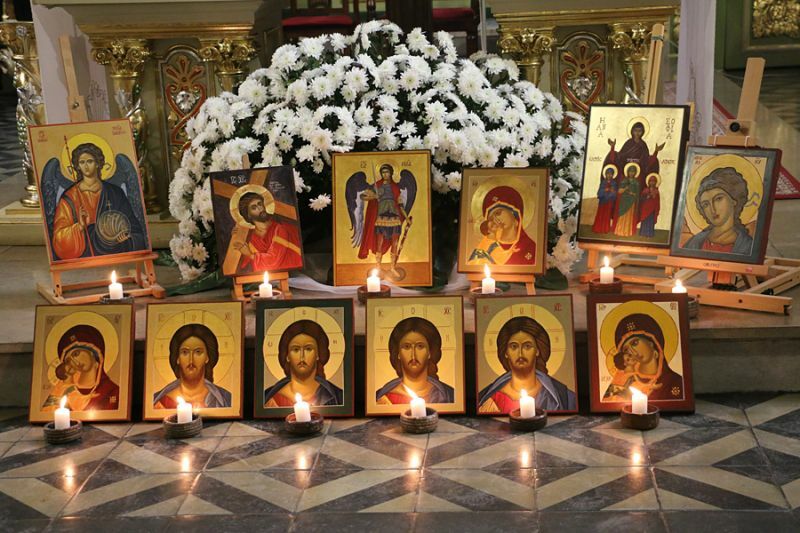 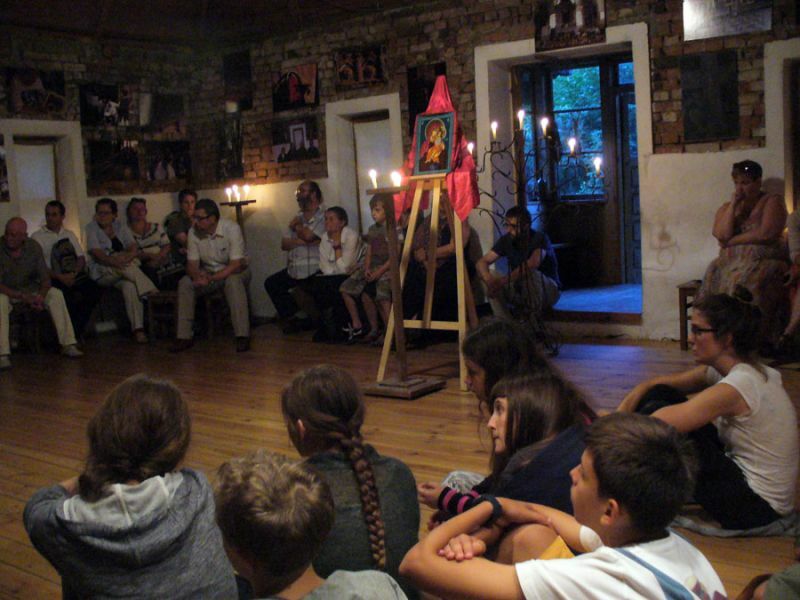 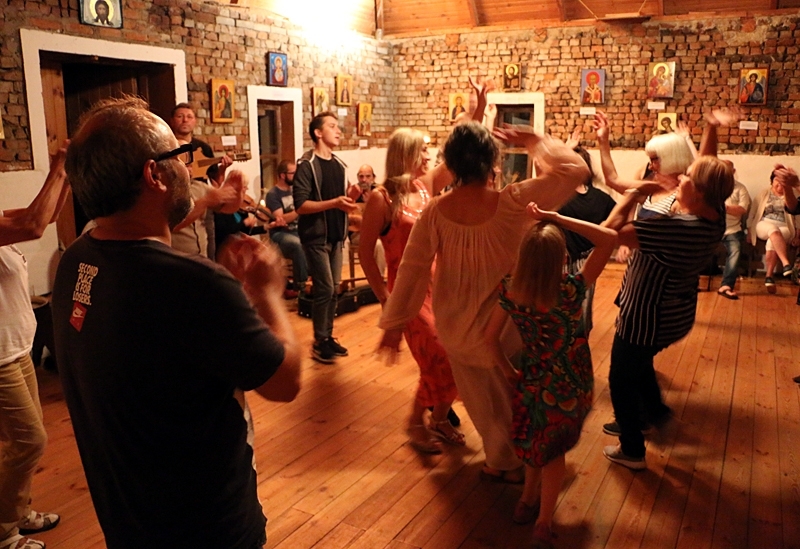 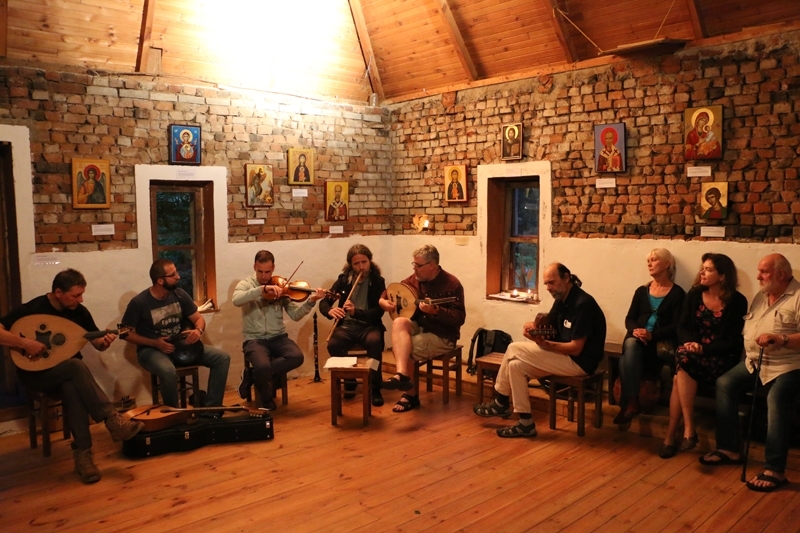 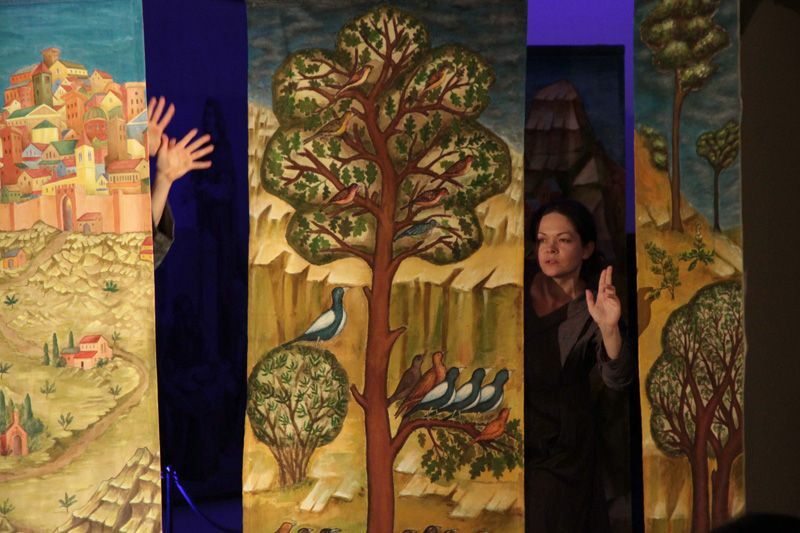 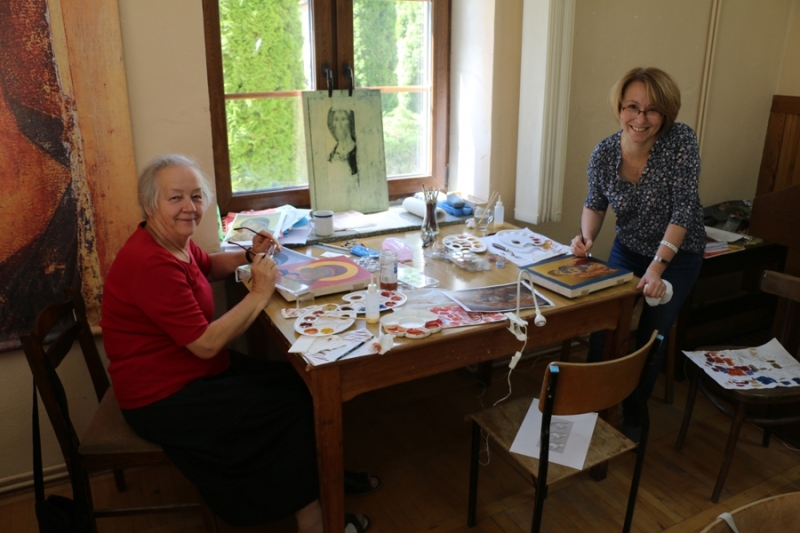 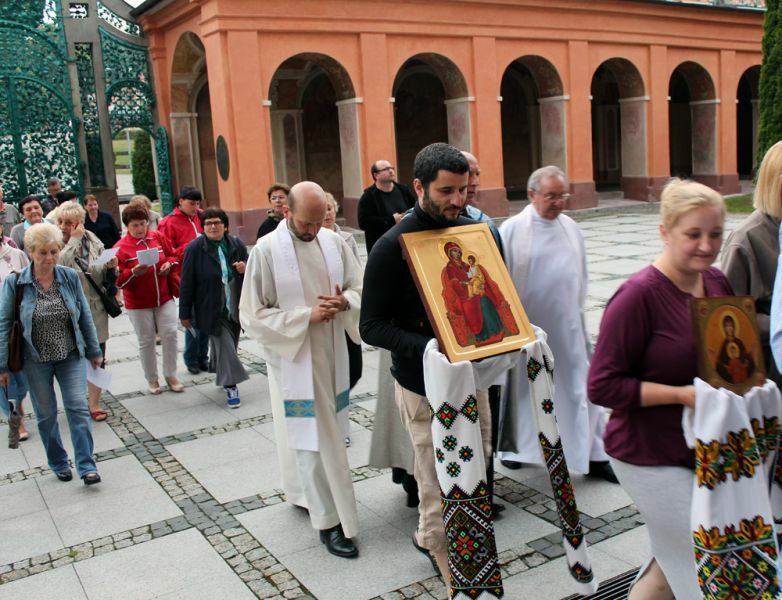 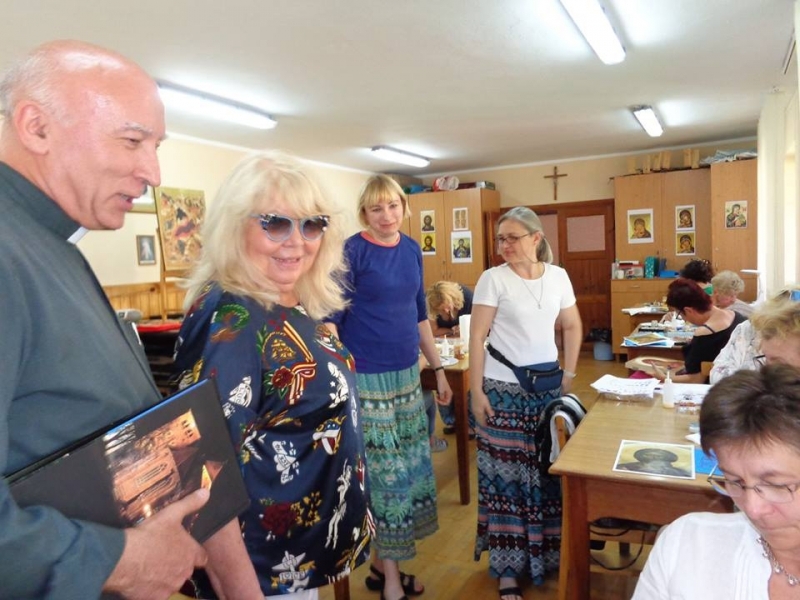 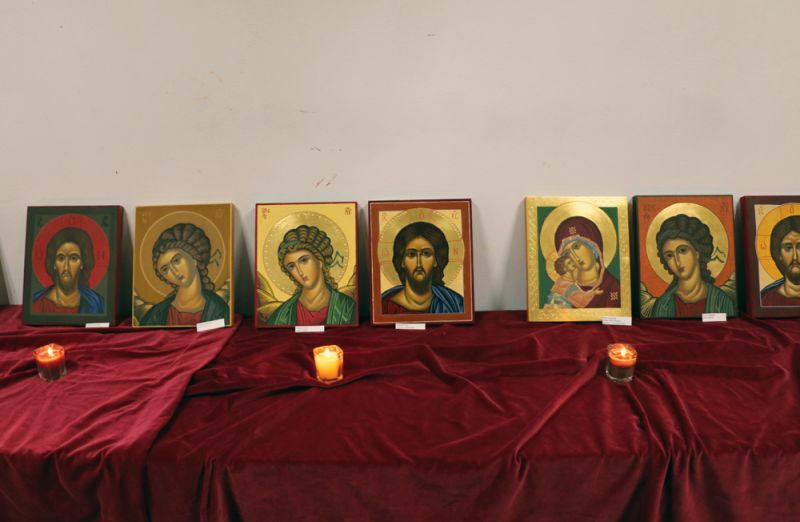 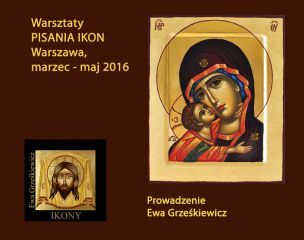 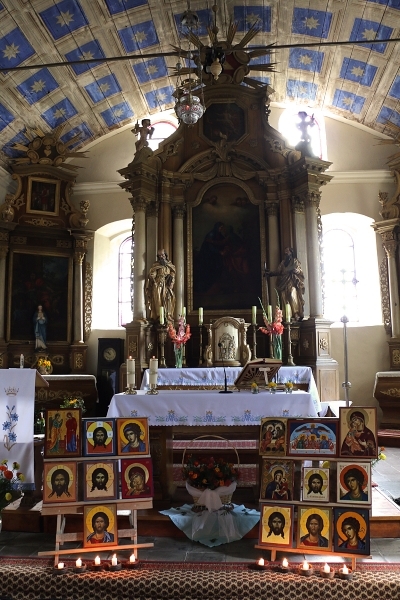 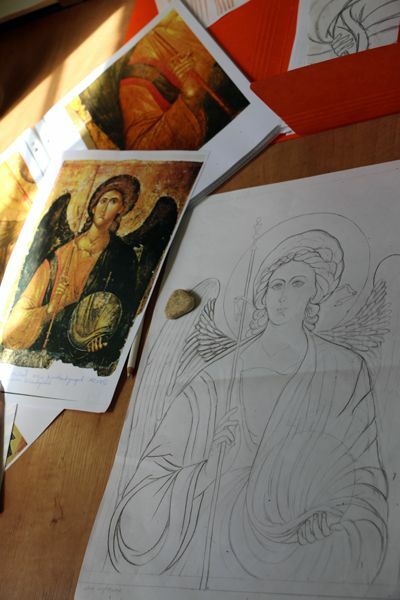 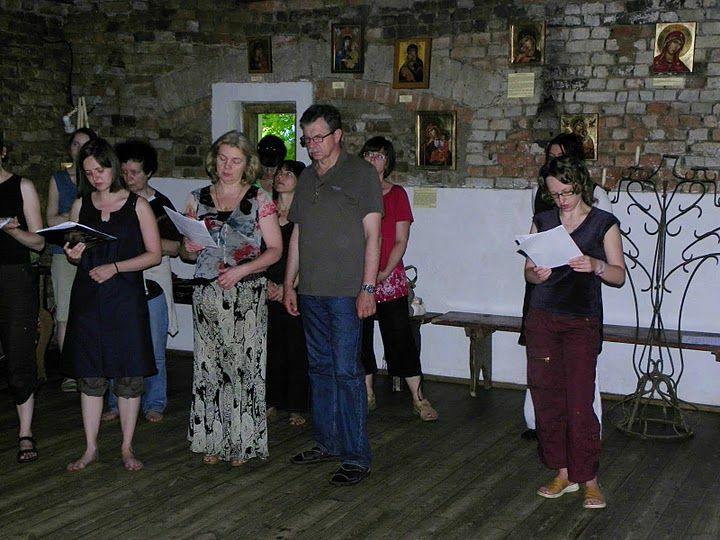 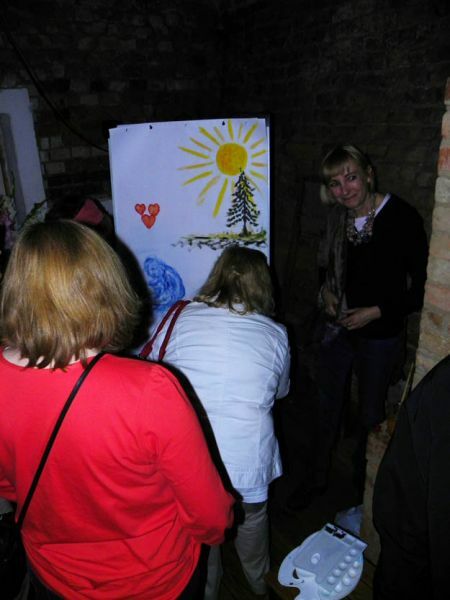 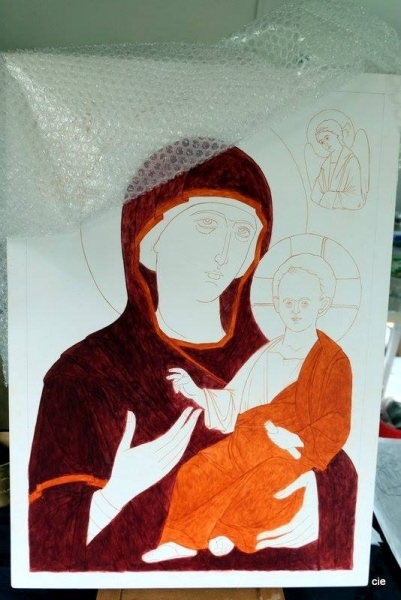 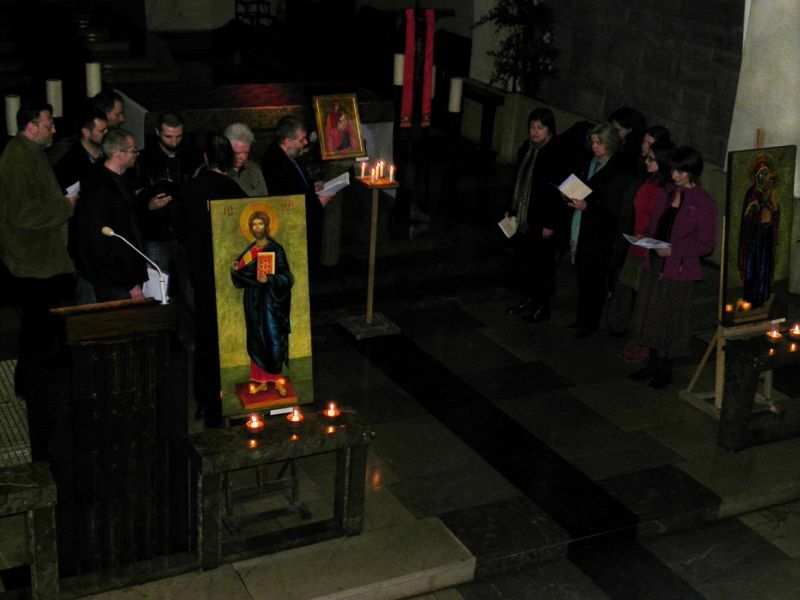 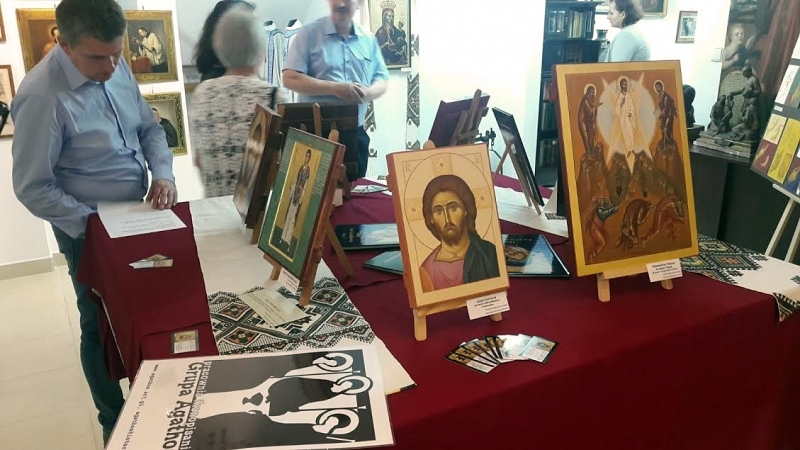 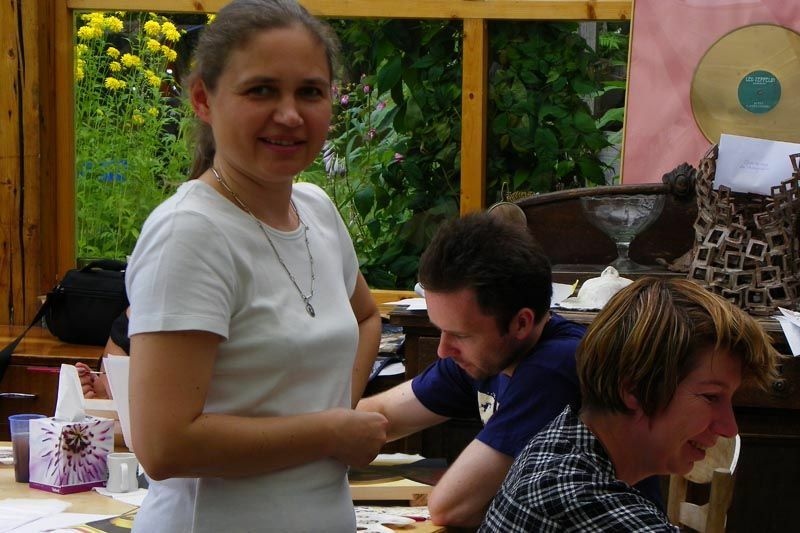 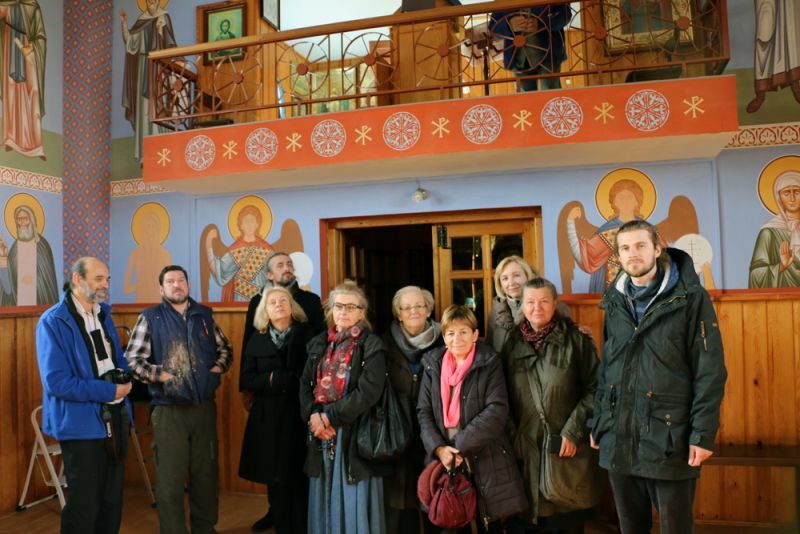 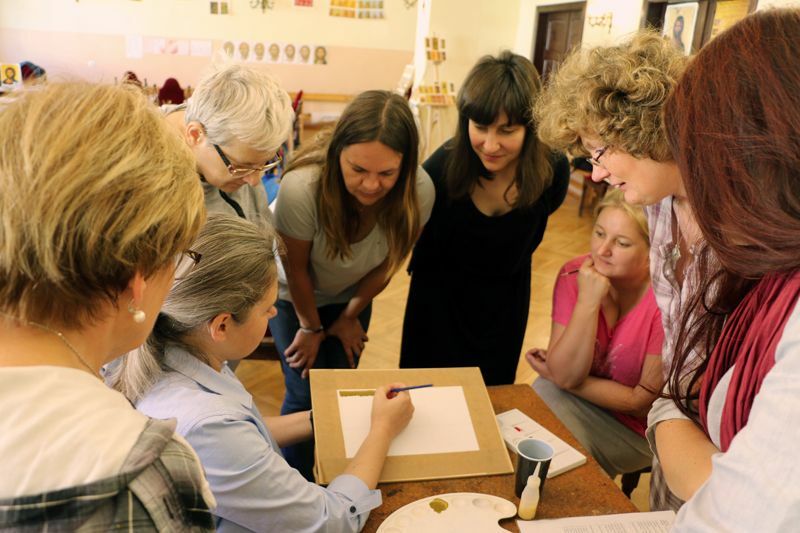 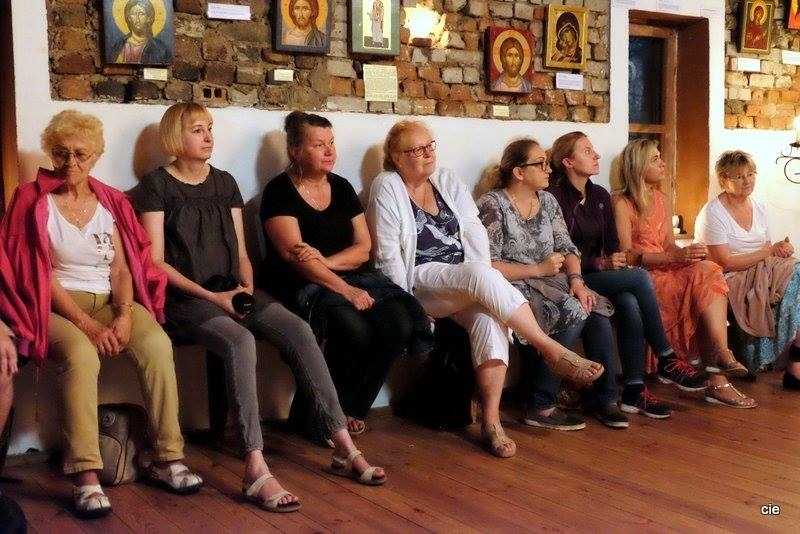 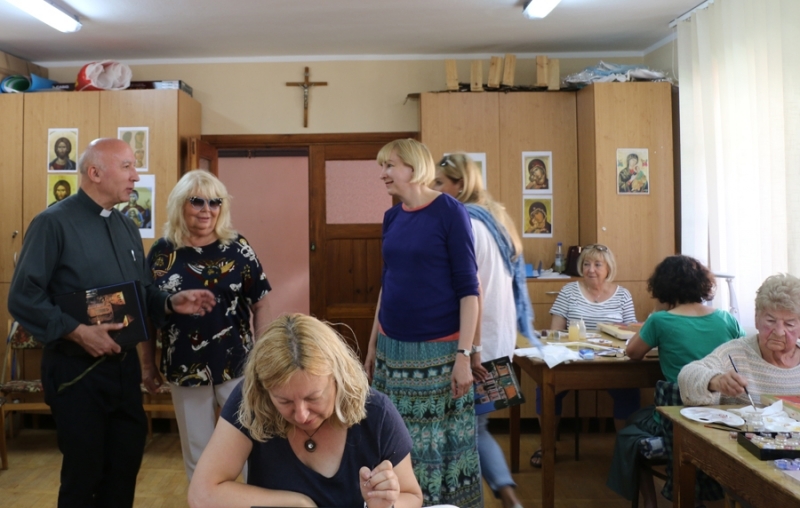 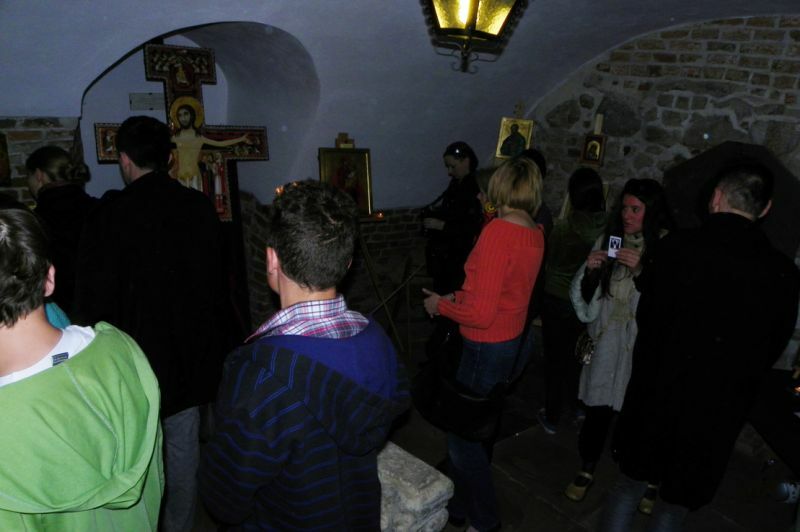 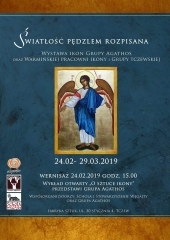 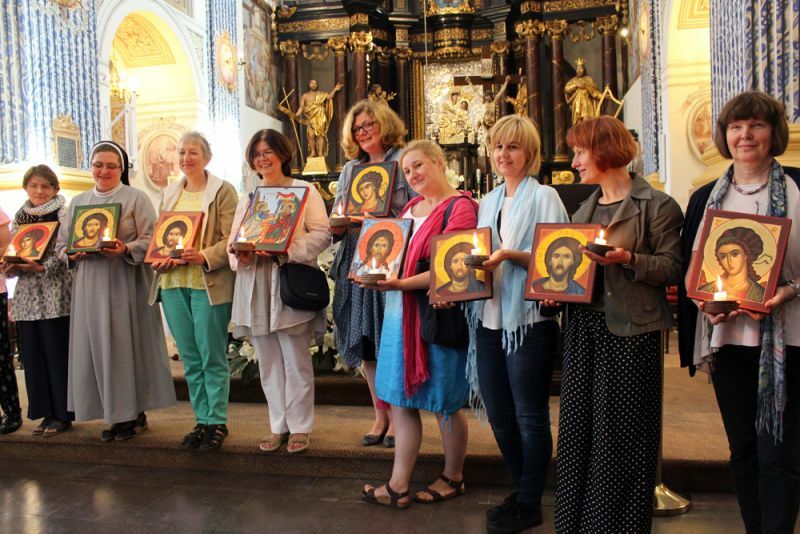 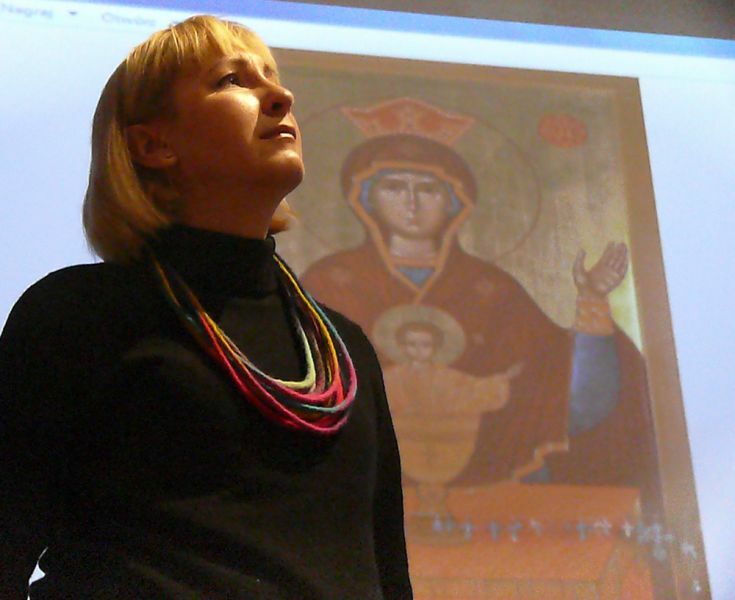 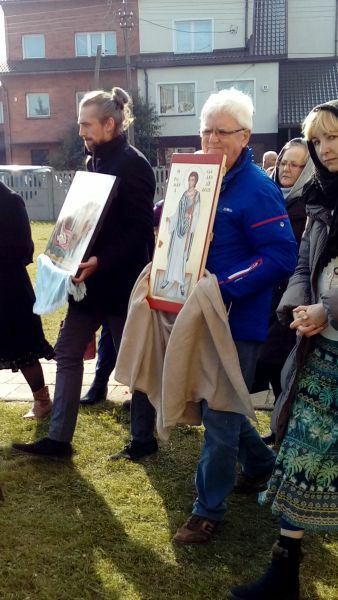 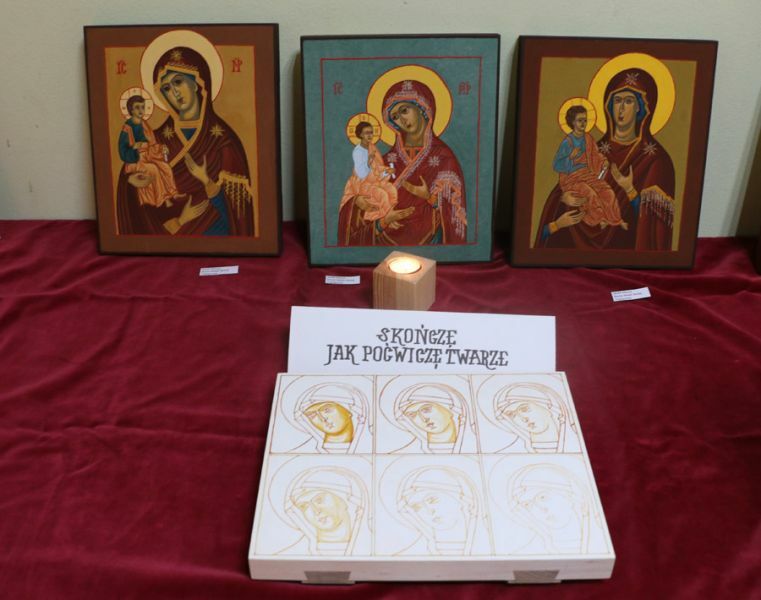 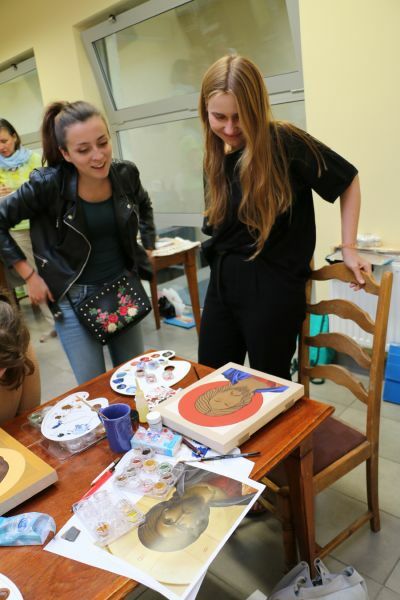 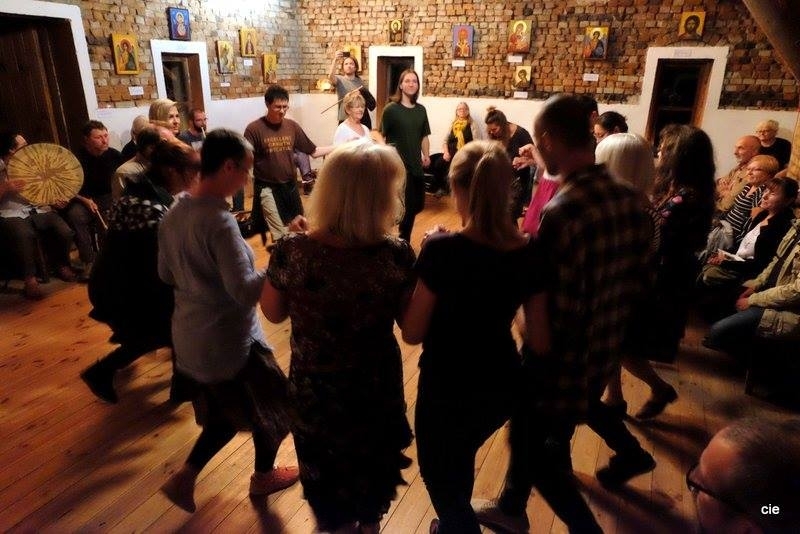 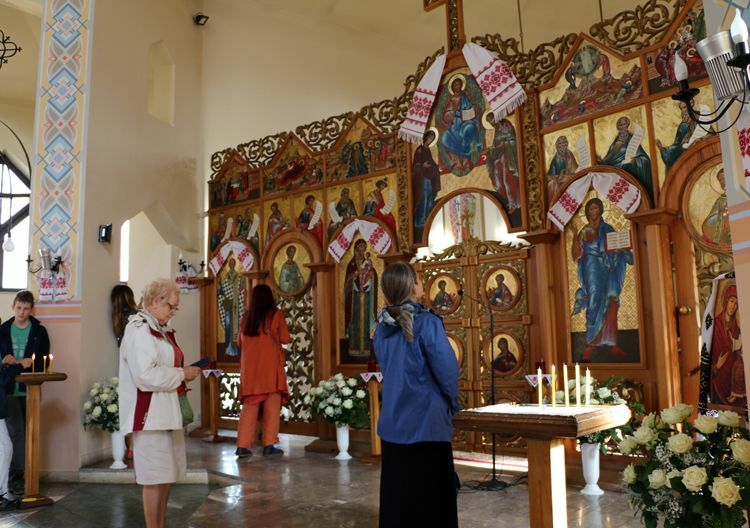 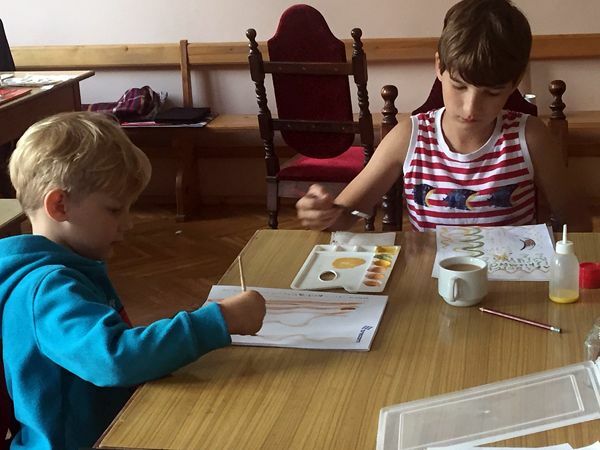 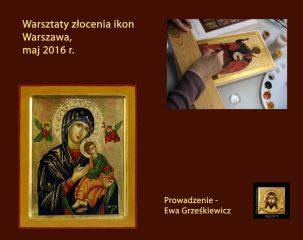 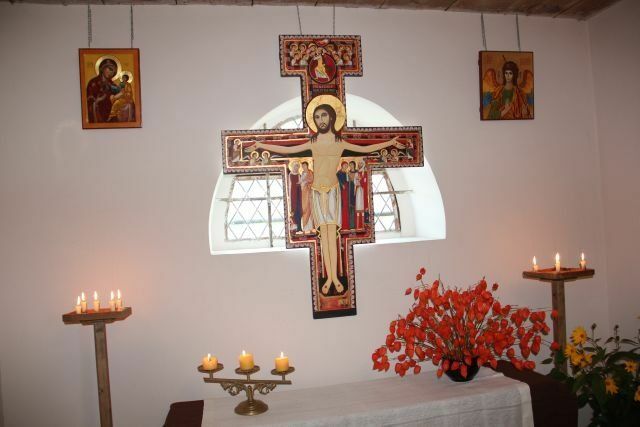 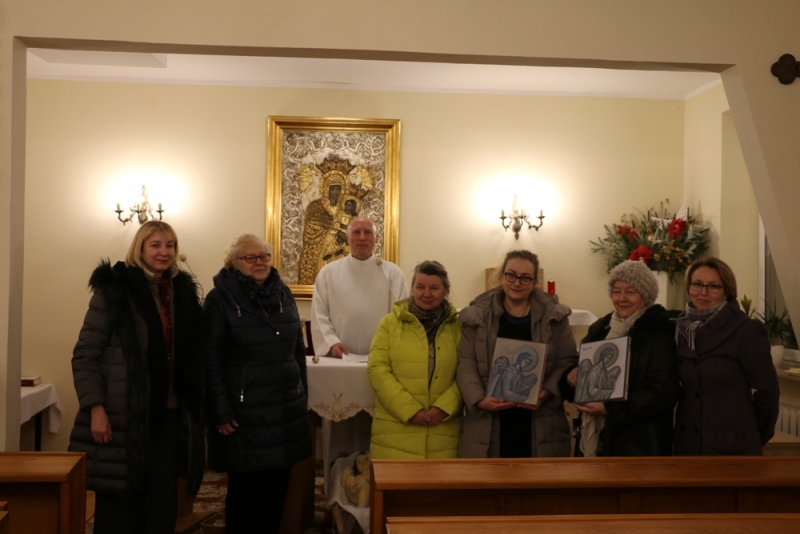 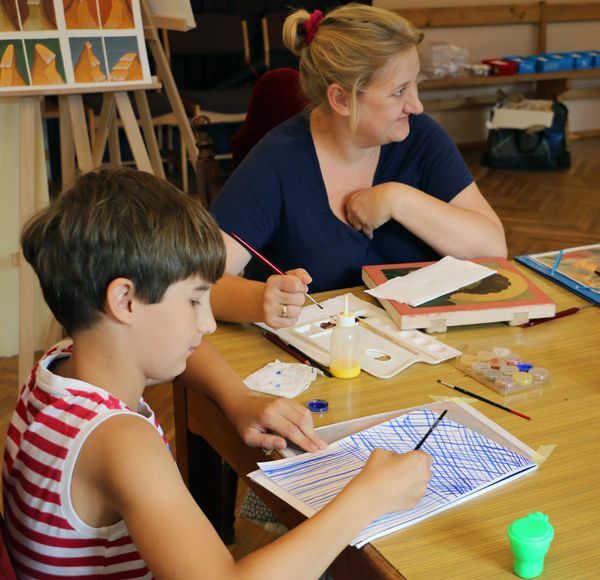 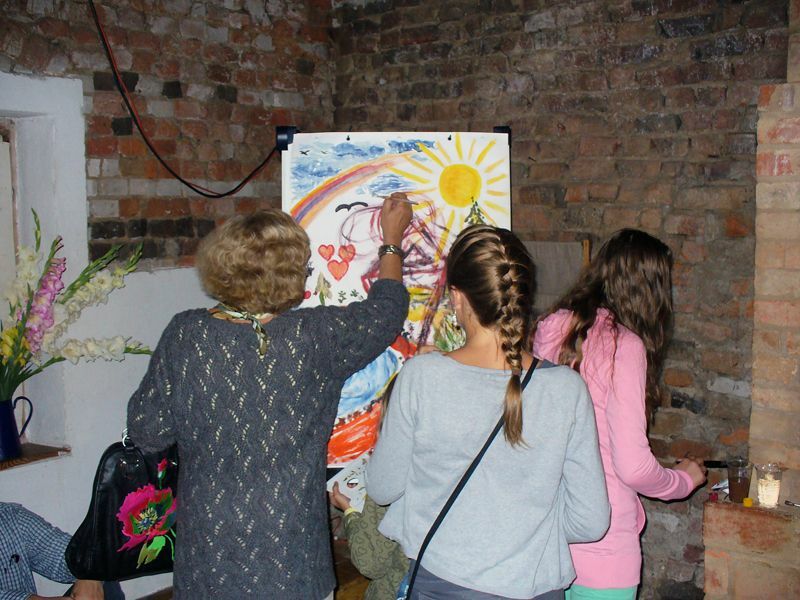 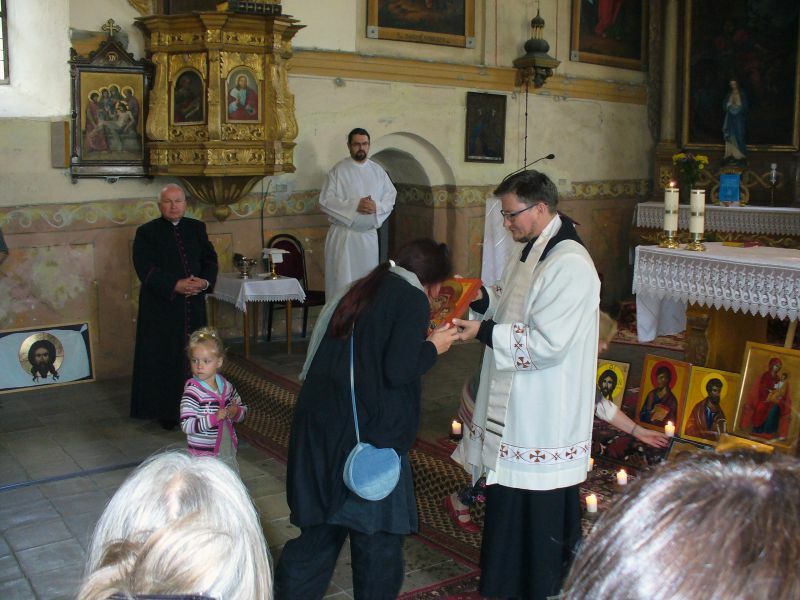 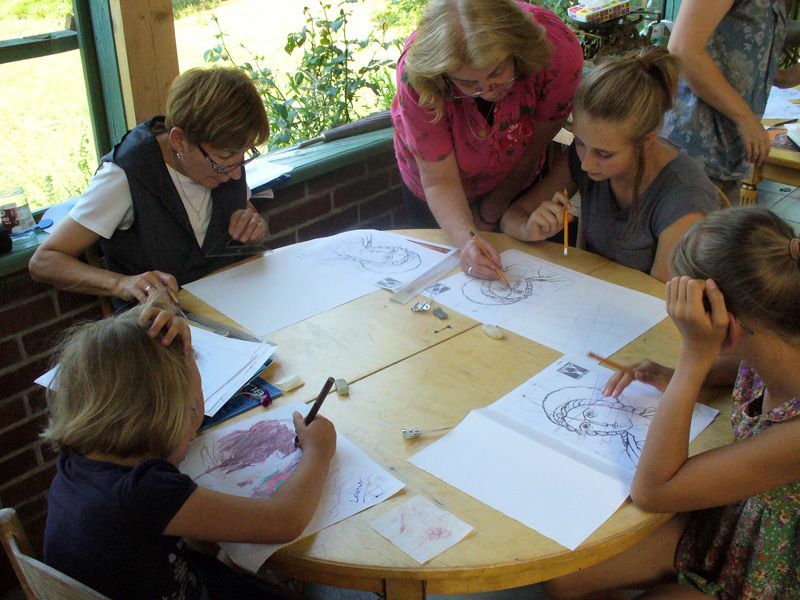 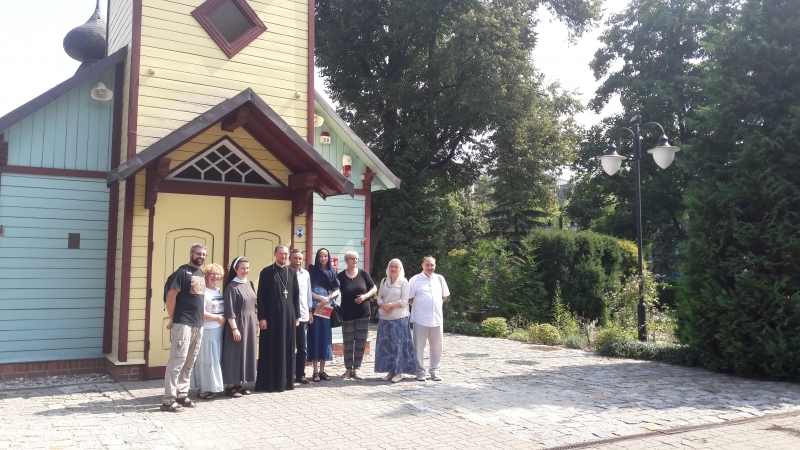 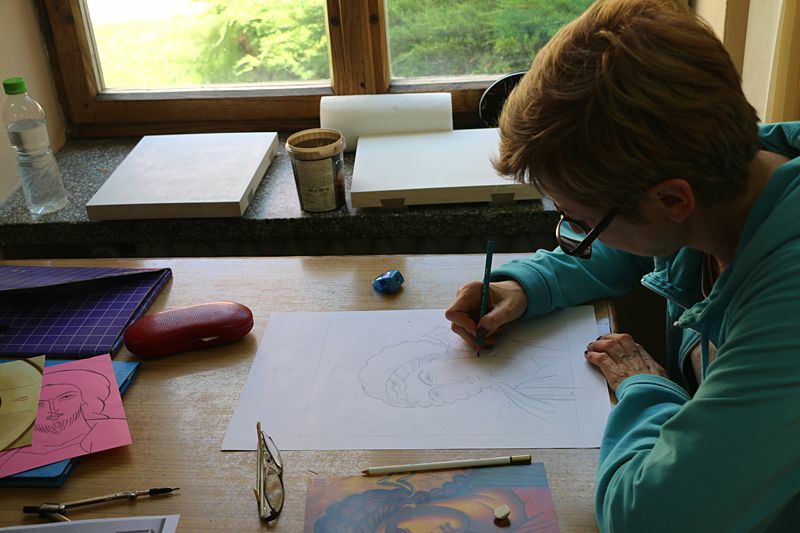 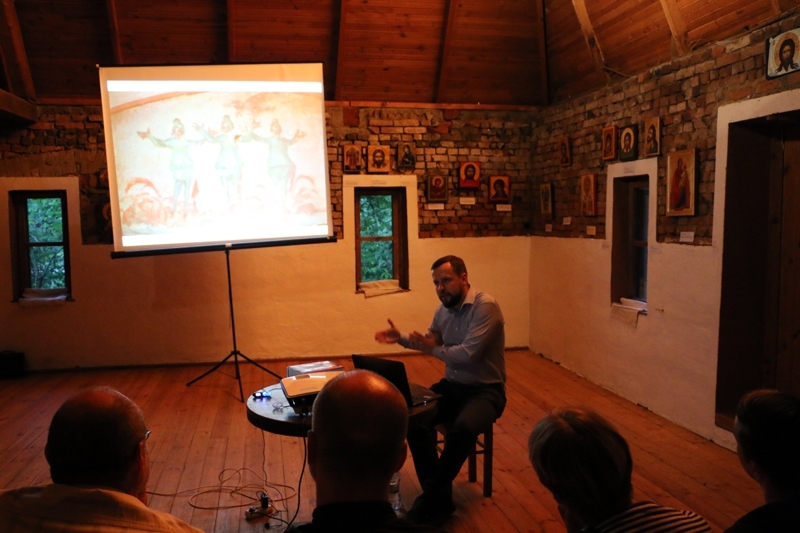 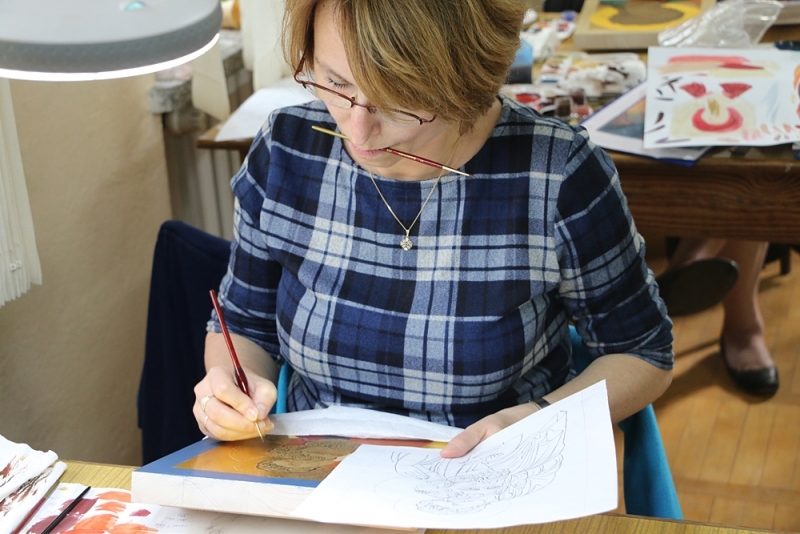 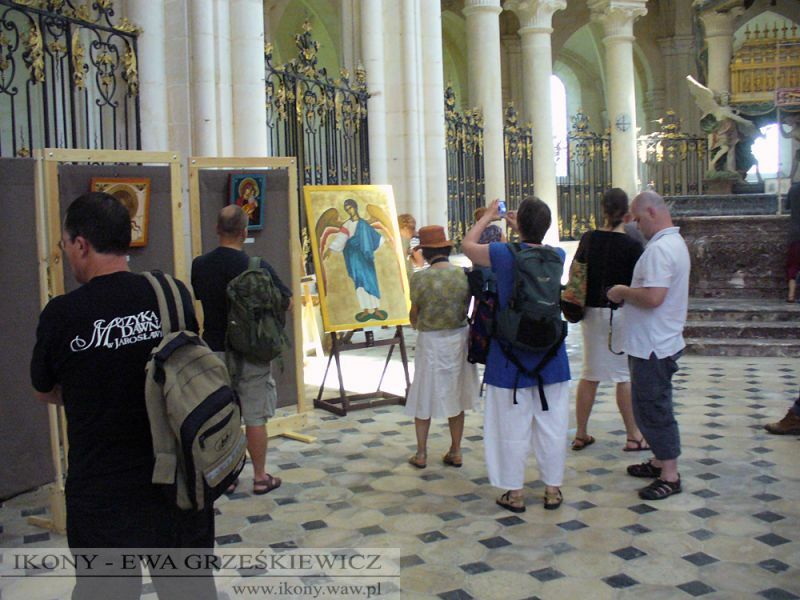 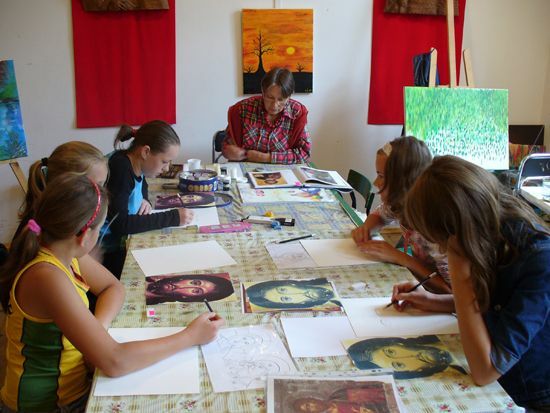 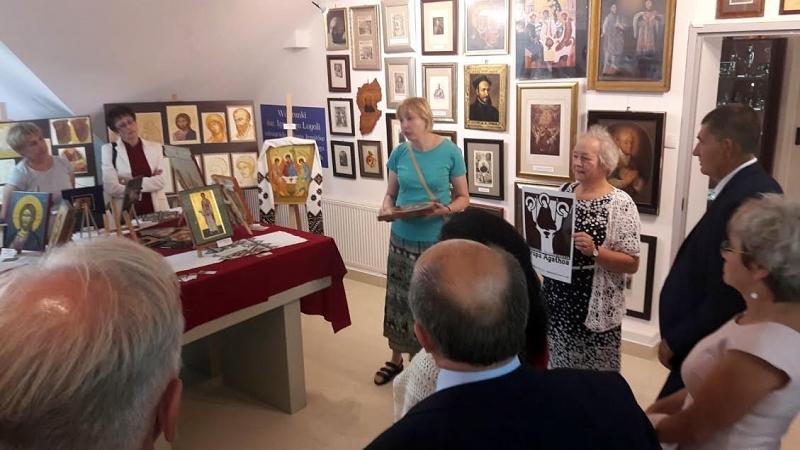 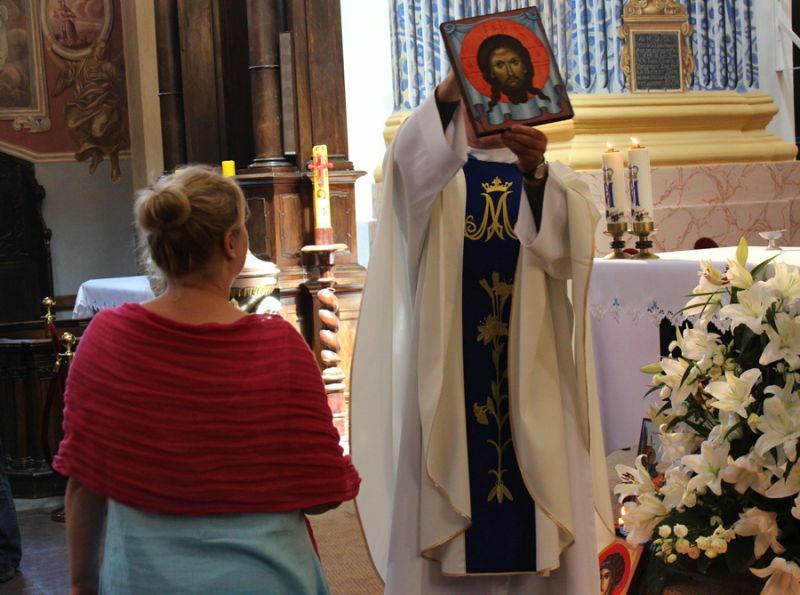 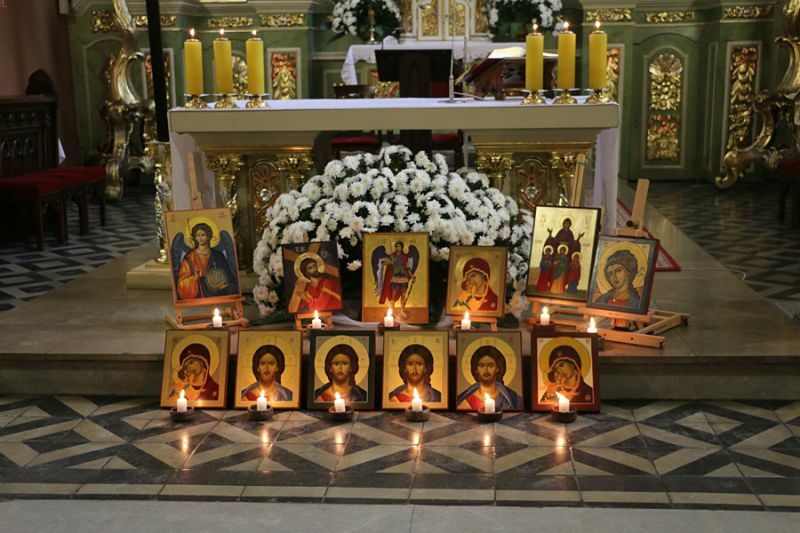 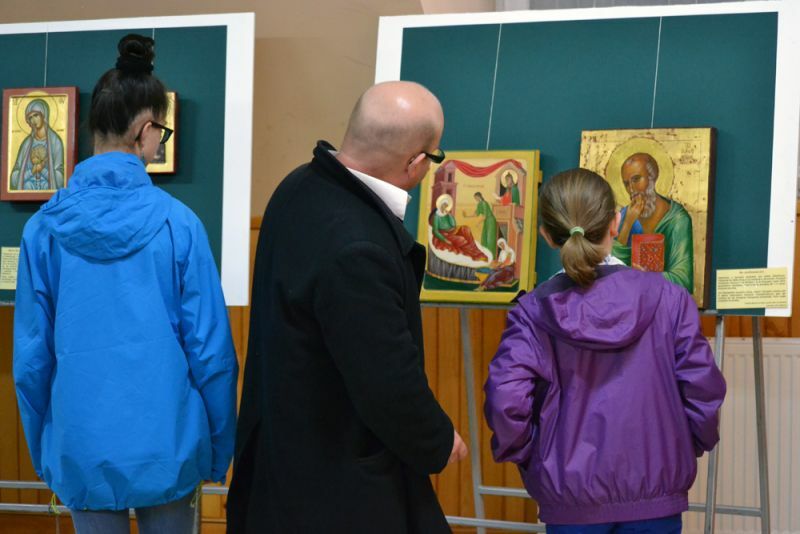 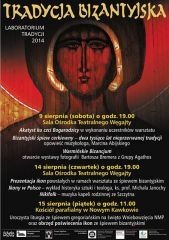 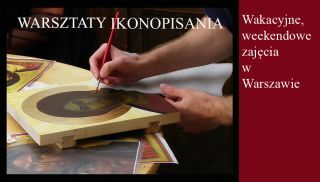 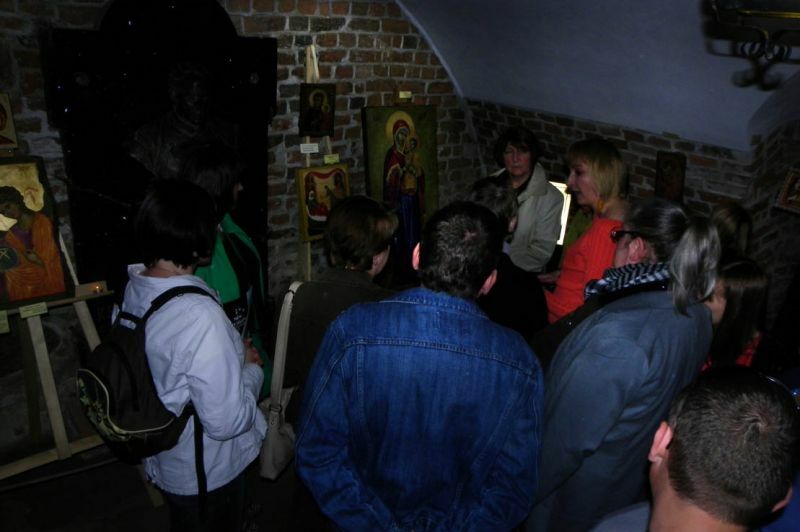 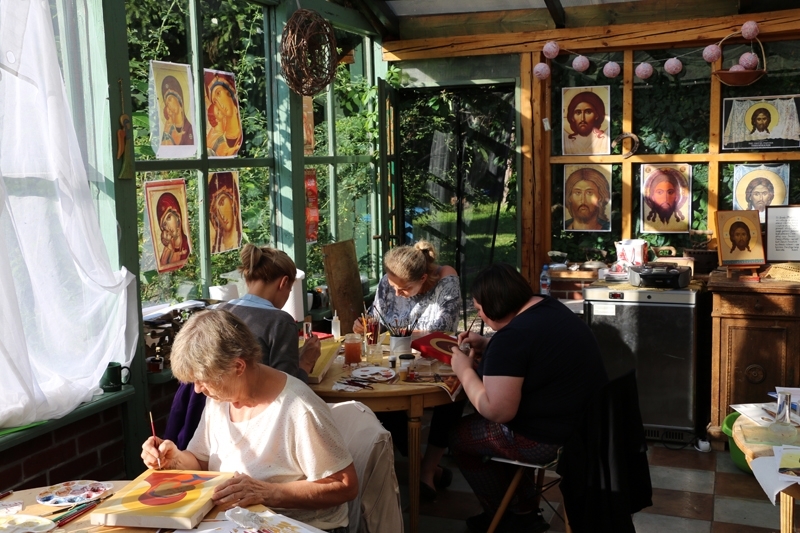 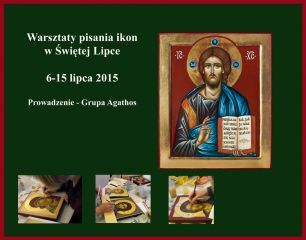 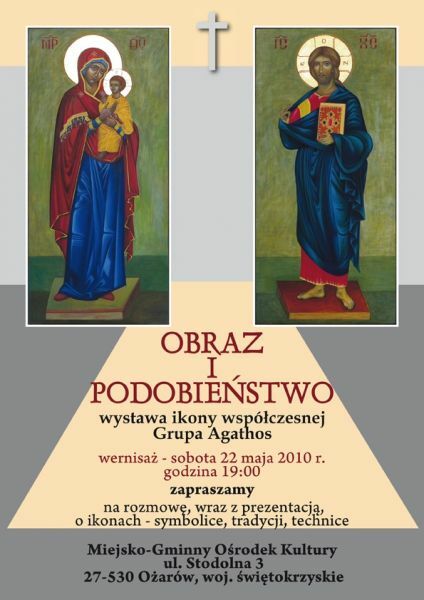 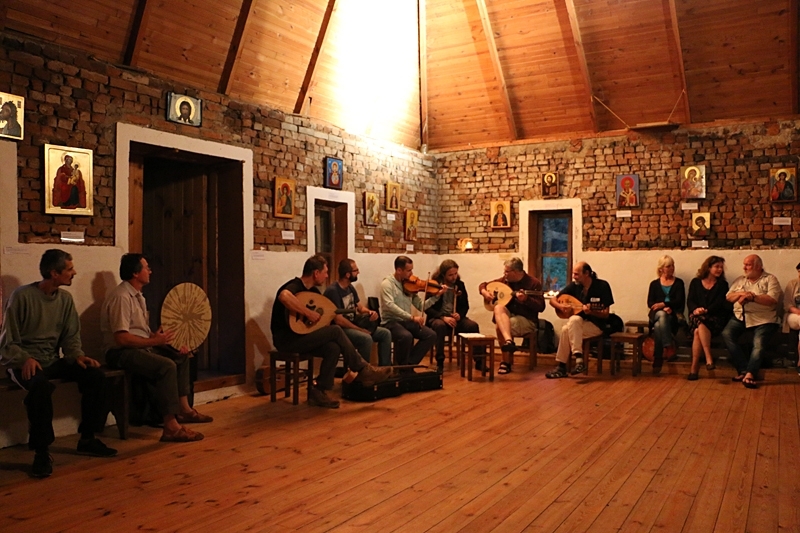 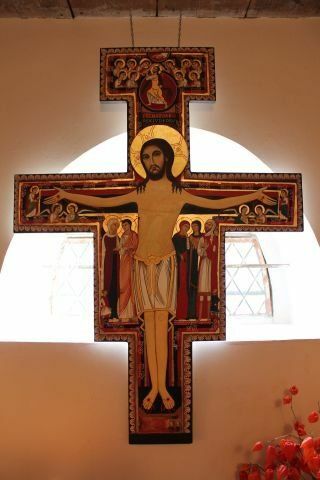 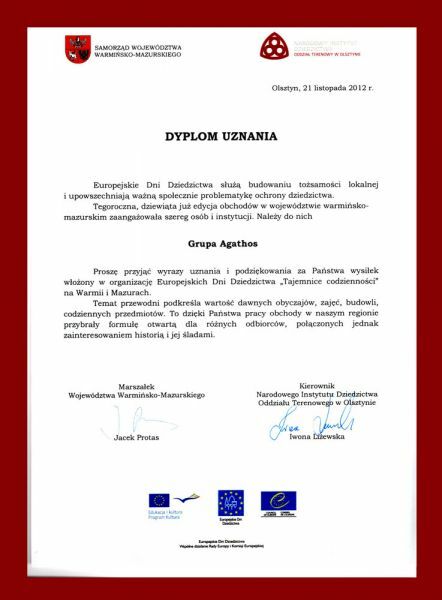 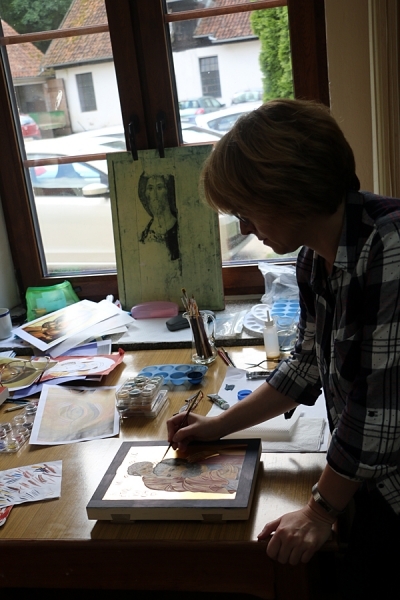 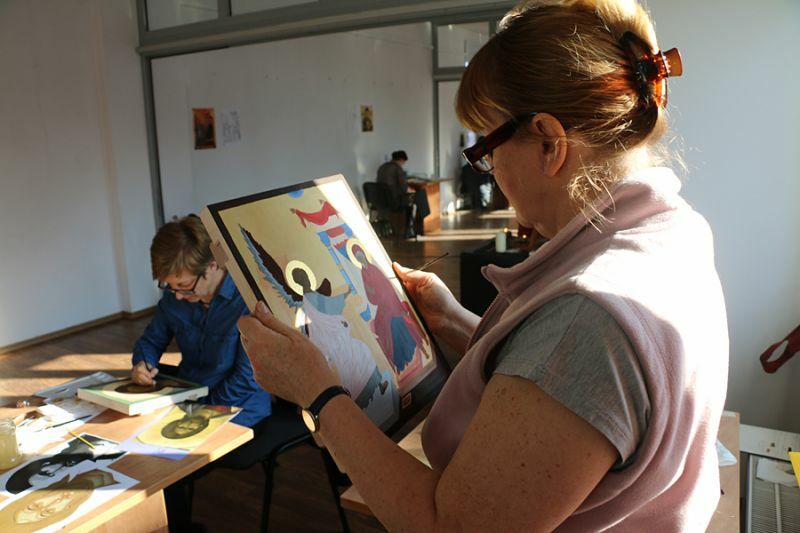 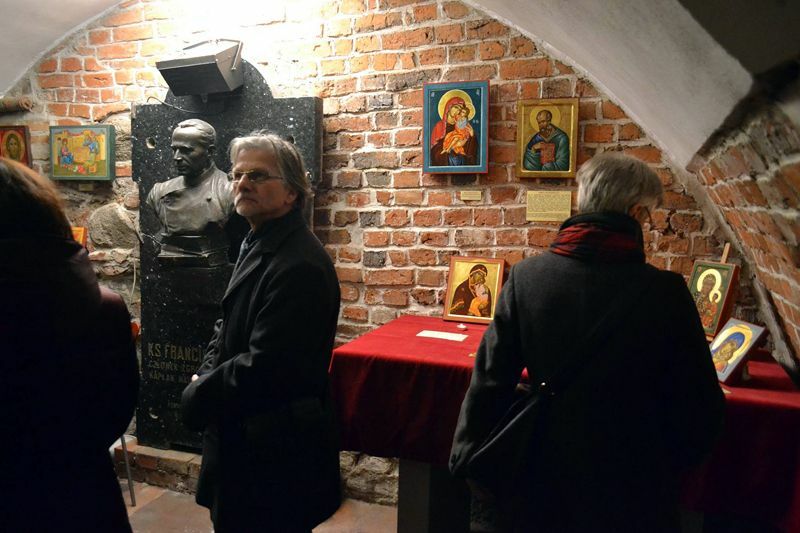 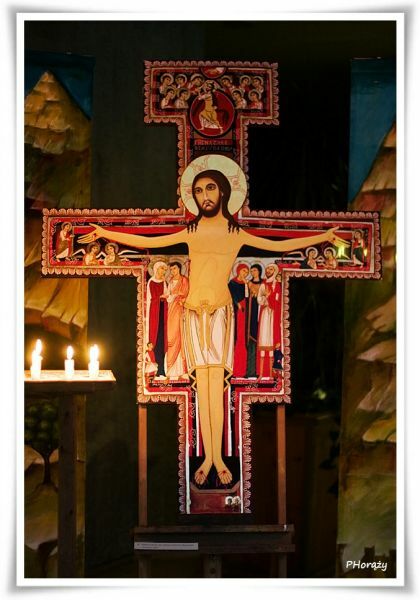 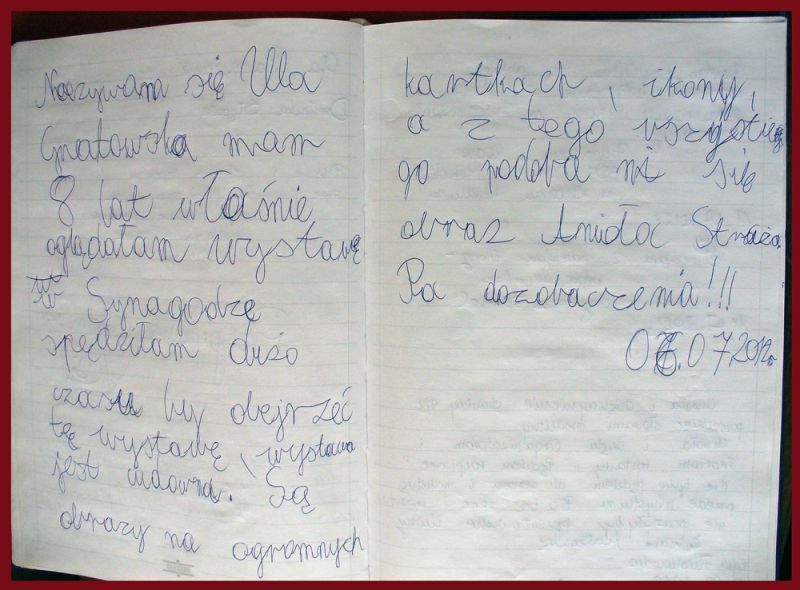 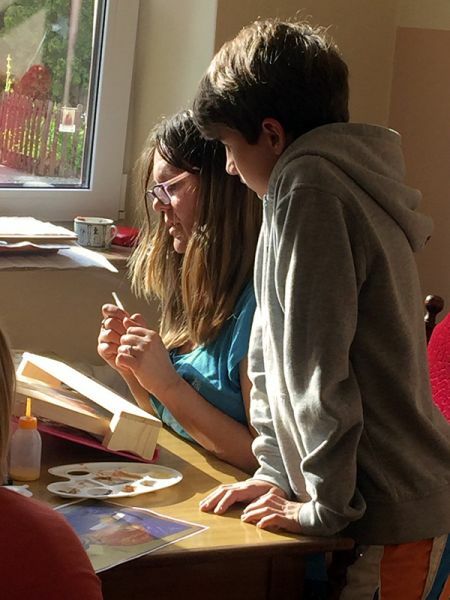 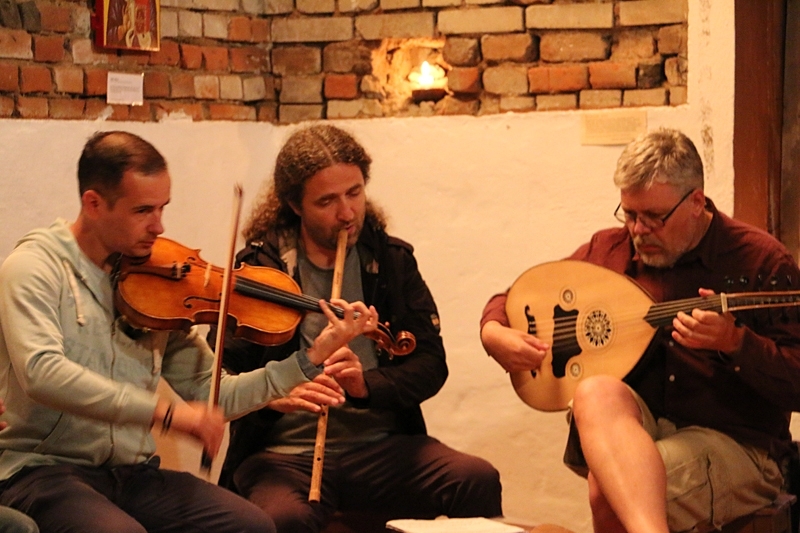 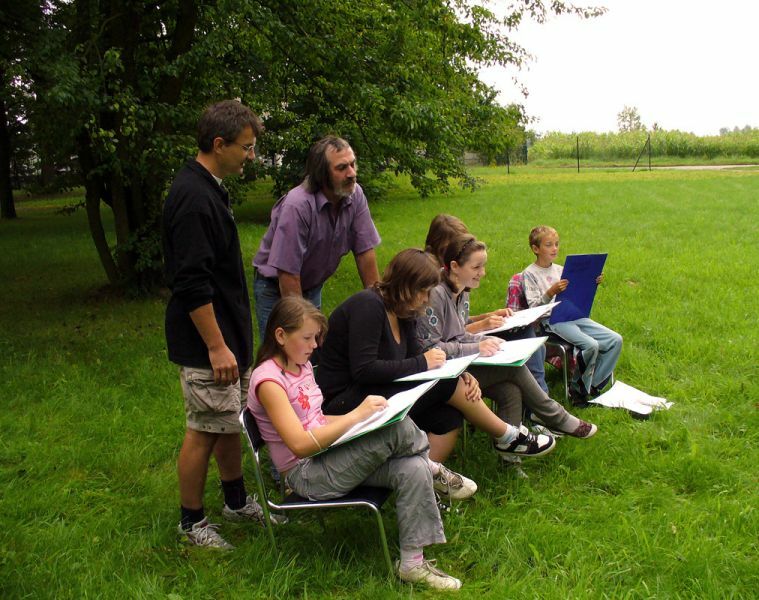 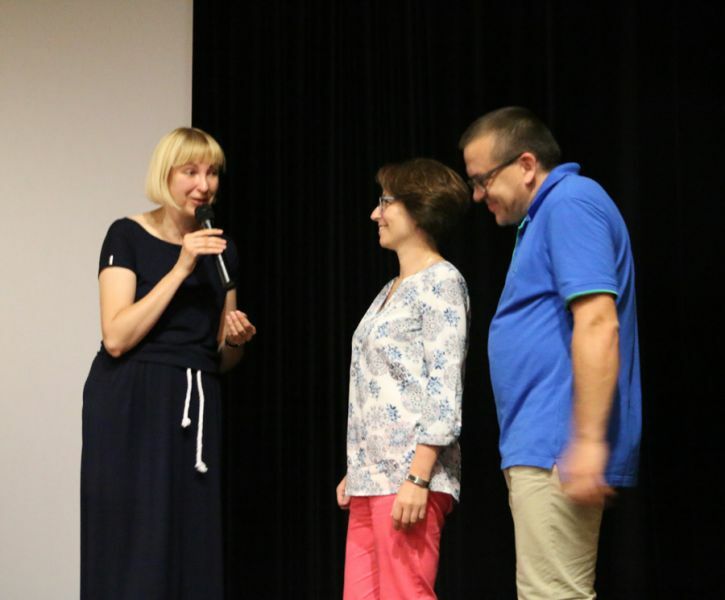 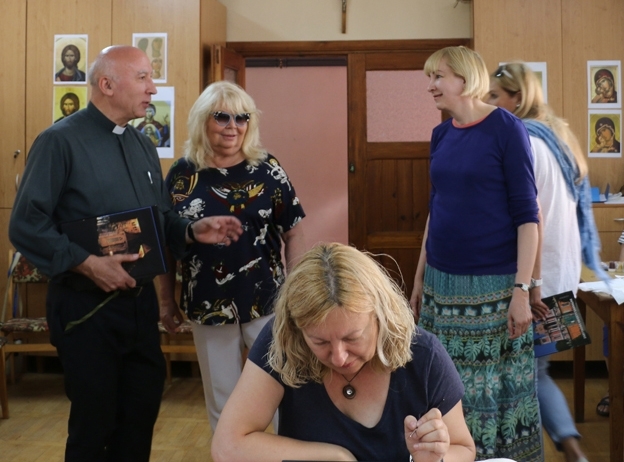 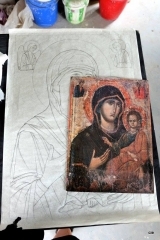 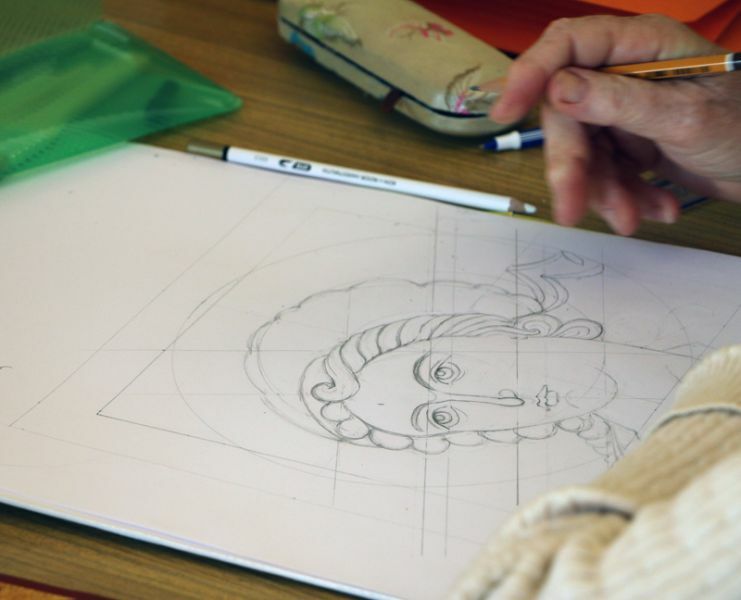 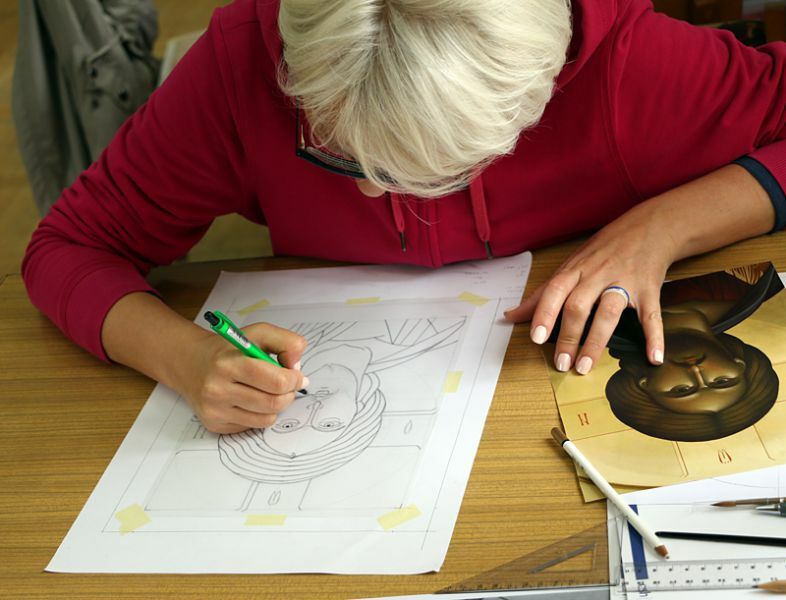 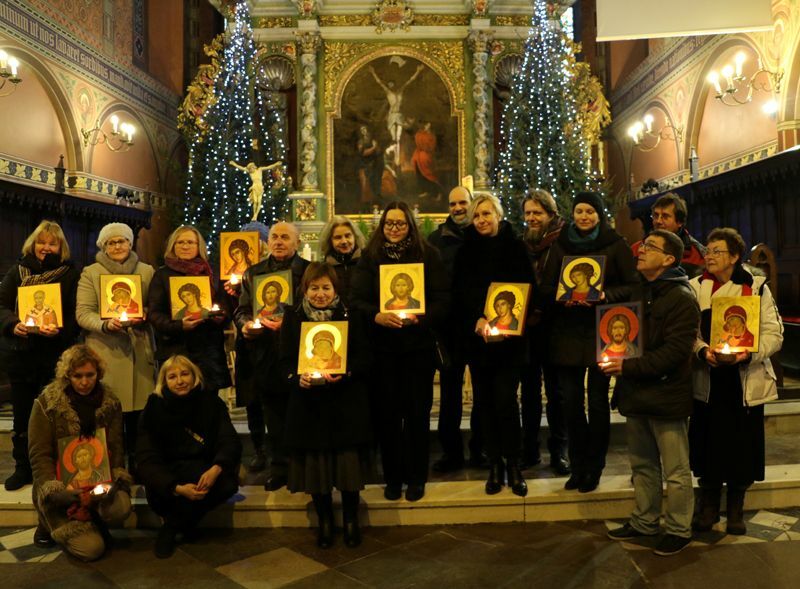 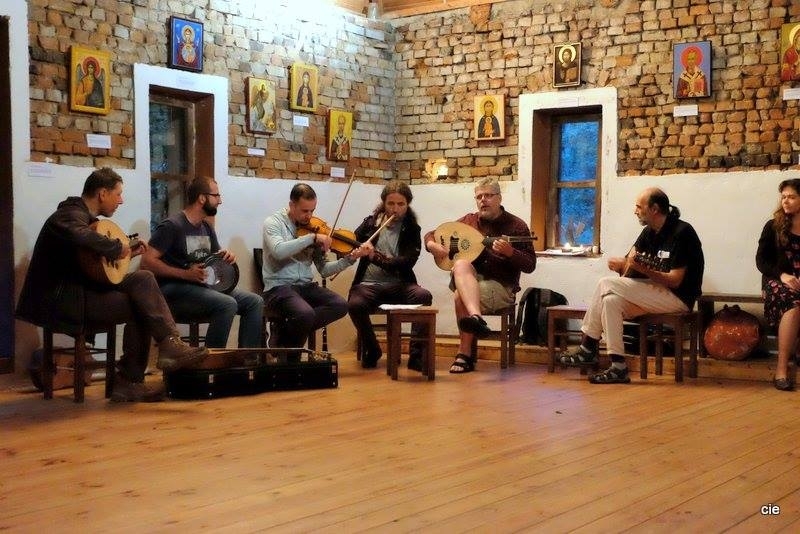 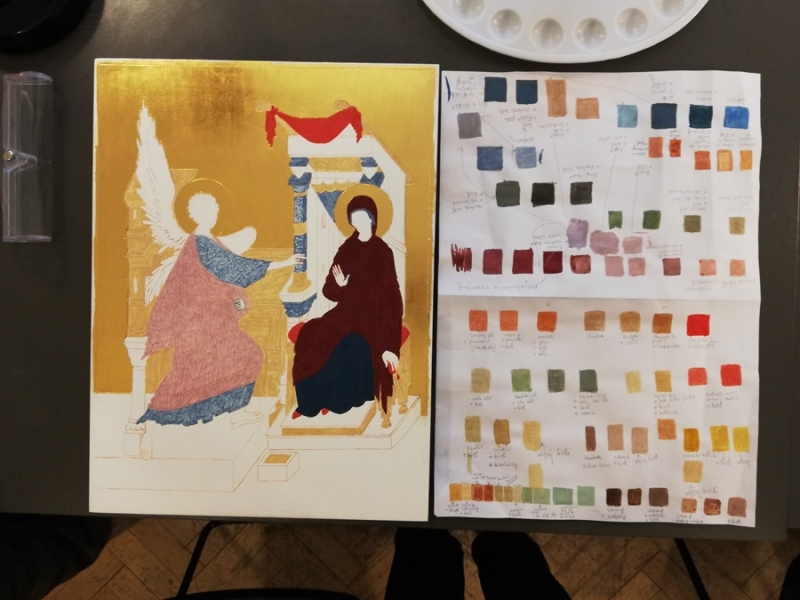 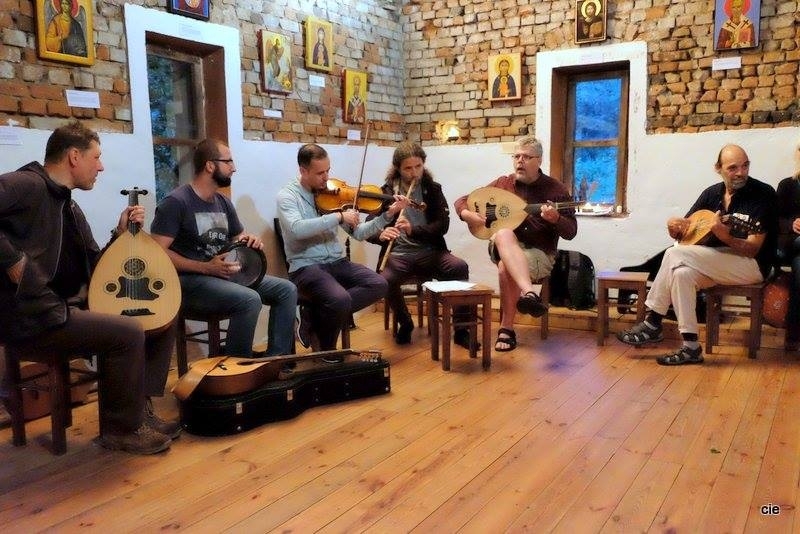 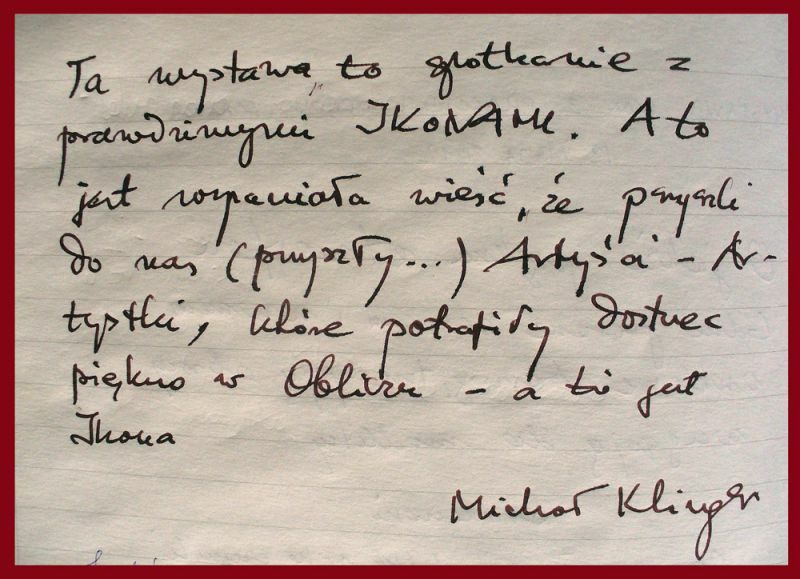 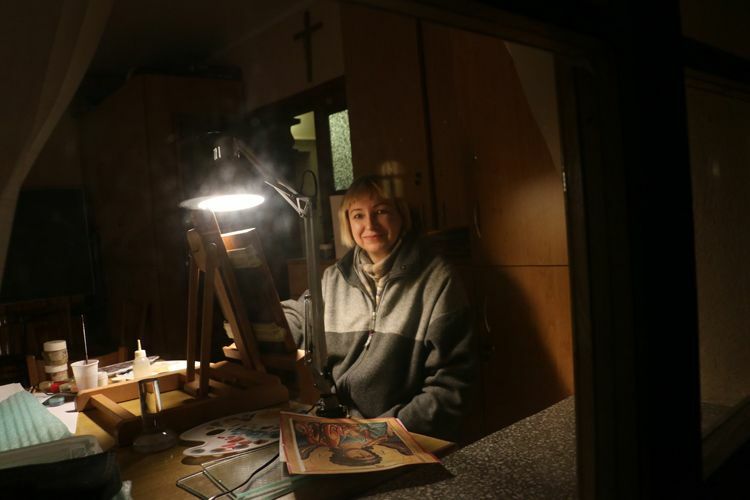 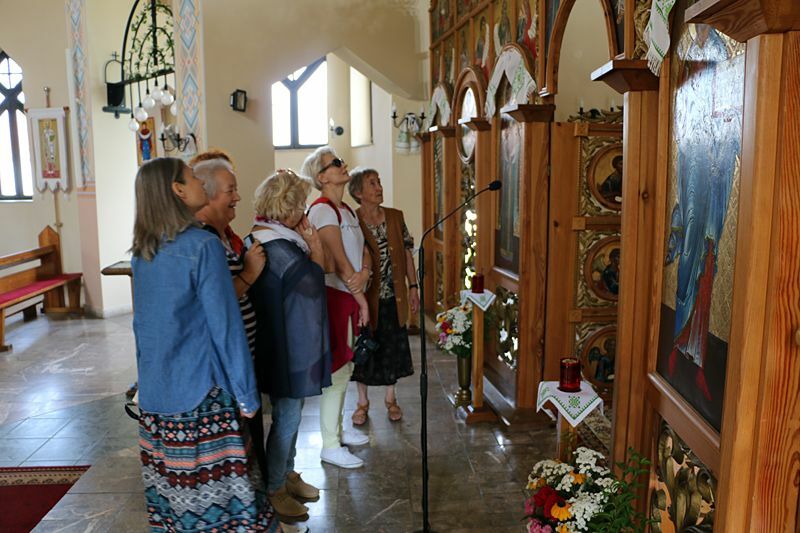 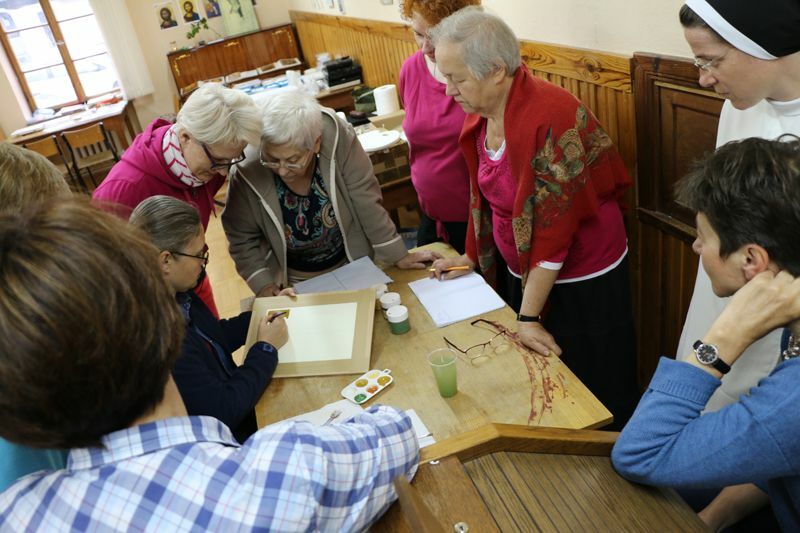 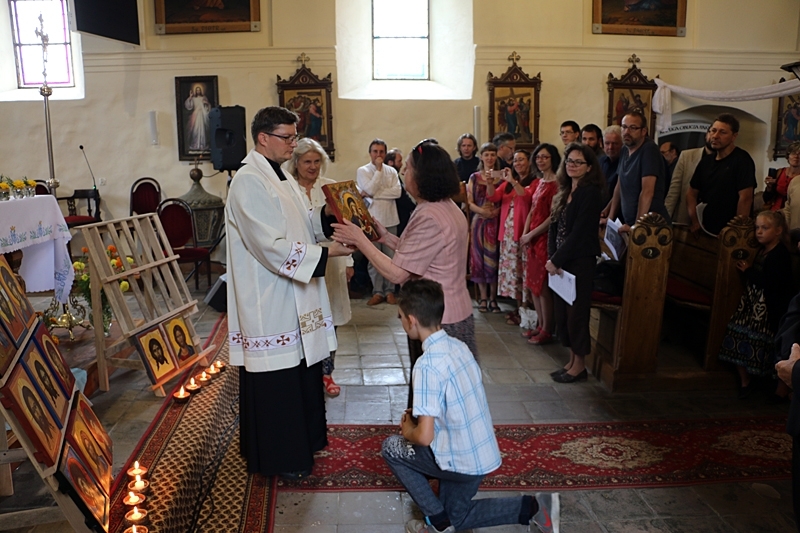 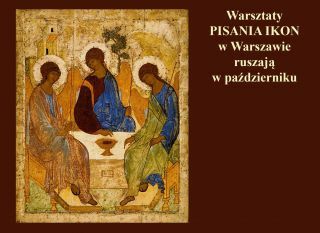 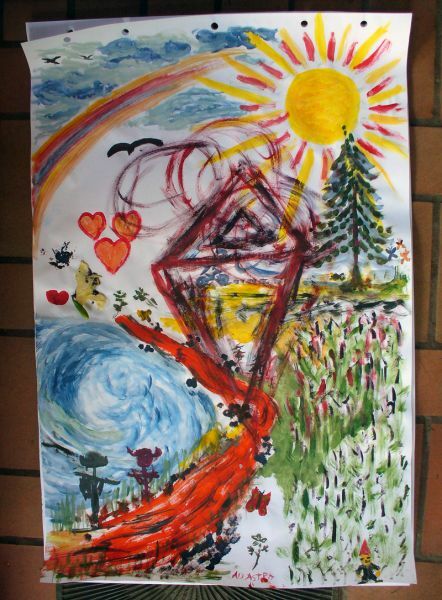 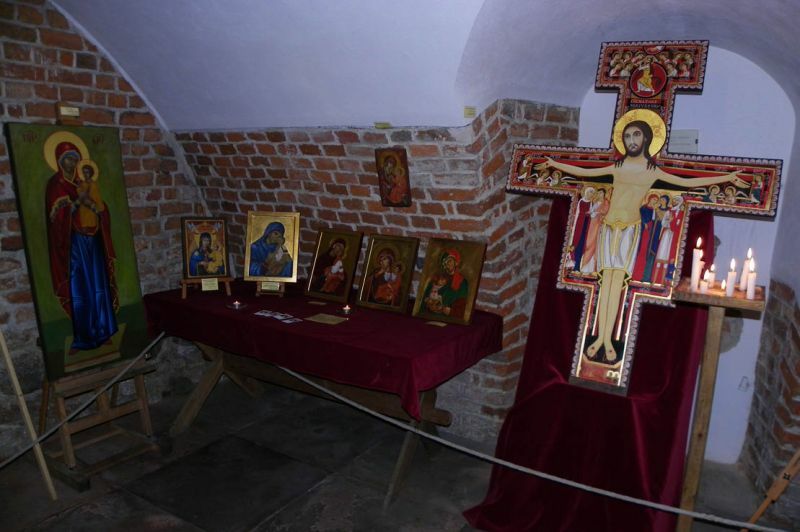 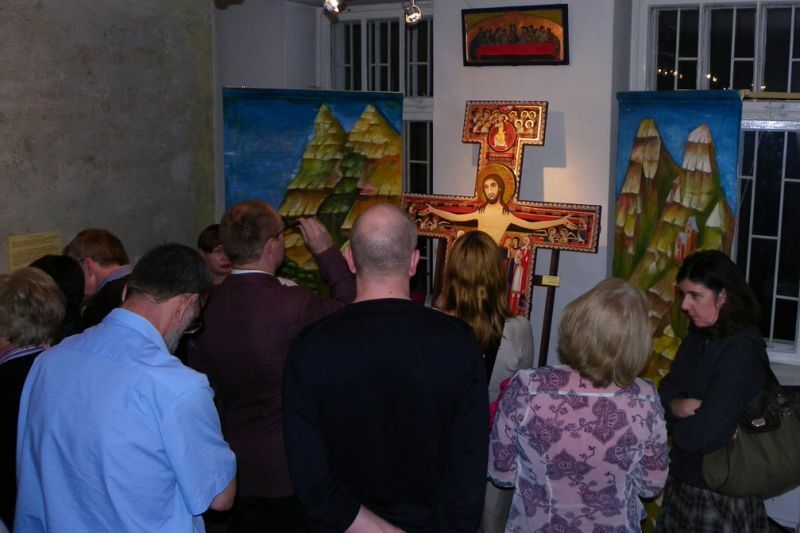 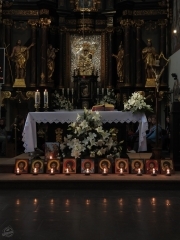 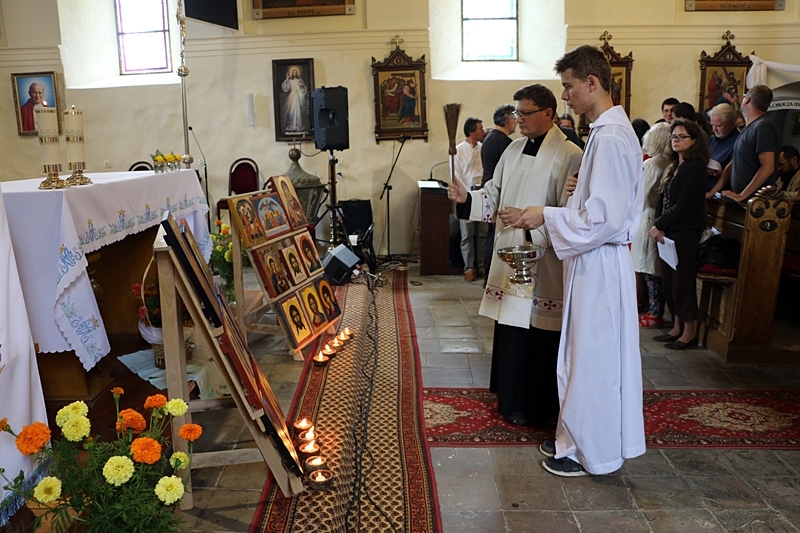 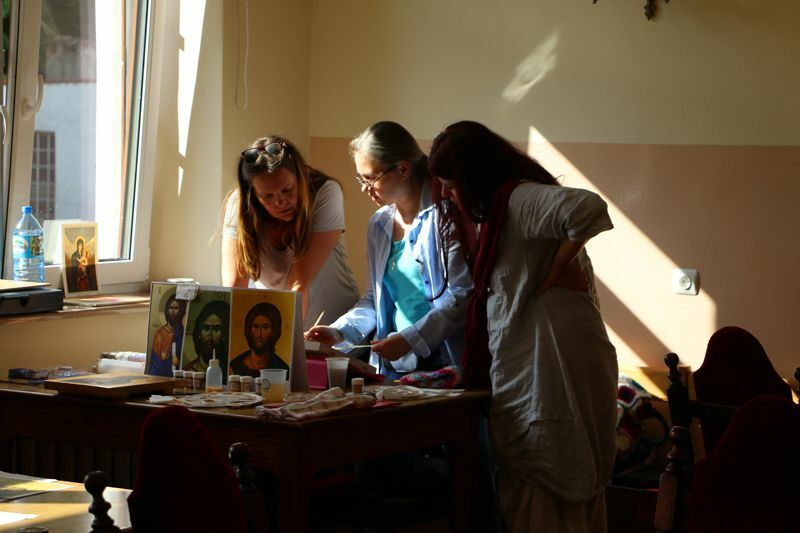 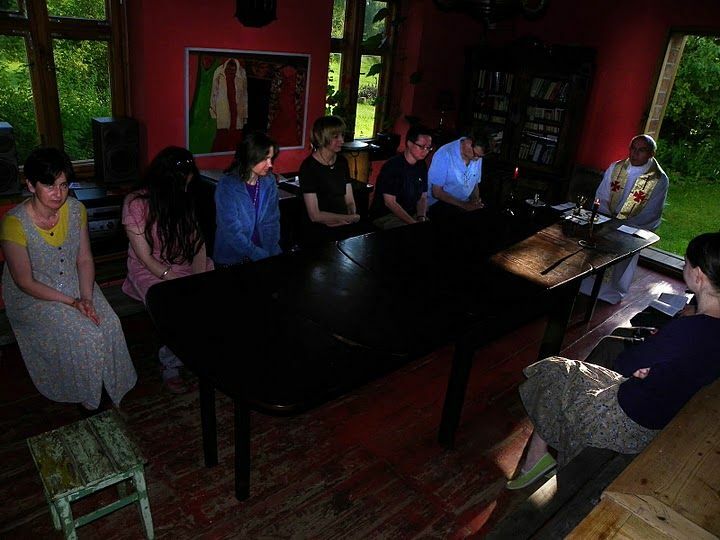 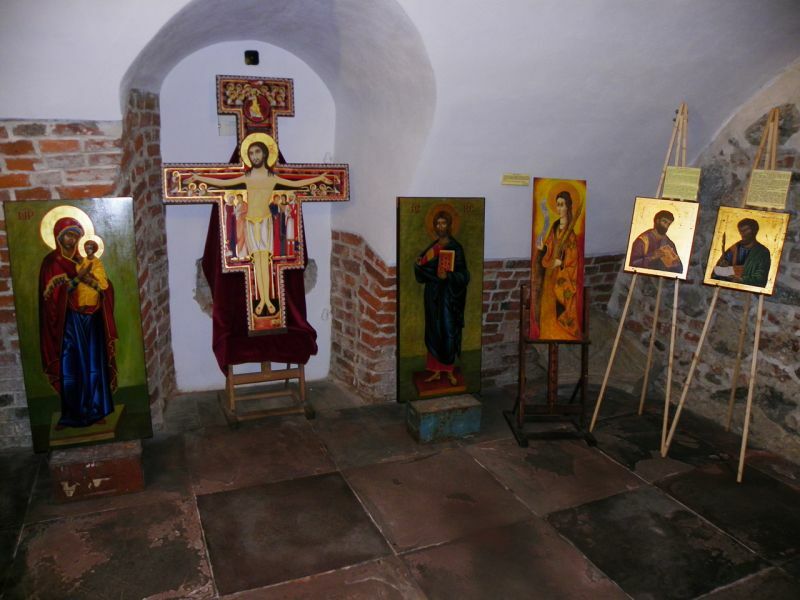 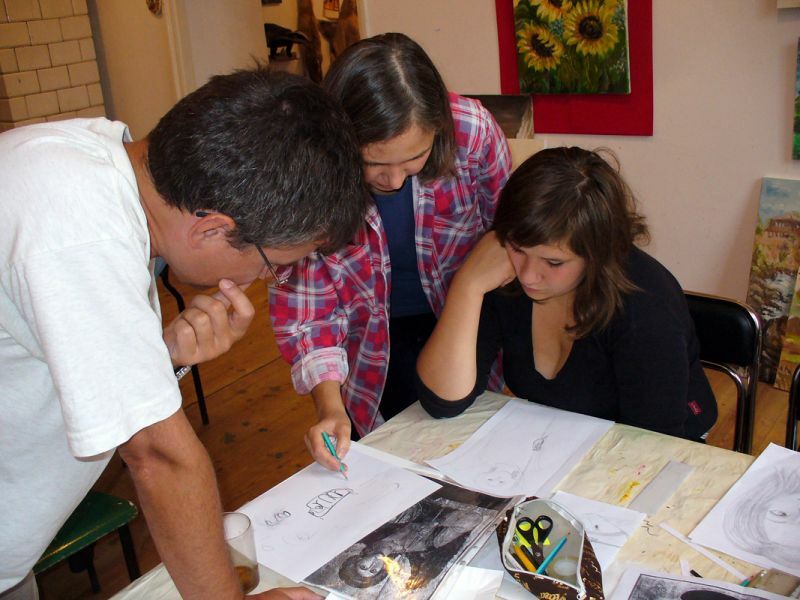 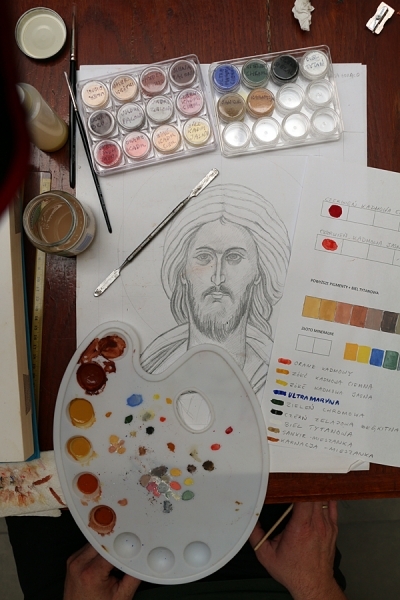 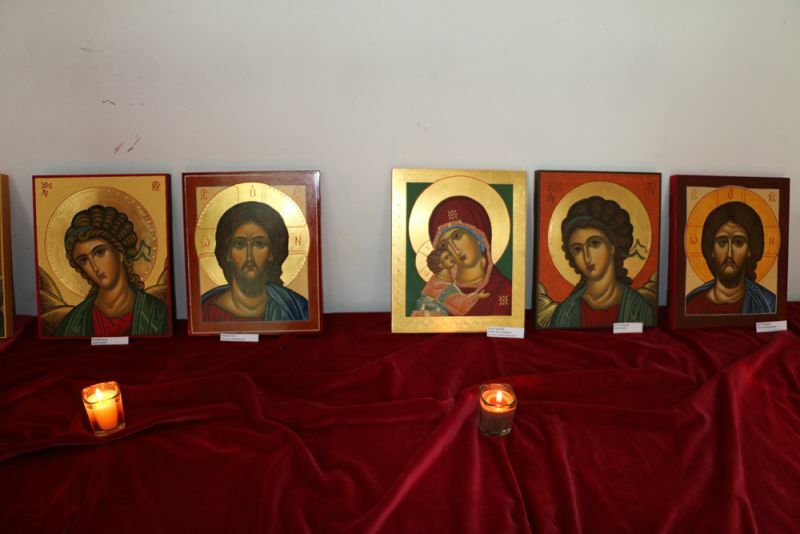 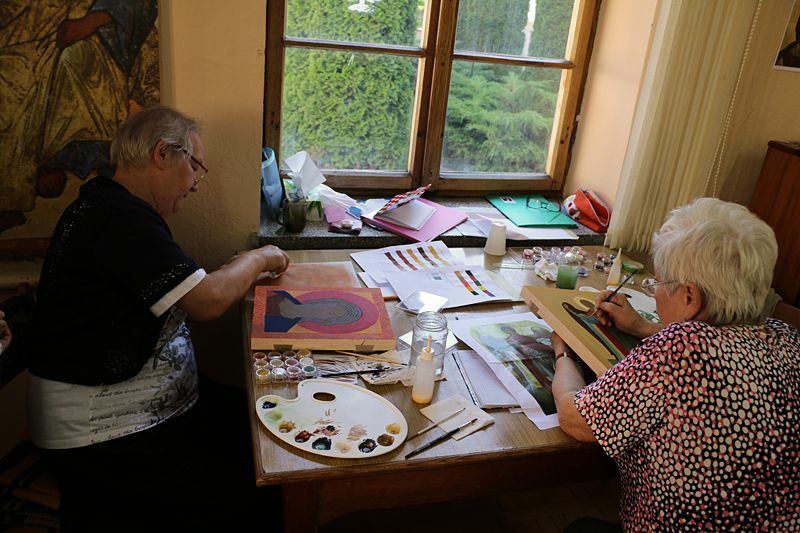 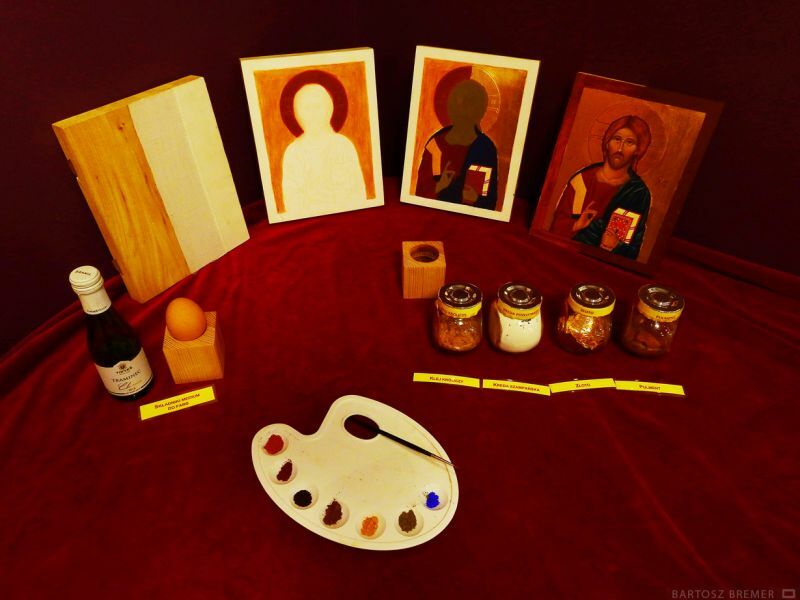 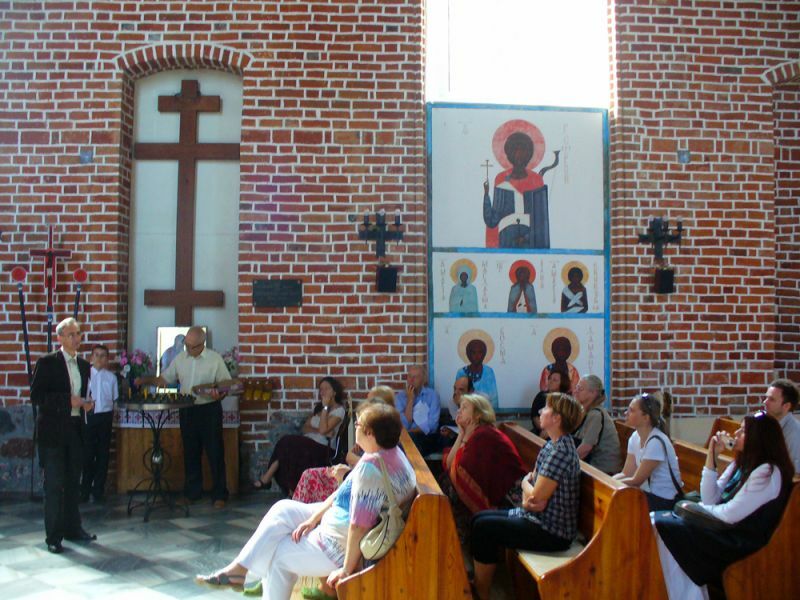 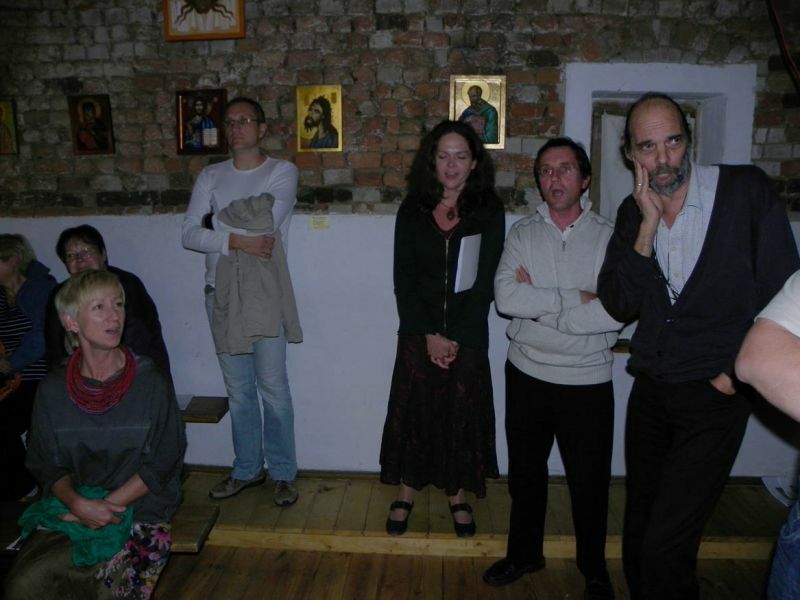 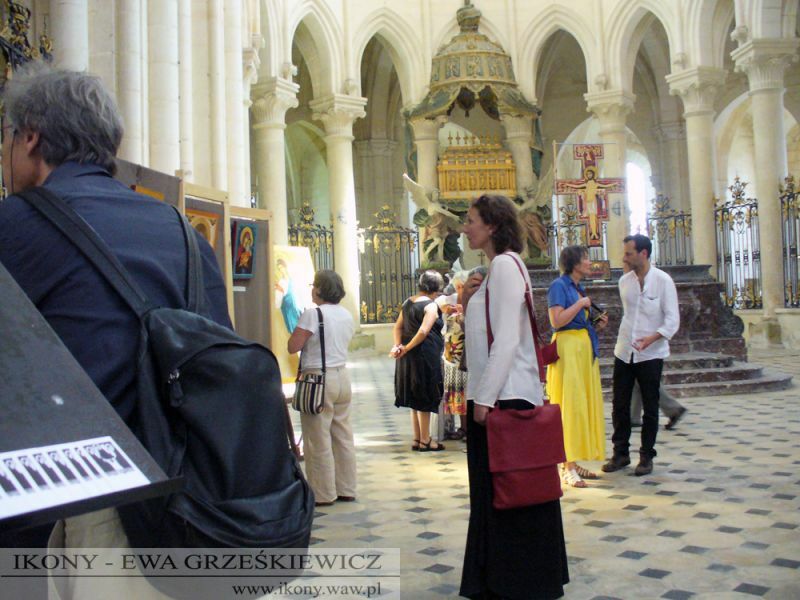 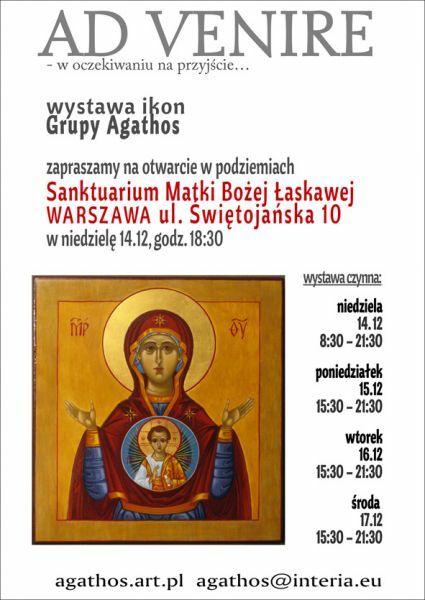 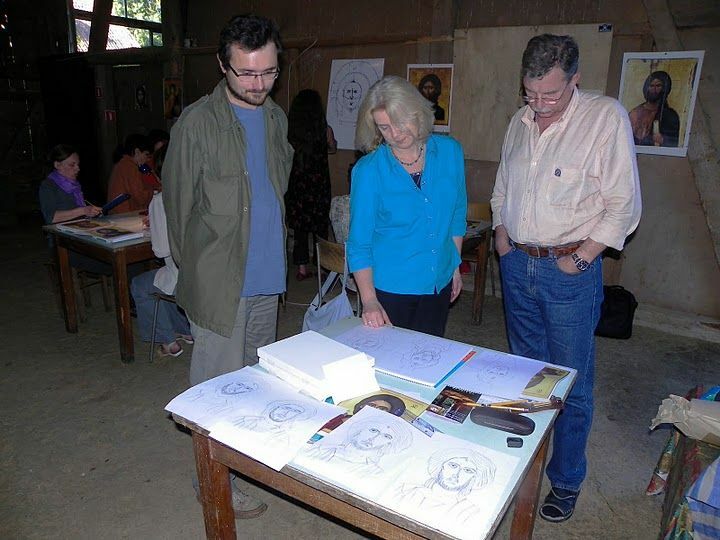 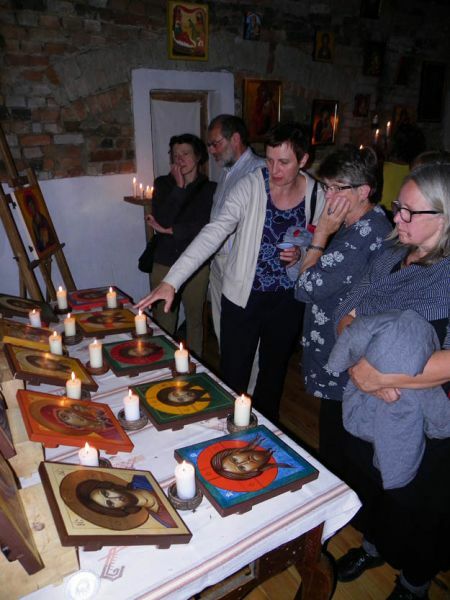 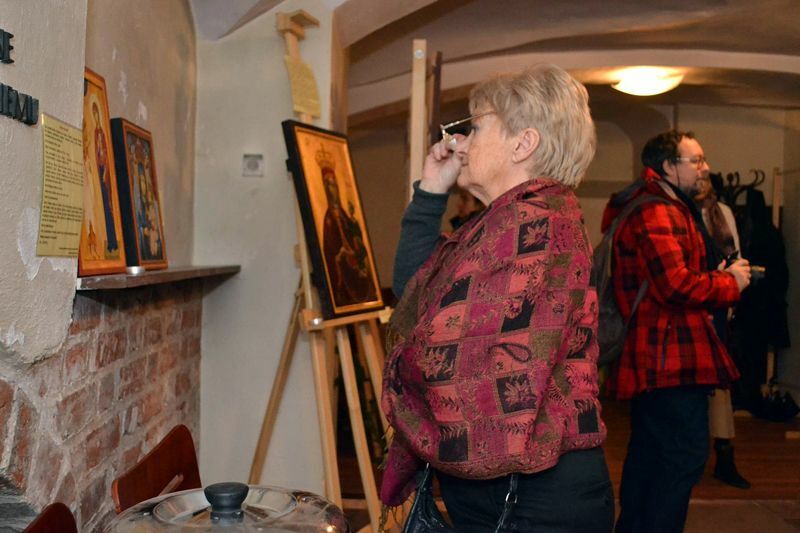 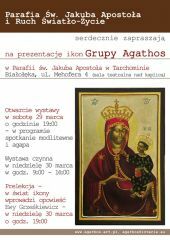 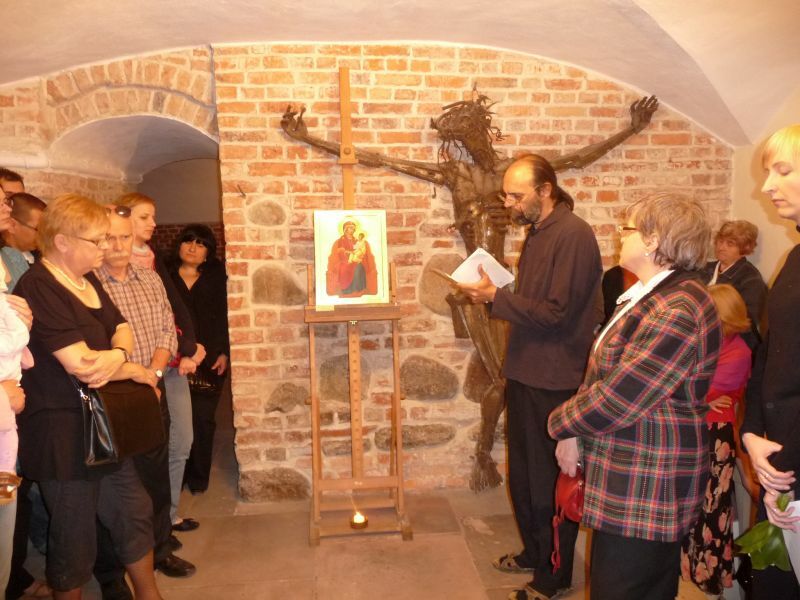 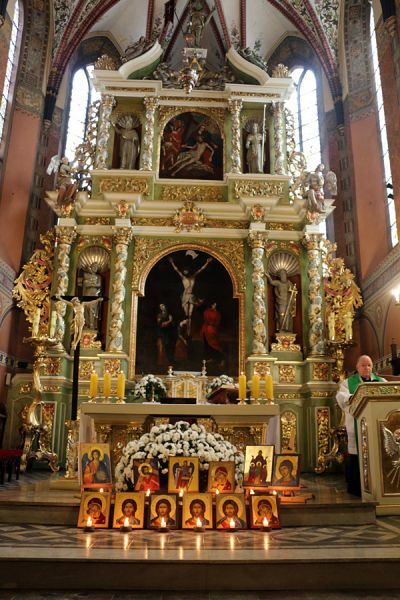 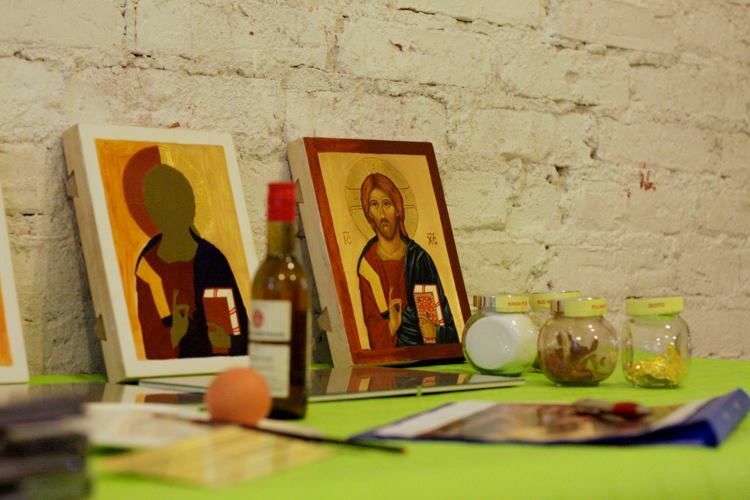 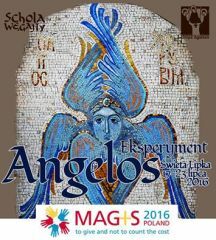 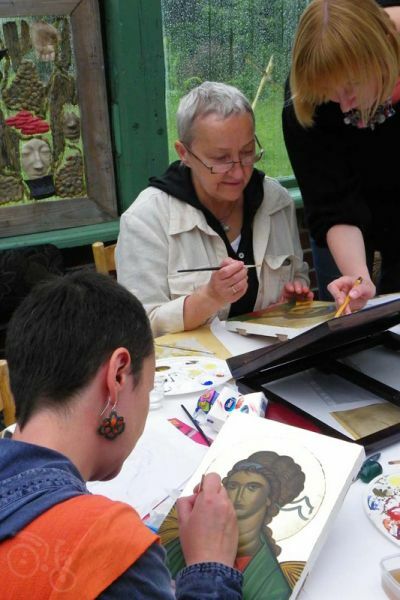 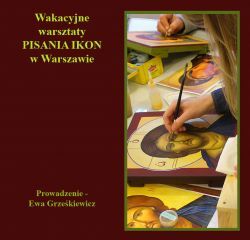 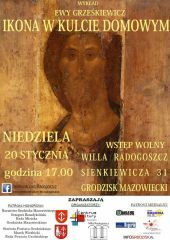 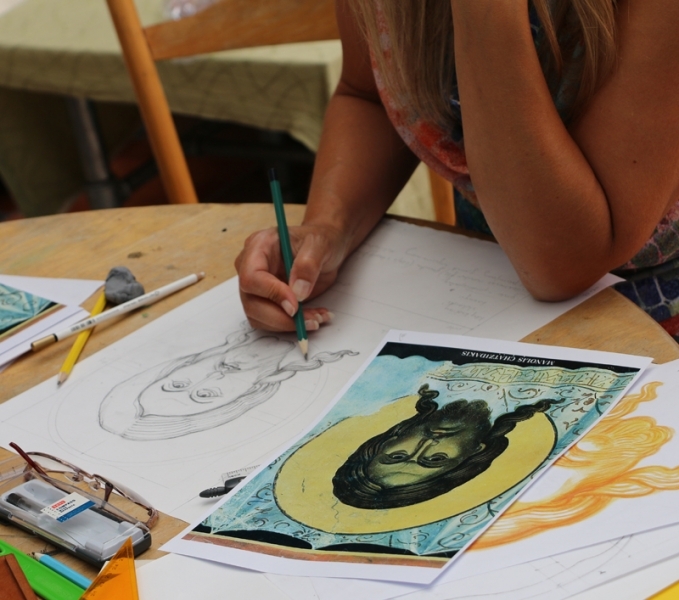 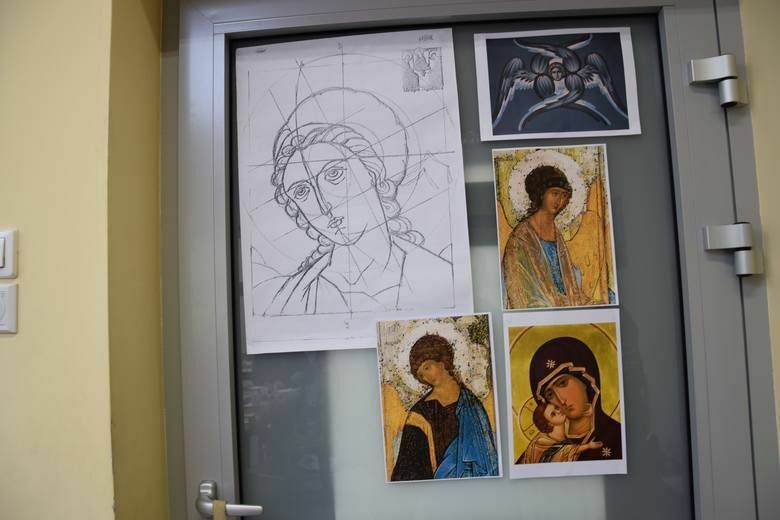 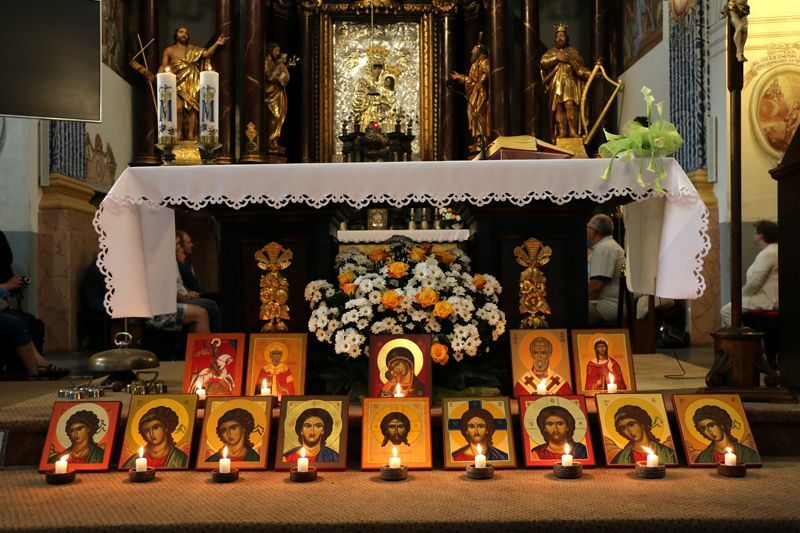 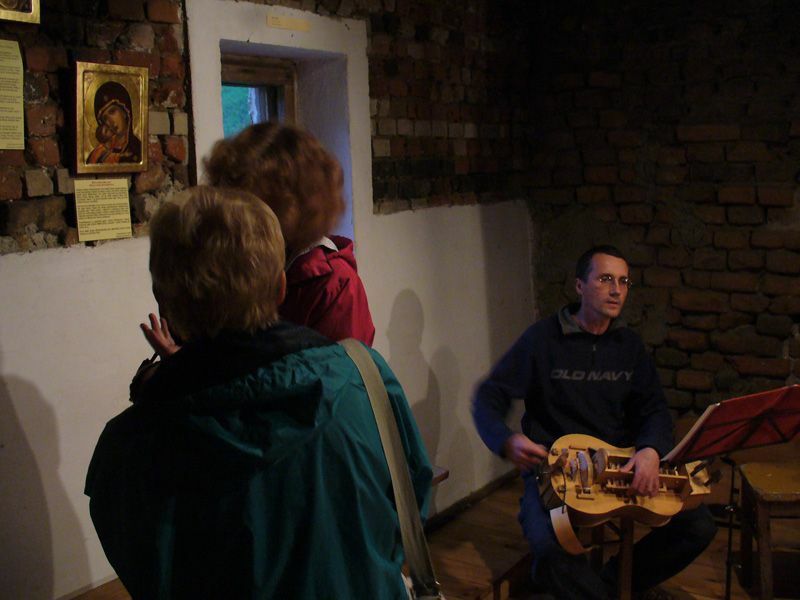 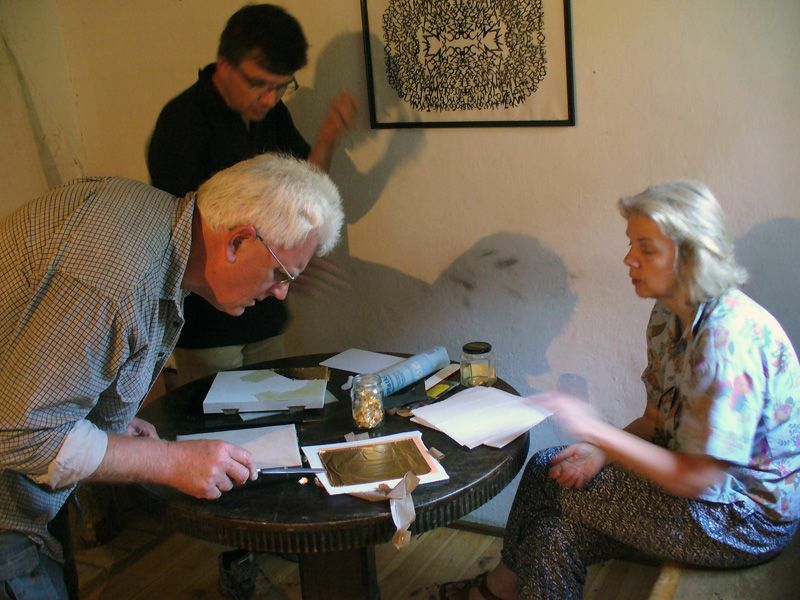 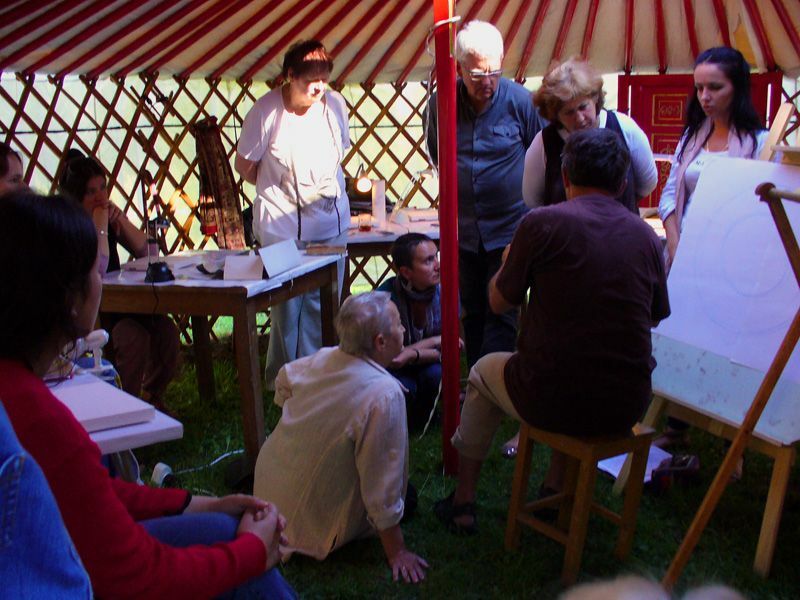 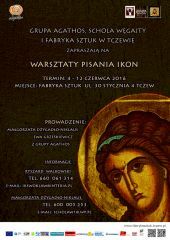 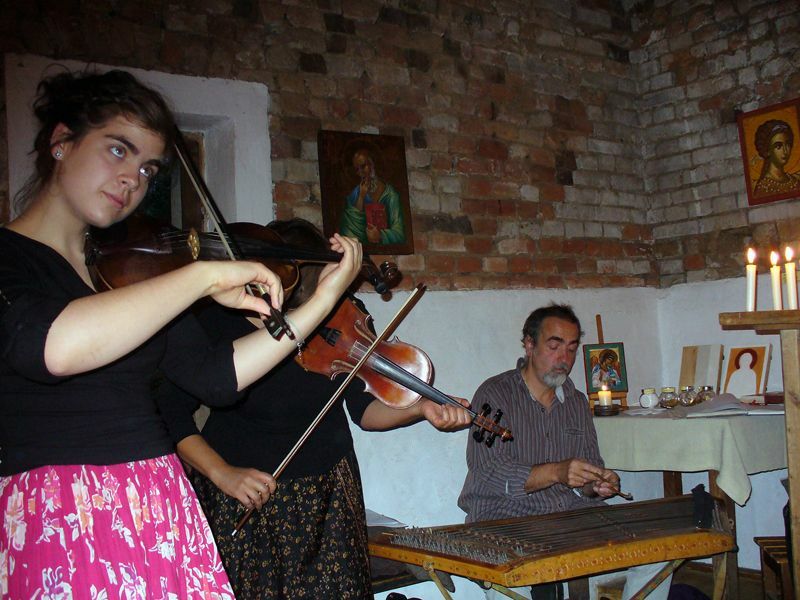 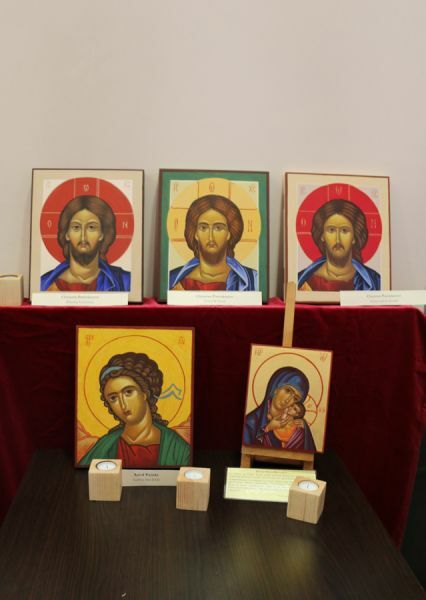 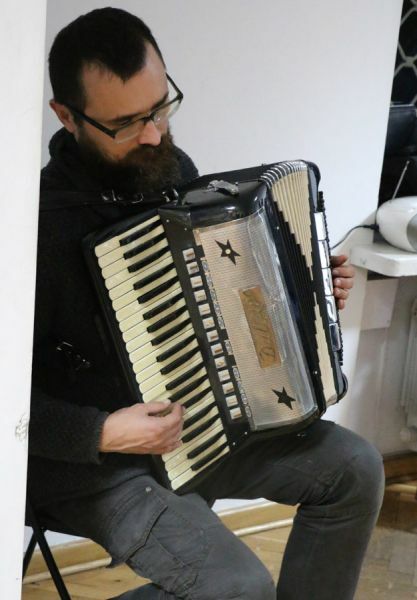 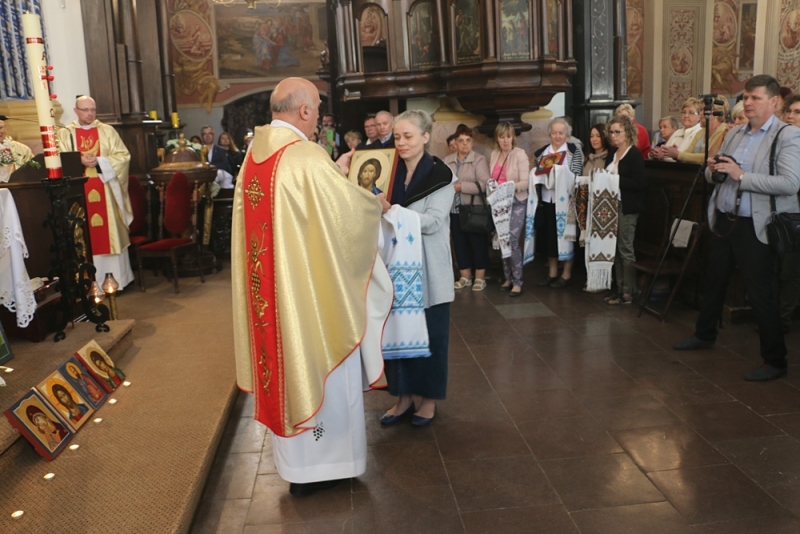 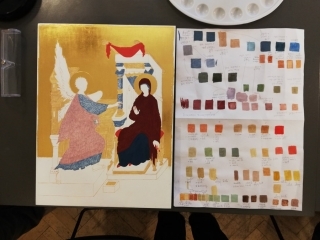 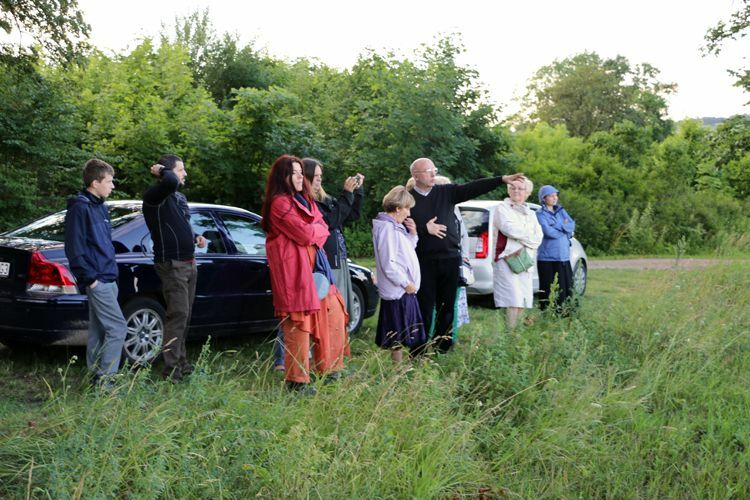 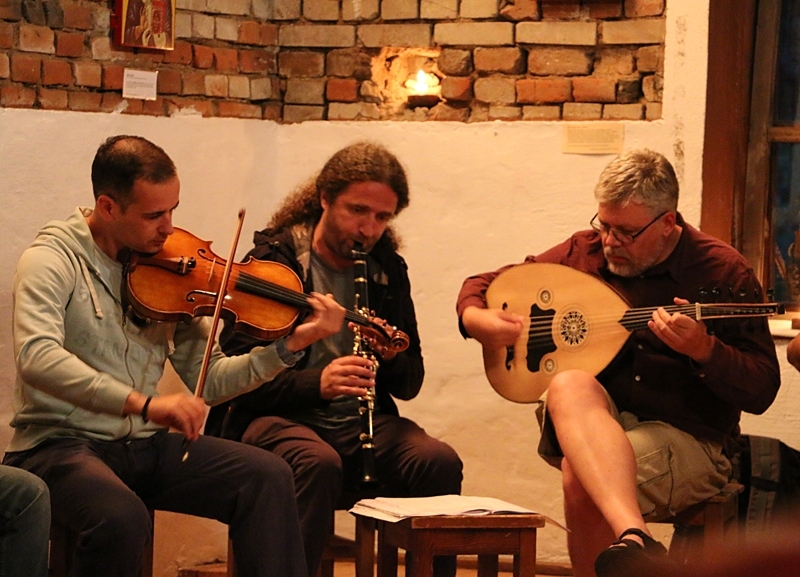 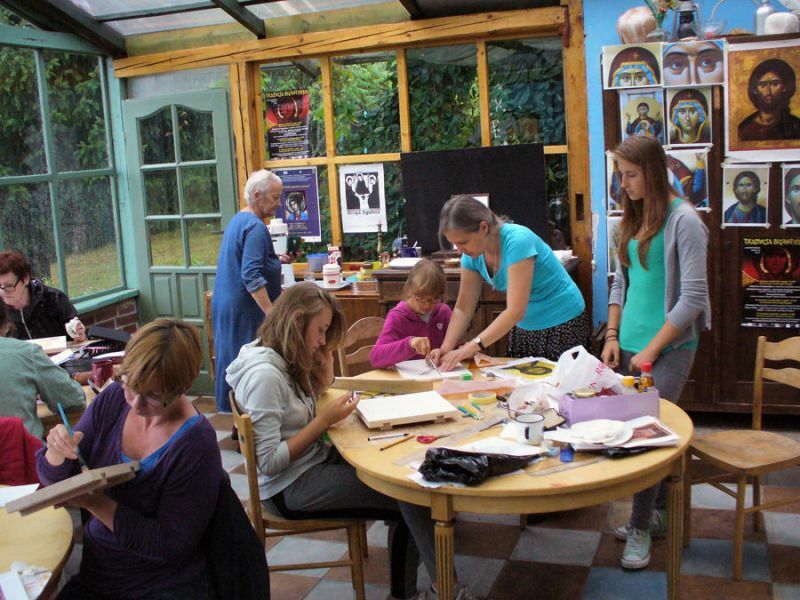 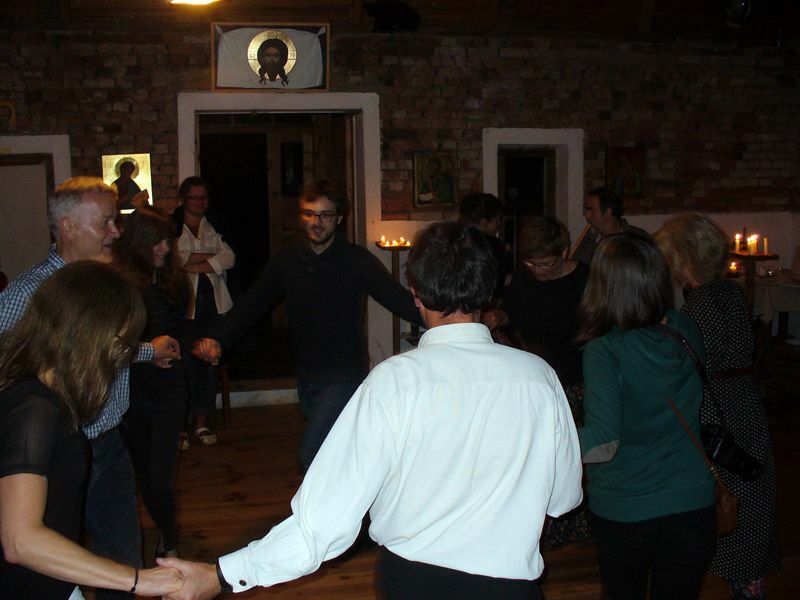 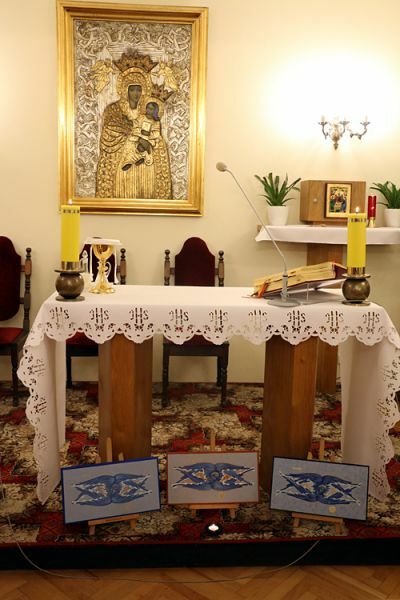 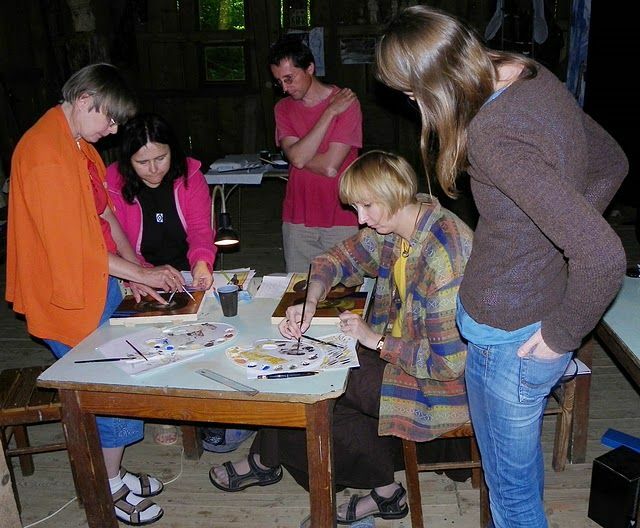 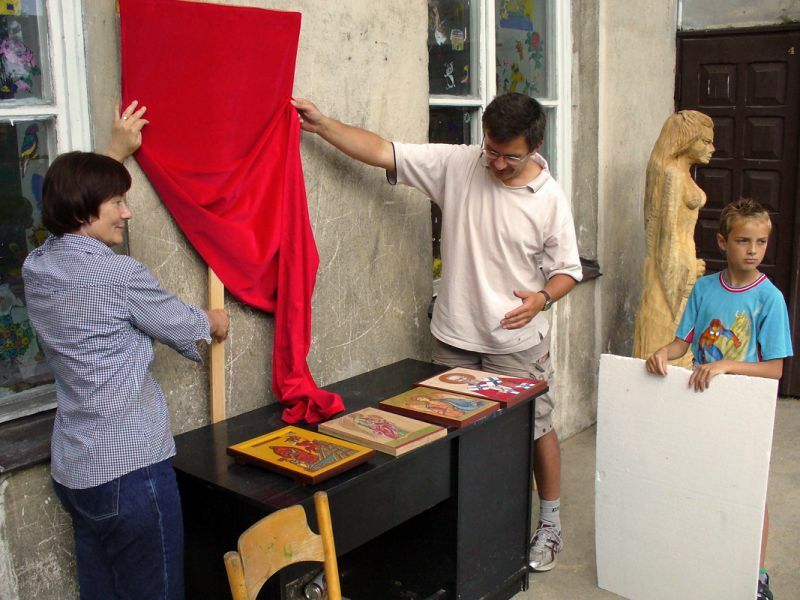 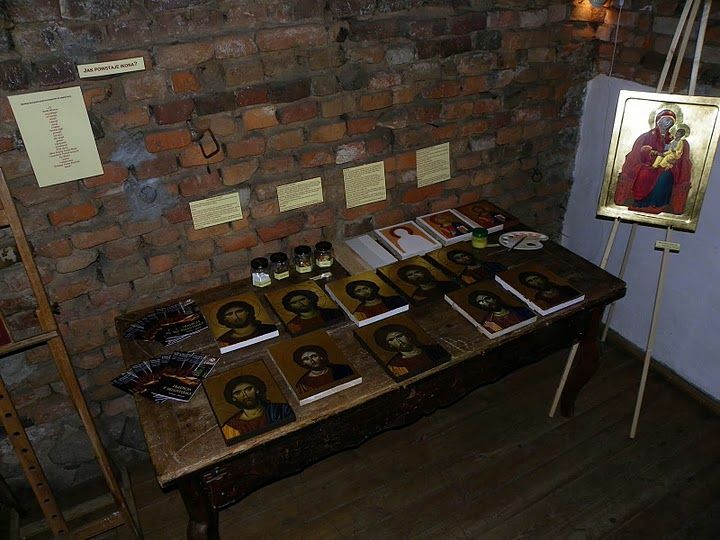 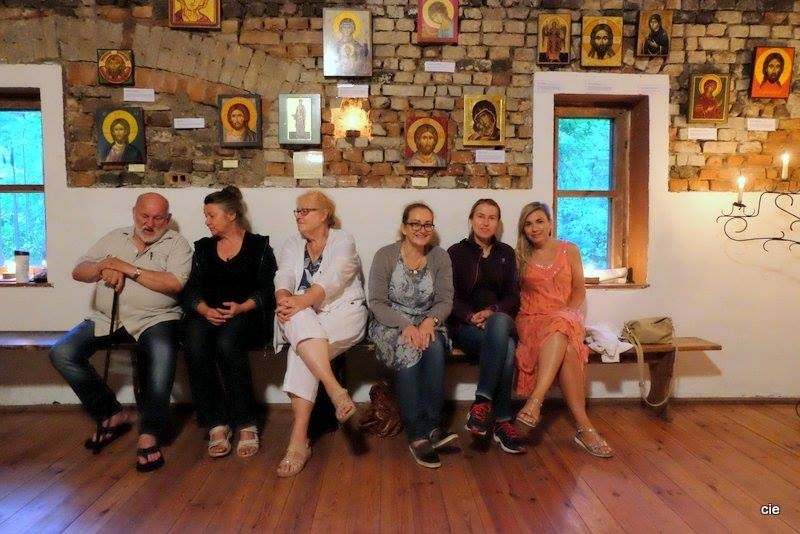 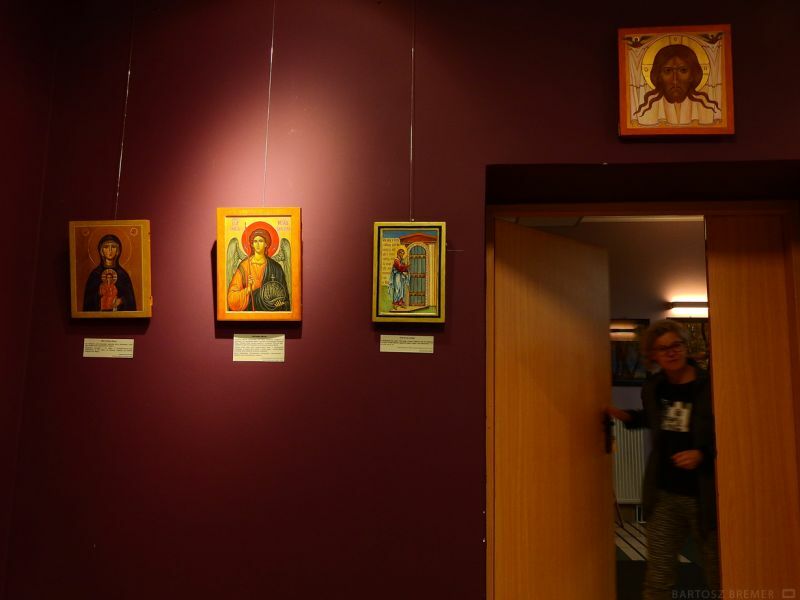 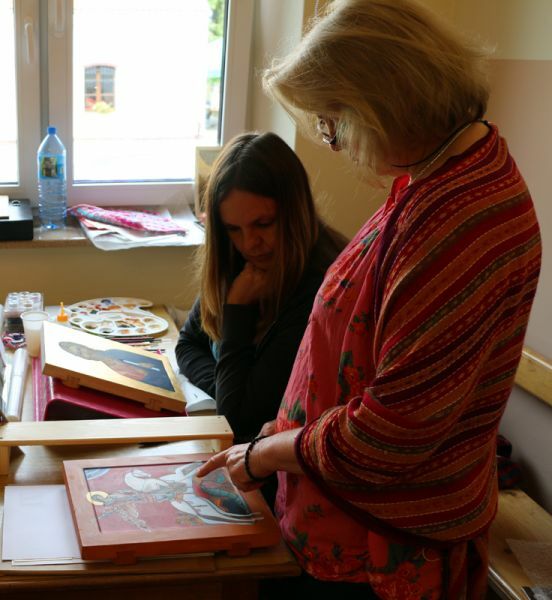 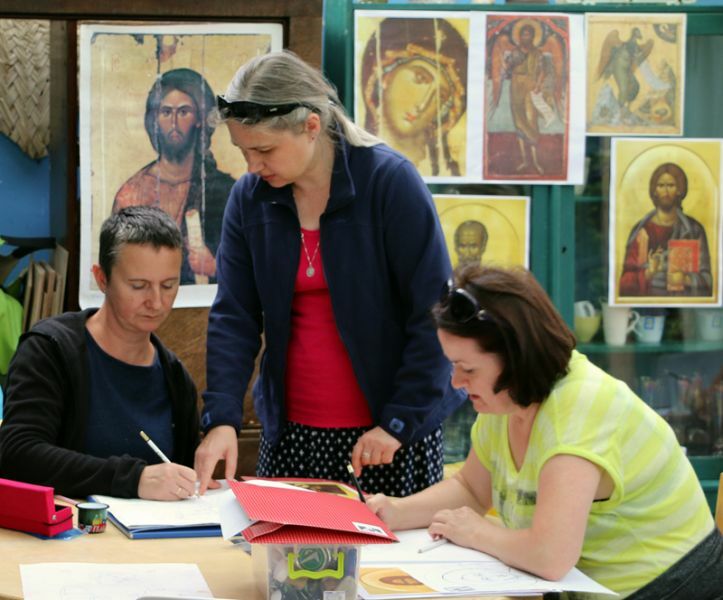 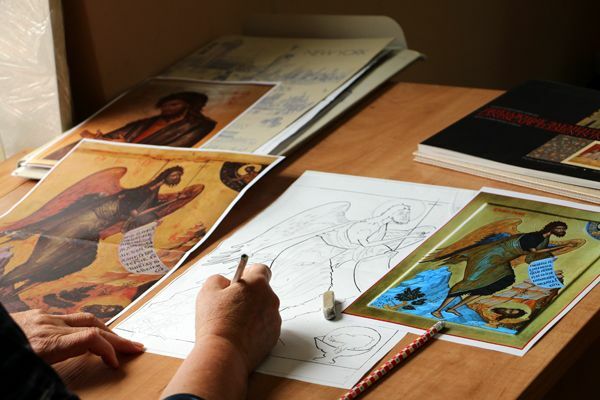 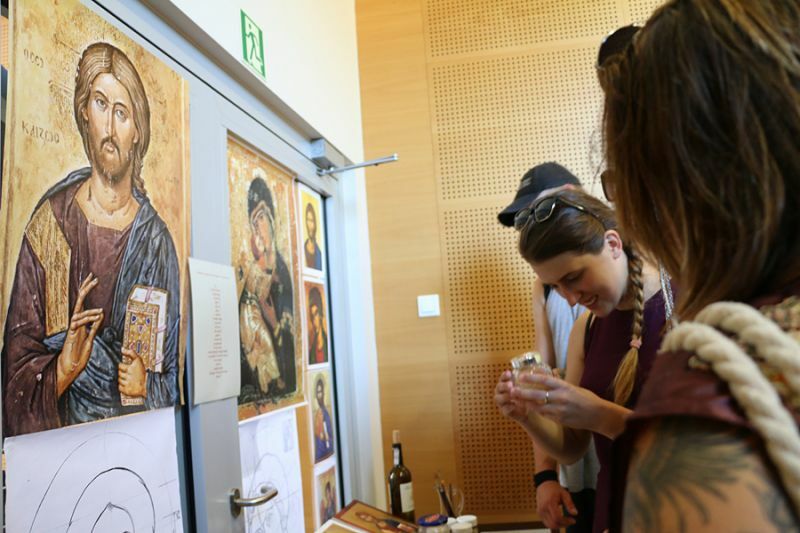 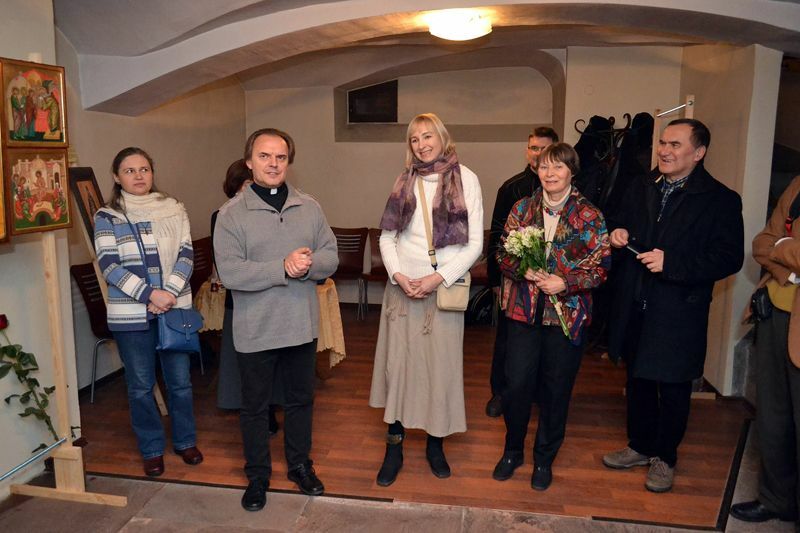 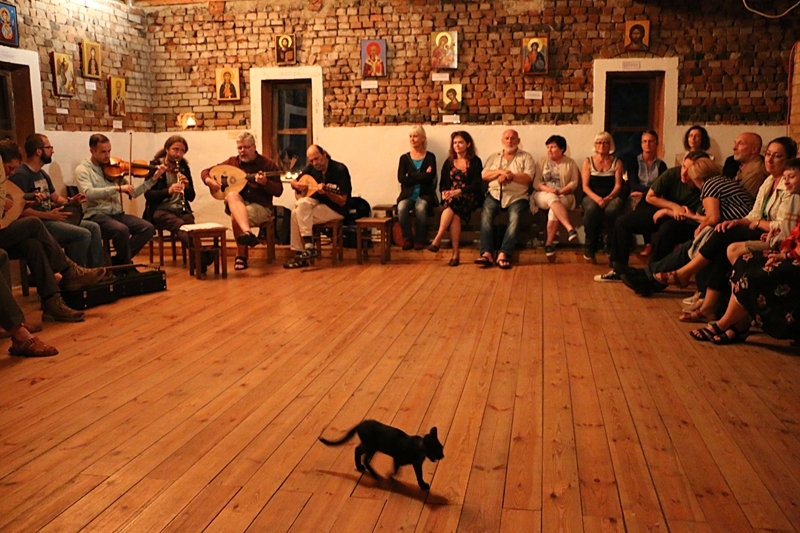 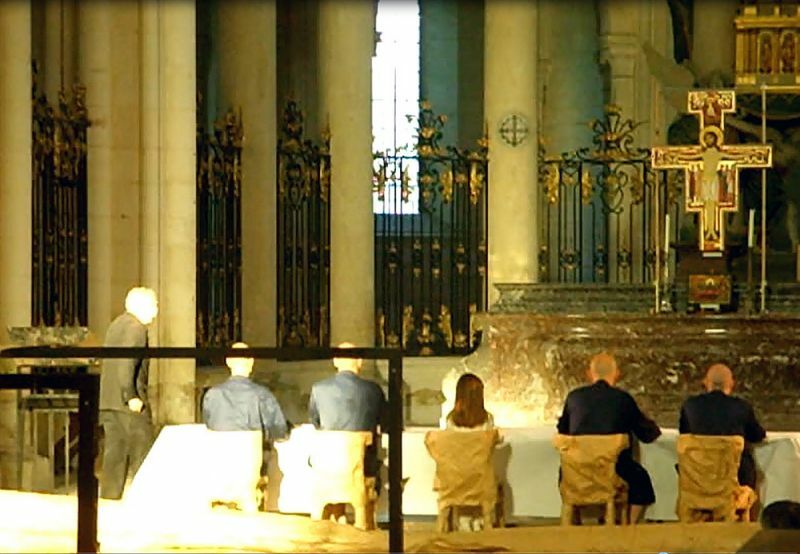 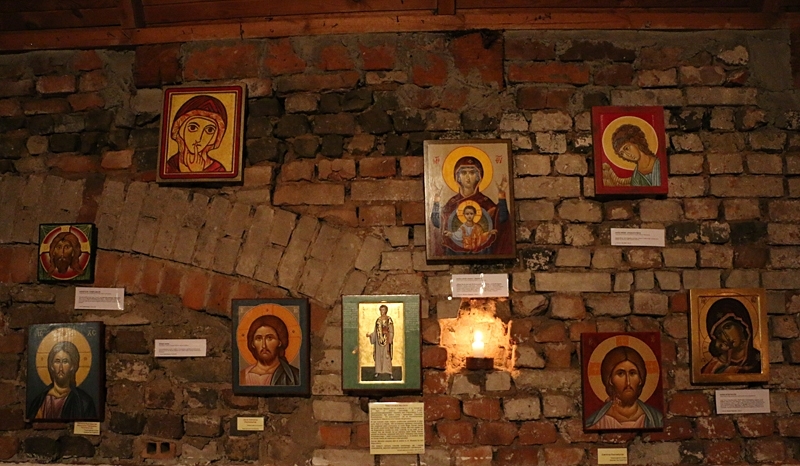 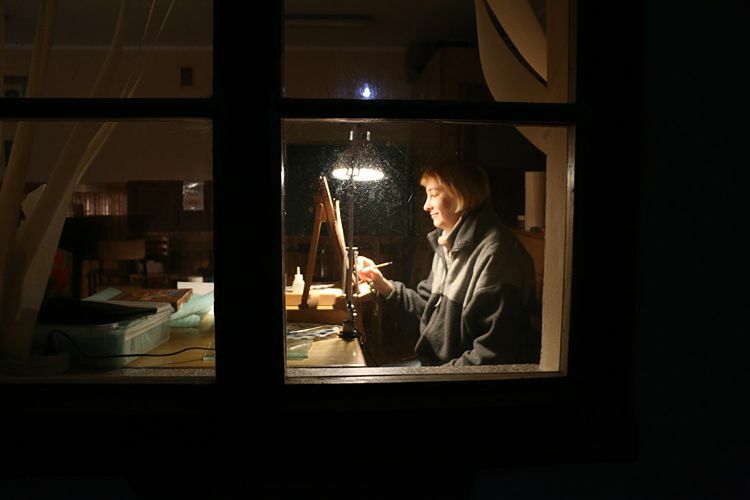 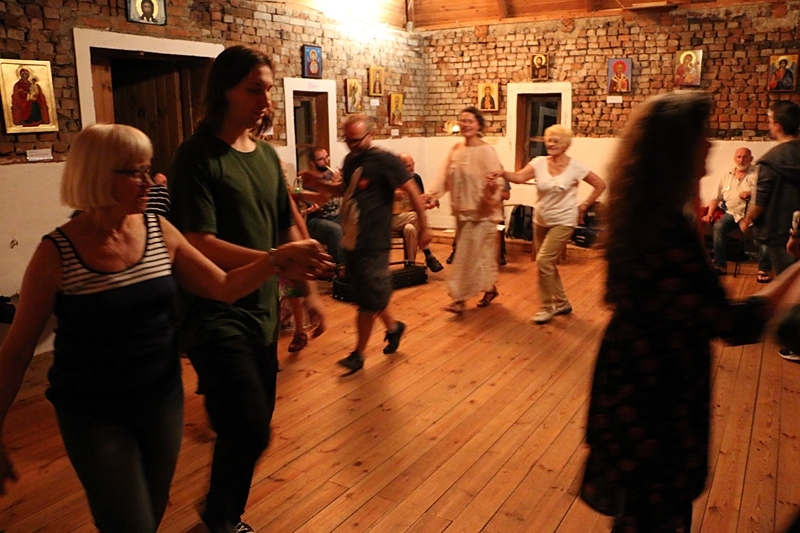 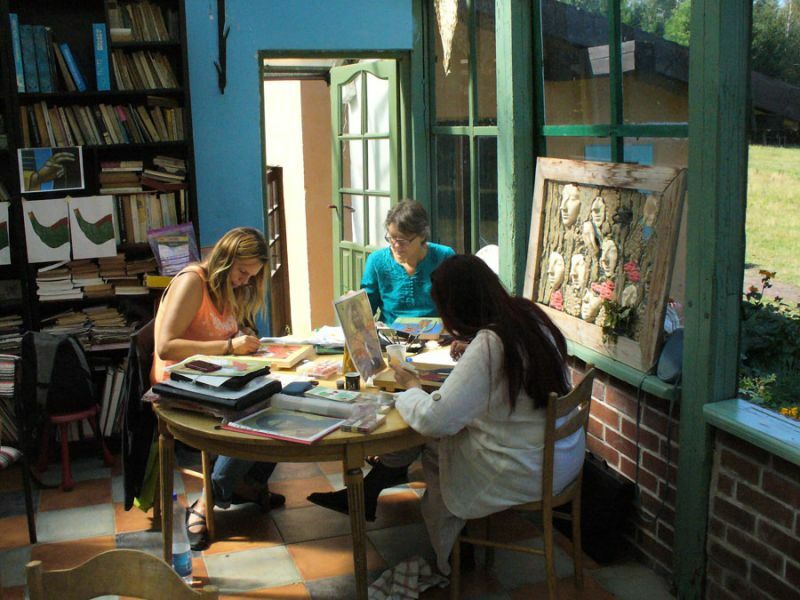 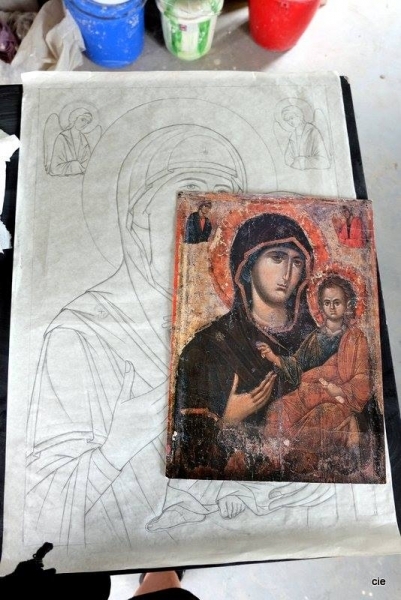 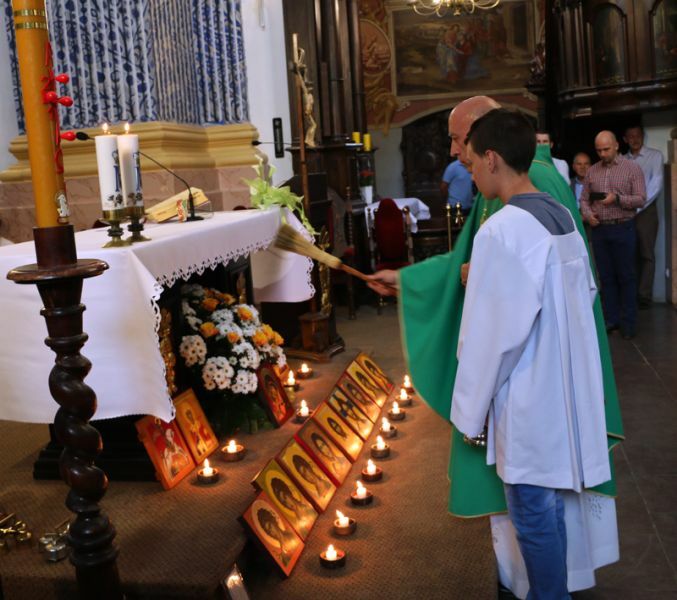 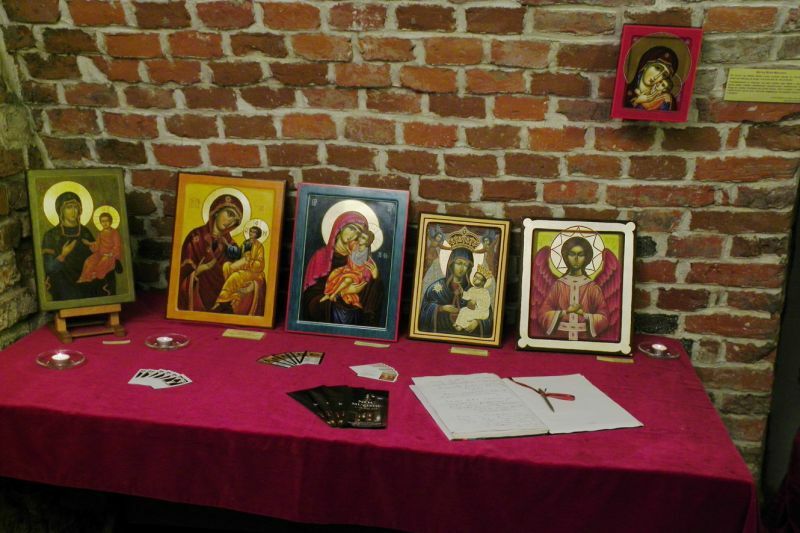 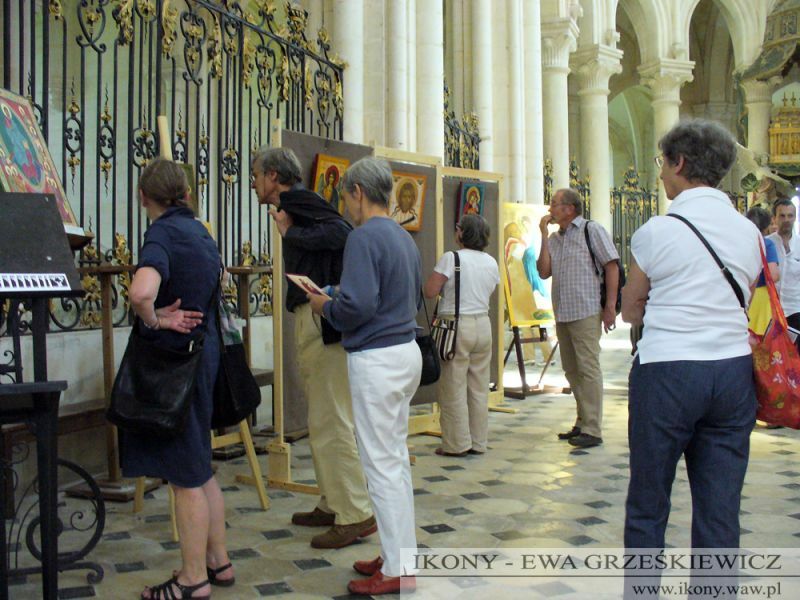 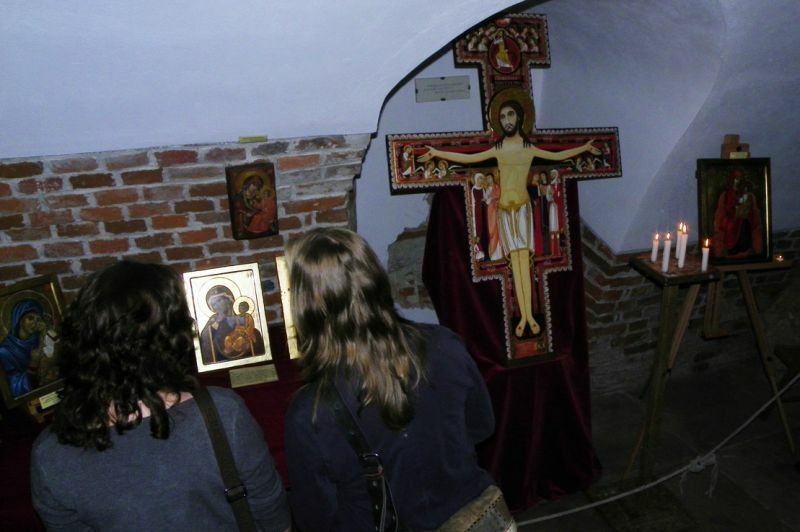 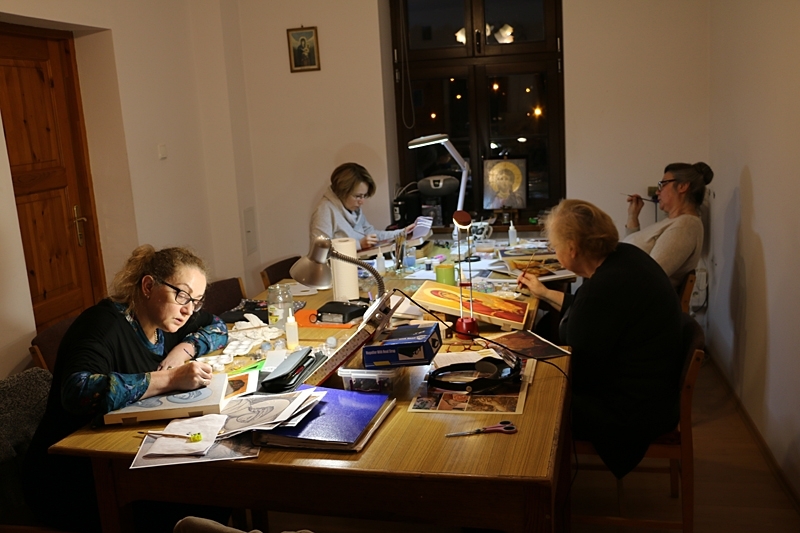 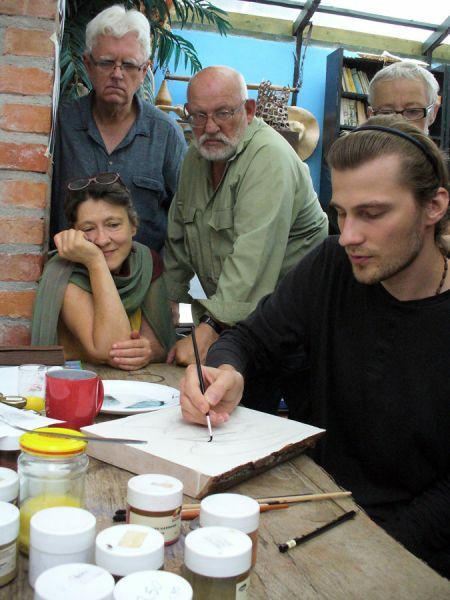 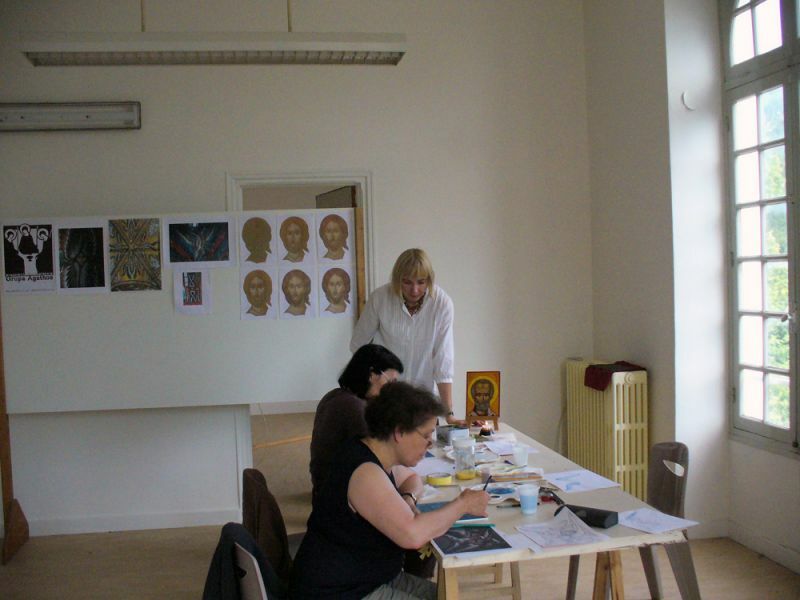 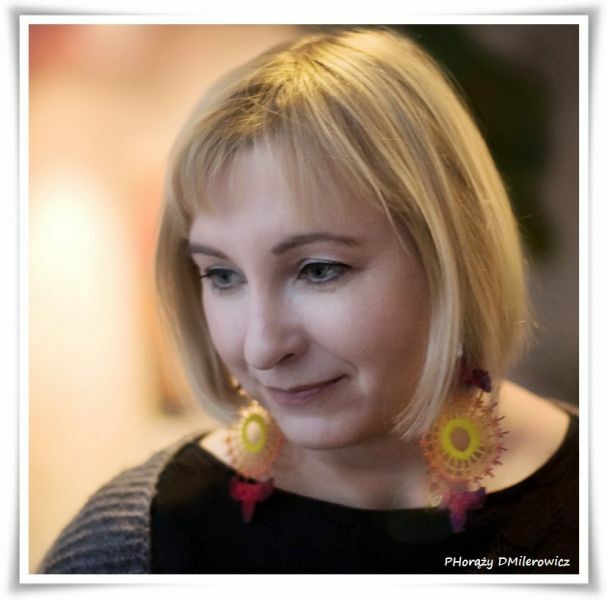 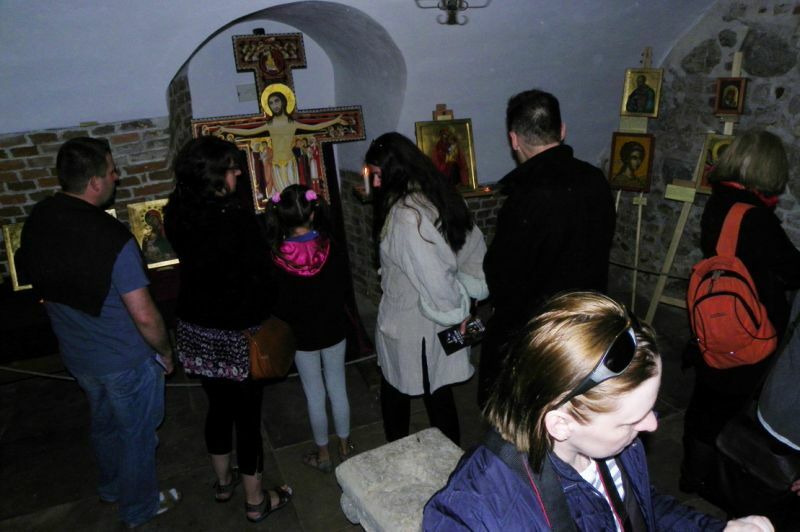 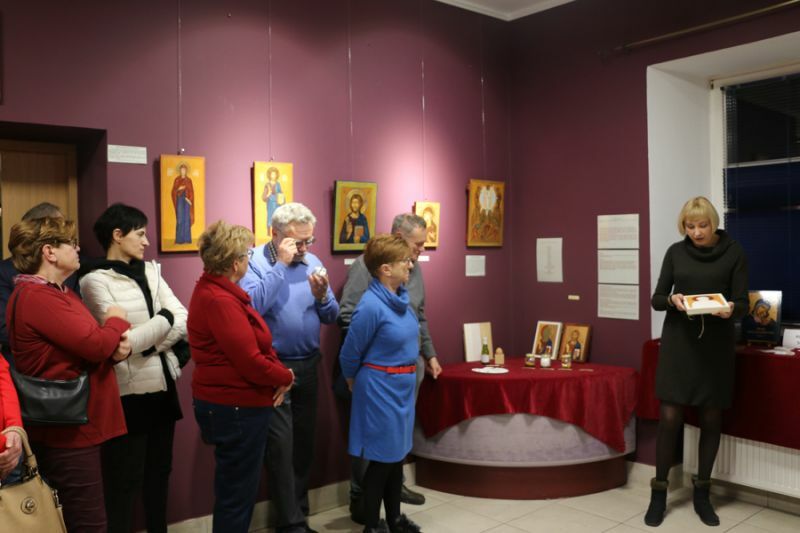 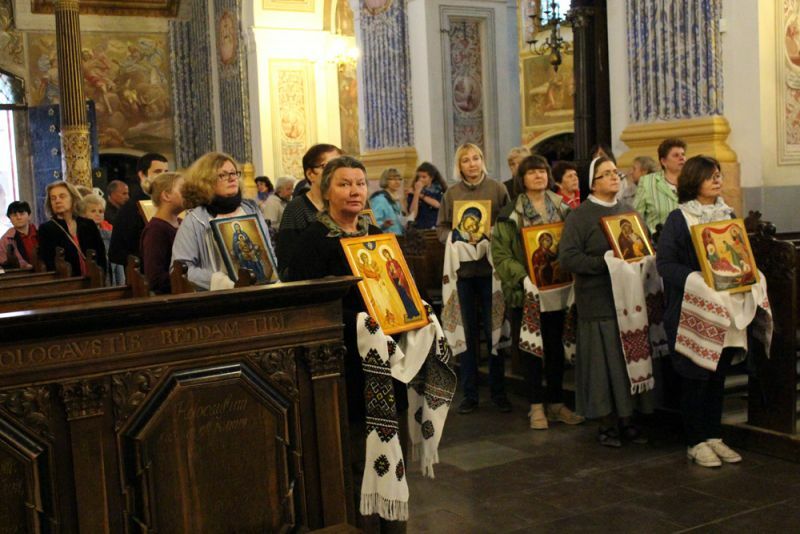 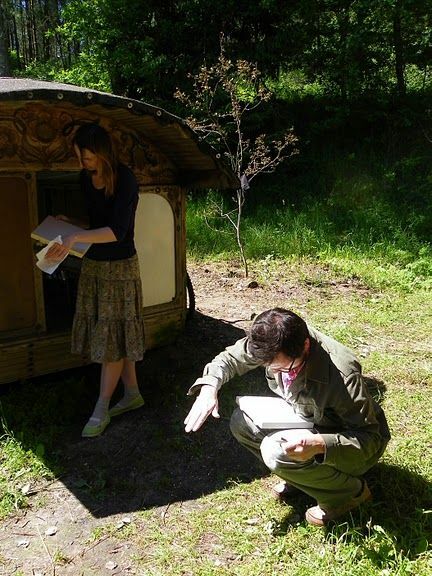 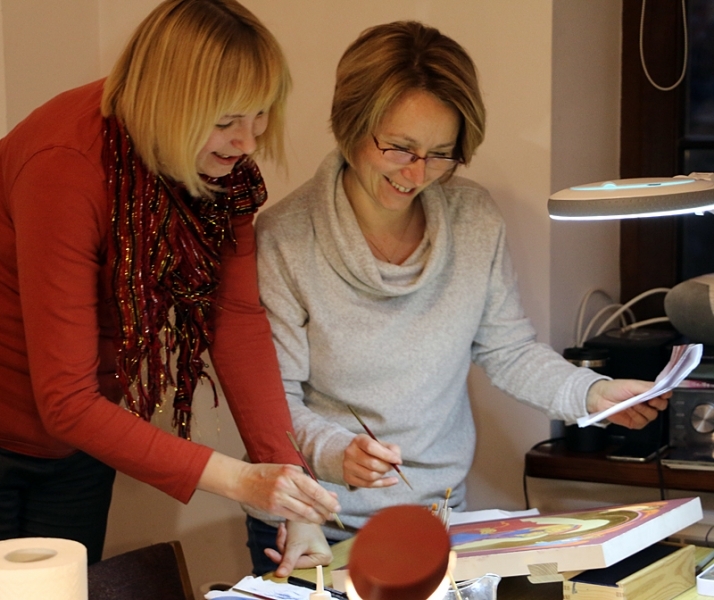 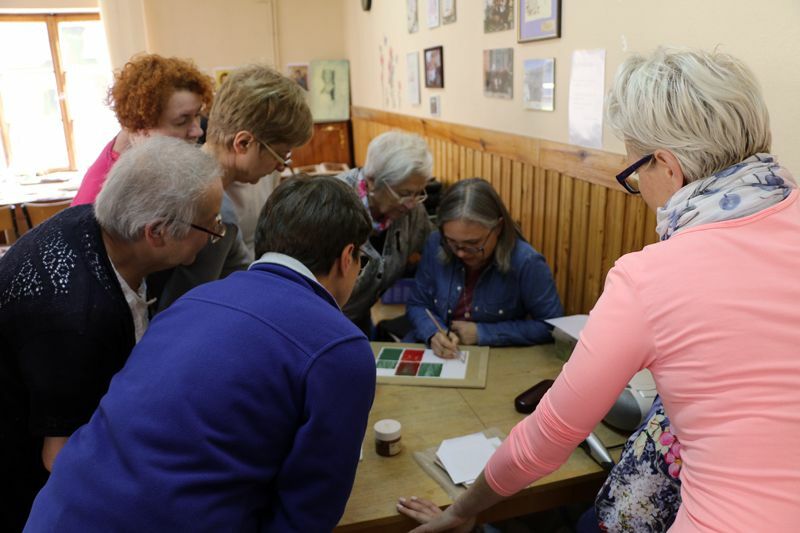 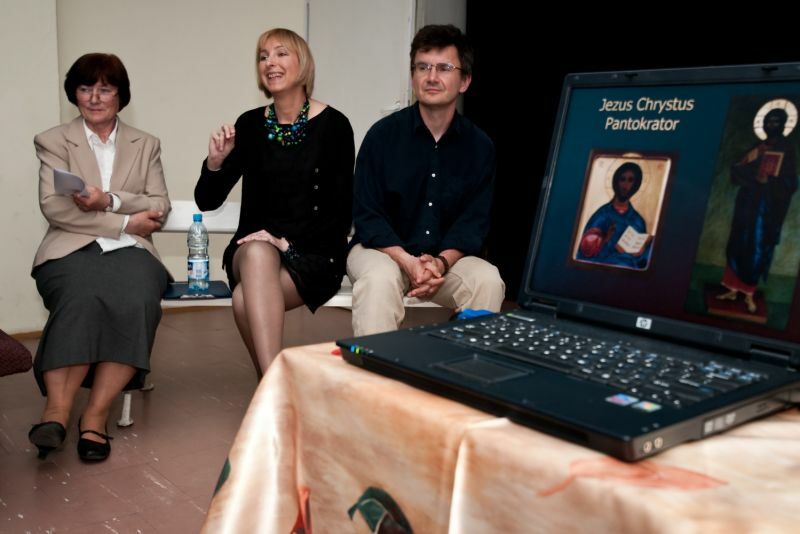 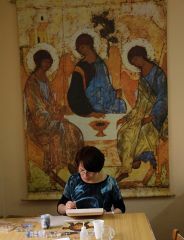 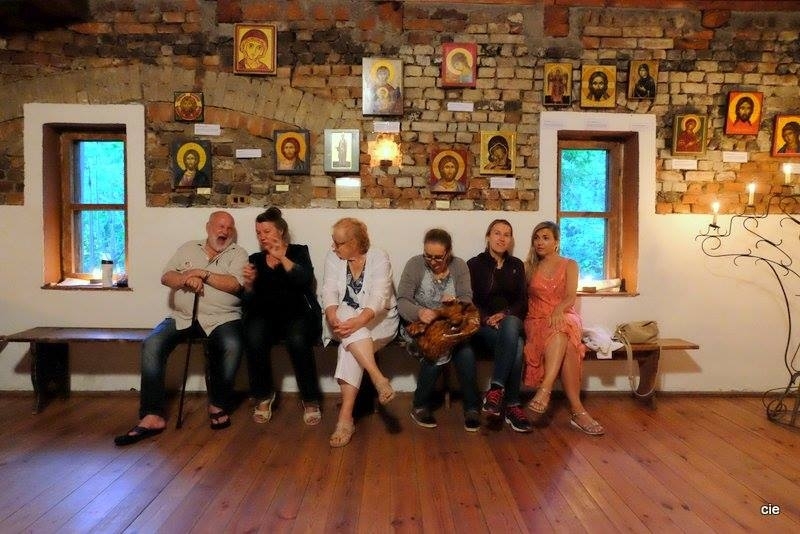 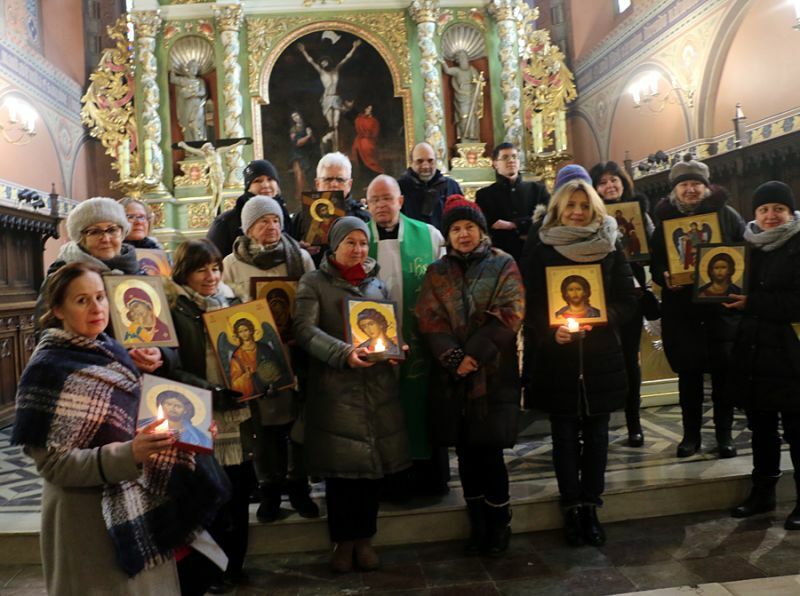 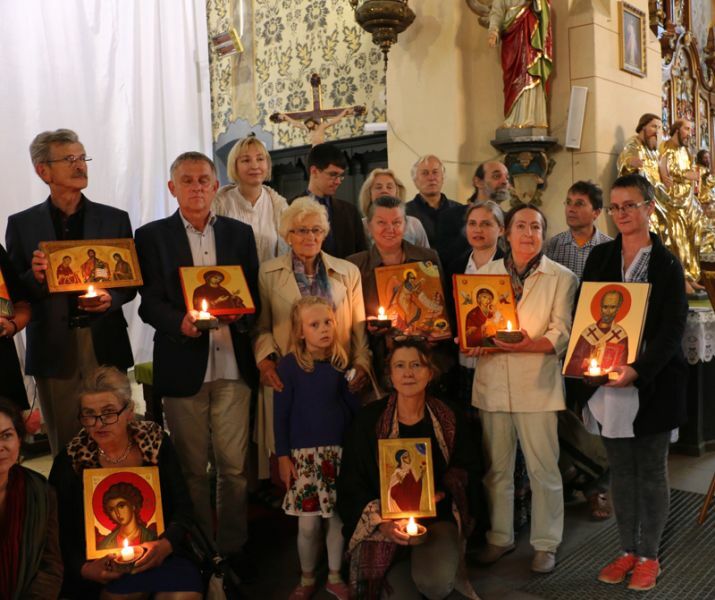 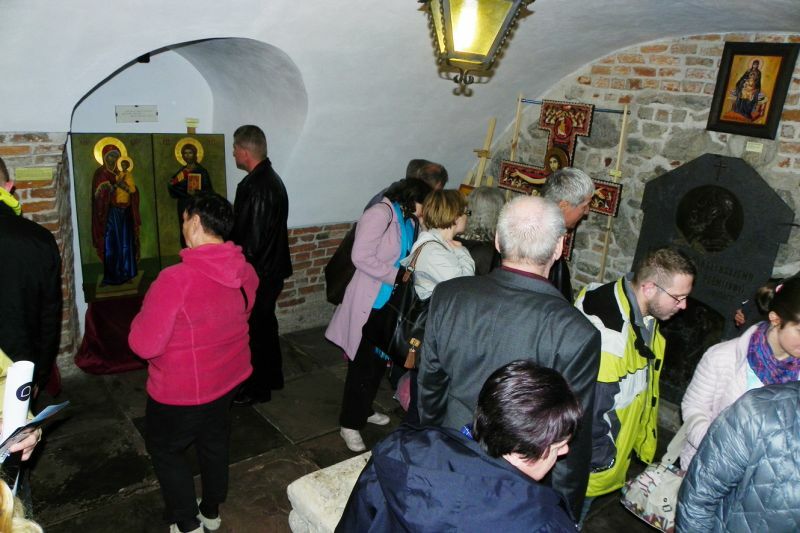 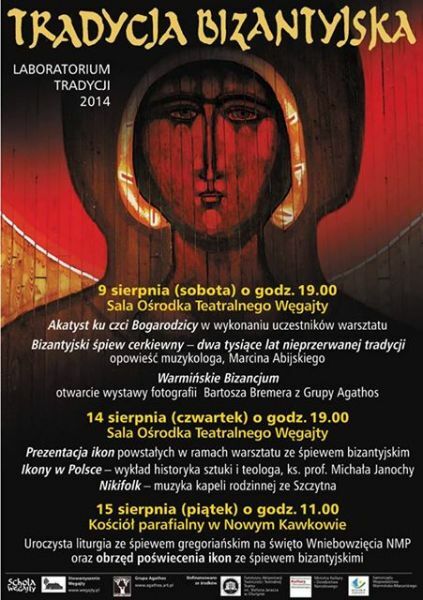 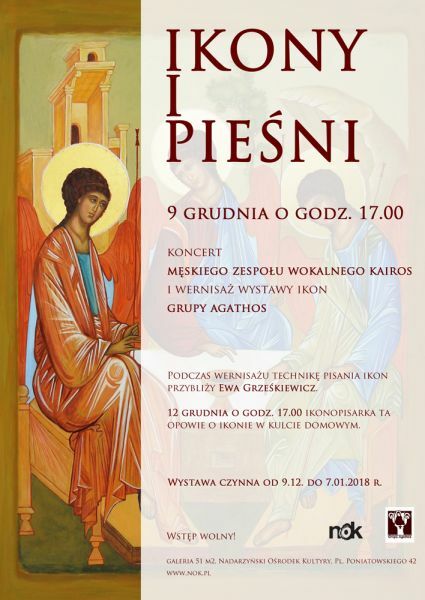 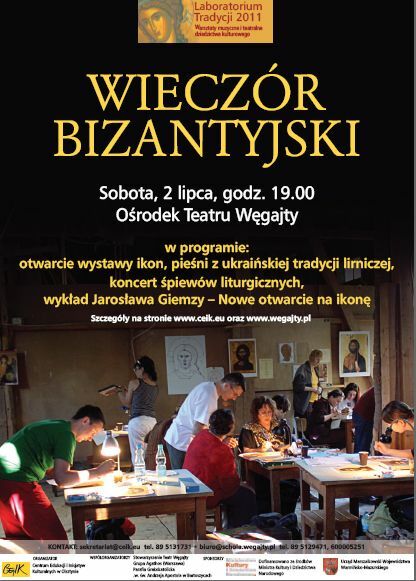 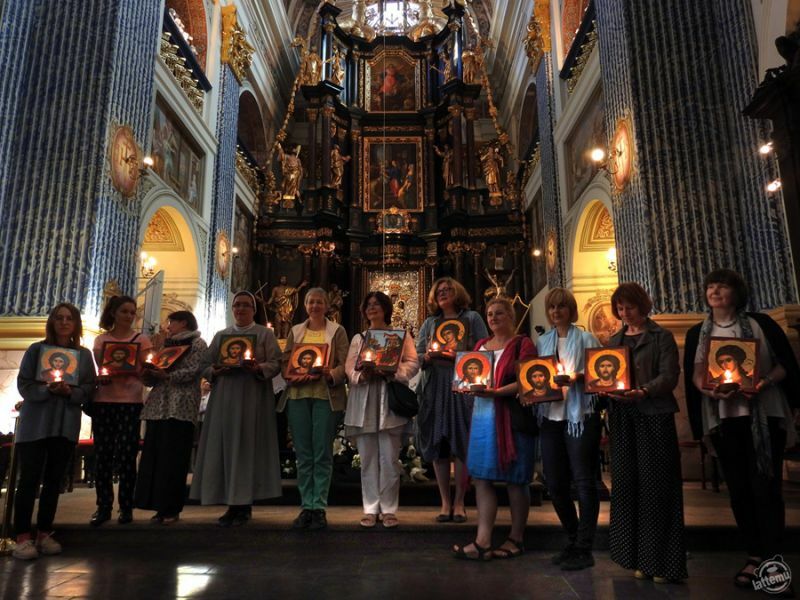 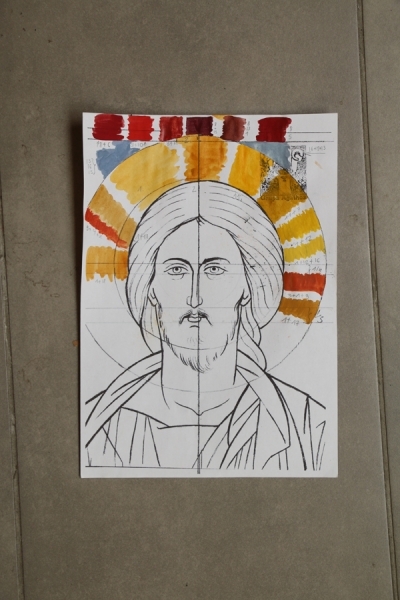 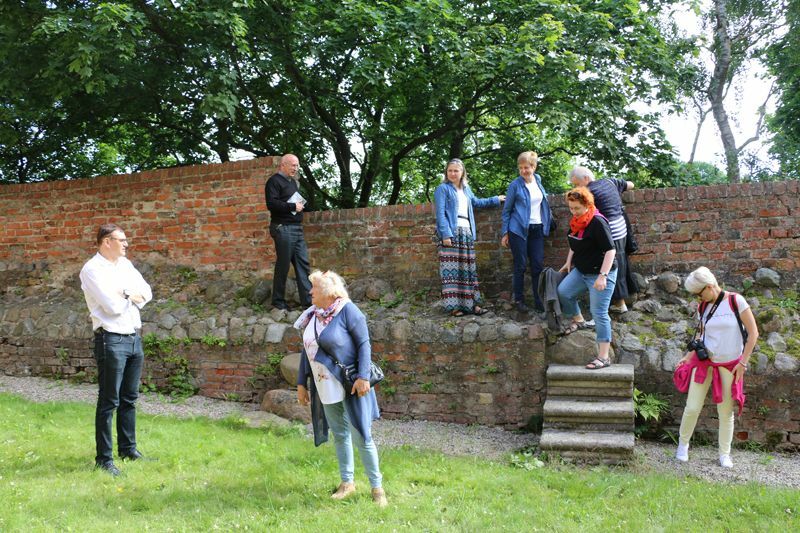 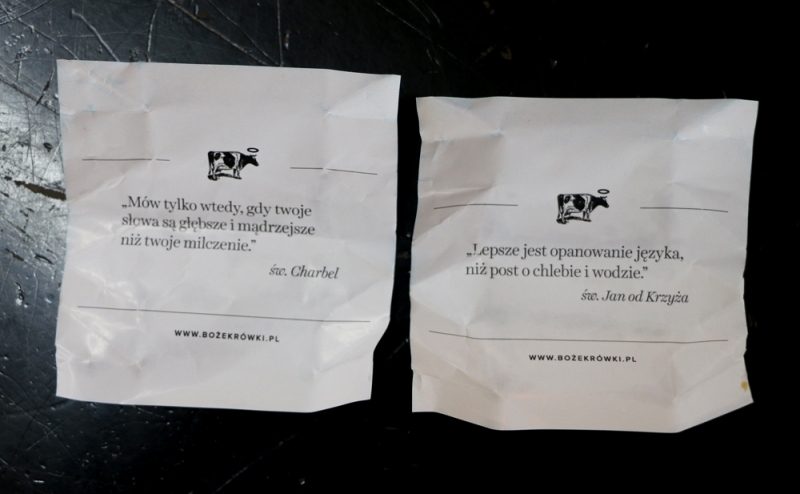 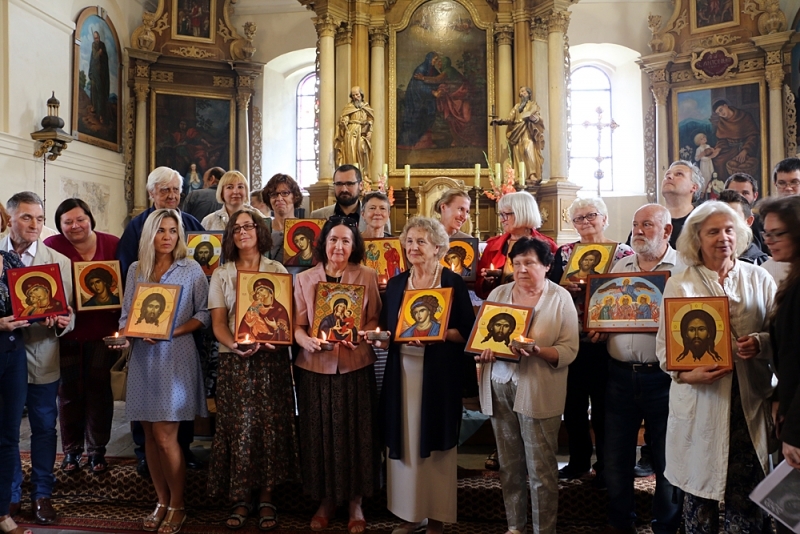 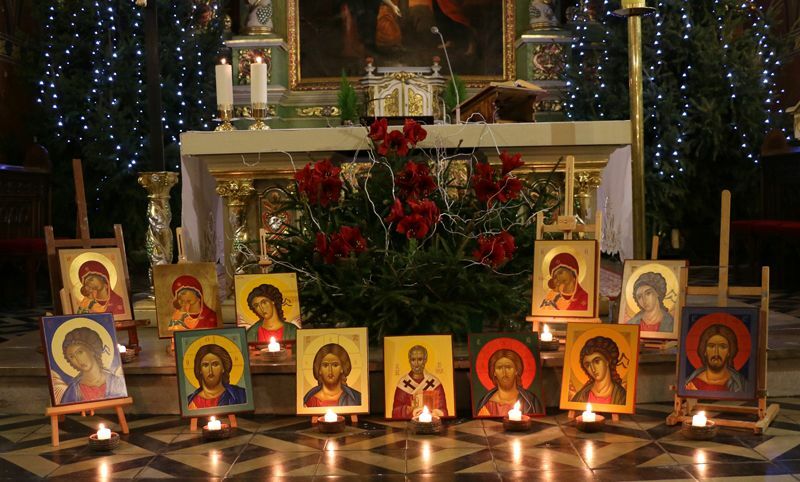 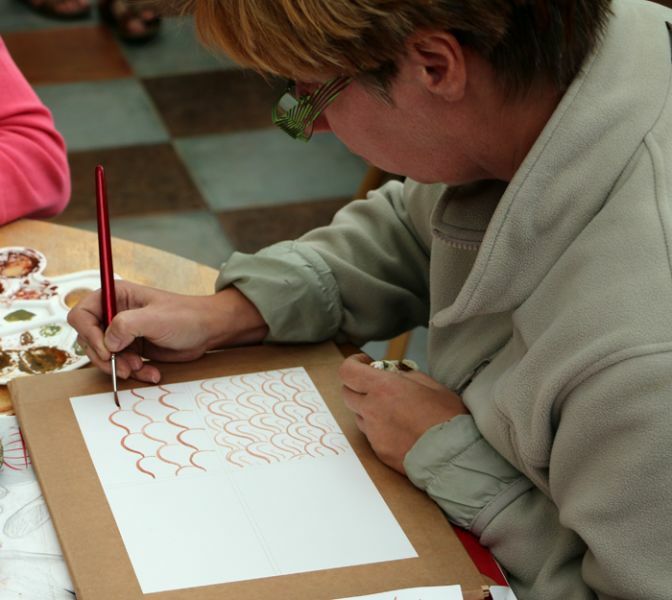 Under the watchful eye of four people from the Group AGATHOS (Catherine Barszcz, Bartosz Bremer Grześkiewicz and Julita Ewa Jaskiewicz) and cooperating with them, Margaret Dżygadło-Niklaus with Schola Węgajty Theatre, everyone made a sketch and then painted icon. 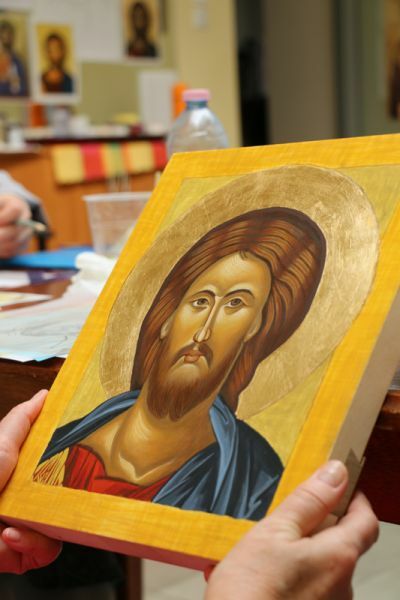 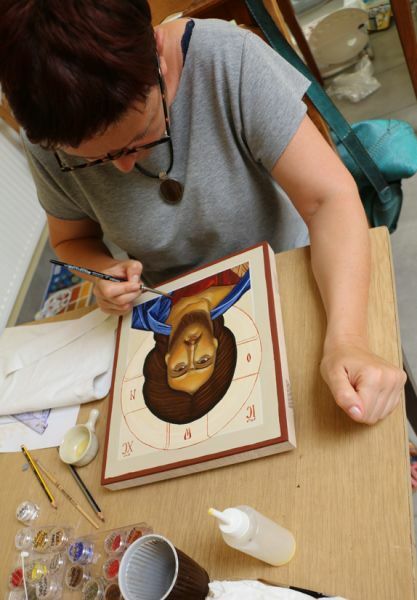 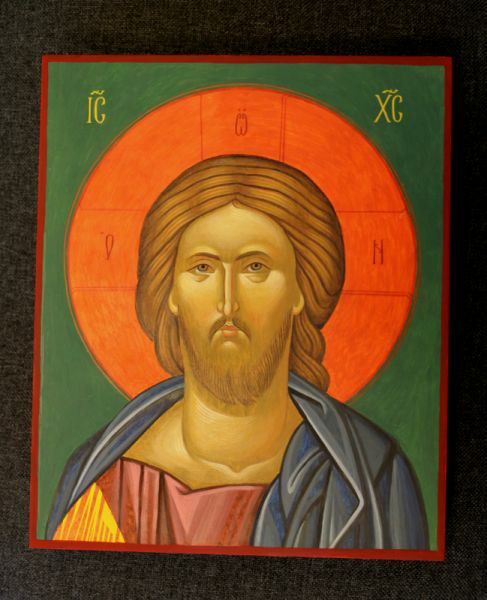 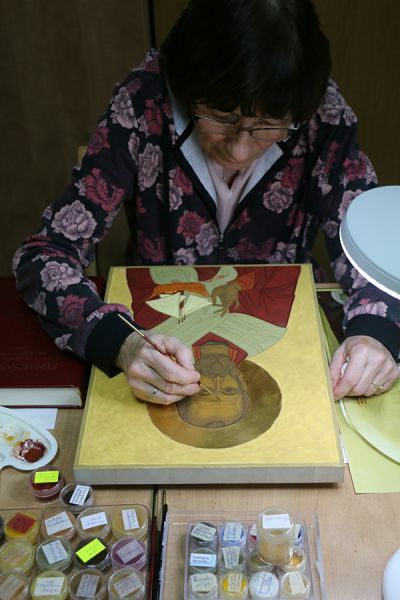 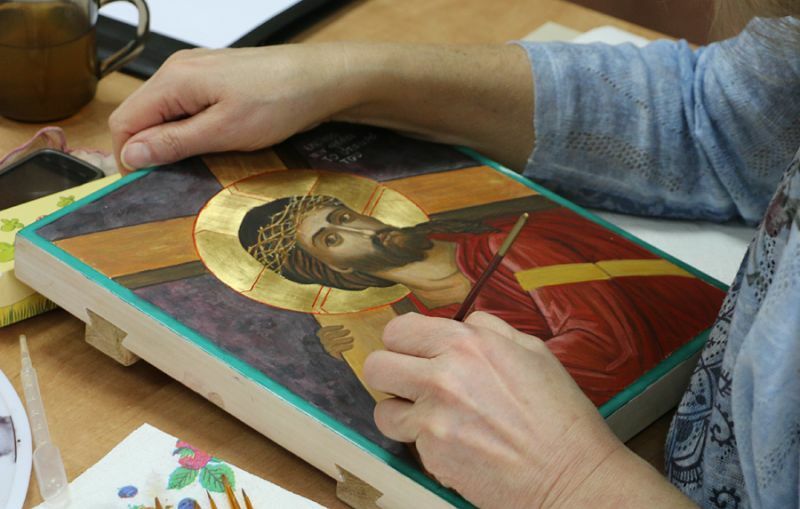 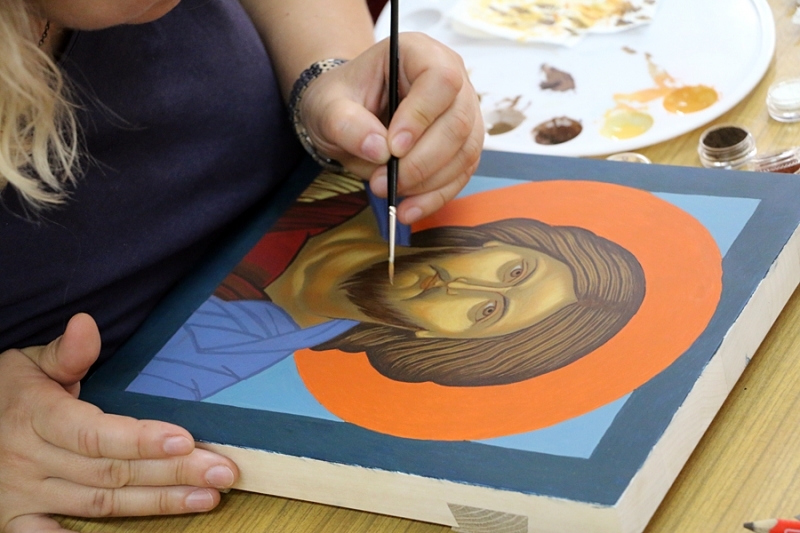 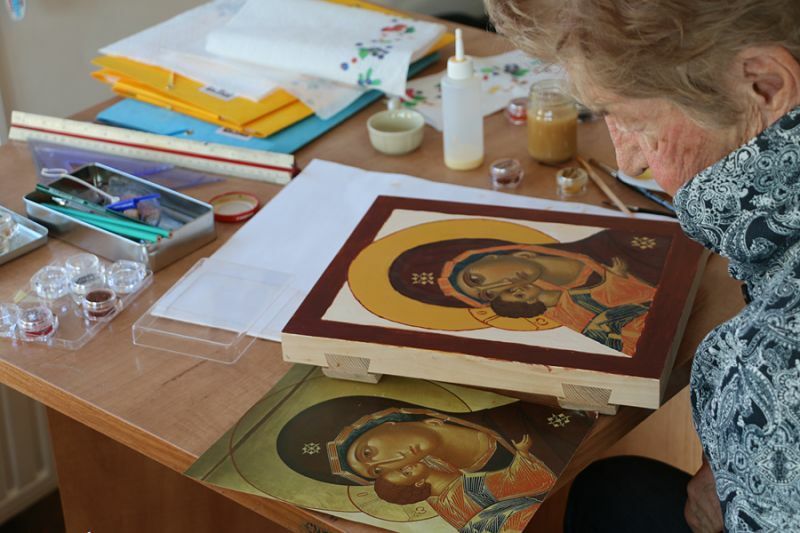 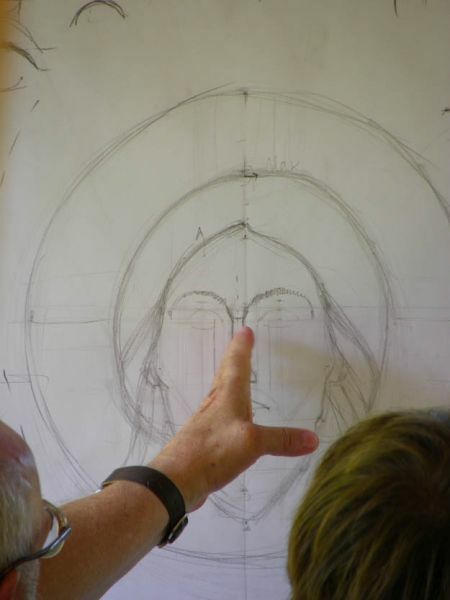 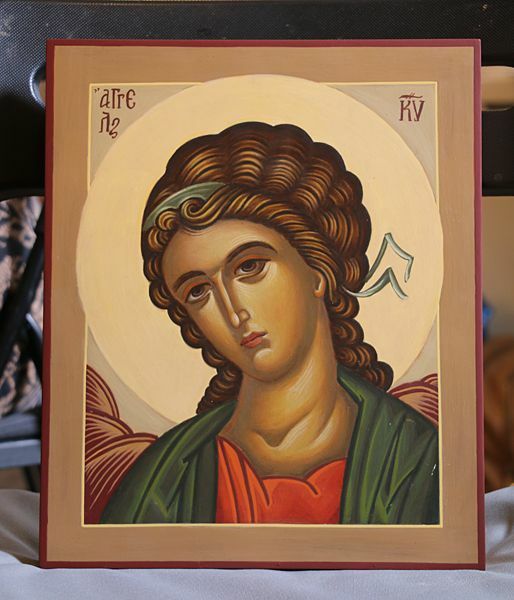 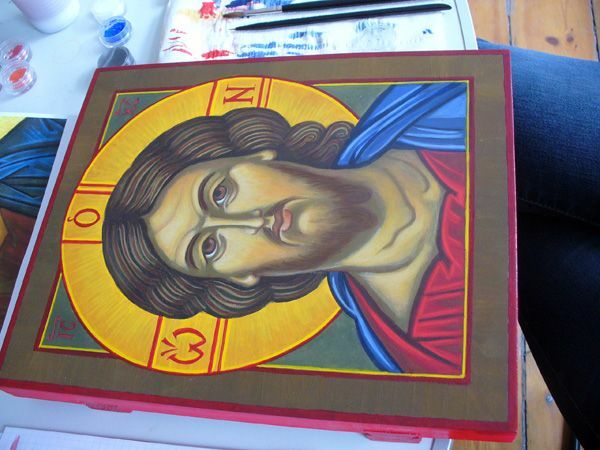 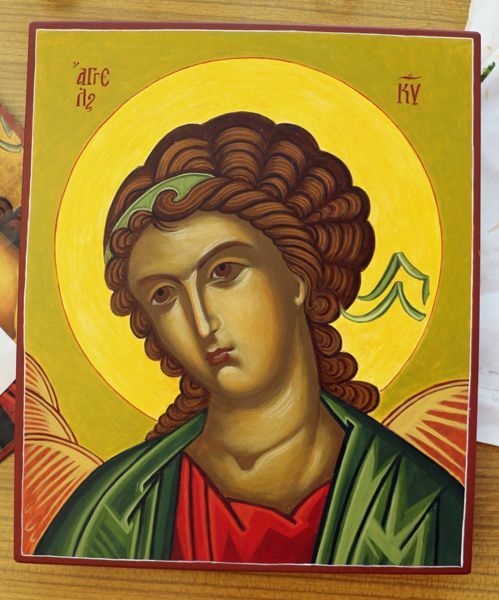 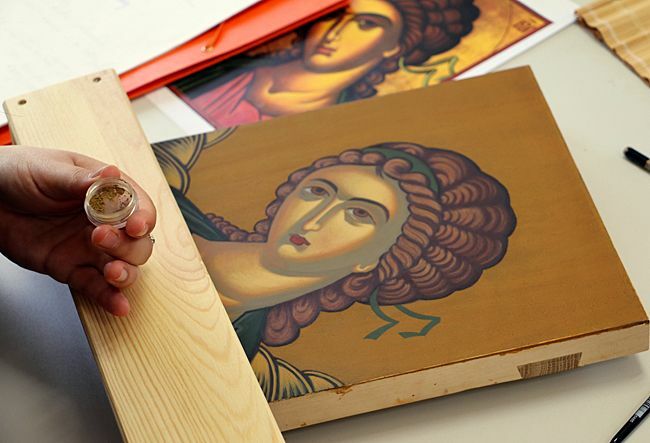 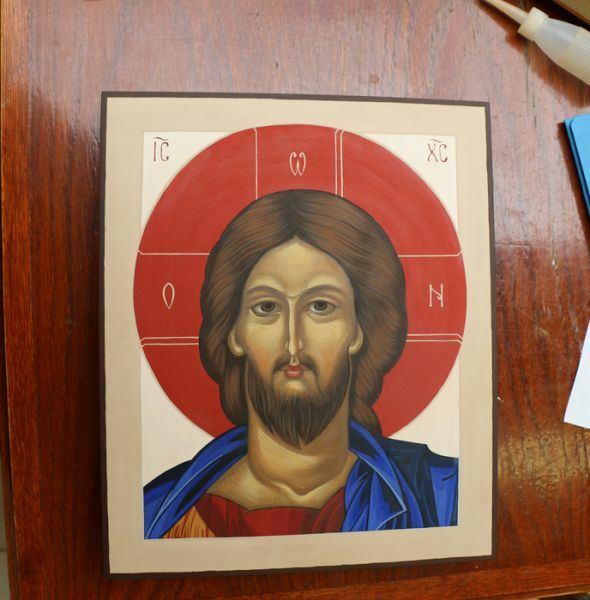 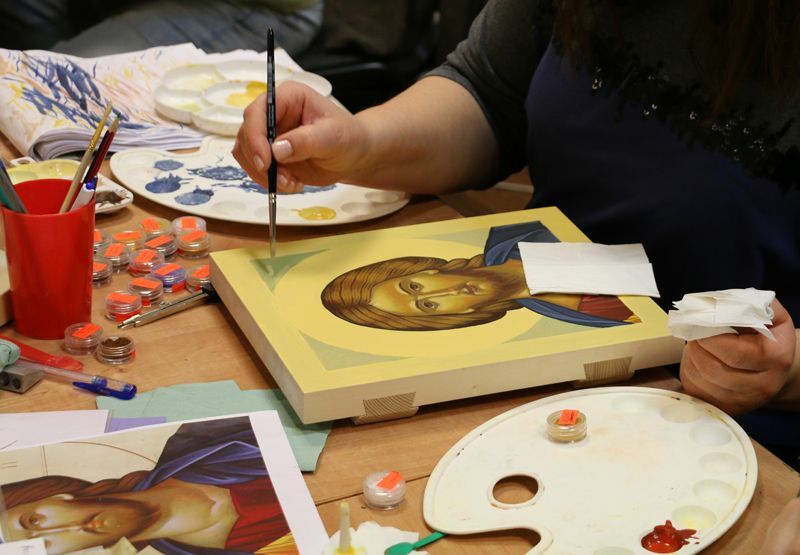 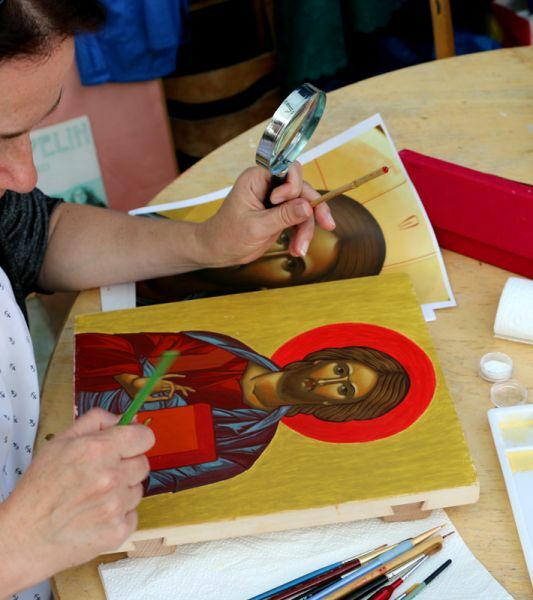 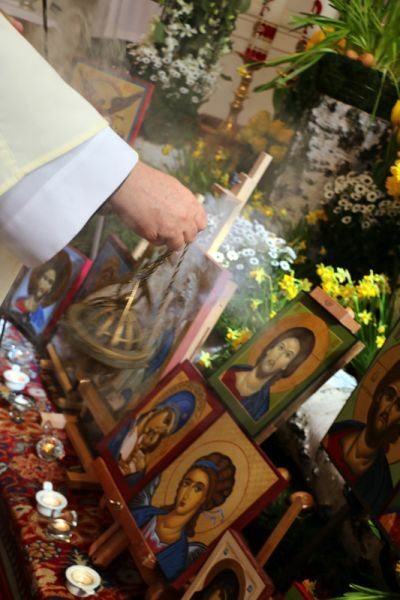 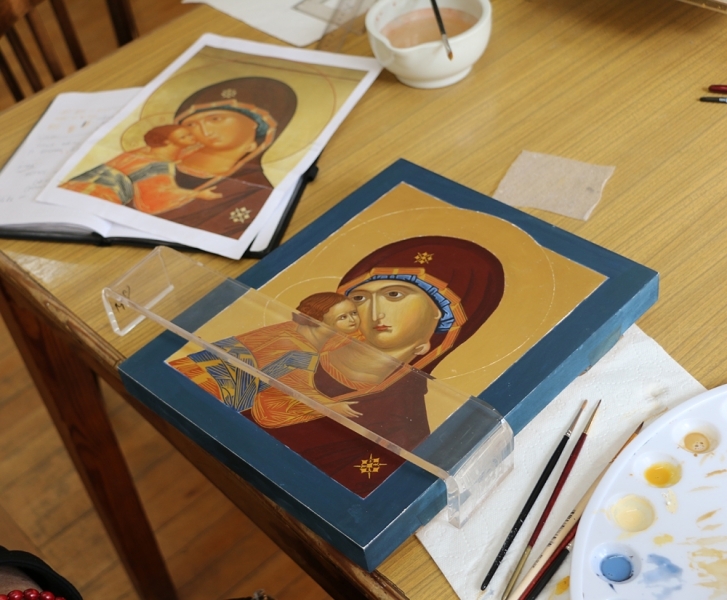 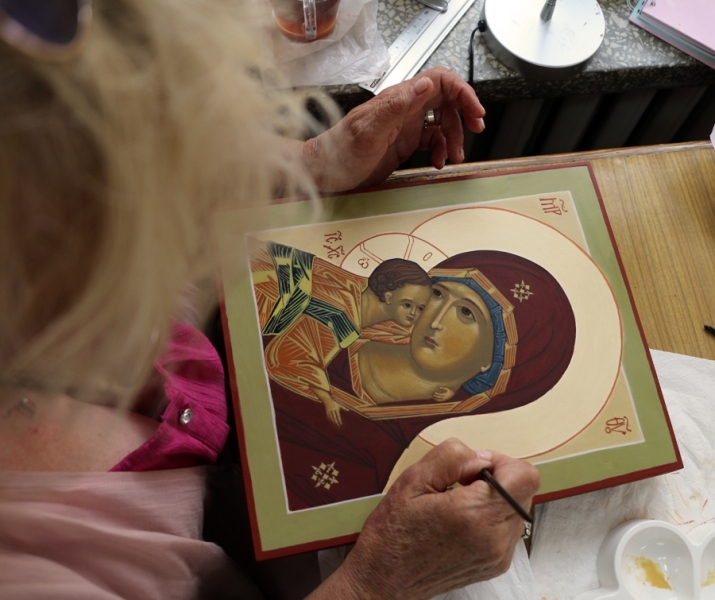 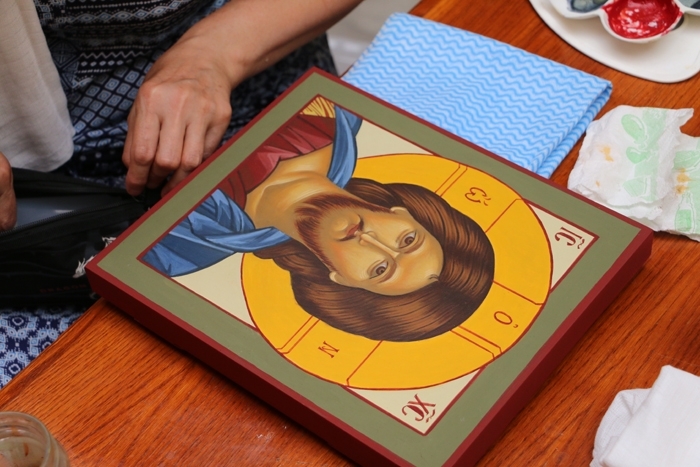 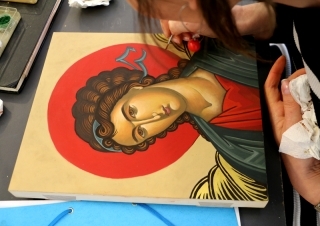 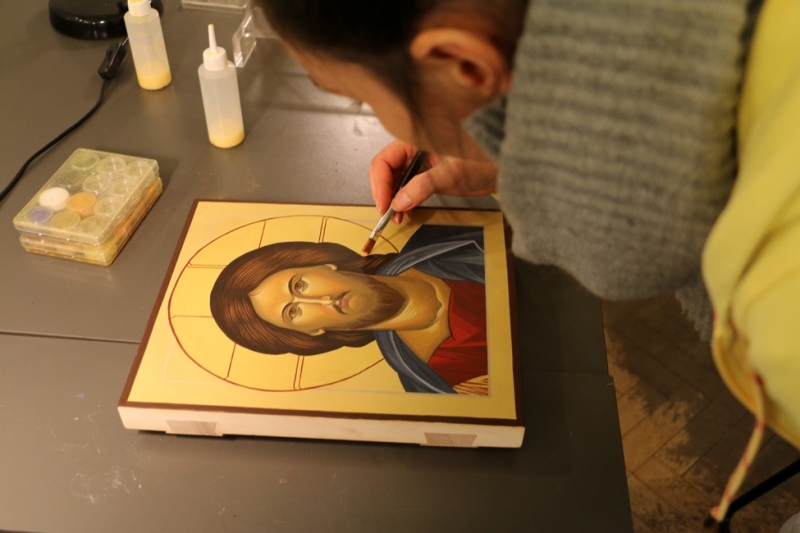 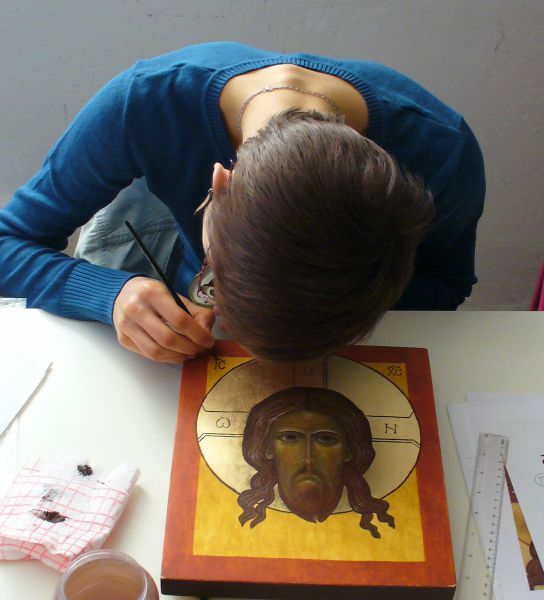 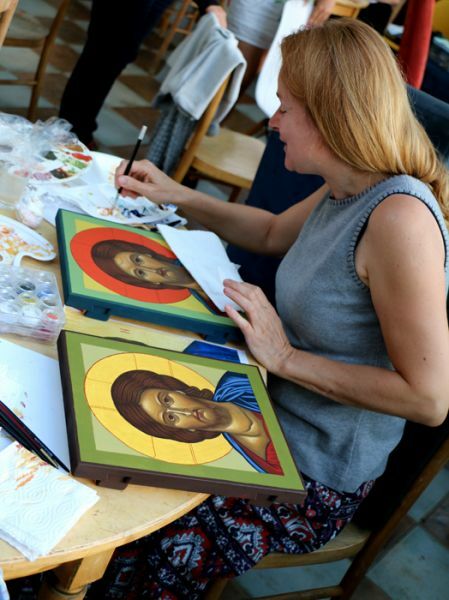 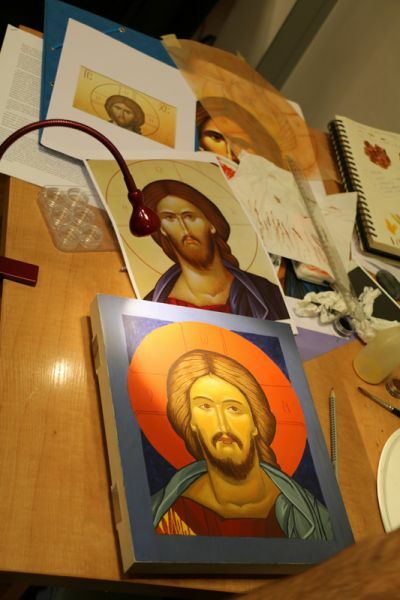 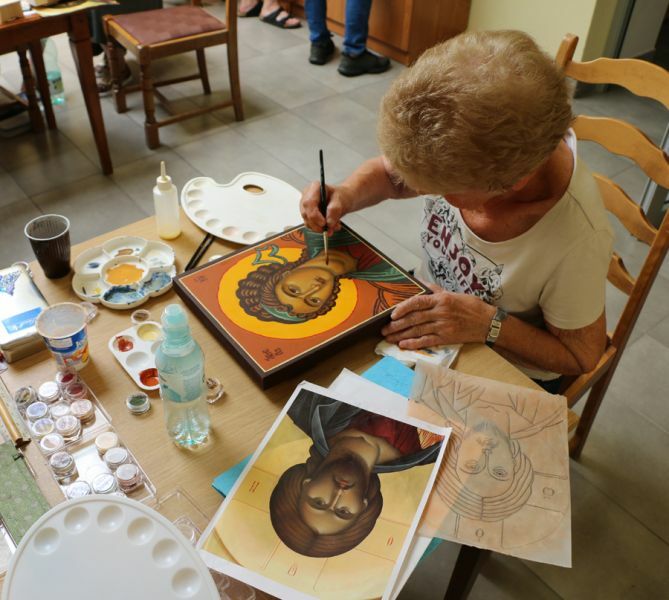 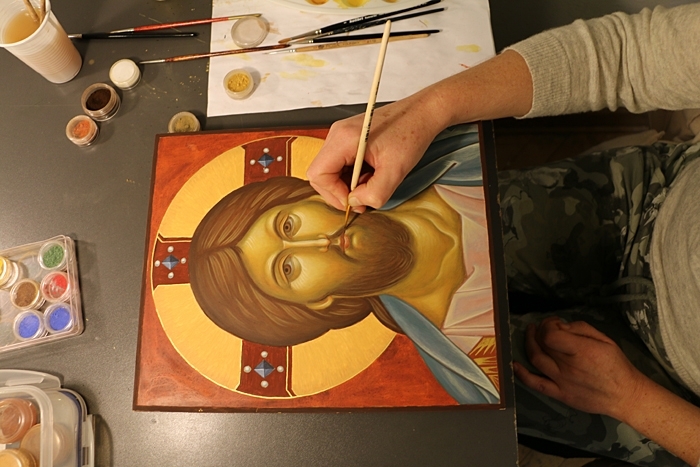 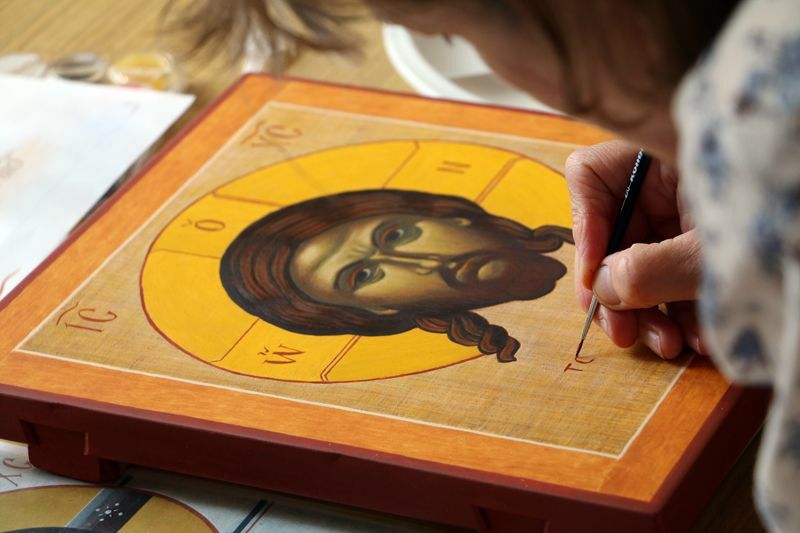 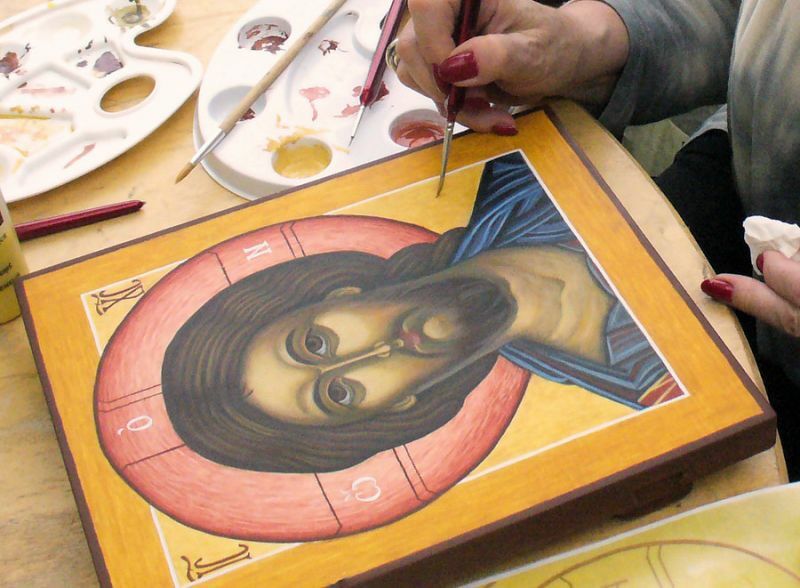 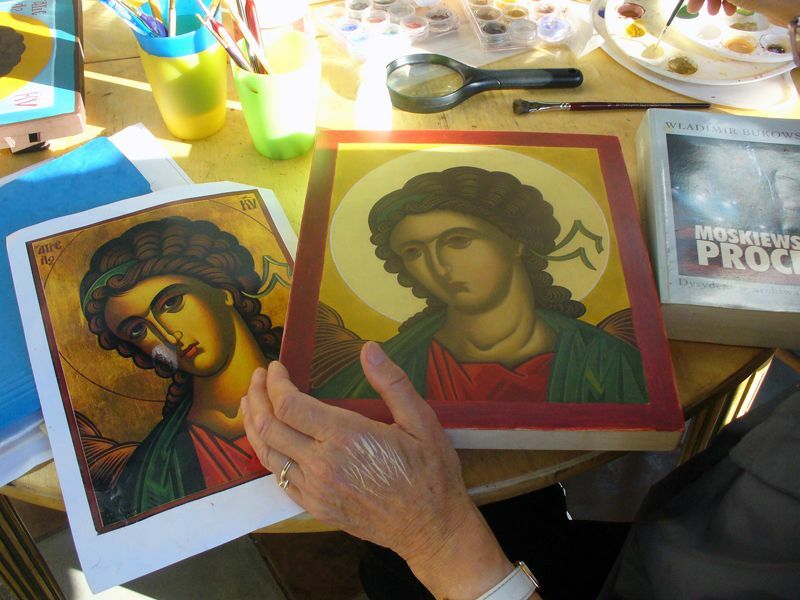 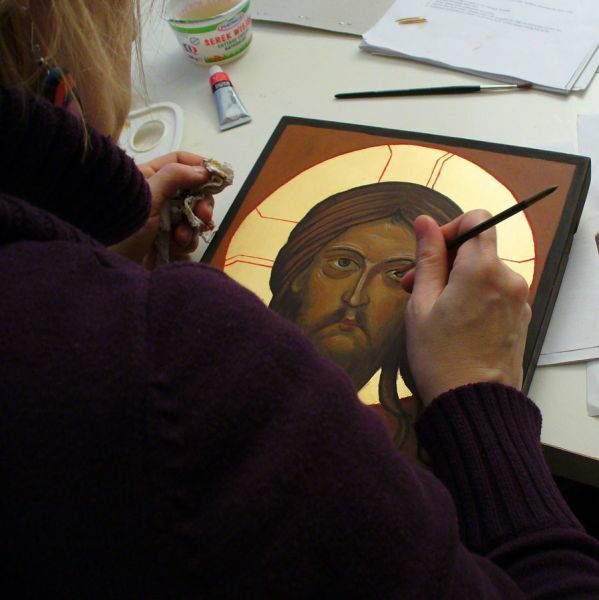 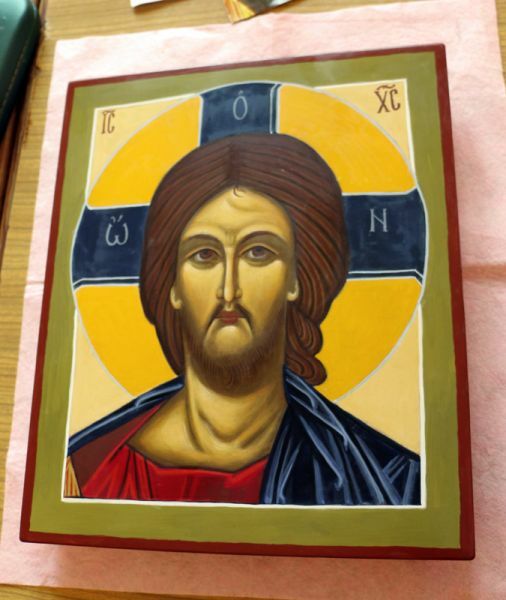 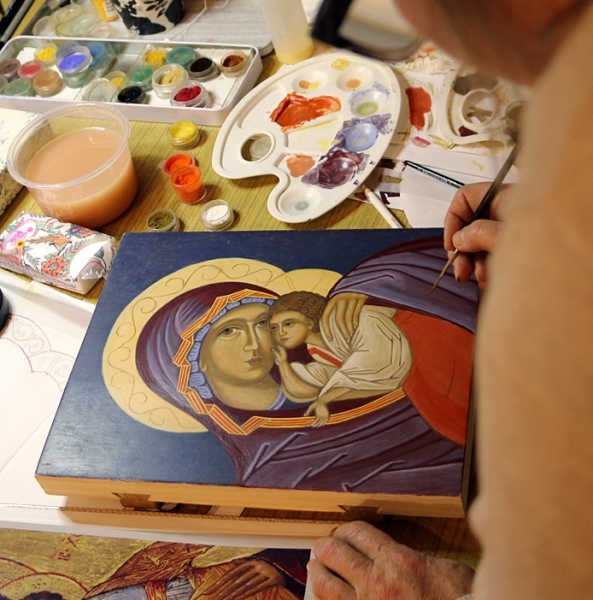 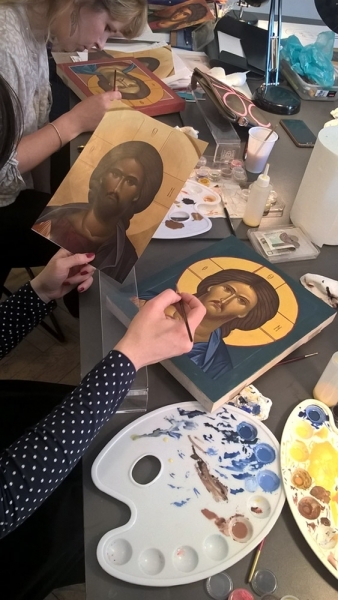 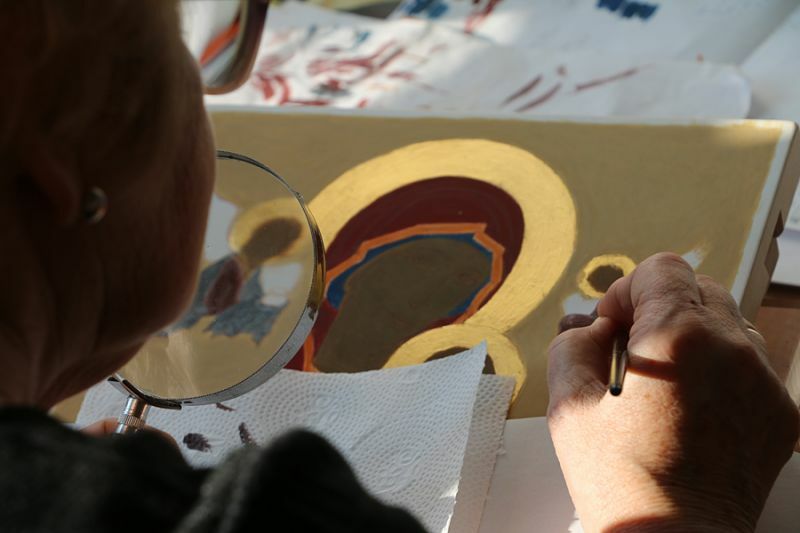 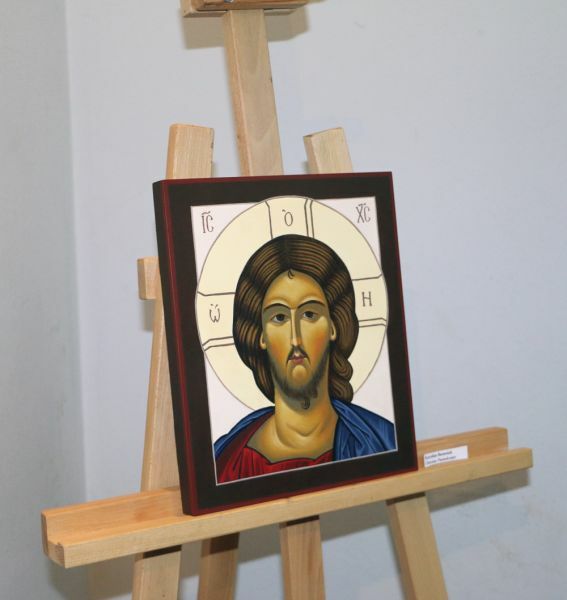 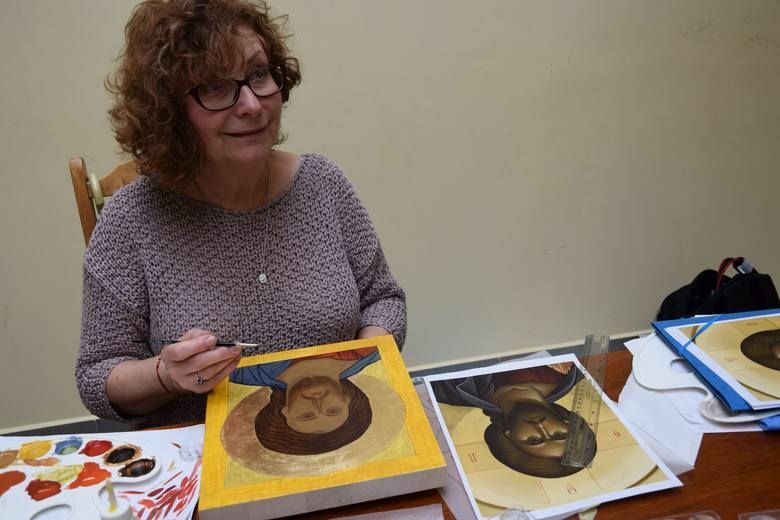 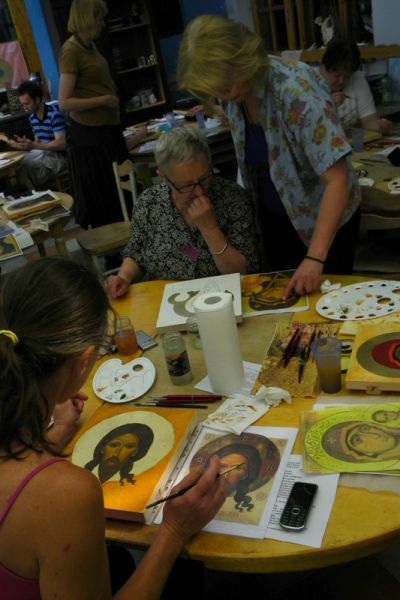 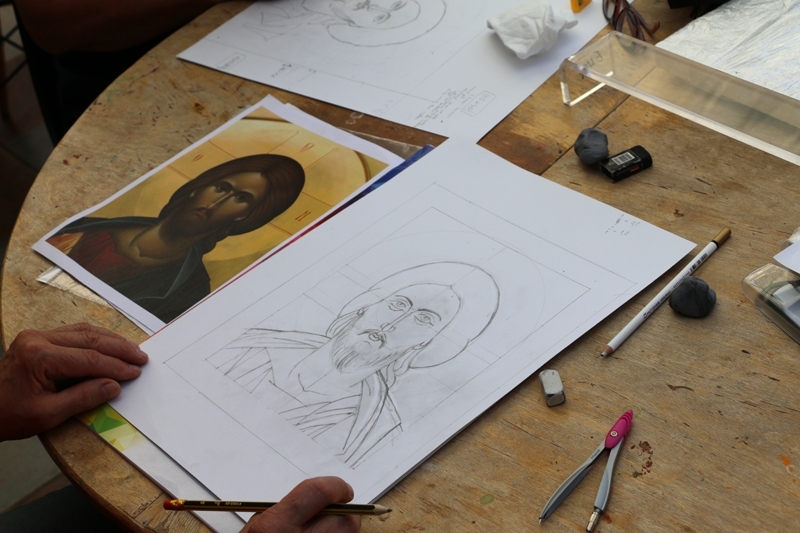 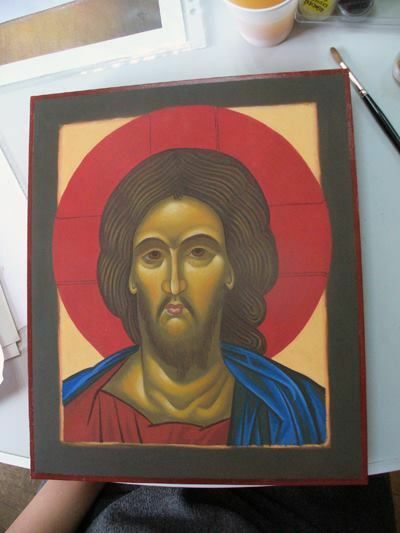 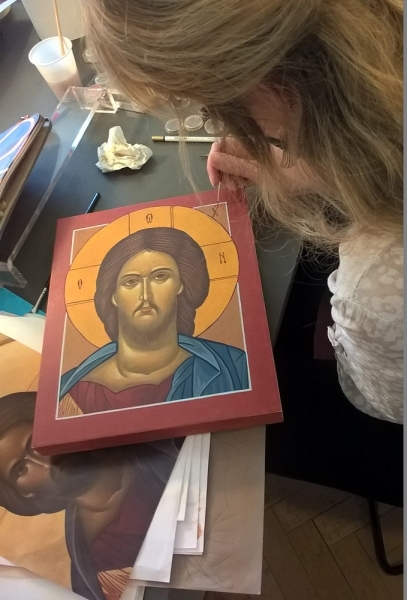 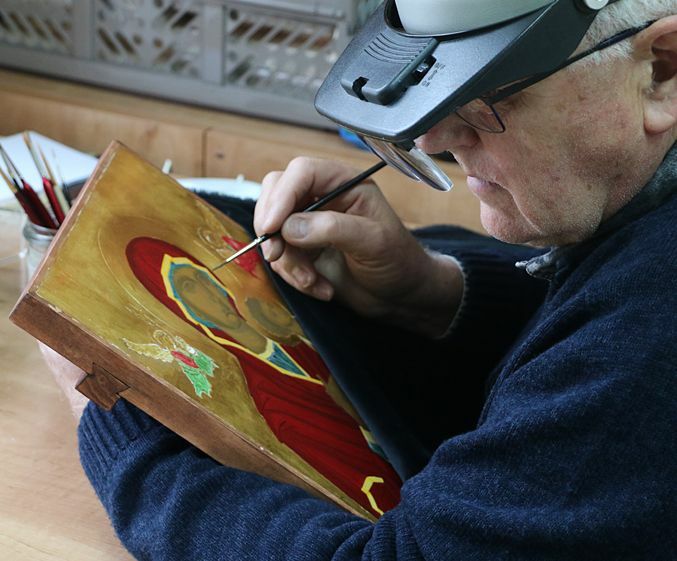 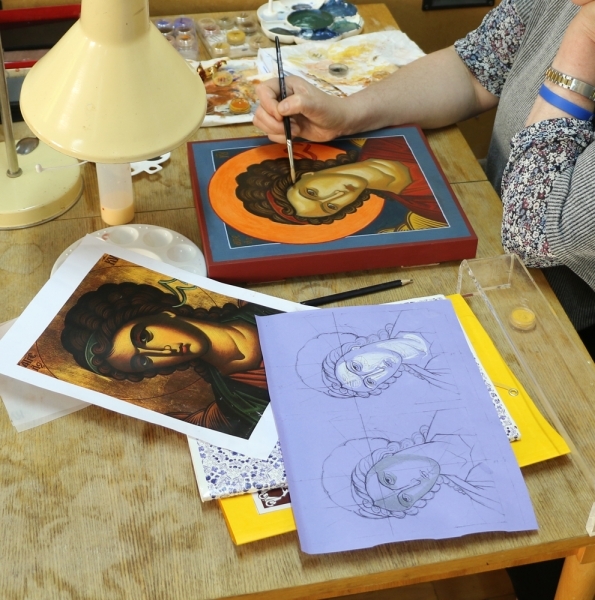 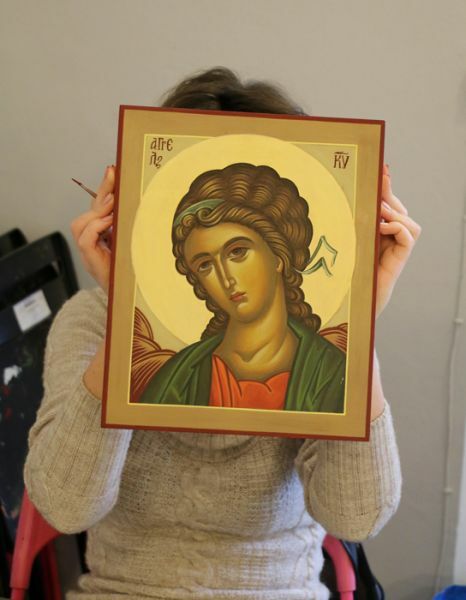 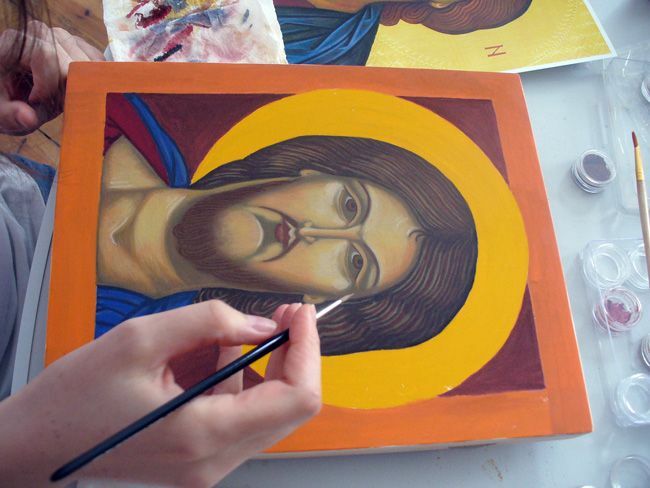 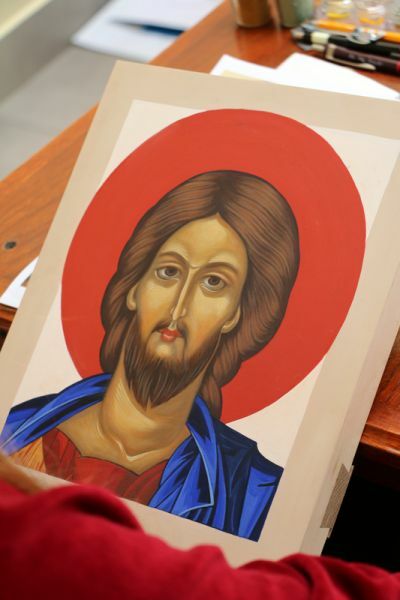 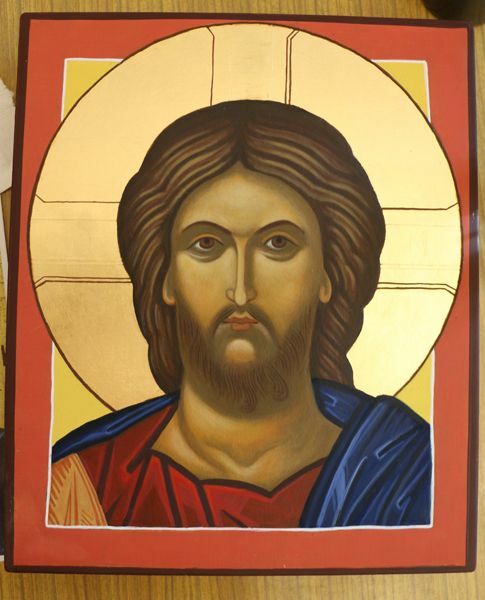 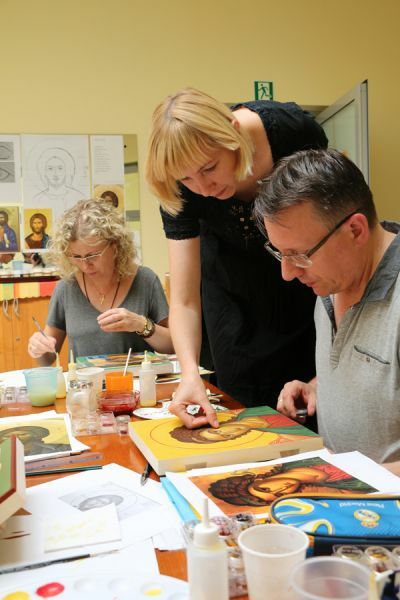 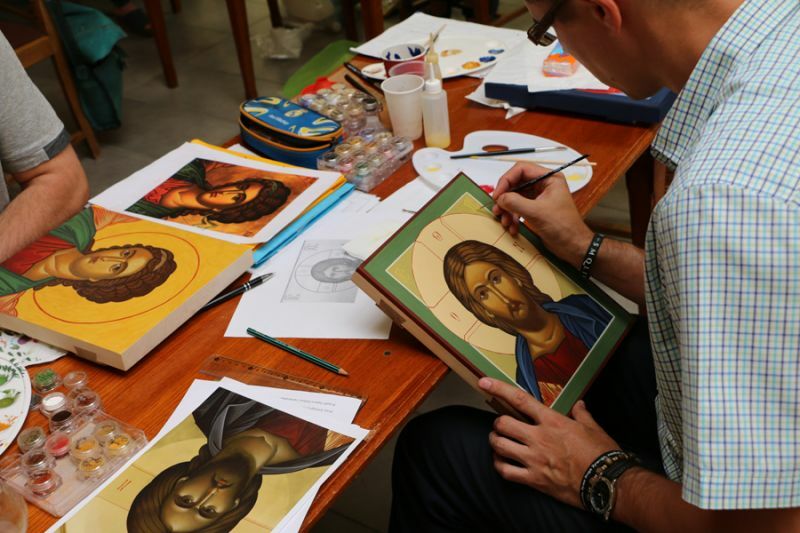 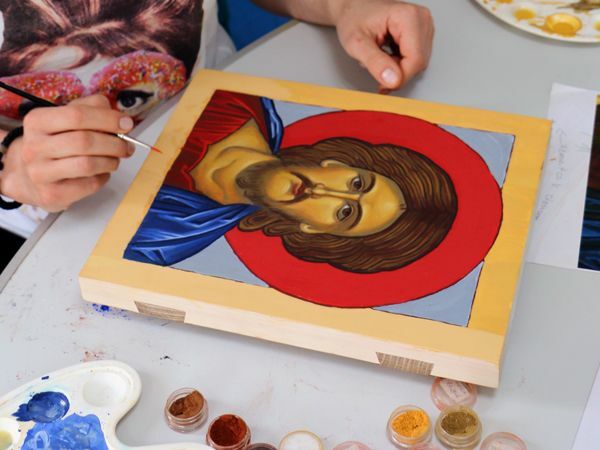 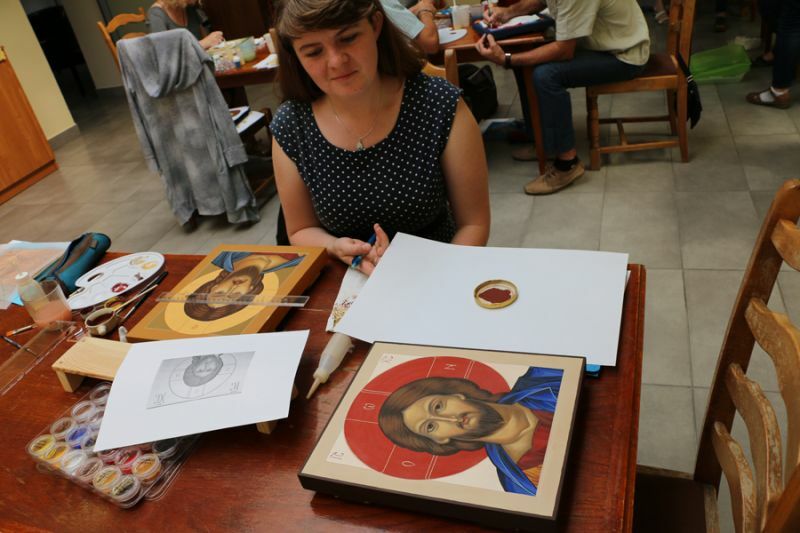 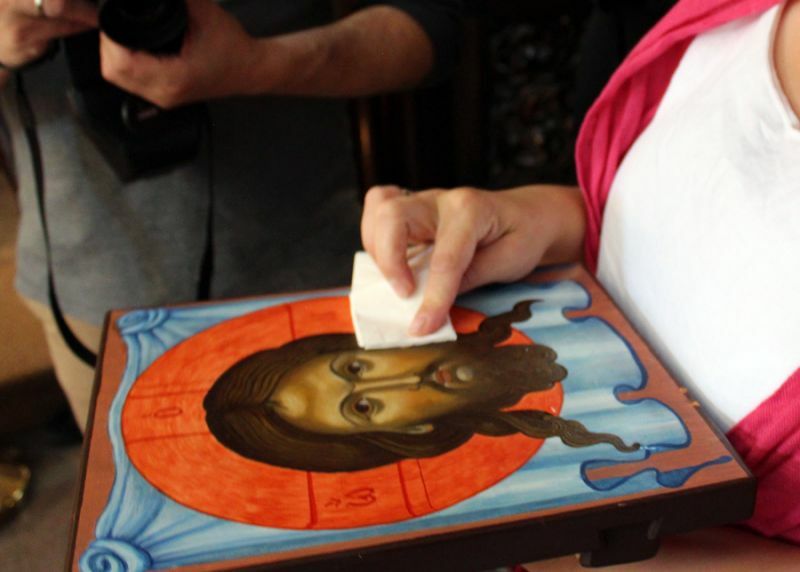 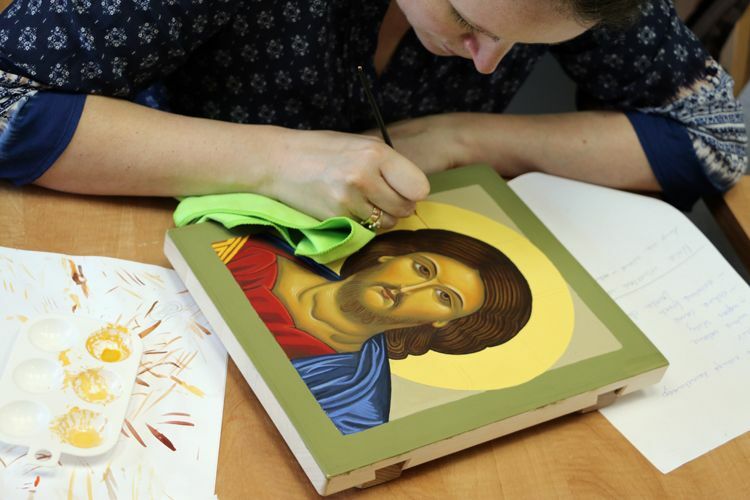 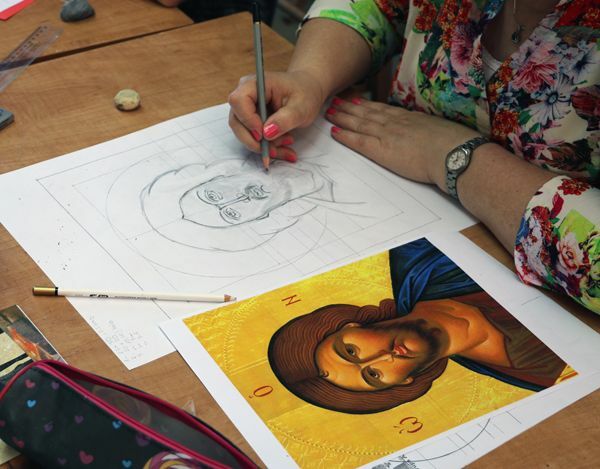 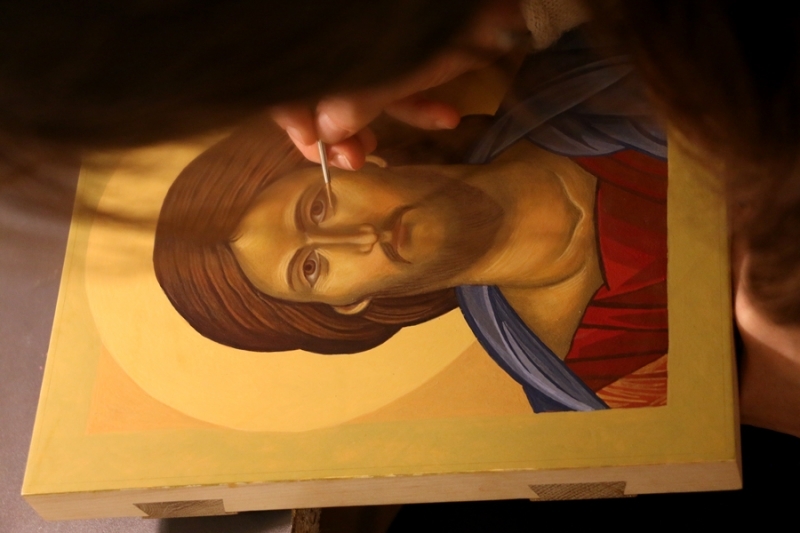 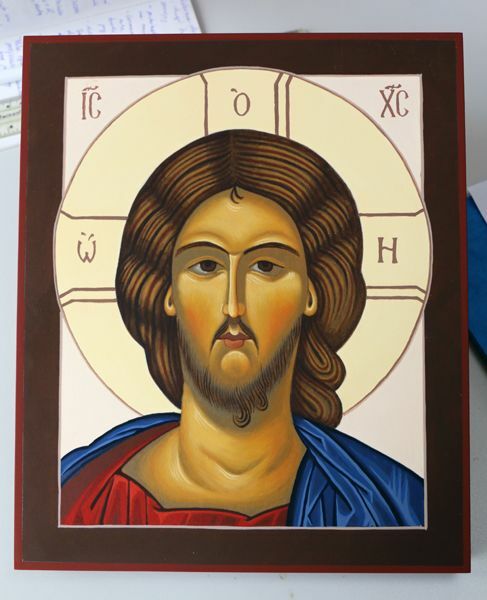 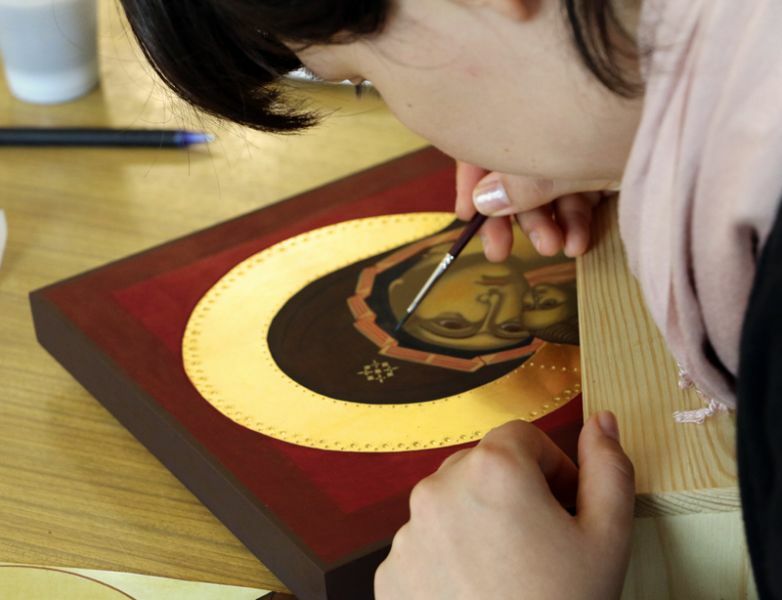 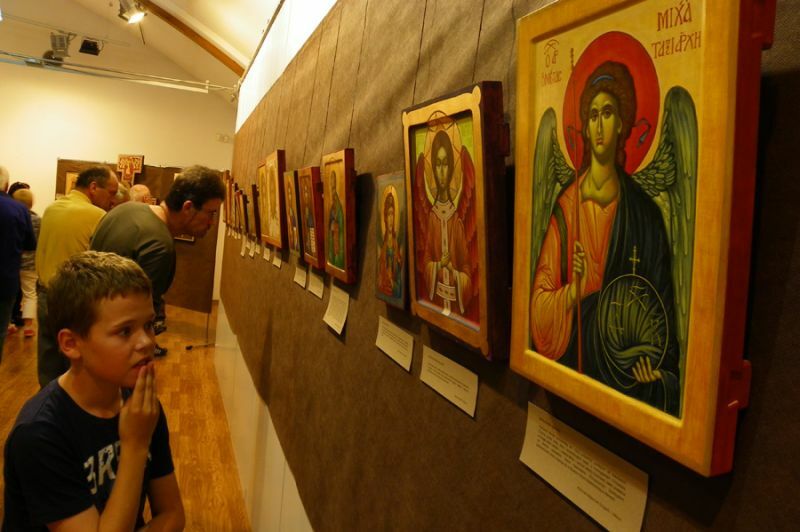 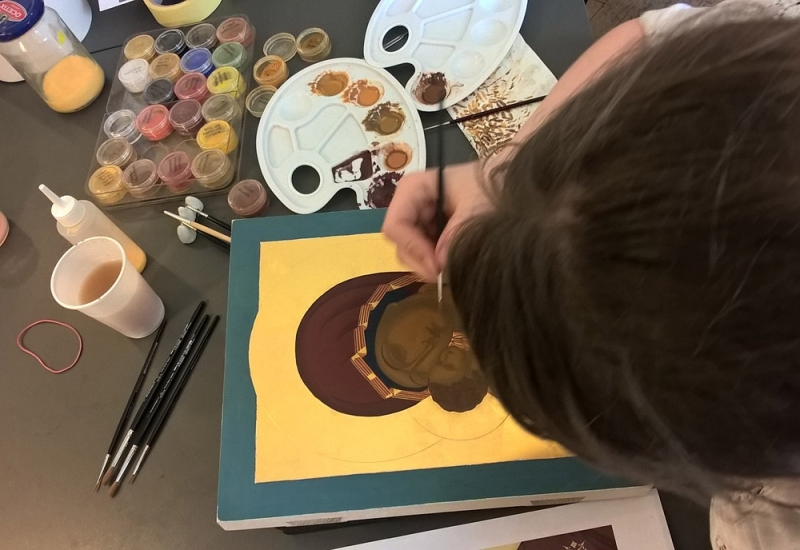 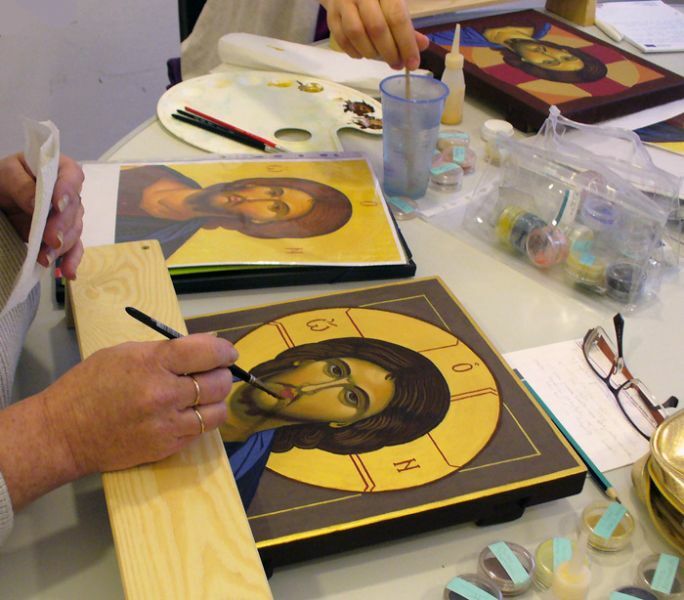 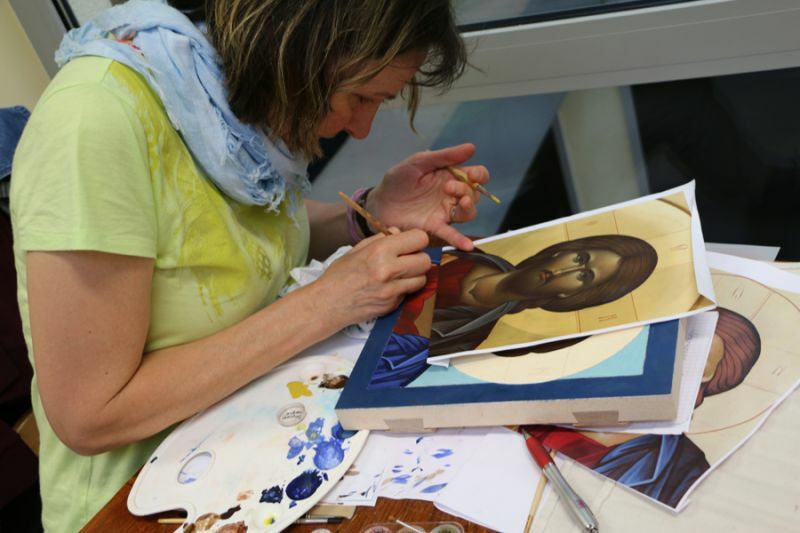 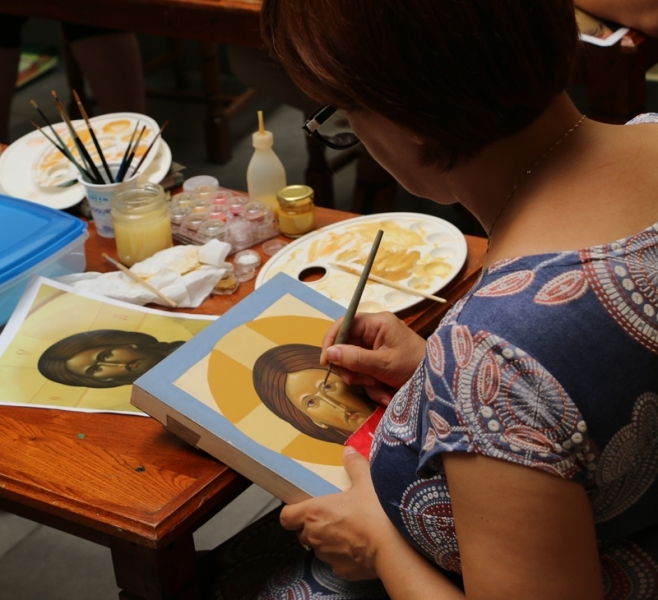 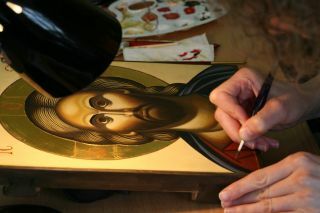 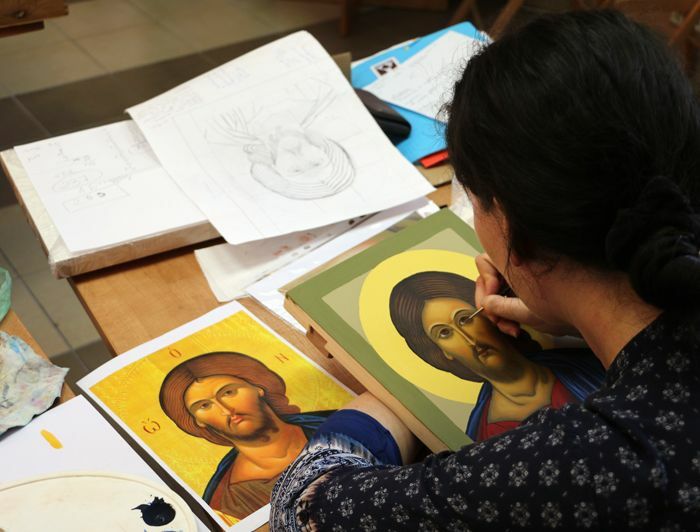 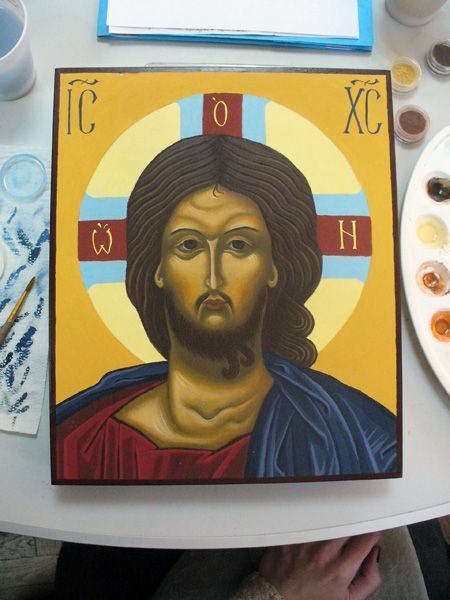 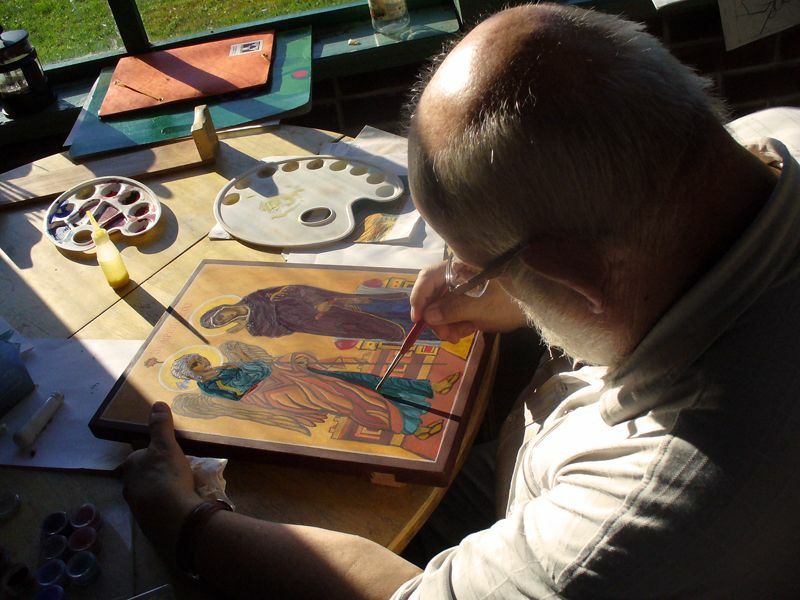 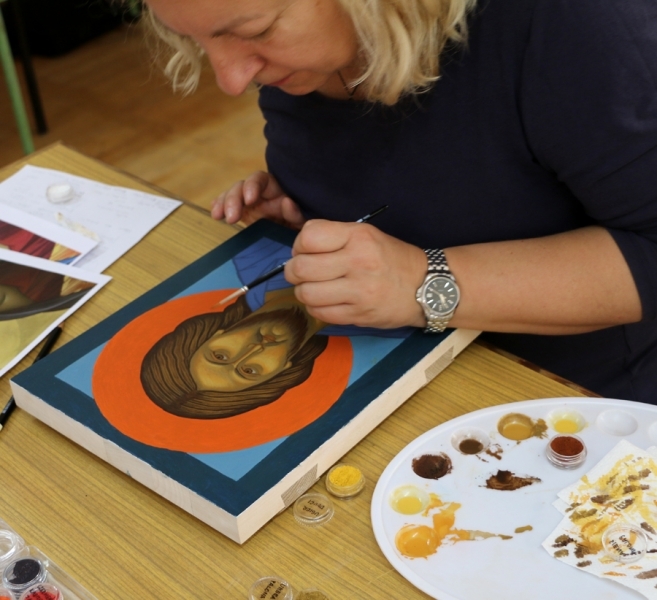 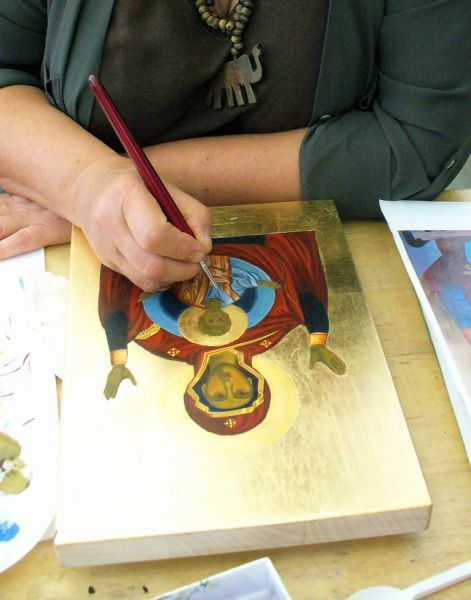 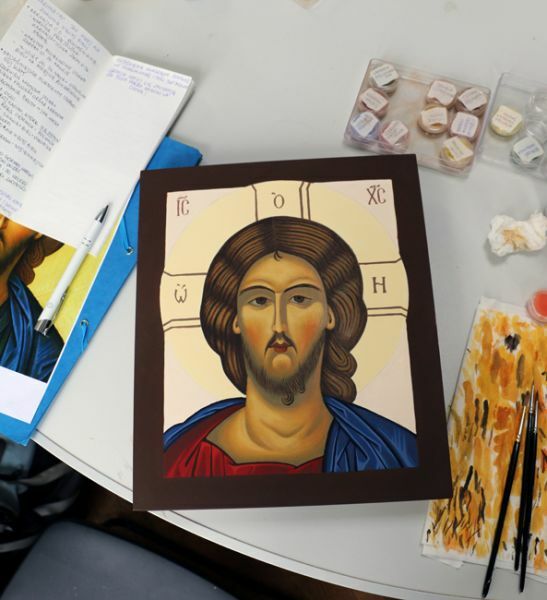 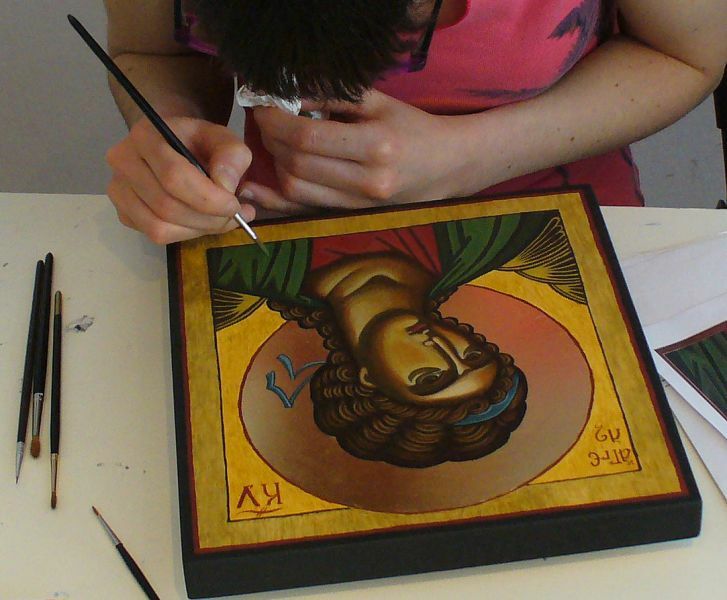 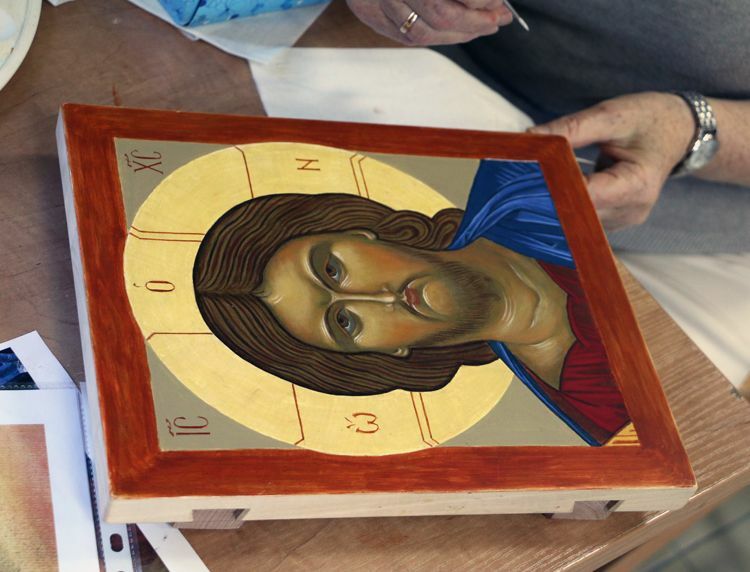 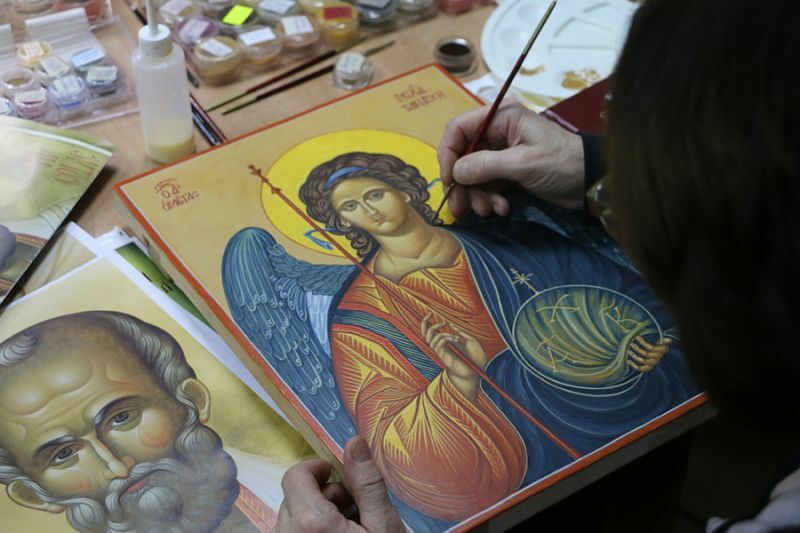 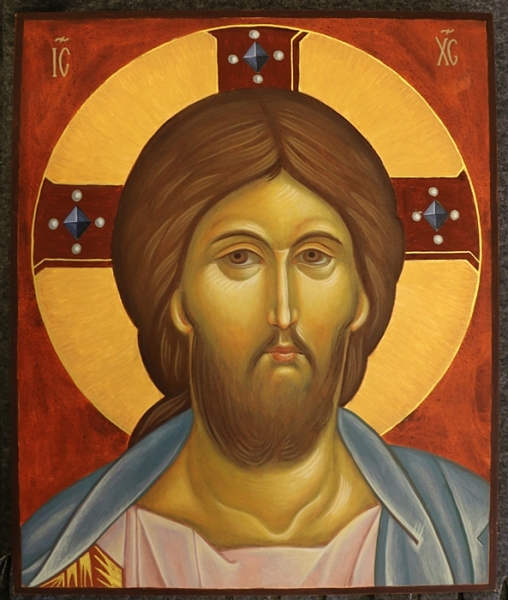 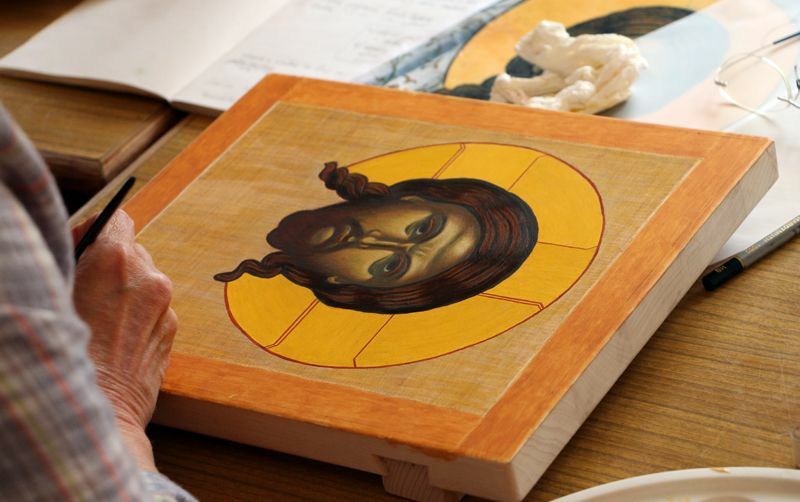 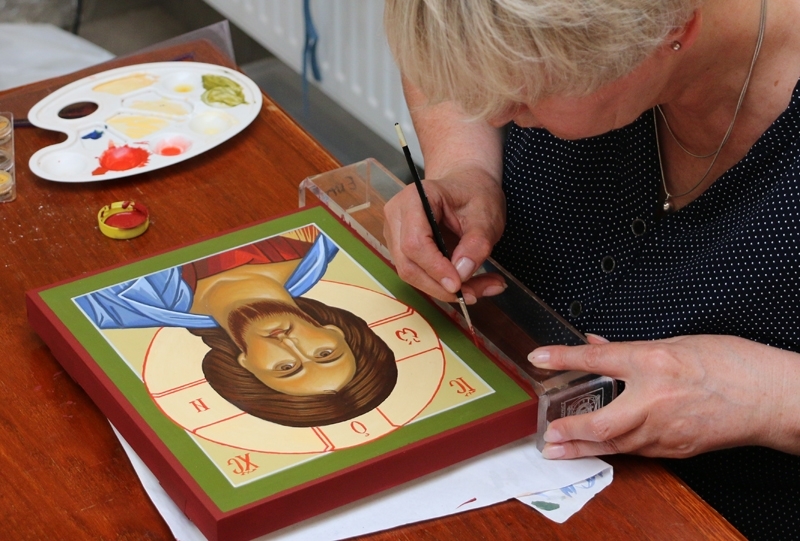 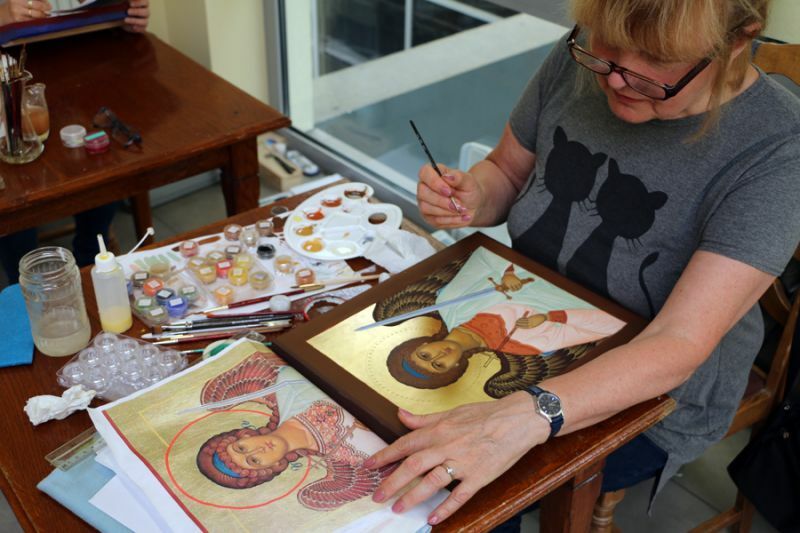 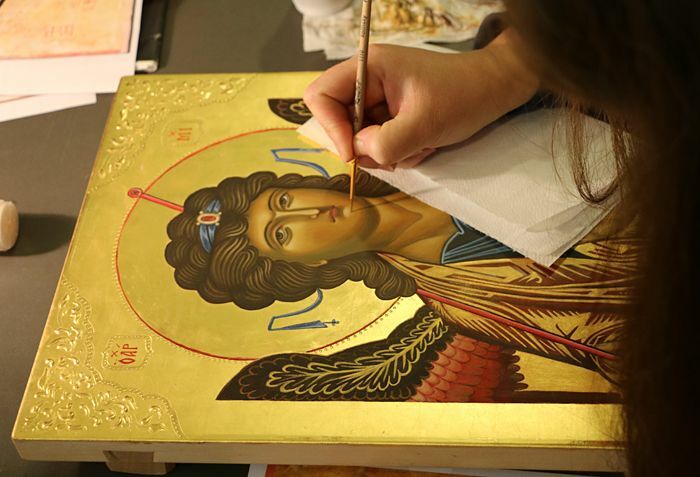 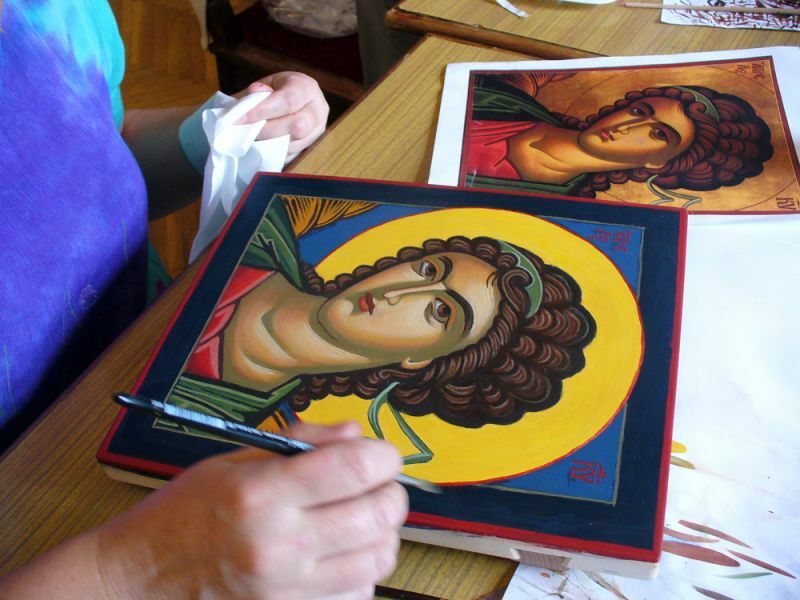 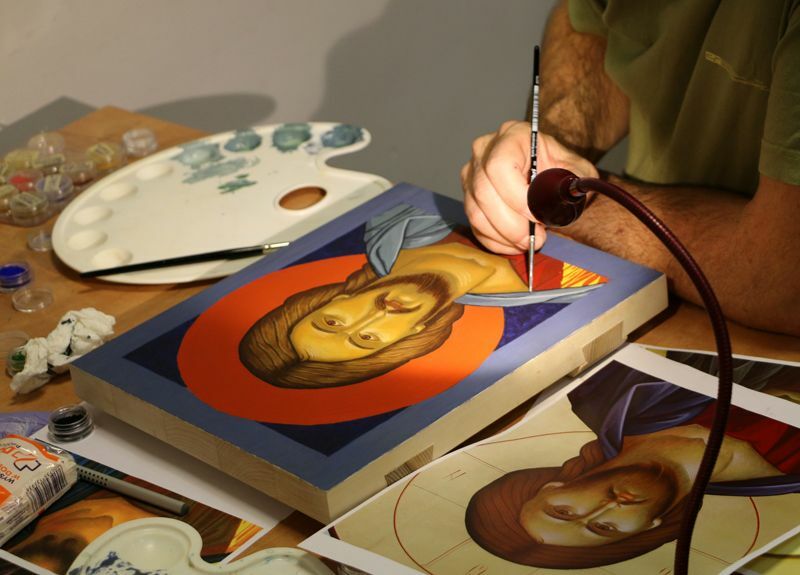 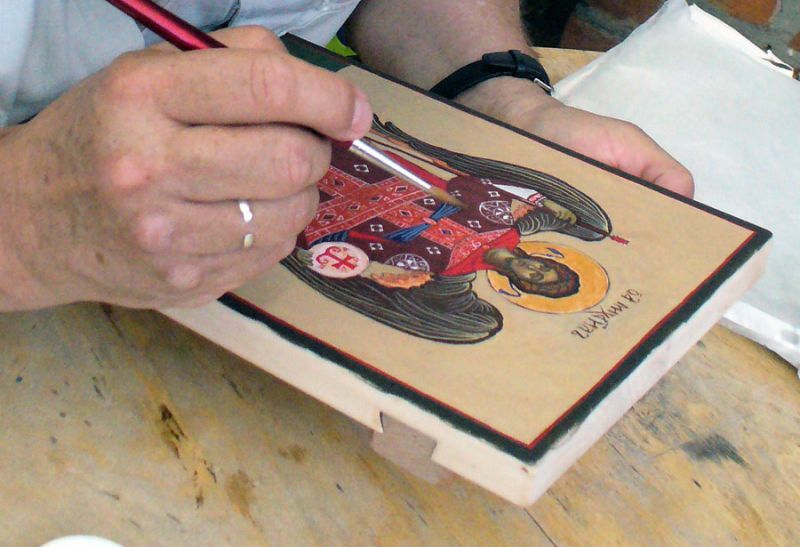 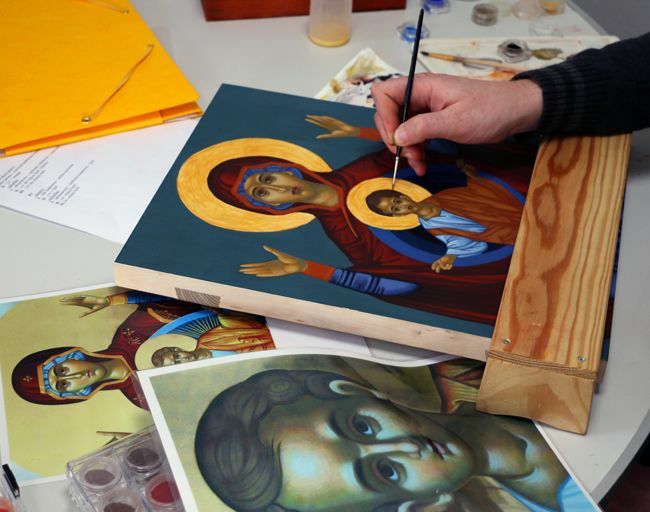 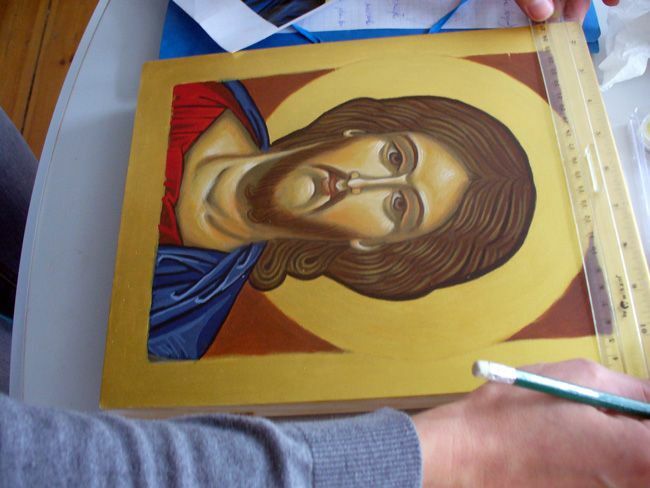 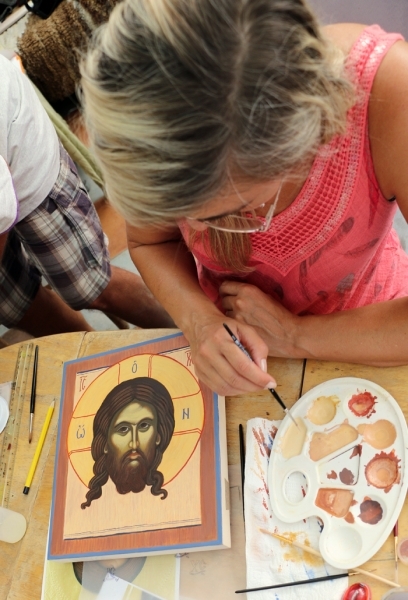 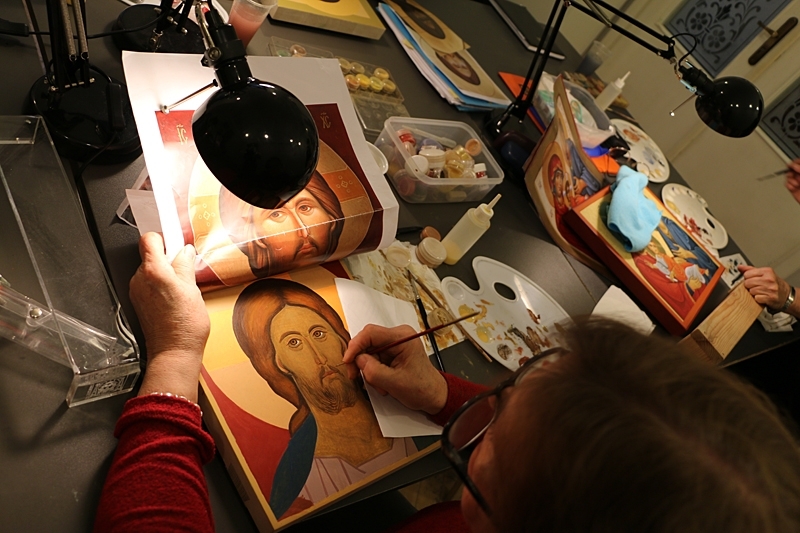 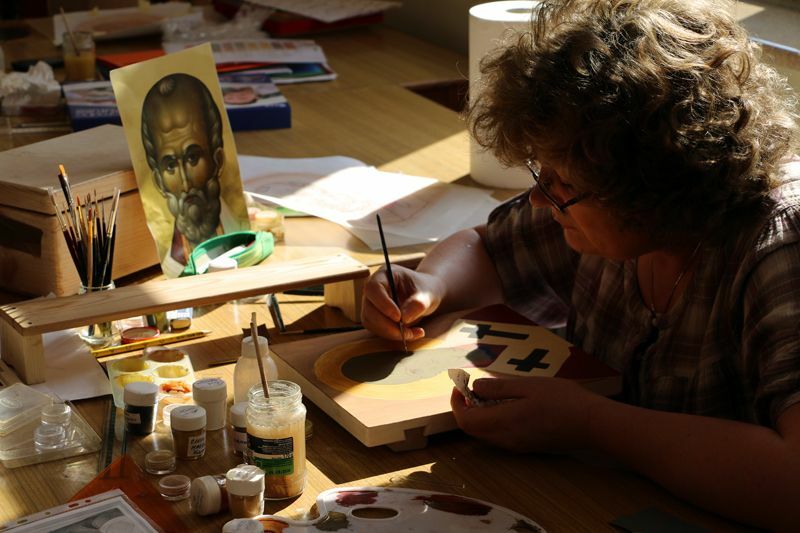 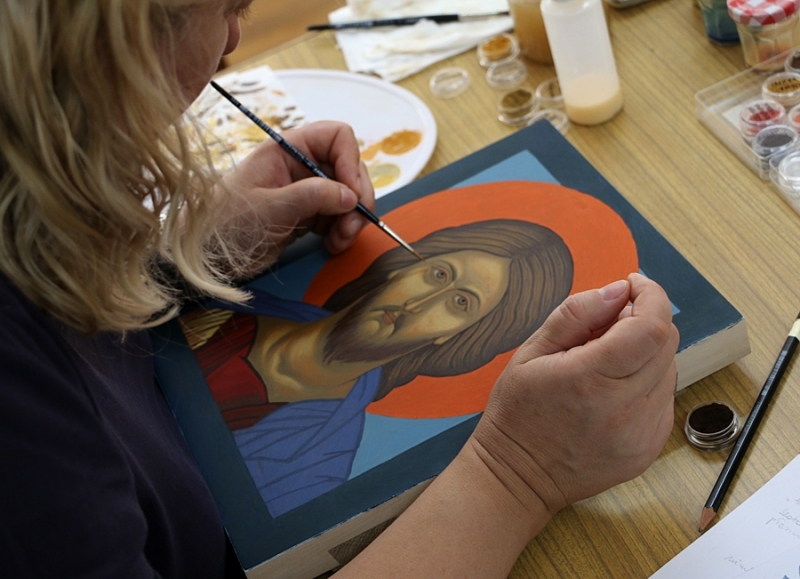 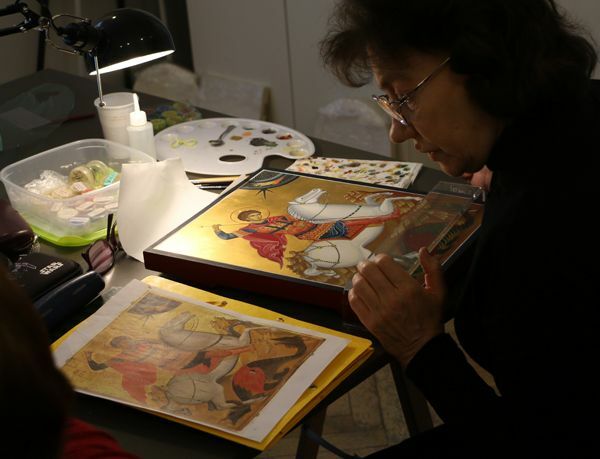 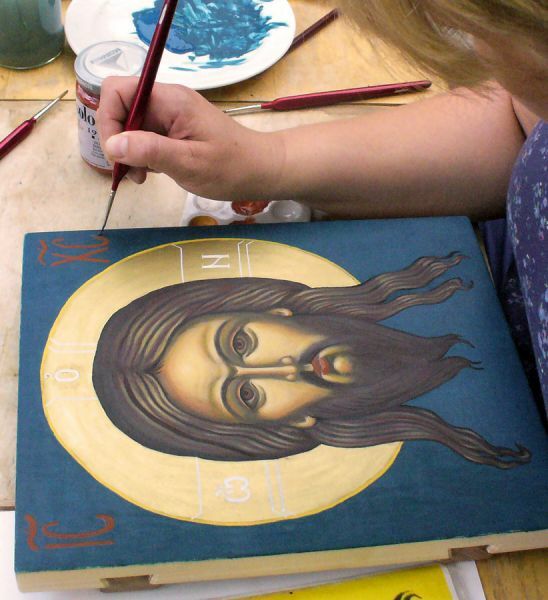 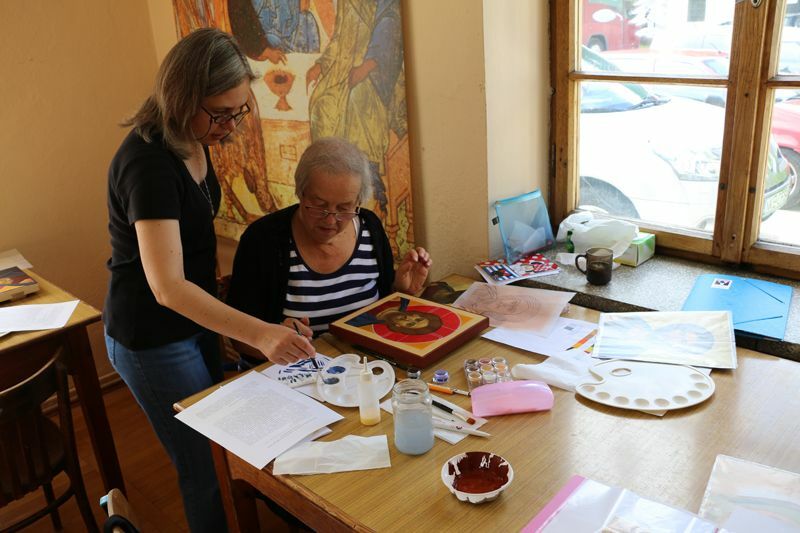 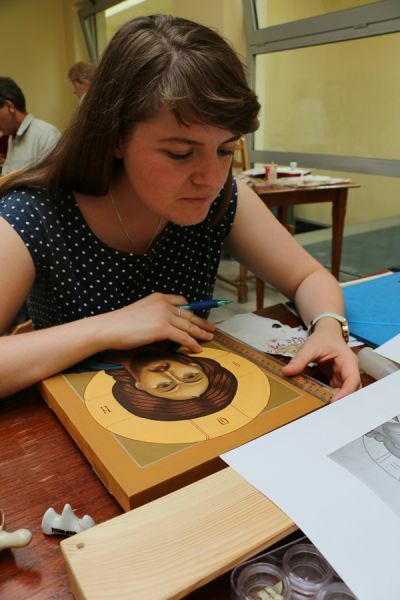 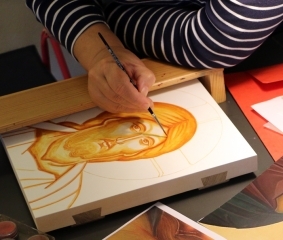 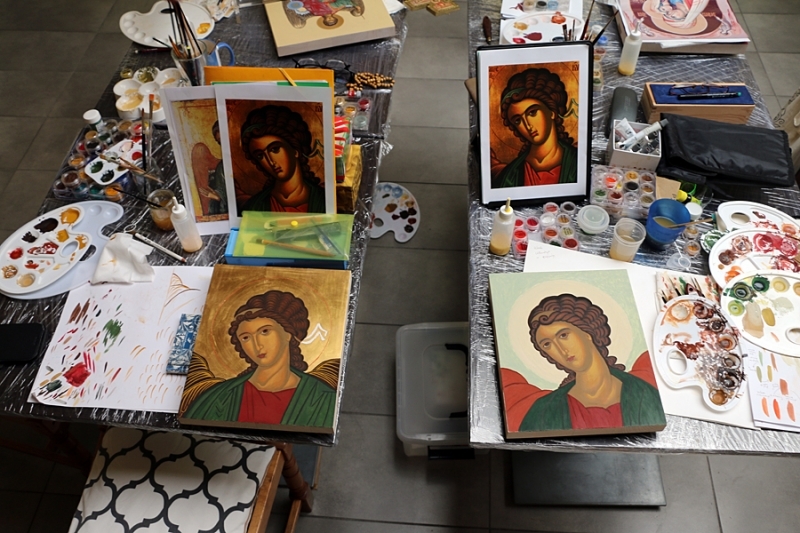 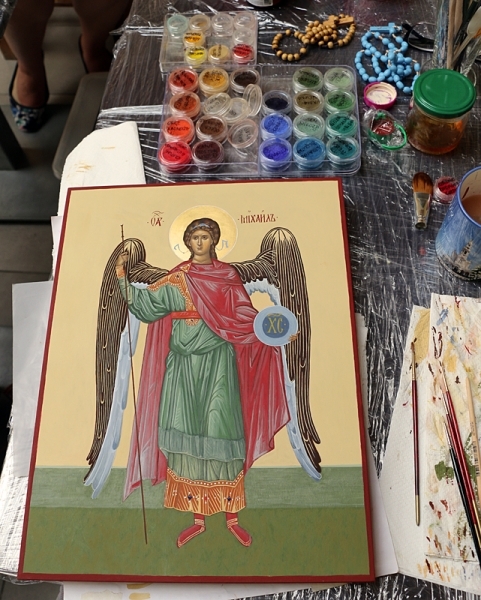 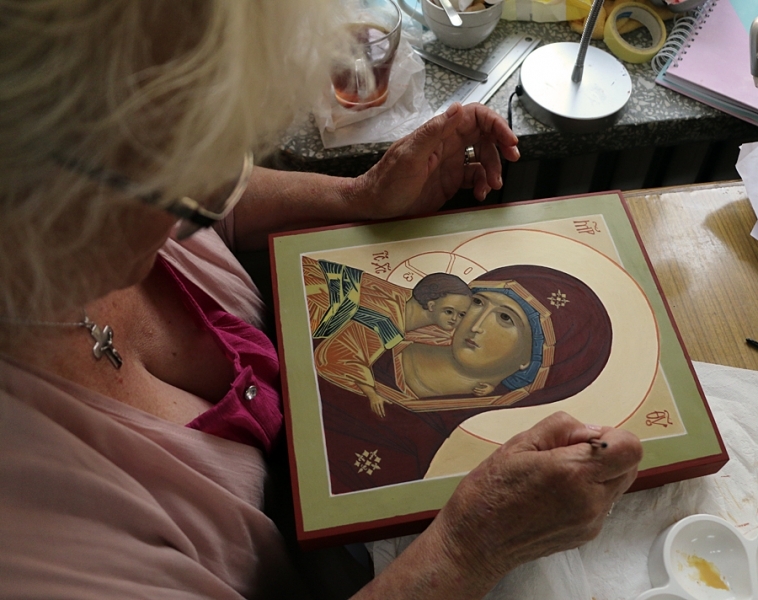 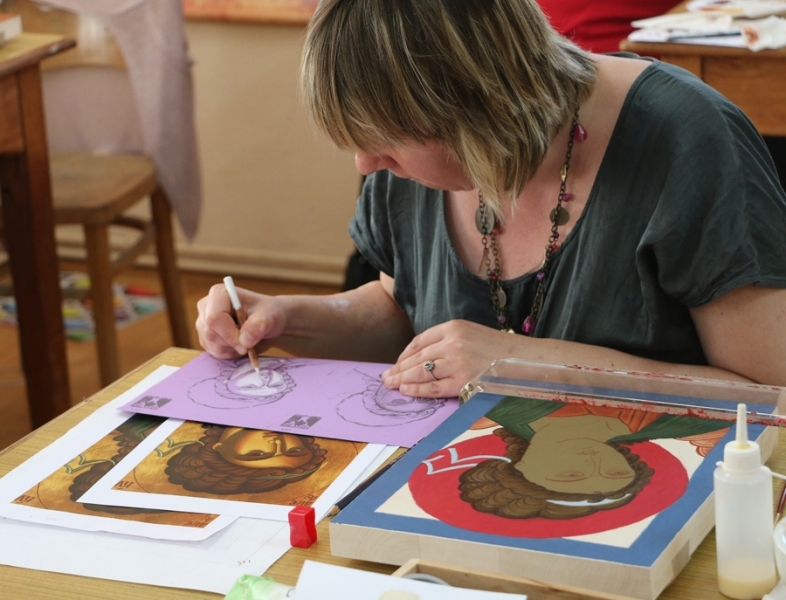 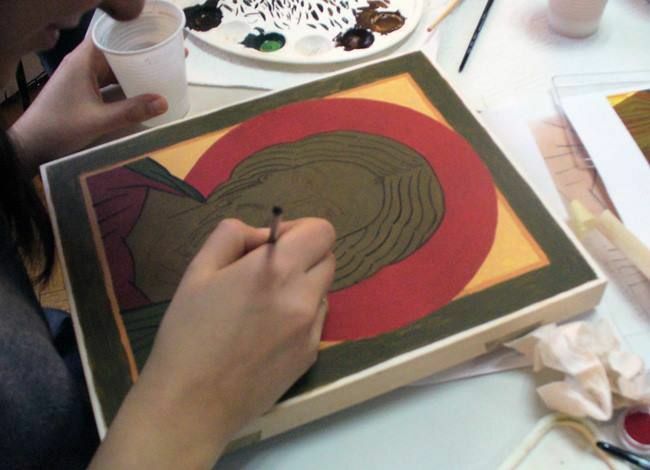 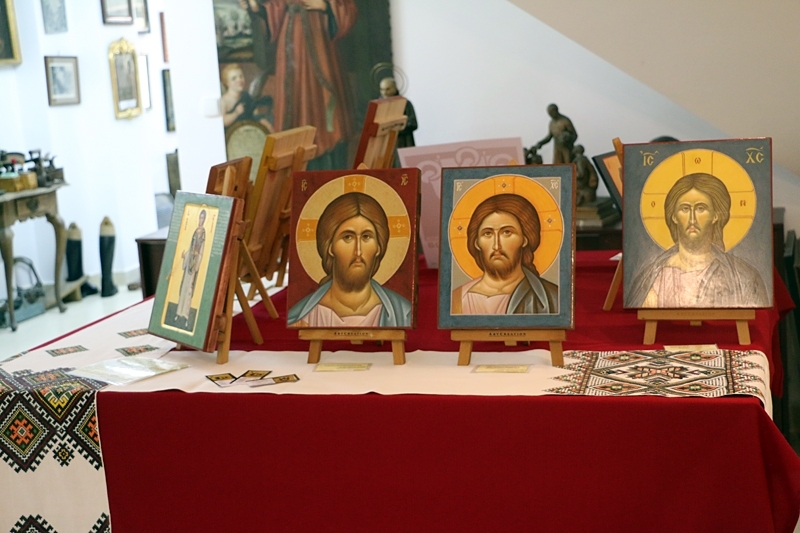 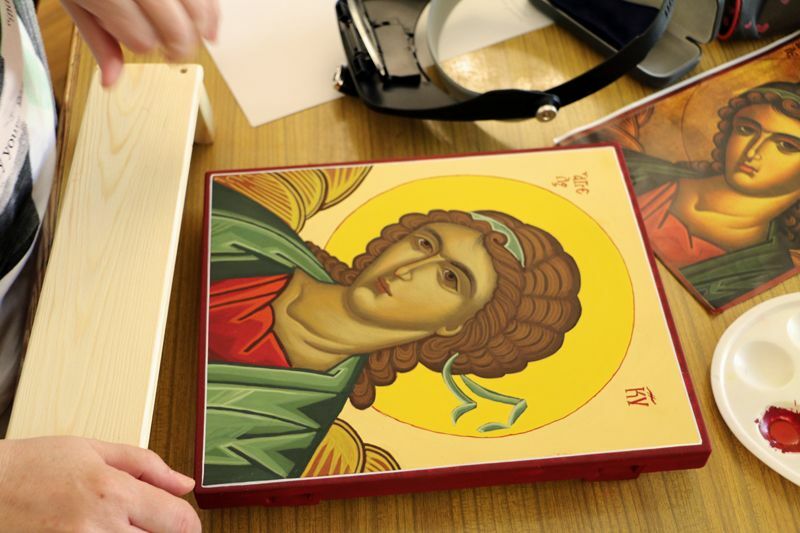 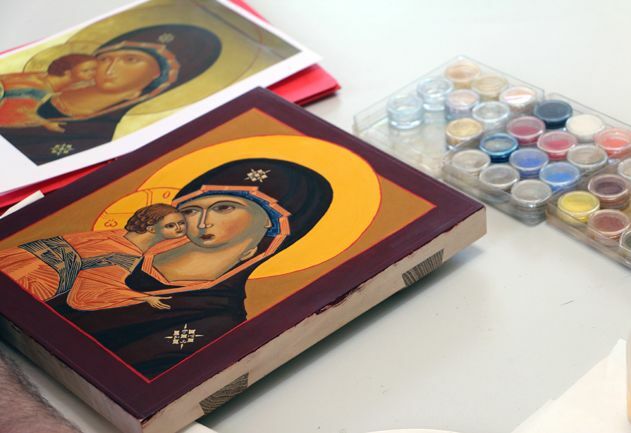 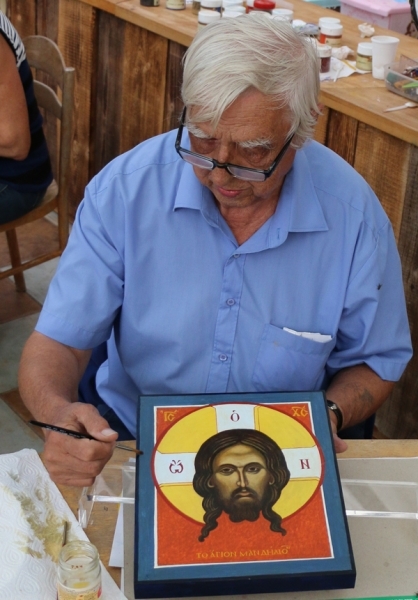 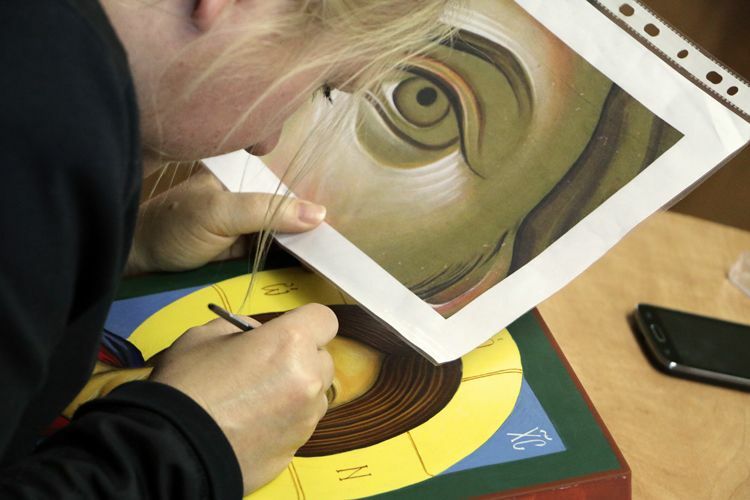 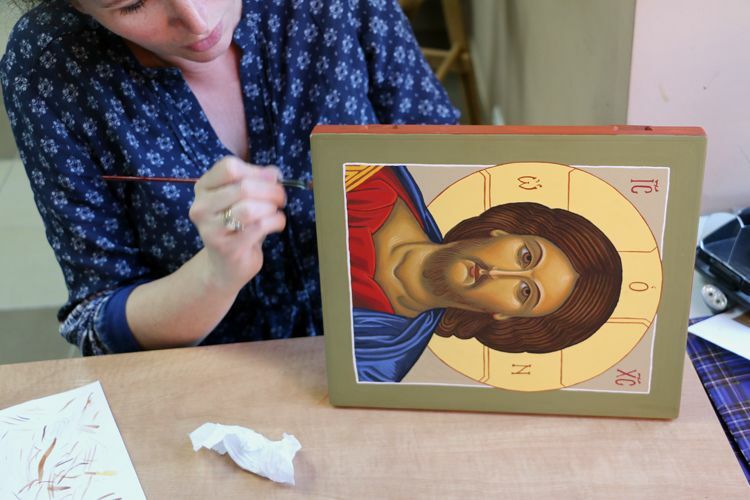 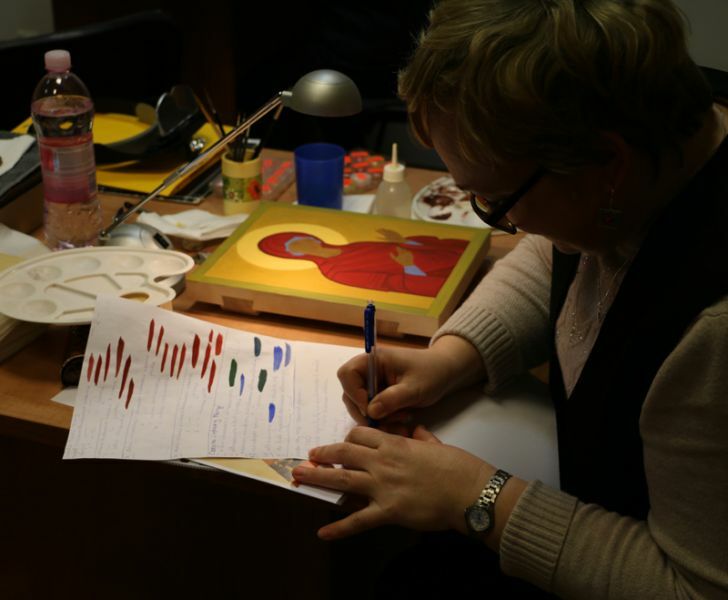 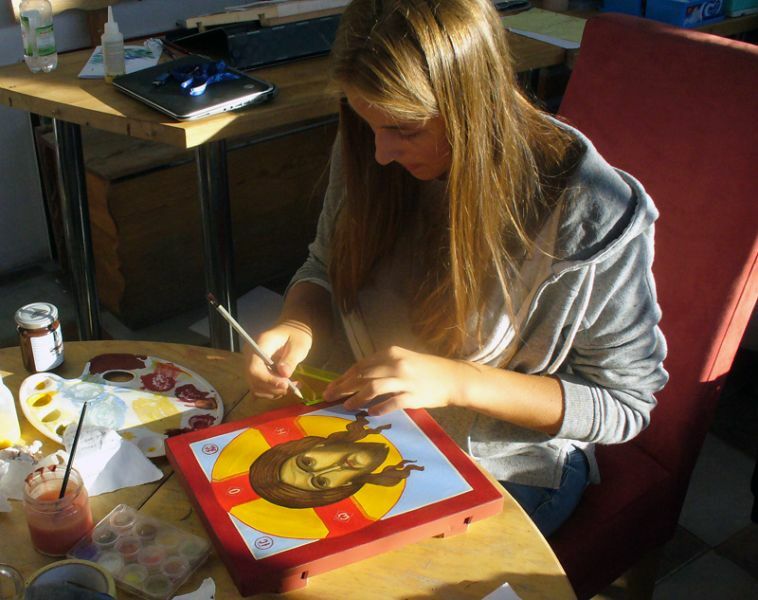 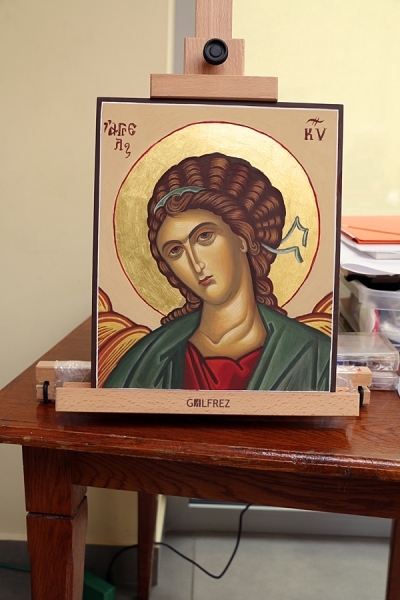 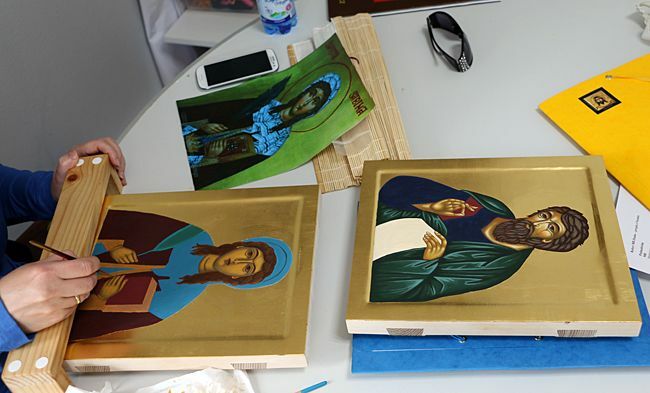 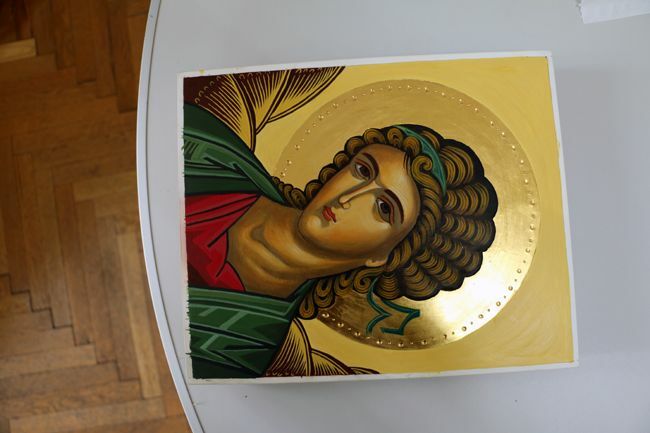 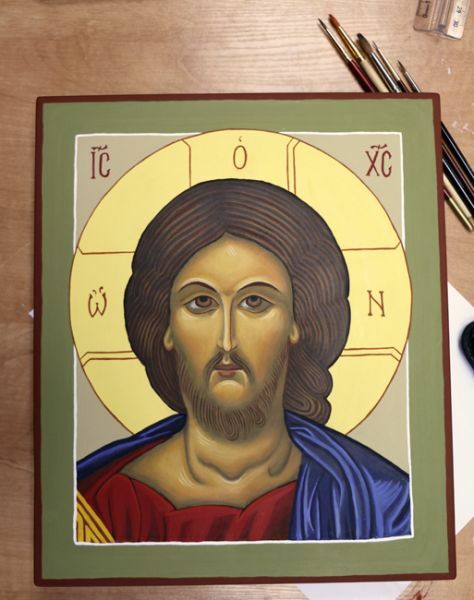 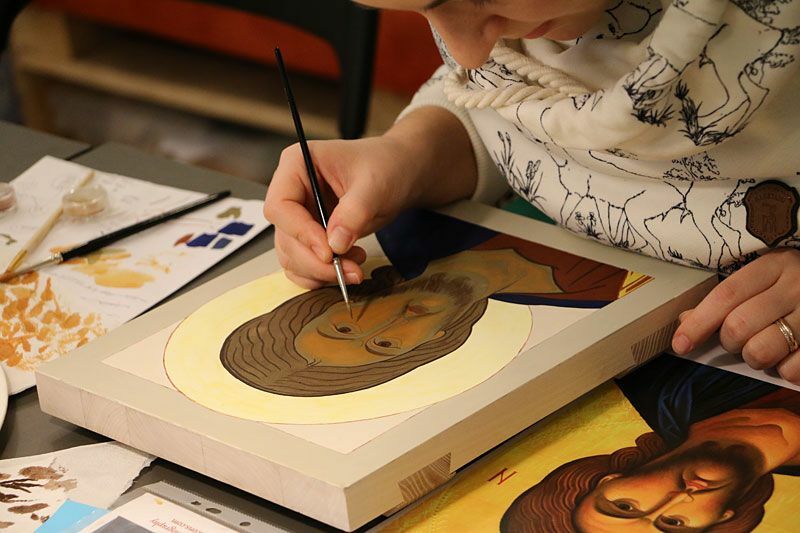 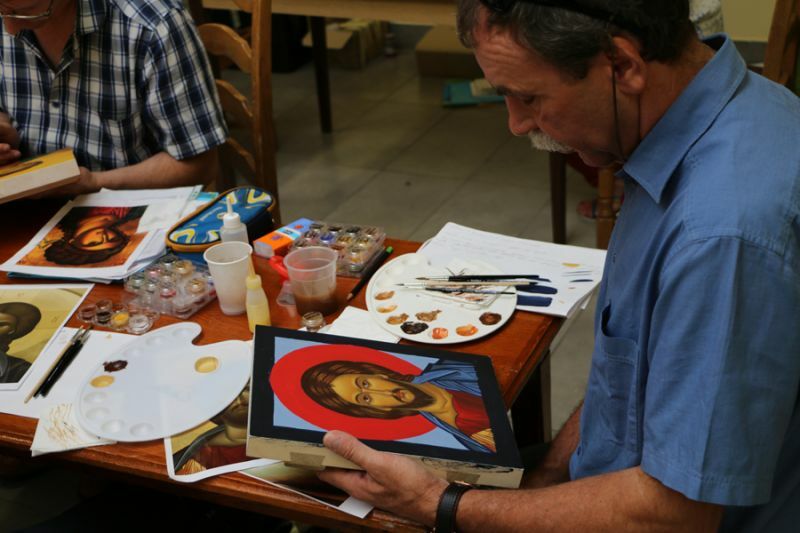 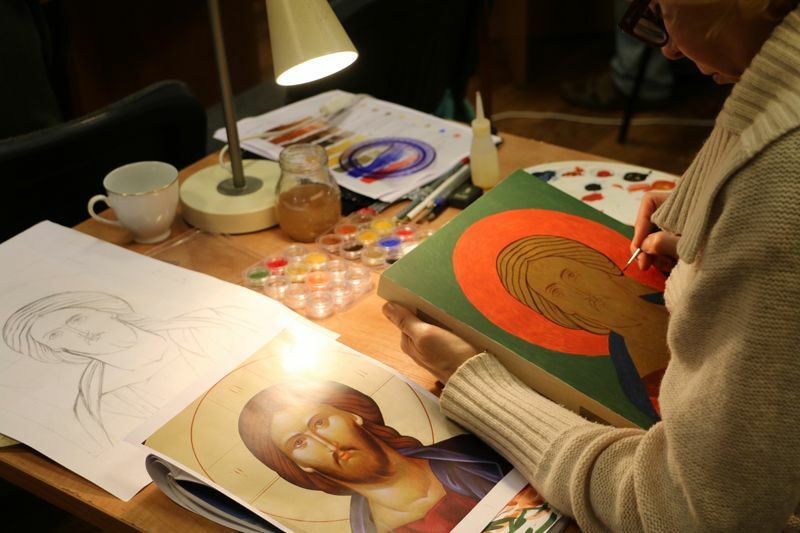 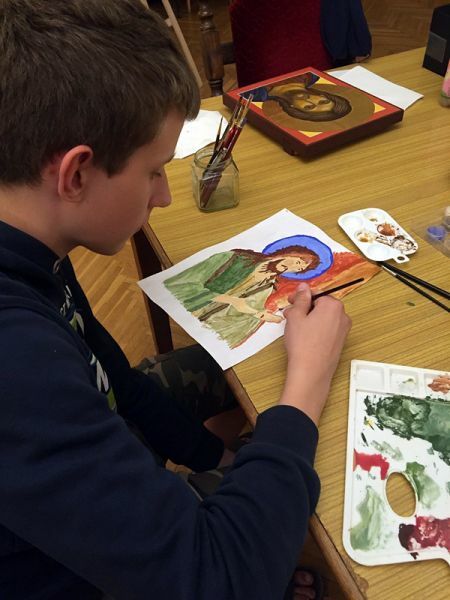 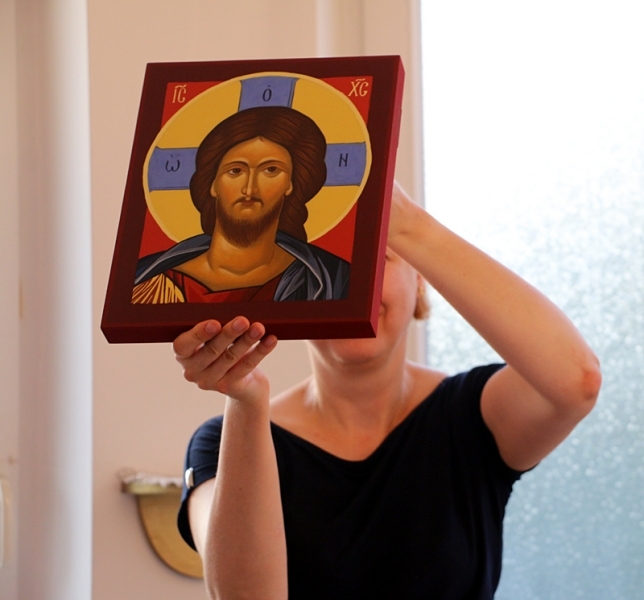 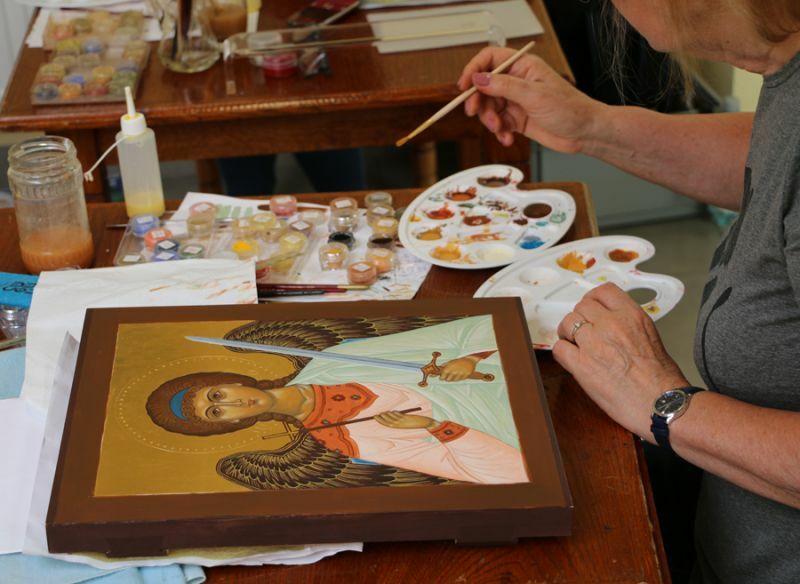 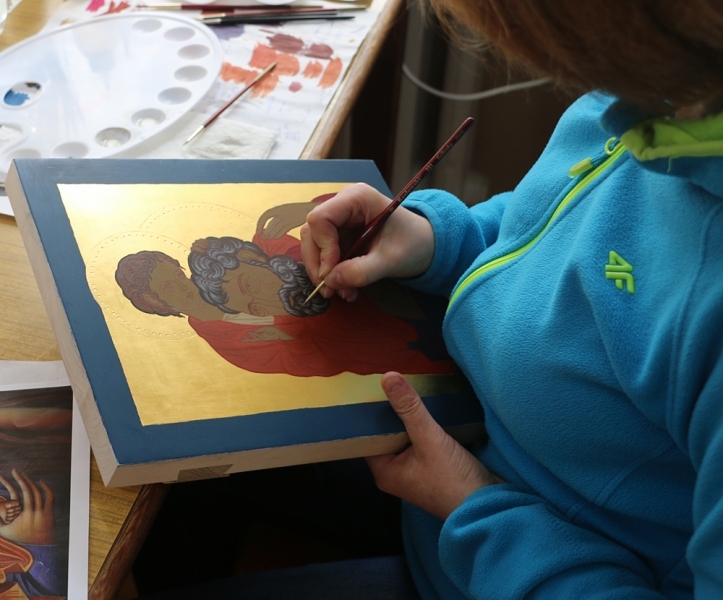 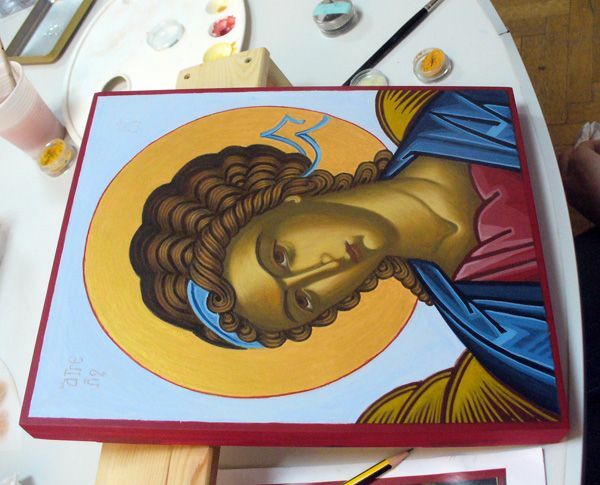 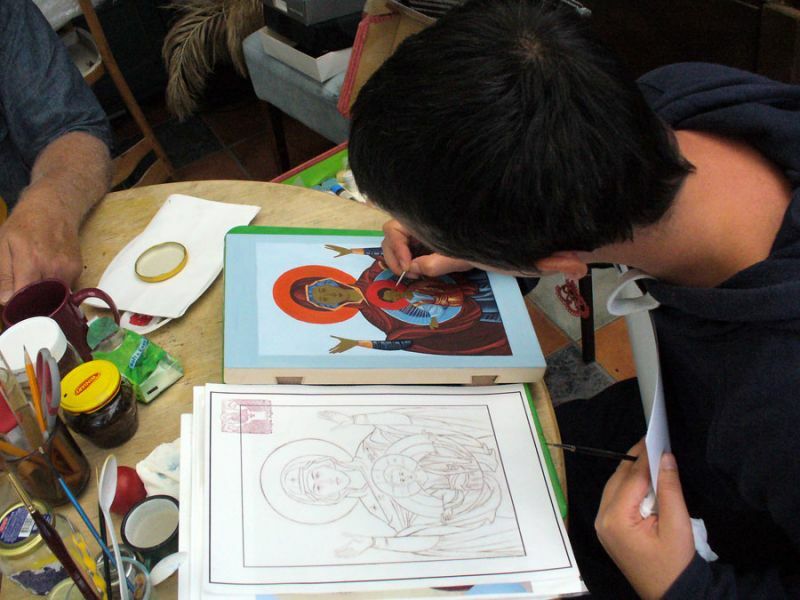 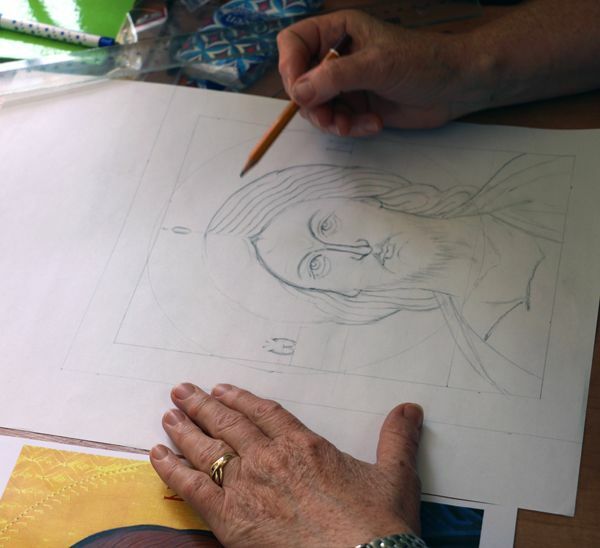 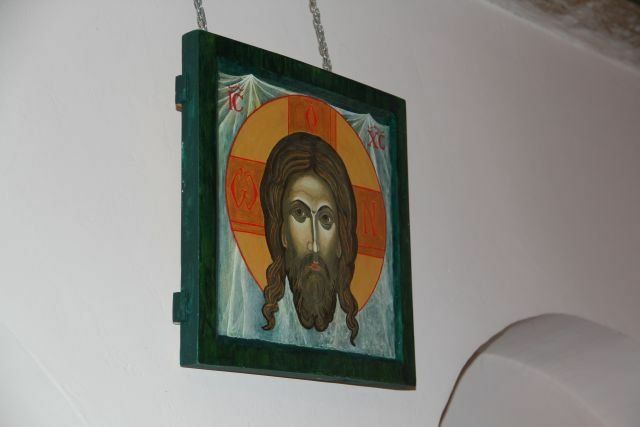 We worked on the subtype Pantocrator icon showing the arms of the Savior. 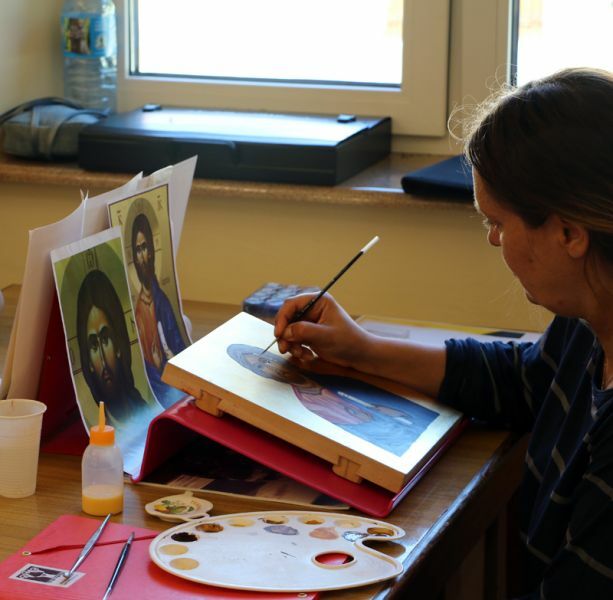 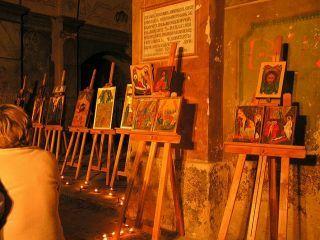 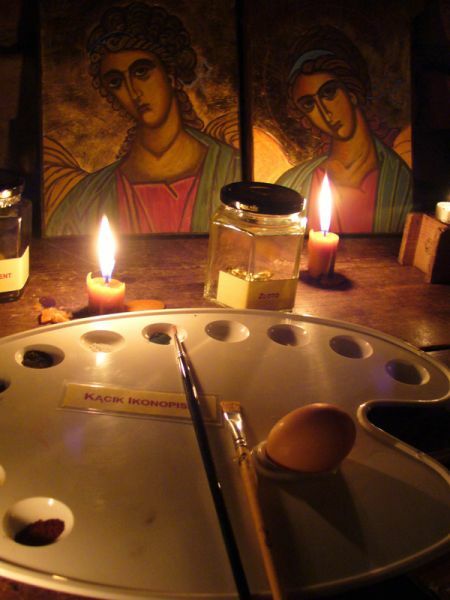 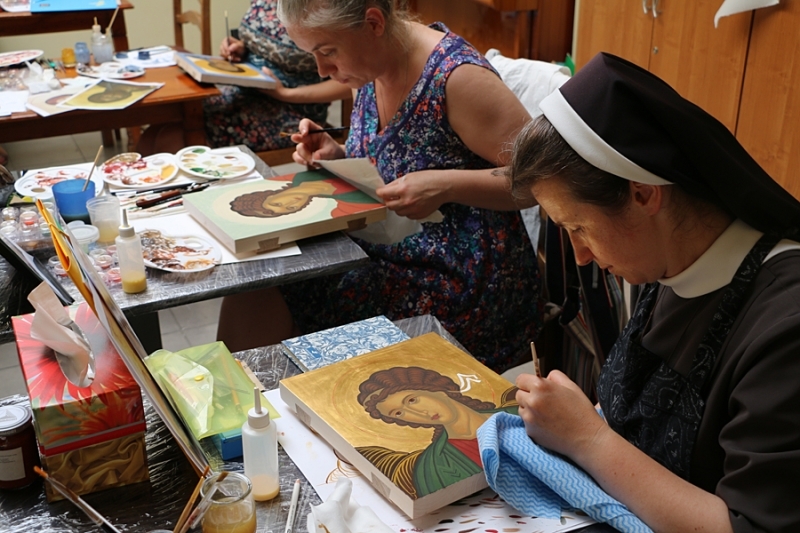 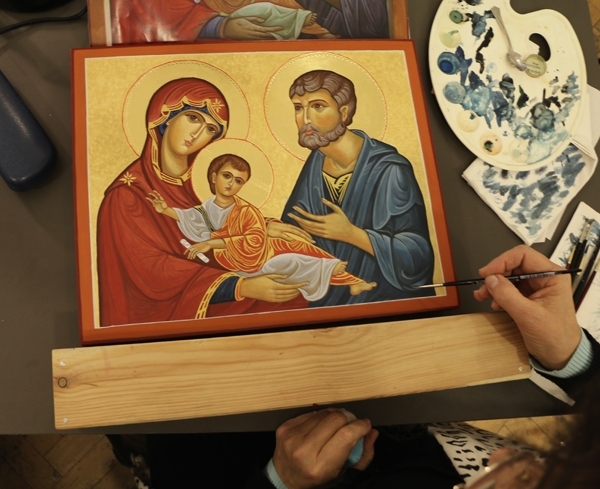 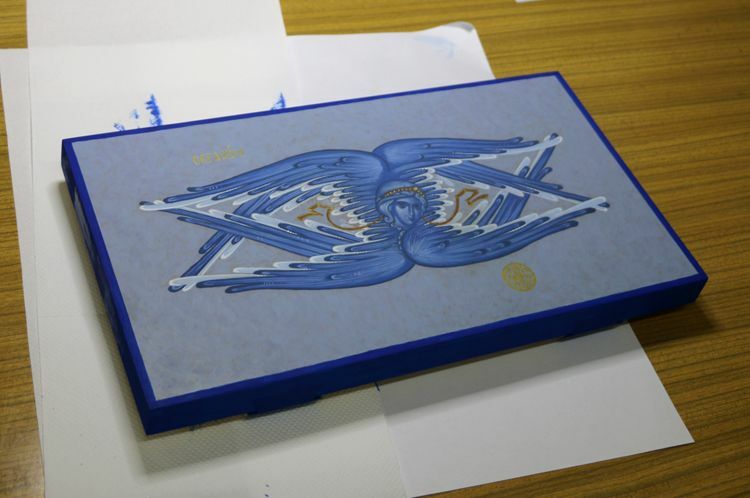 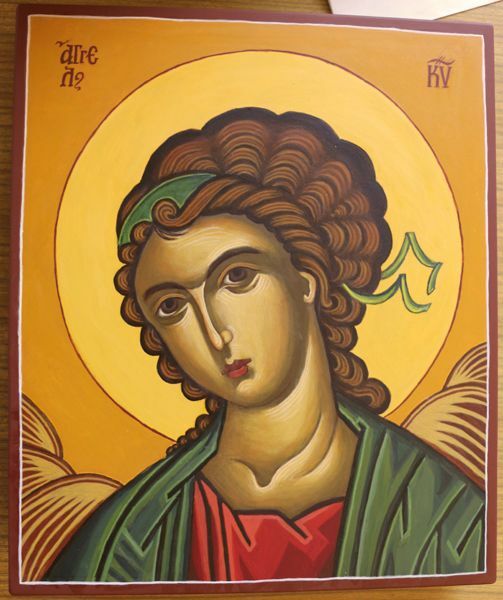 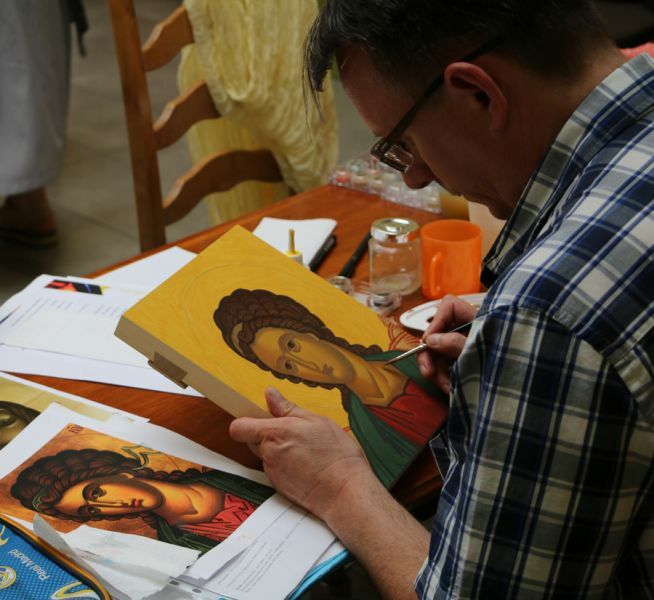 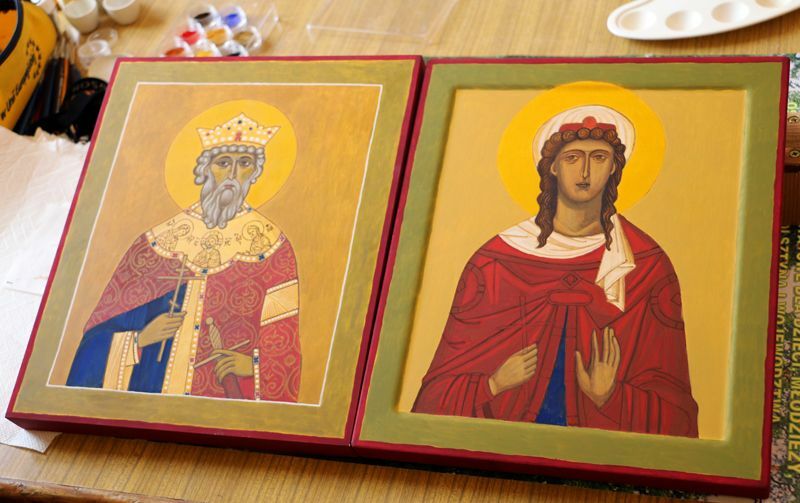 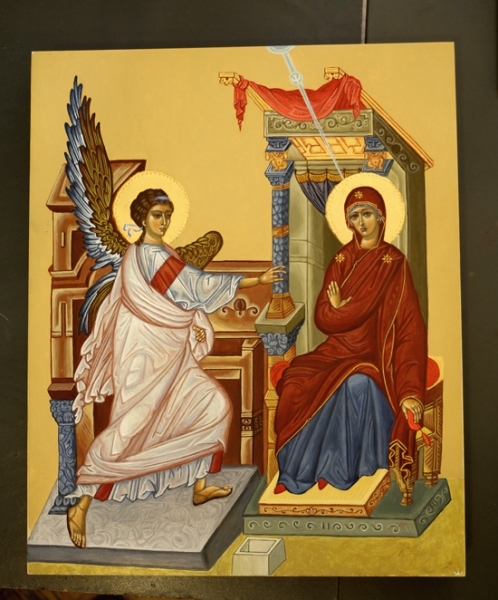 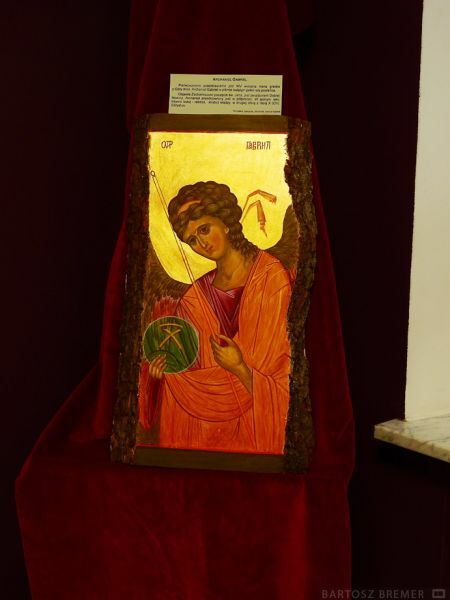 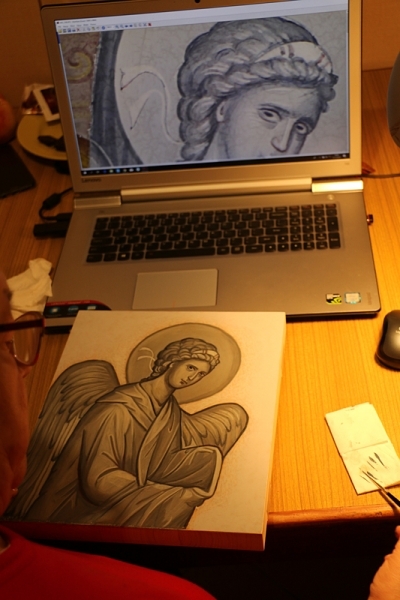 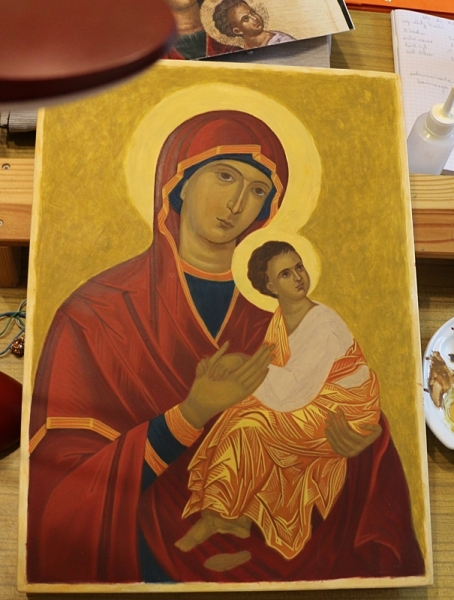 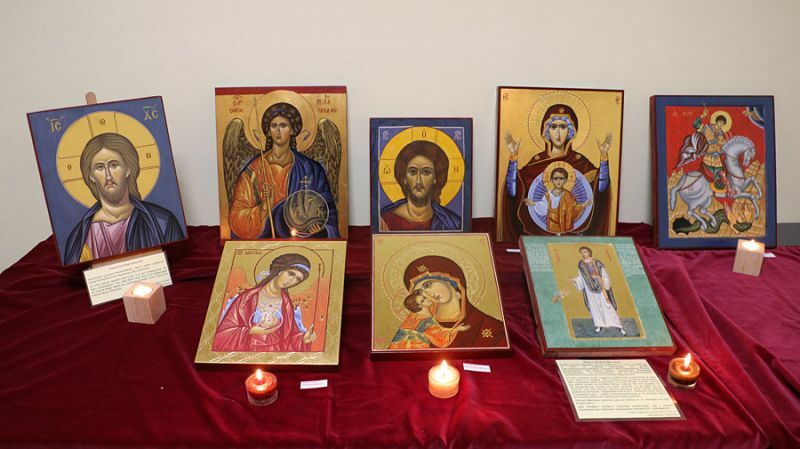 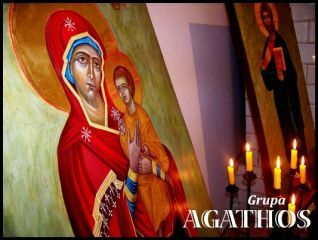 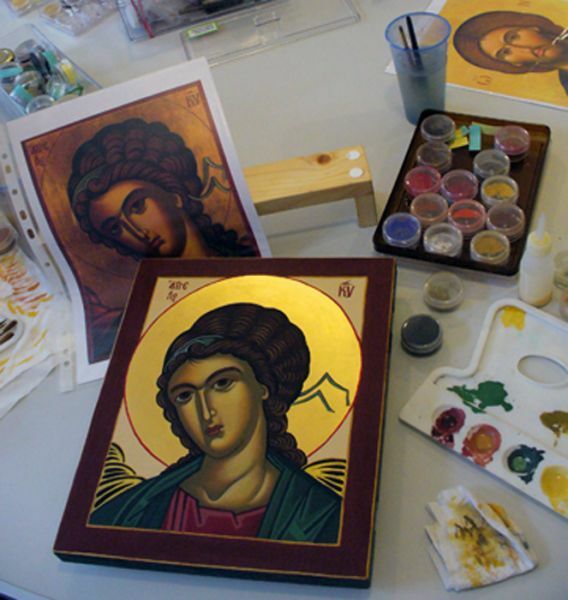 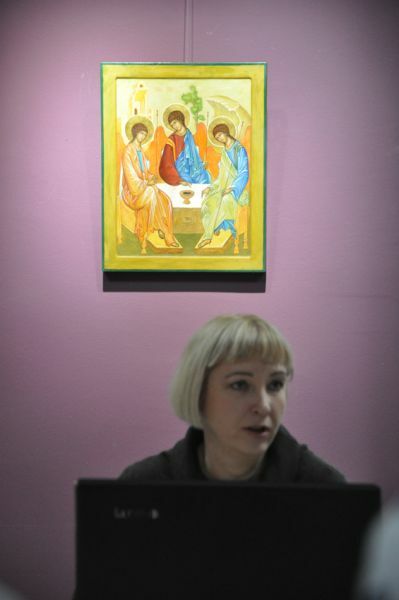 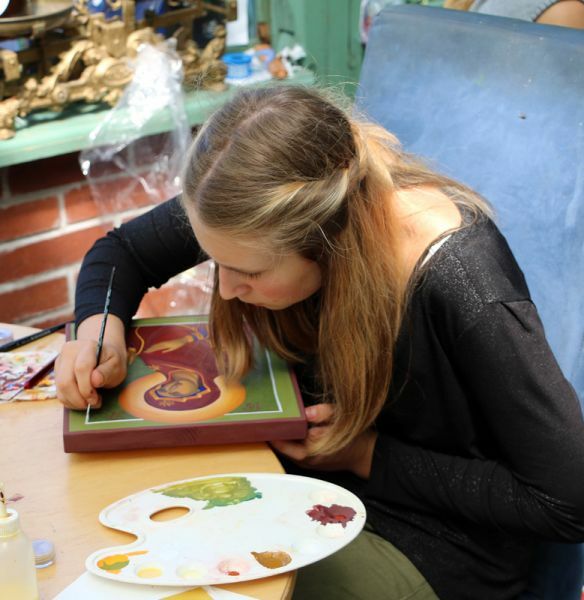 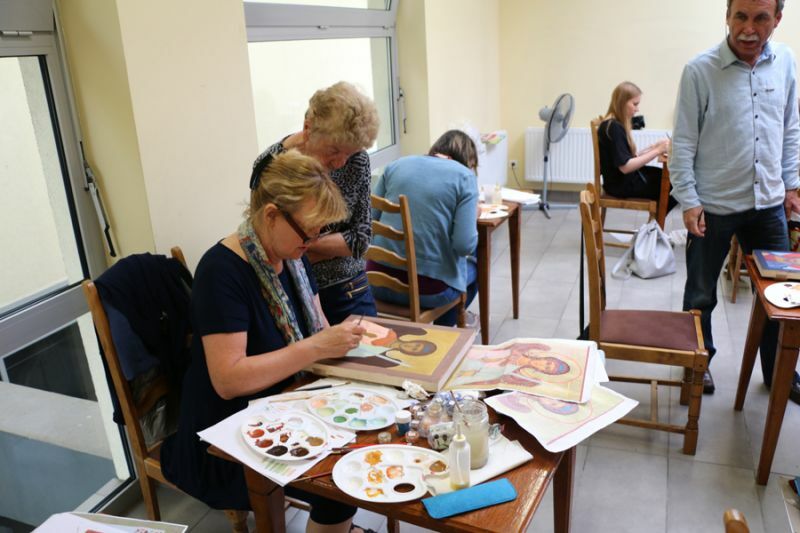 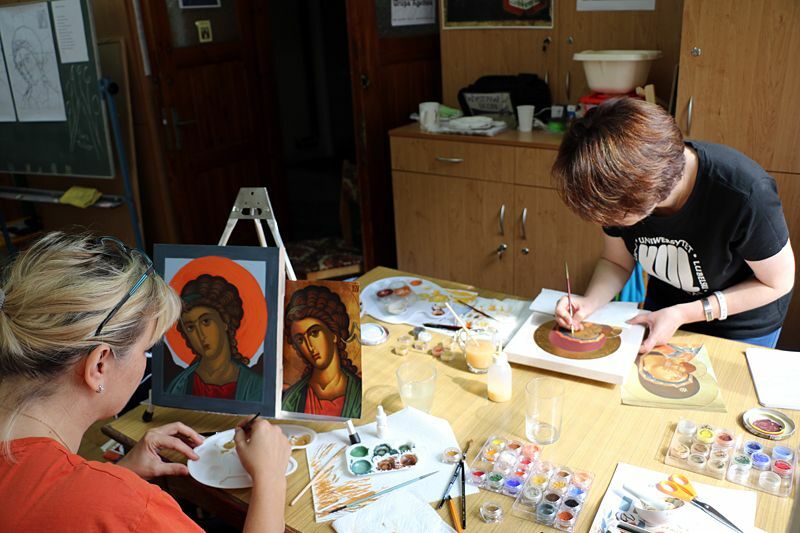 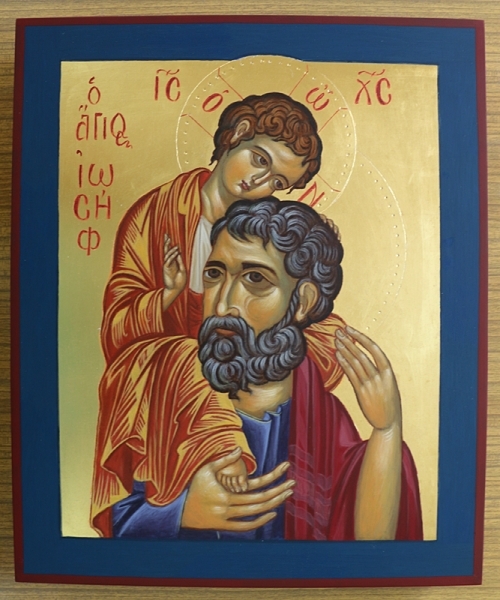 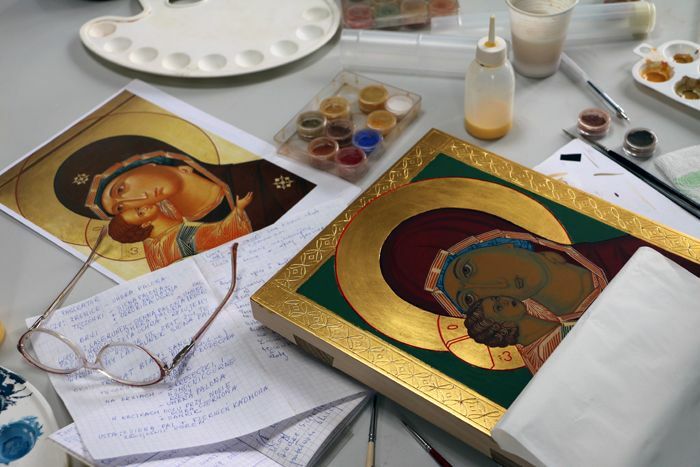 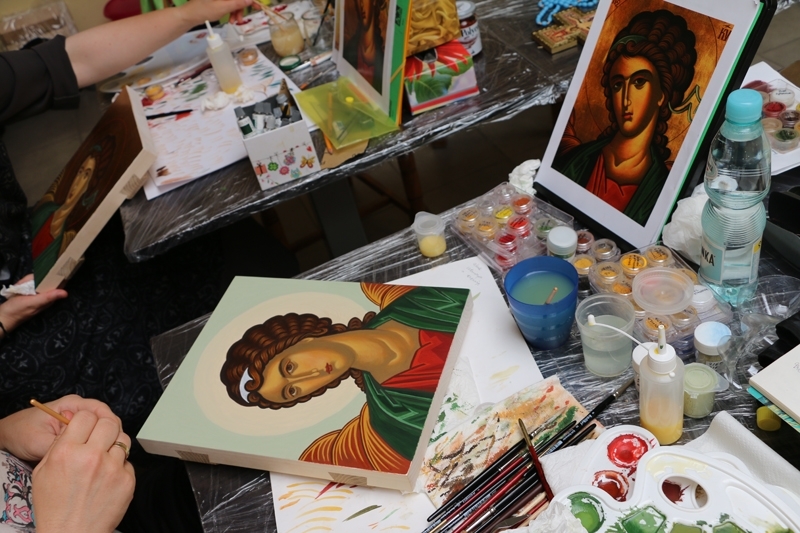 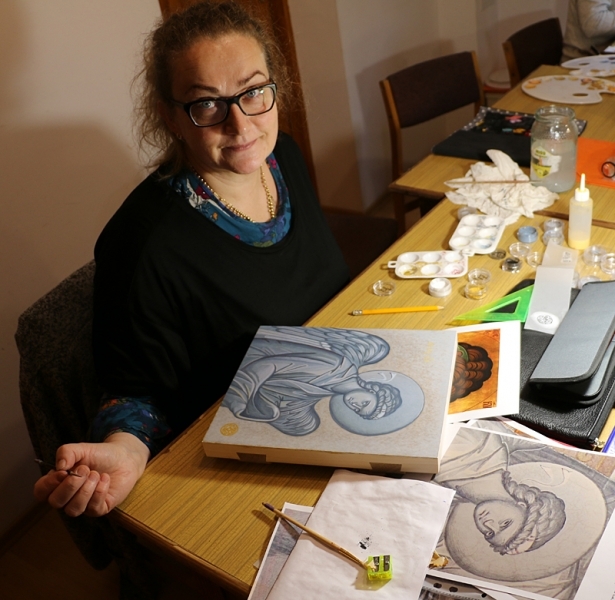 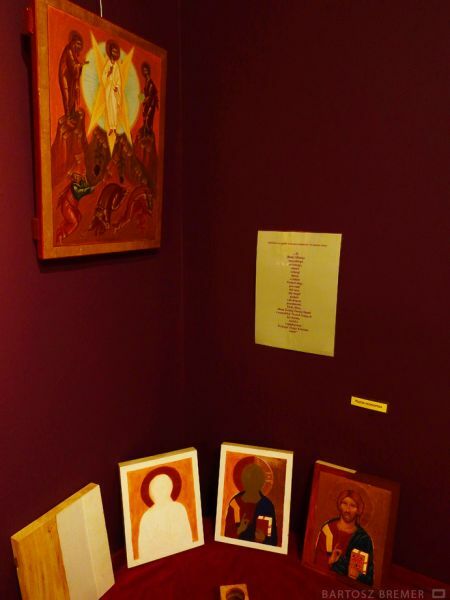 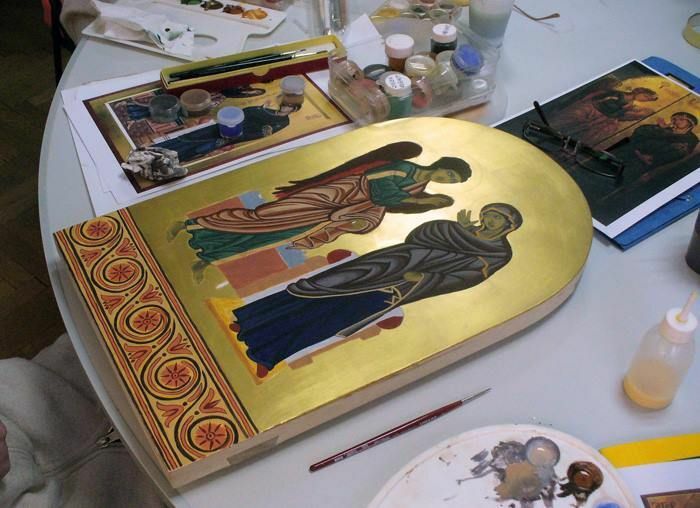 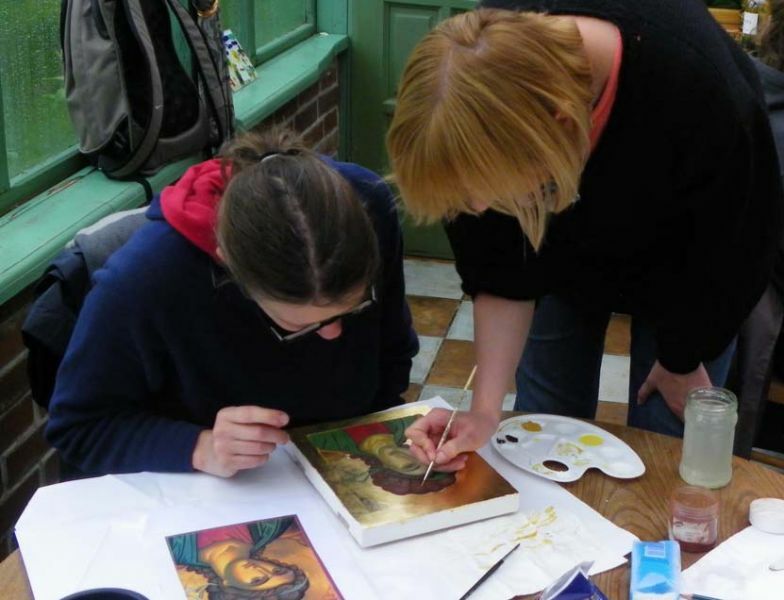 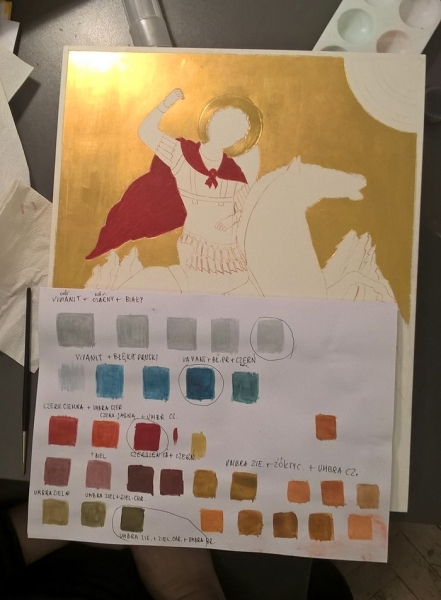 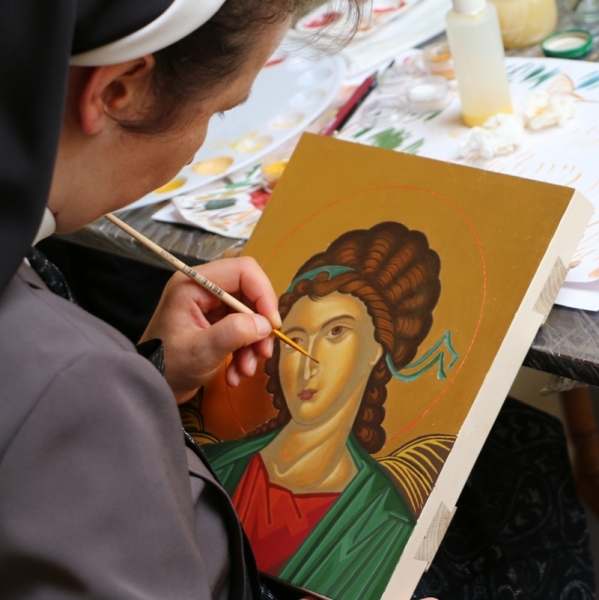 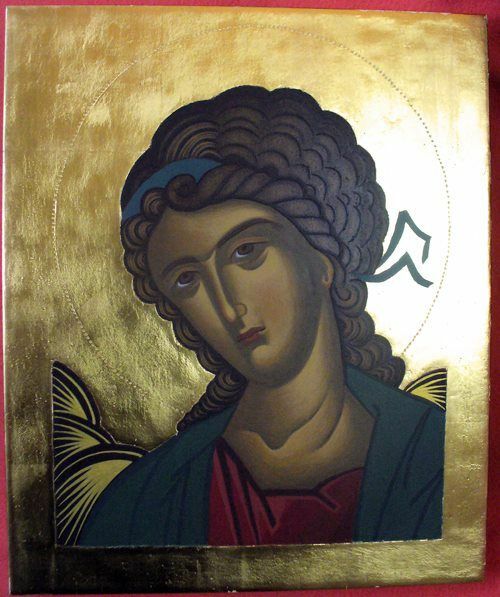 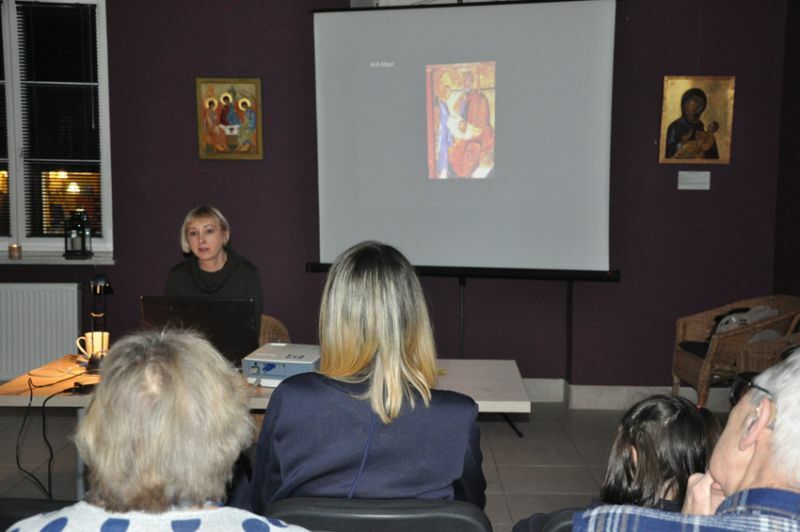 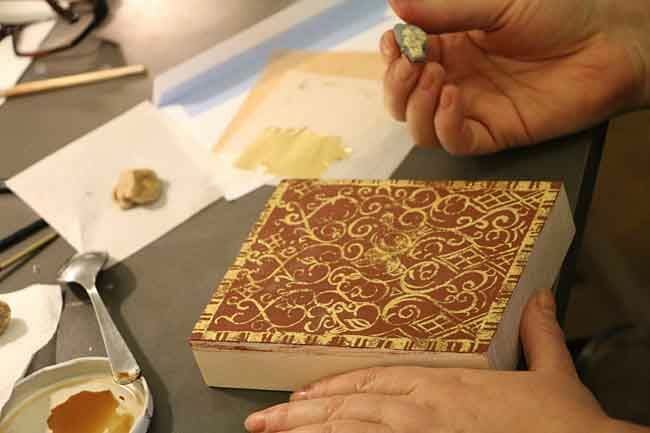 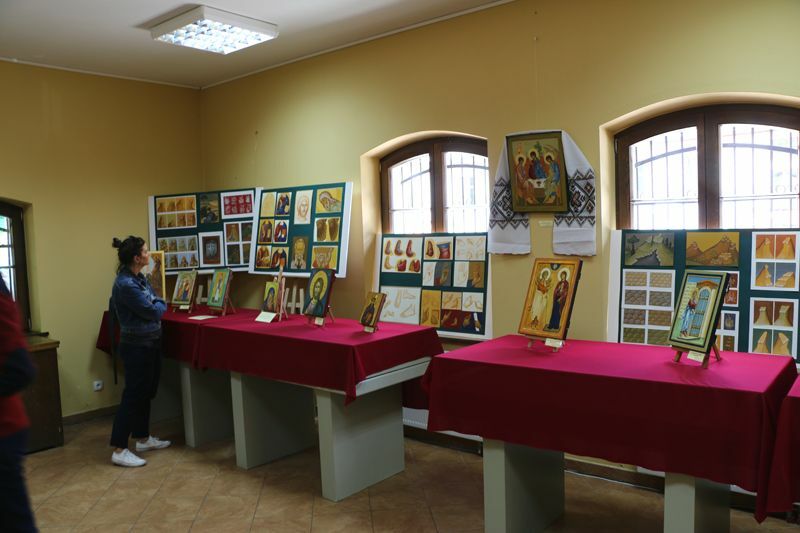 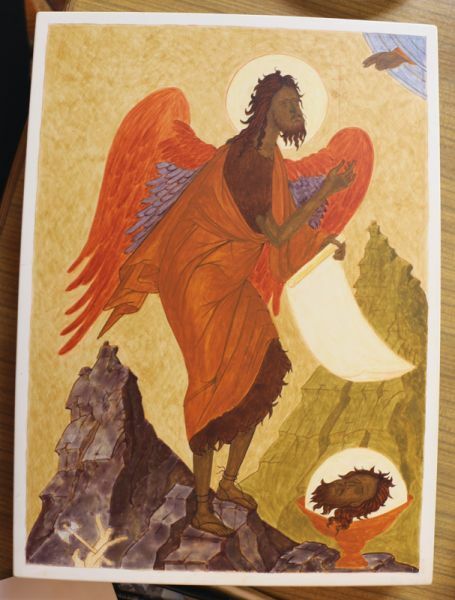 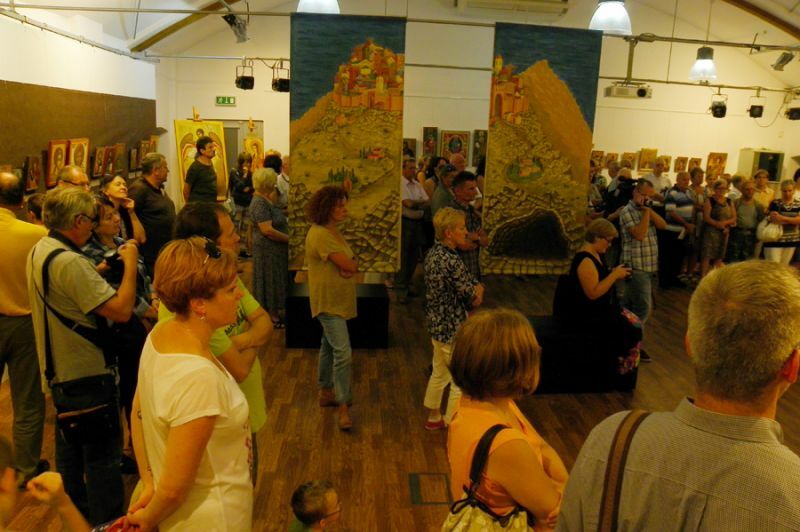 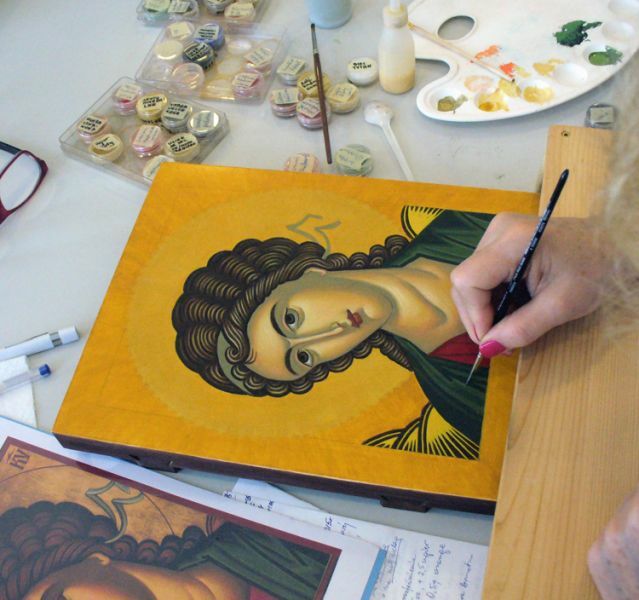 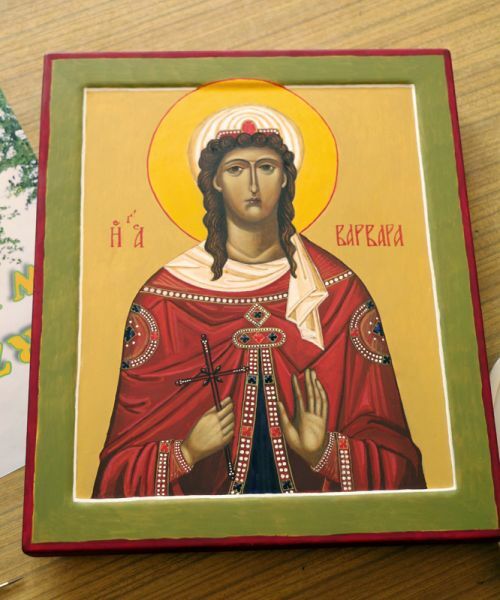 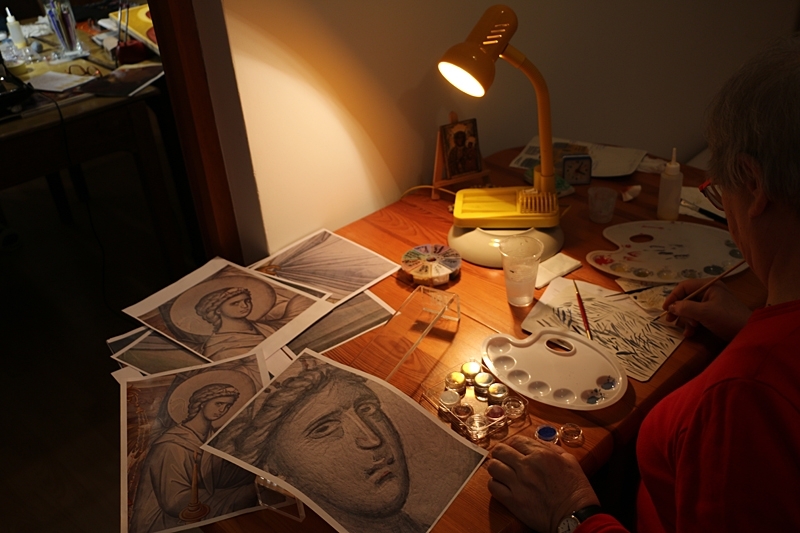 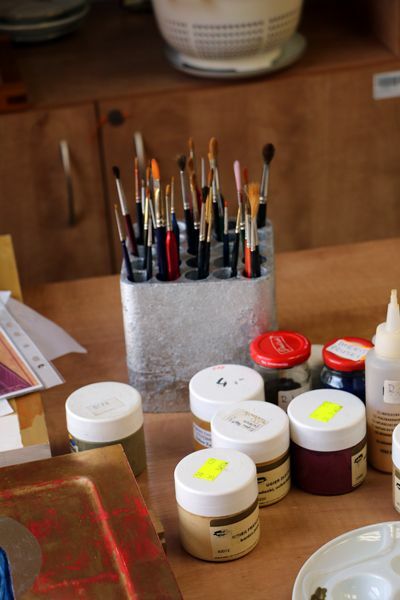 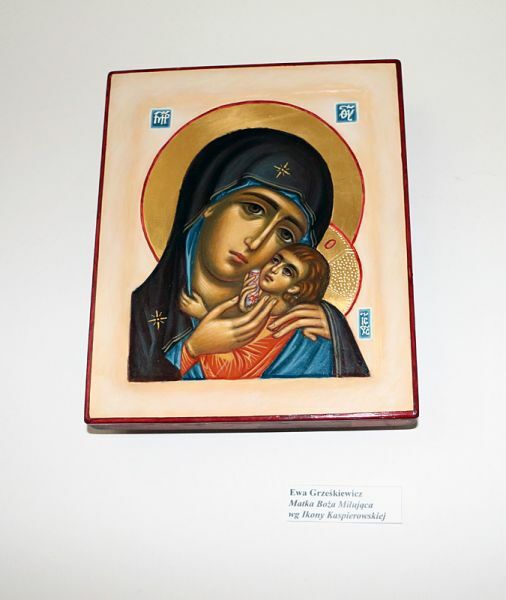 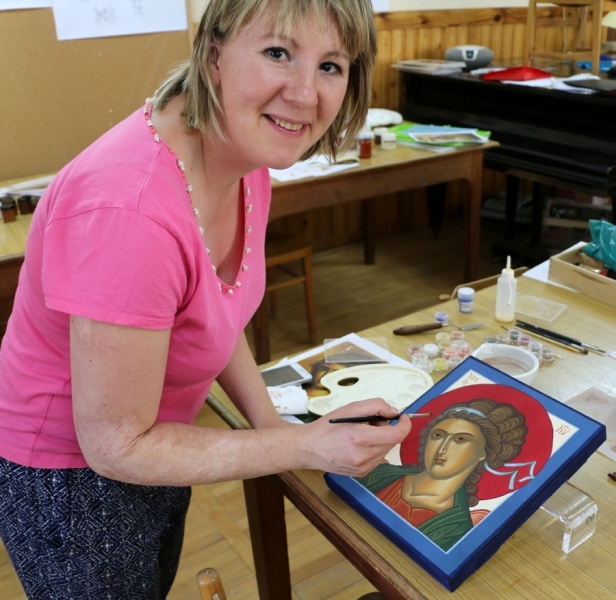 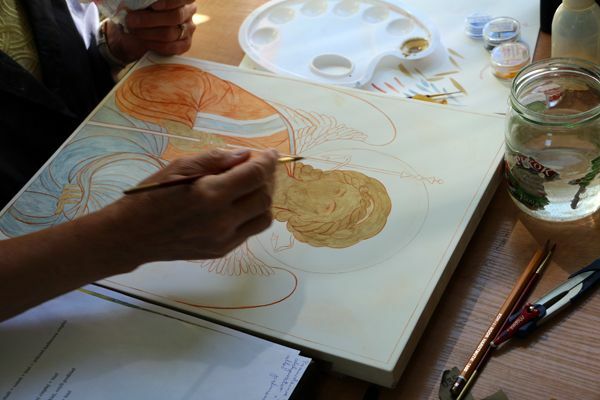 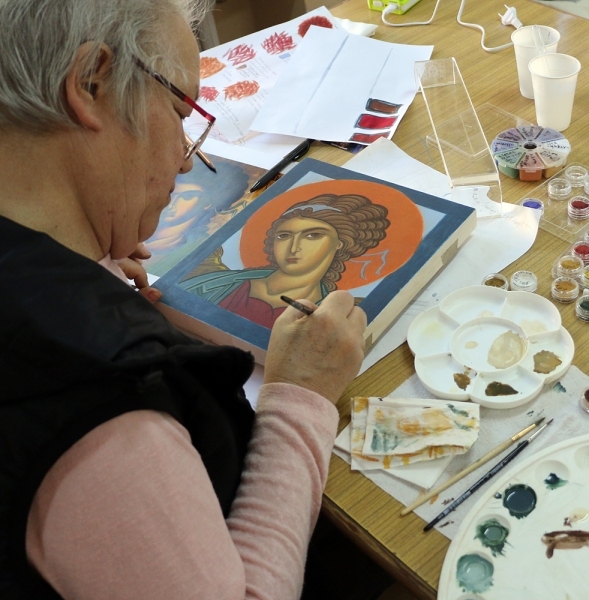 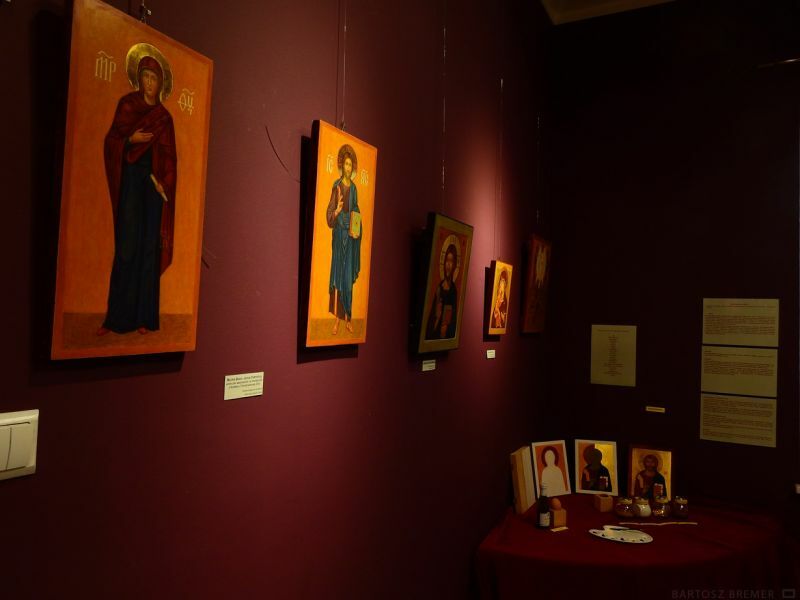 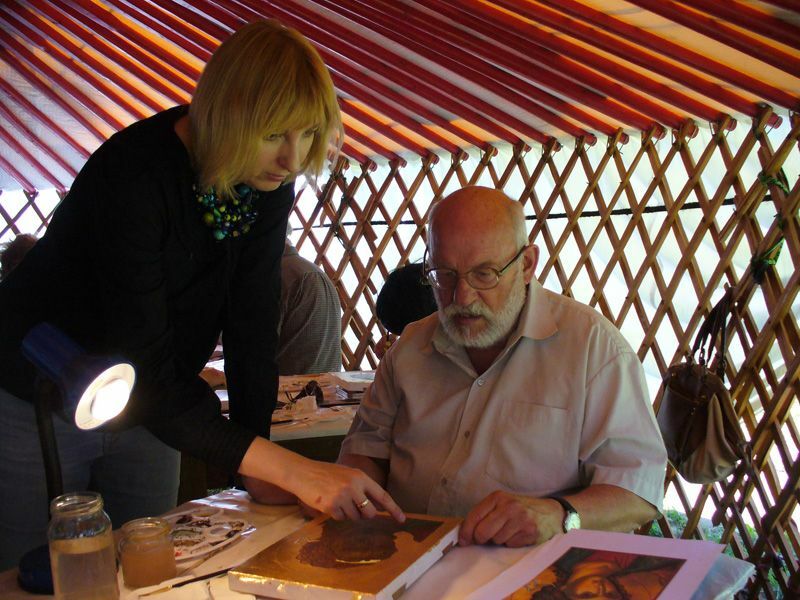 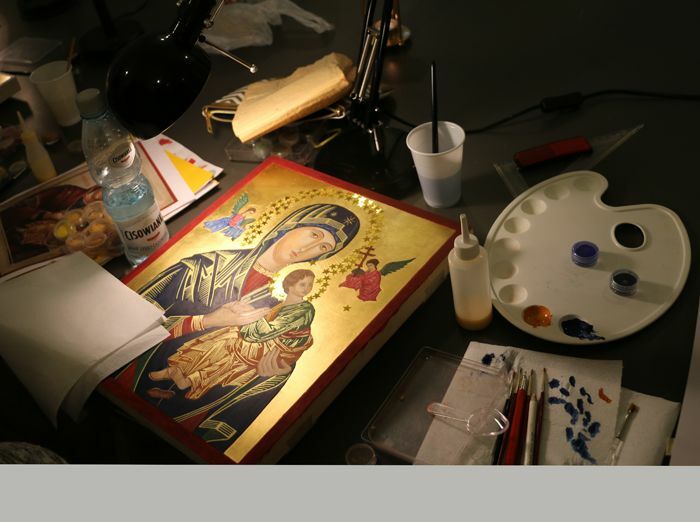 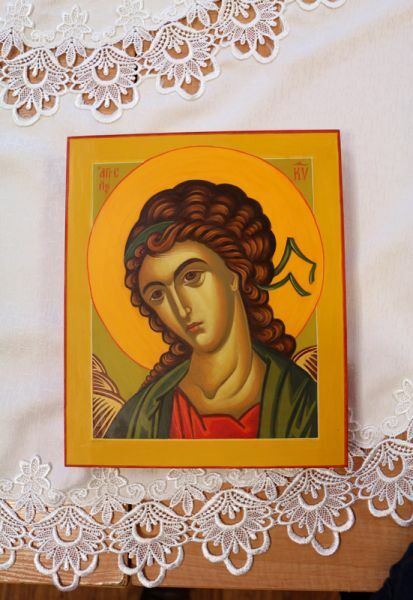 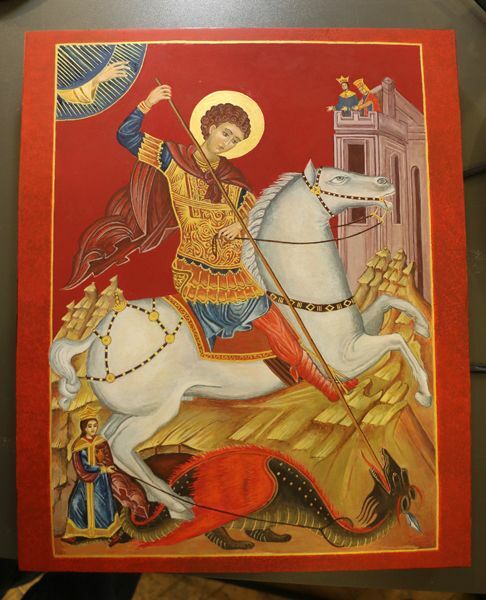 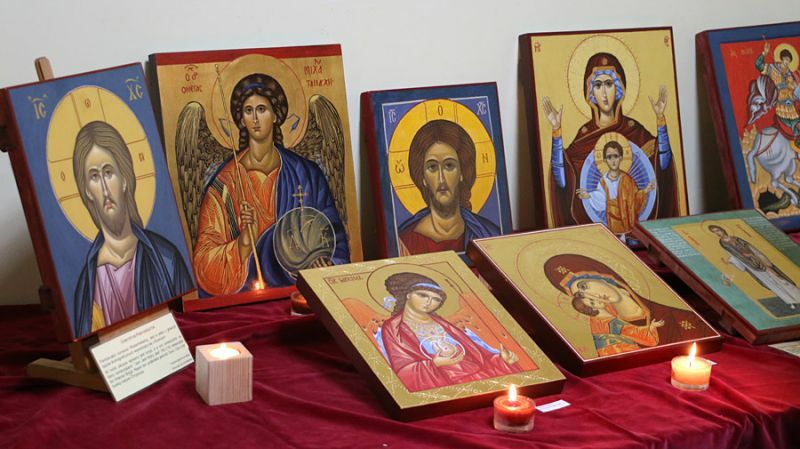 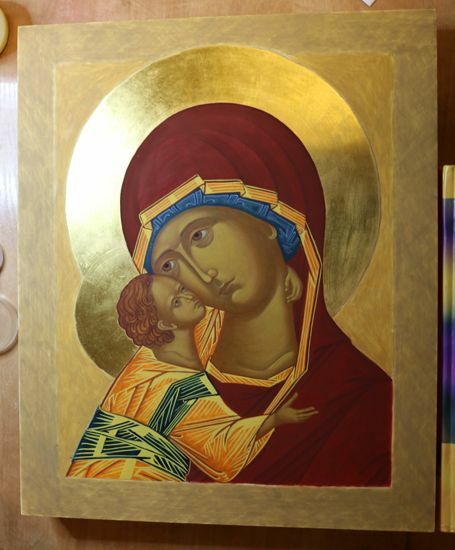 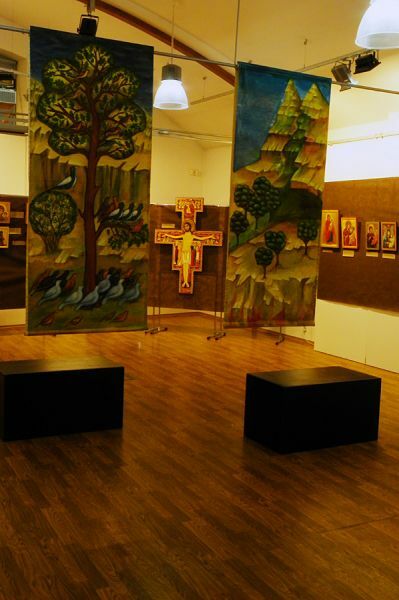 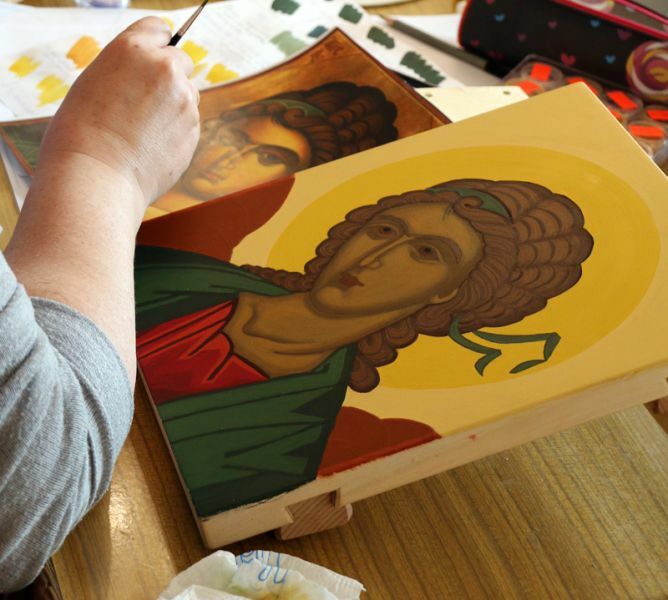 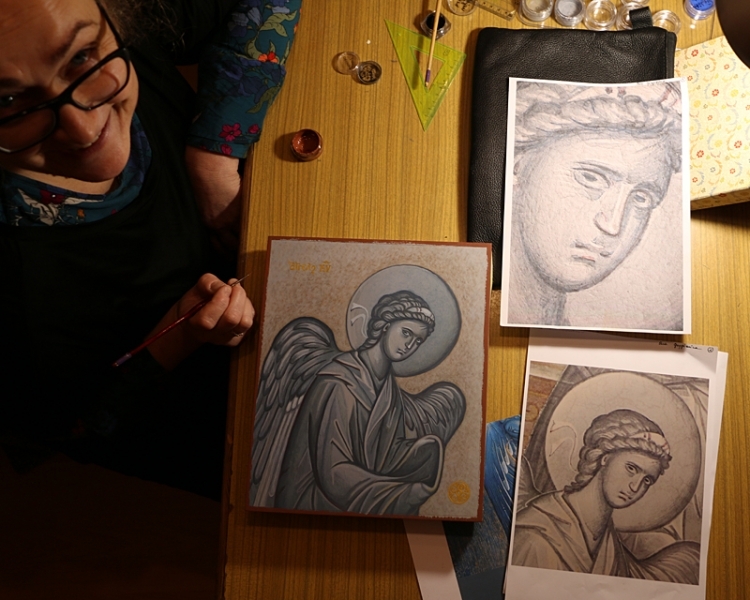 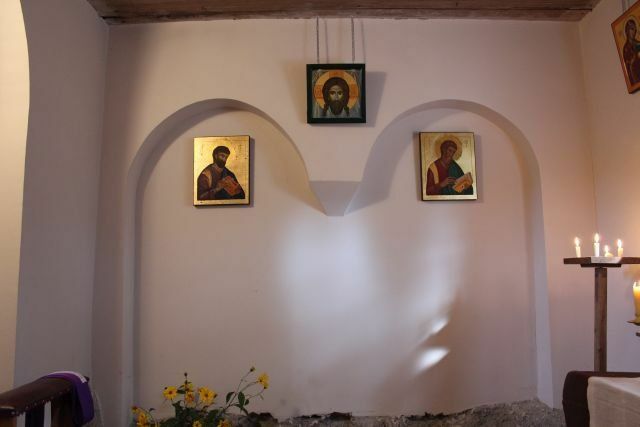 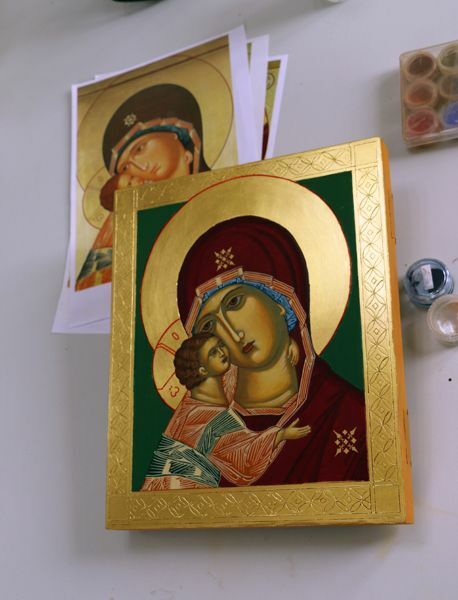 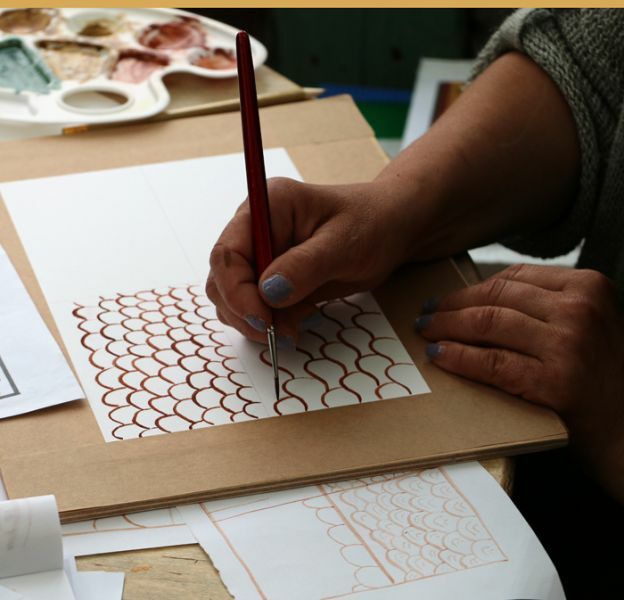 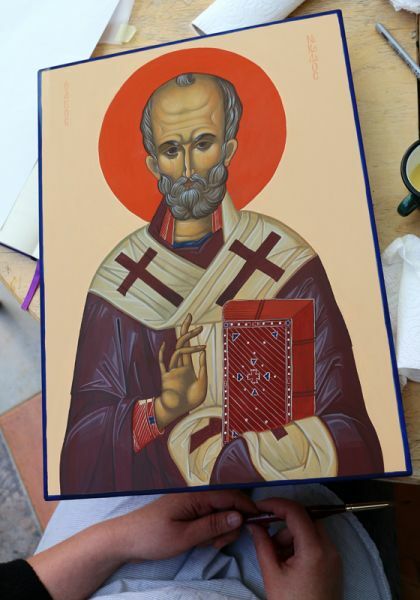 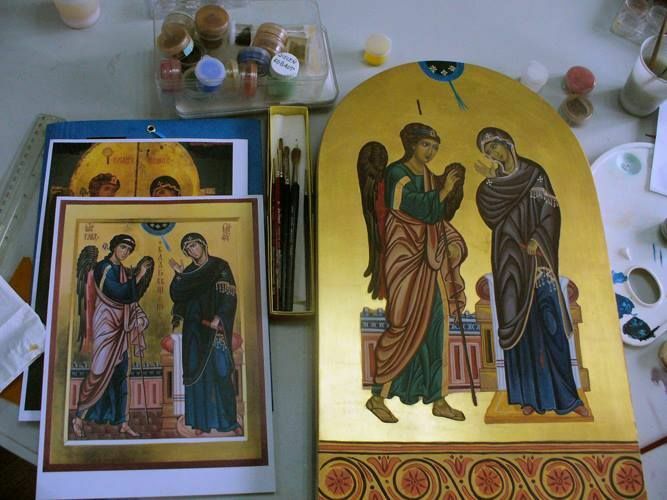 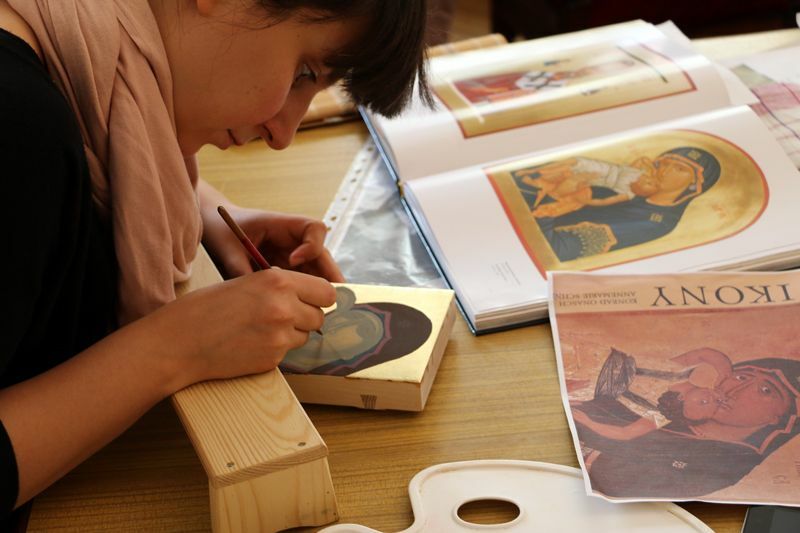 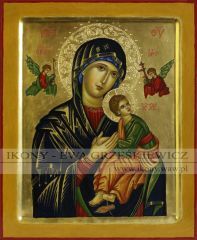 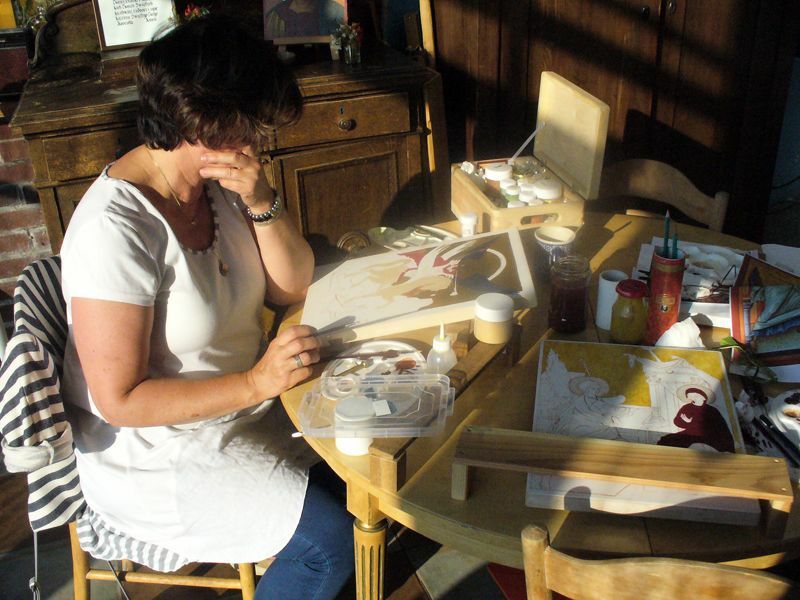 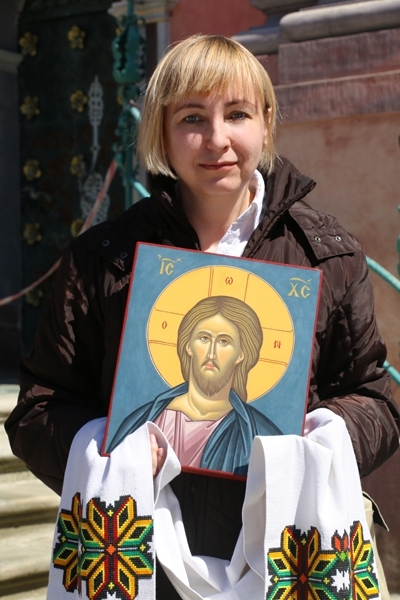 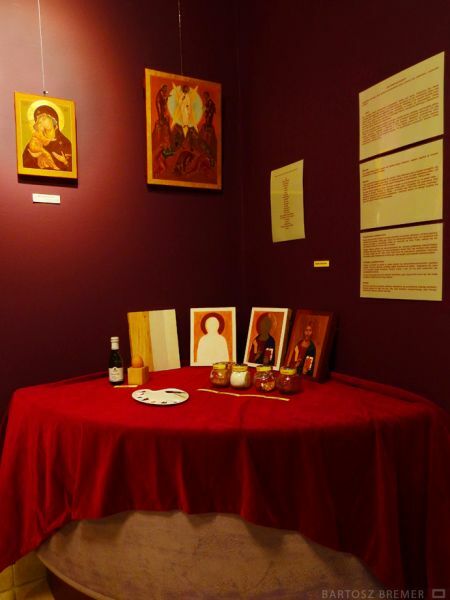 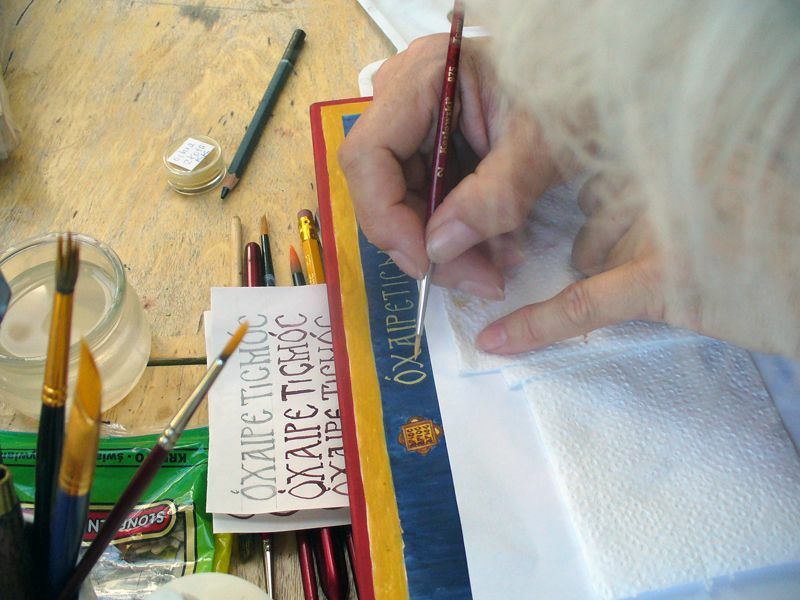 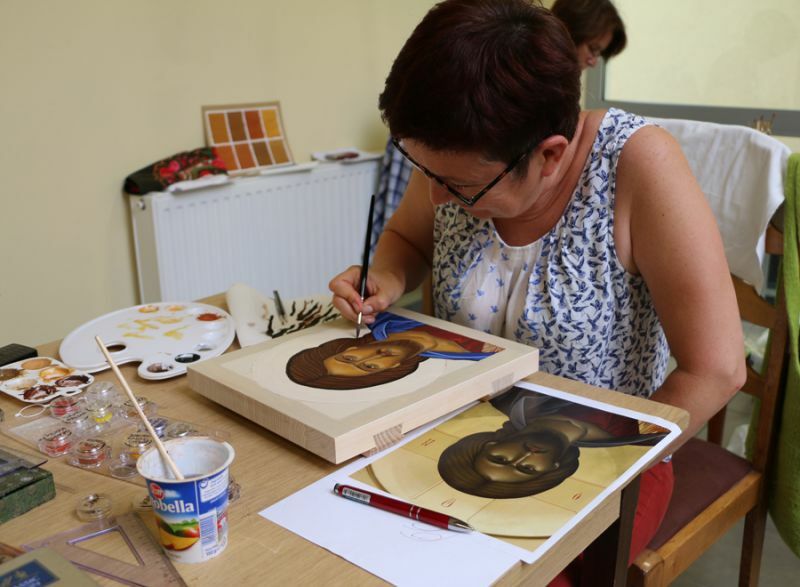 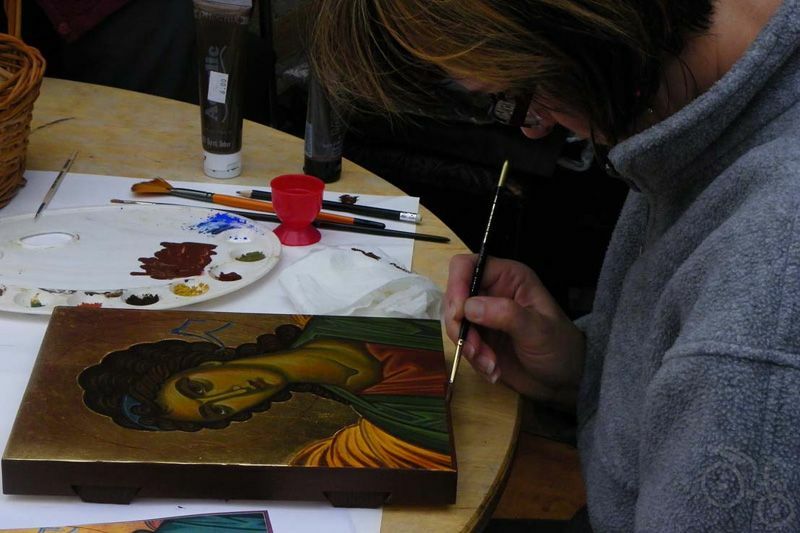 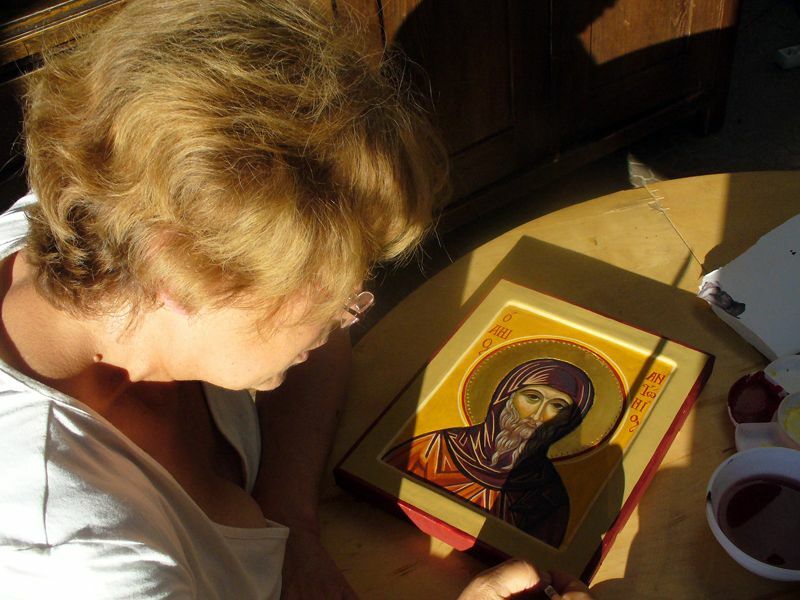 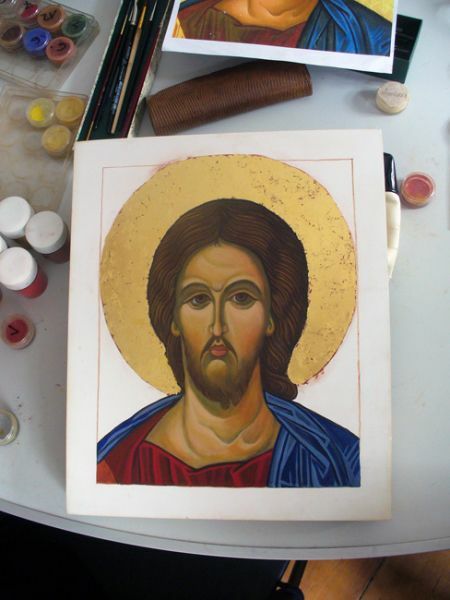 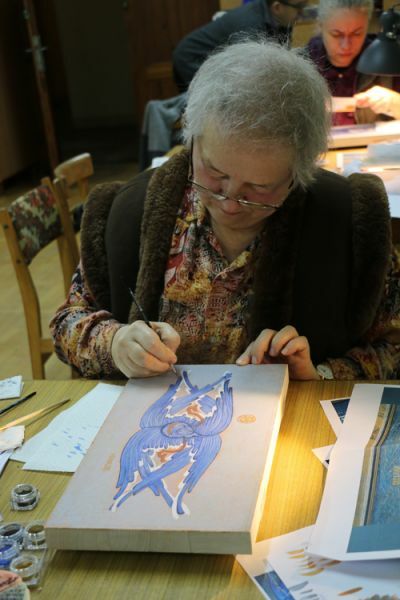 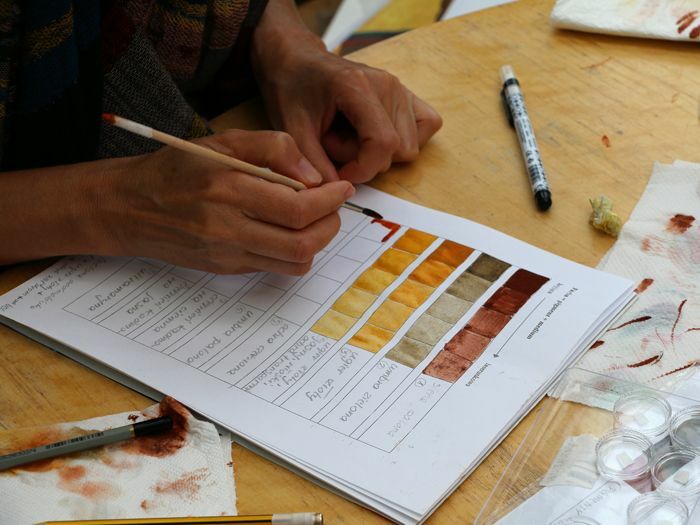 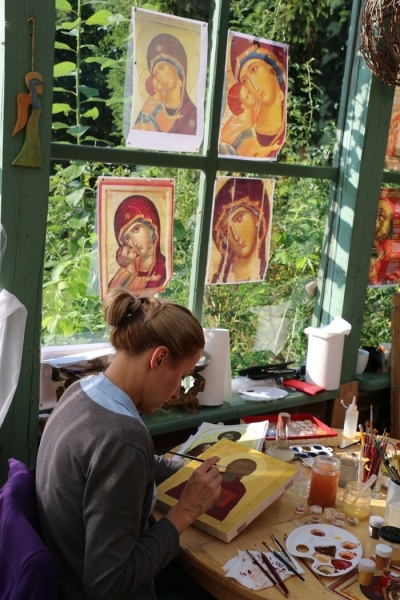 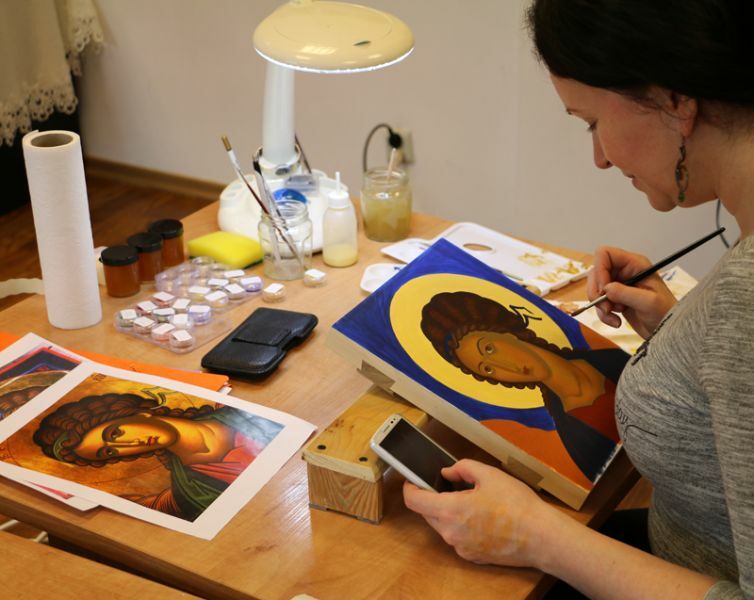 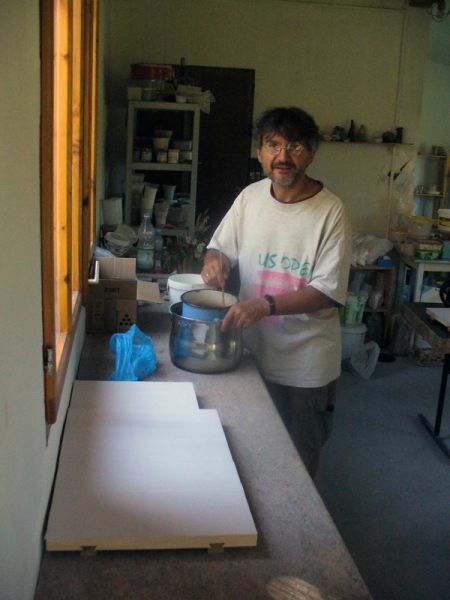 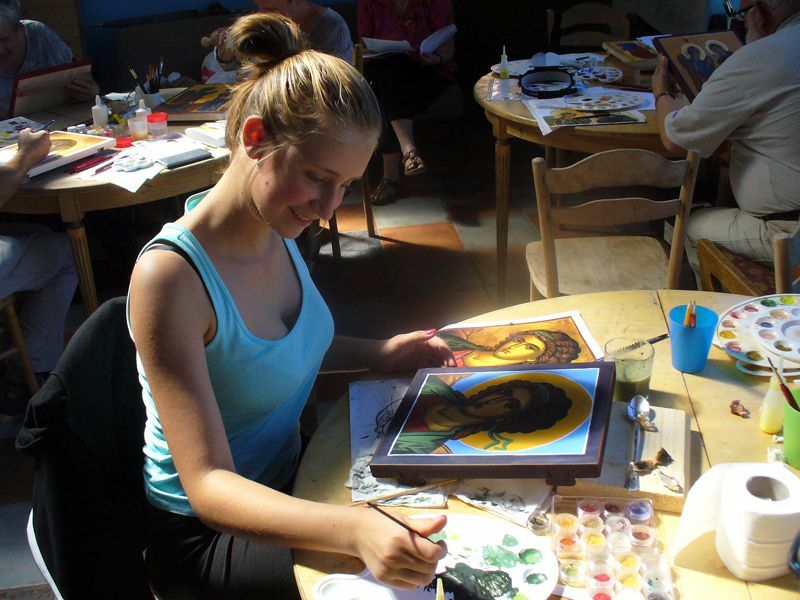 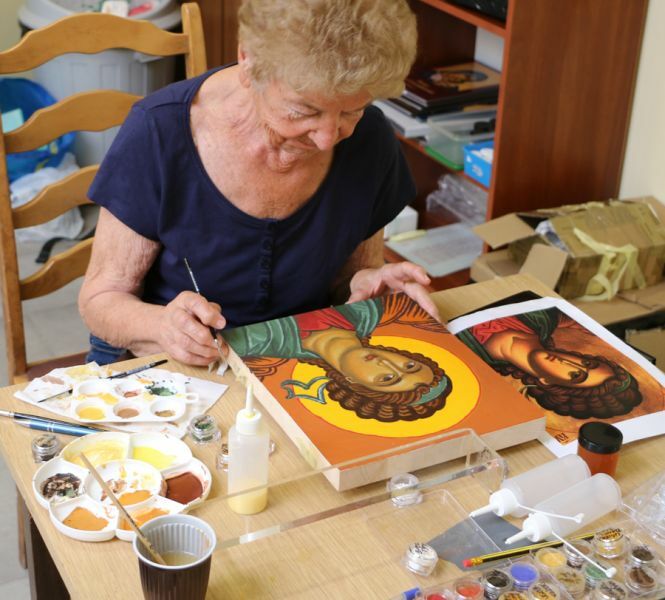 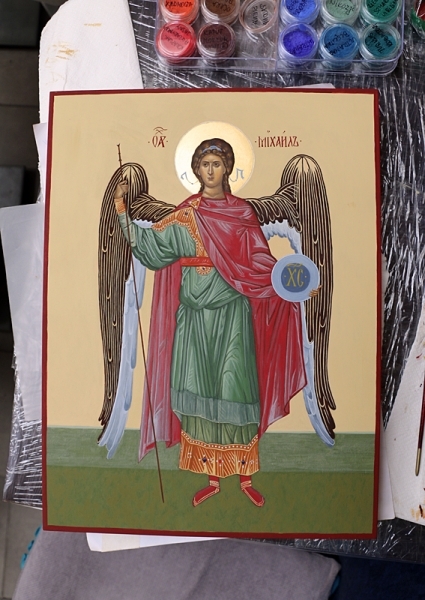 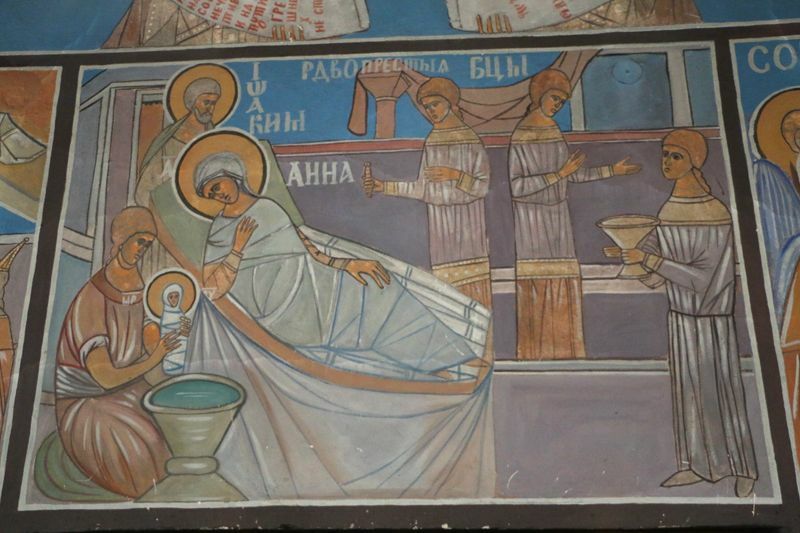 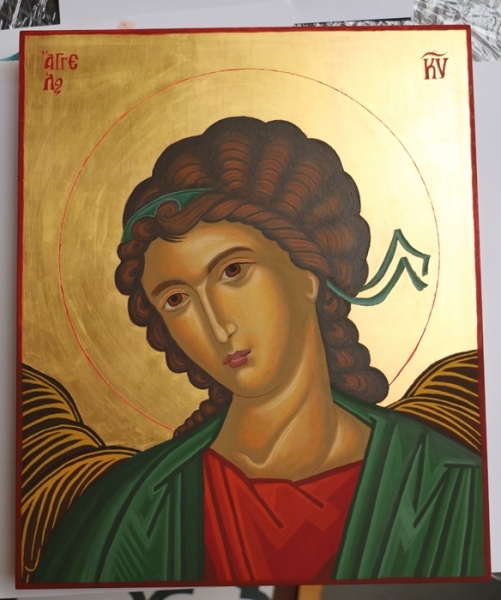 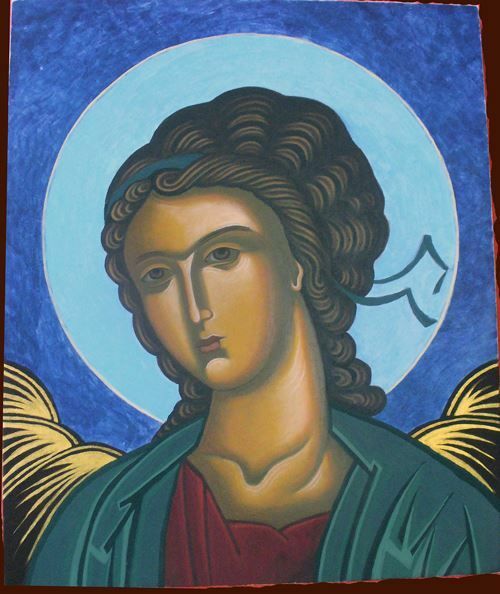 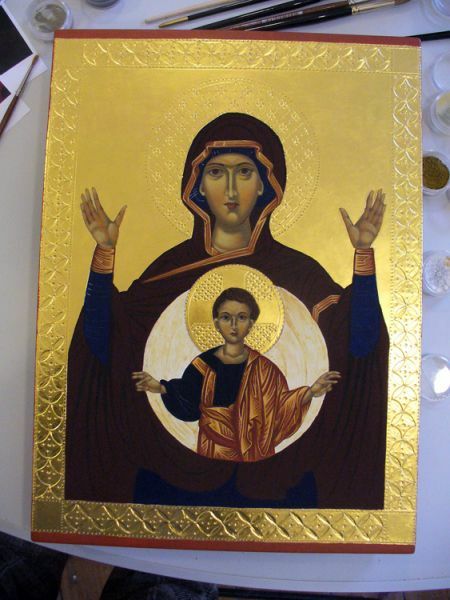 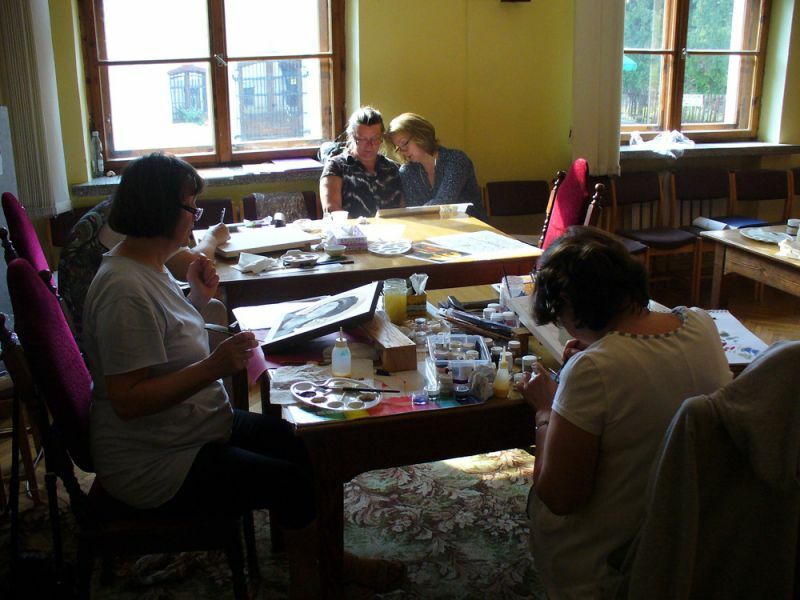 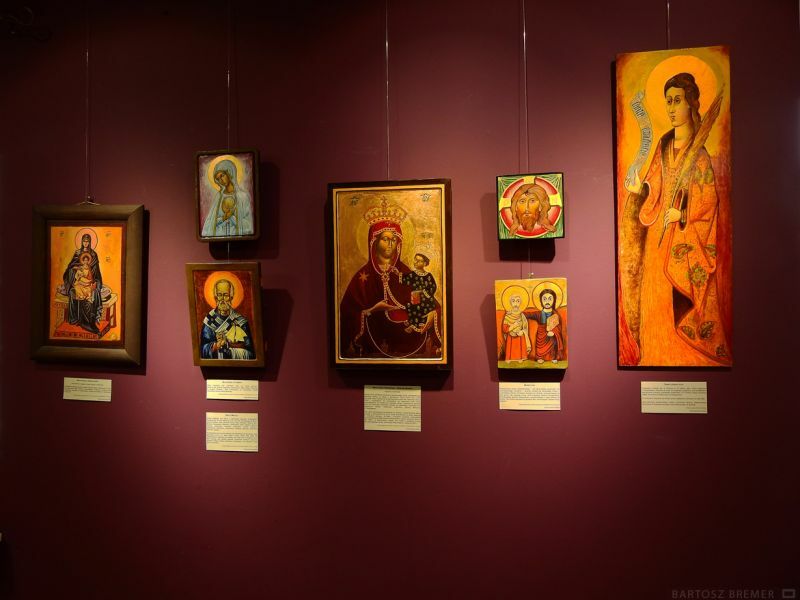 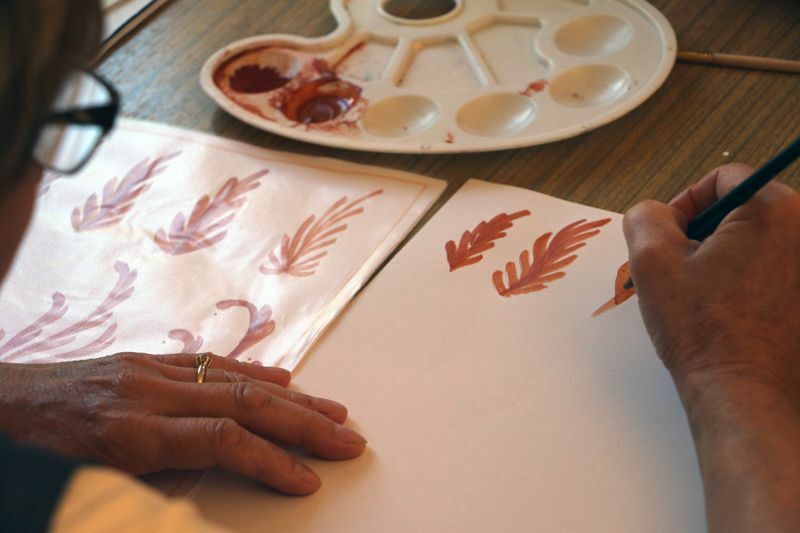 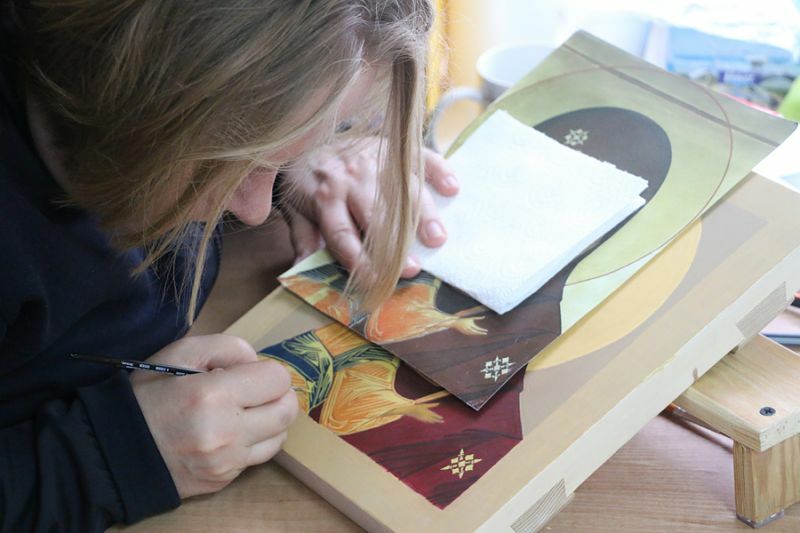 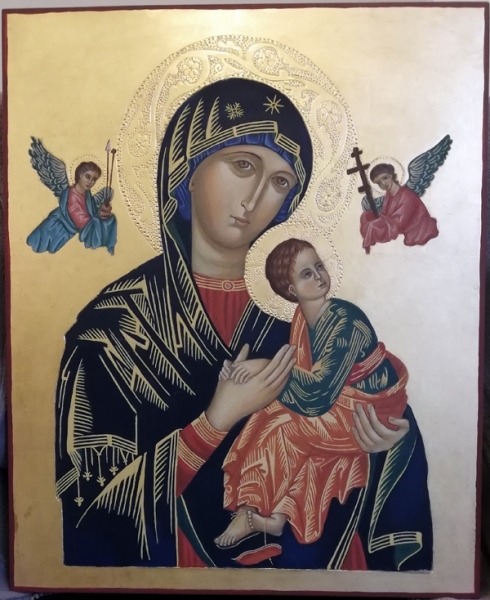 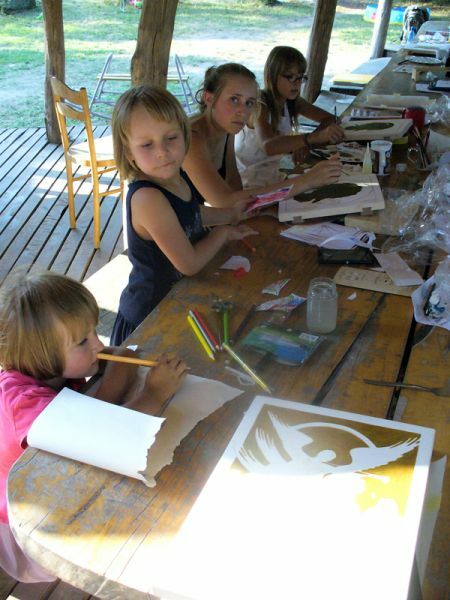 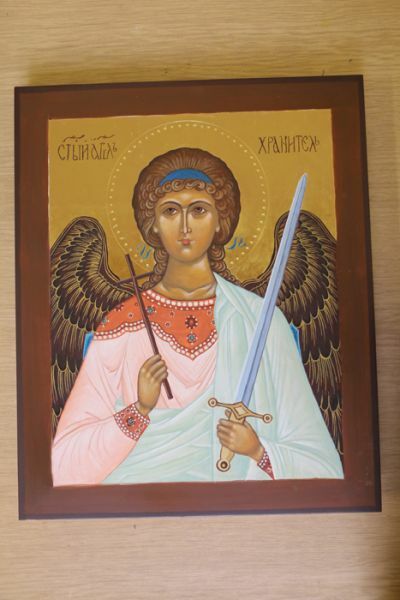 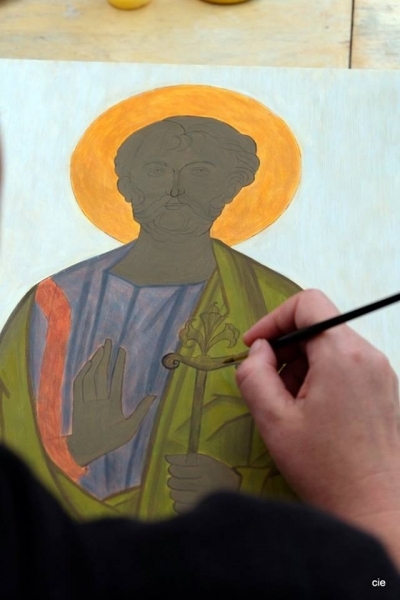 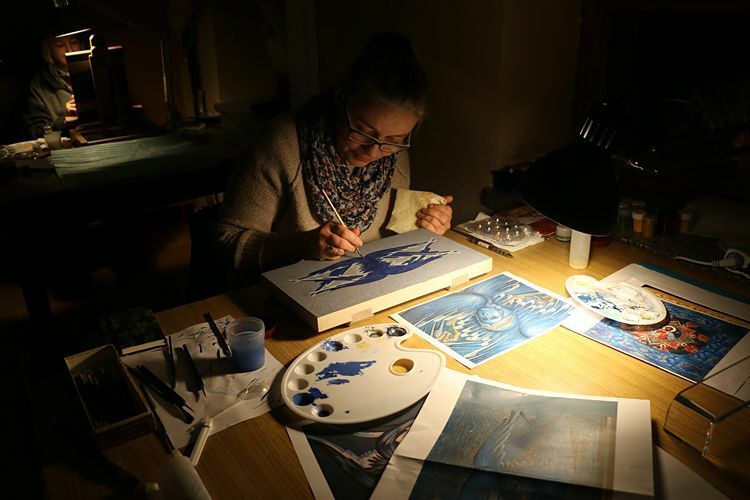 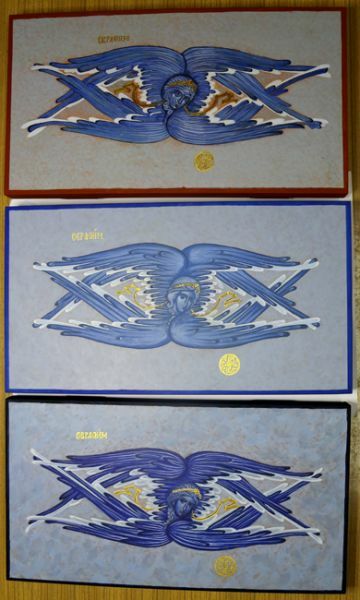 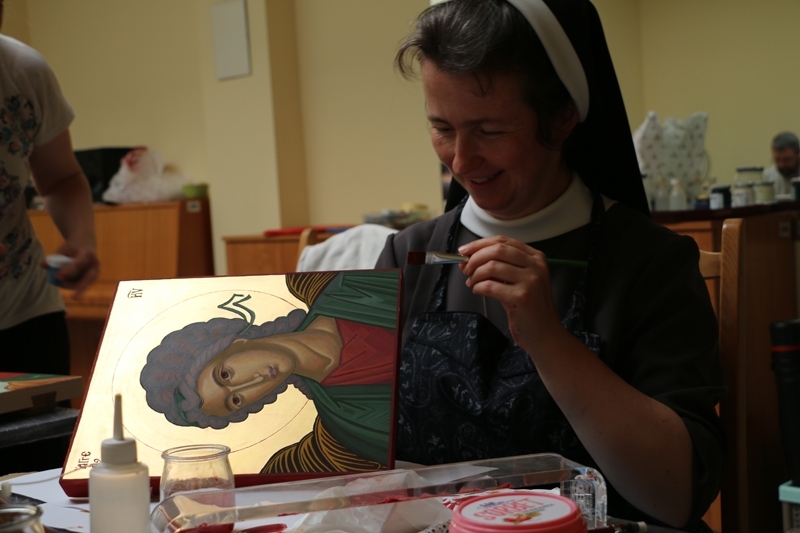 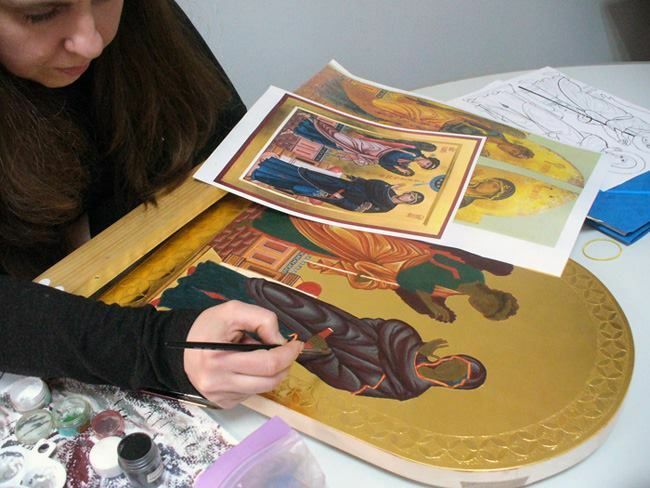 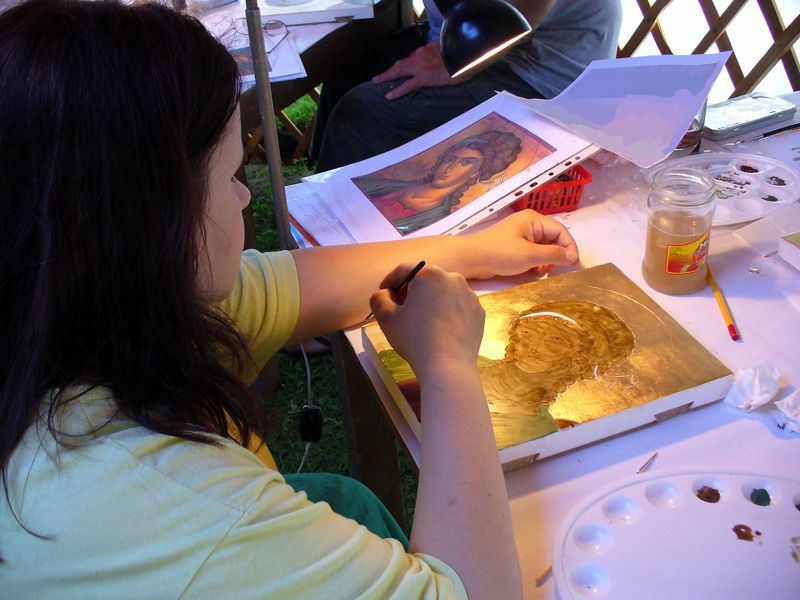 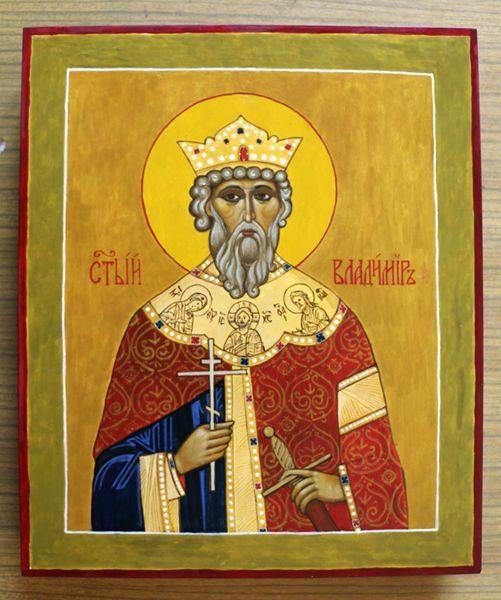 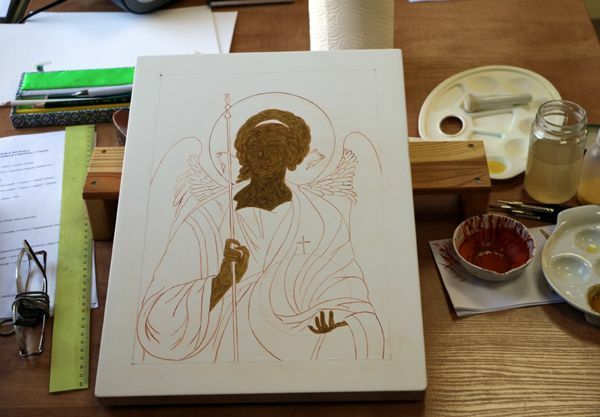 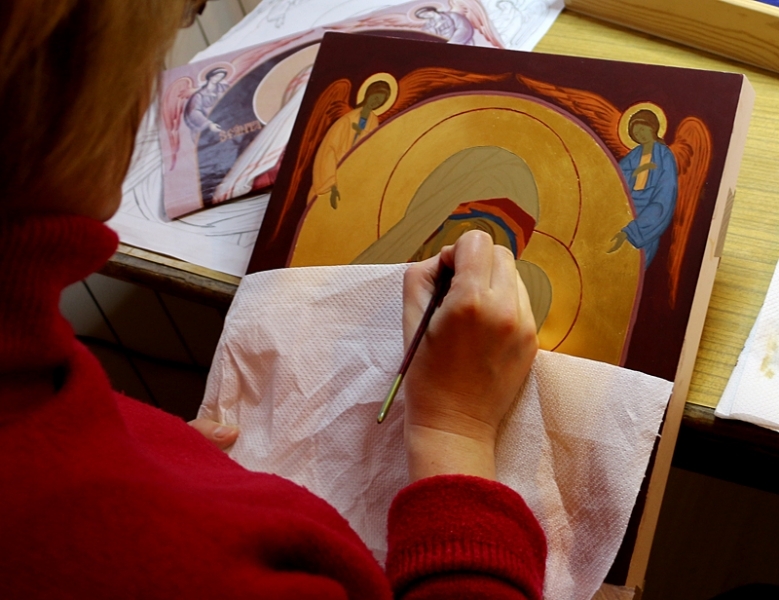 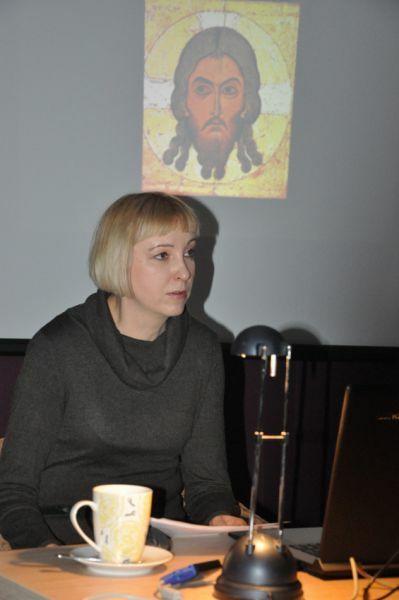 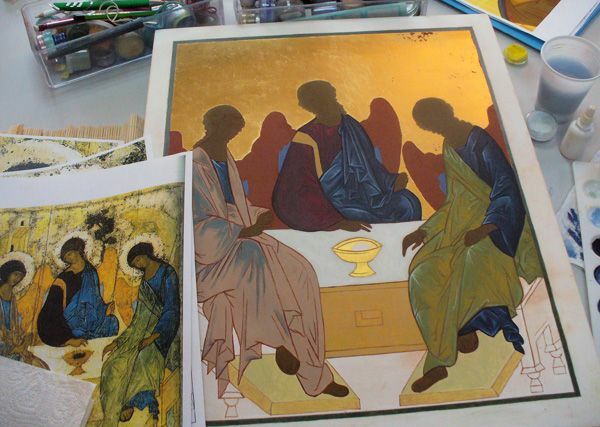 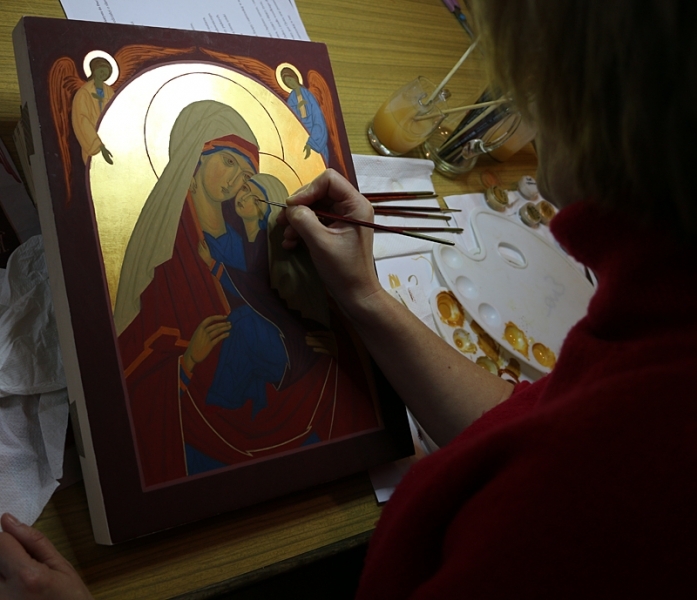 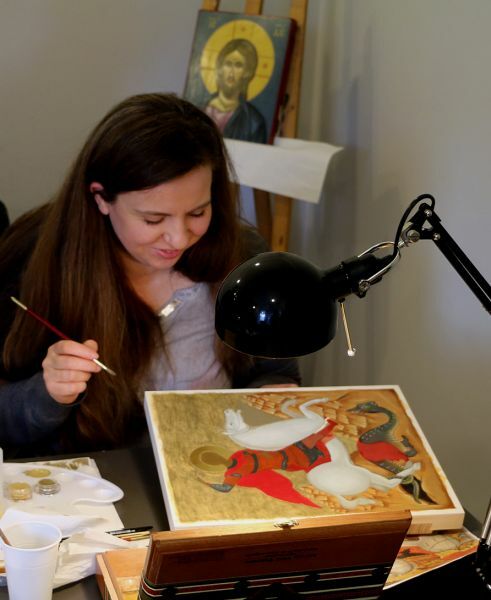 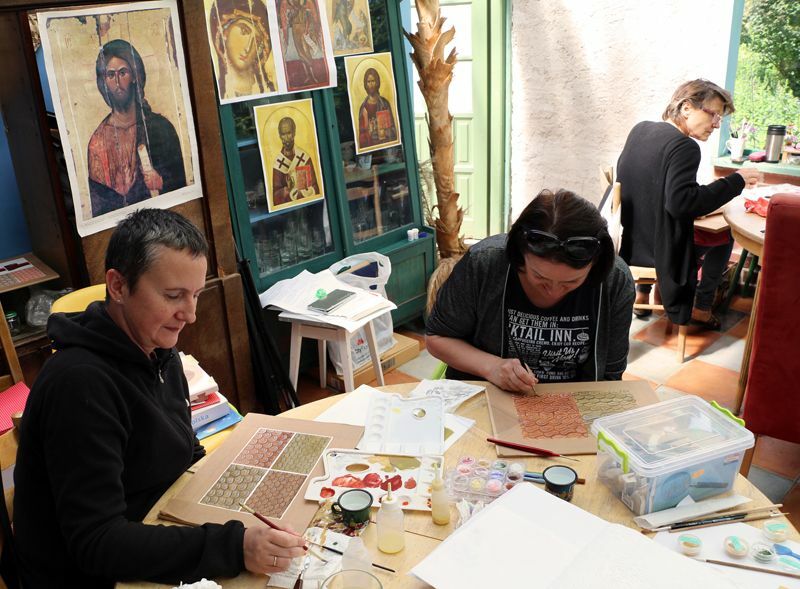 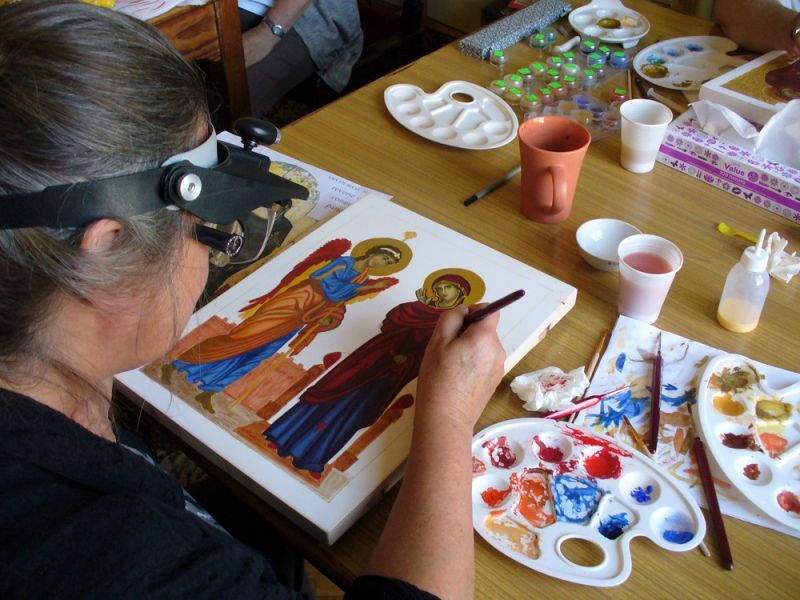 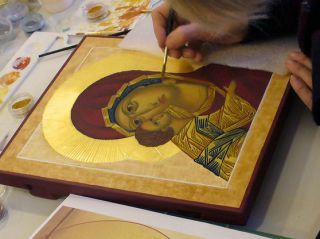 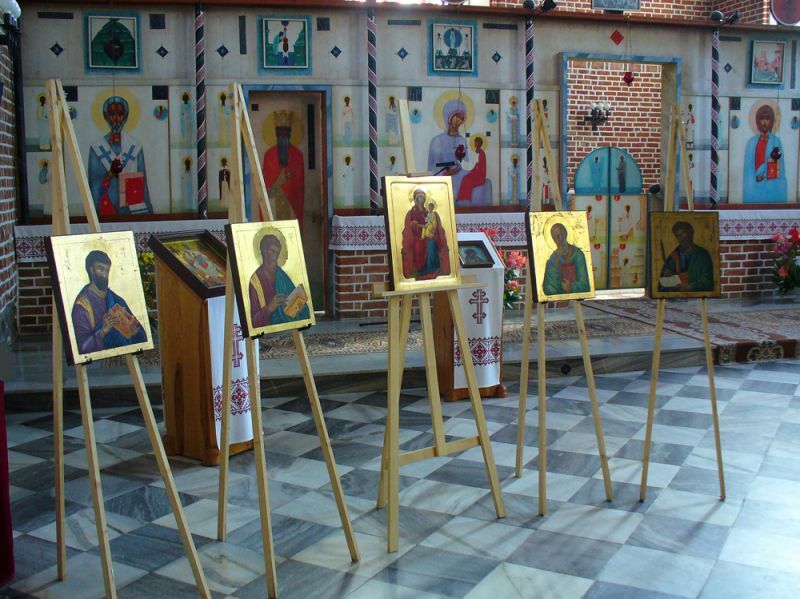 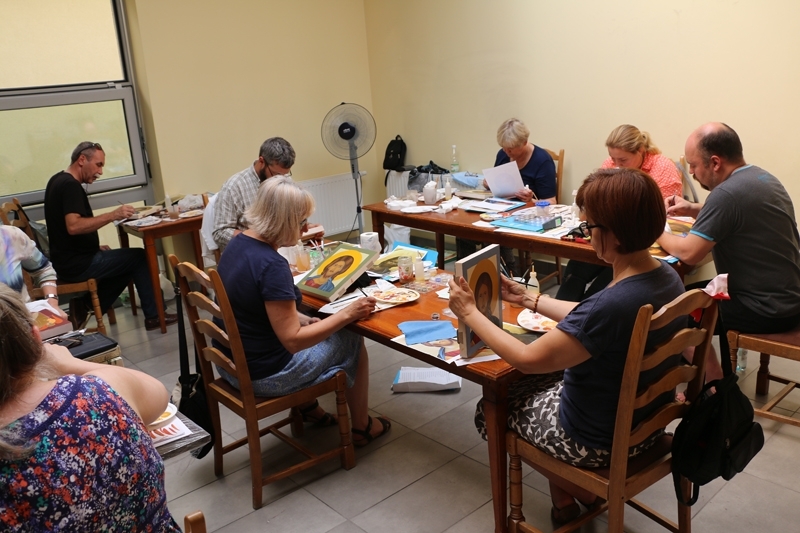 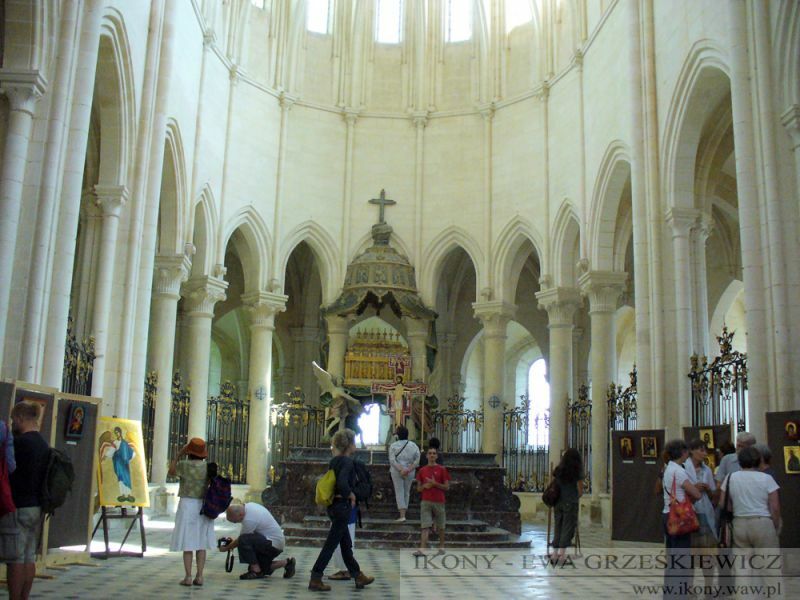 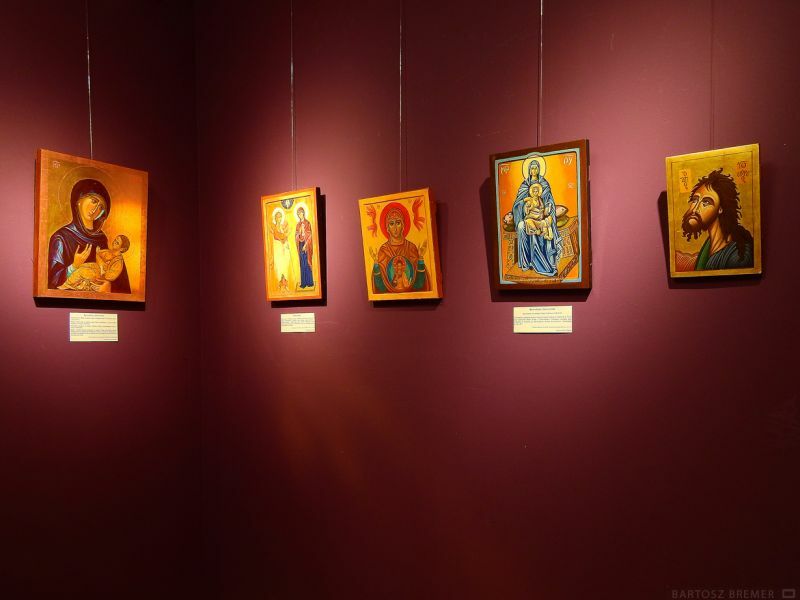 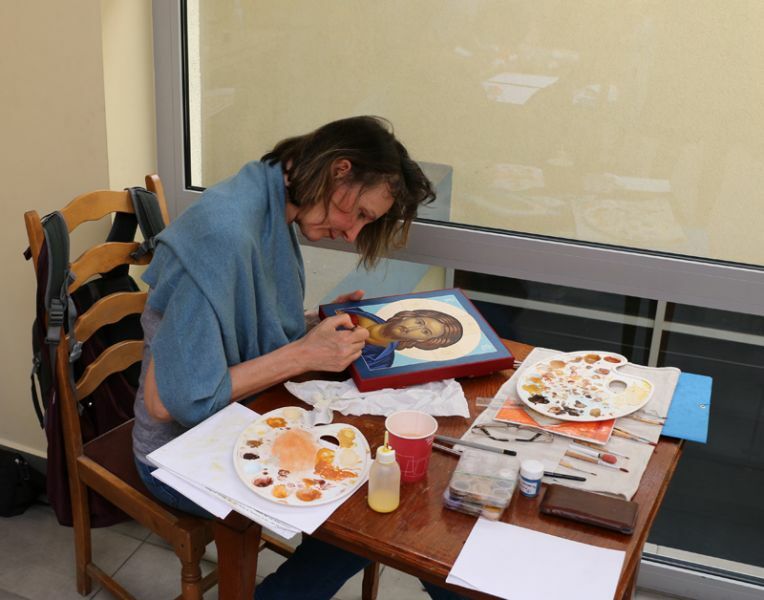 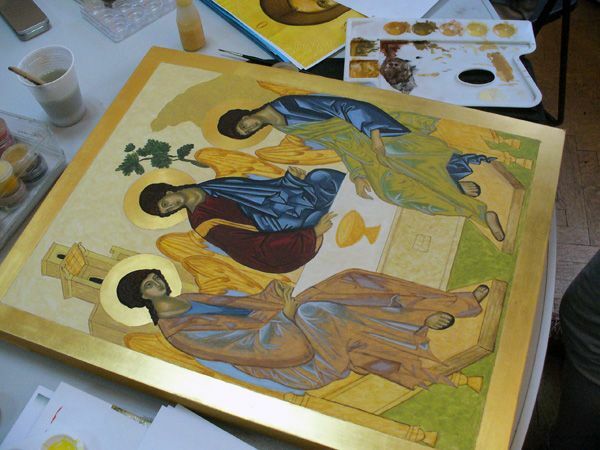 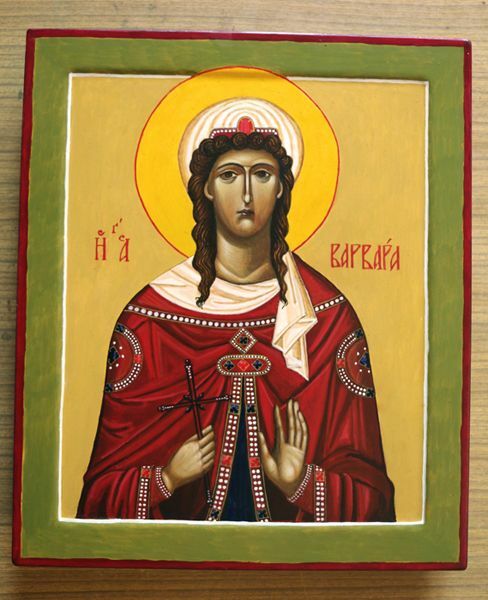 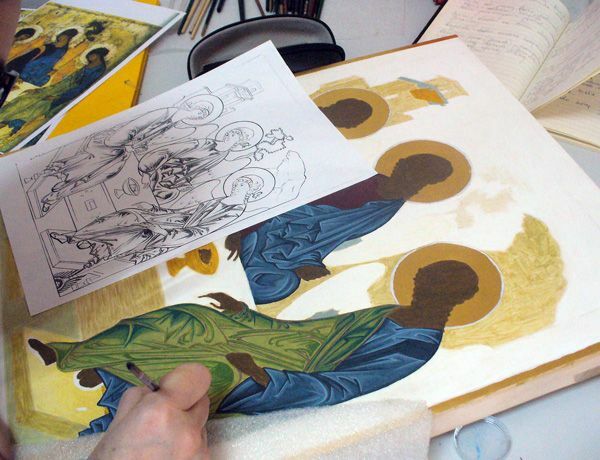 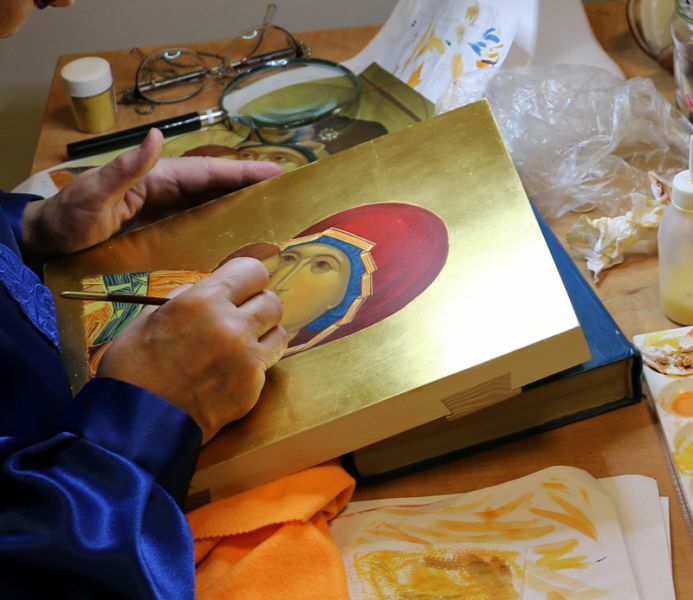 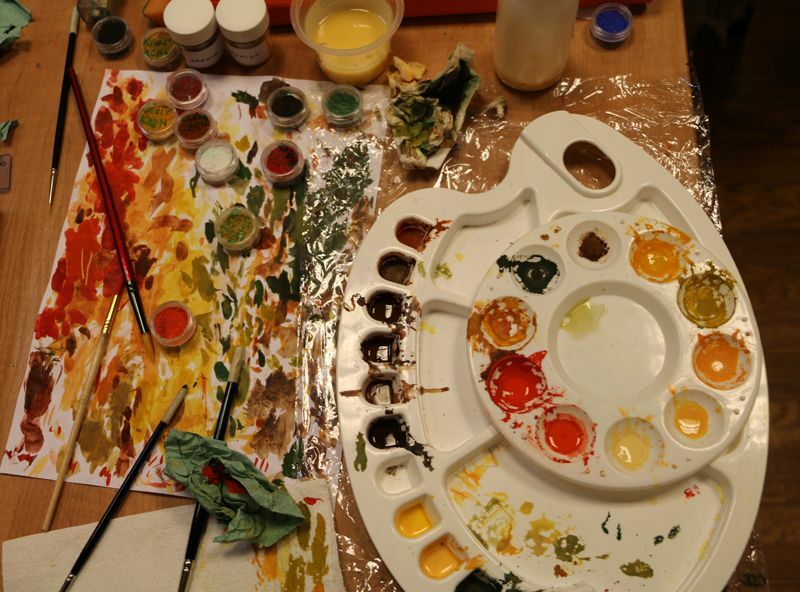 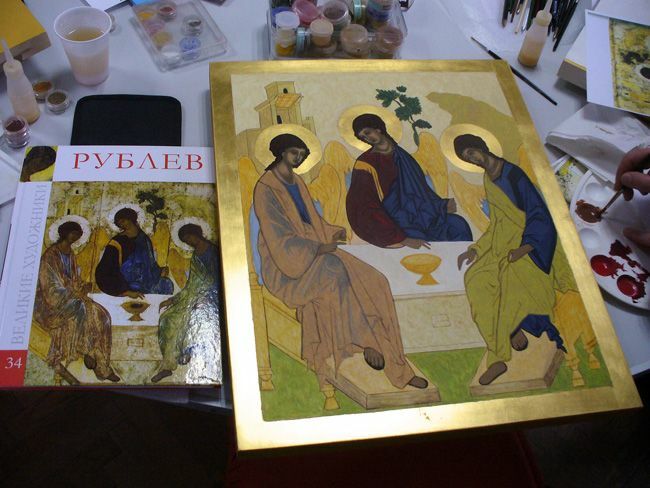 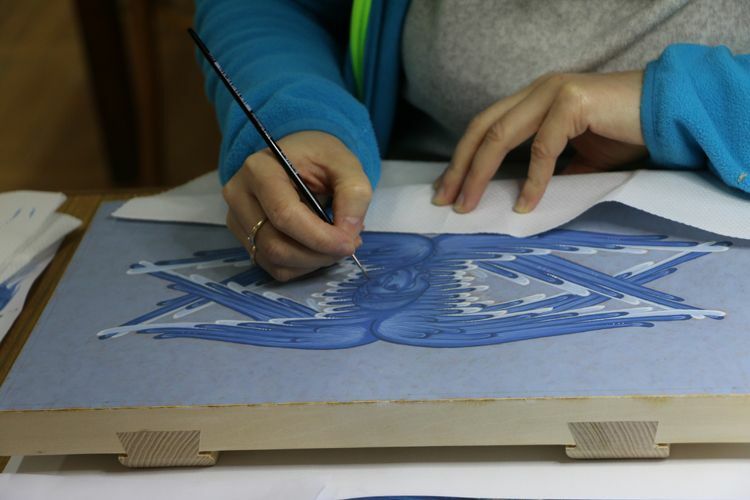 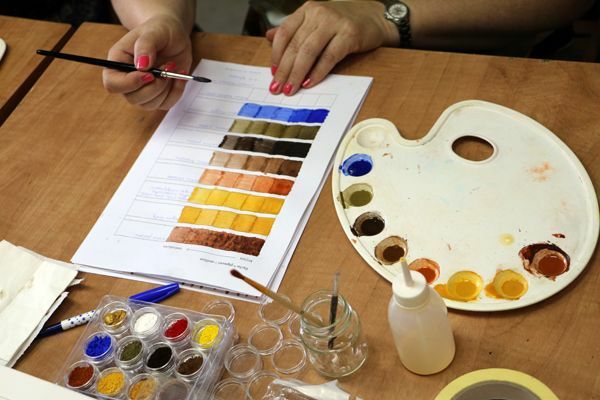 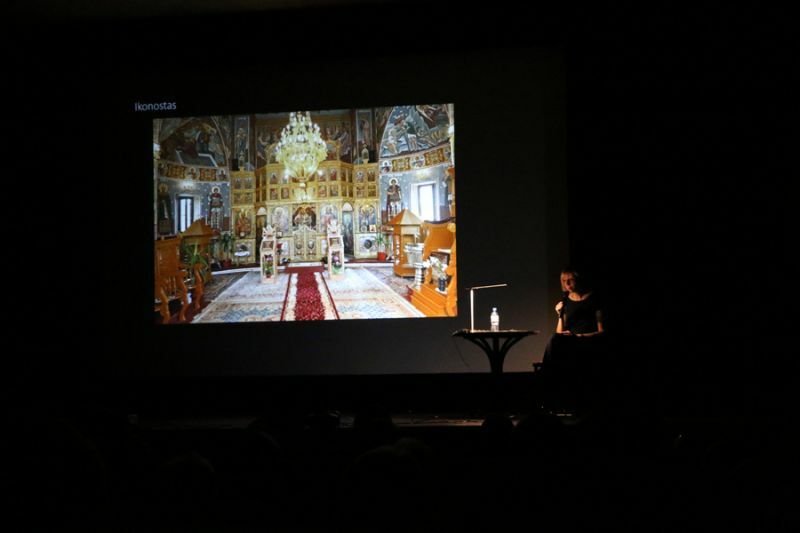 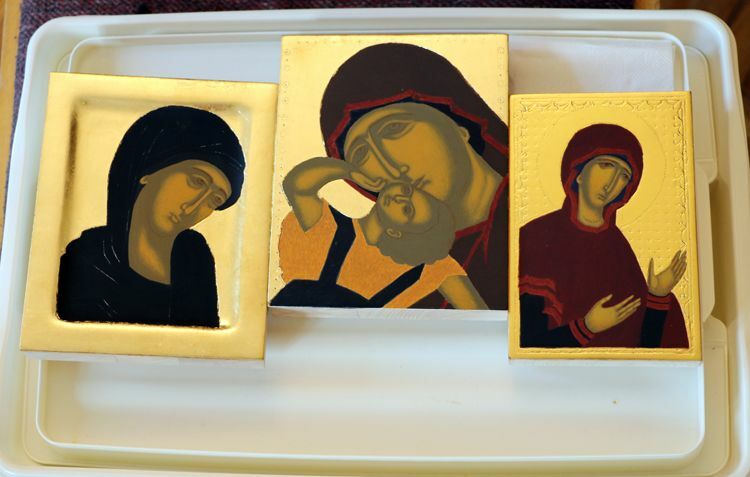 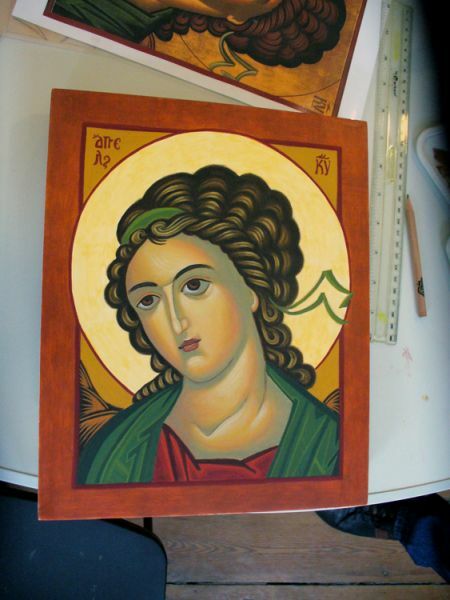 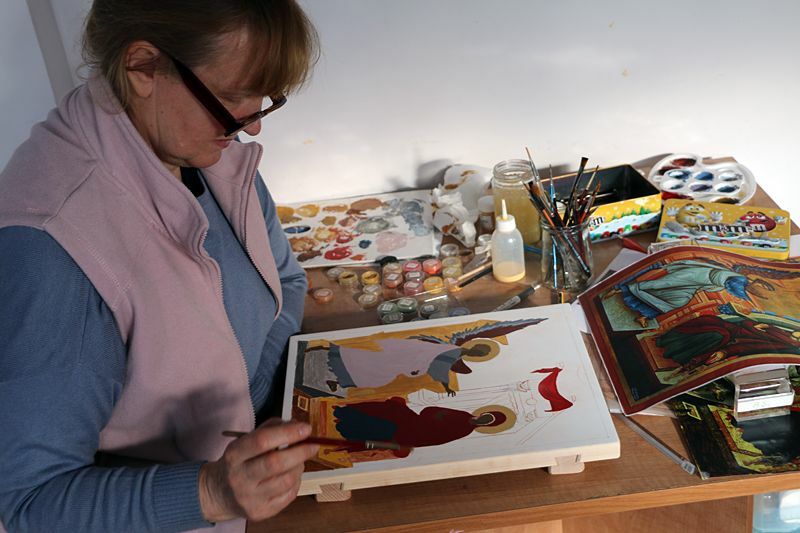 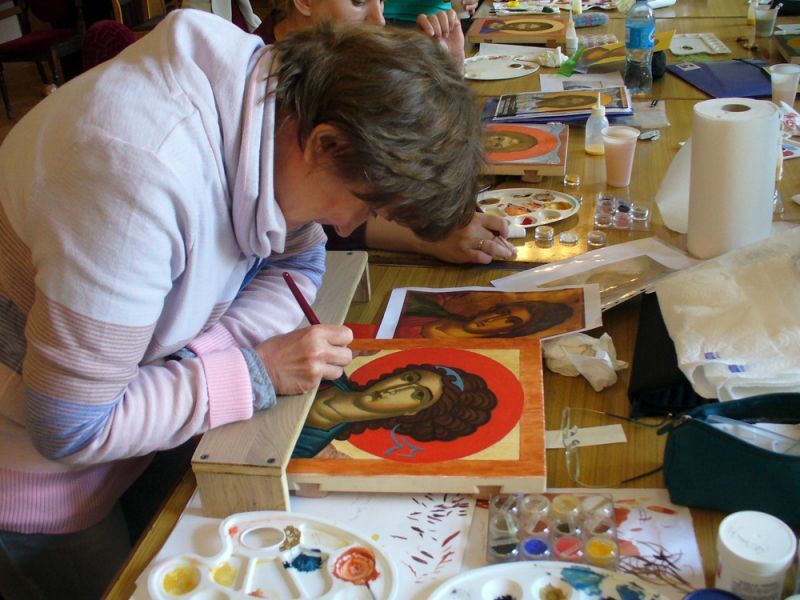 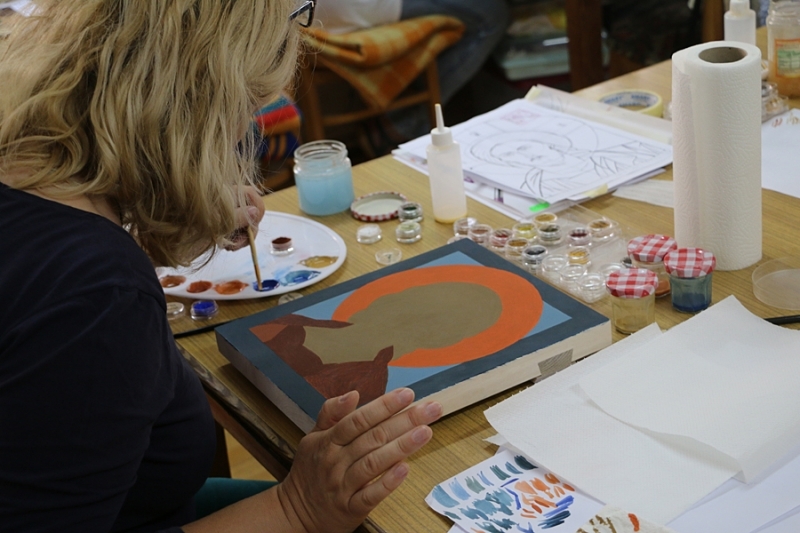 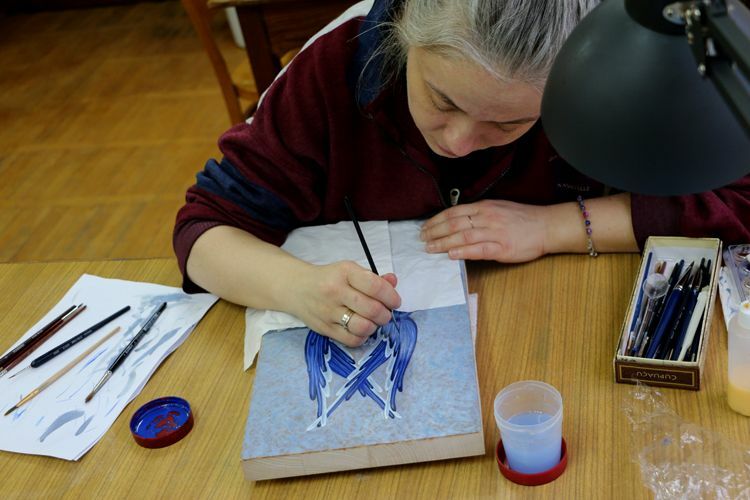 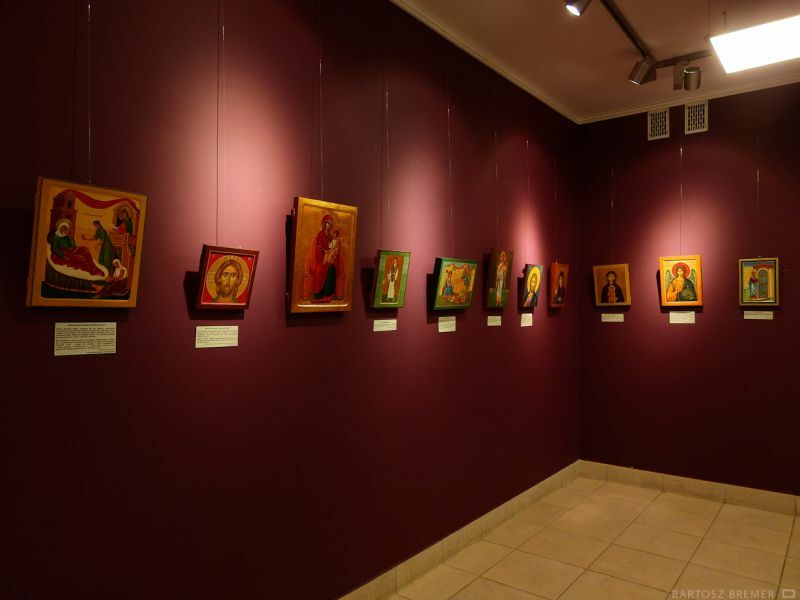 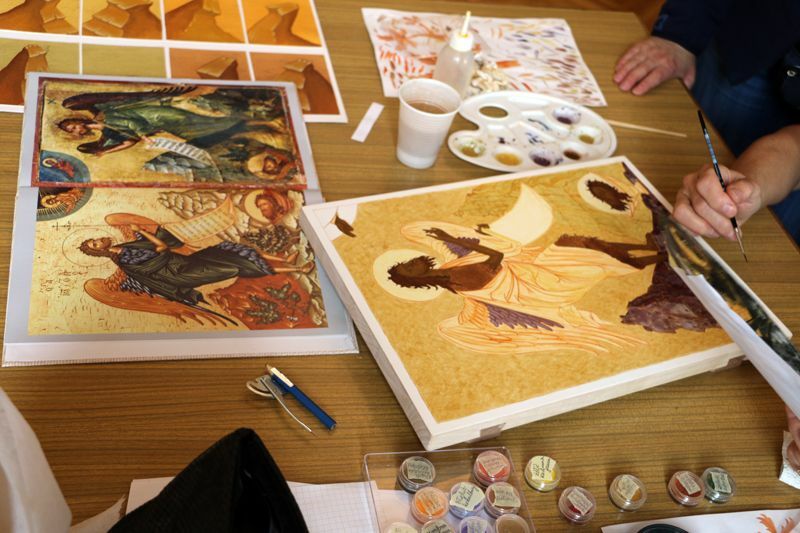 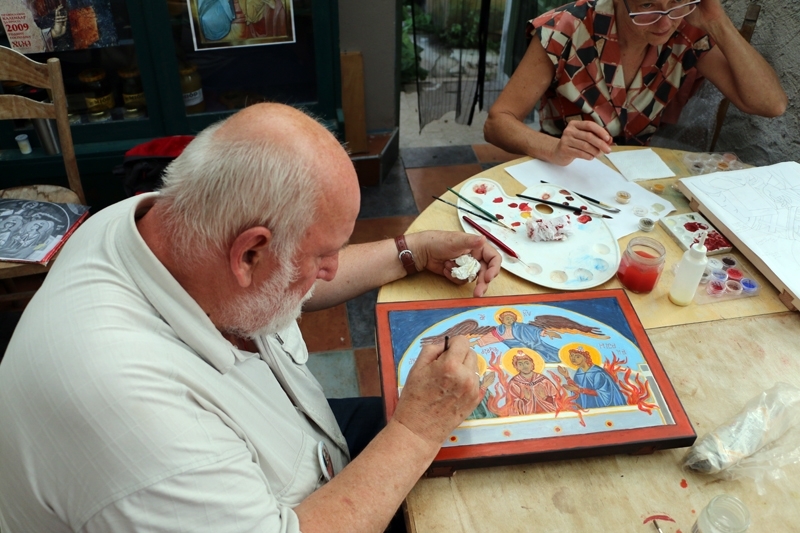 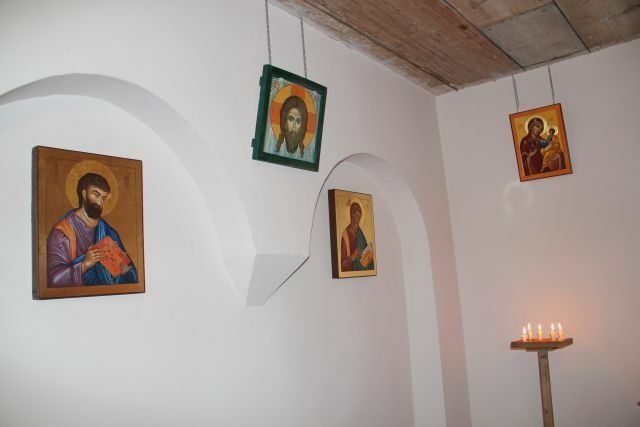 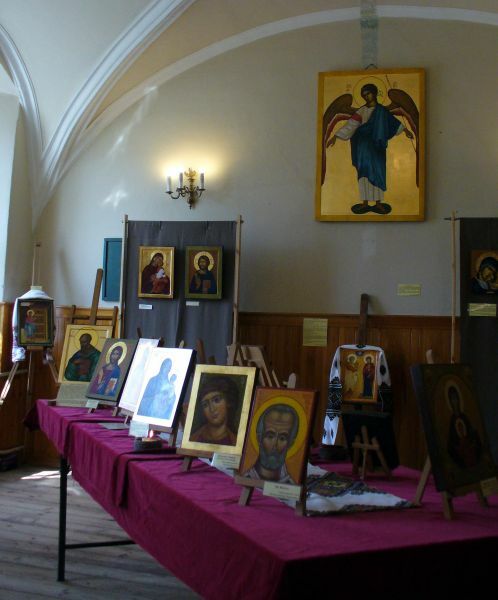 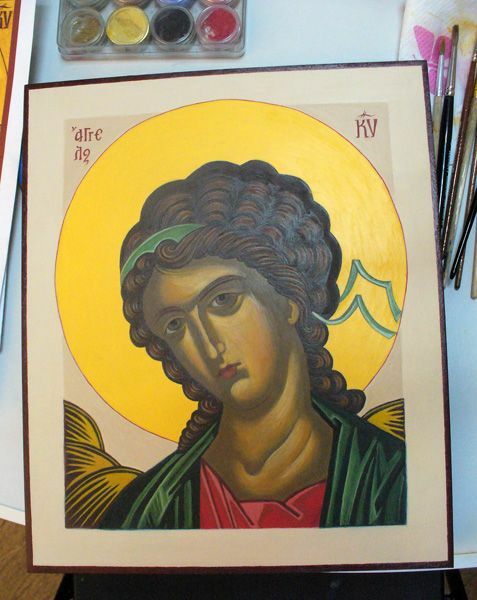 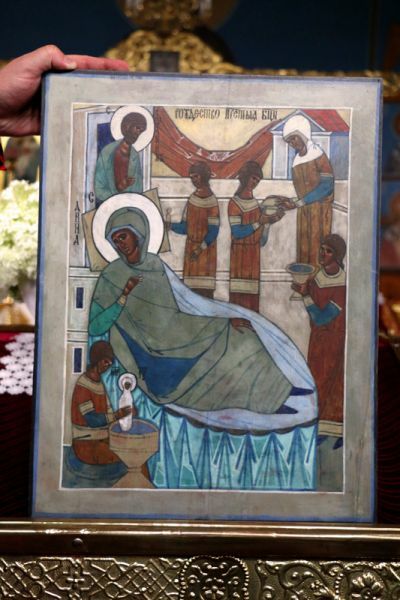 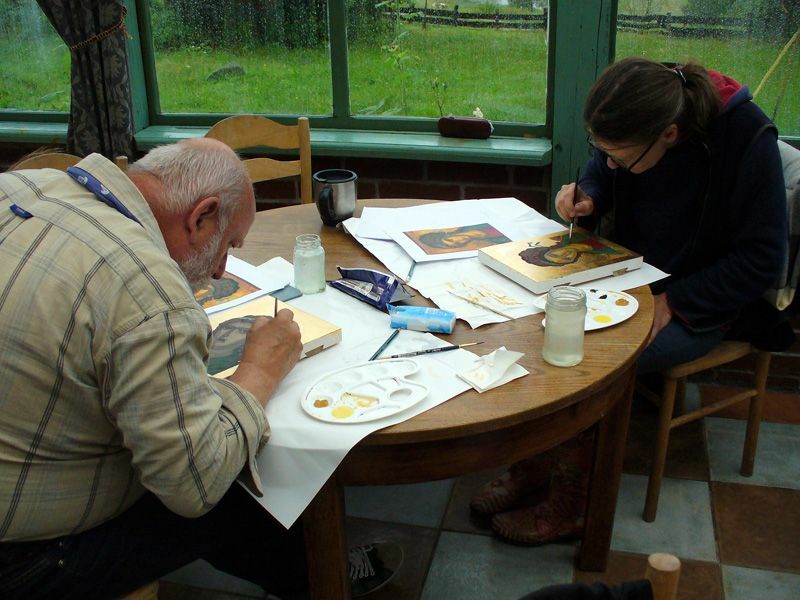 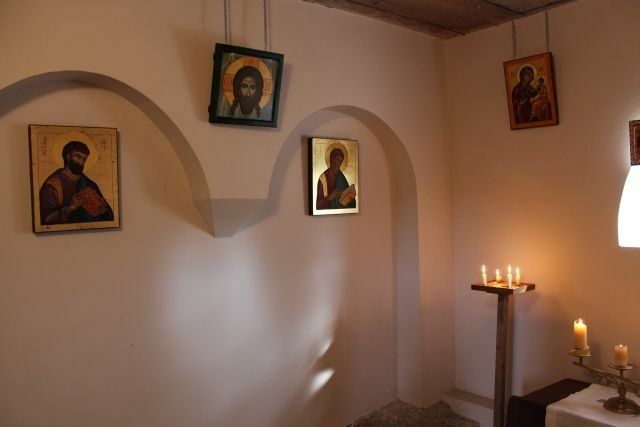 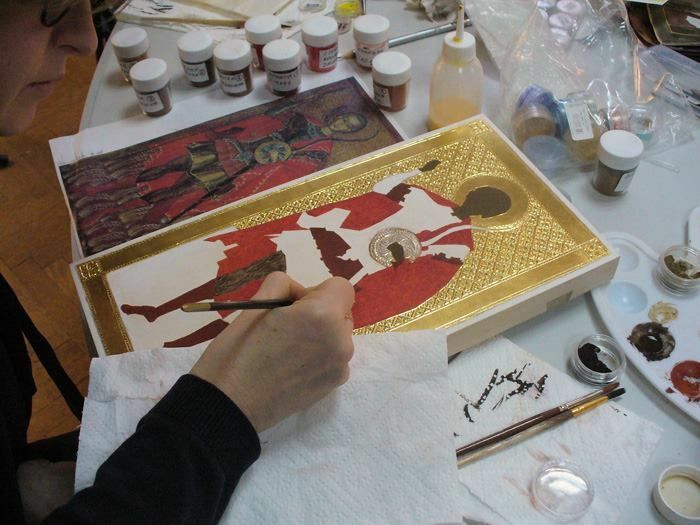 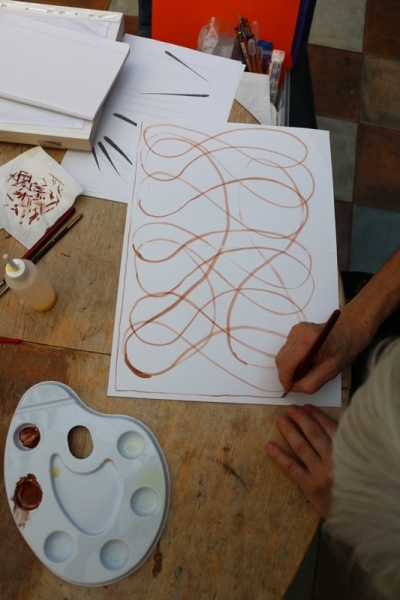 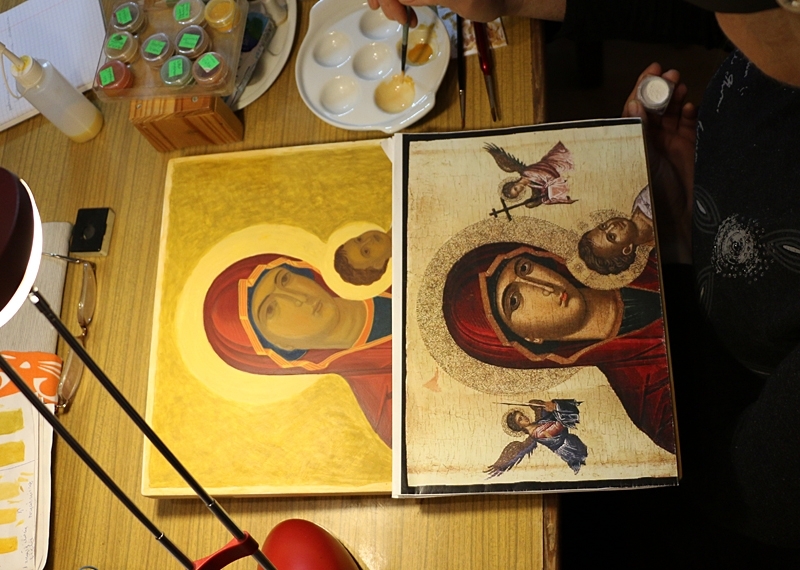 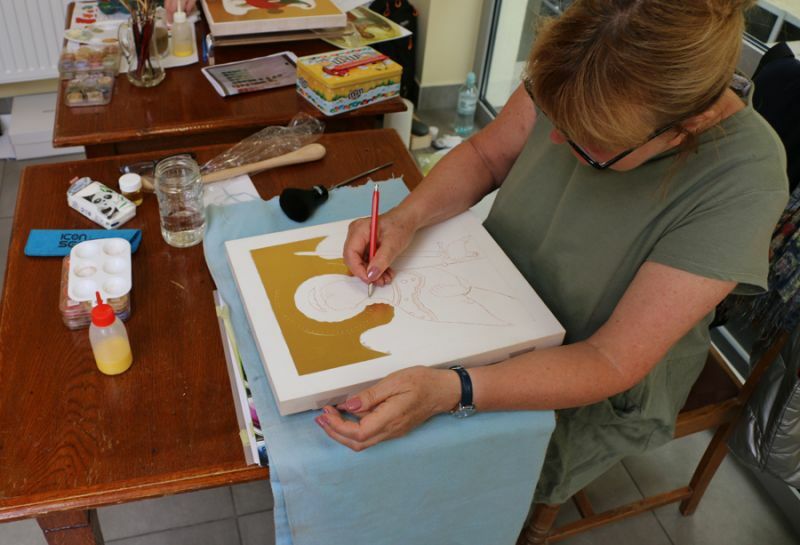 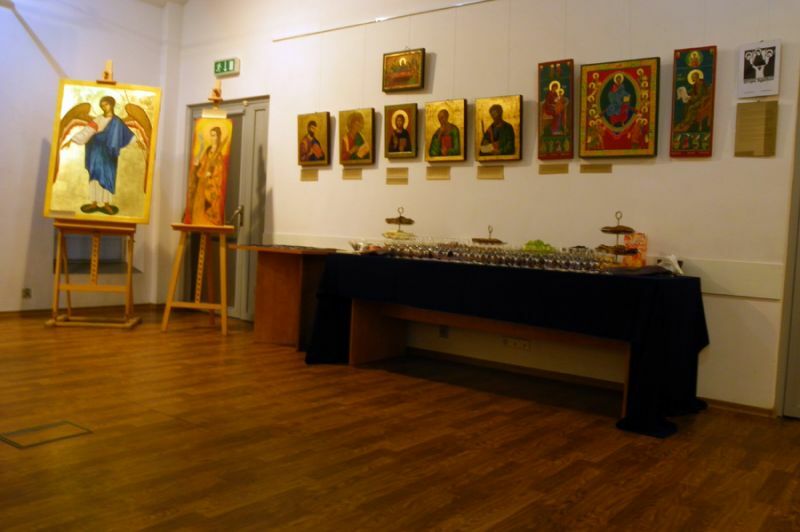 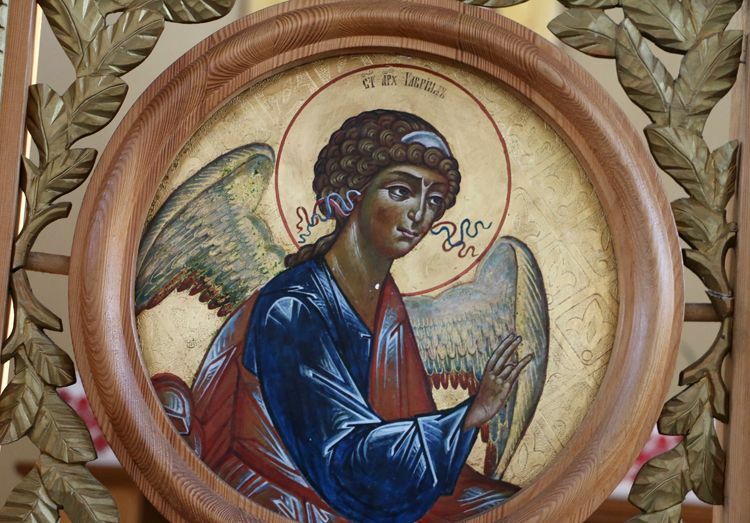 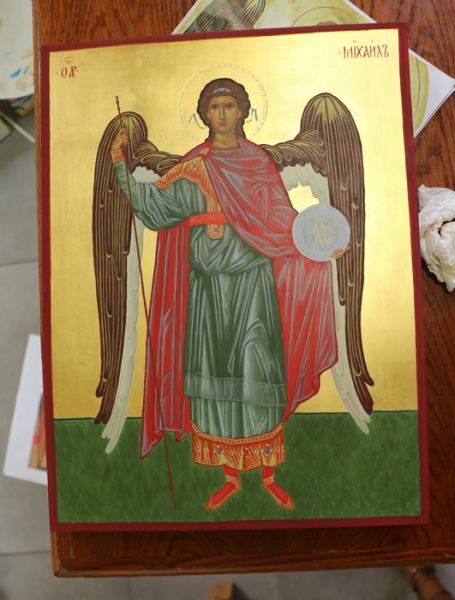 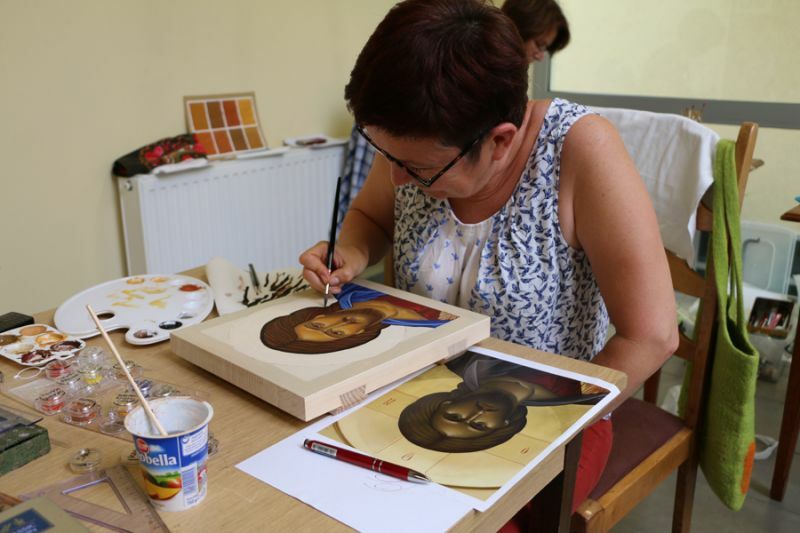 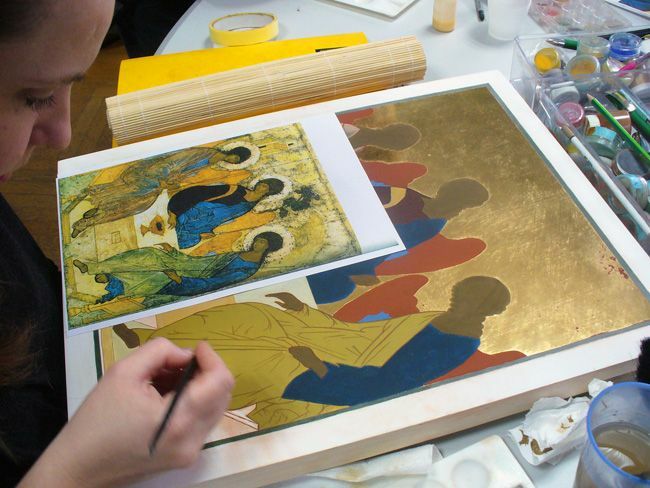 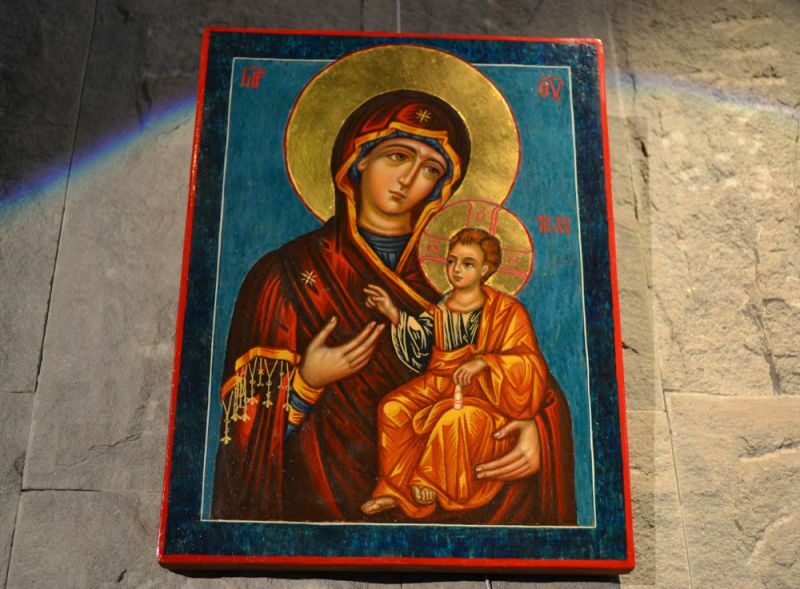 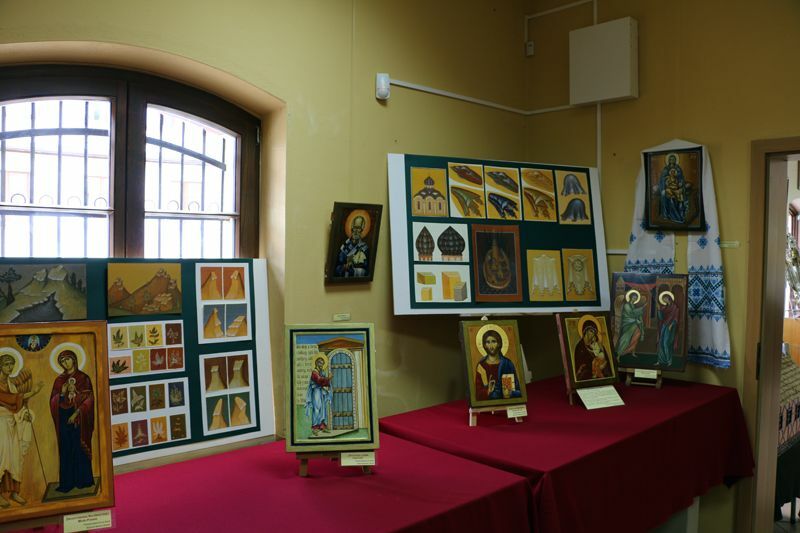 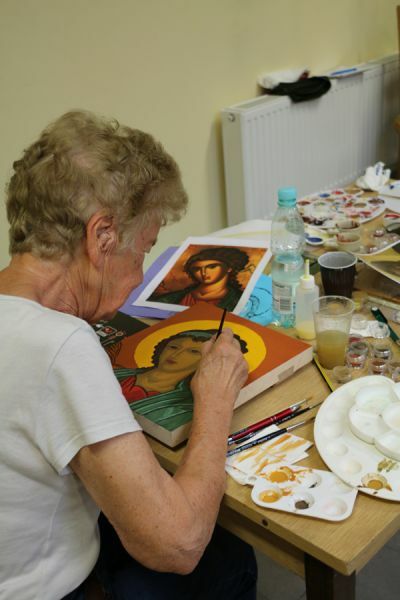 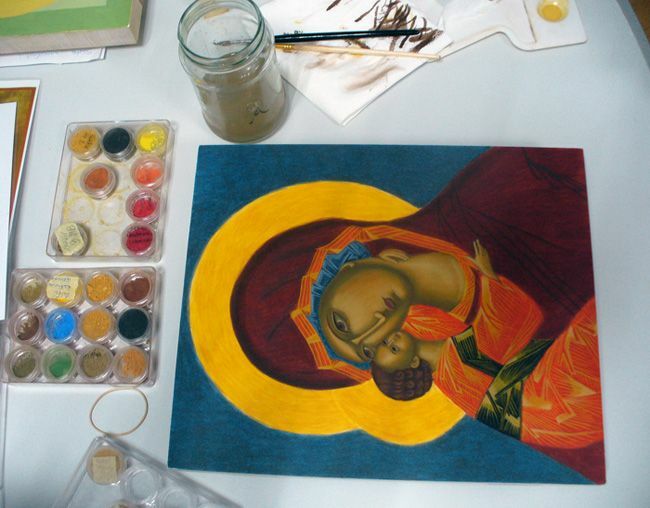 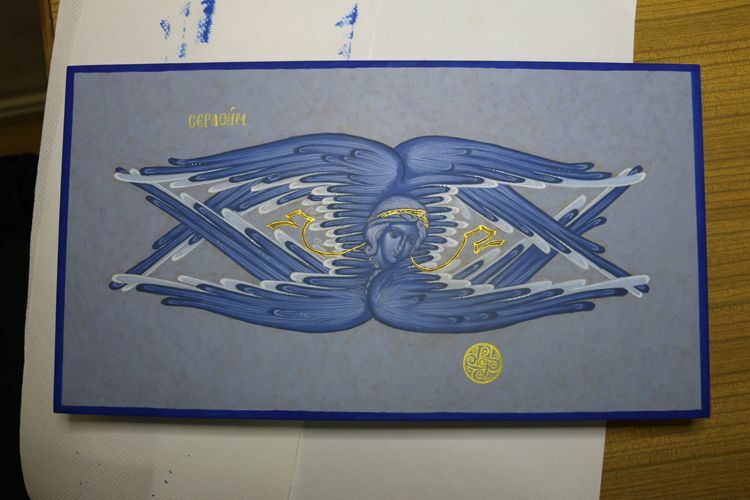 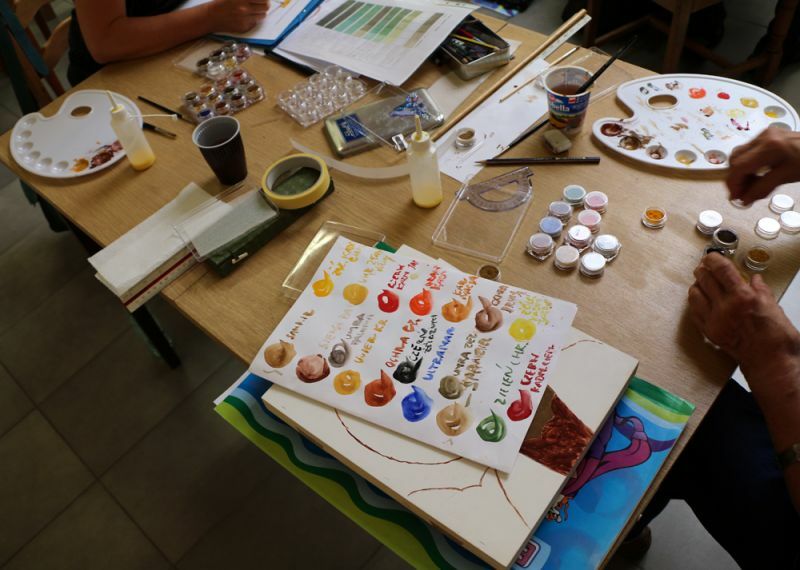 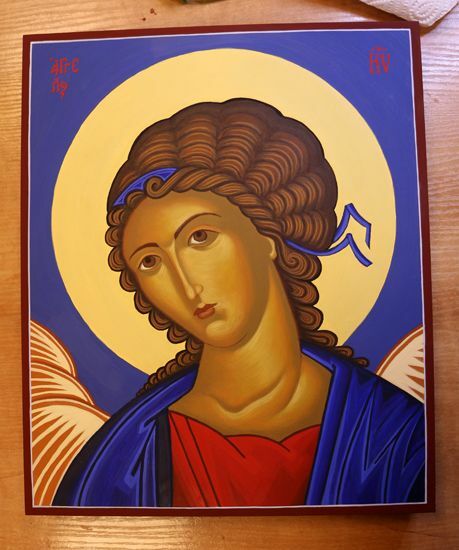 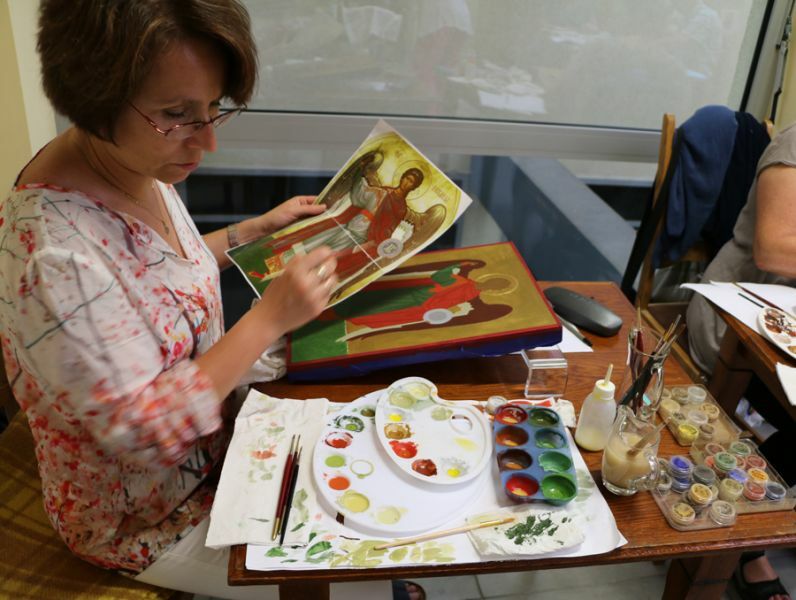 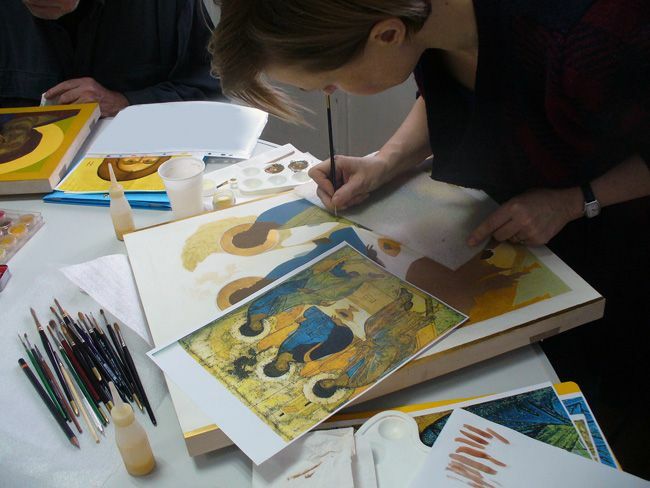 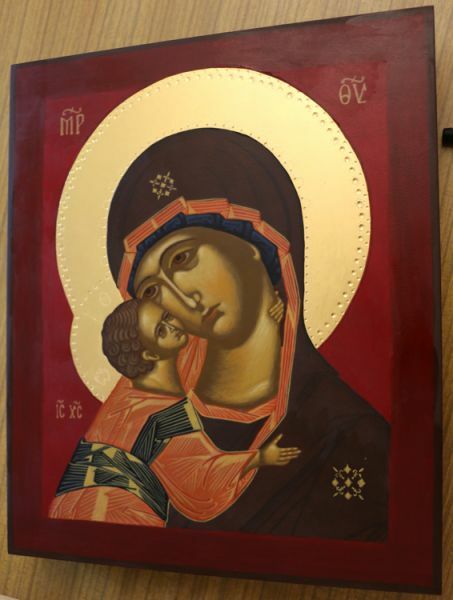 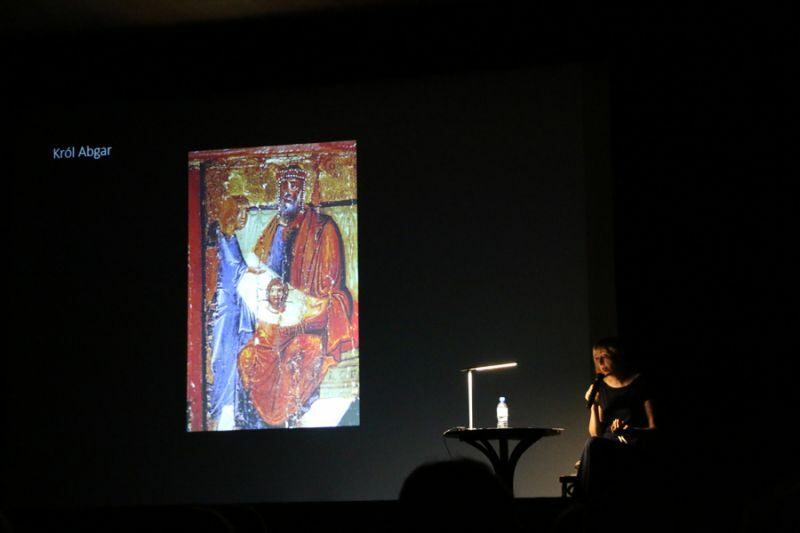 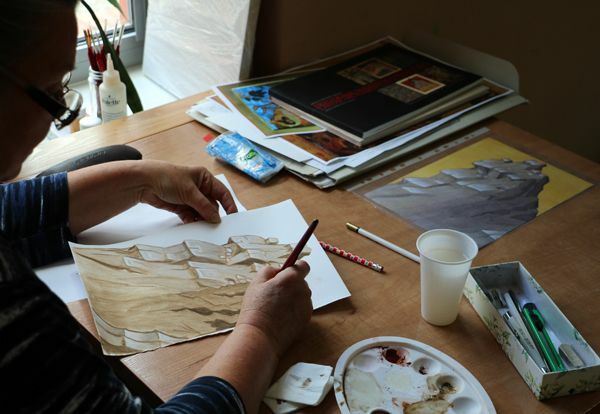 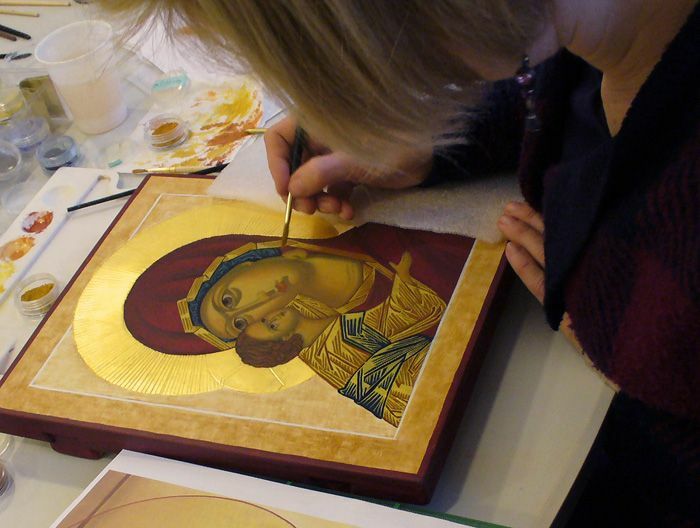 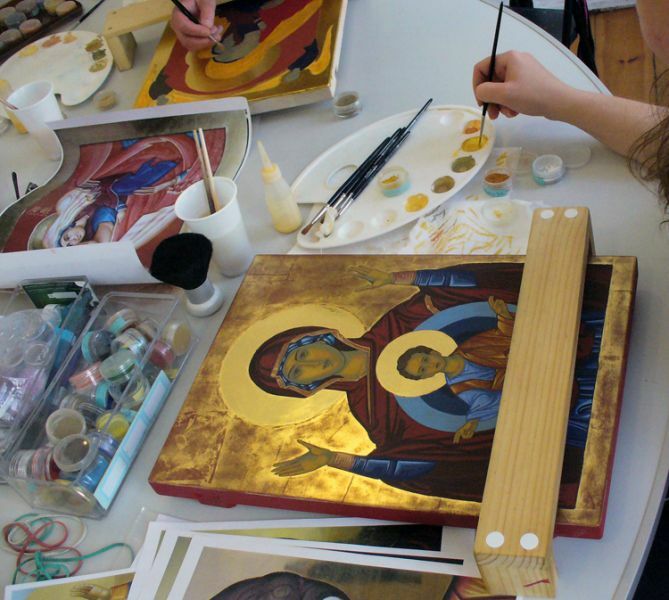 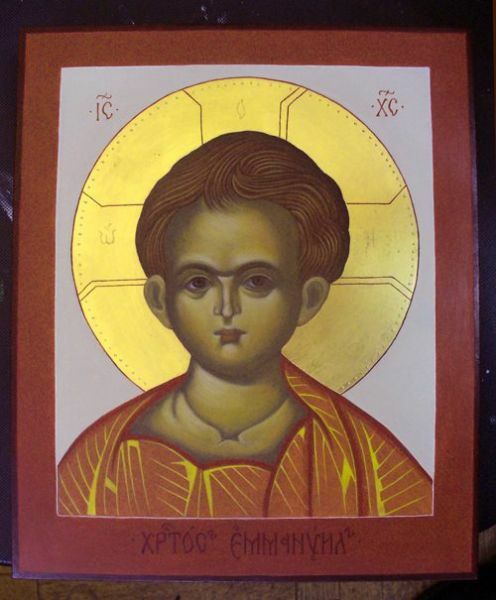 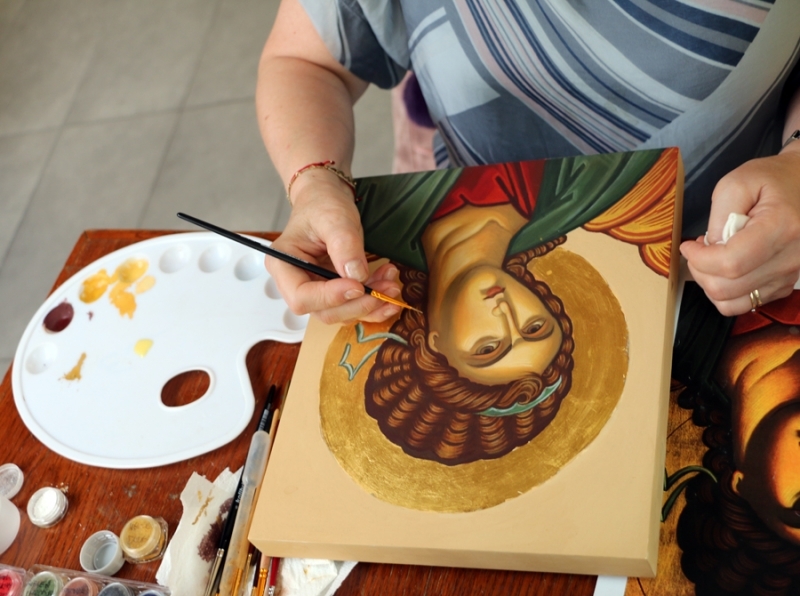 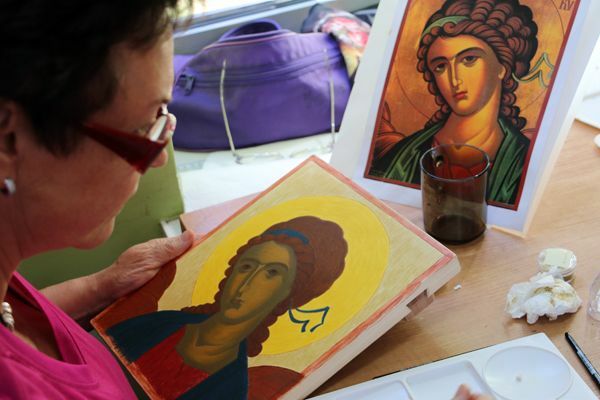 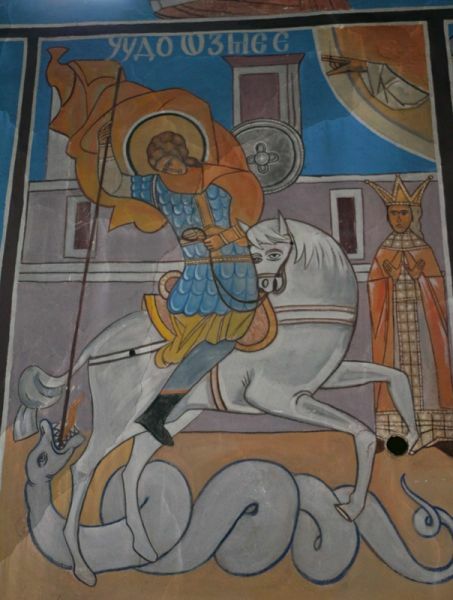 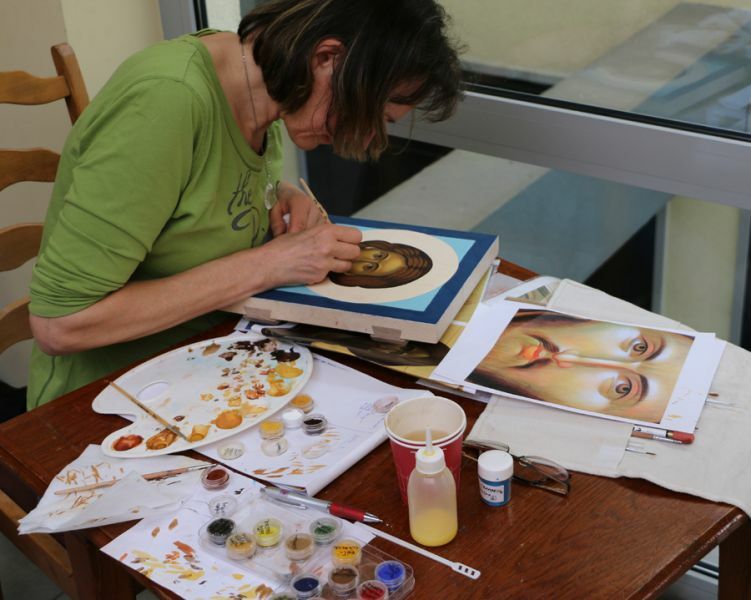 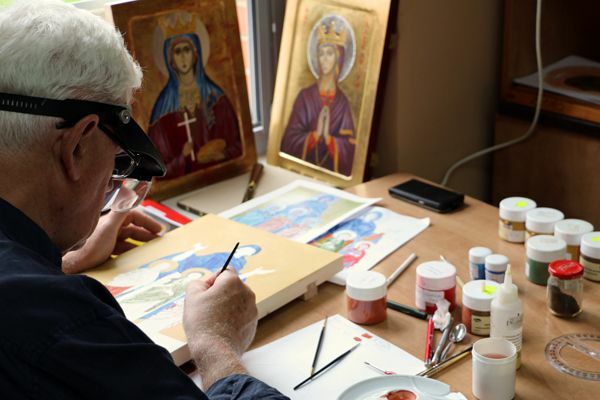 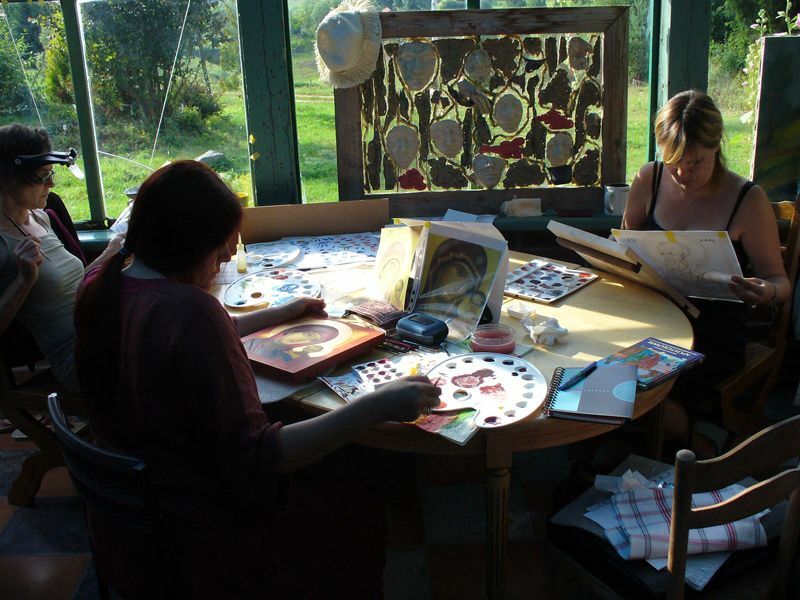 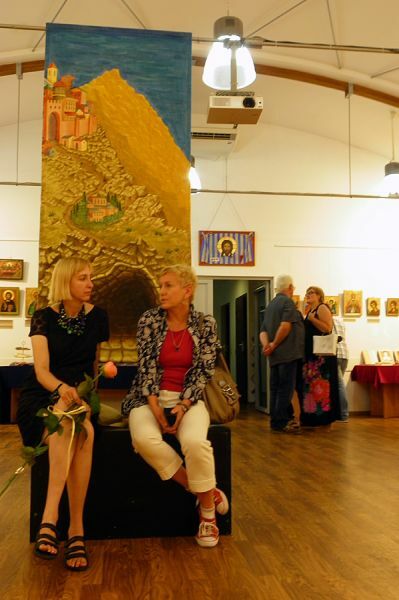 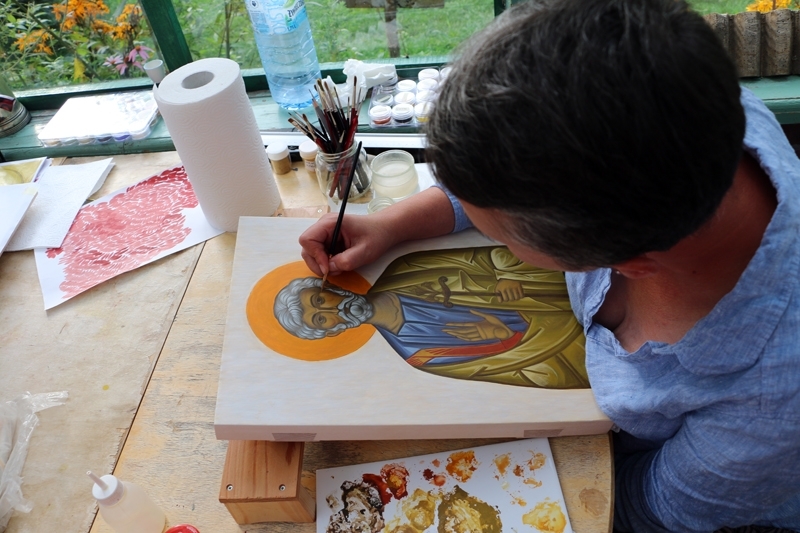 For painting we use the paint that was applicable even in Byzantium - egg tempera. 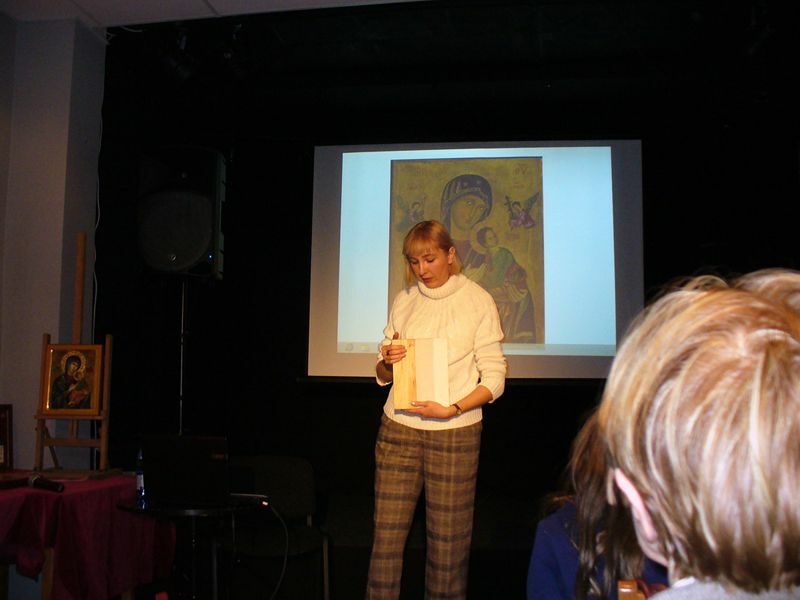 We also talked about the role of the canon and symbolic icons. 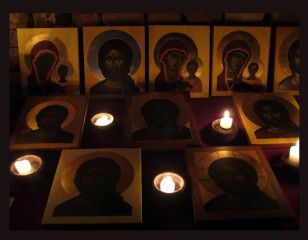 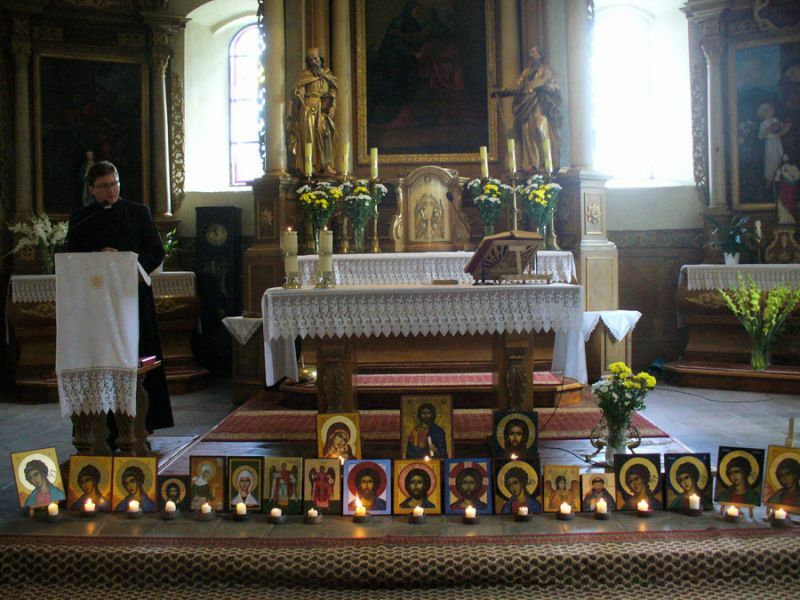 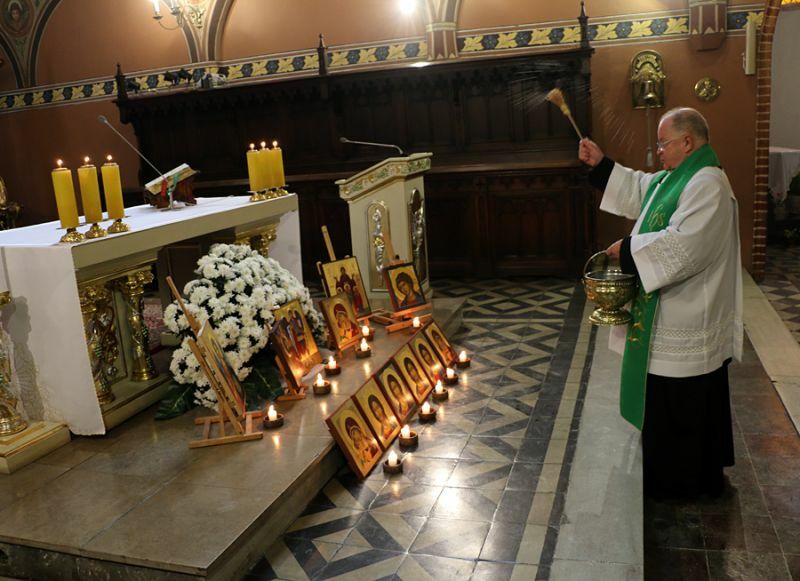 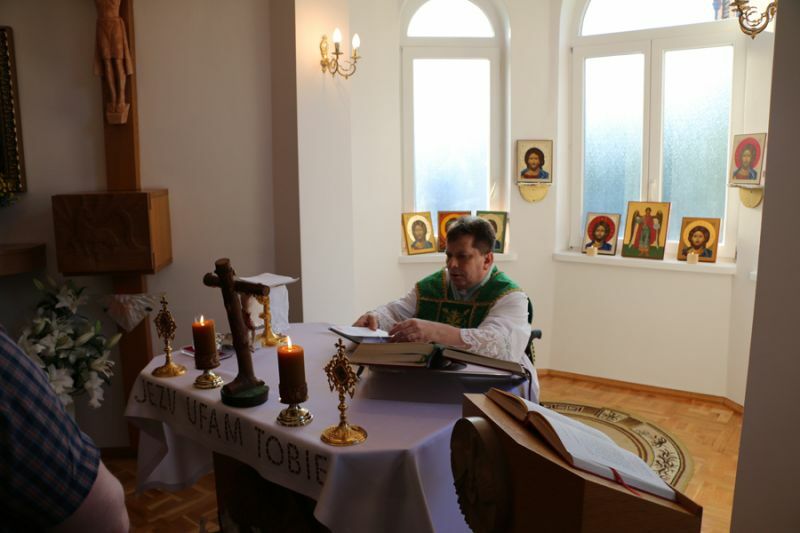 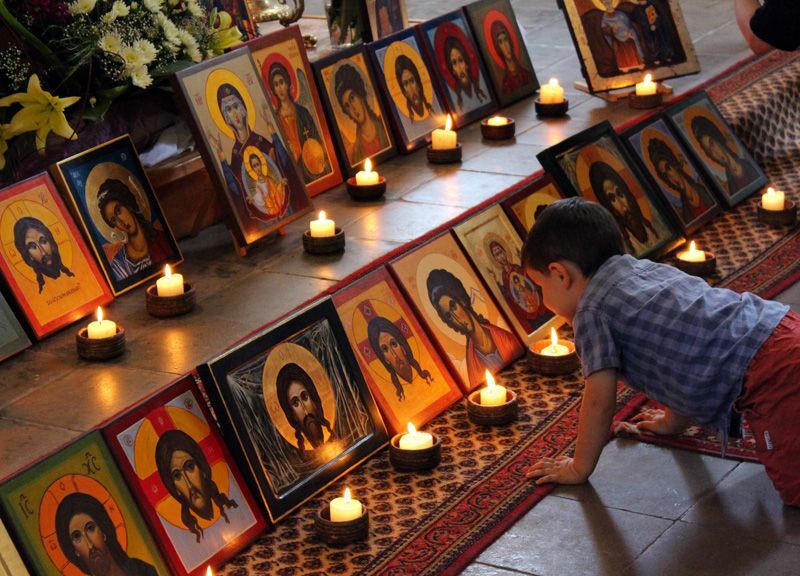 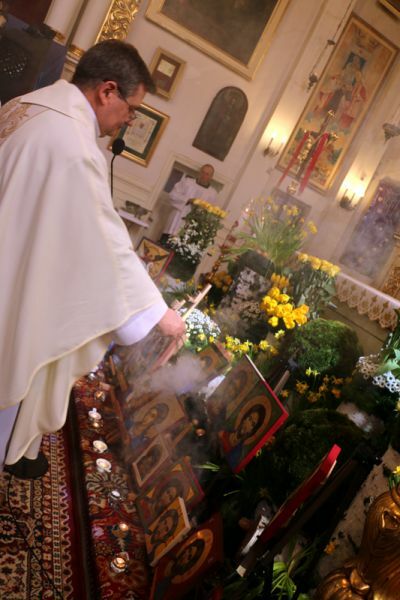 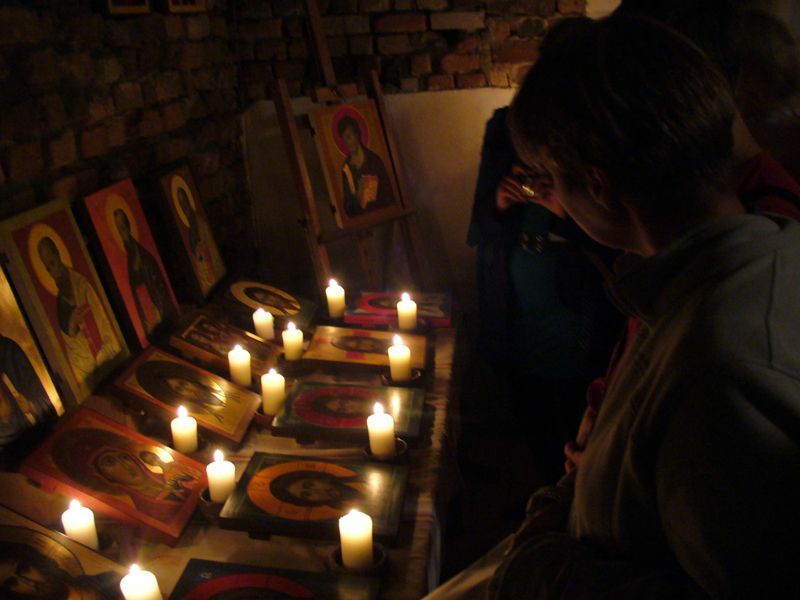 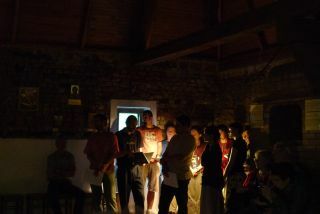 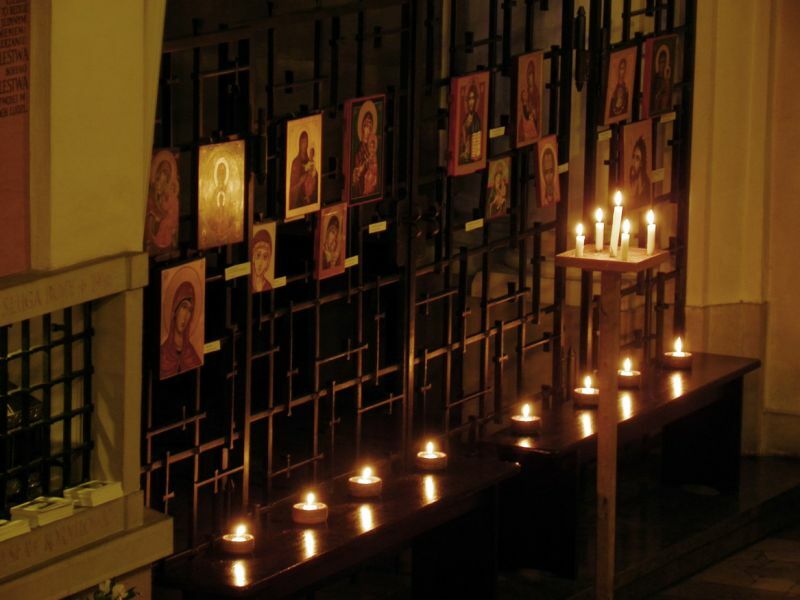 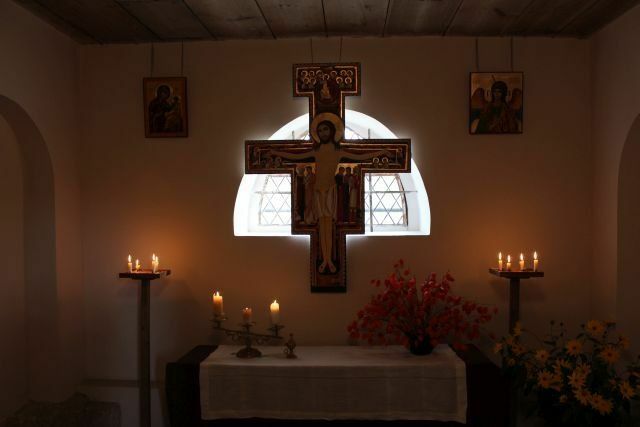 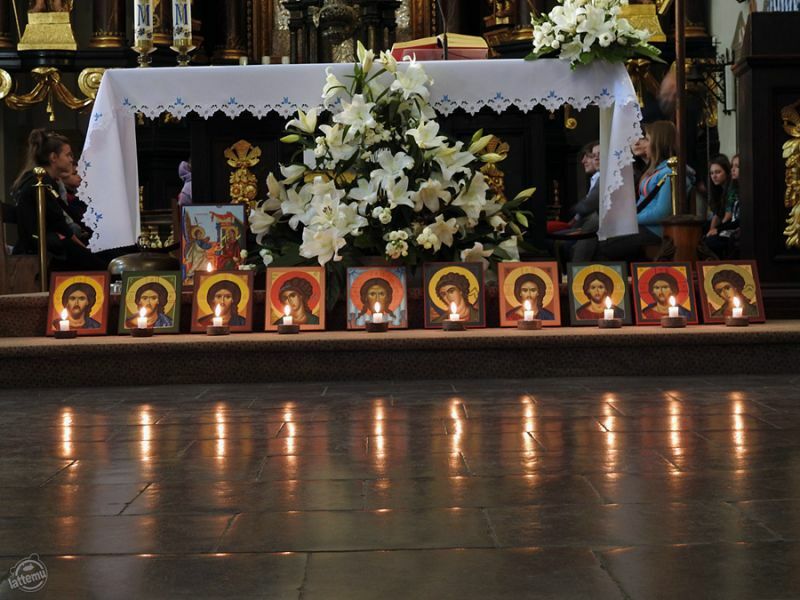 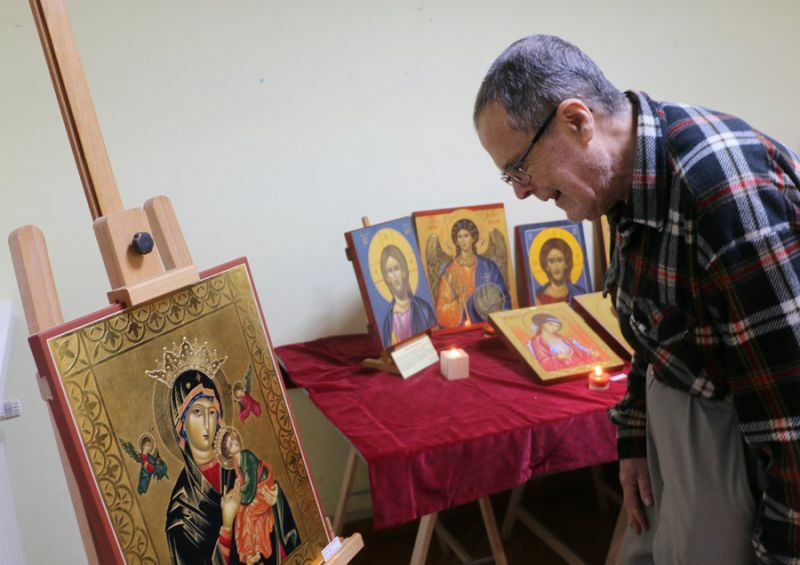 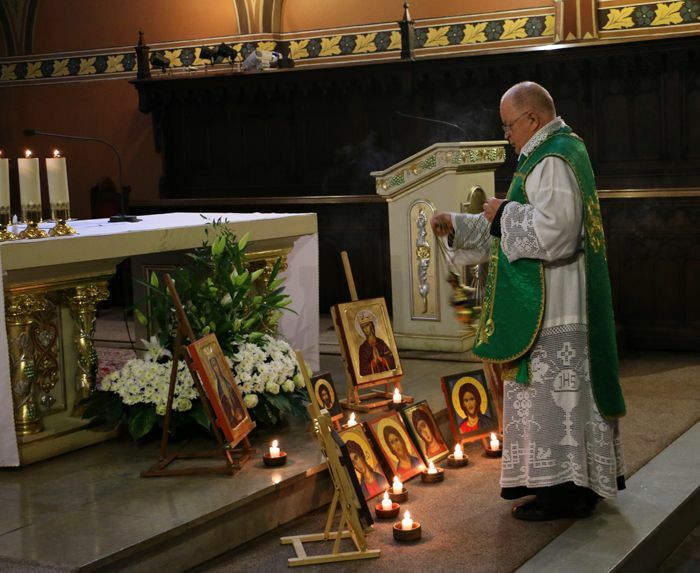 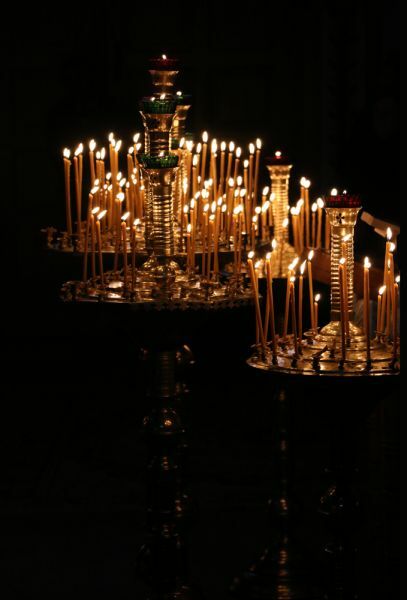 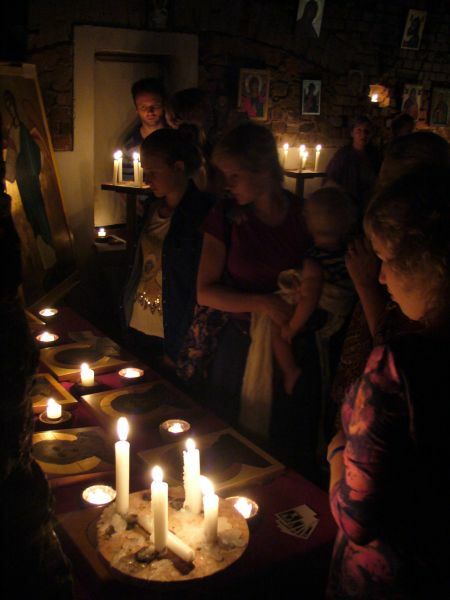 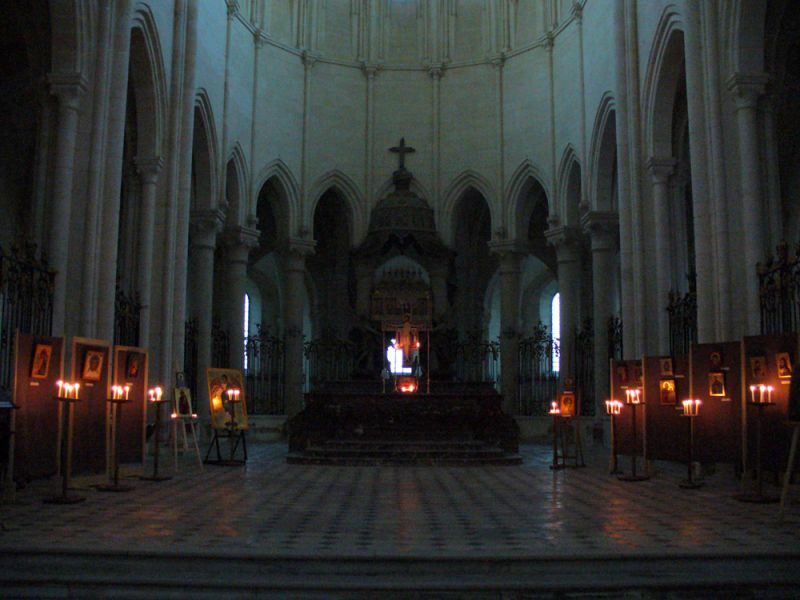 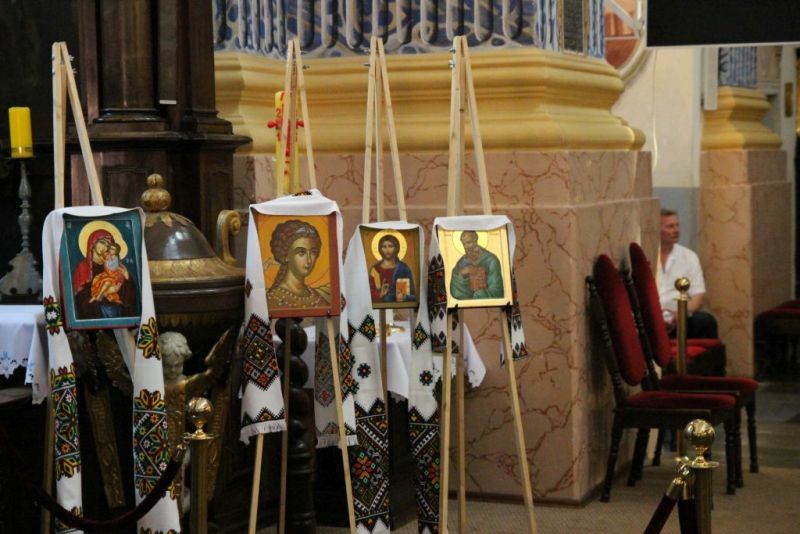 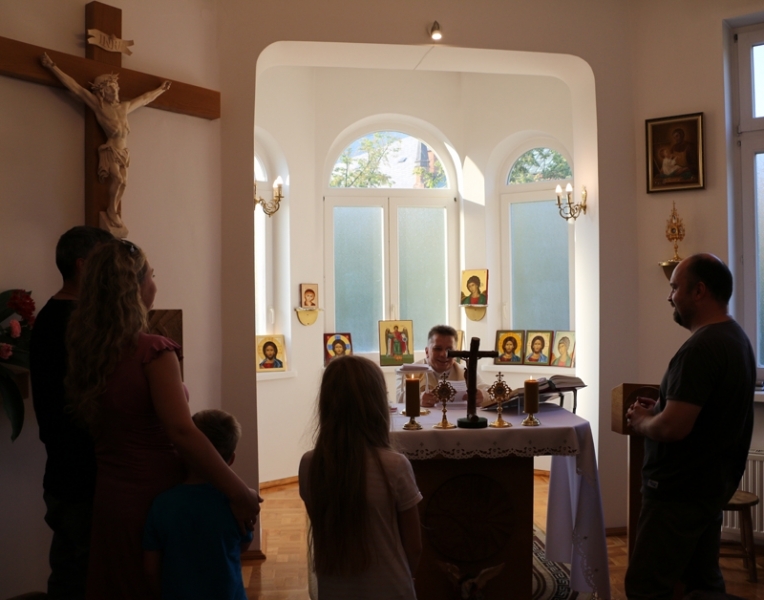 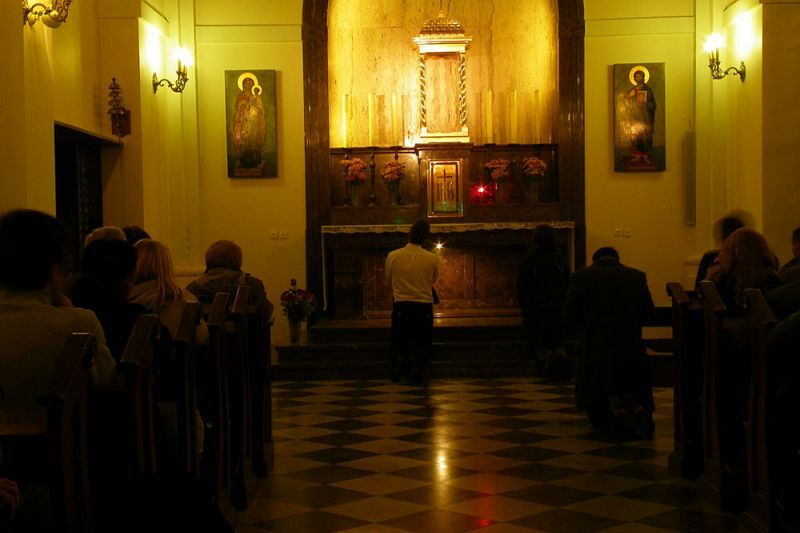 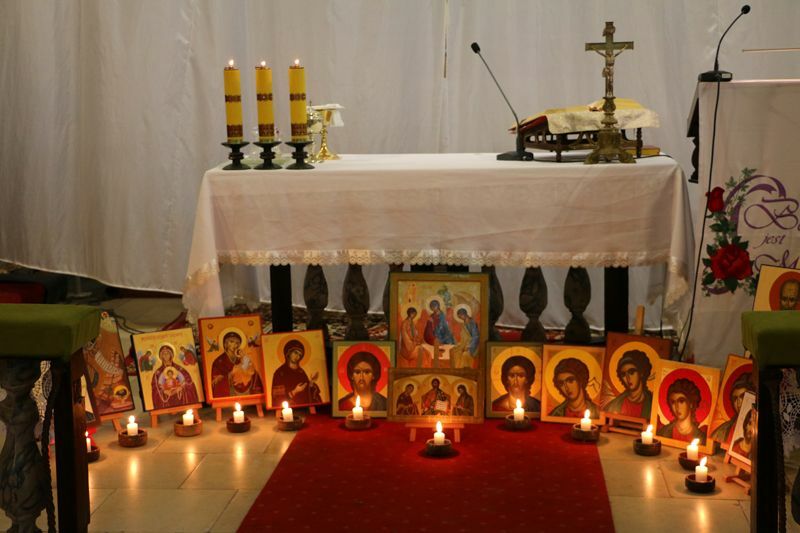 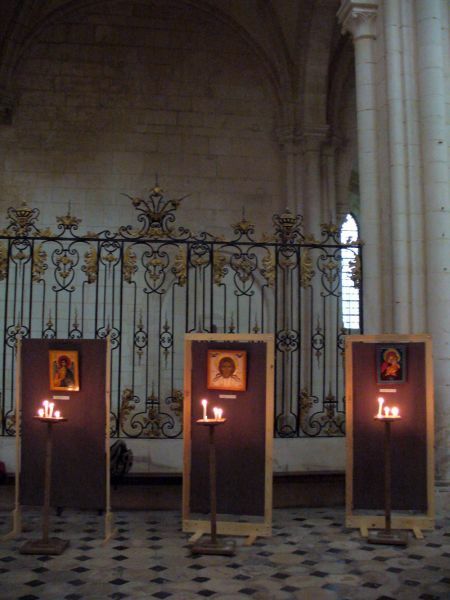 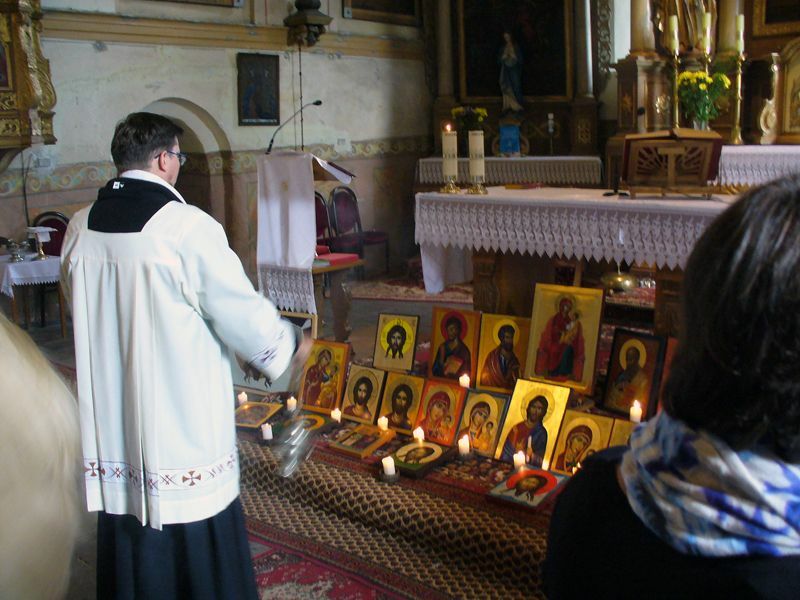 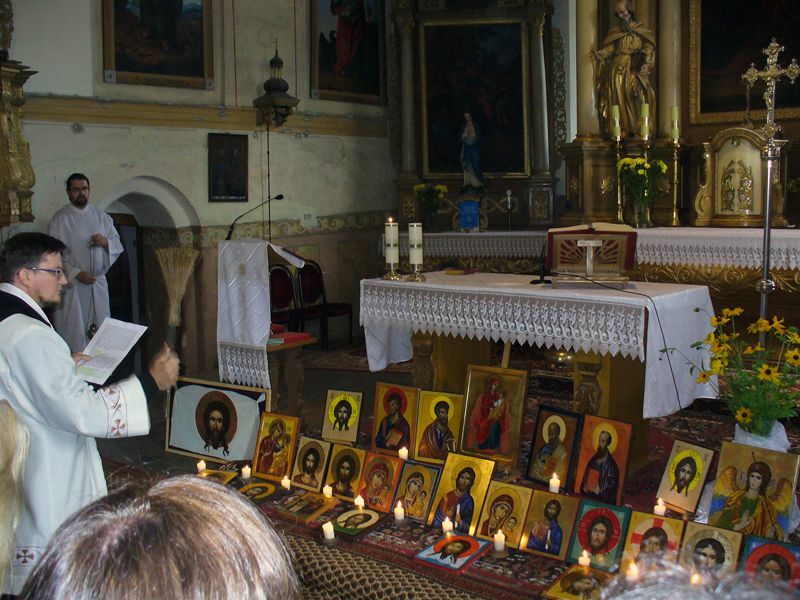 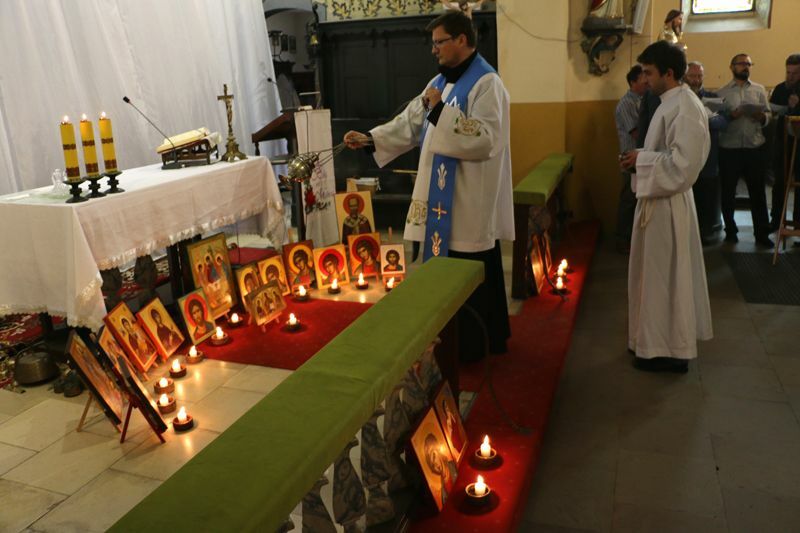 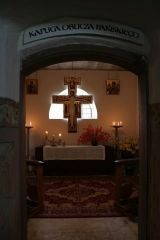 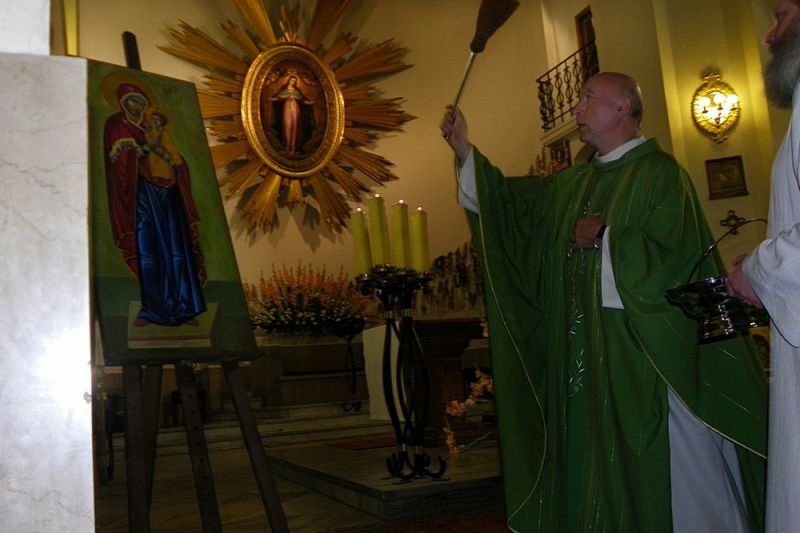 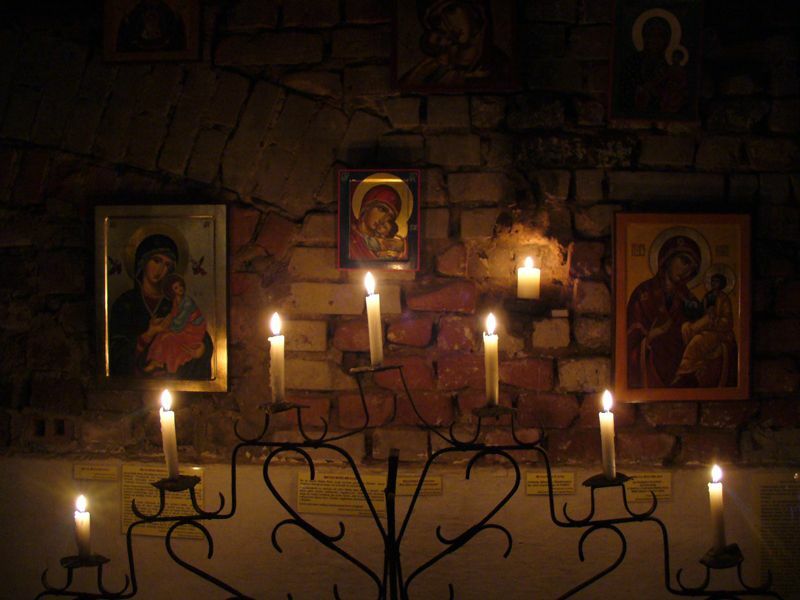 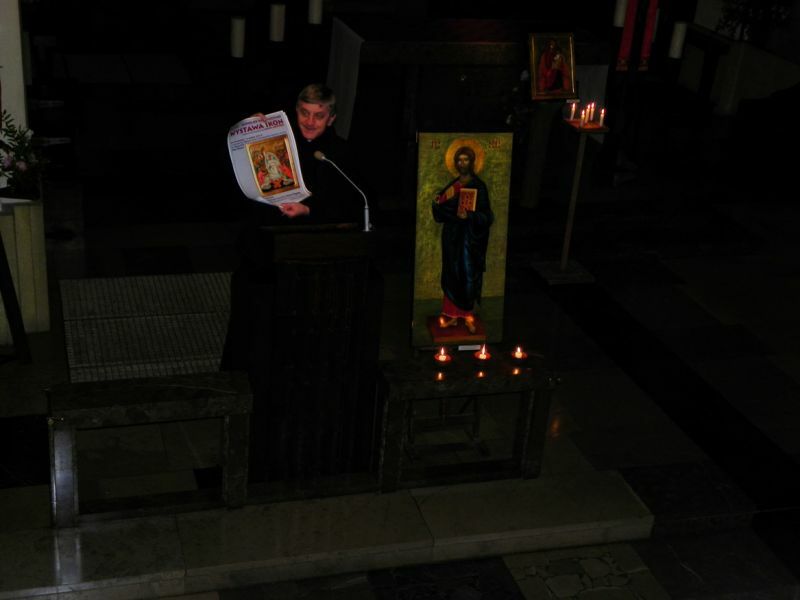 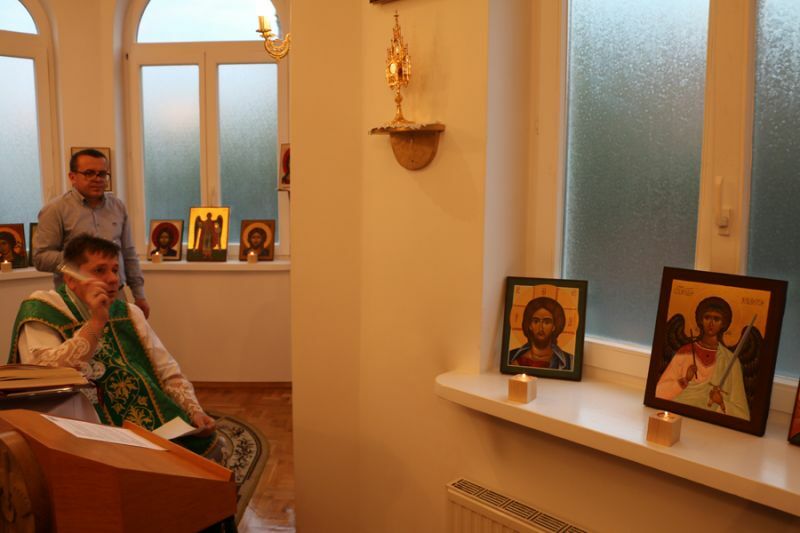 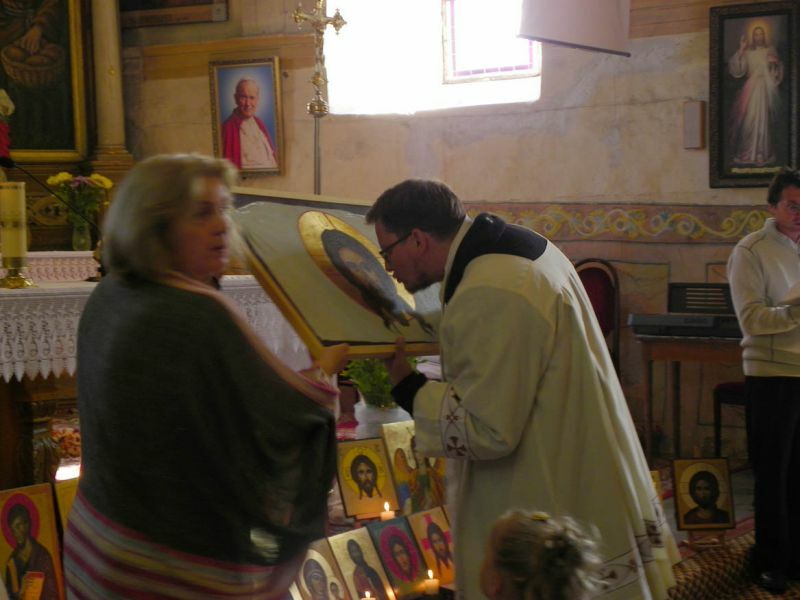 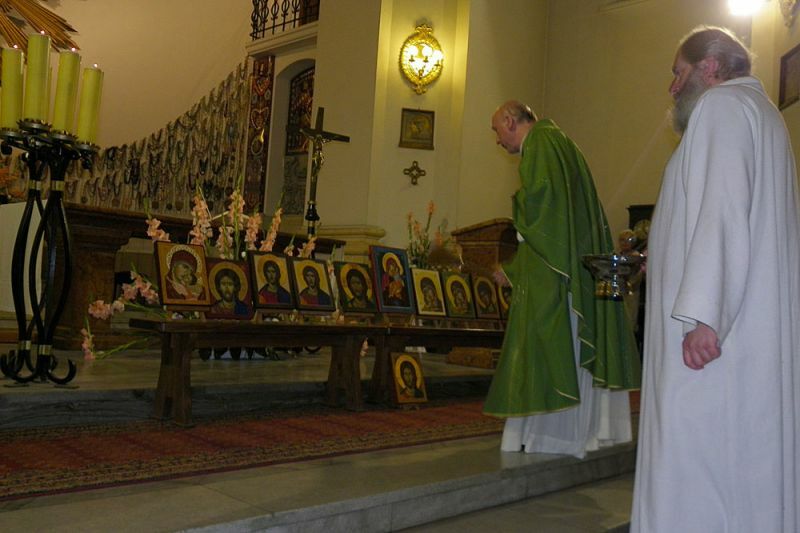 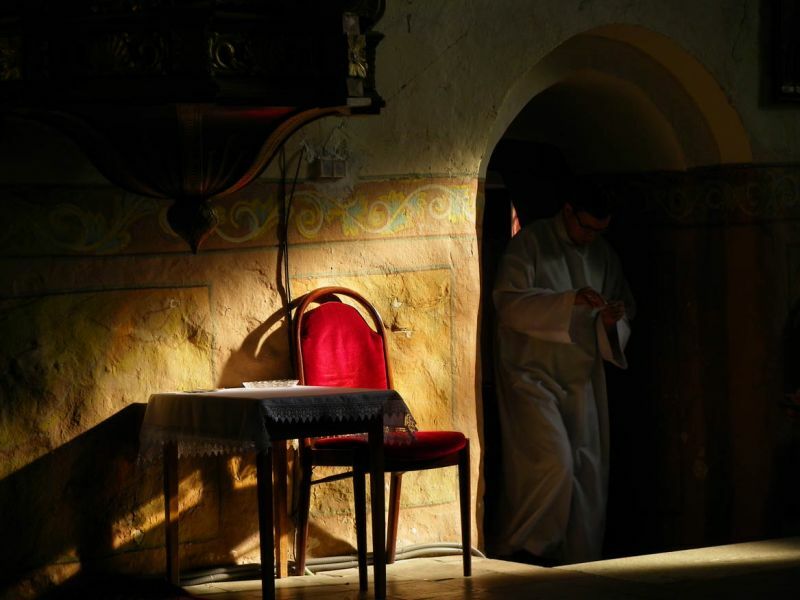 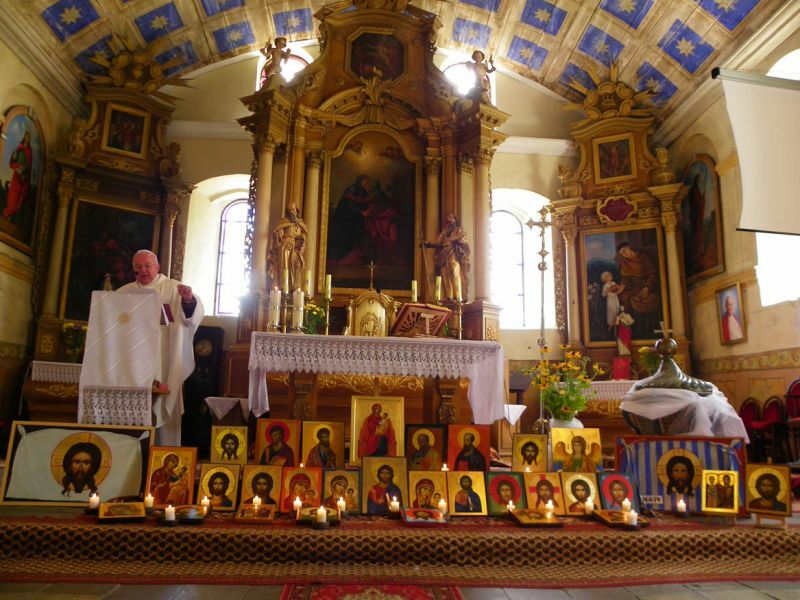 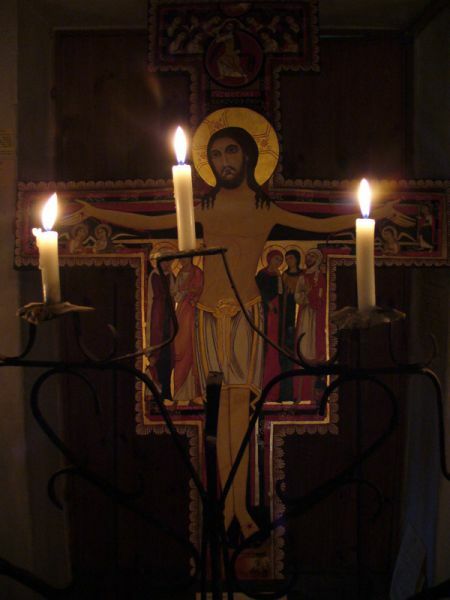 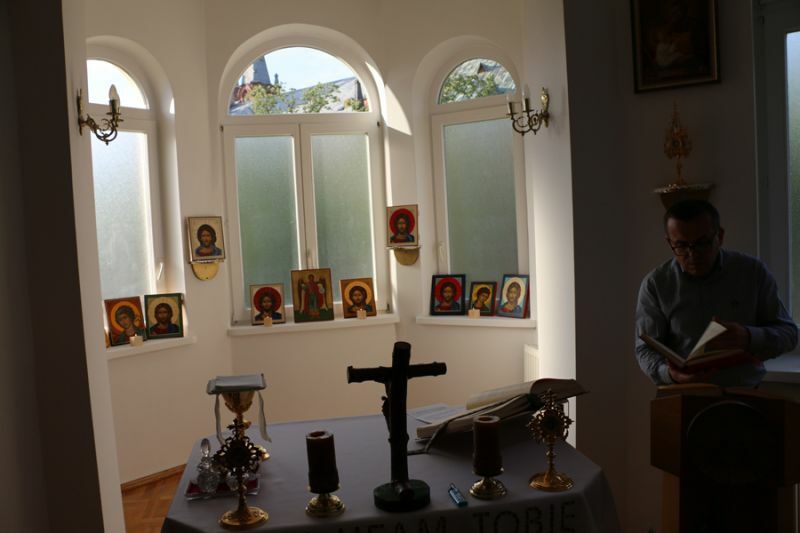 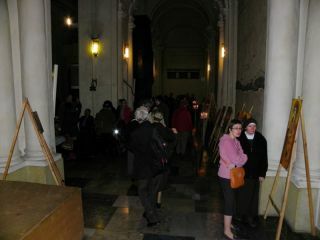 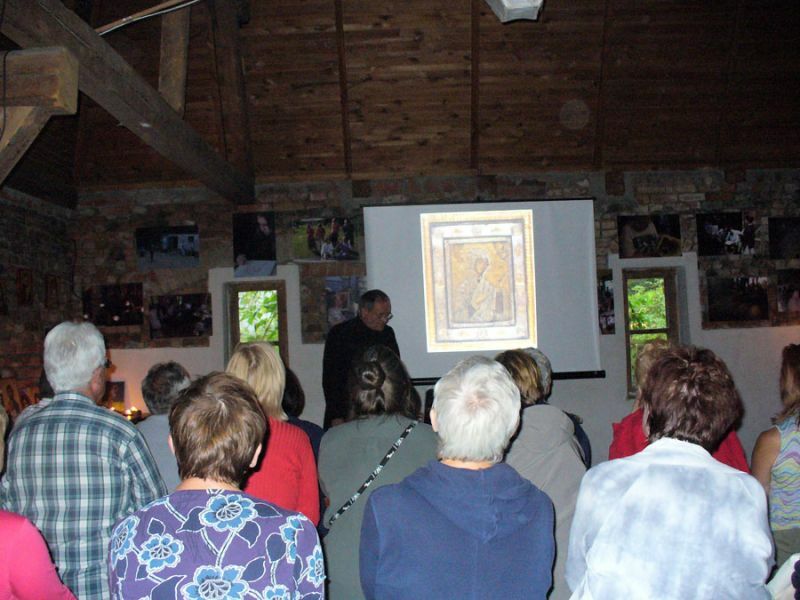 Evenings planned time for the contemplation of icons, which led us in a lecture by Dr. Fr. 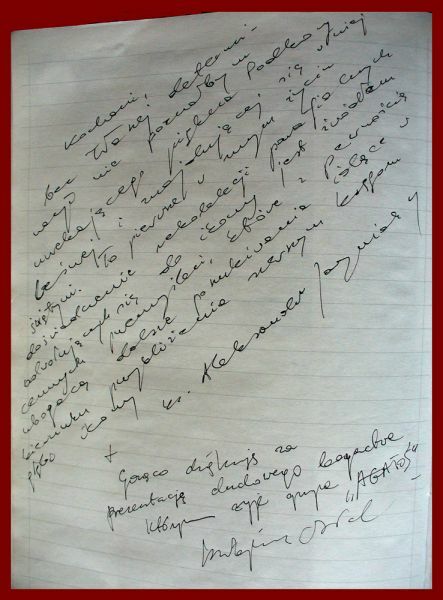 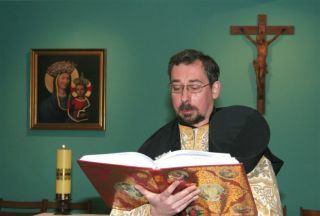 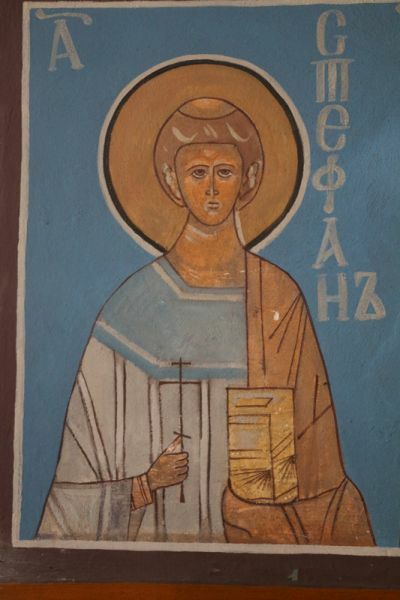 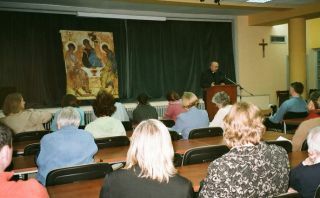 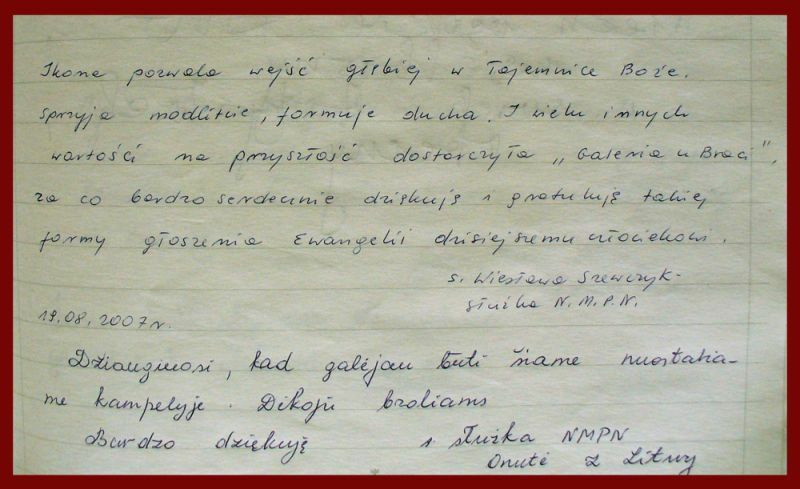 Alexander Jacyniaka SJ. 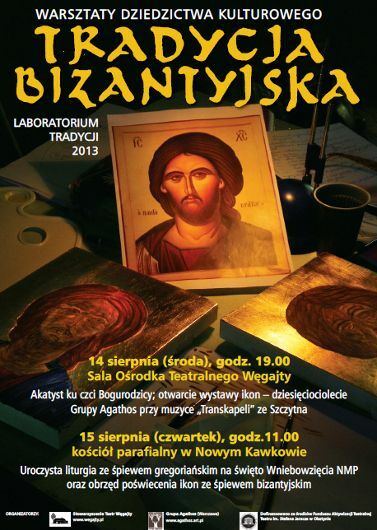 Laboratory icon was placed in a room at the Center Theatre Węgajty . 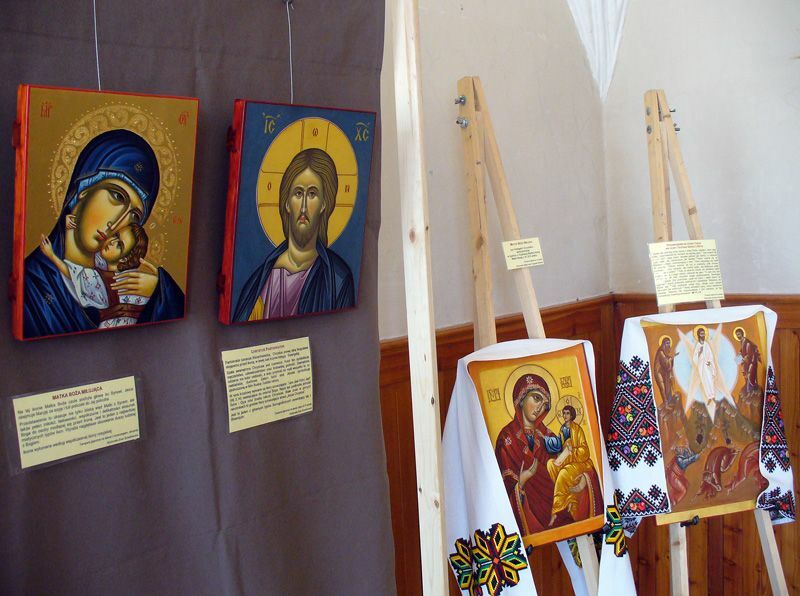 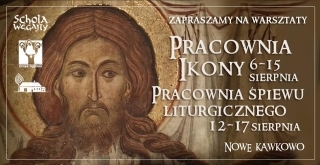 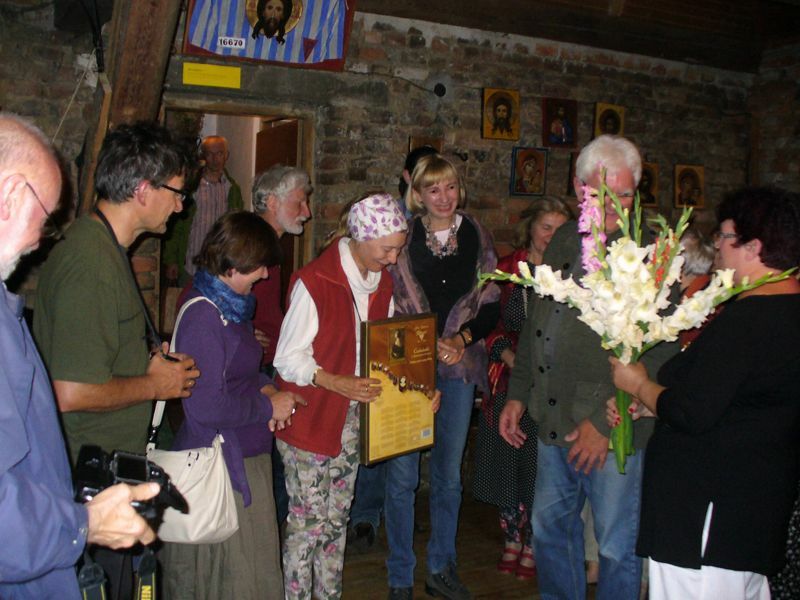 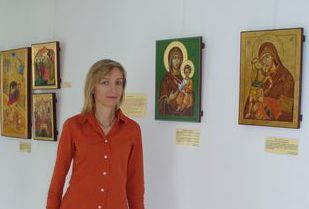 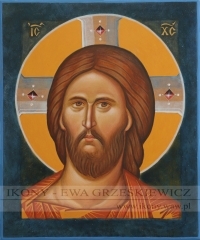 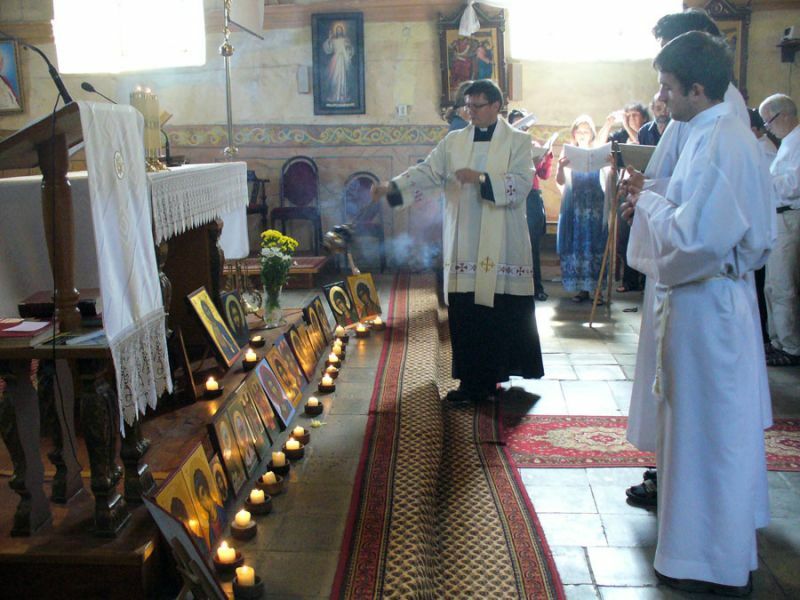 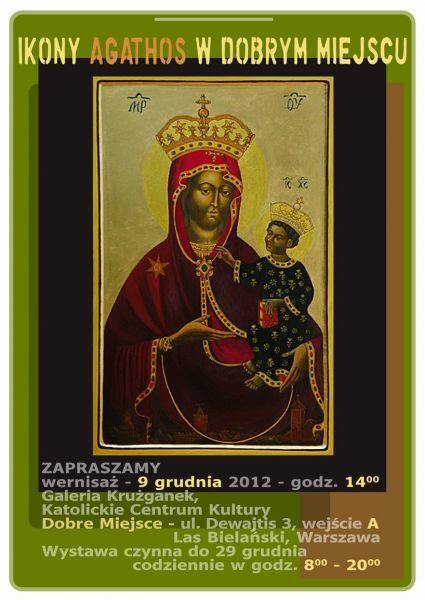 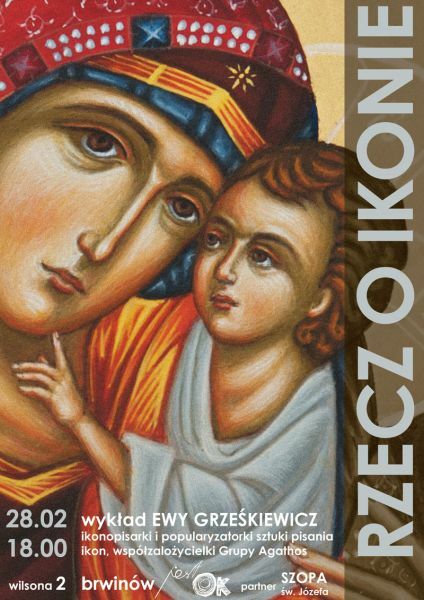 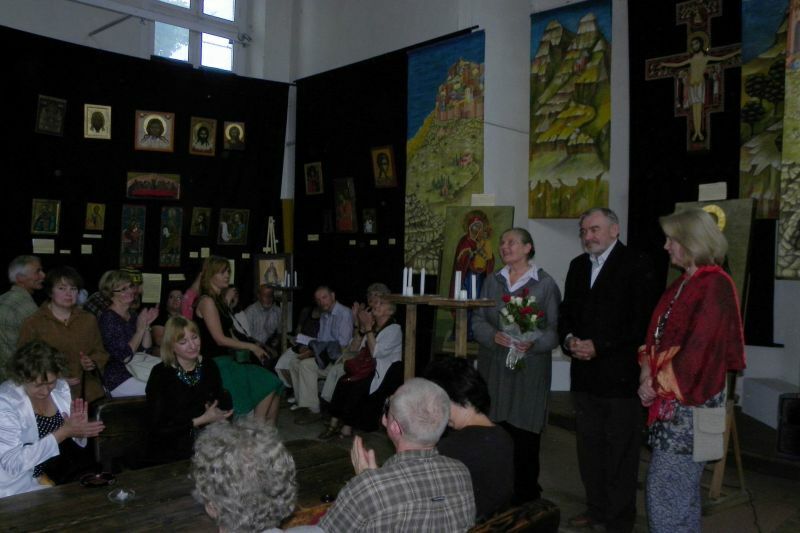 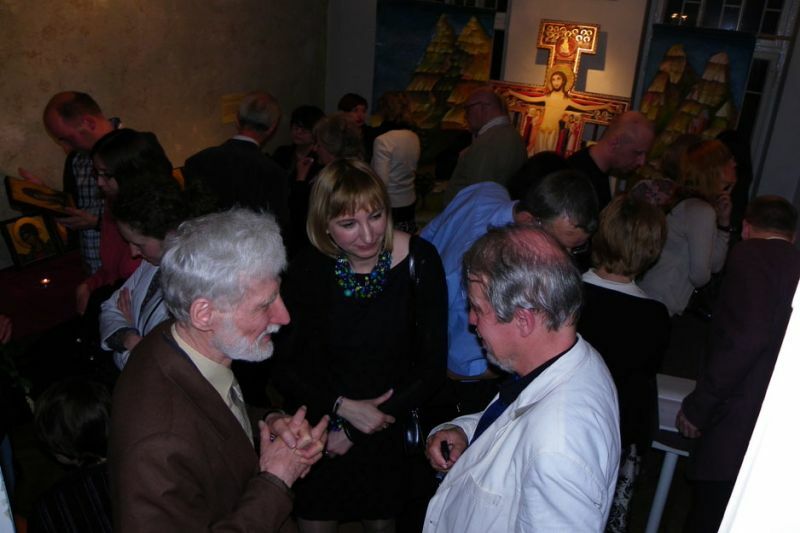 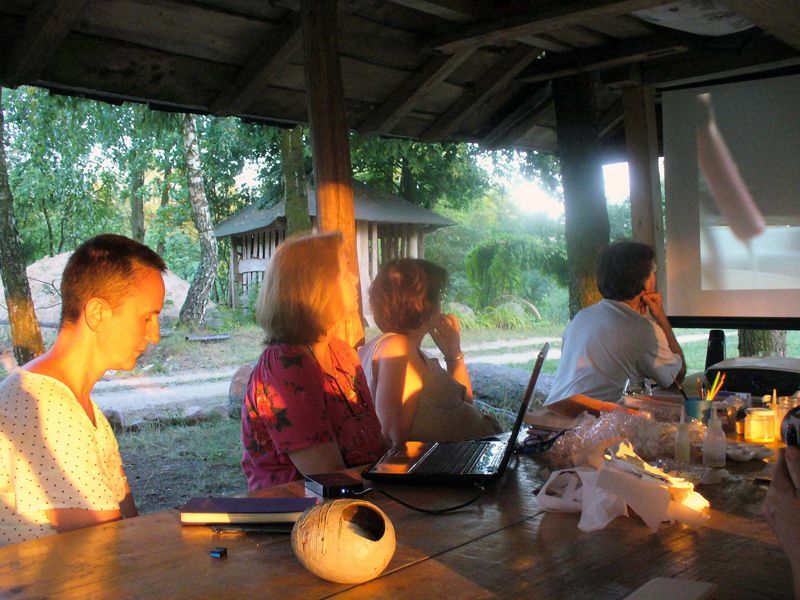 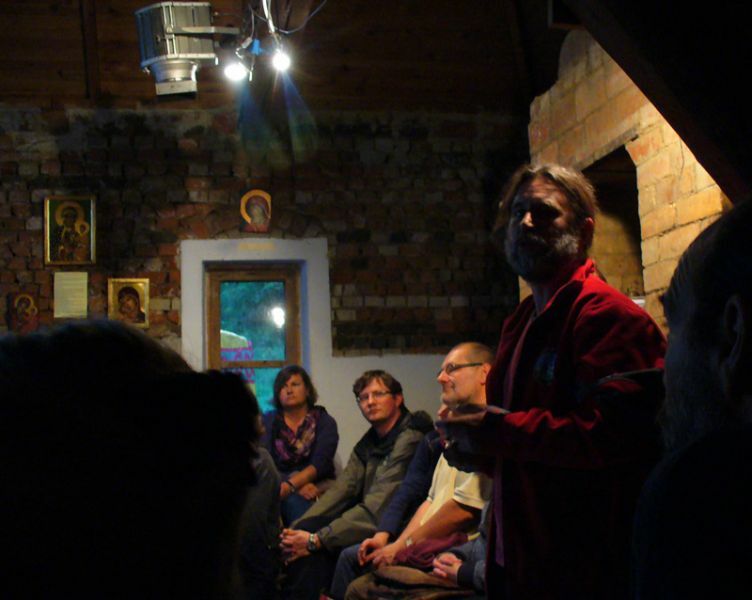 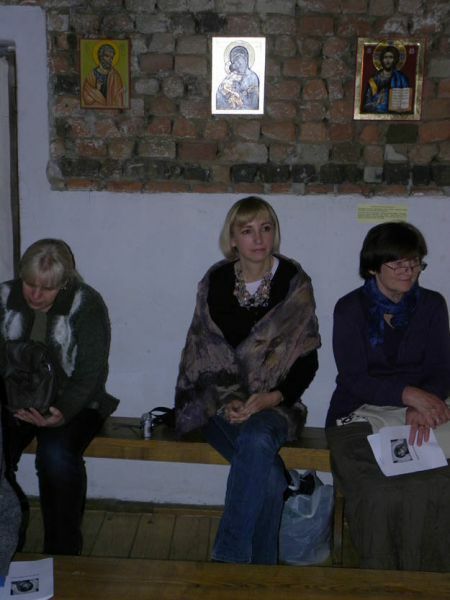 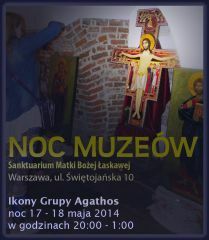 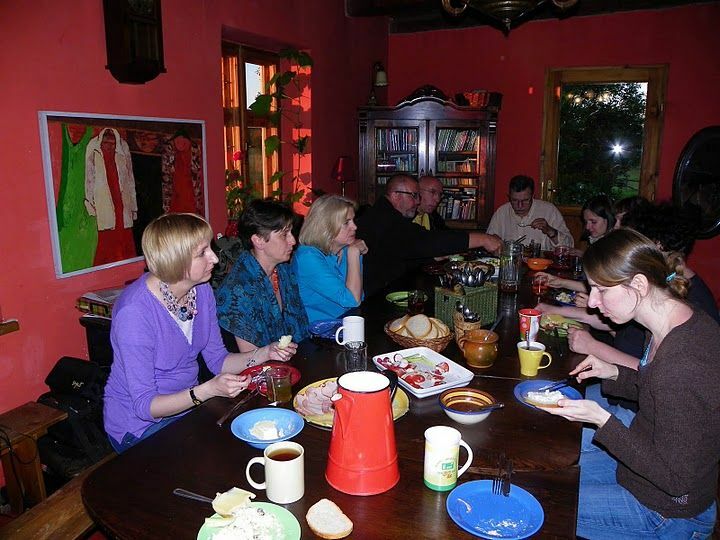 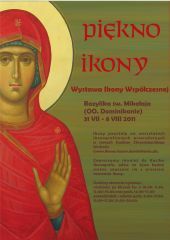 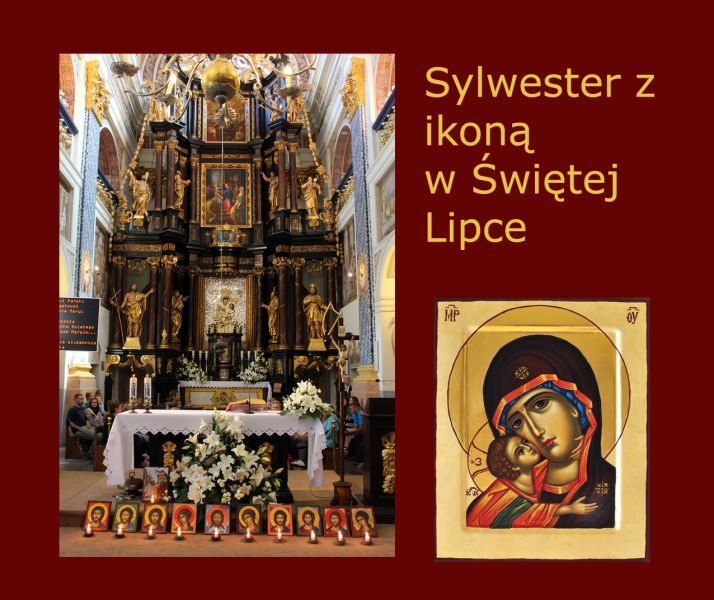 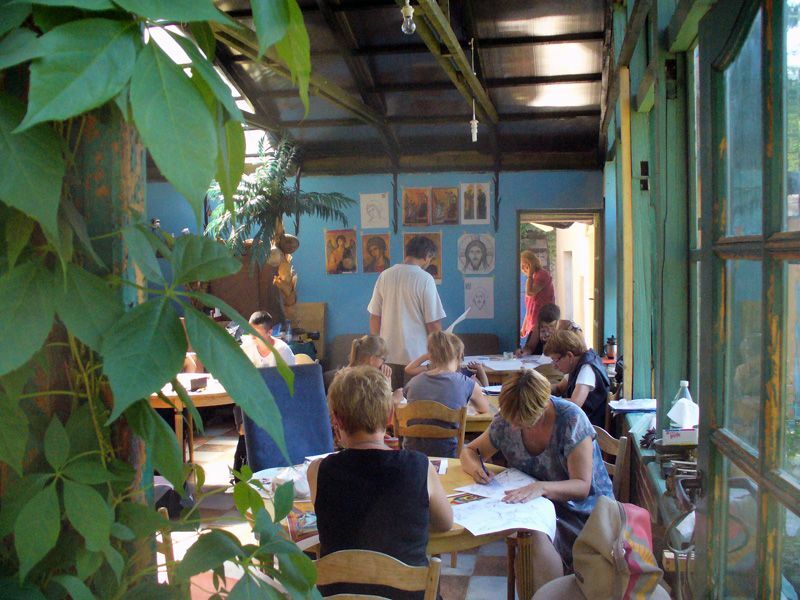 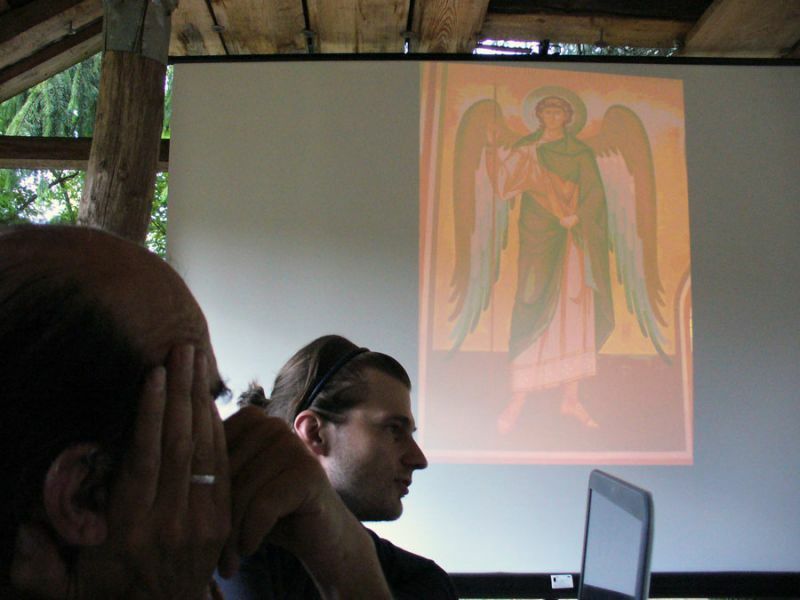 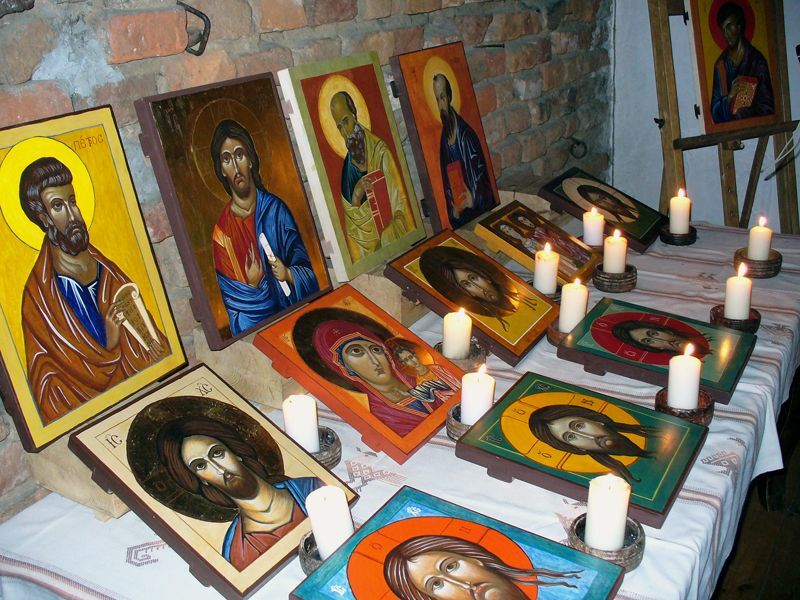 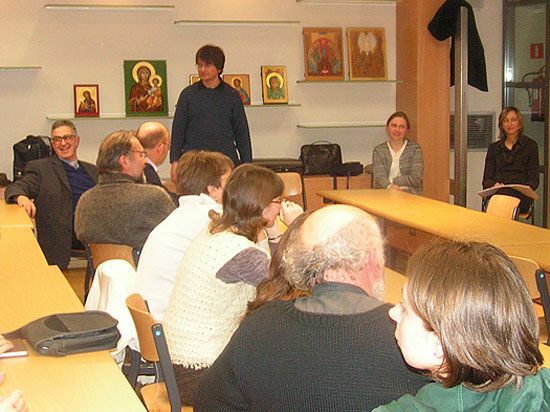 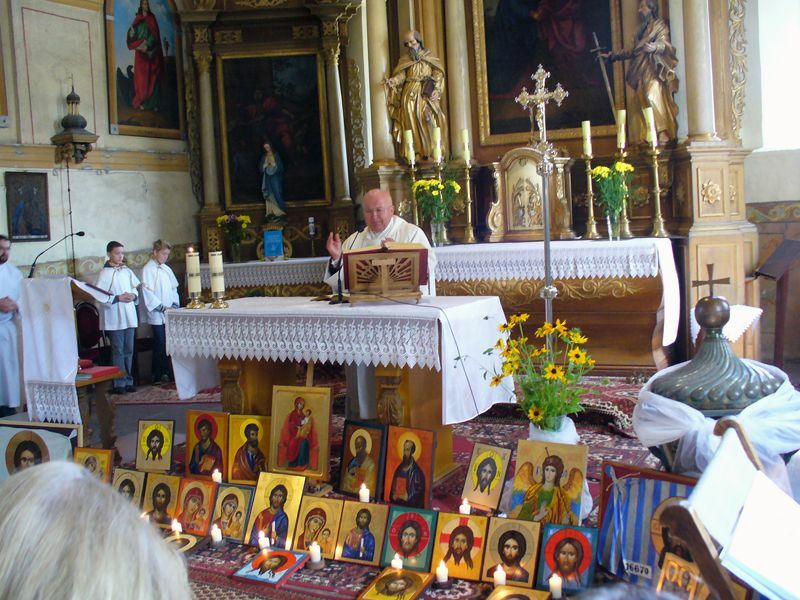 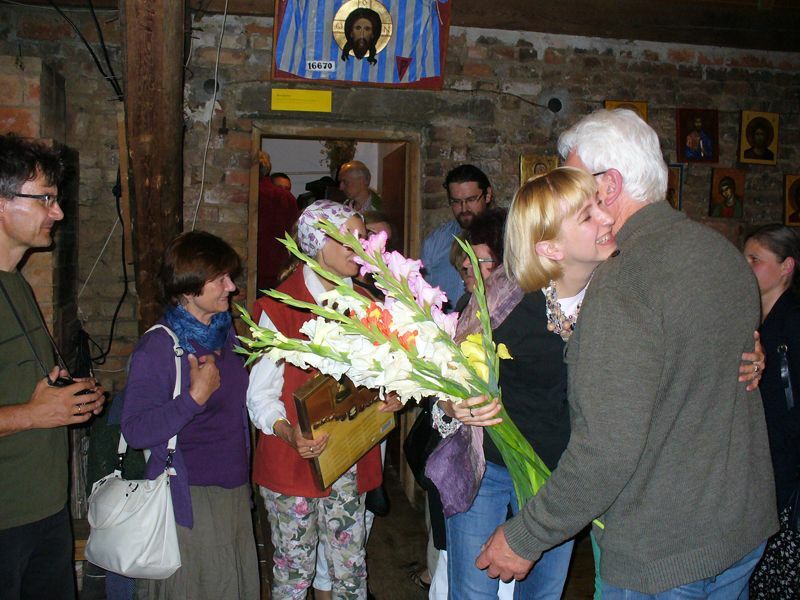 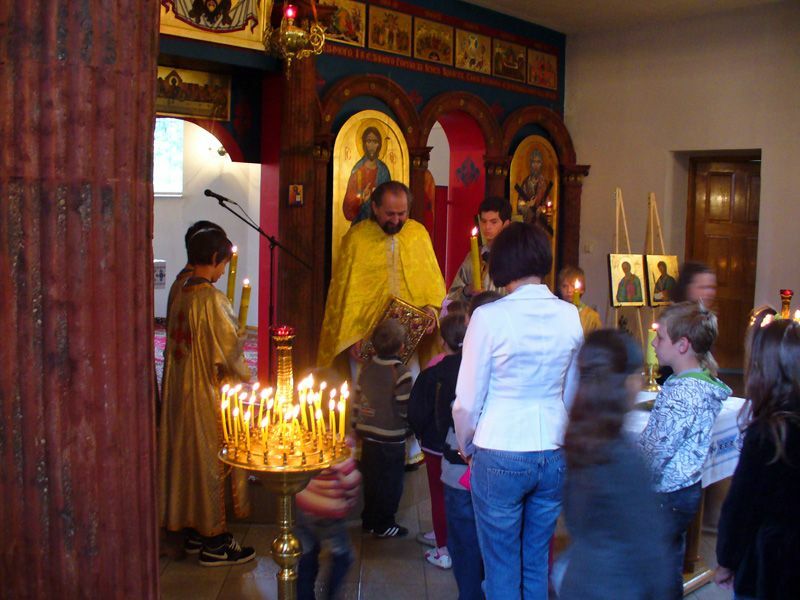 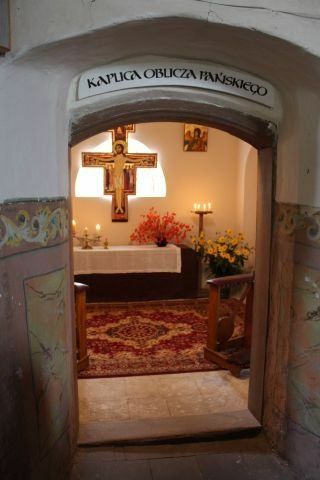 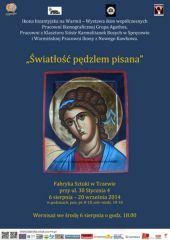 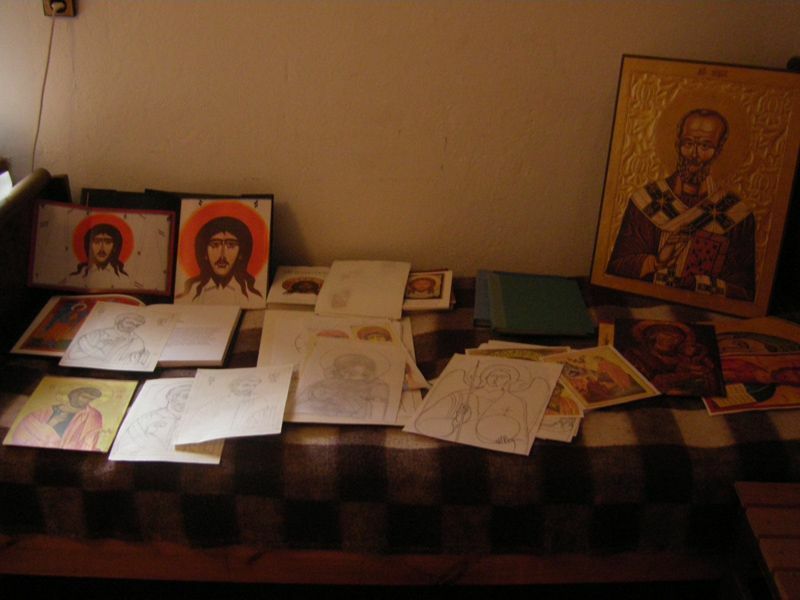 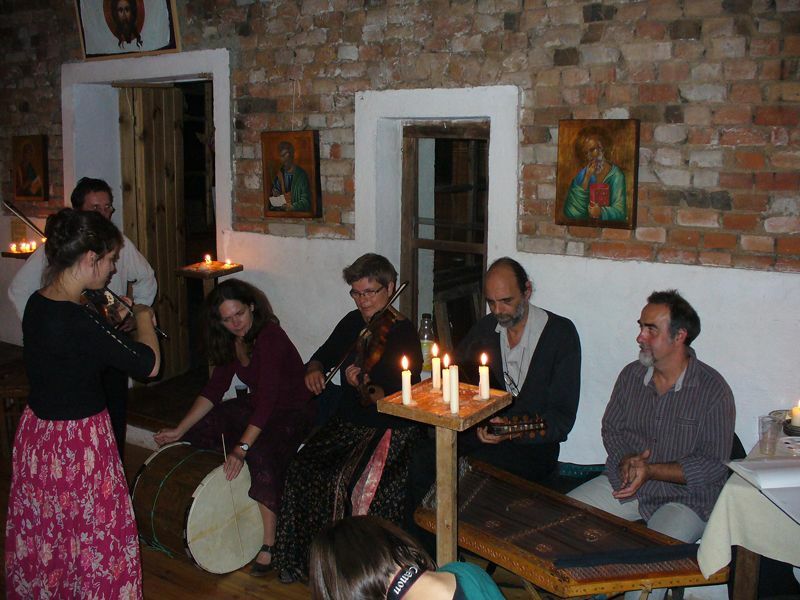 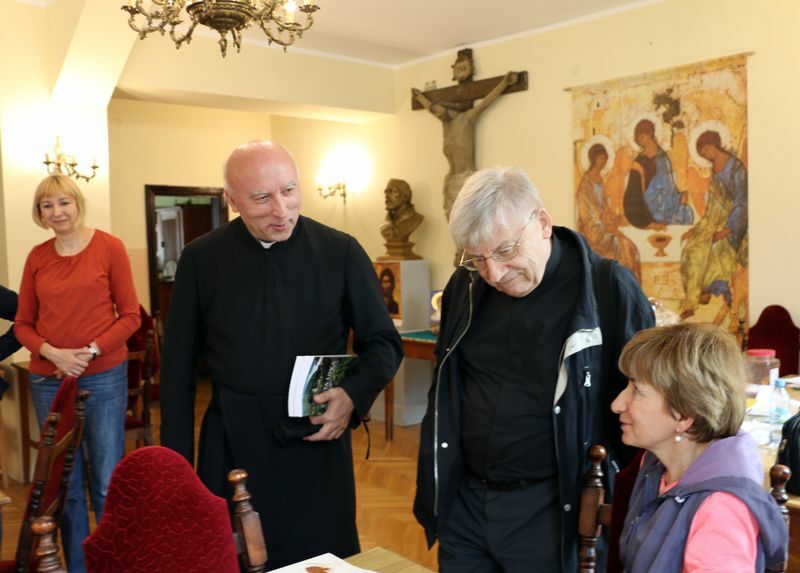 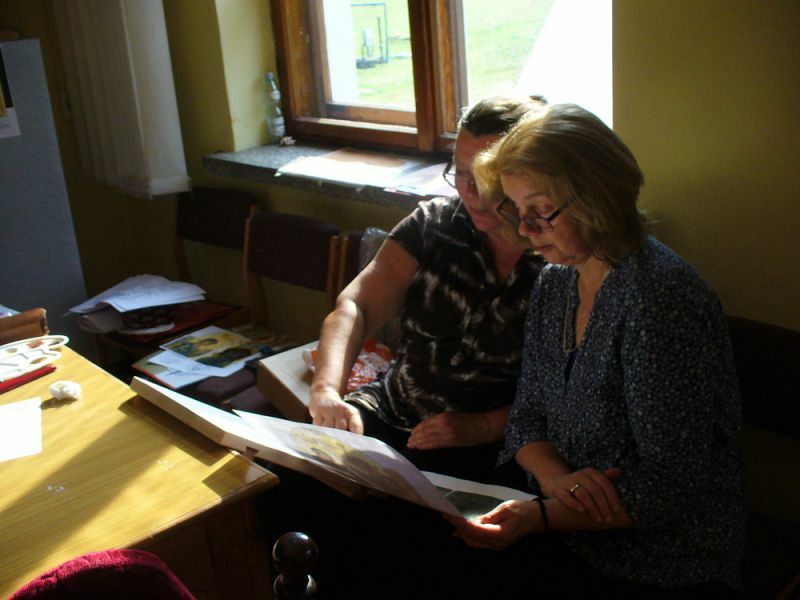 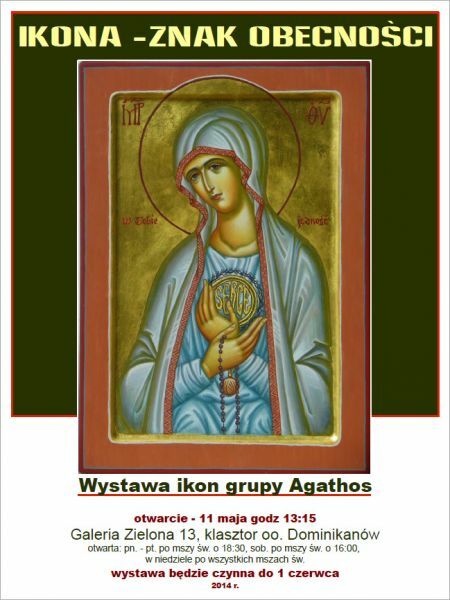 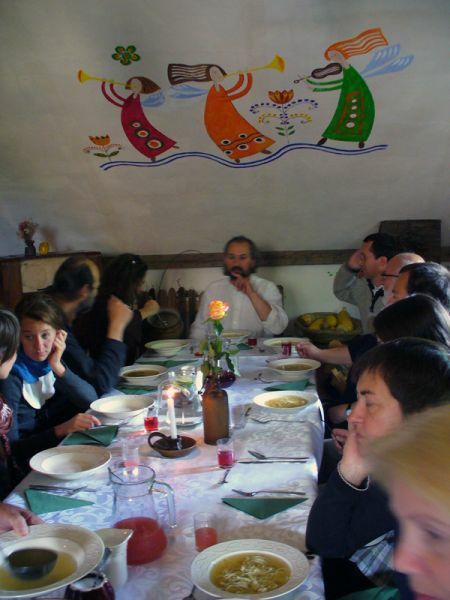 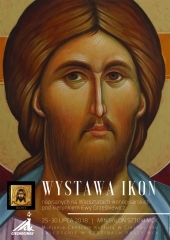 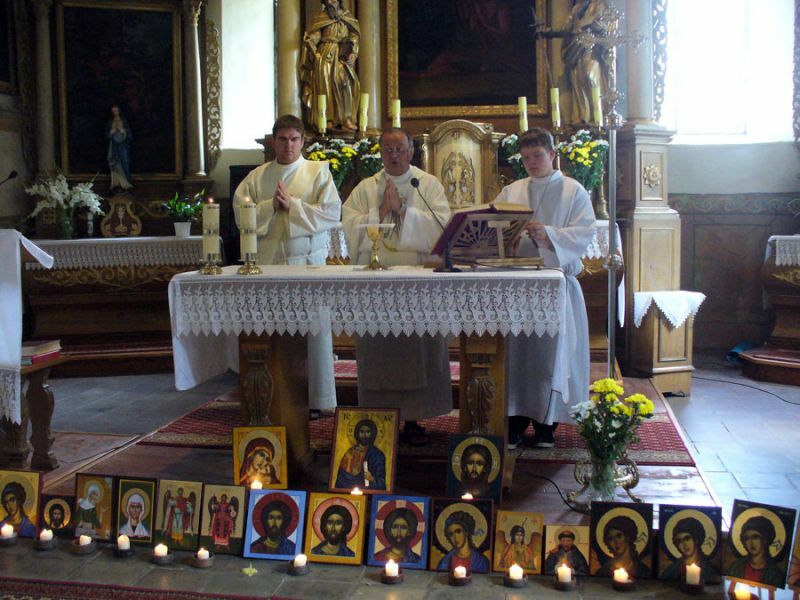 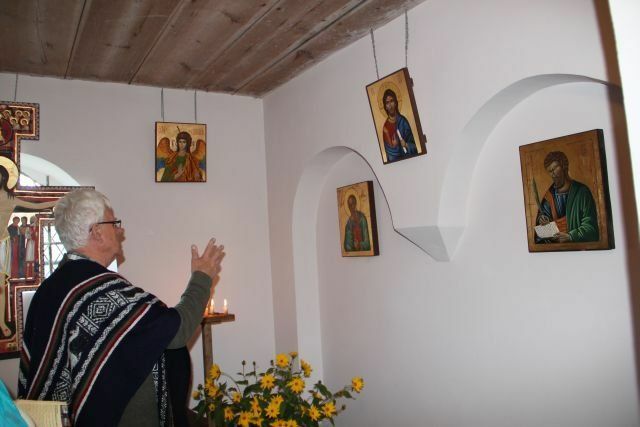 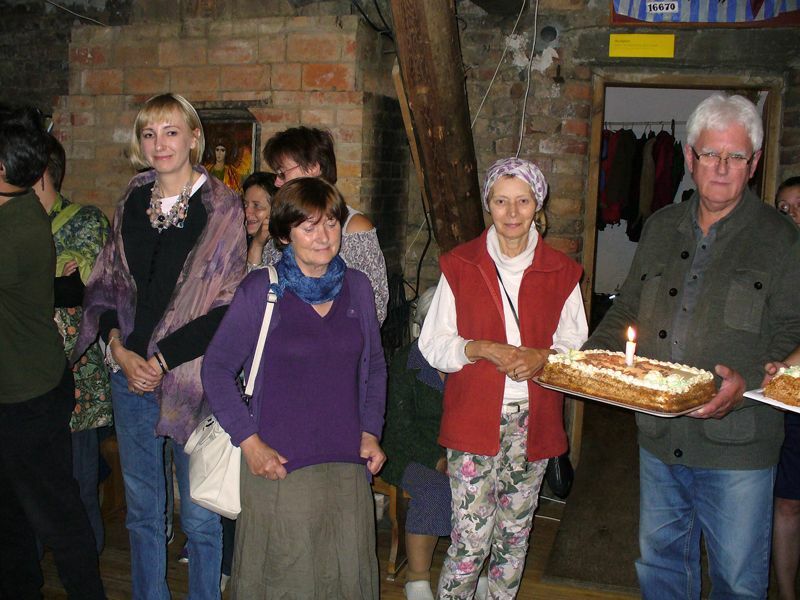 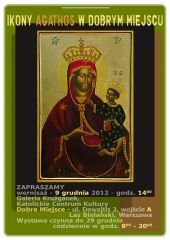 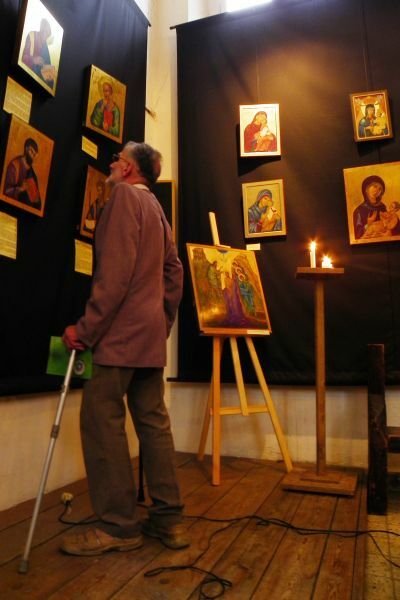 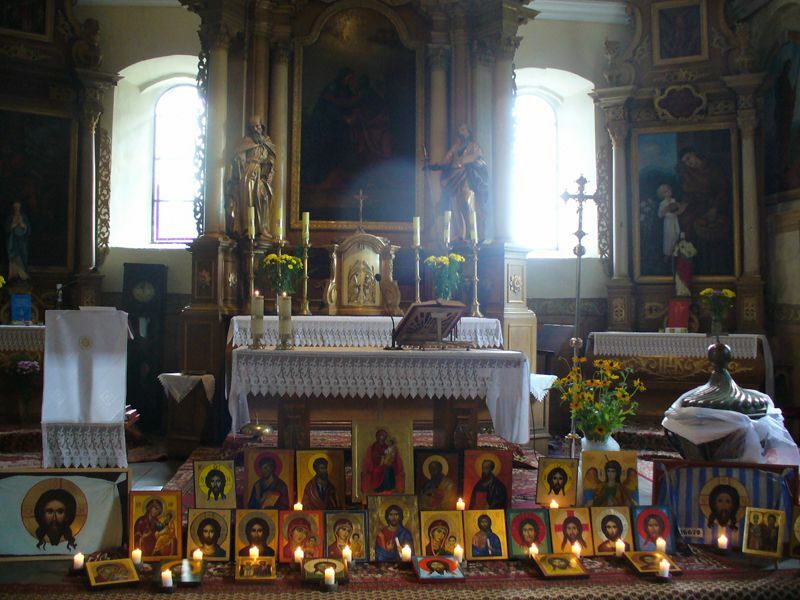 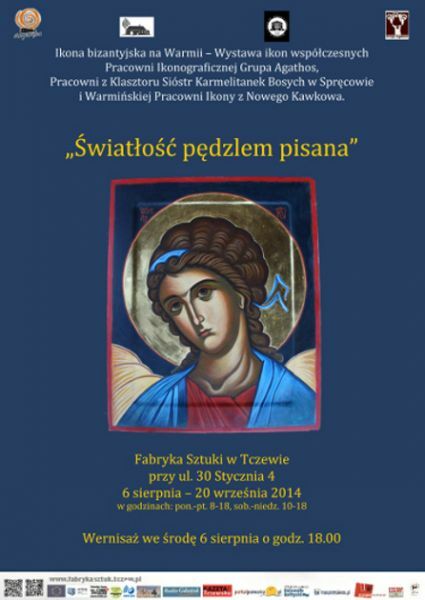 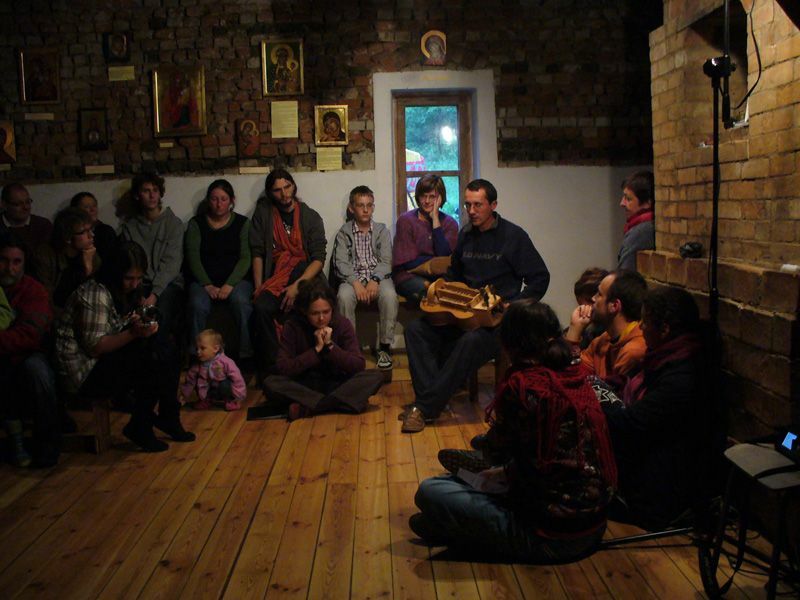 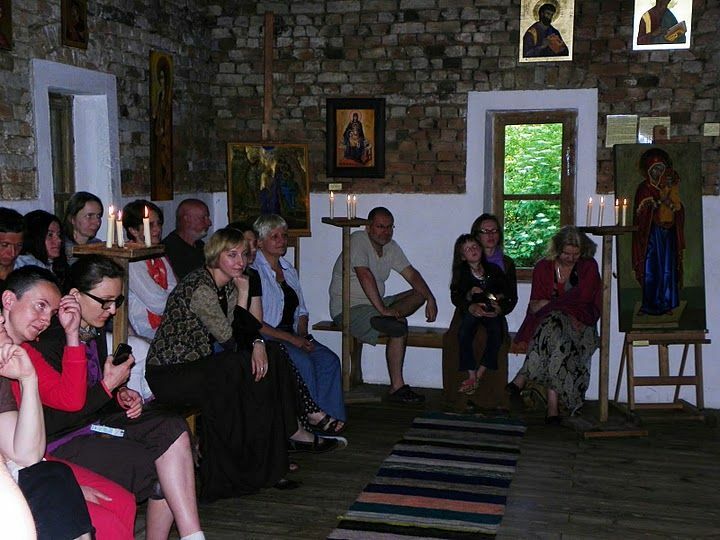 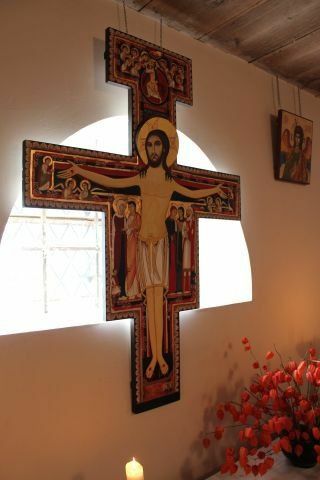 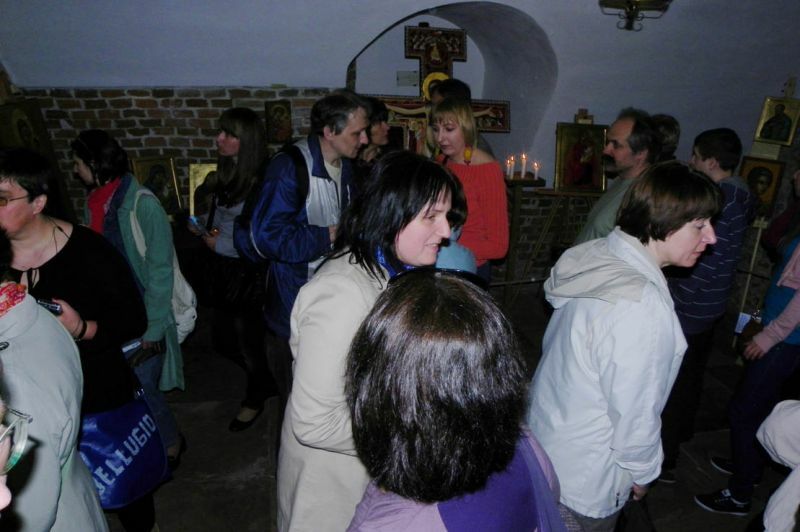 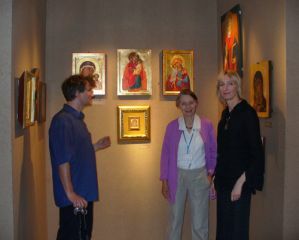 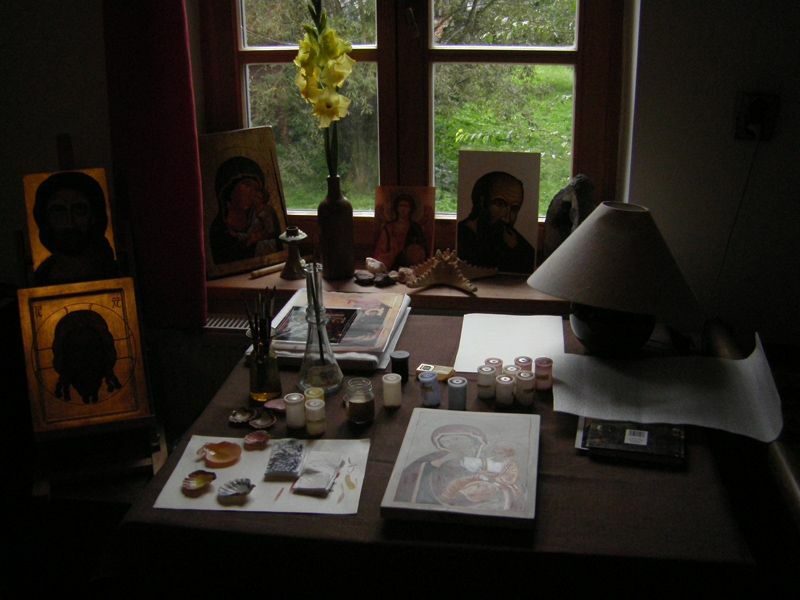 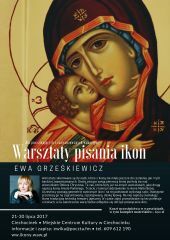 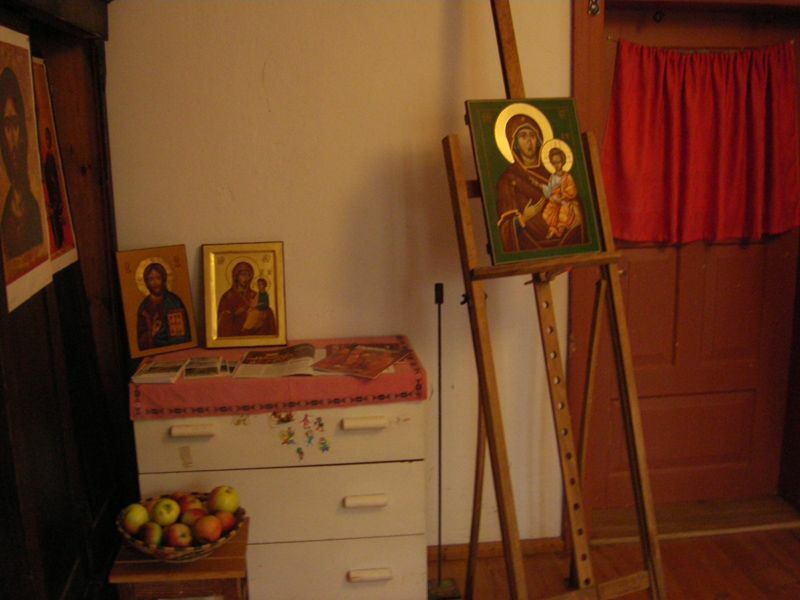 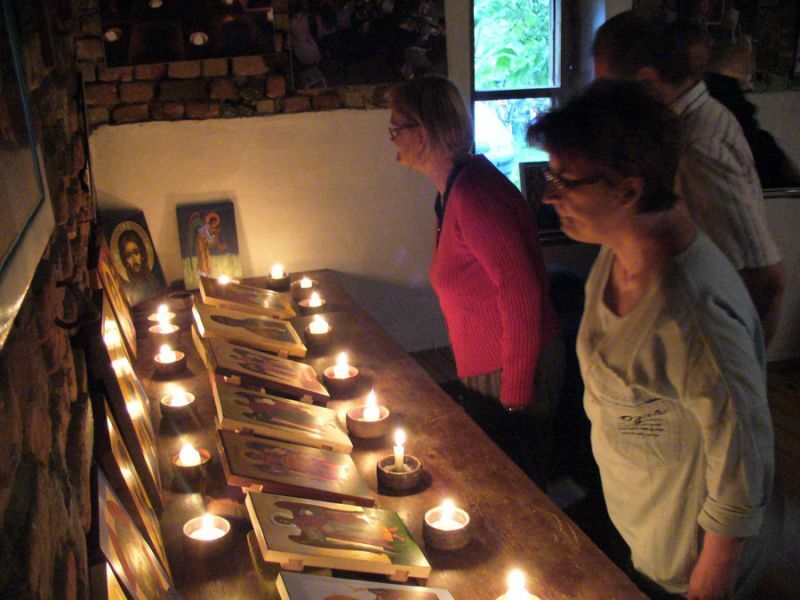 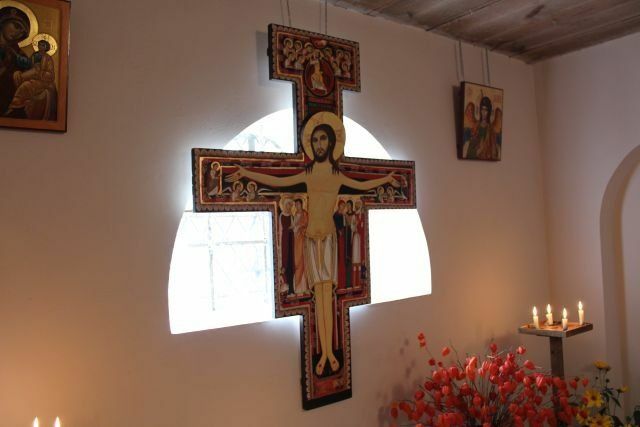 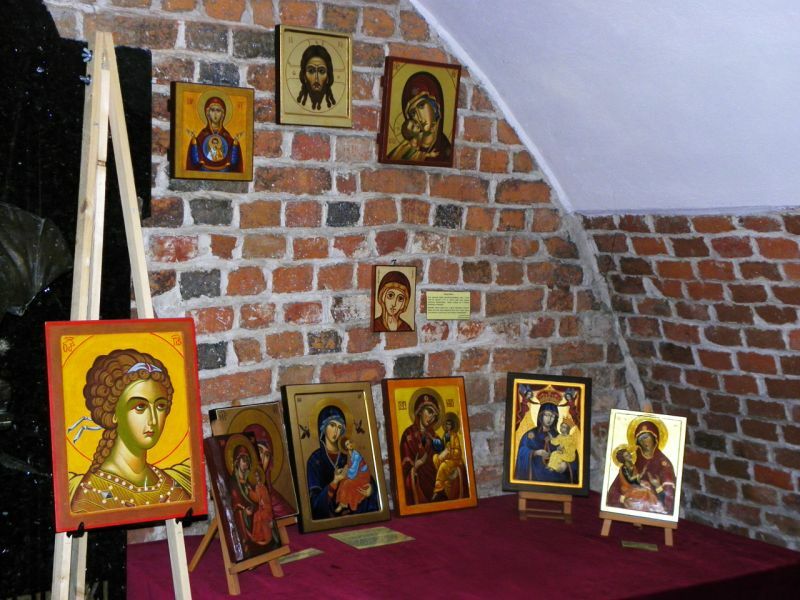 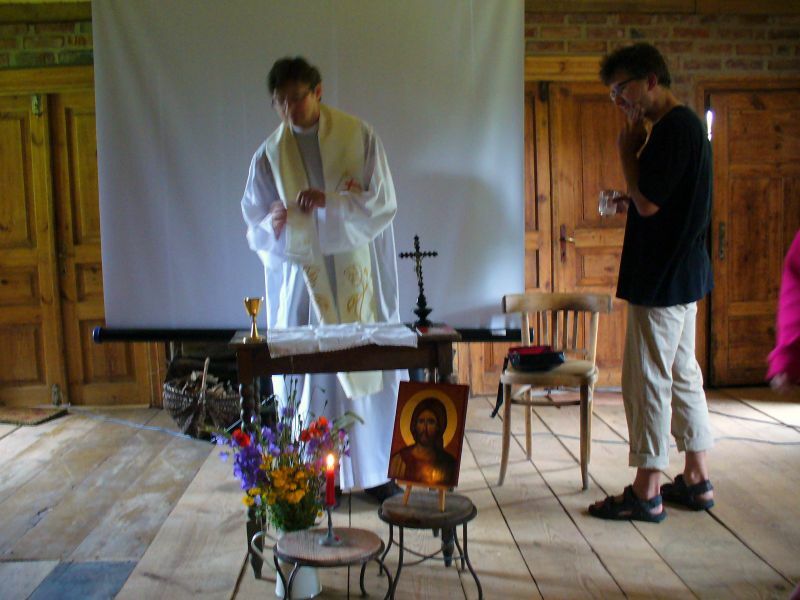 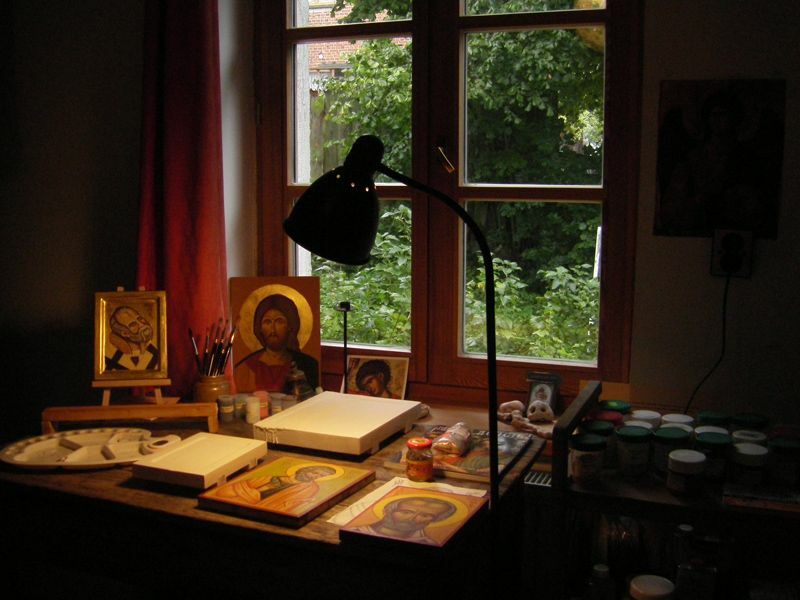 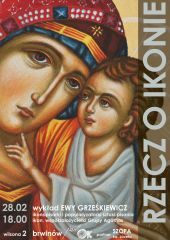 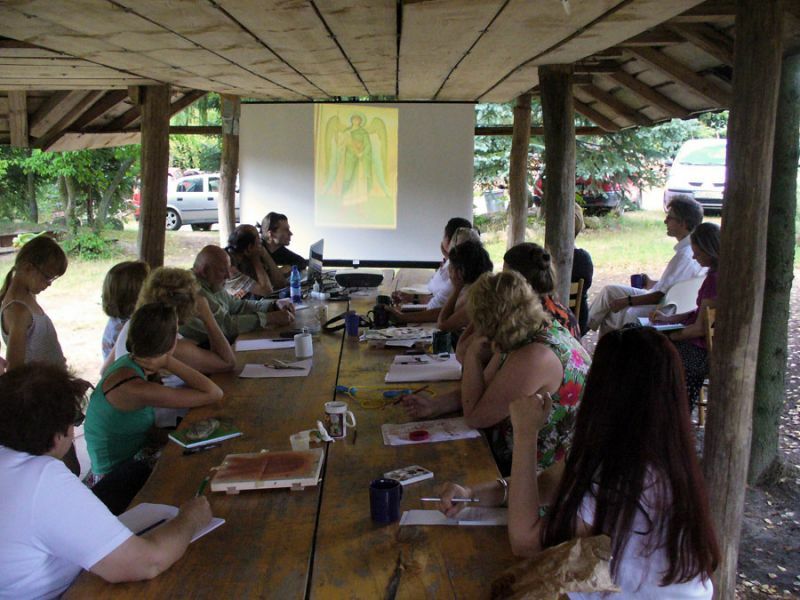 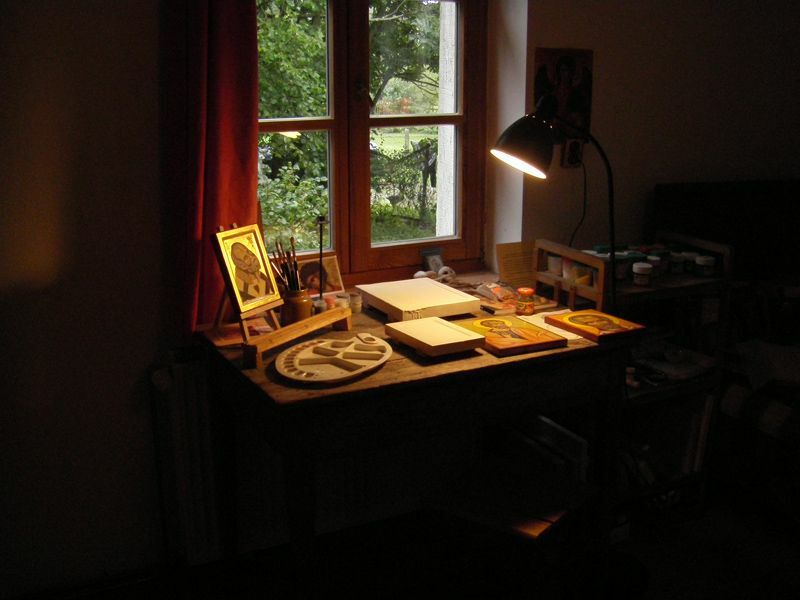 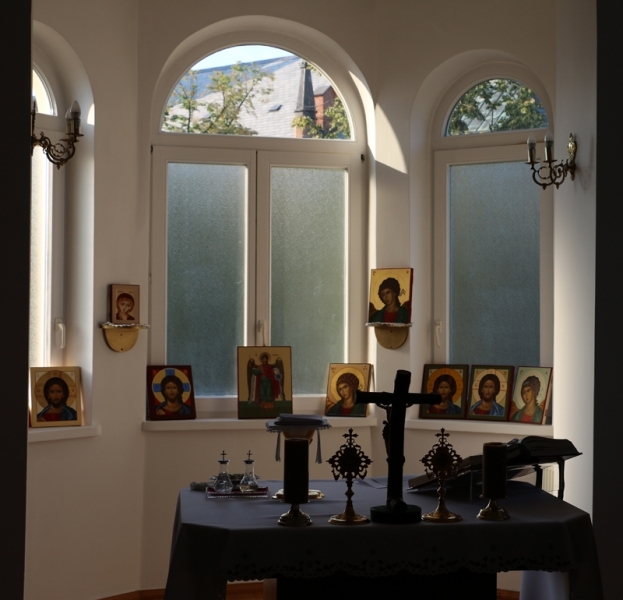 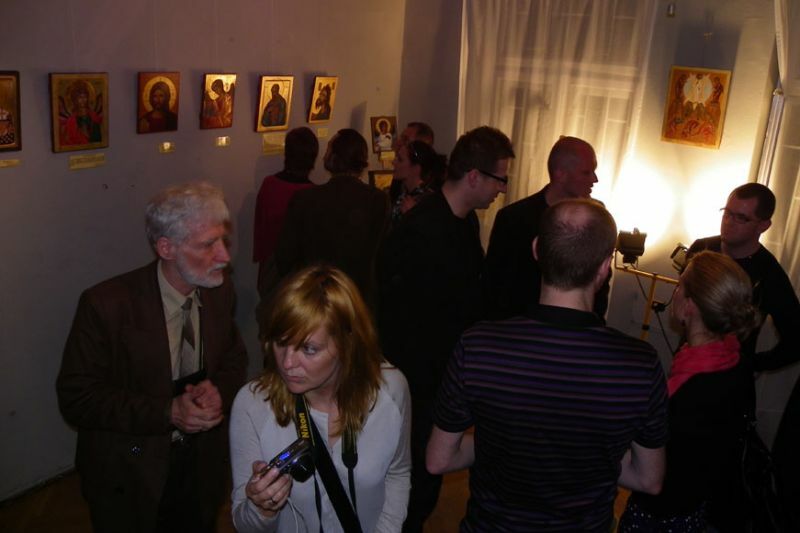 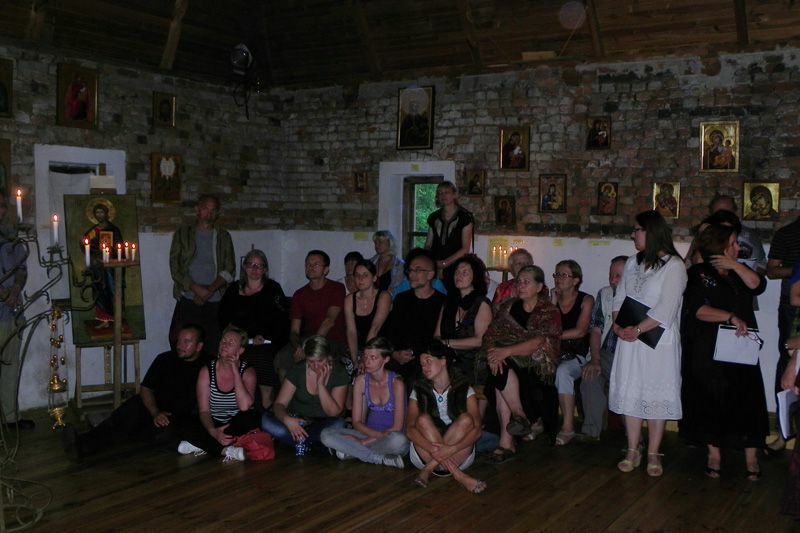 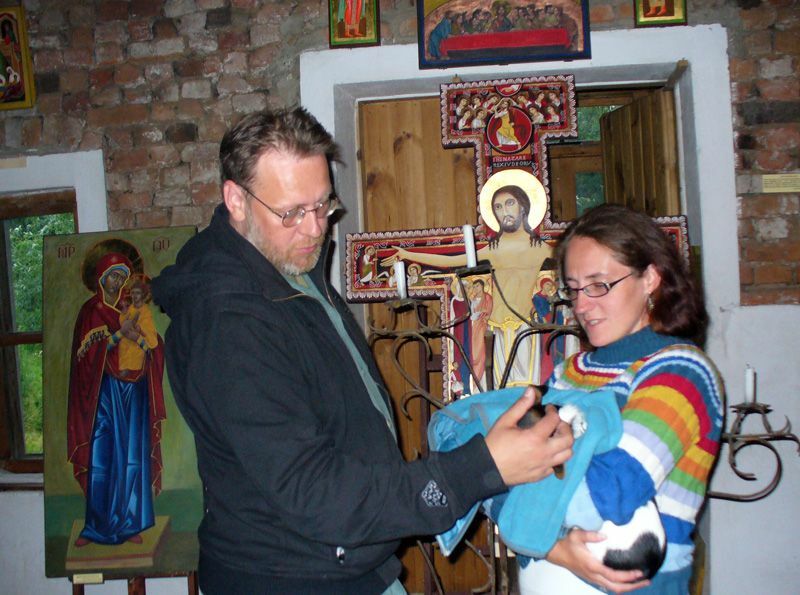 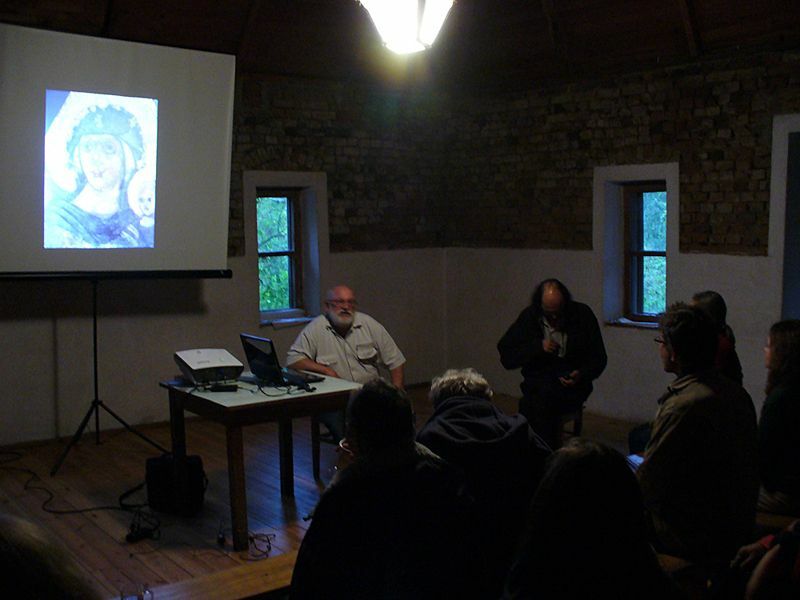 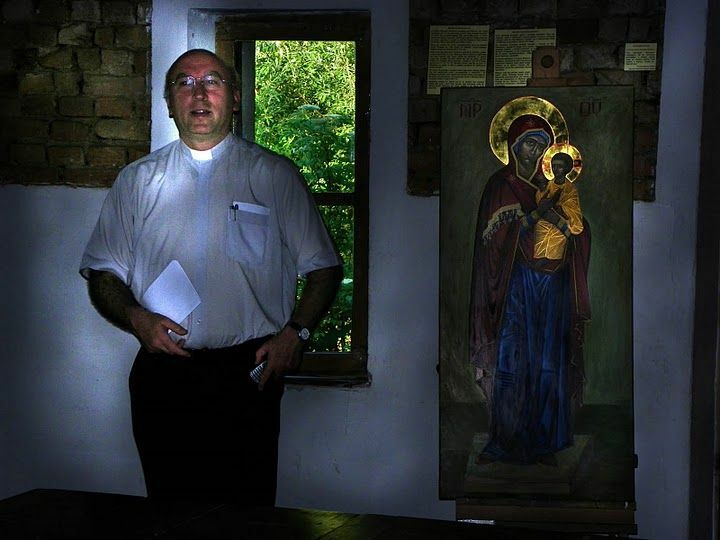 On 20-23 September 2008, I was invited by Małgorzata Dżygadło – Niklaus to contribute to the presentation of the icon workshop in her house in Nowy Kawków. 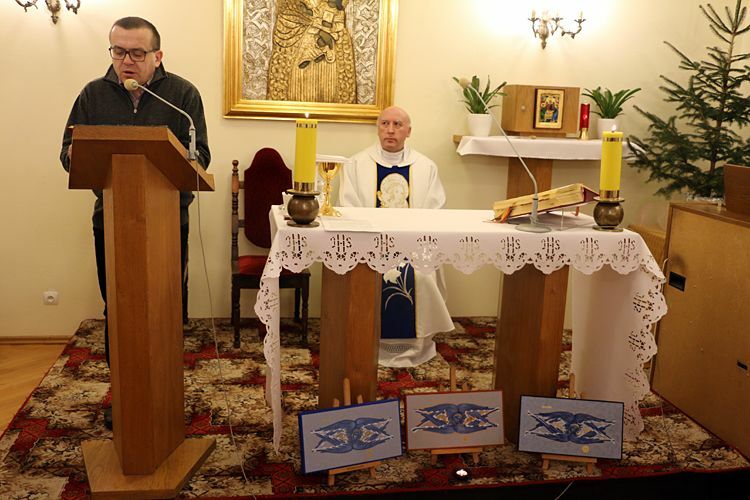 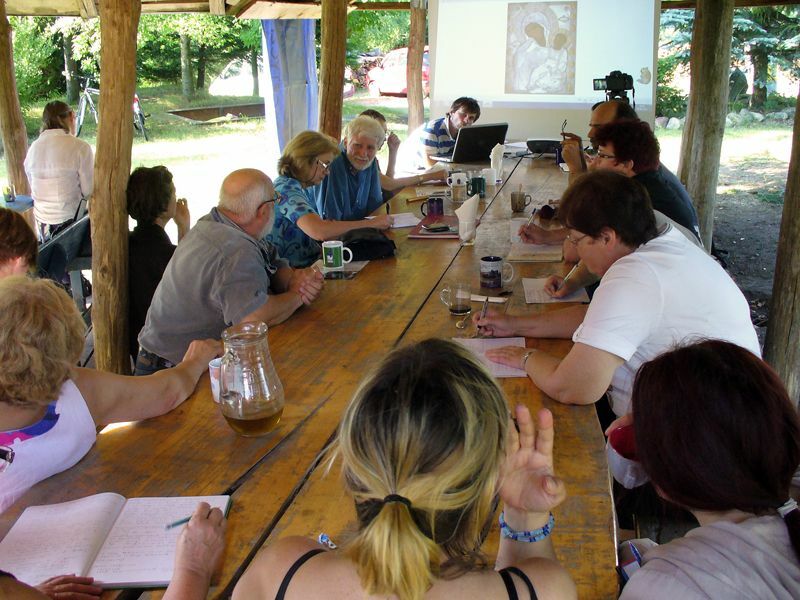 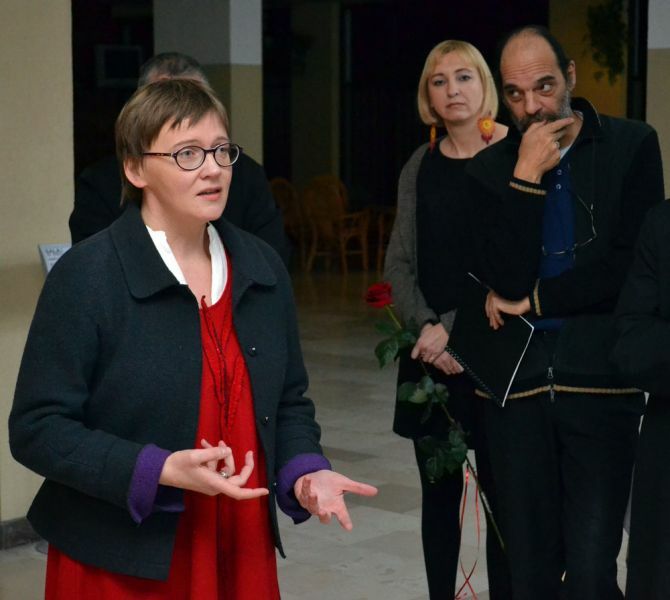 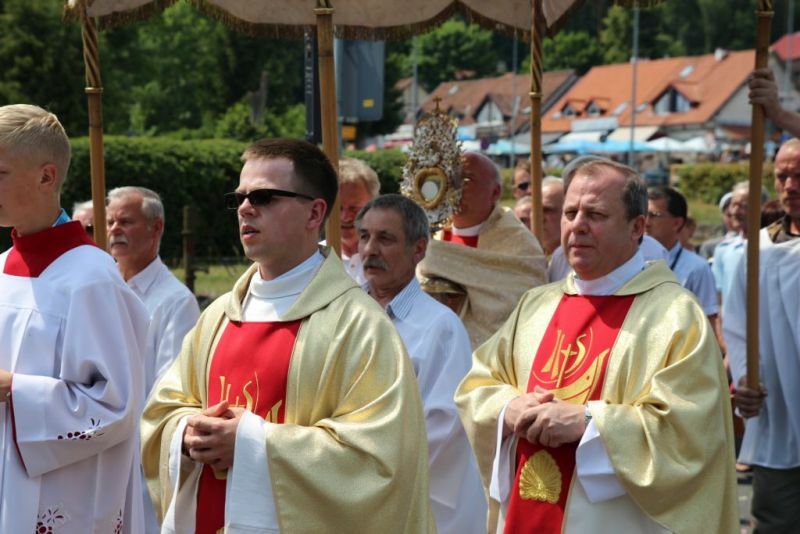 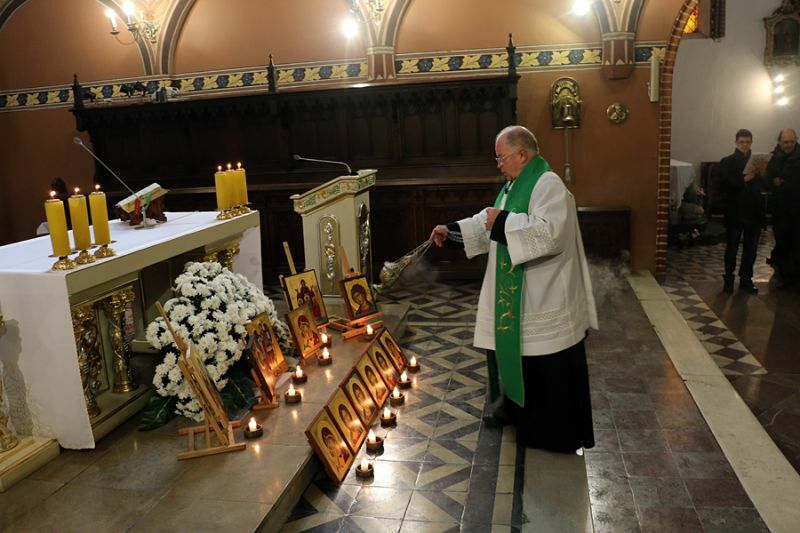 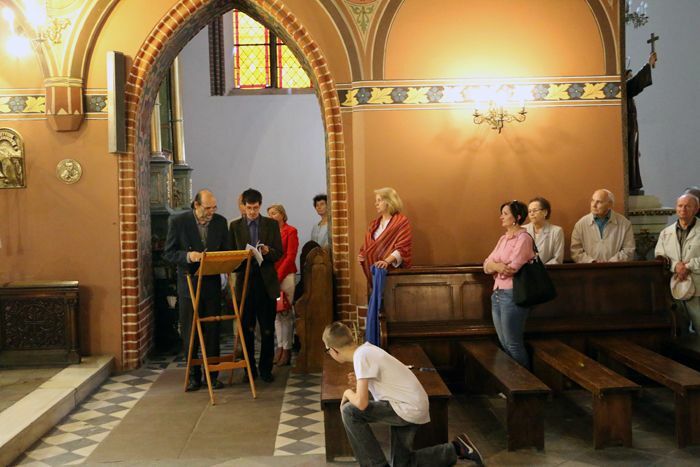 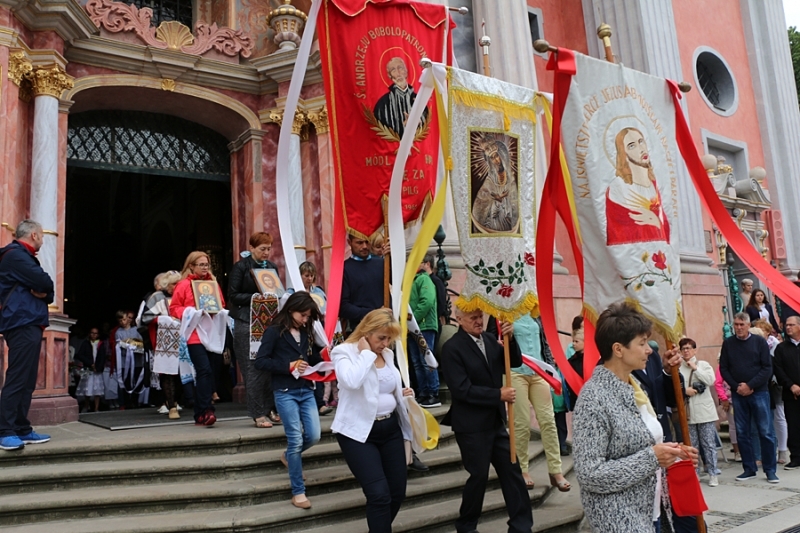 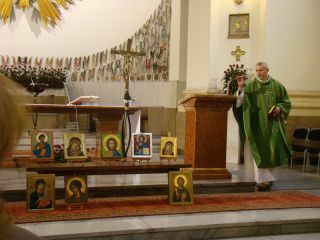 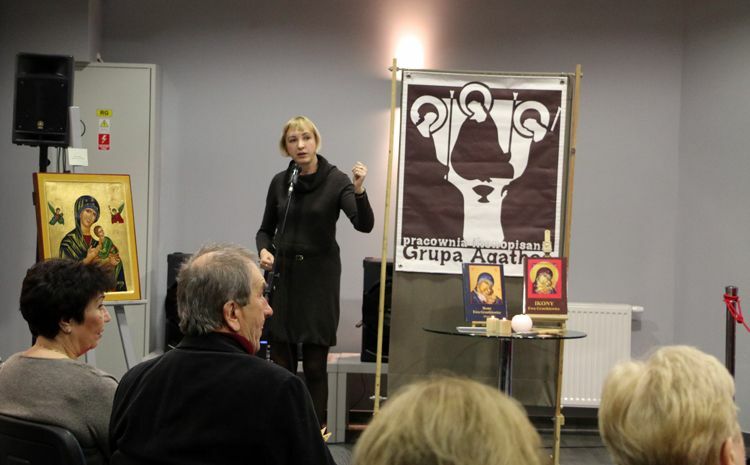 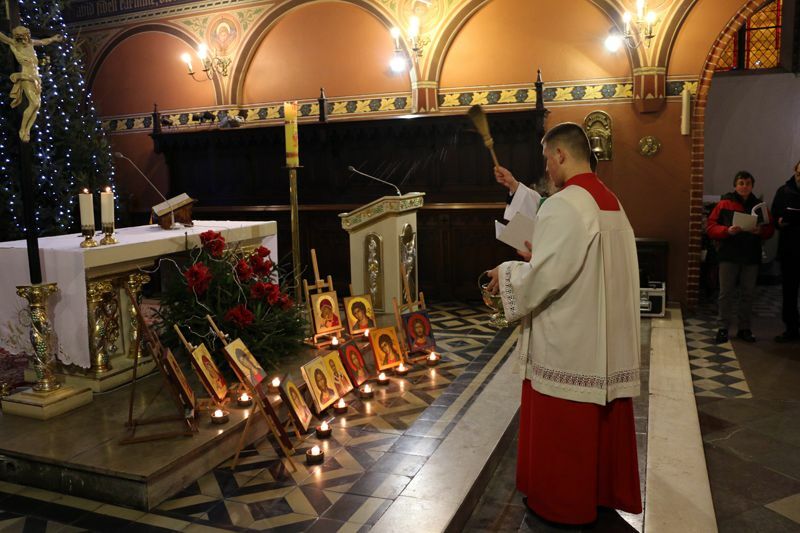 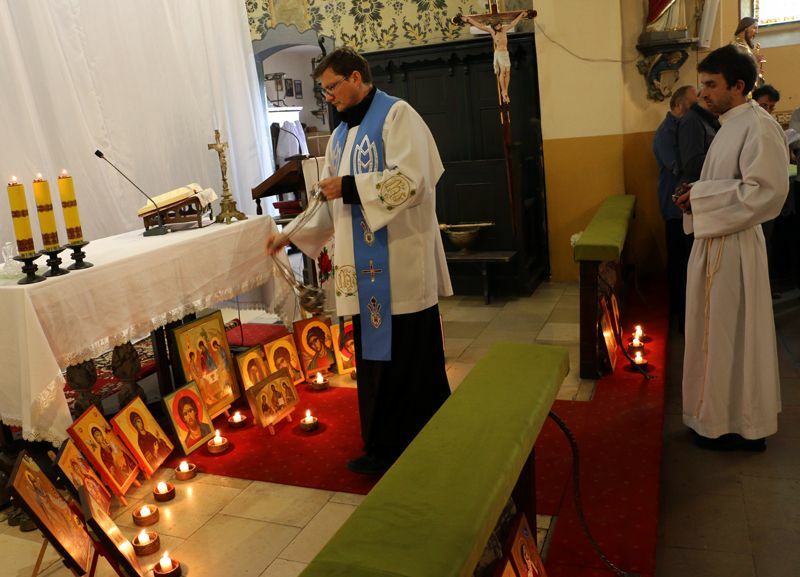 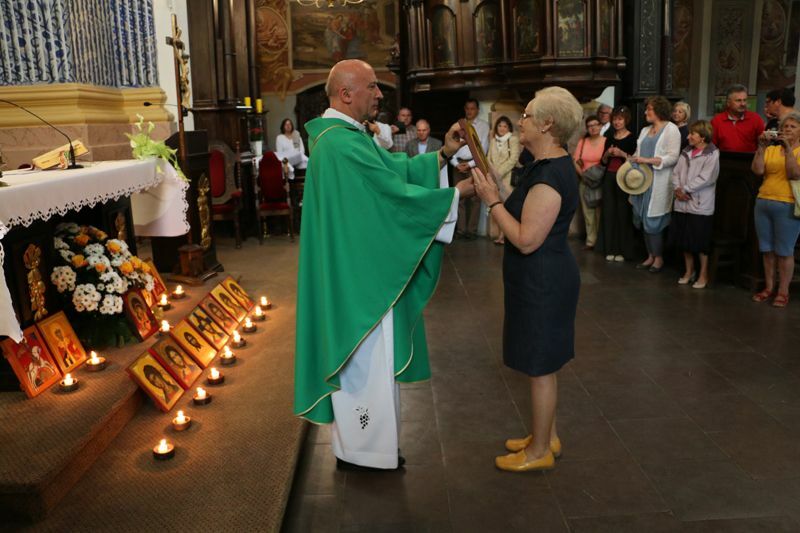 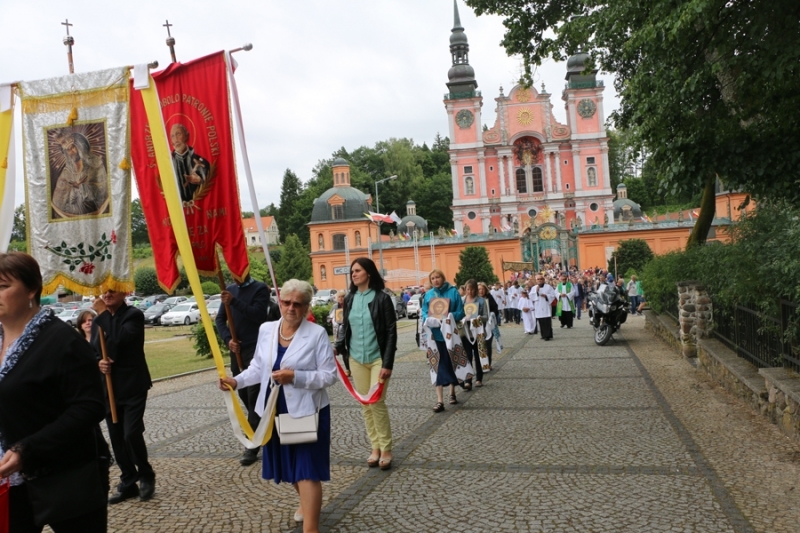 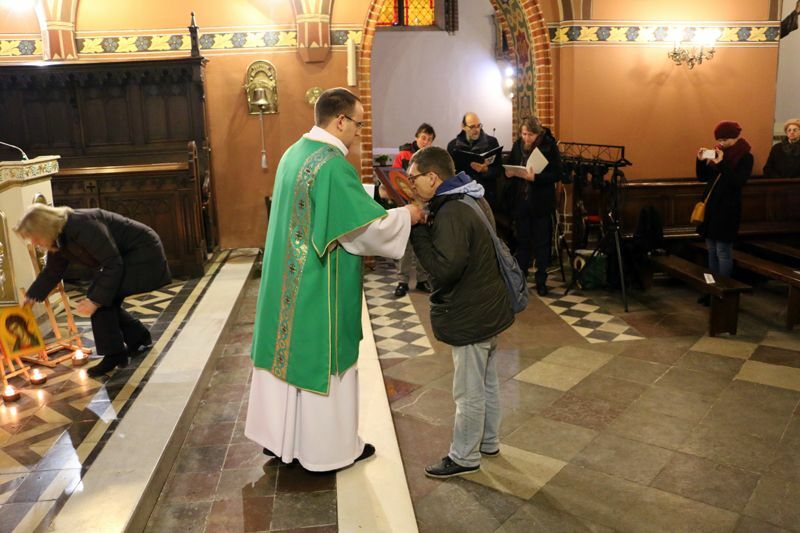 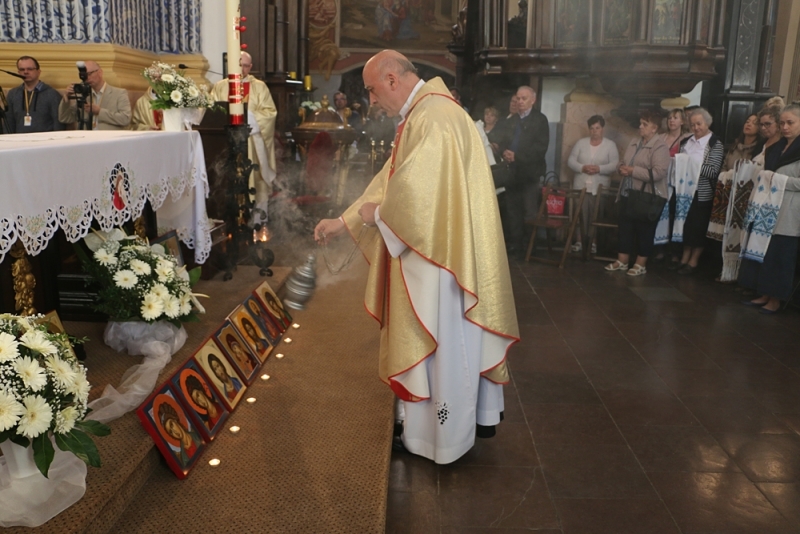 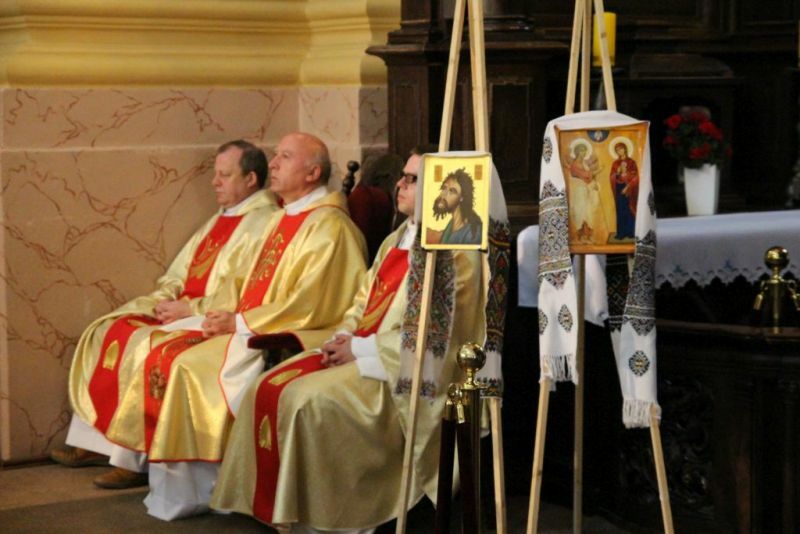 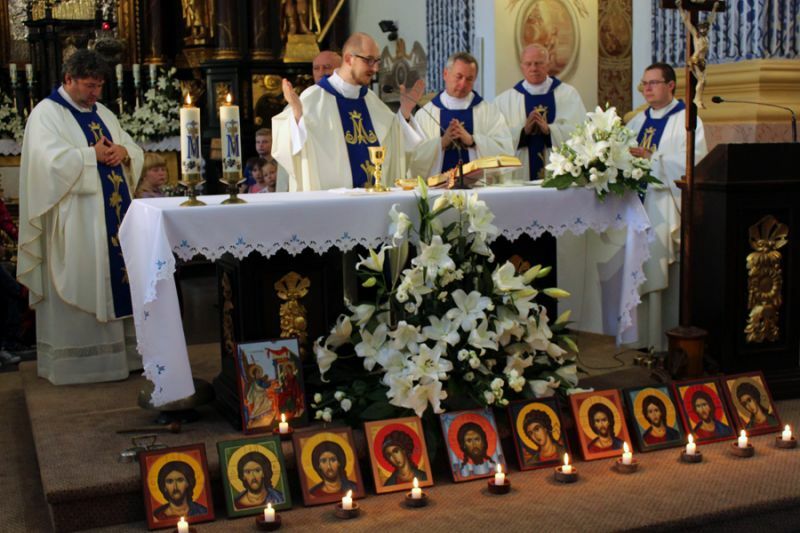 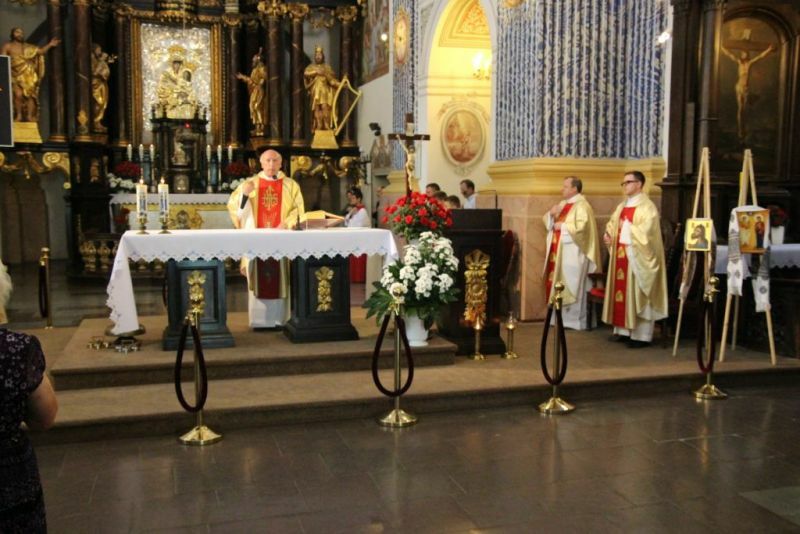 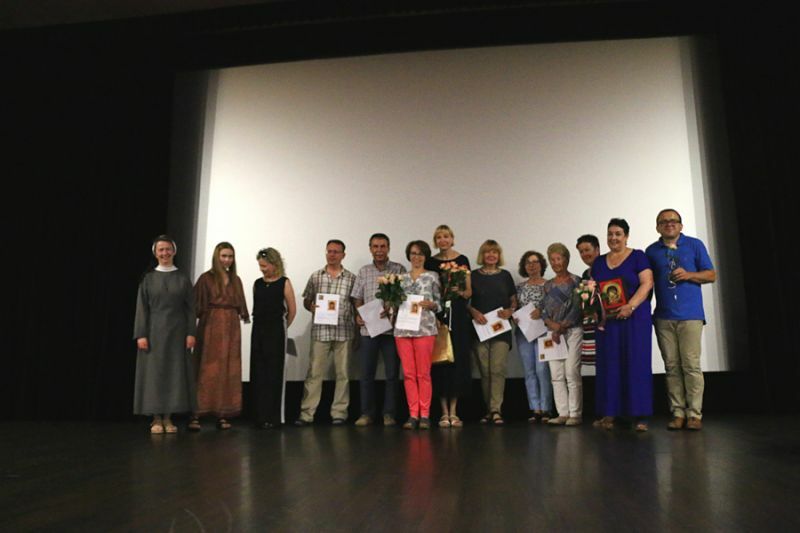 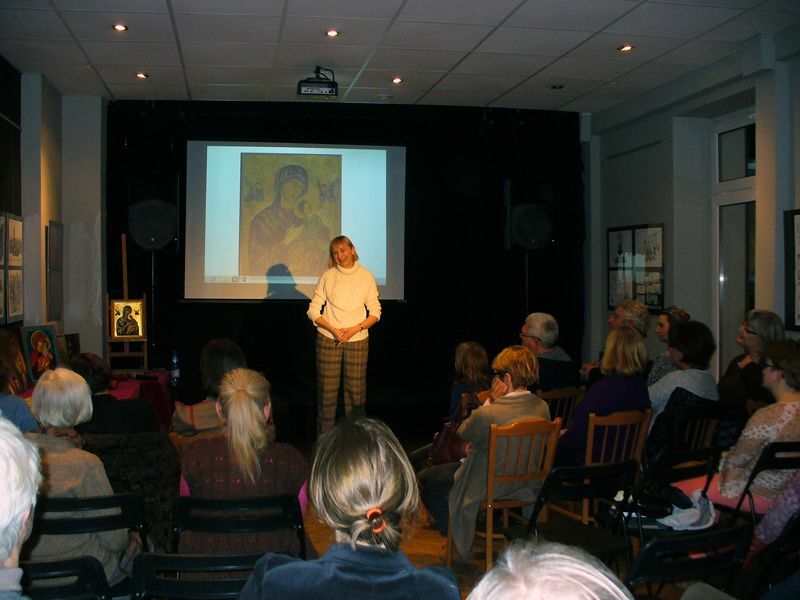 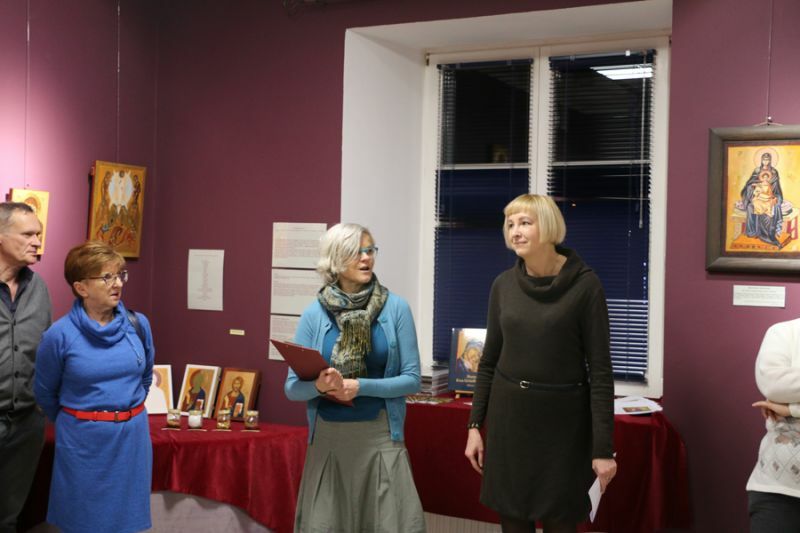 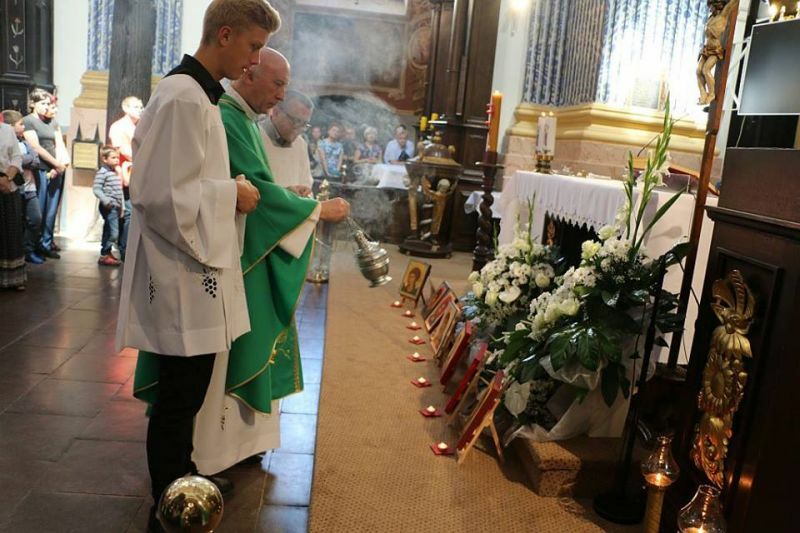 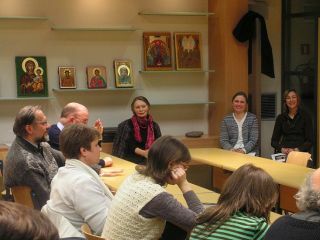 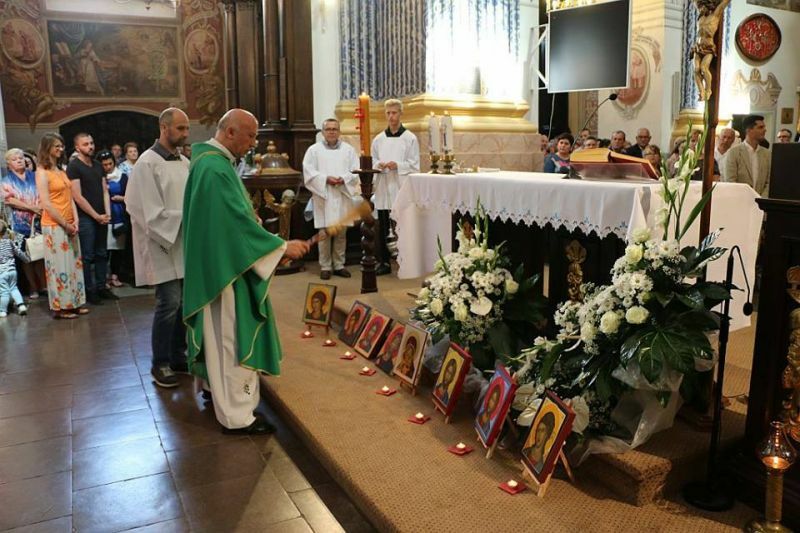 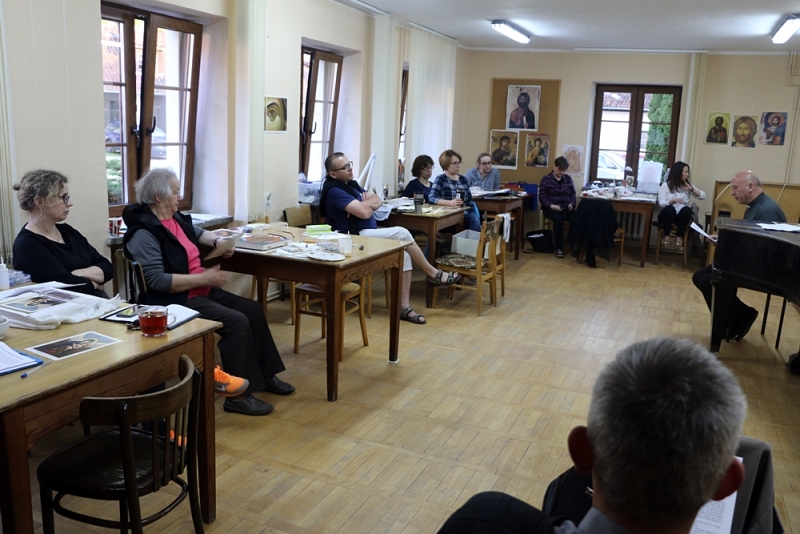 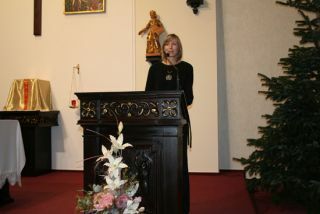 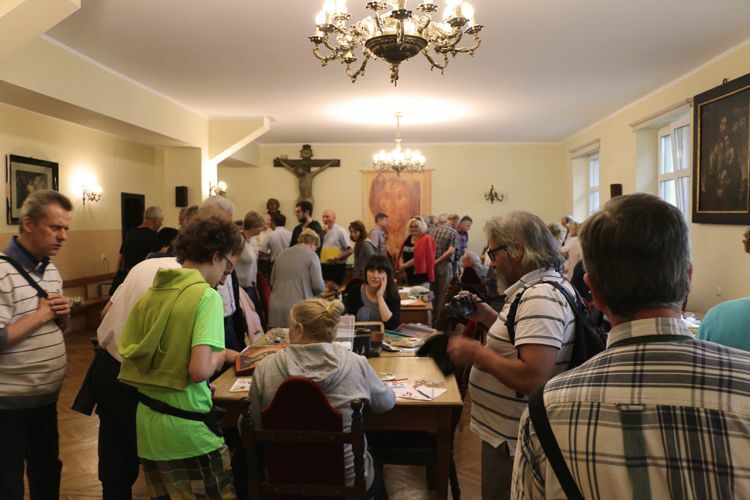 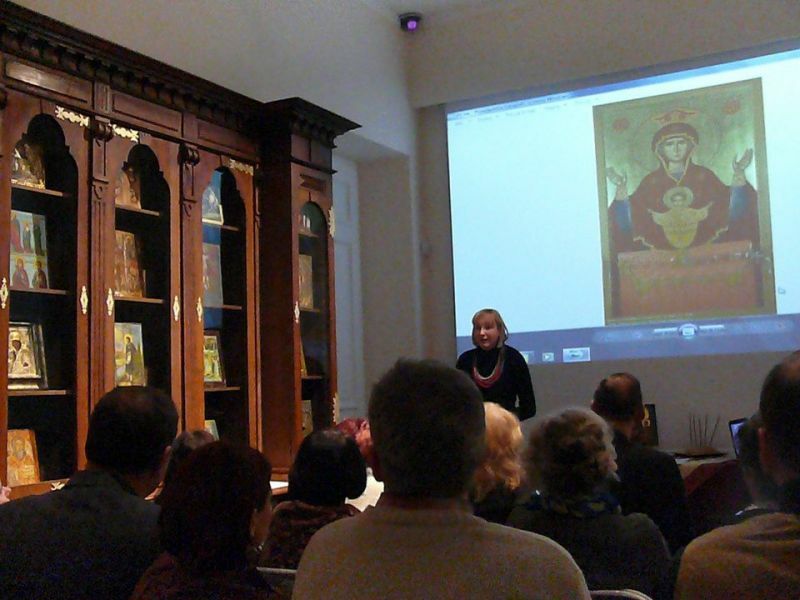 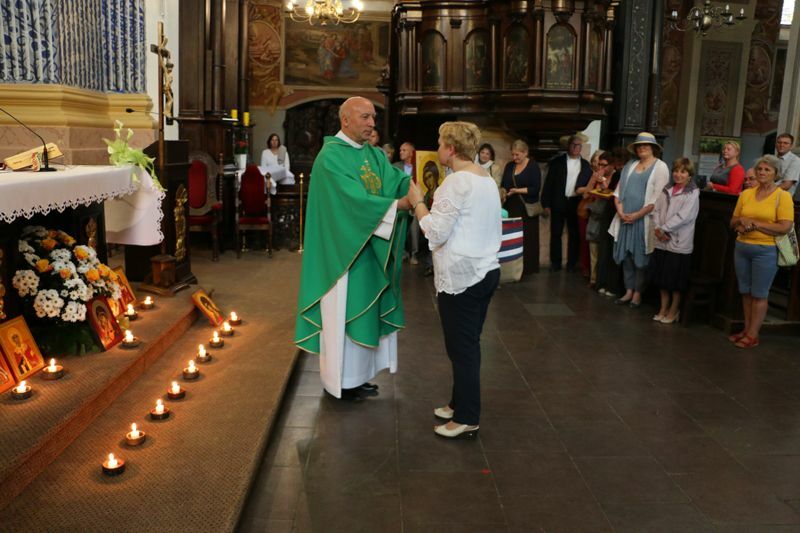 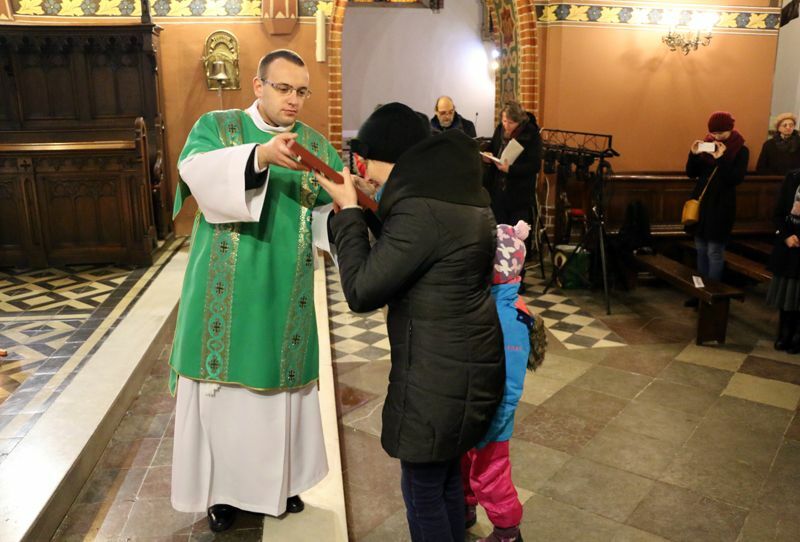 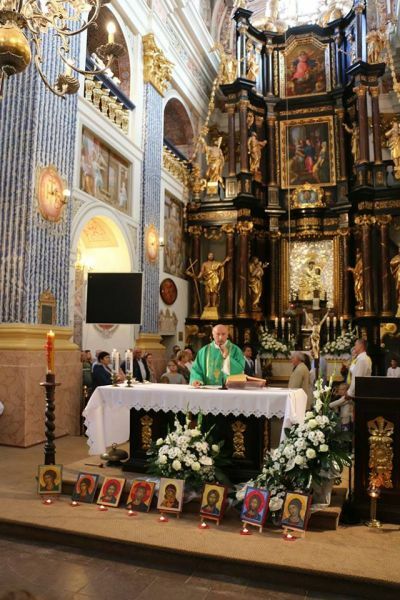 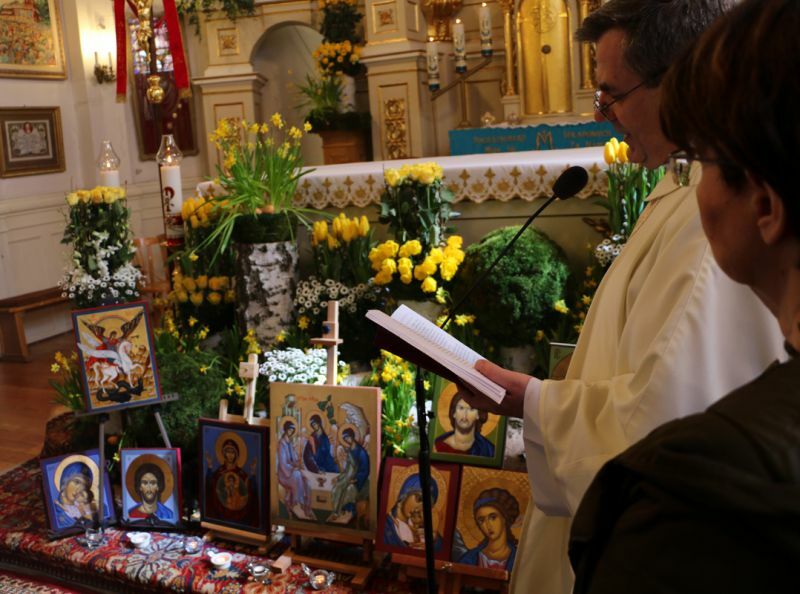 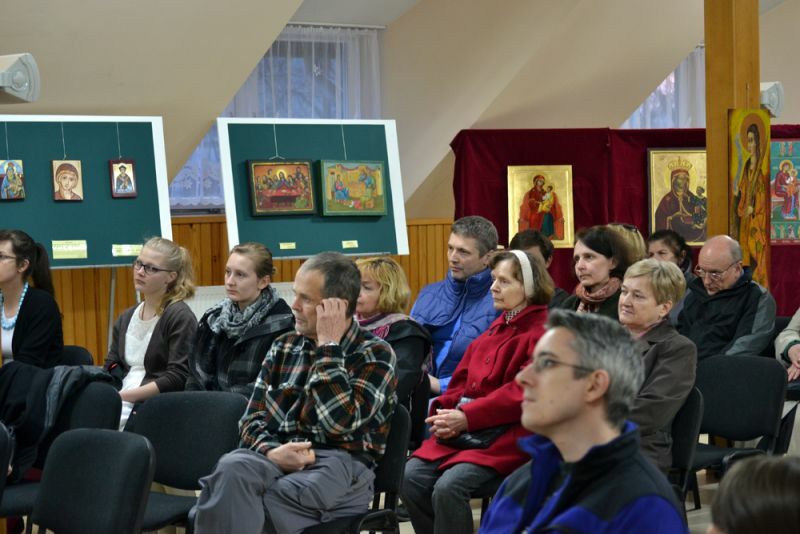 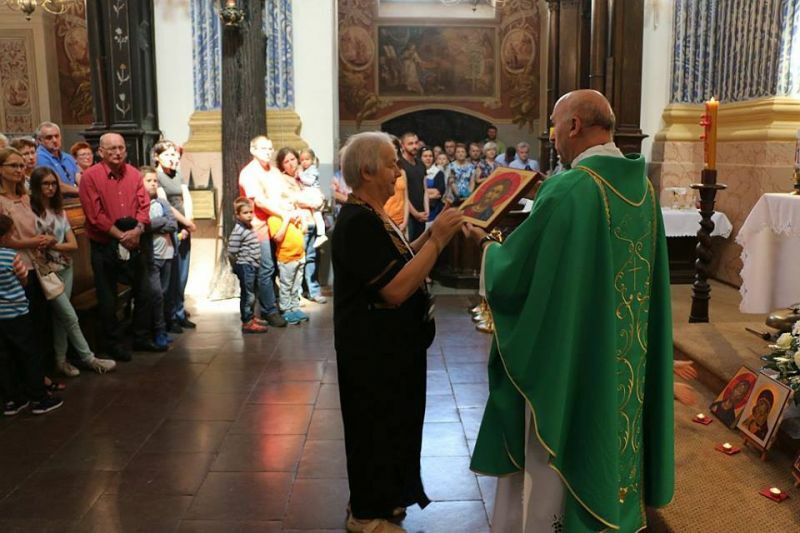 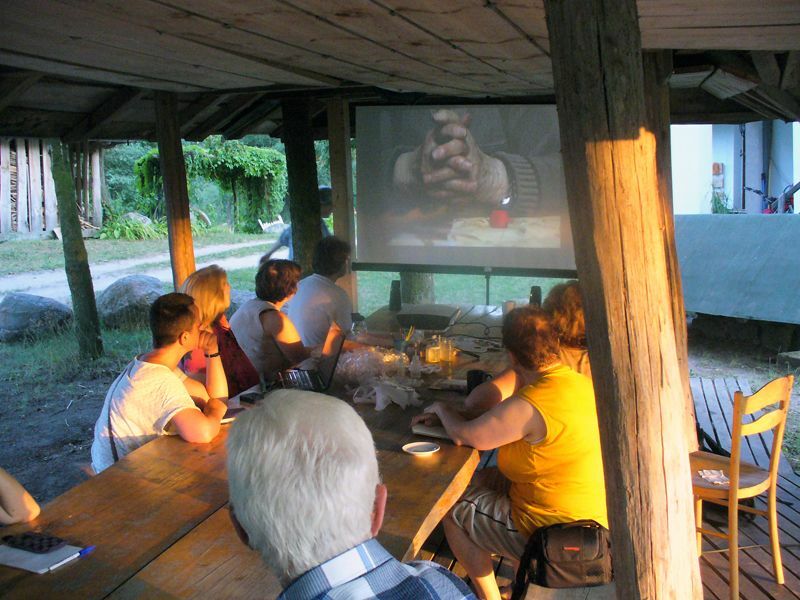 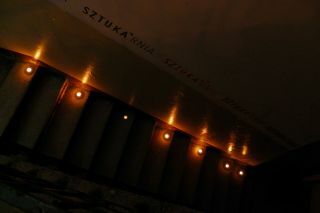 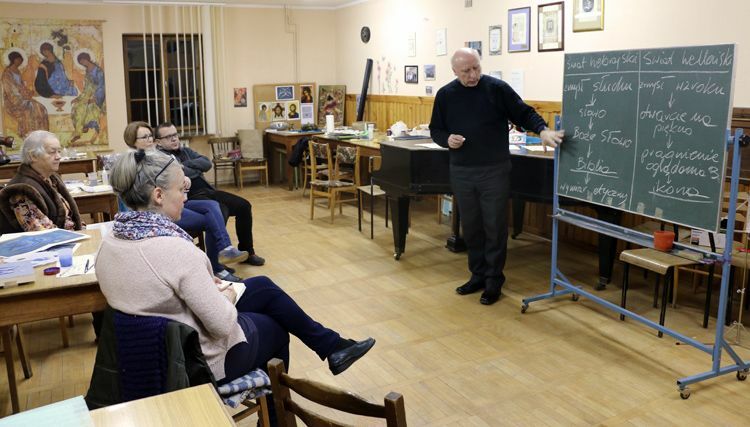 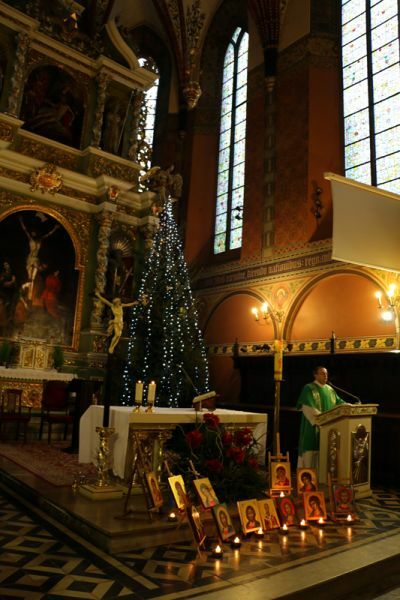 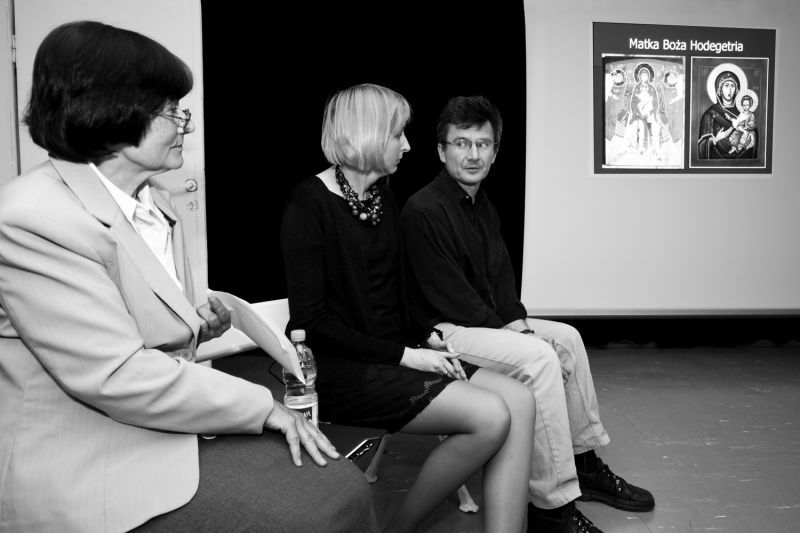 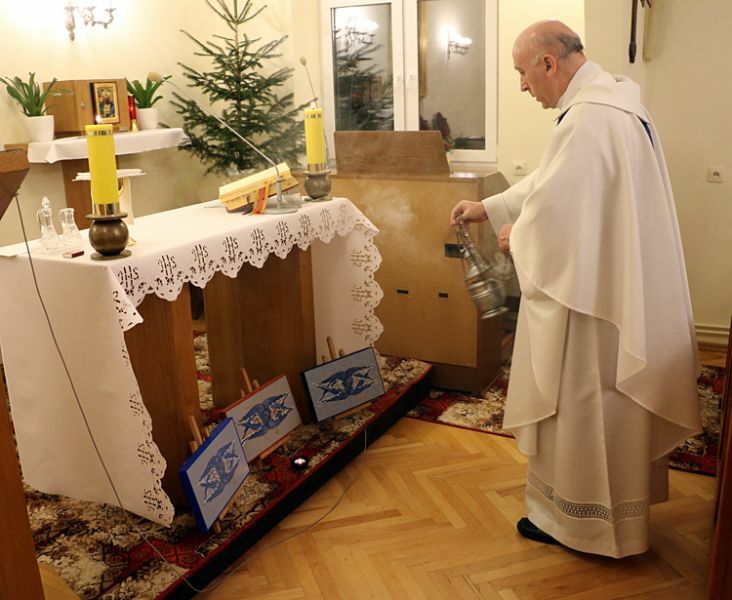 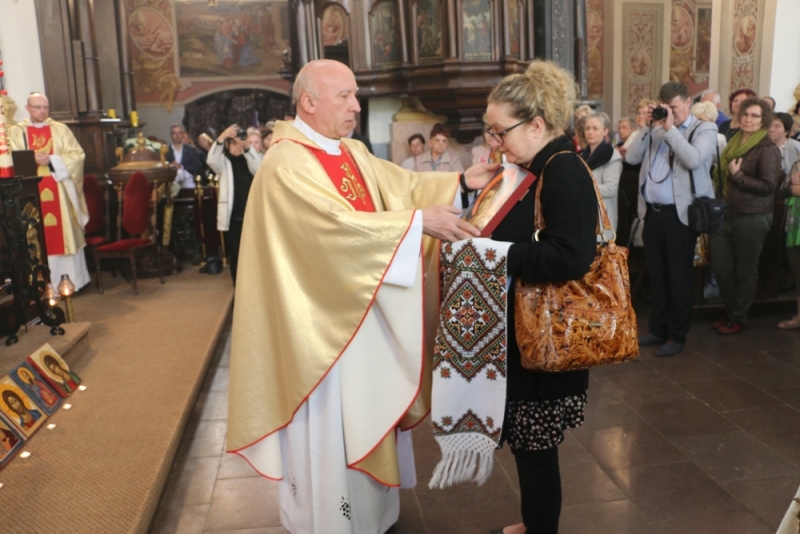 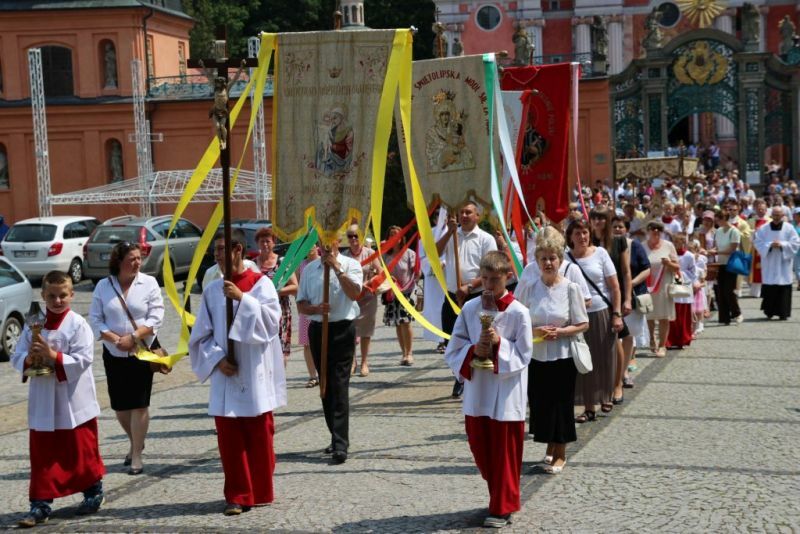 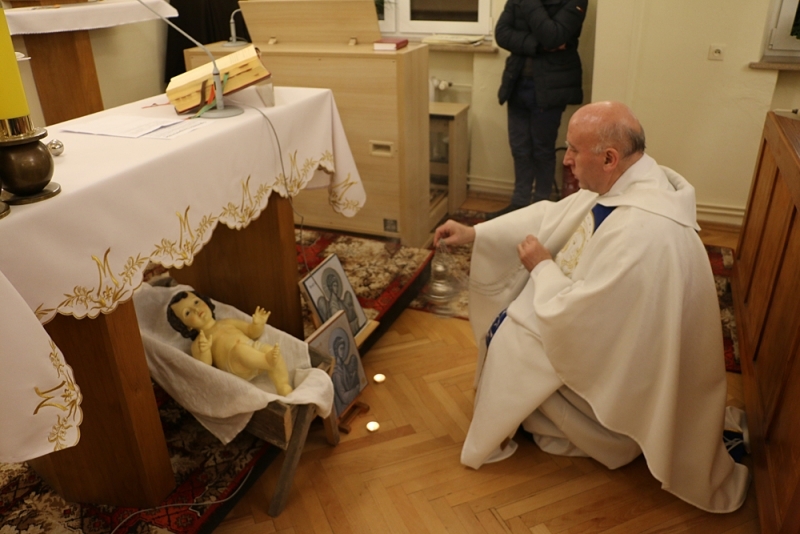 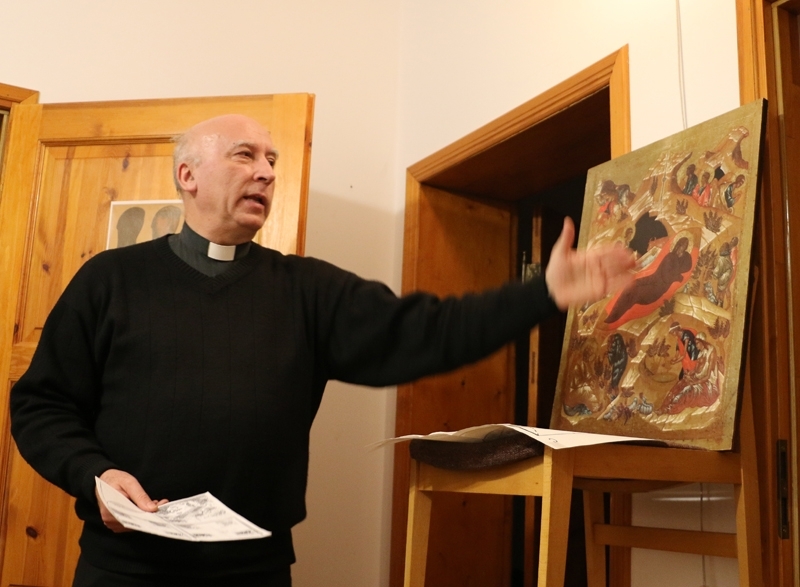 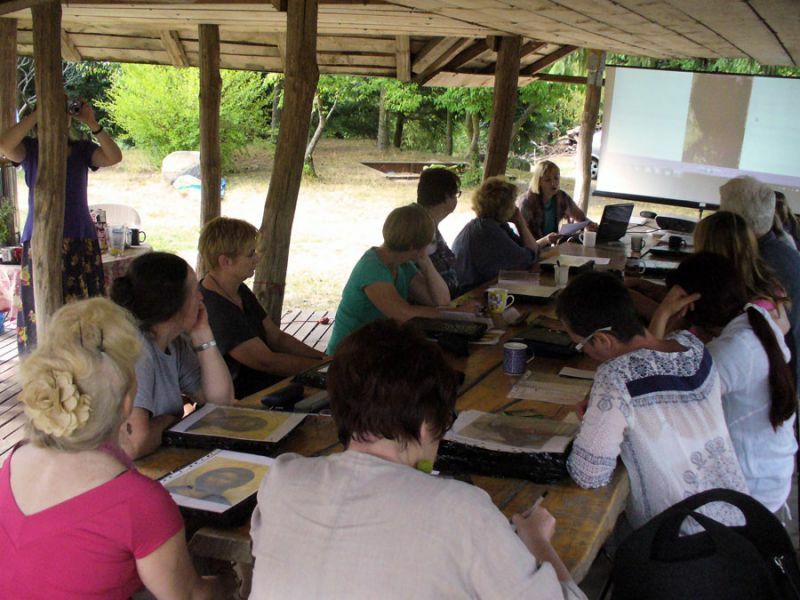 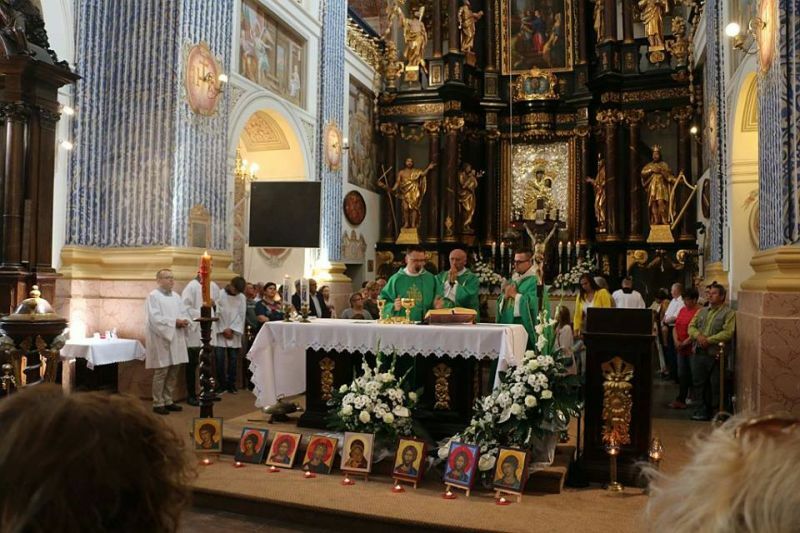 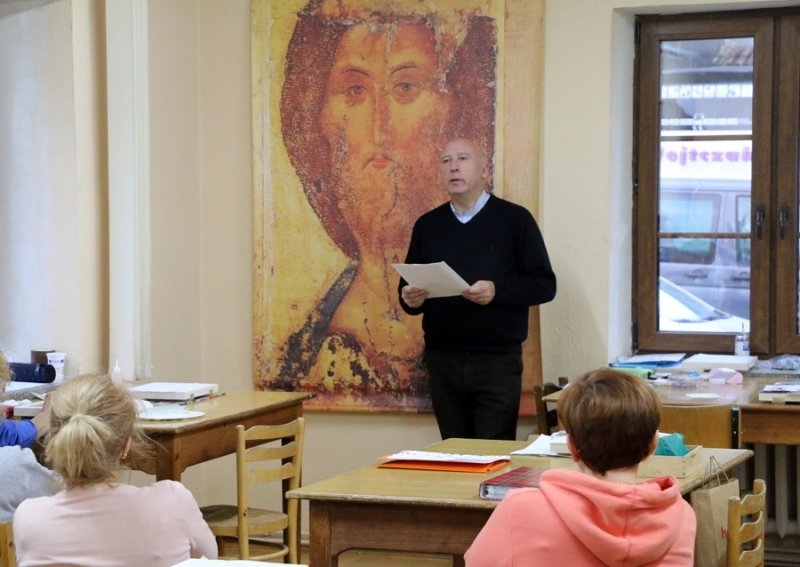 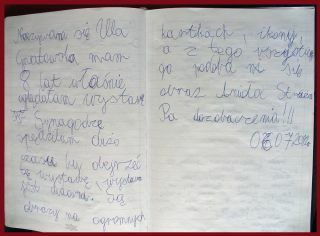 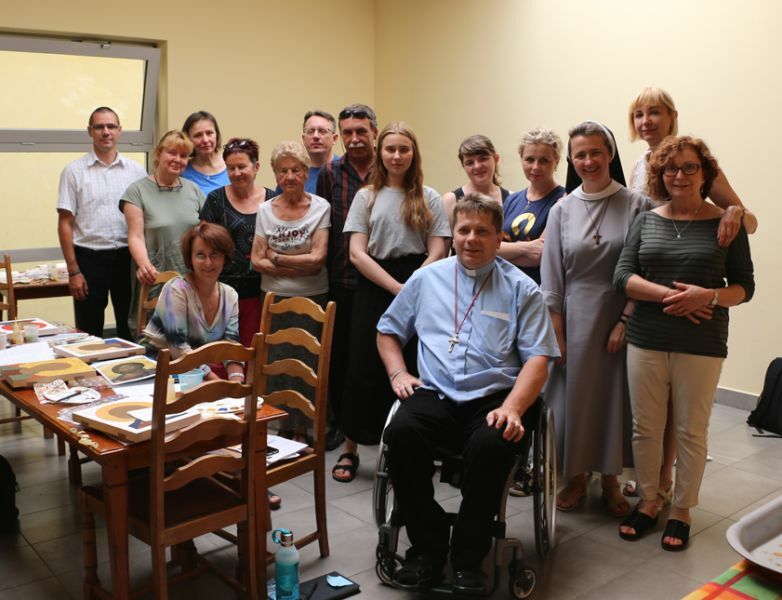 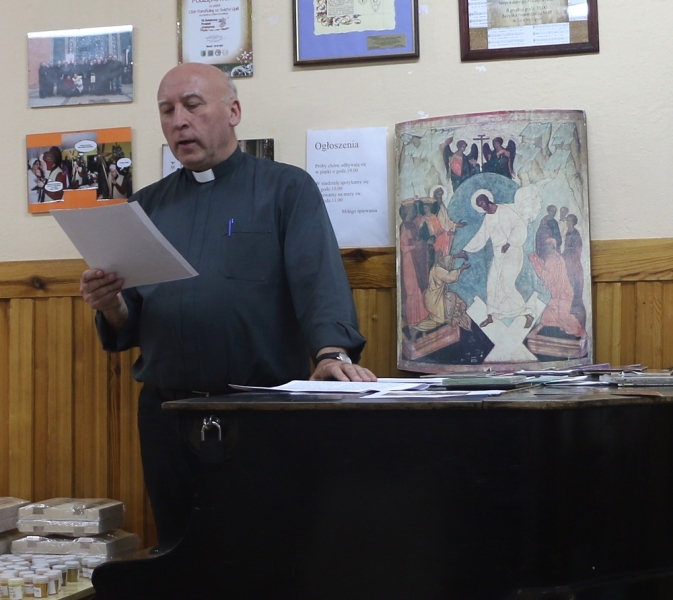 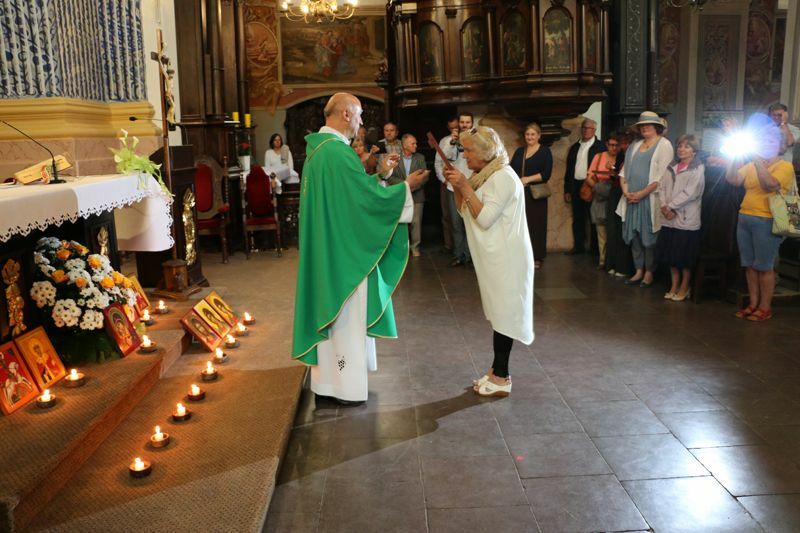 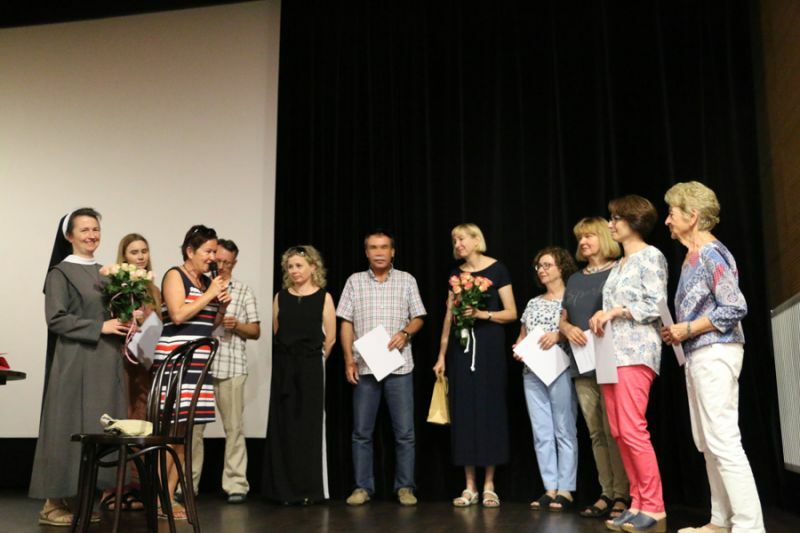 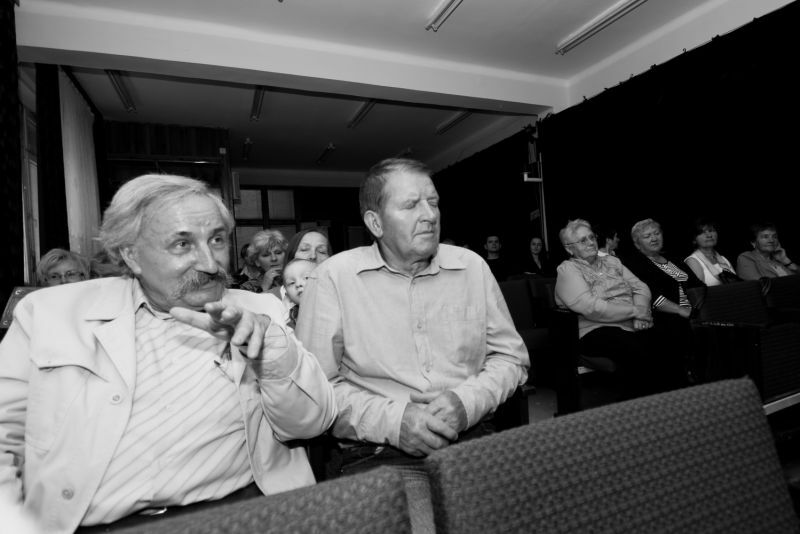 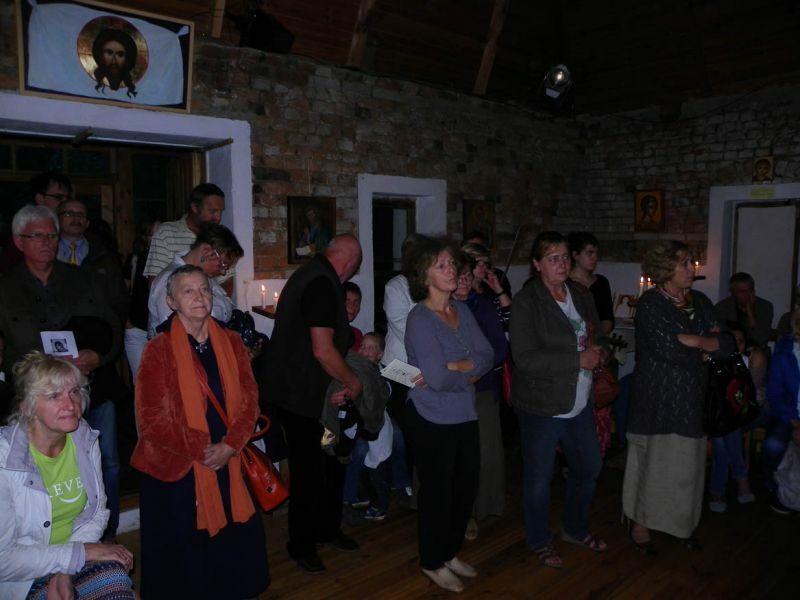 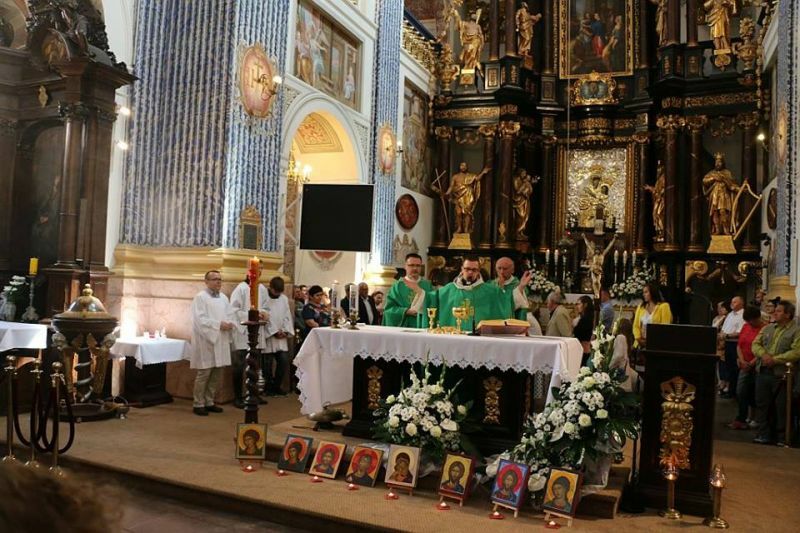 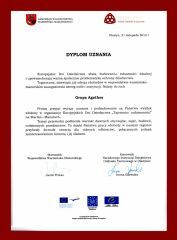 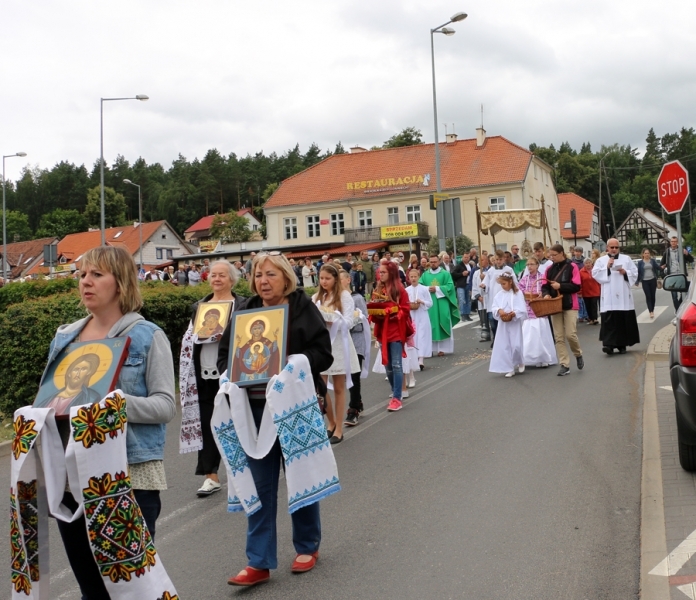 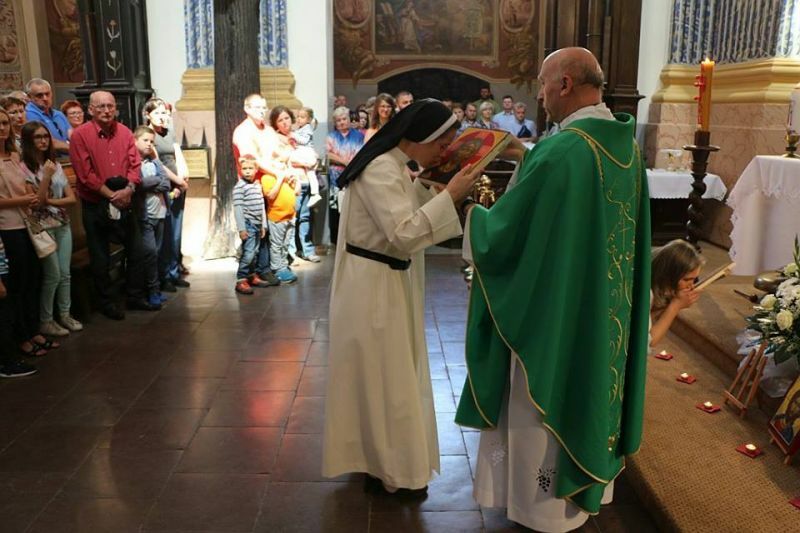 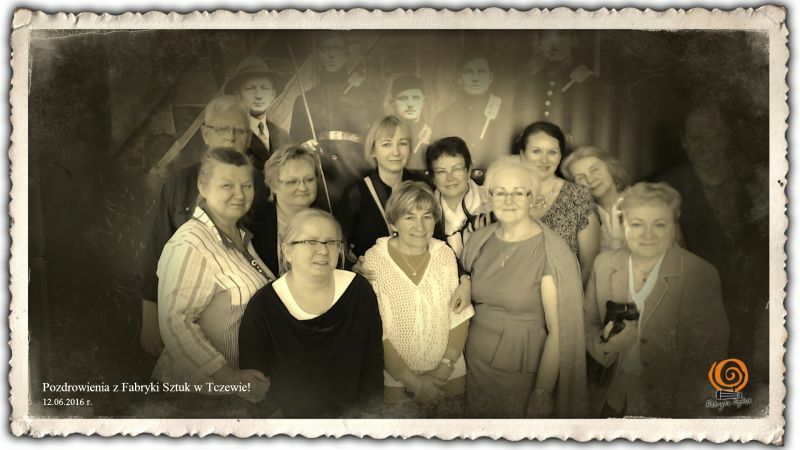 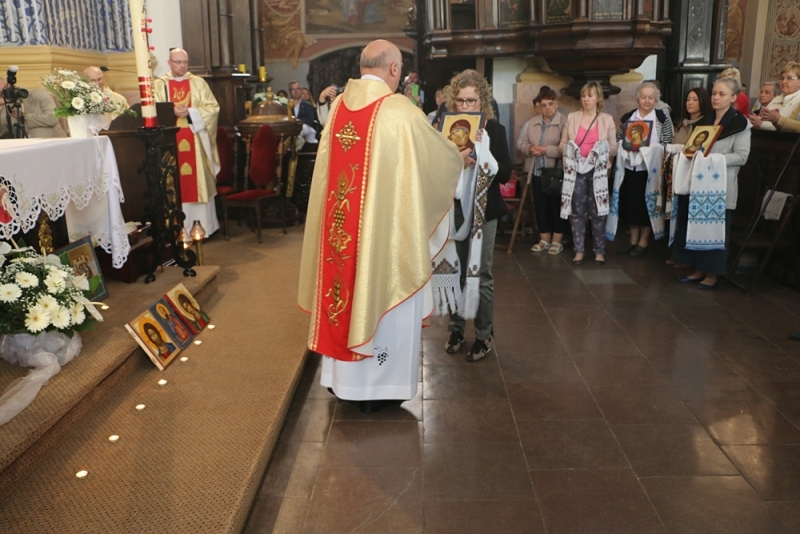 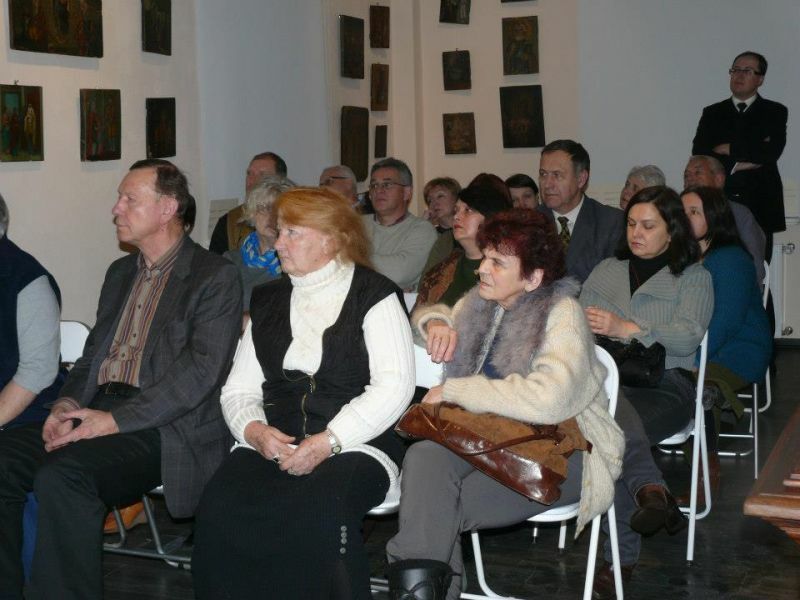 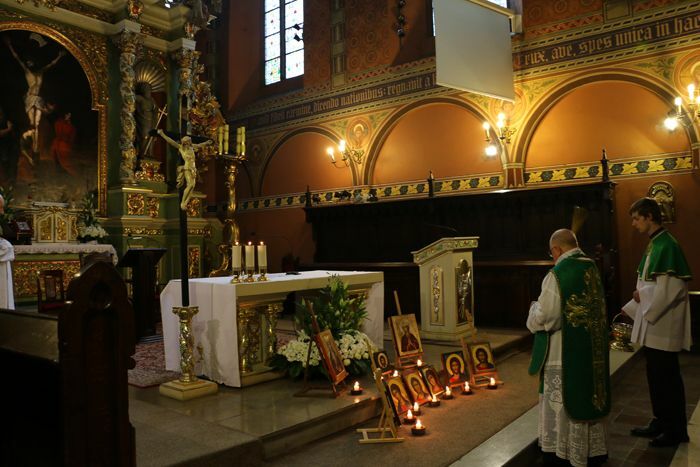 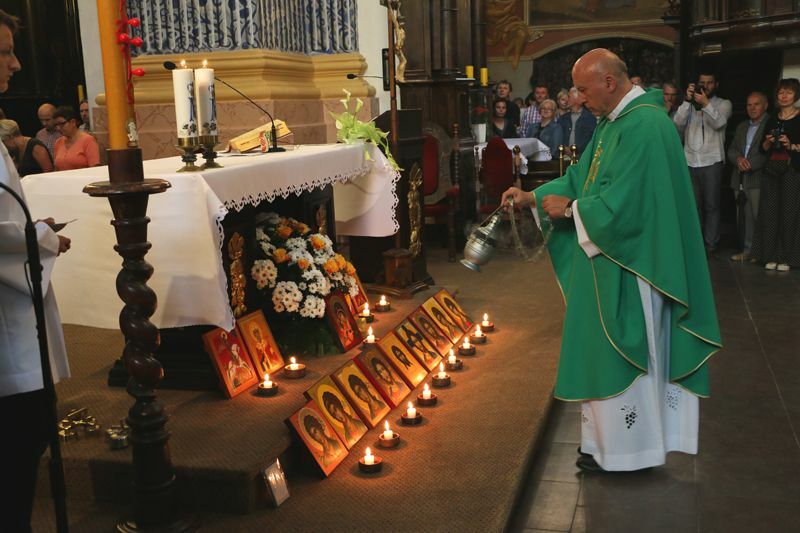 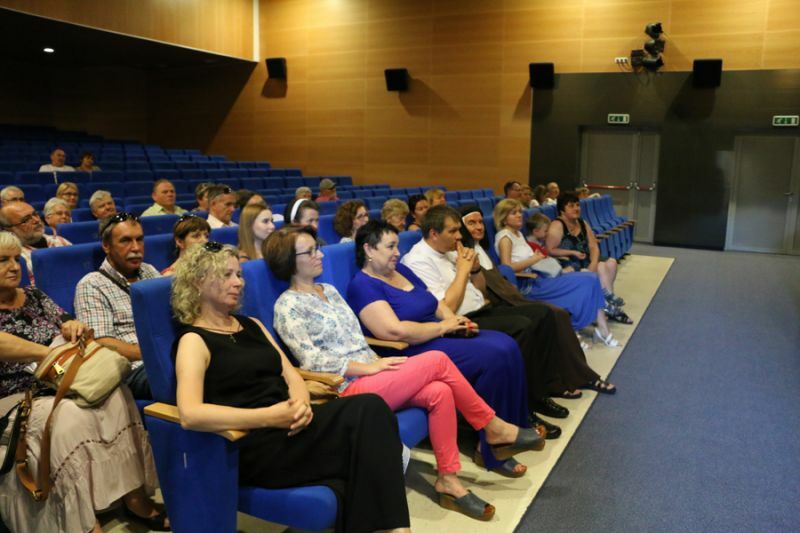 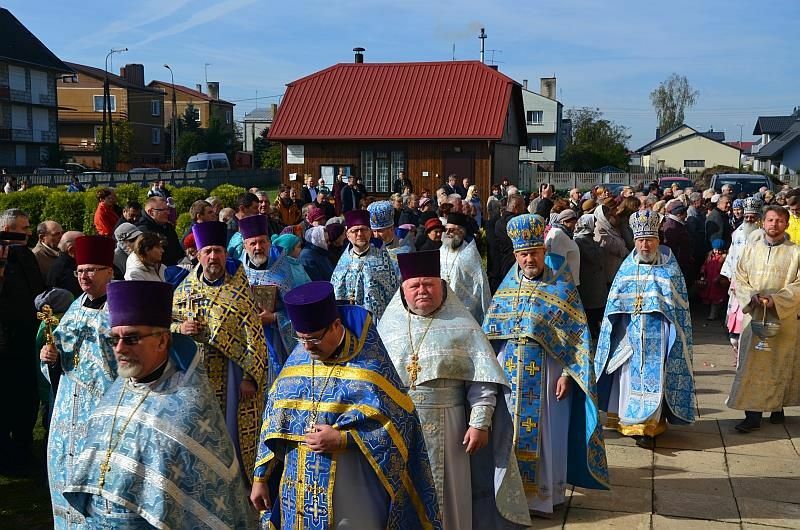 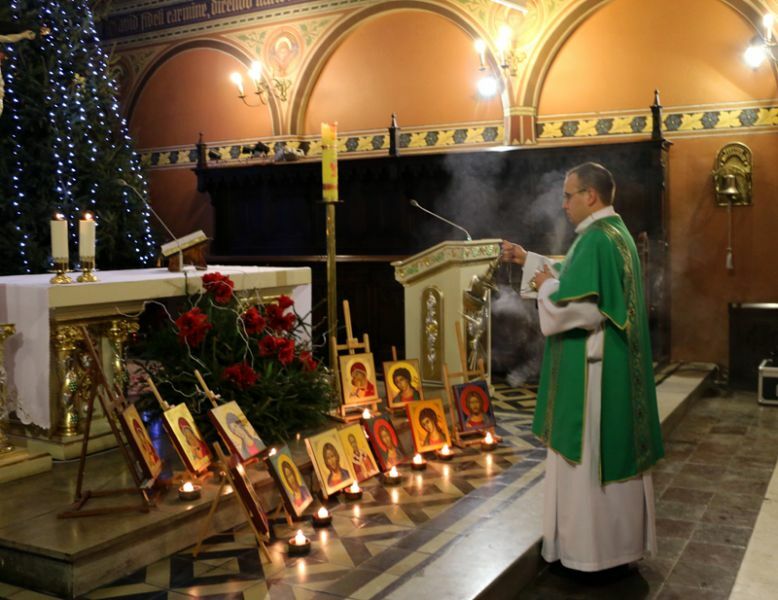 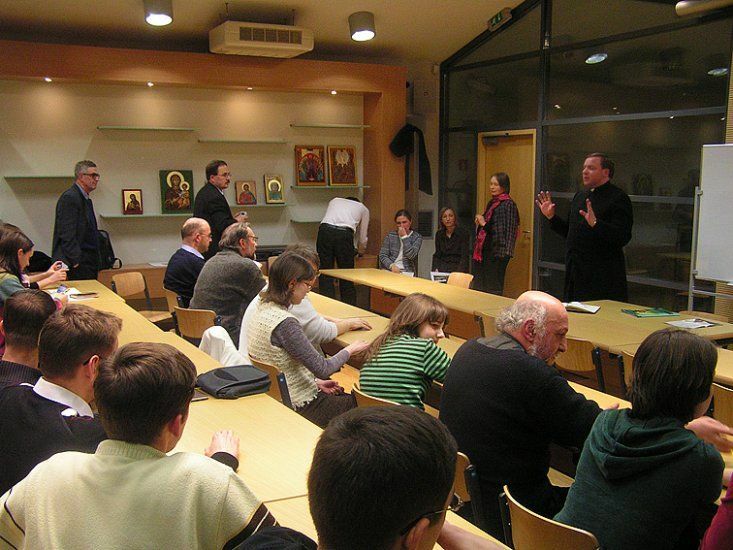 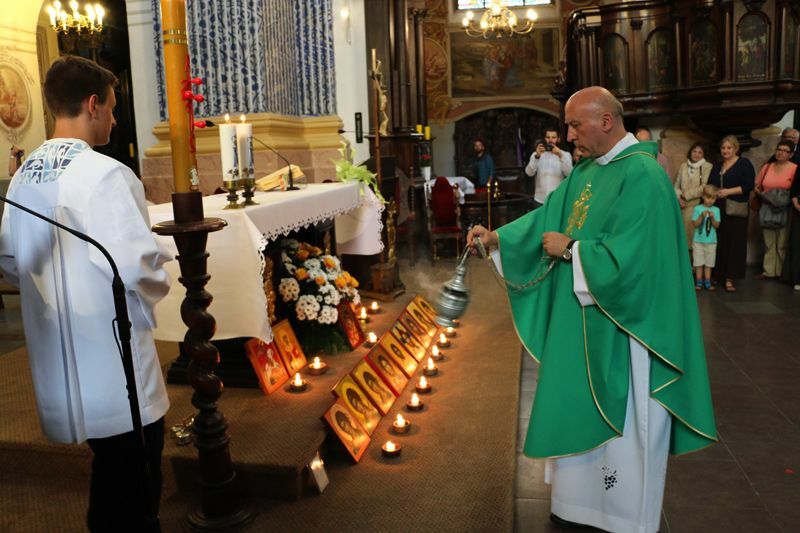 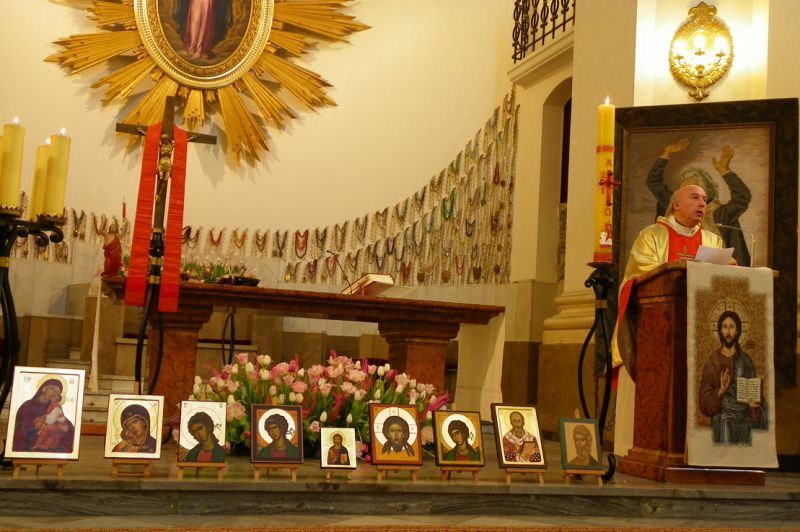 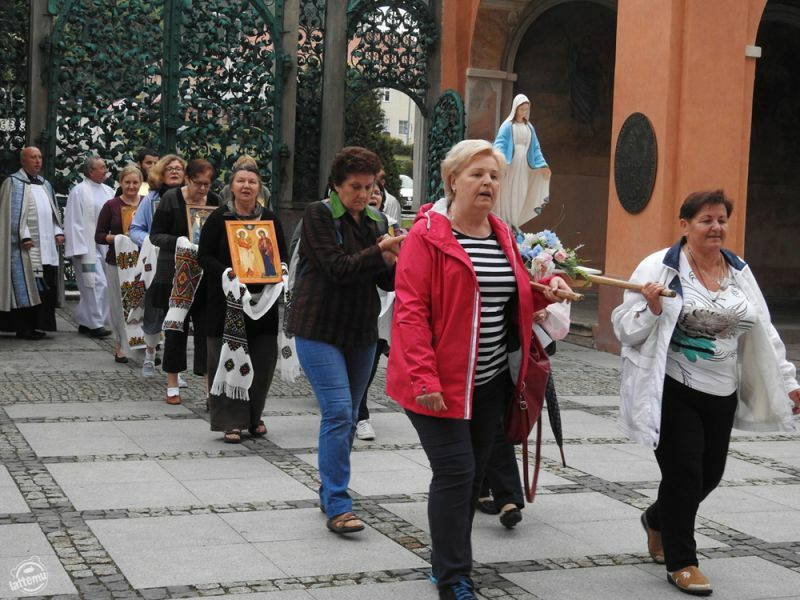 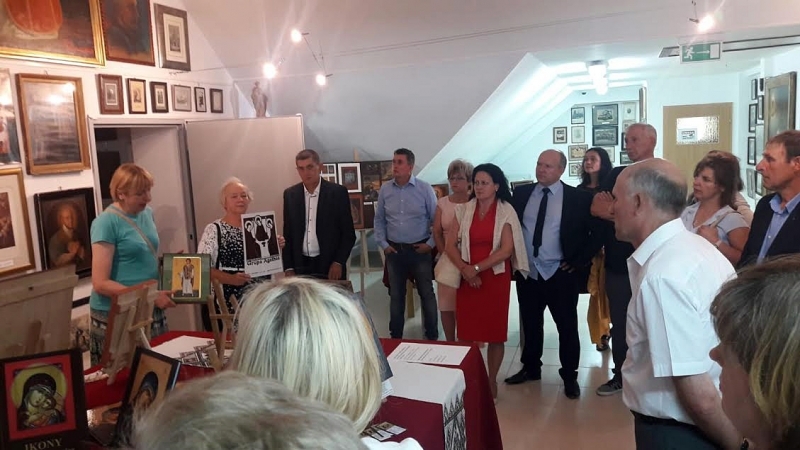 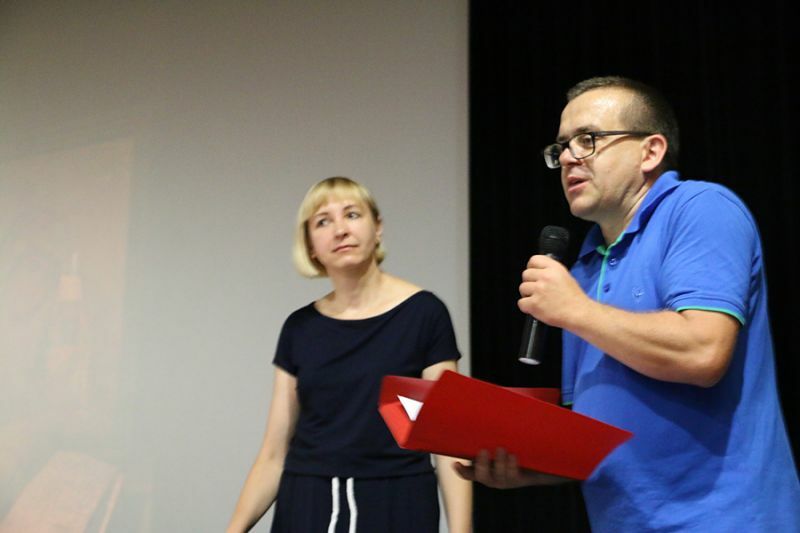 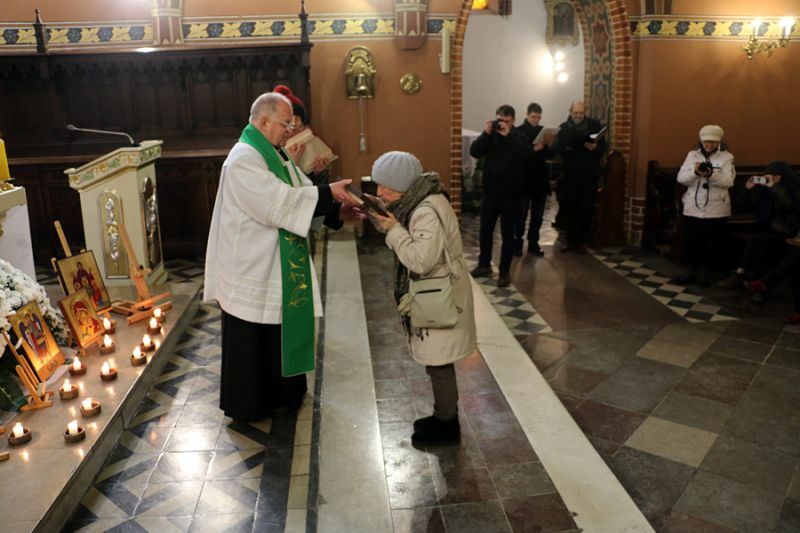 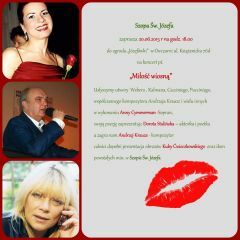 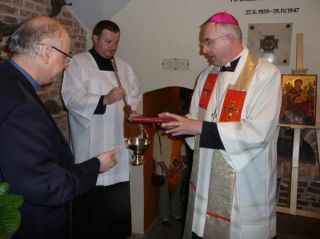 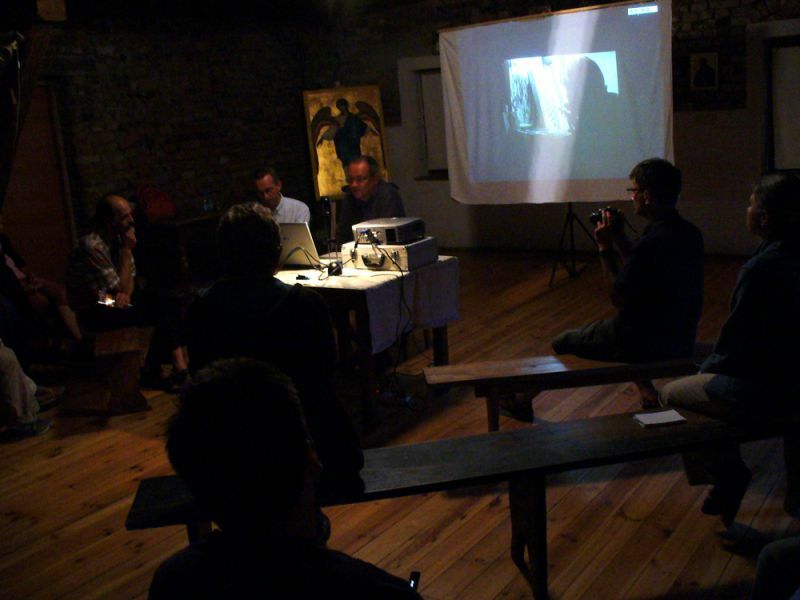 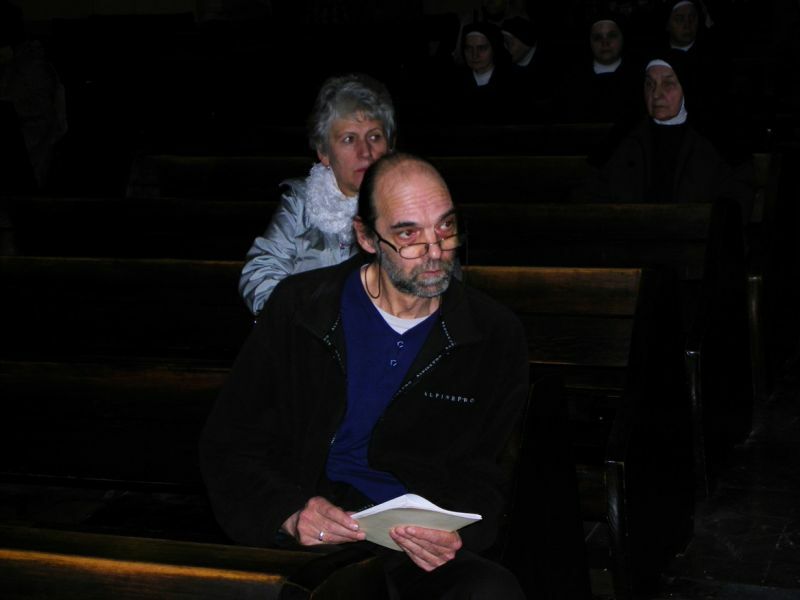 The presentation formed part of the event entitled "Sztuka w obejściu." 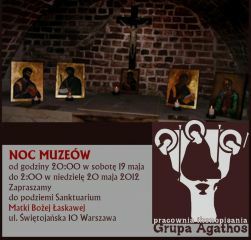 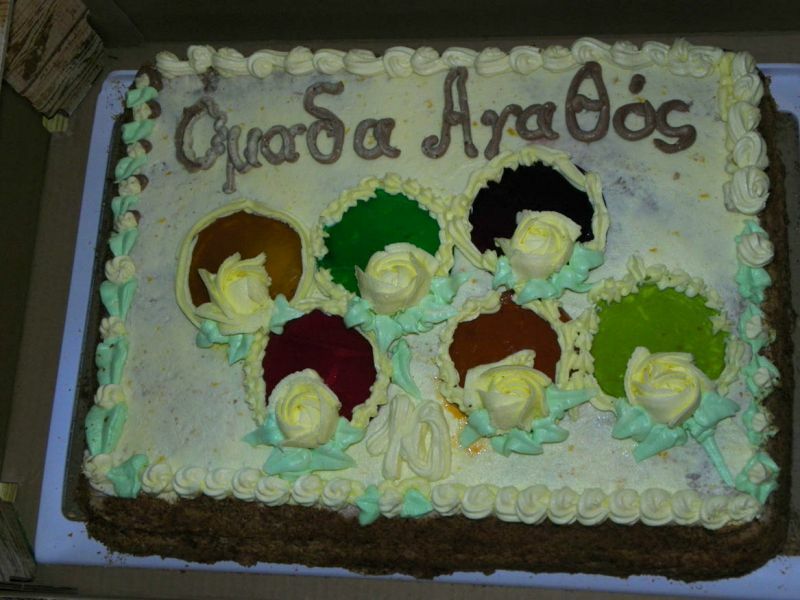 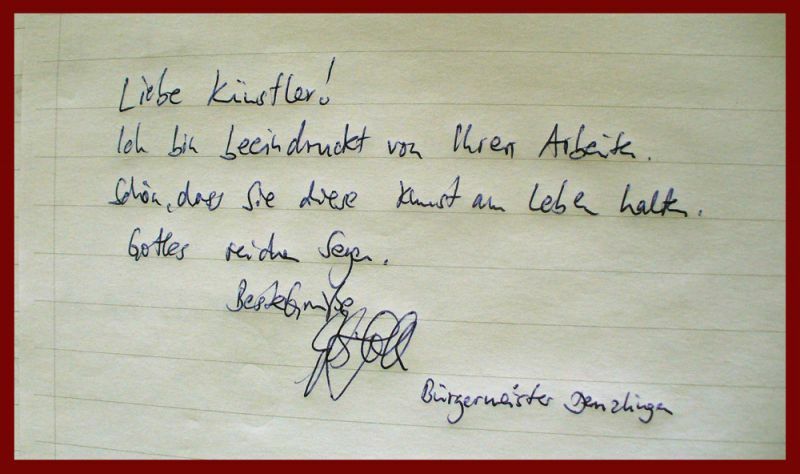 Unfortunately, in the end it turned out that I couldn’t participate. 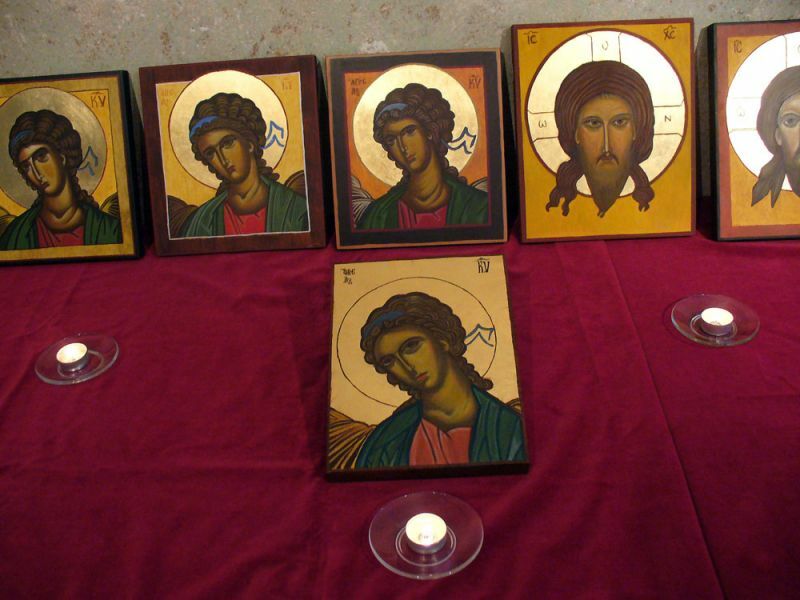 However, I managed to deliver some of my icons. 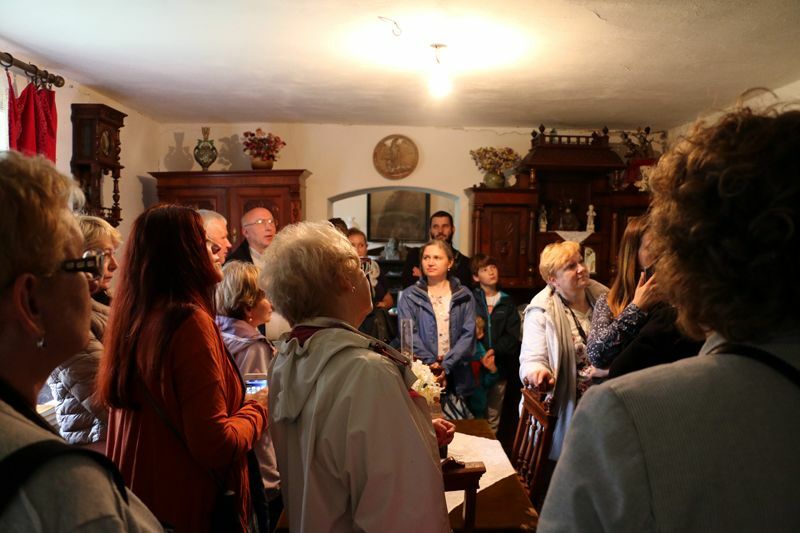 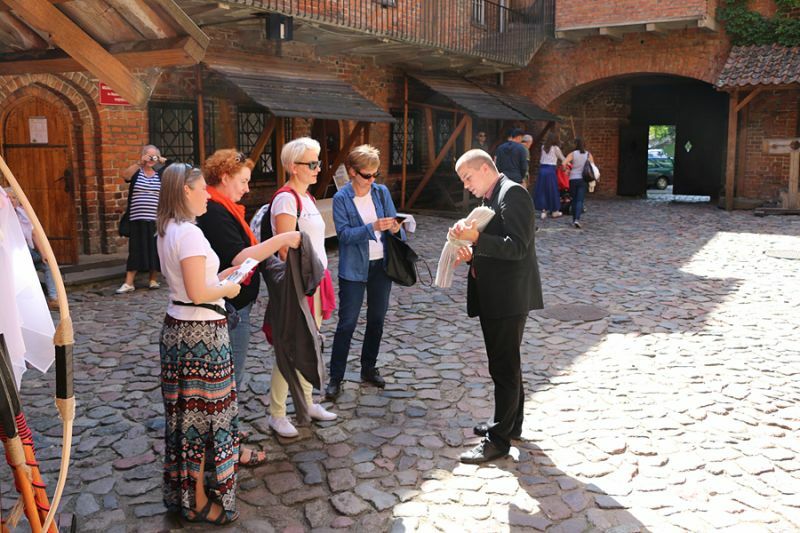 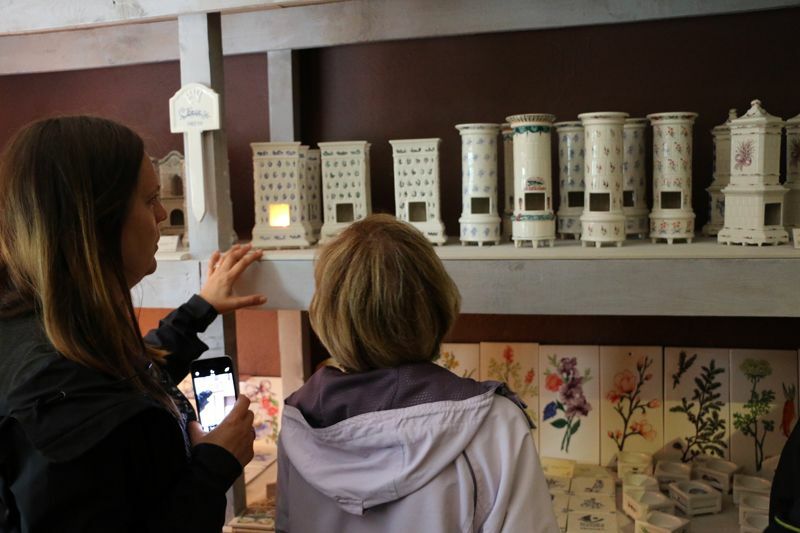 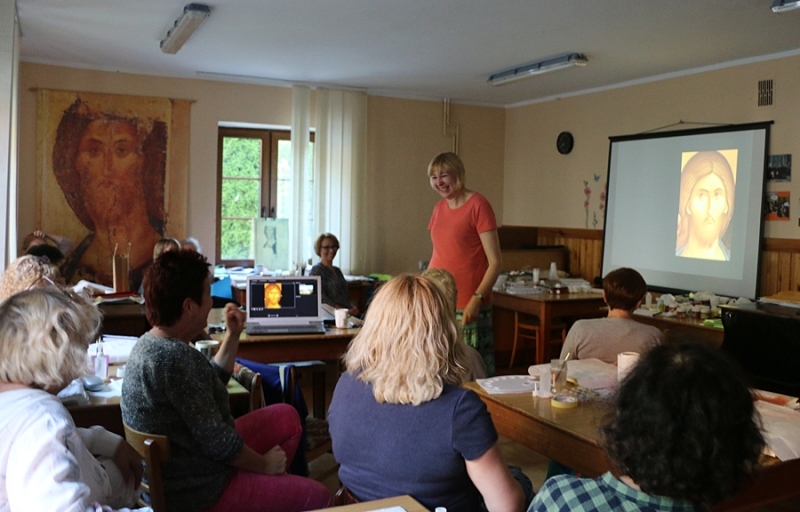 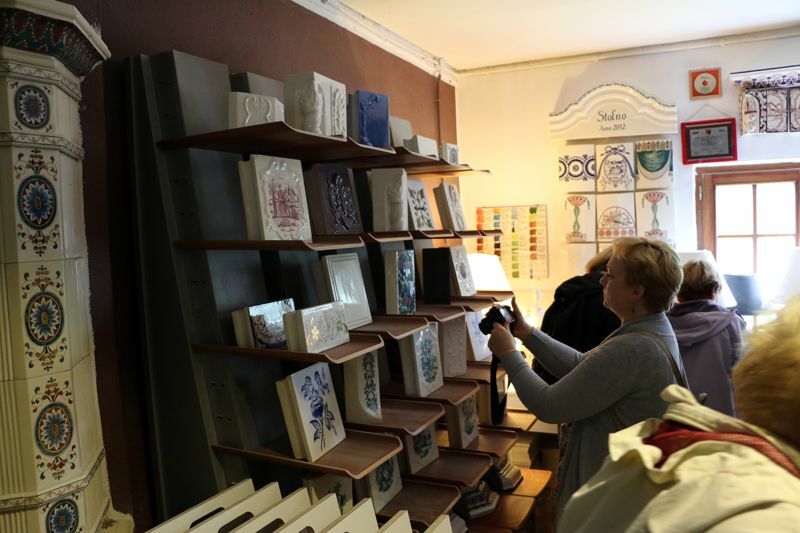 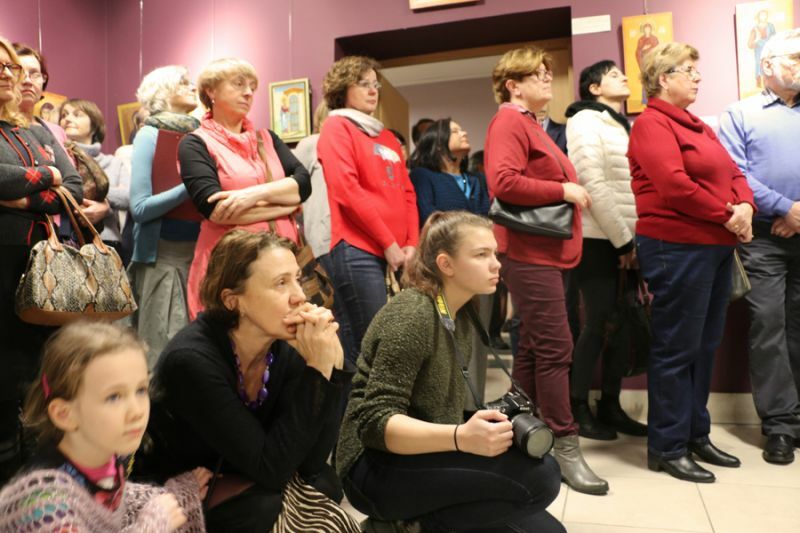 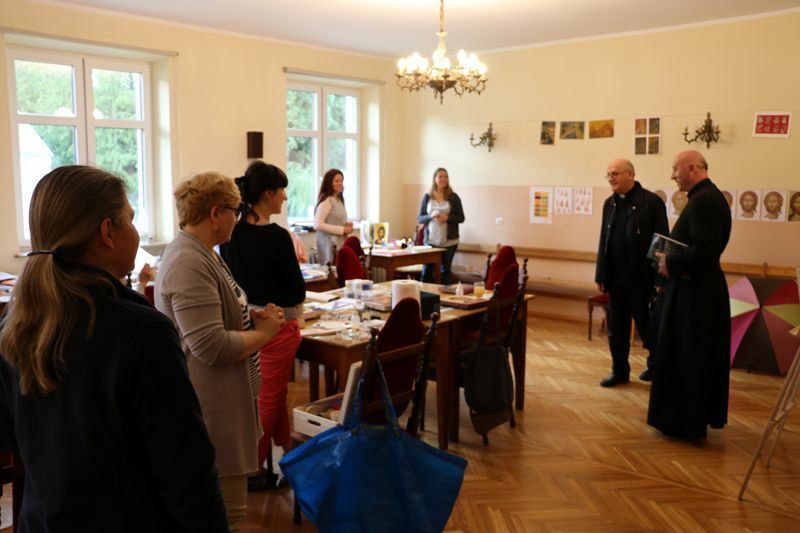 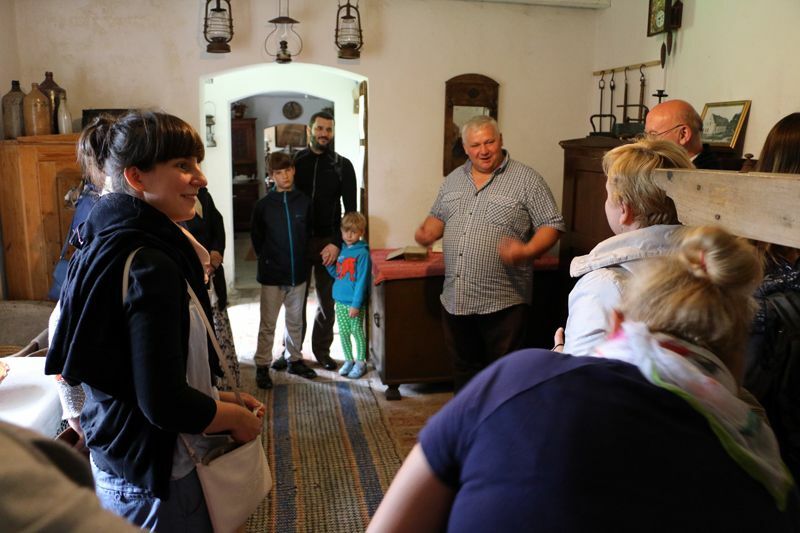 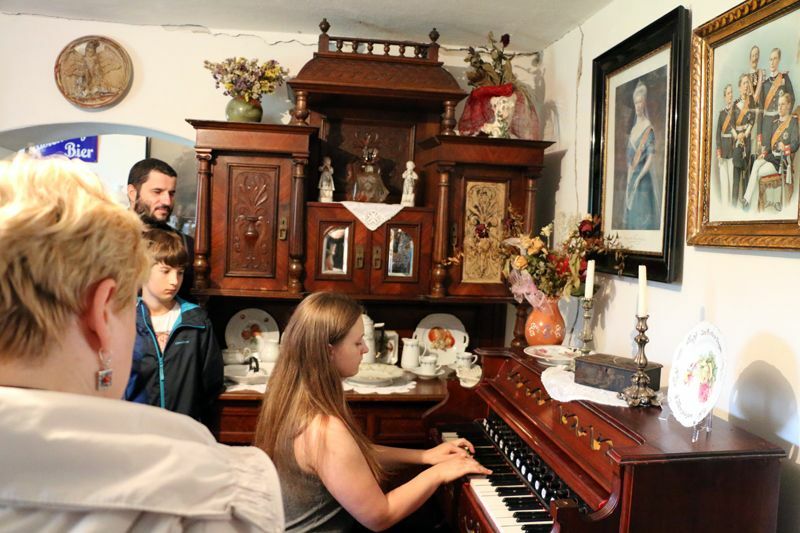 The presentation received wide interest, with more than hundred people visiting the workshop in Nowe Kawkowo within three days. 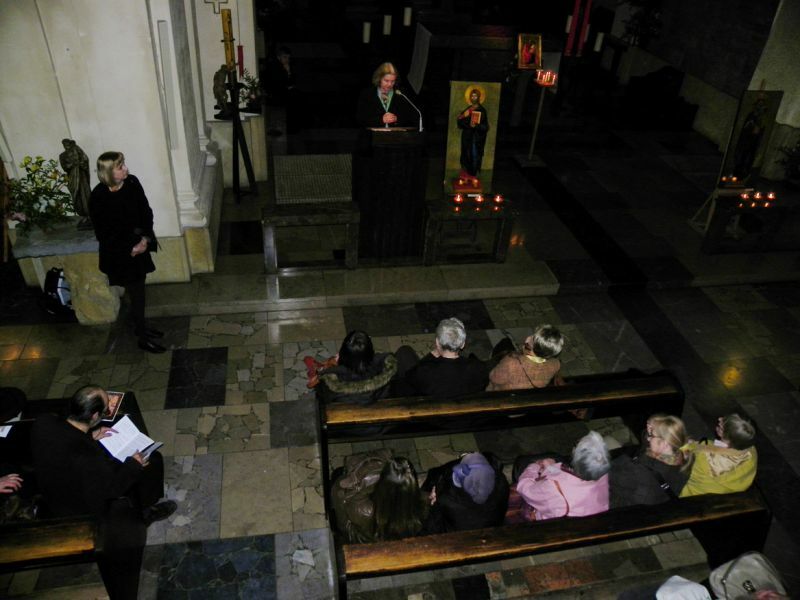 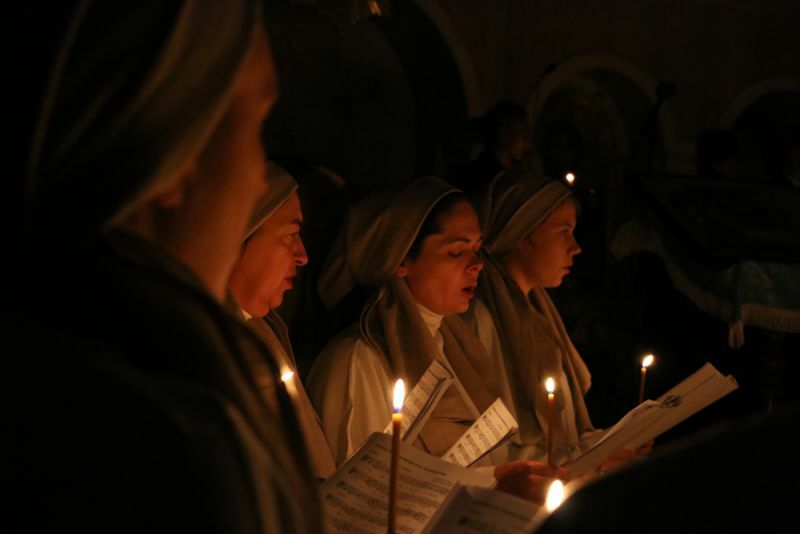 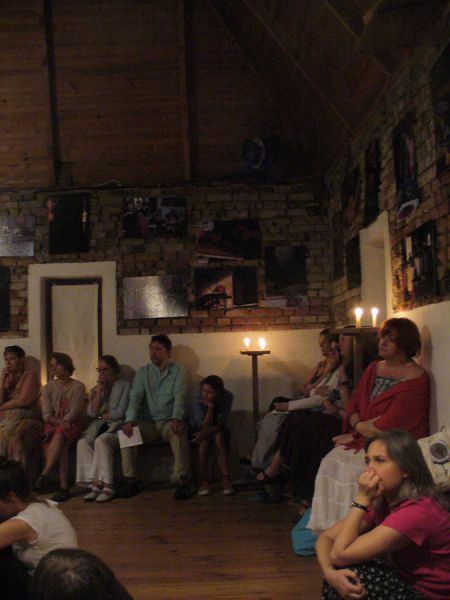 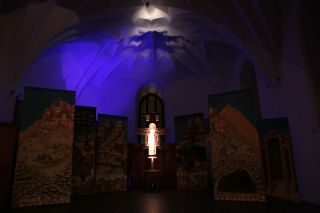 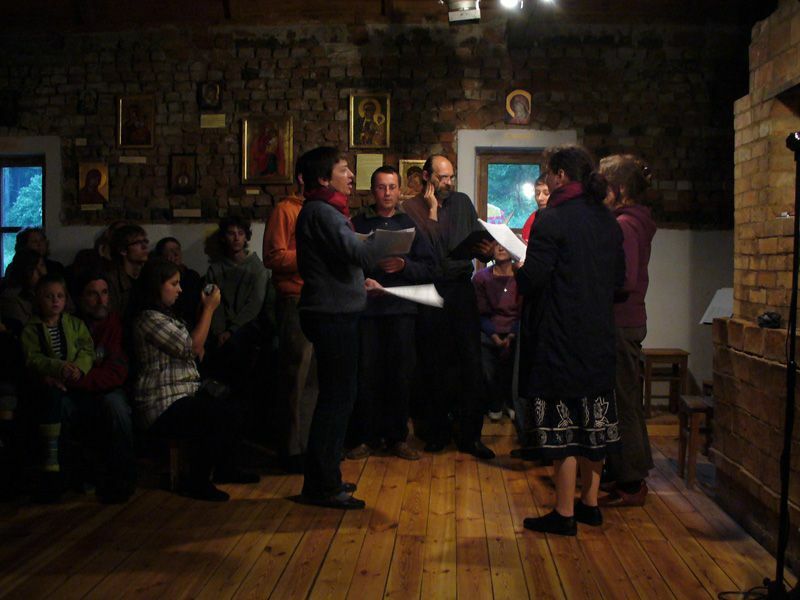 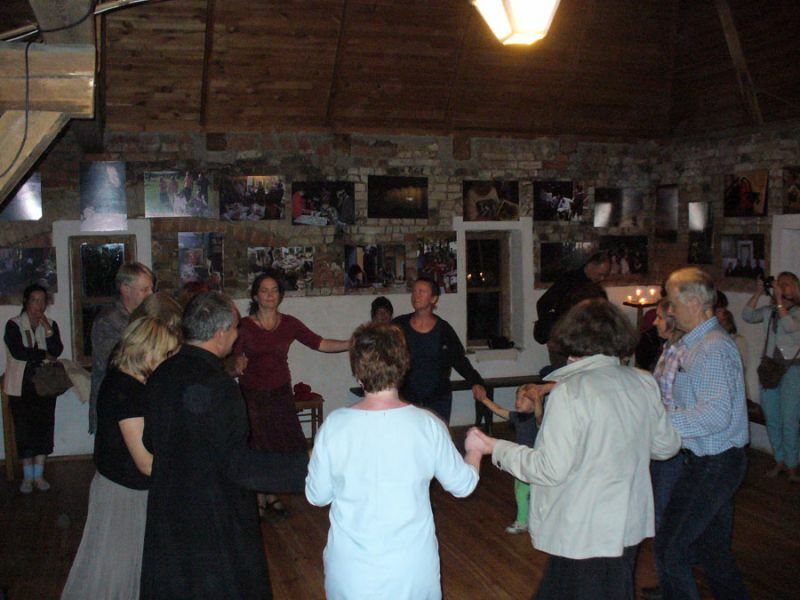 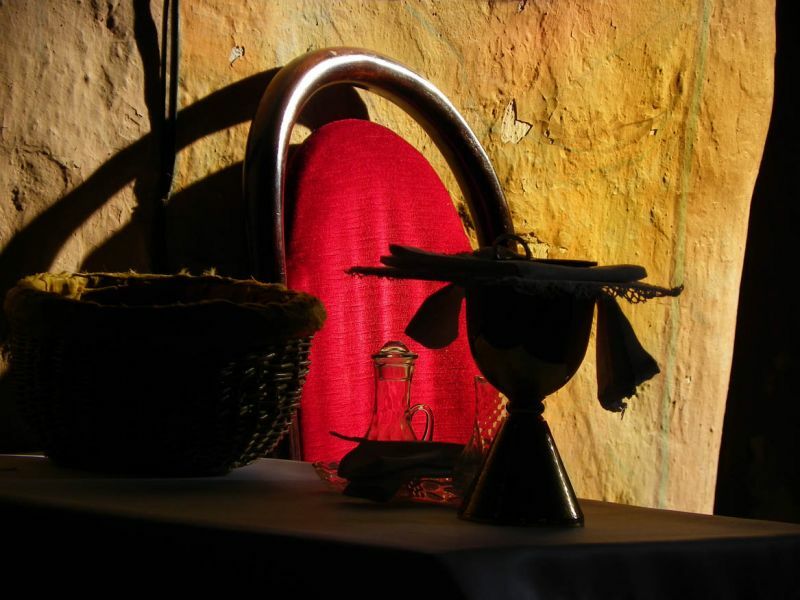 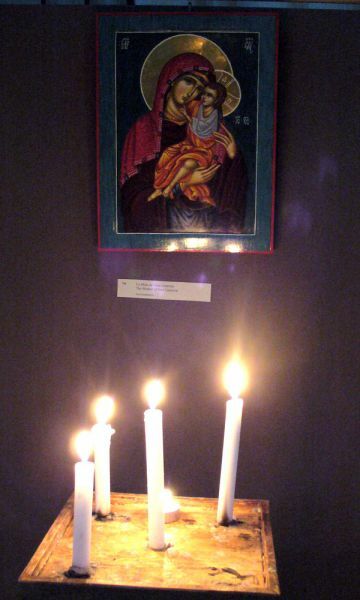 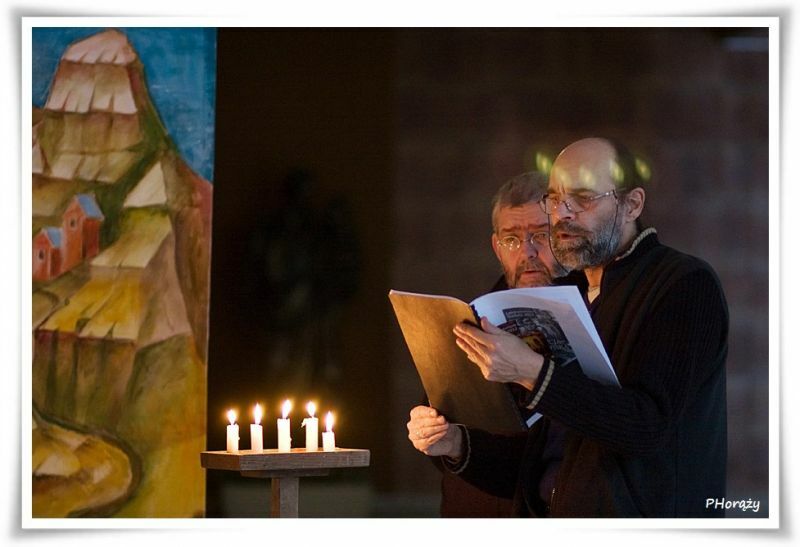 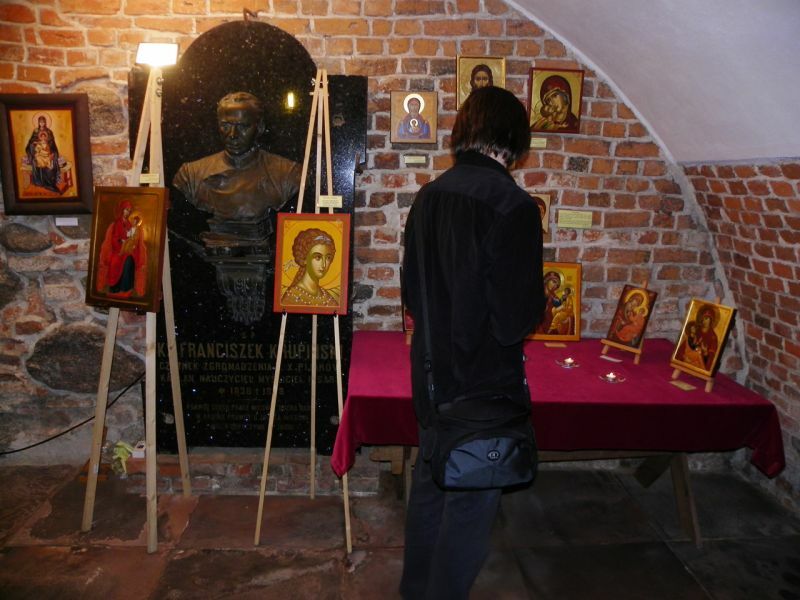 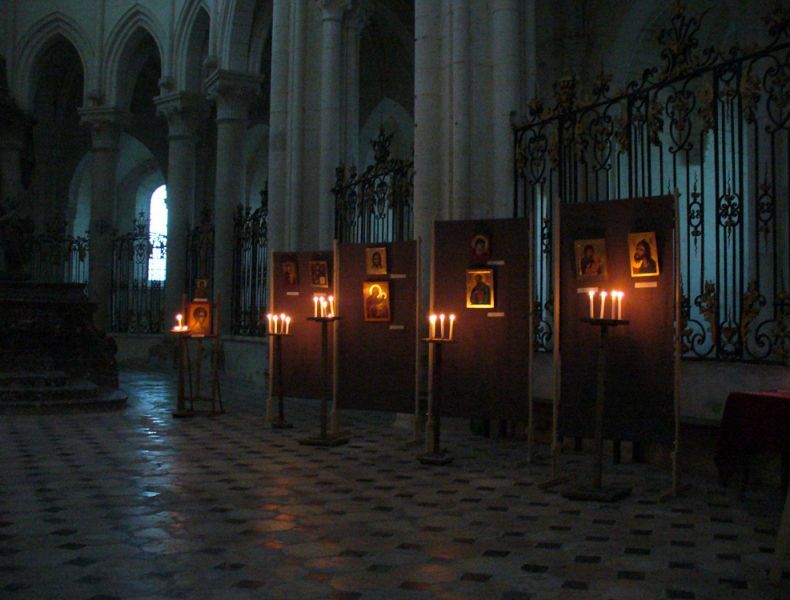 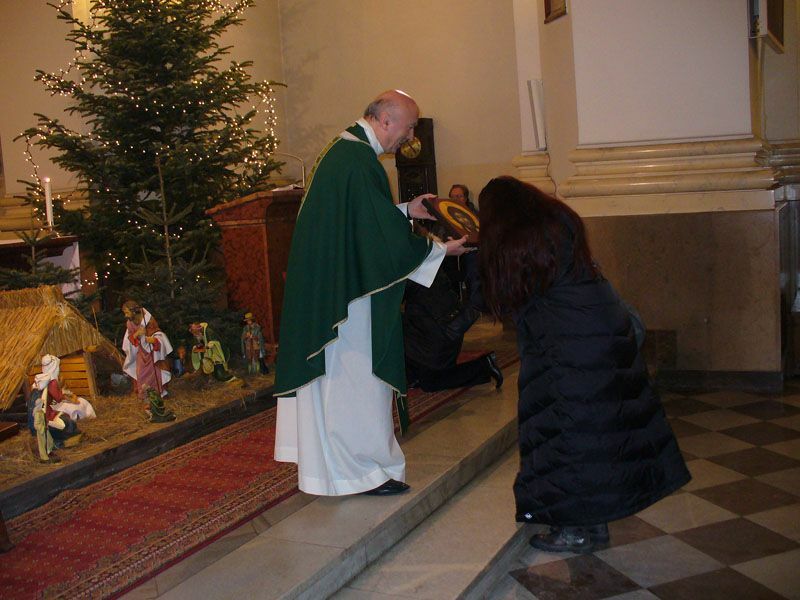 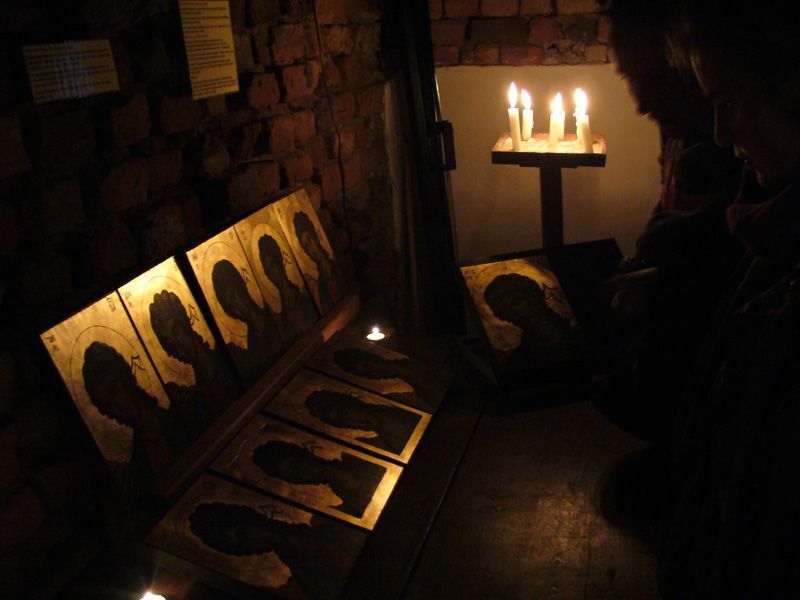 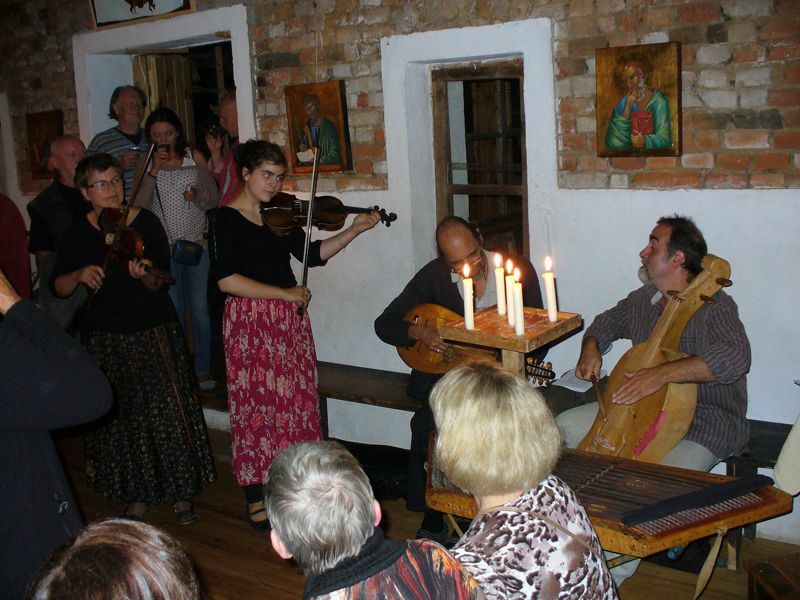 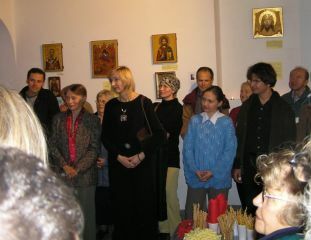 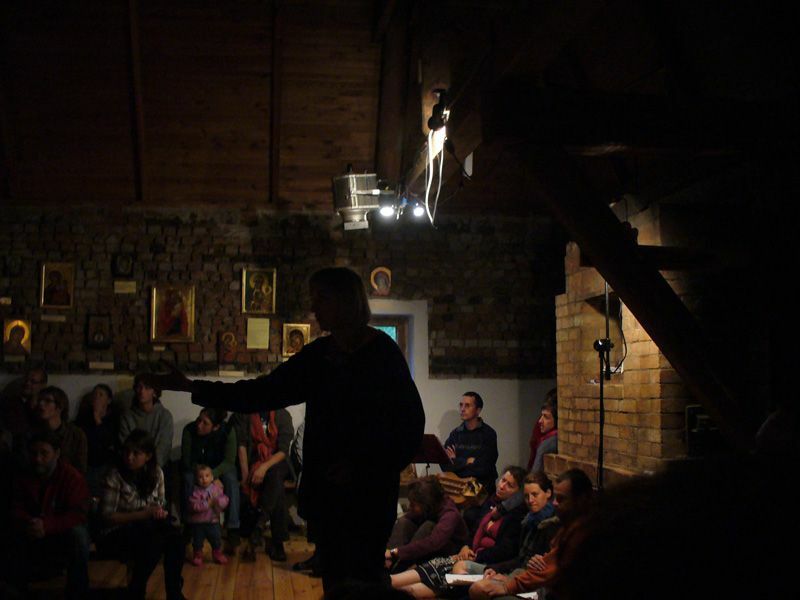 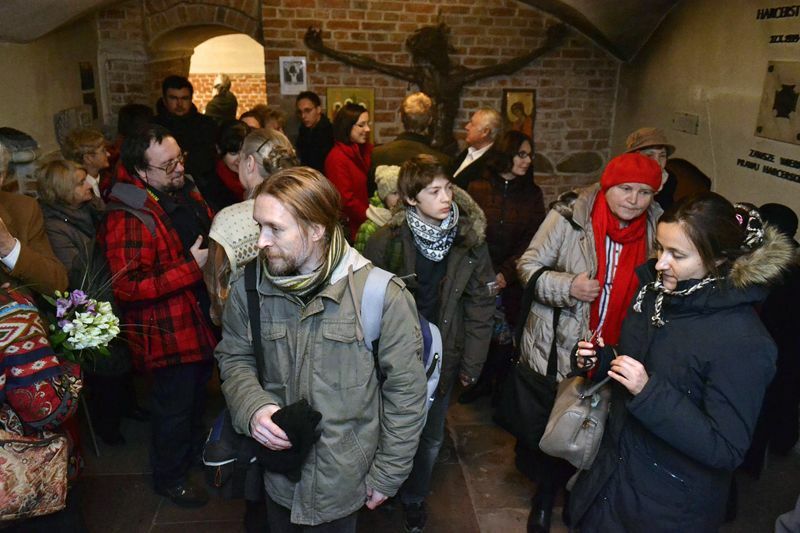 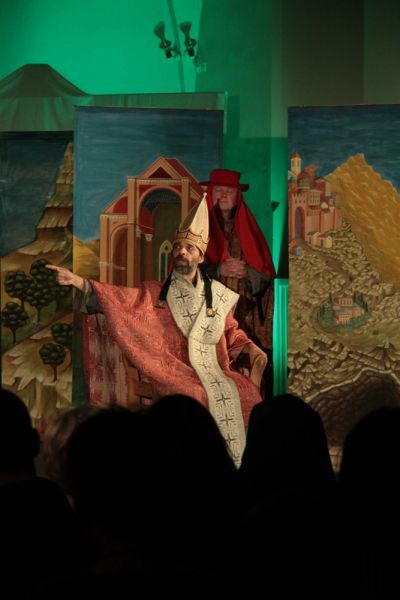 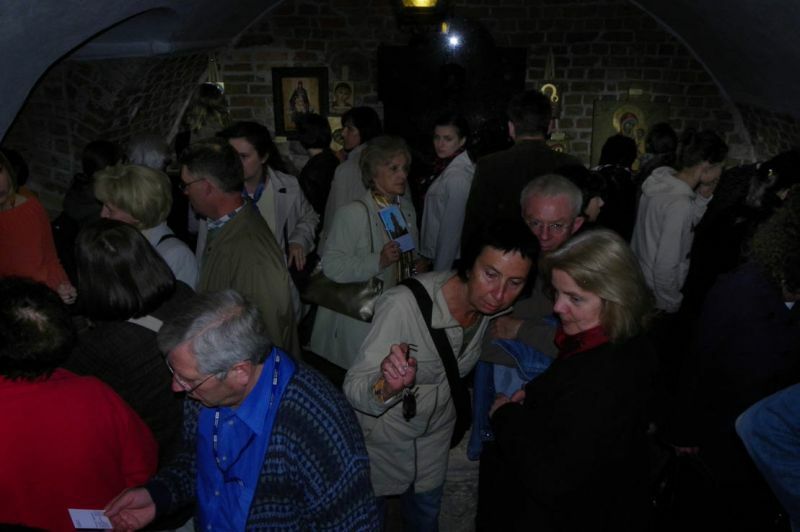 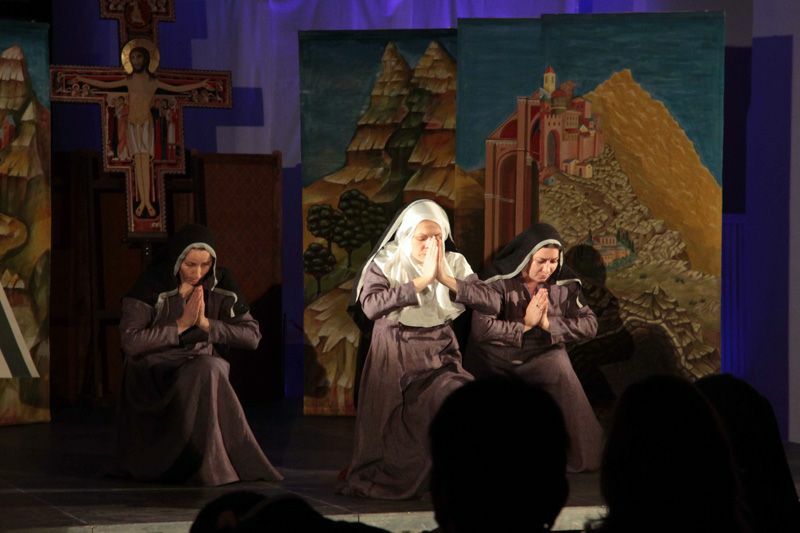 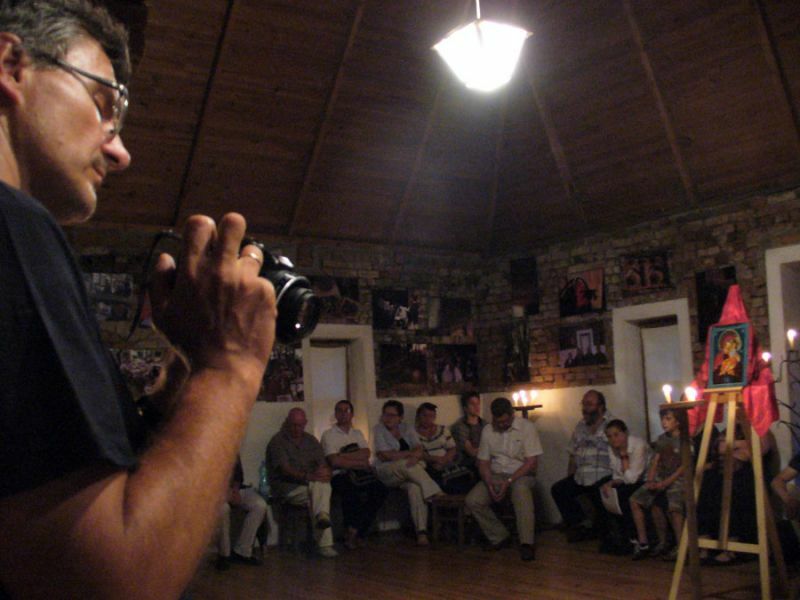 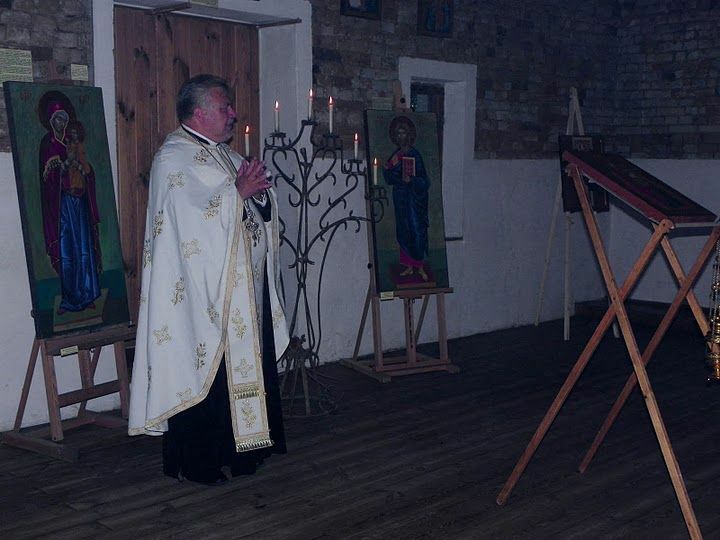 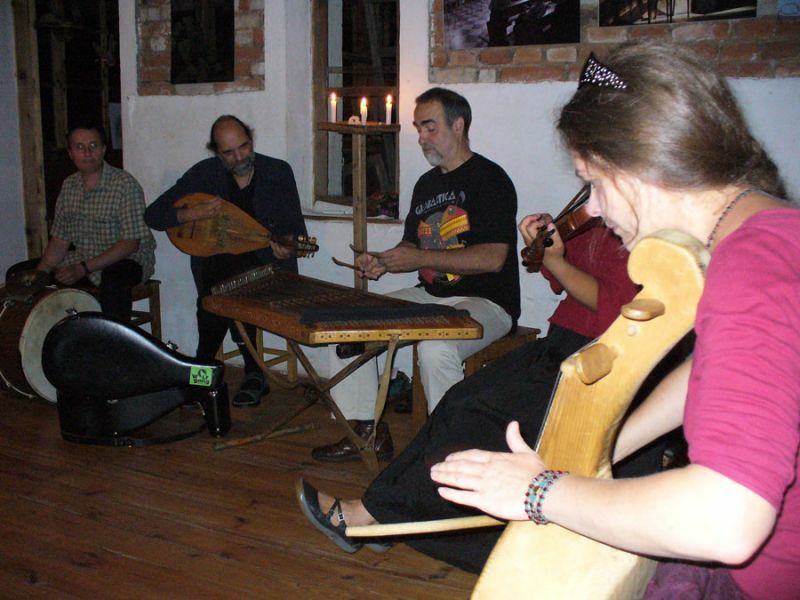 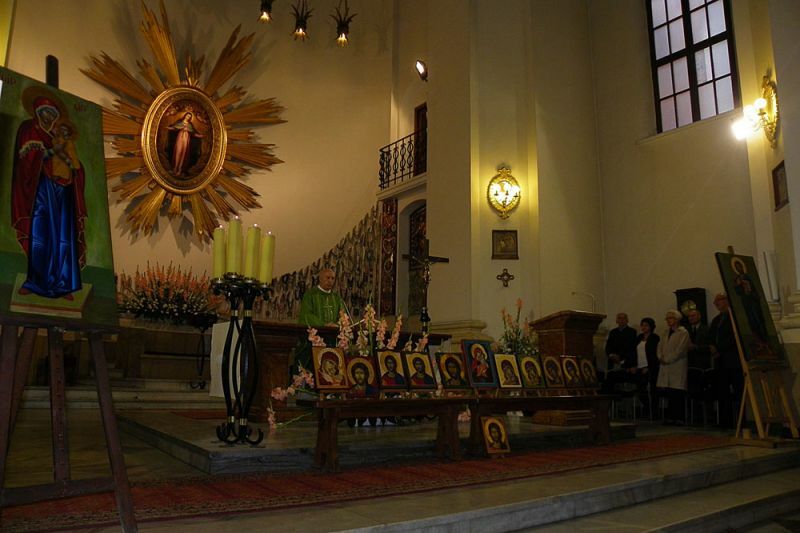 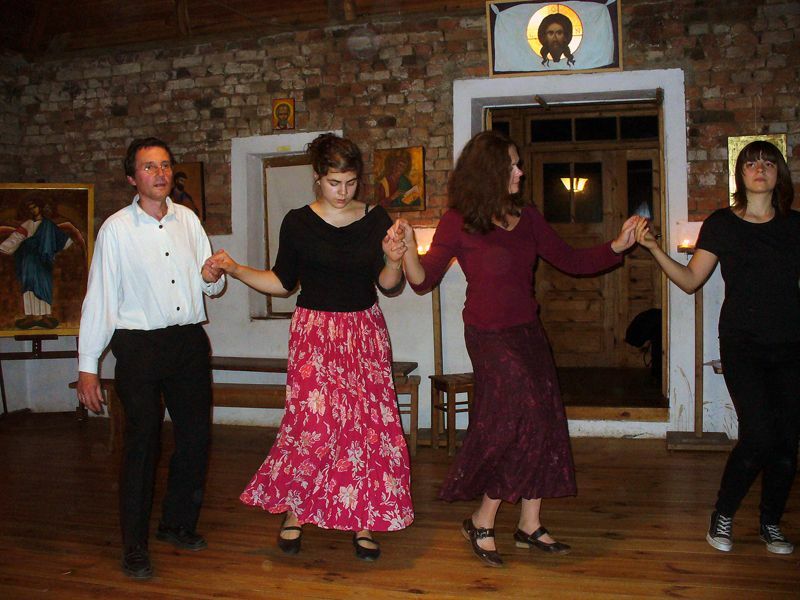 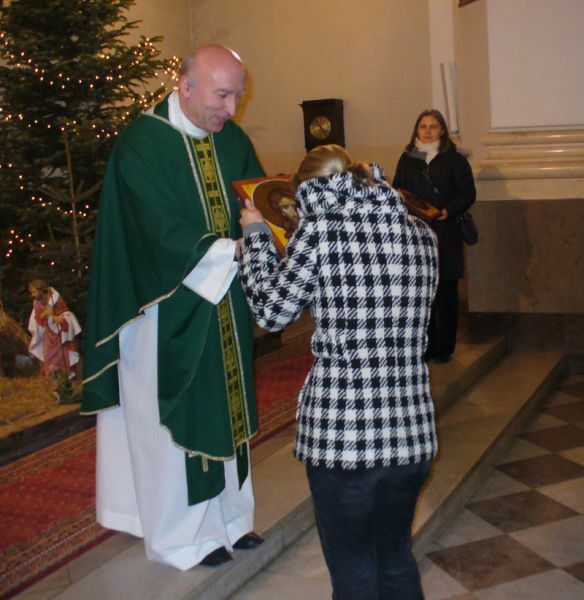 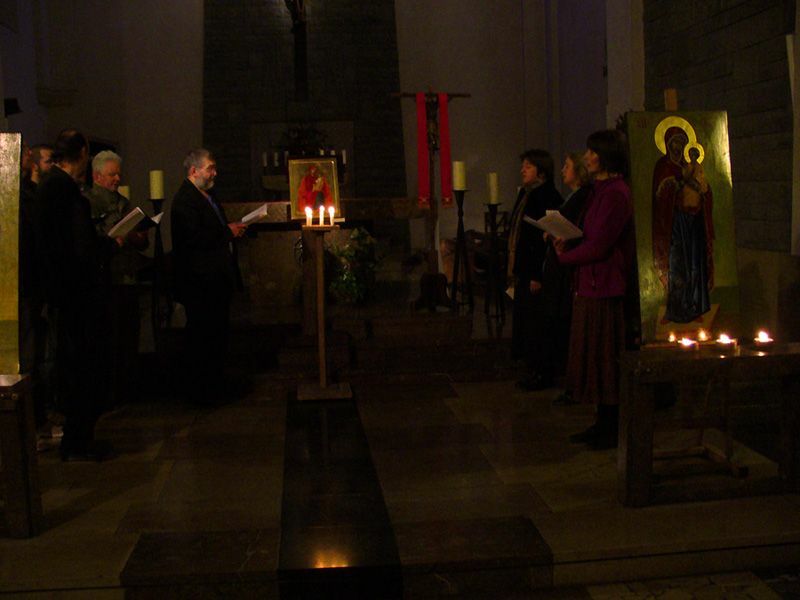 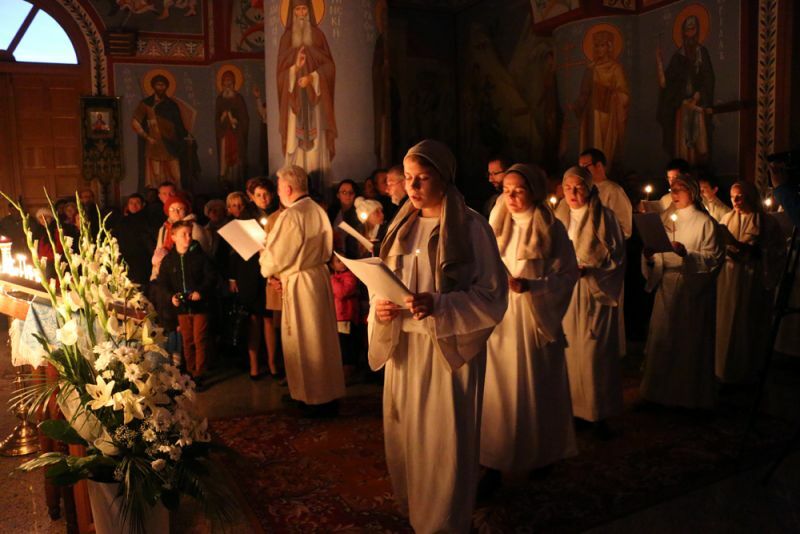 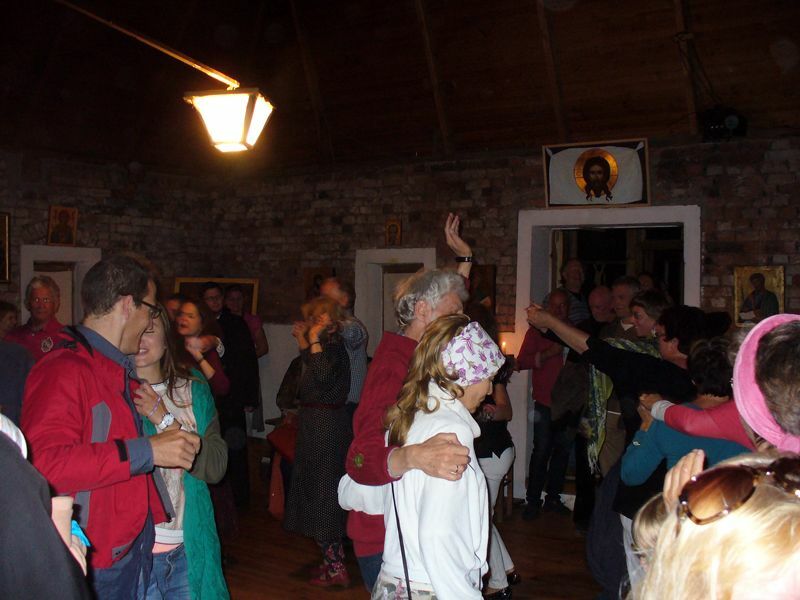 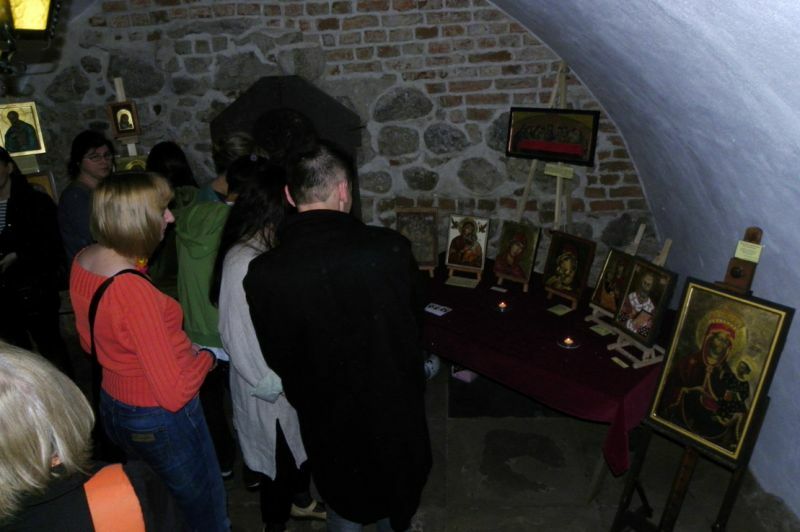 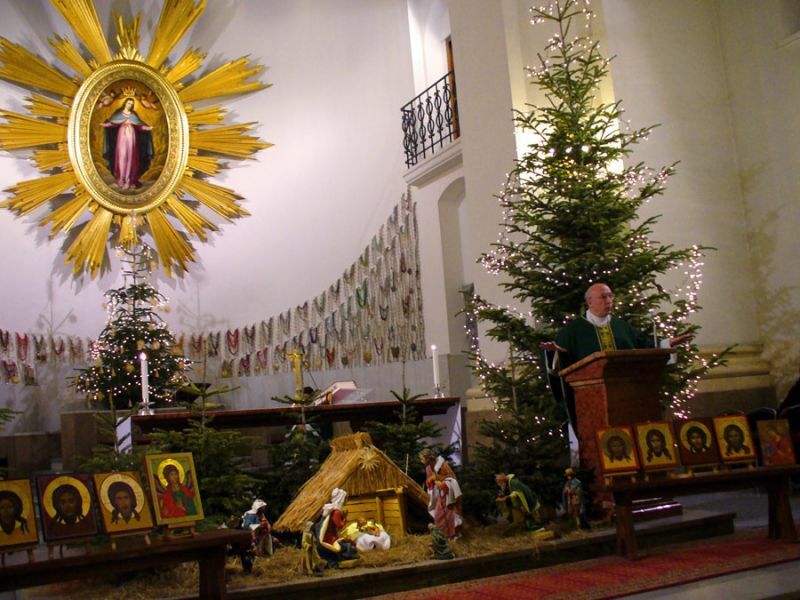 On 10 February 2007, the opening night of the performance entitled Miracula Sancti Nicolai (The Miracles of Saint Nicolas), took place in the Olsztyn castle. 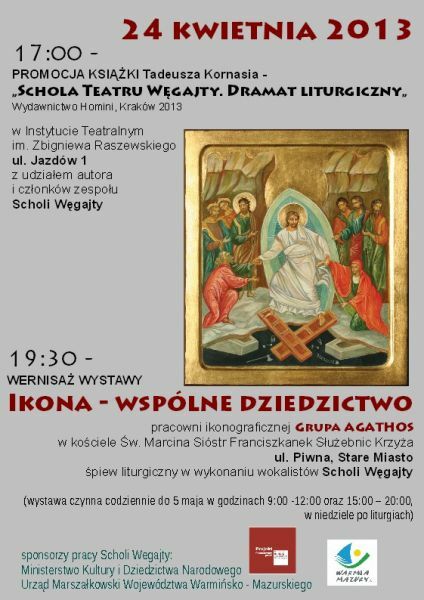 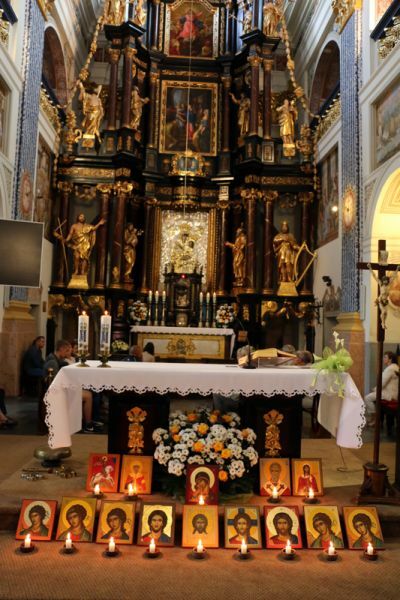 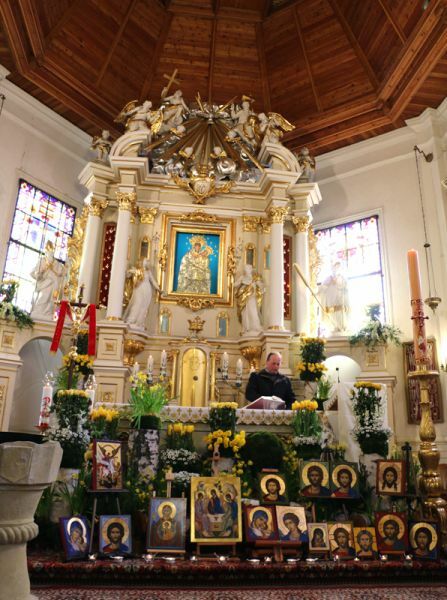 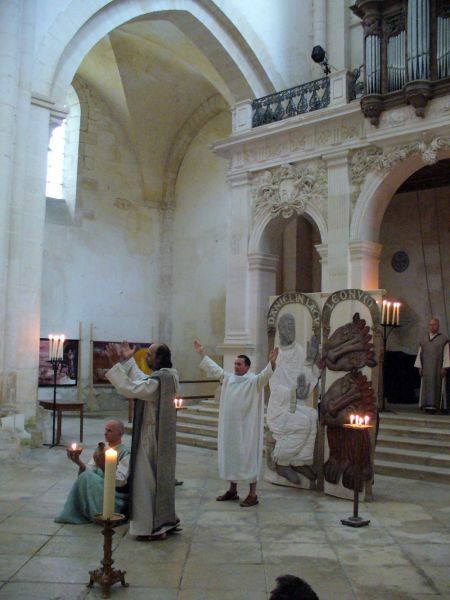 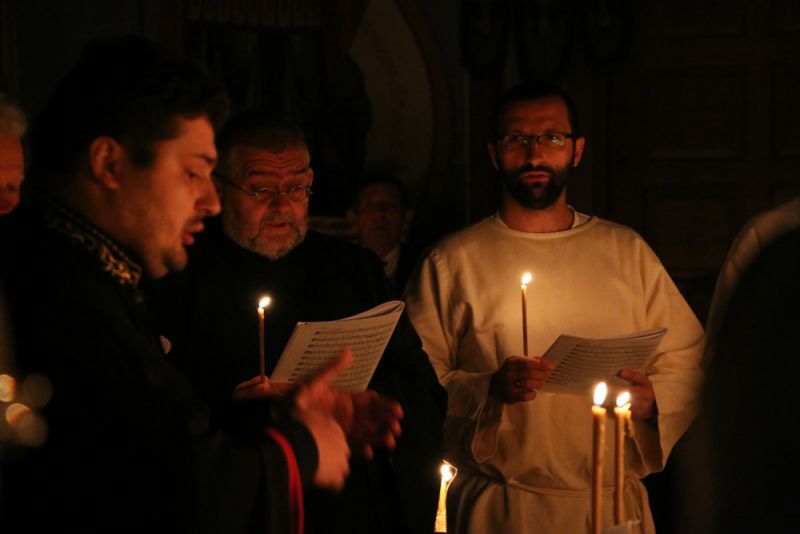 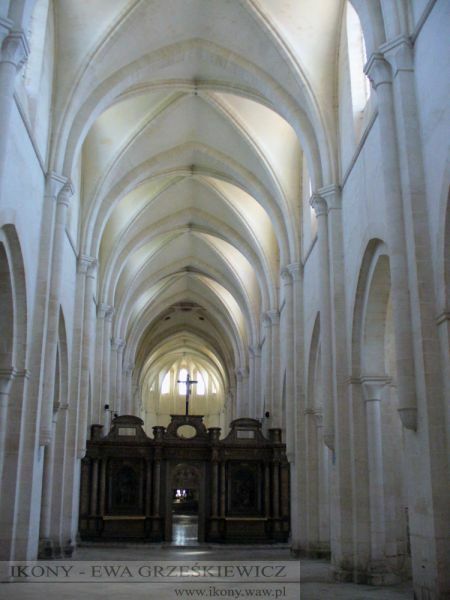 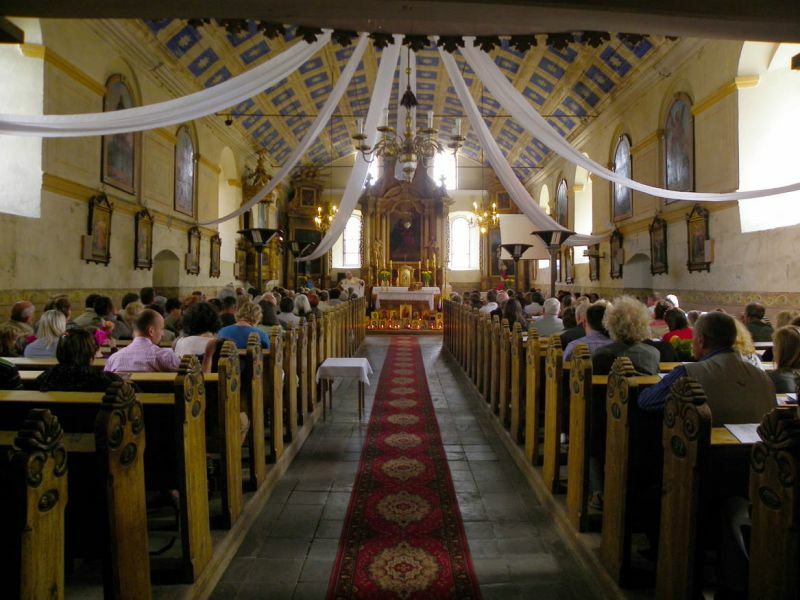 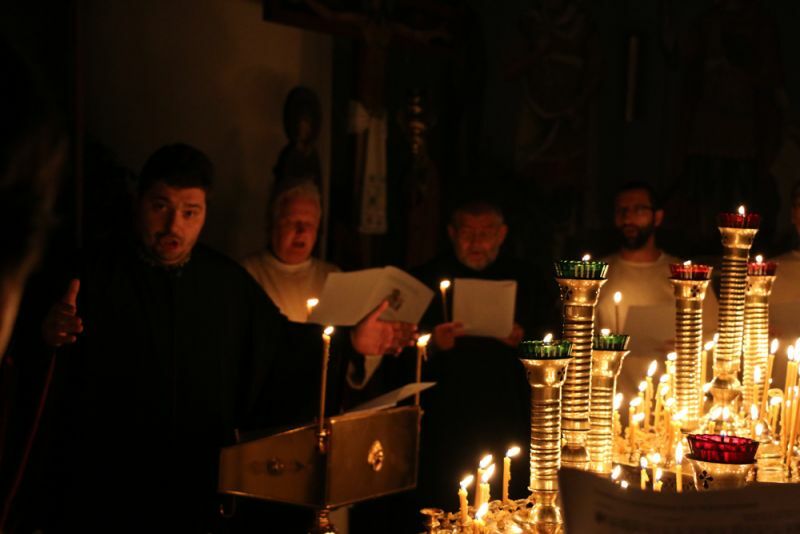 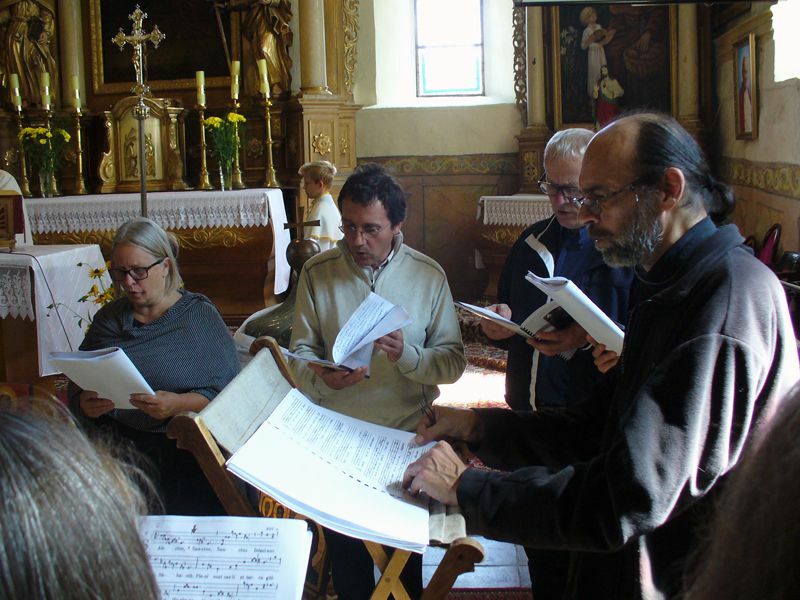 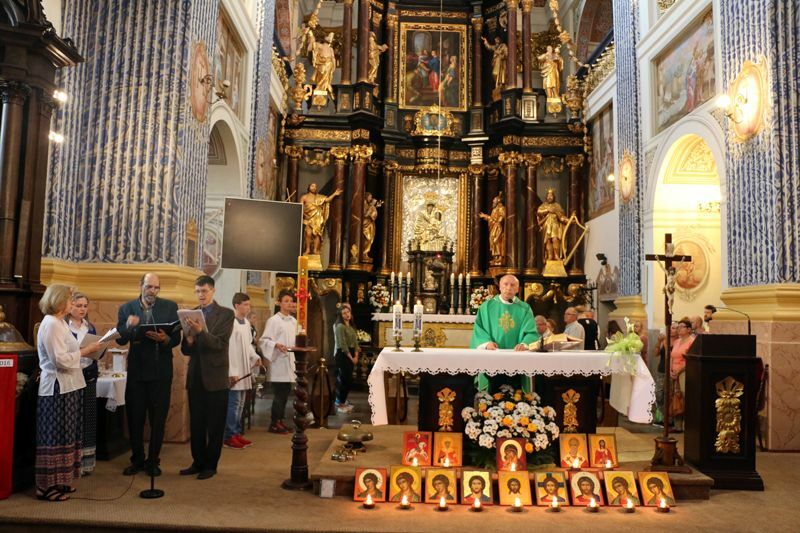 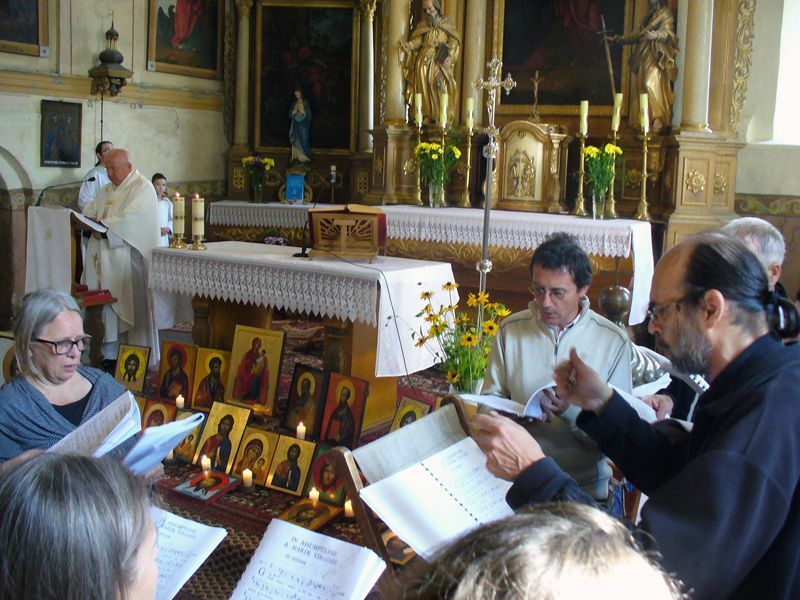 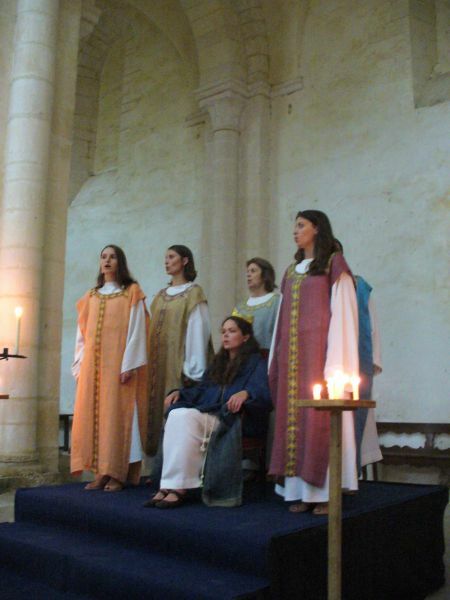 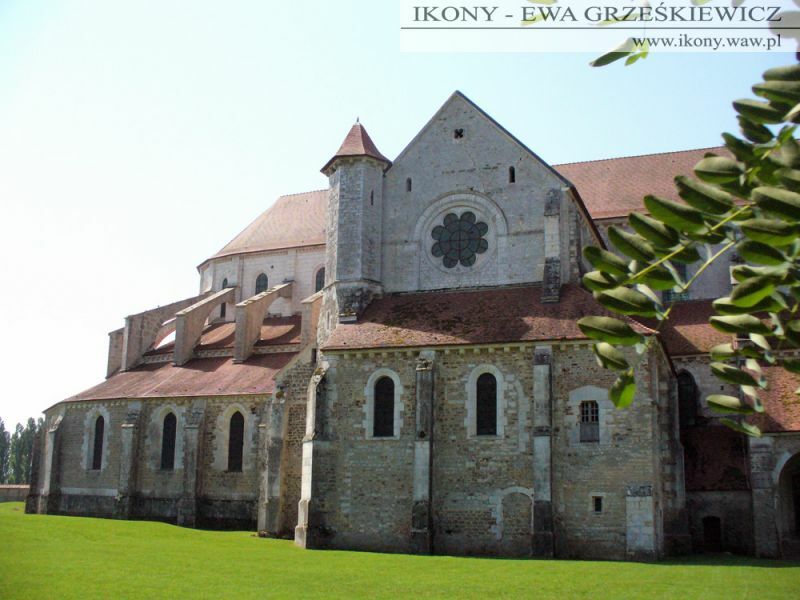 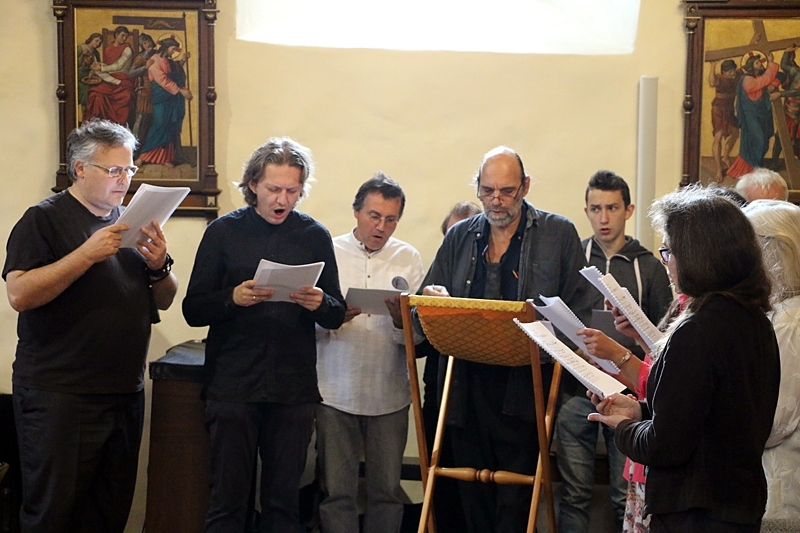 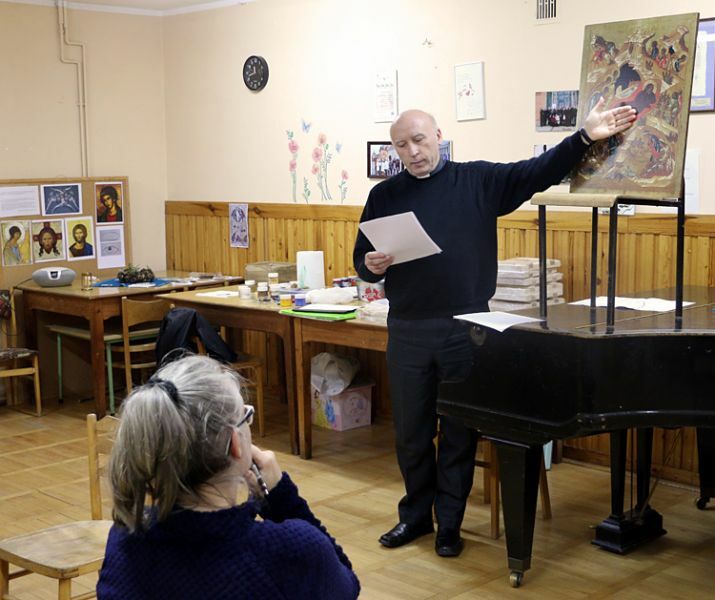 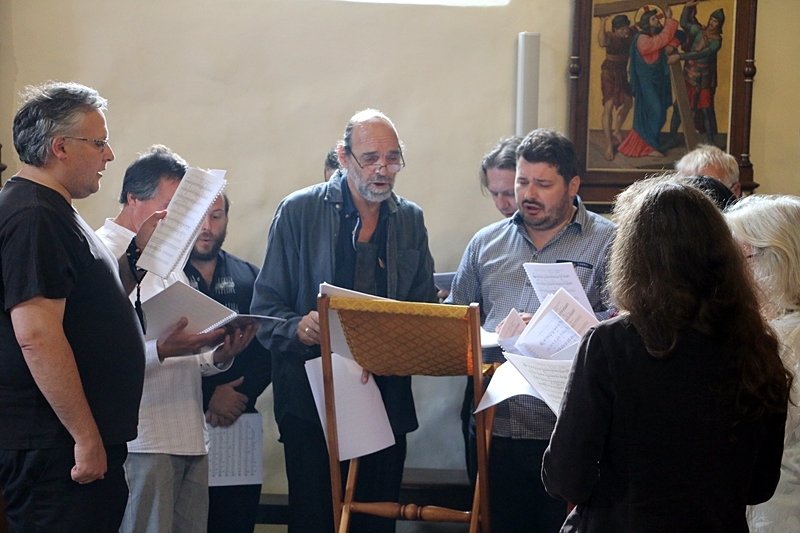 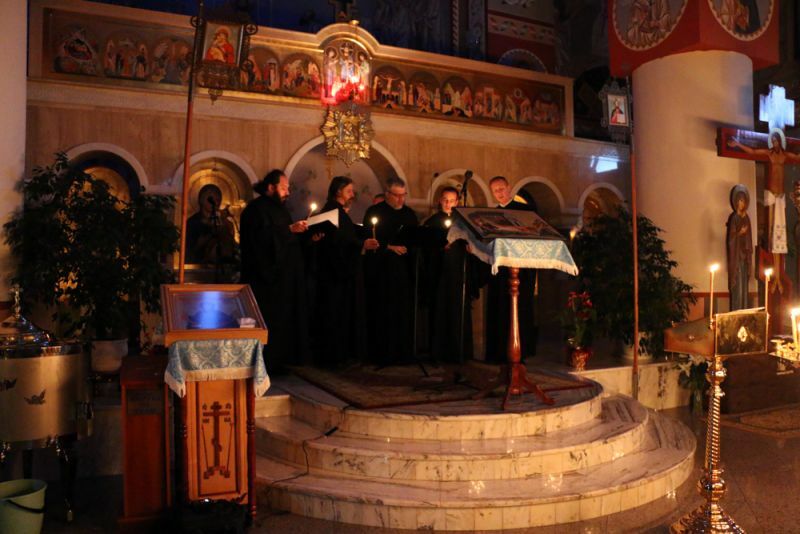 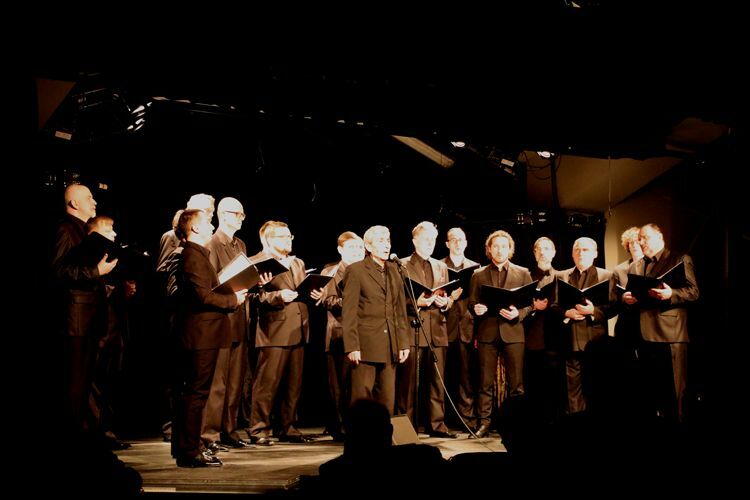 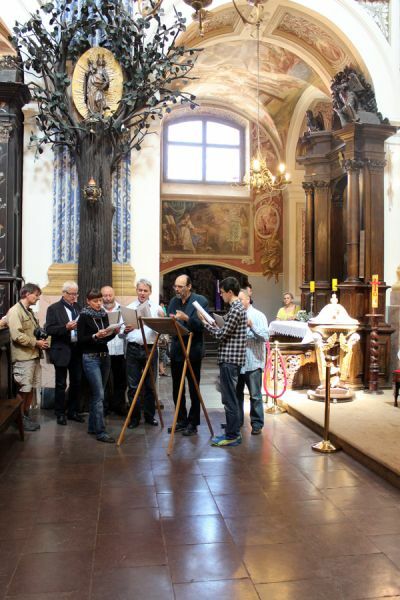 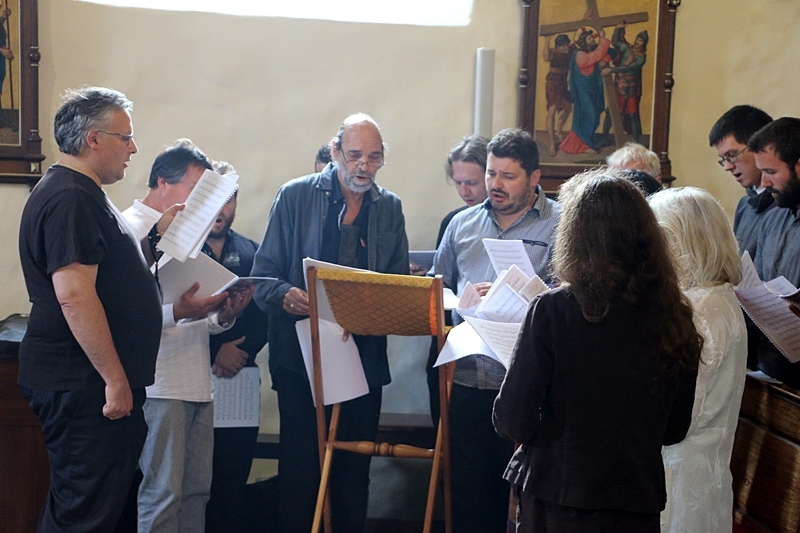 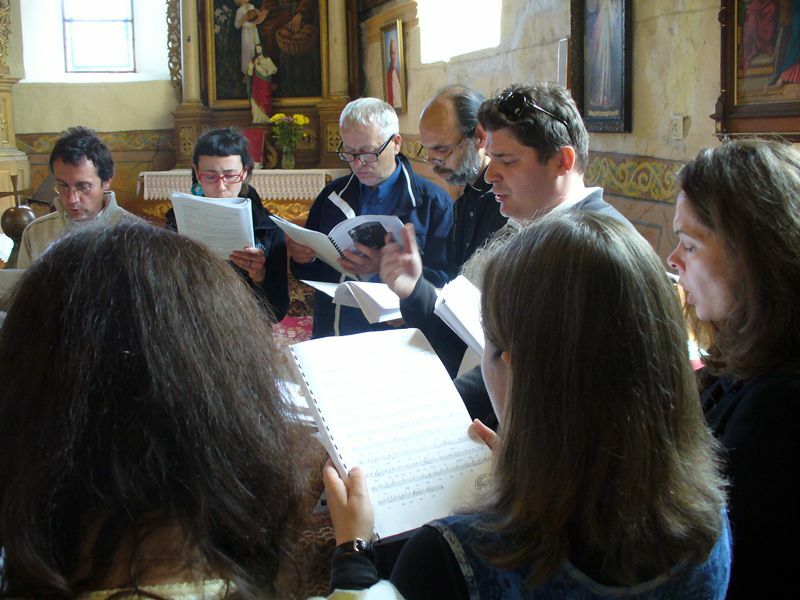 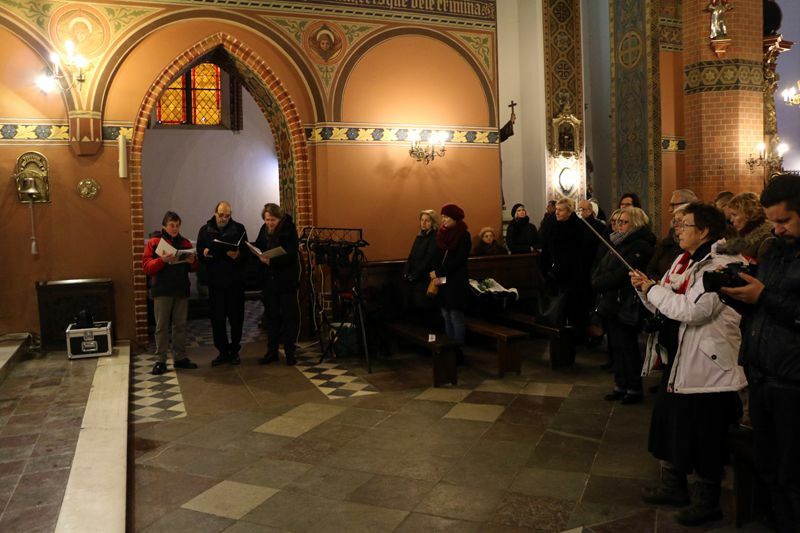 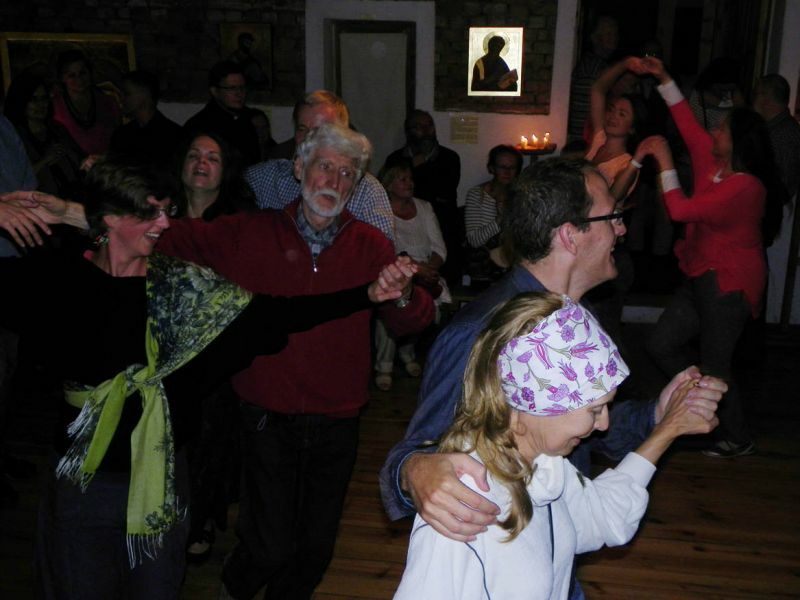 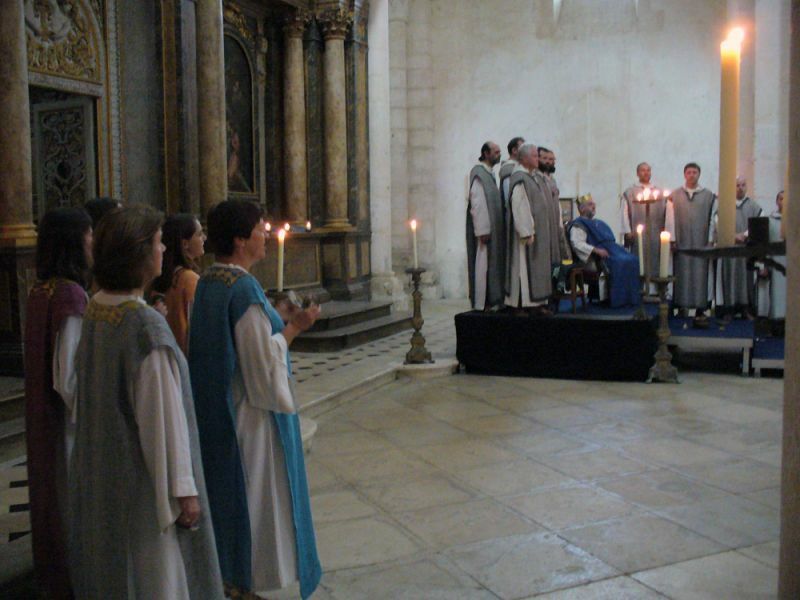 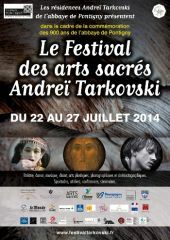 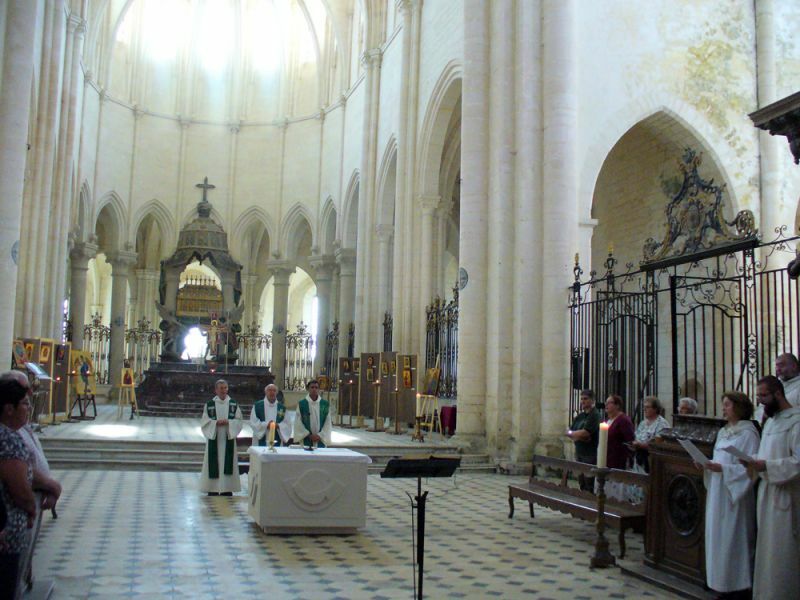 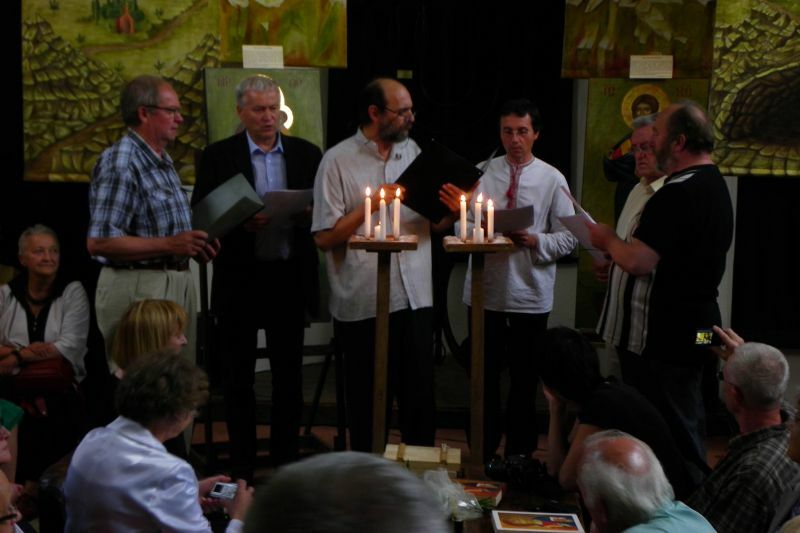 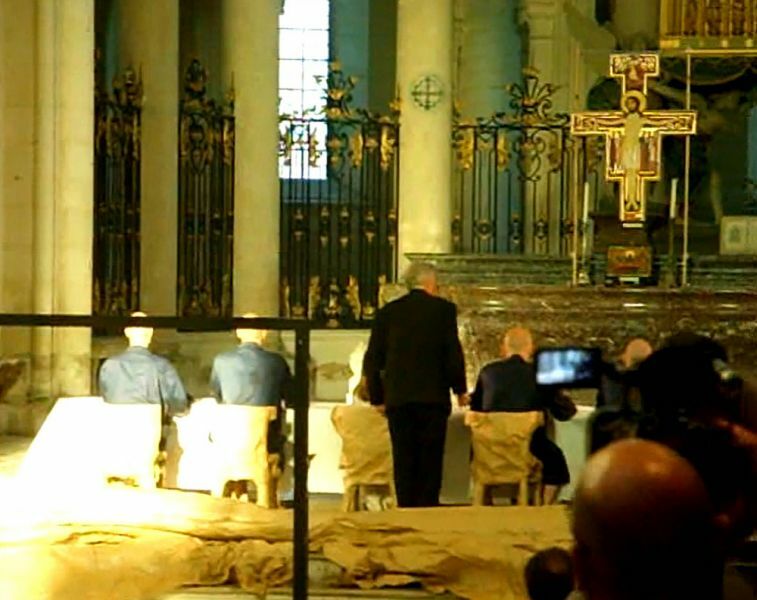 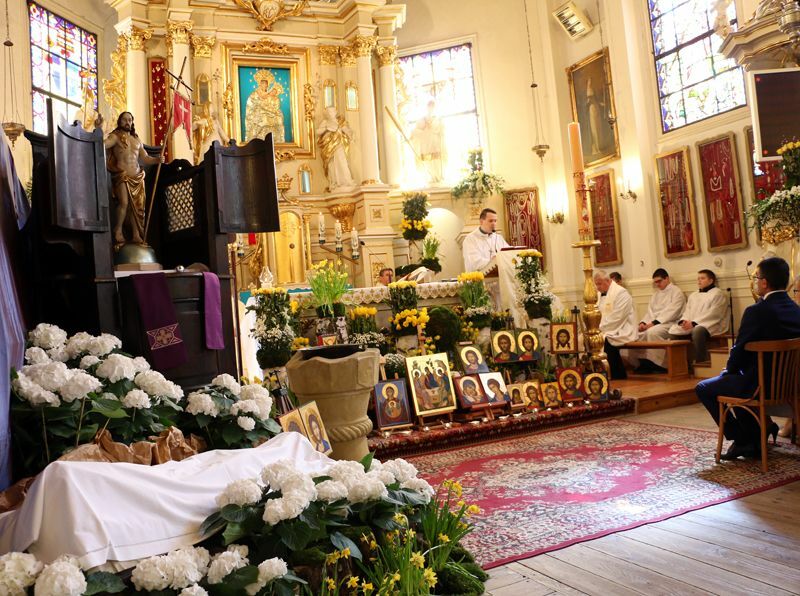 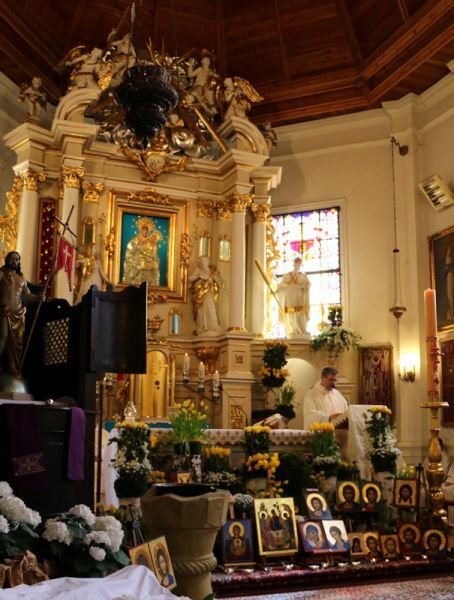 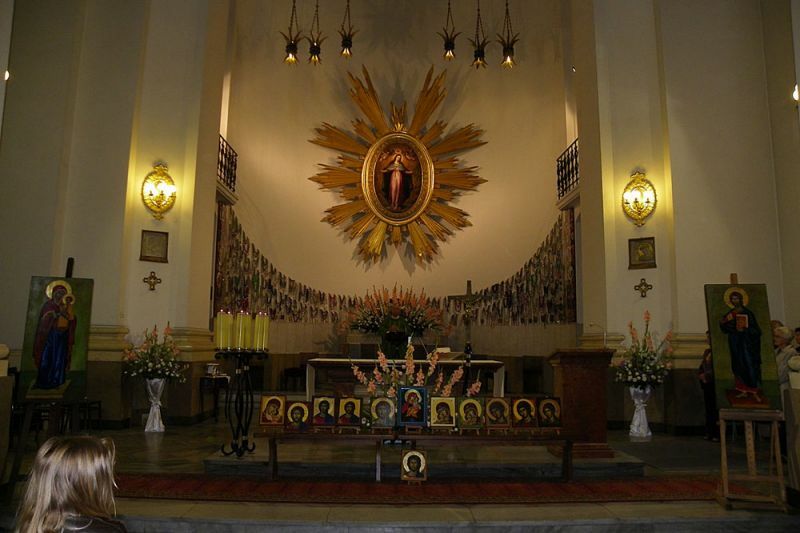 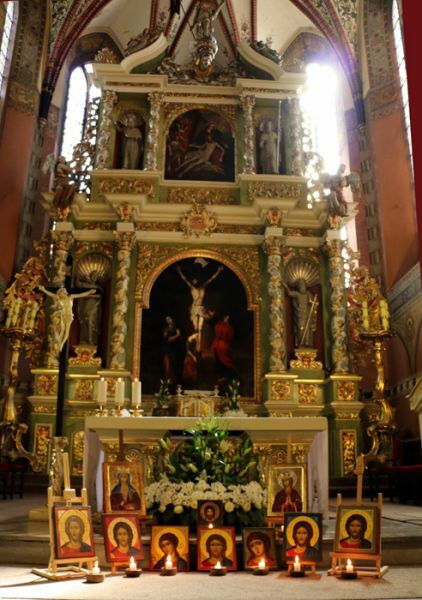 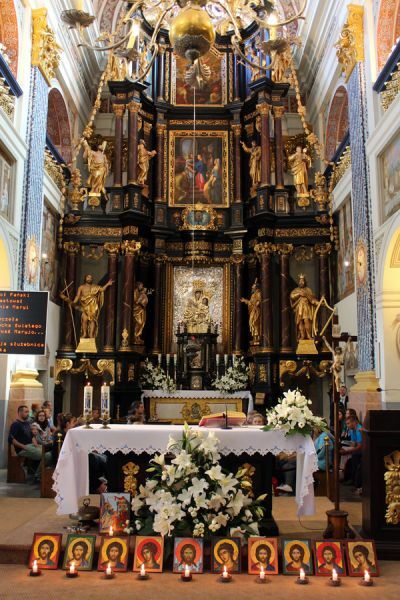 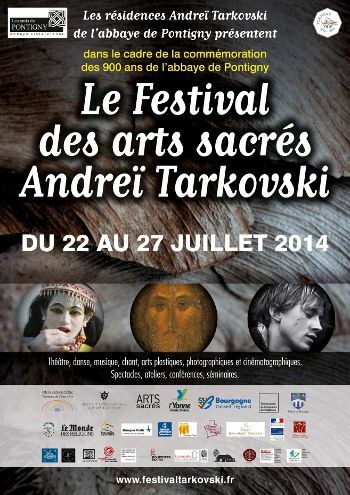 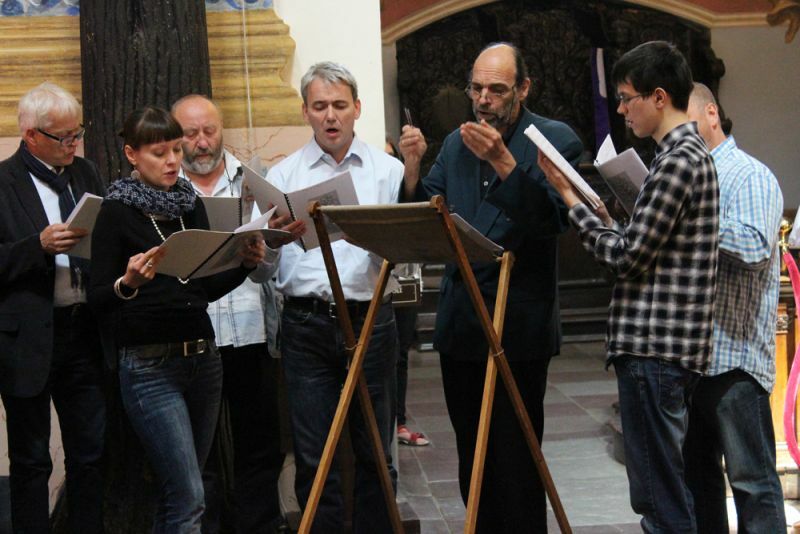 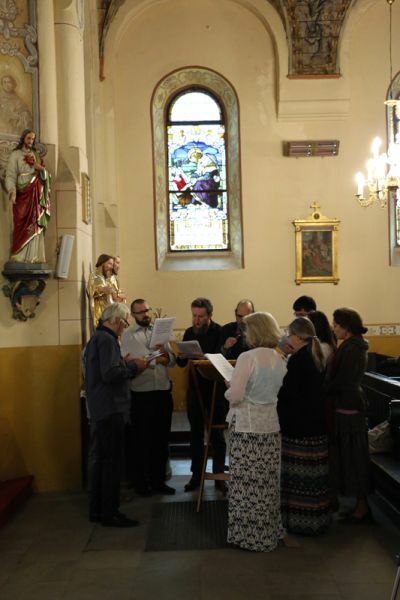 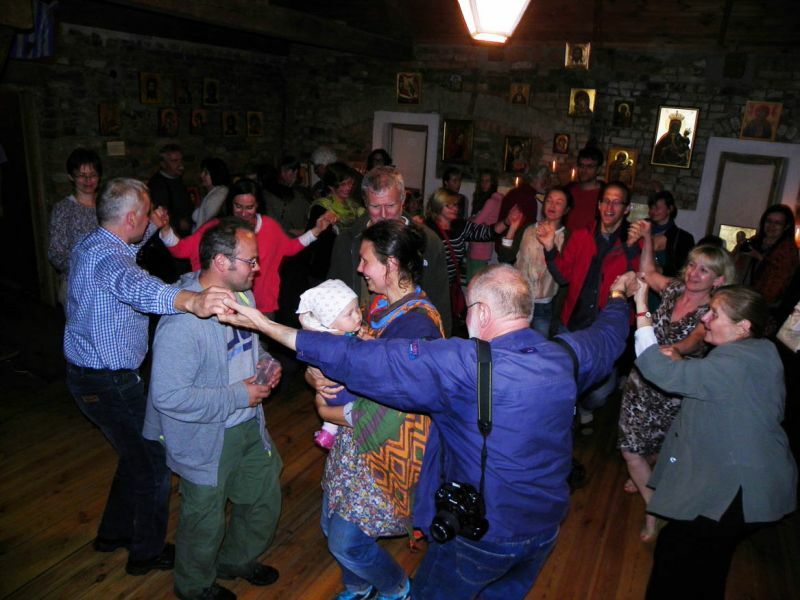 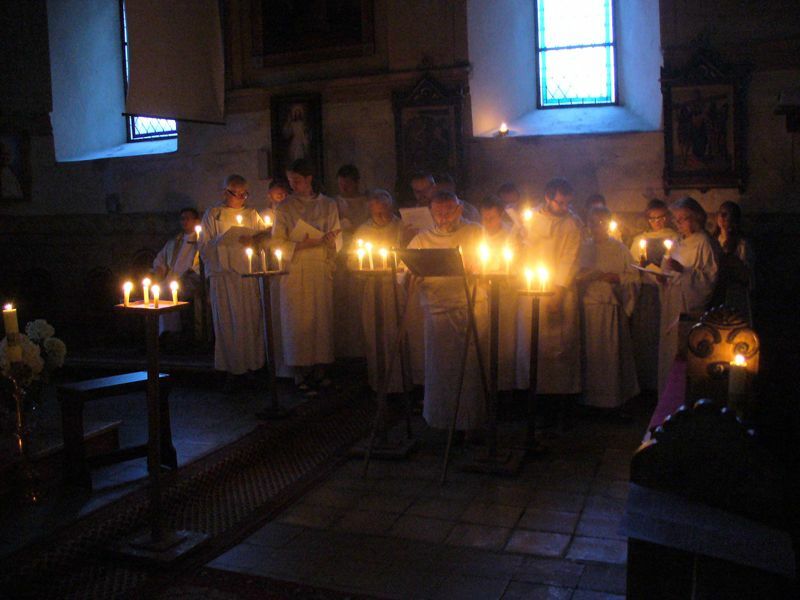 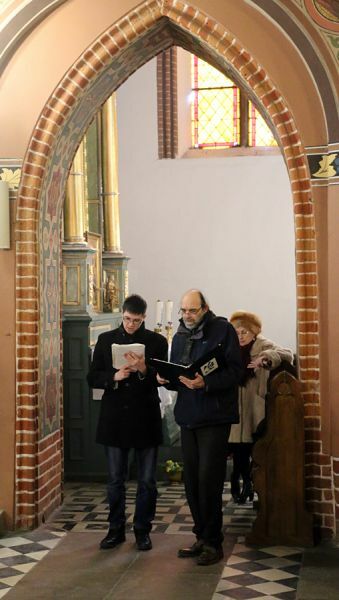 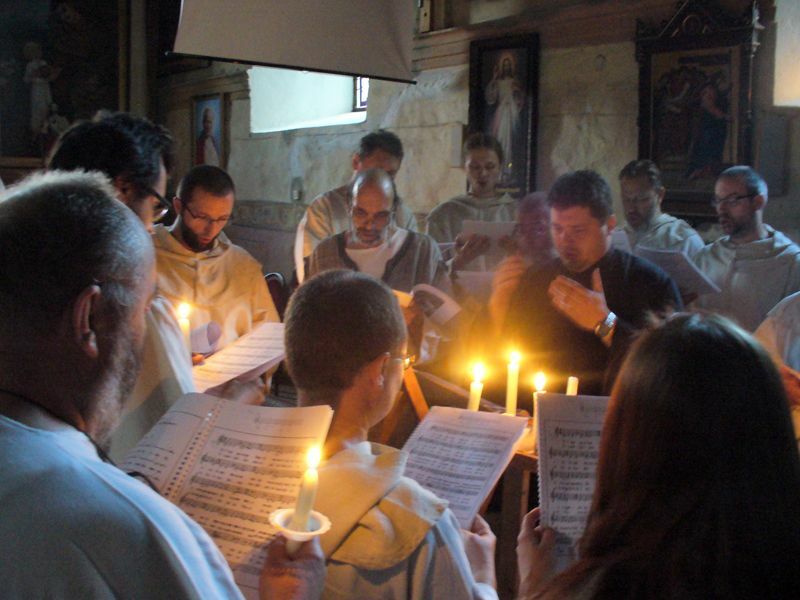 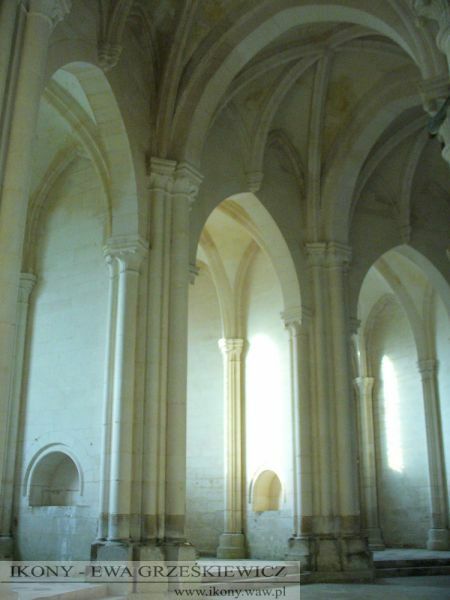 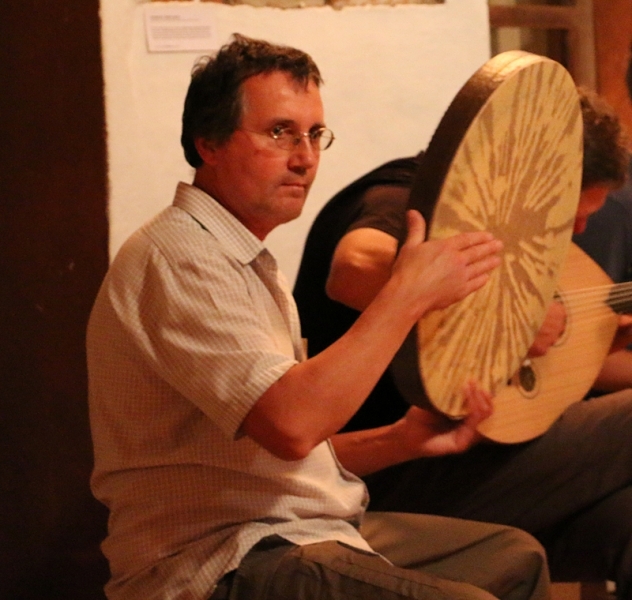 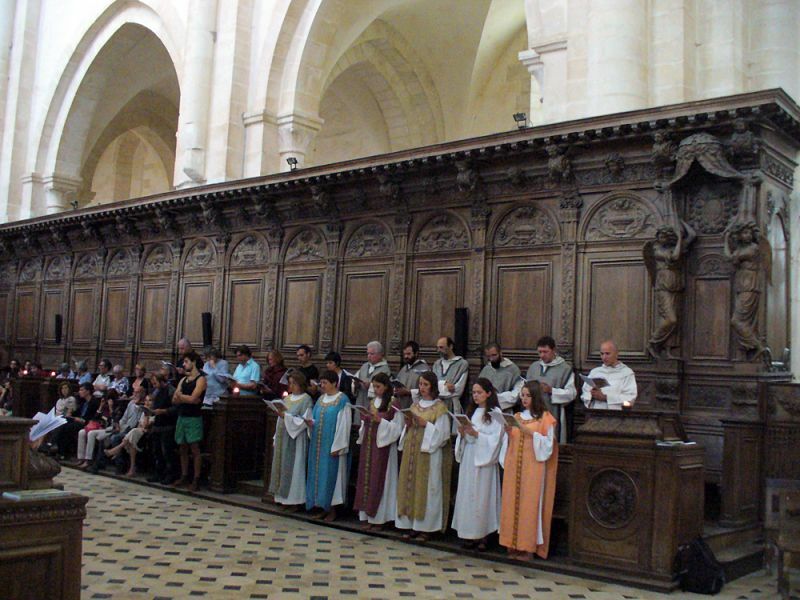 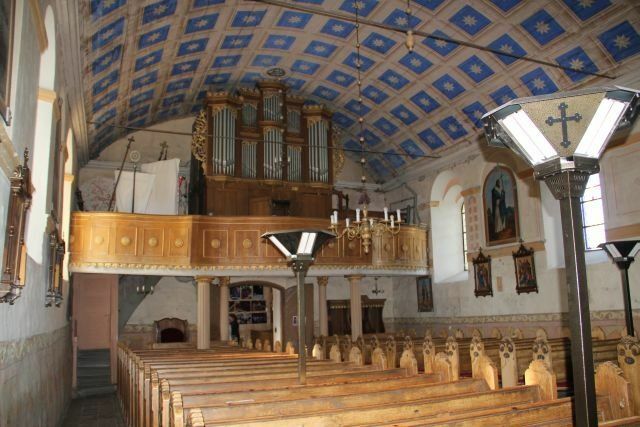 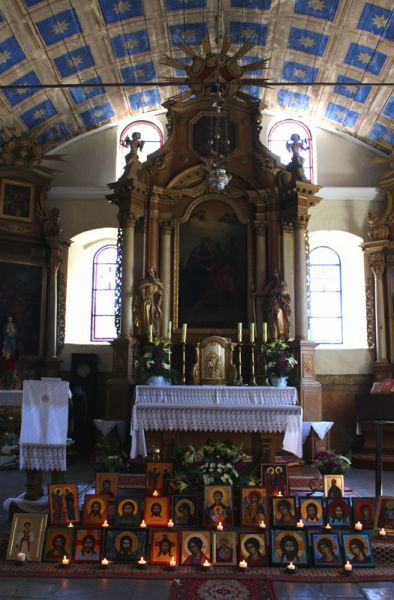 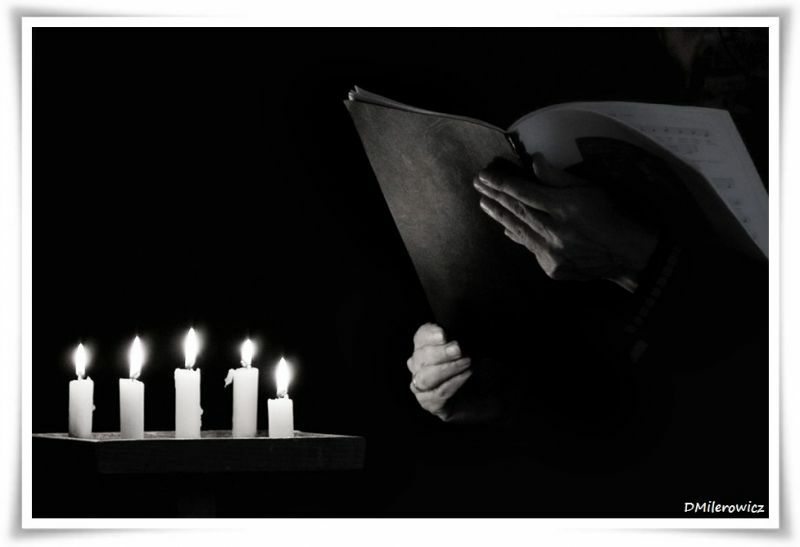 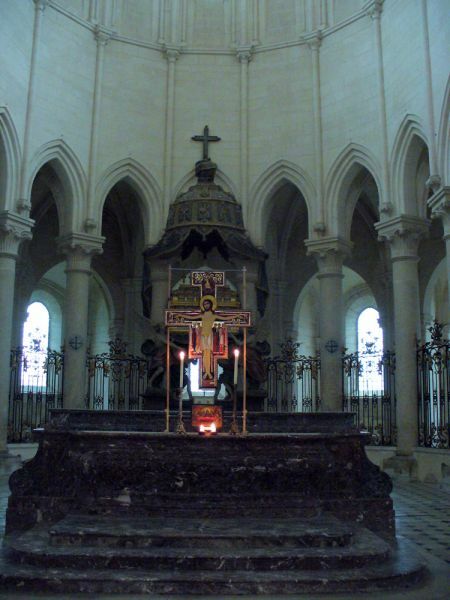 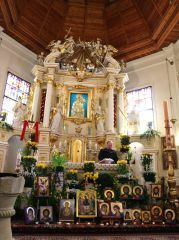 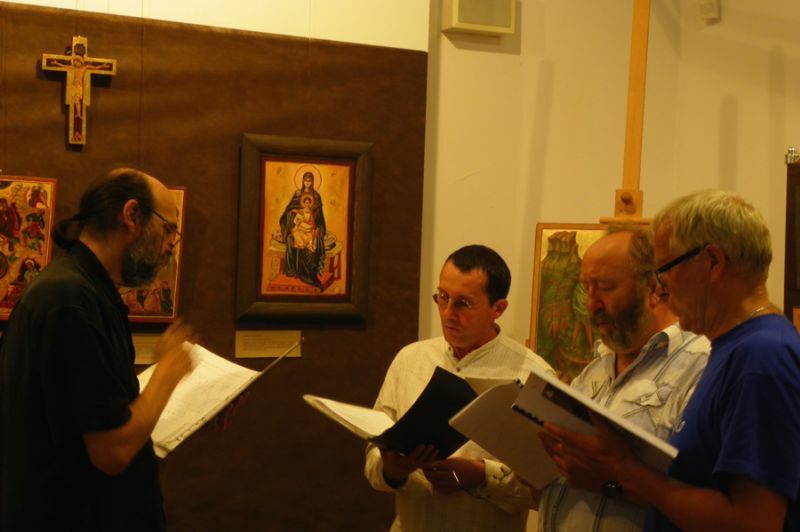 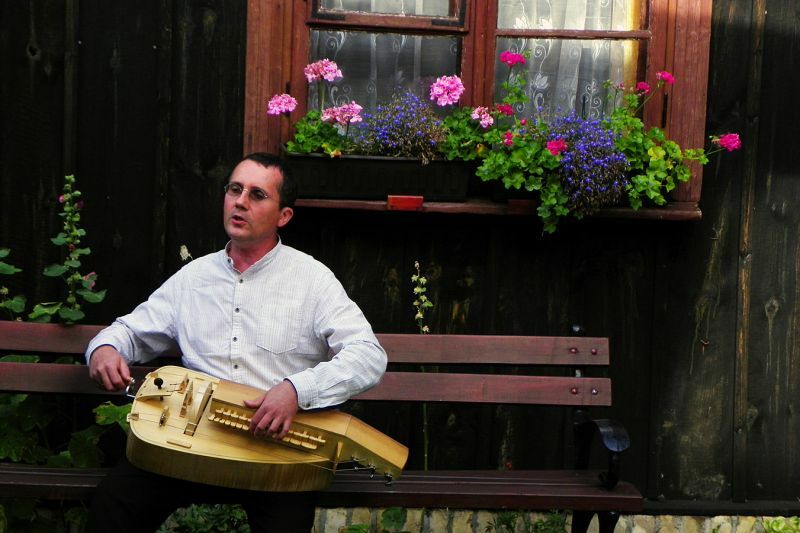 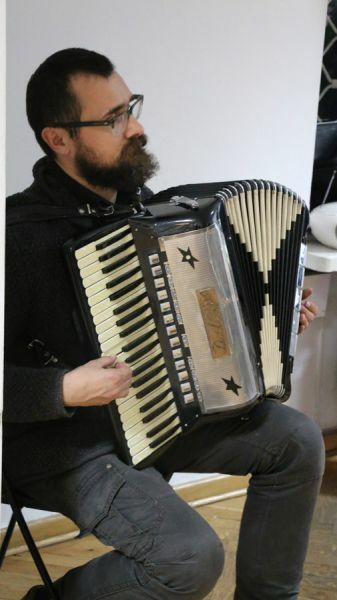 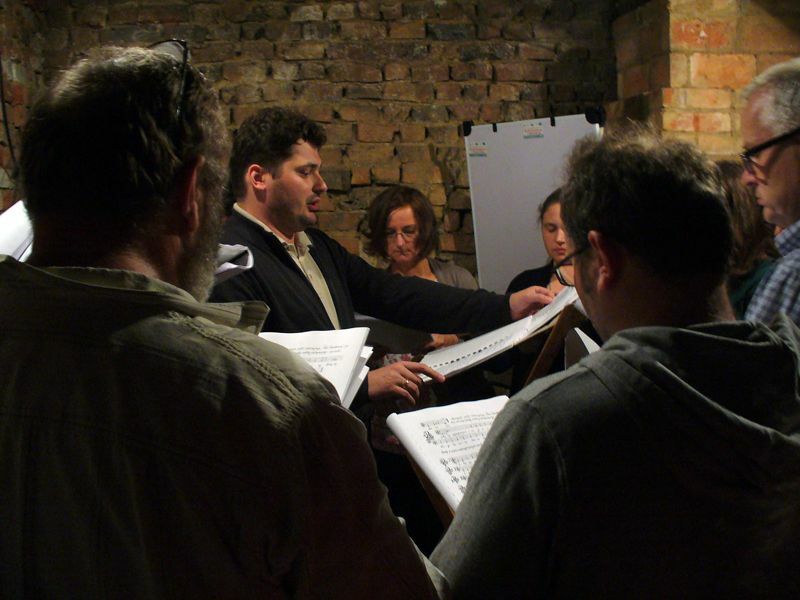 The performance was given by the schola cantorum of the Węgajty Theatre, based on the 17th Century manuscript from the St. Benoît-sur-Loire Abbey in Fleury. 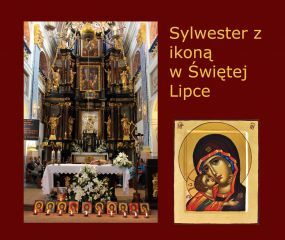 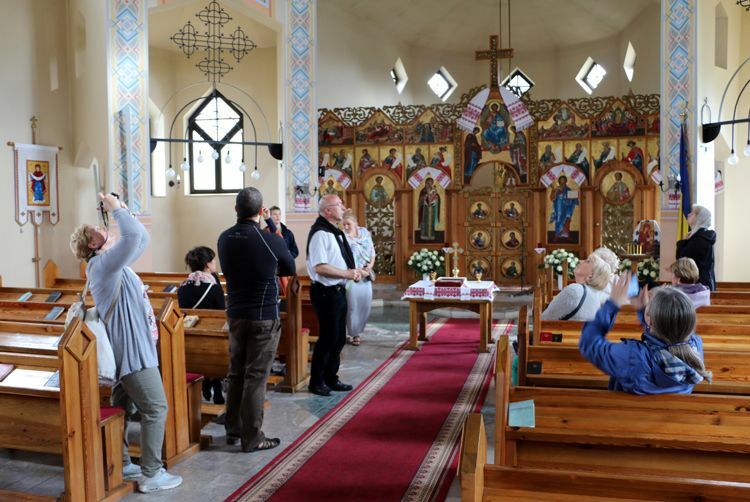 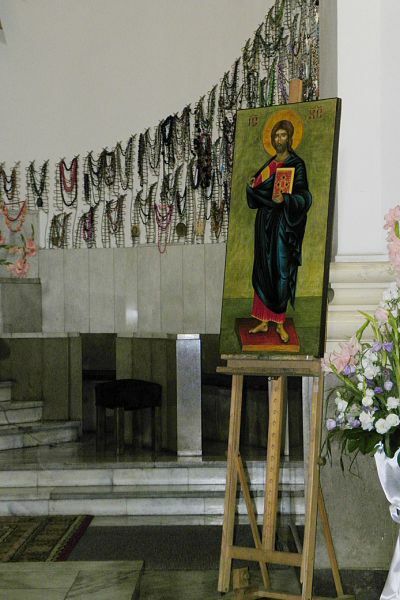 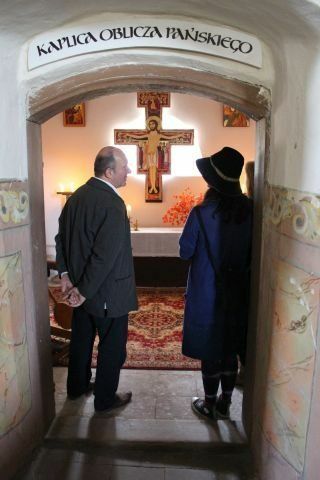 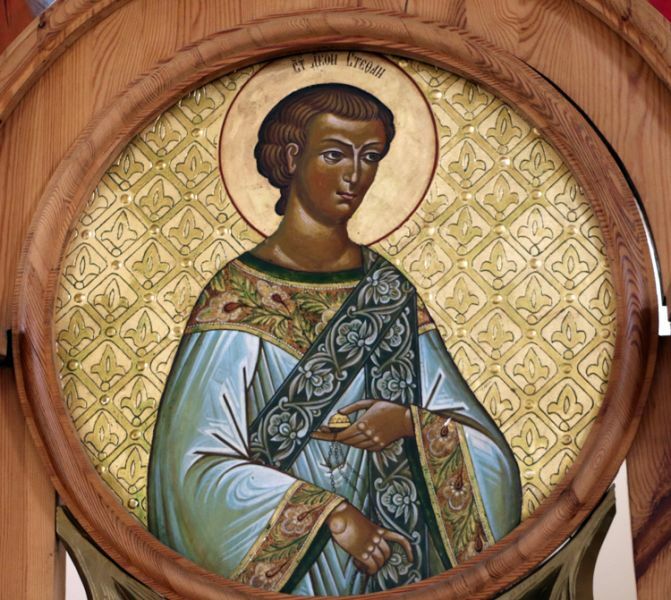 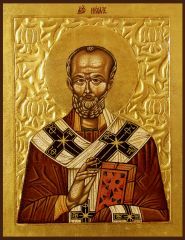 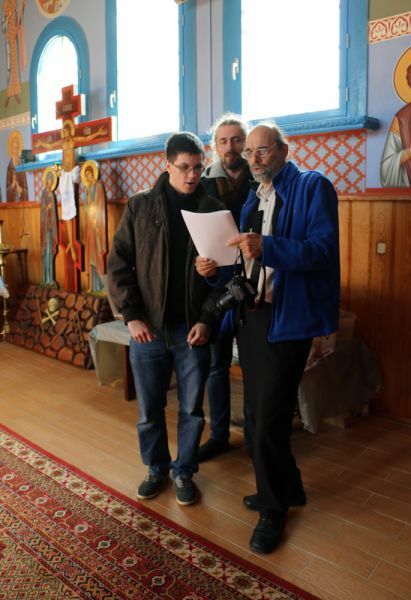 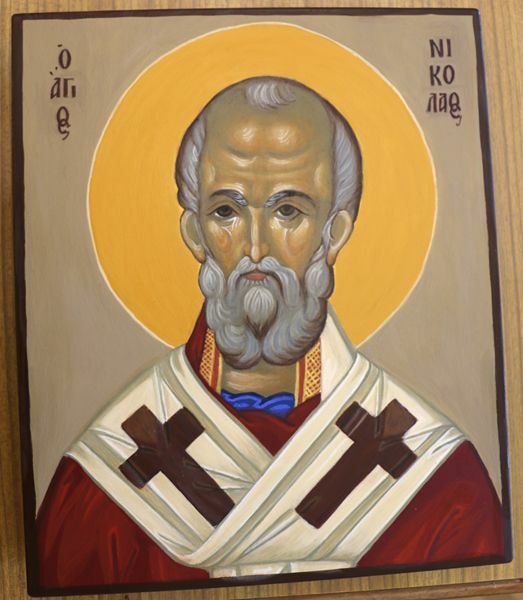 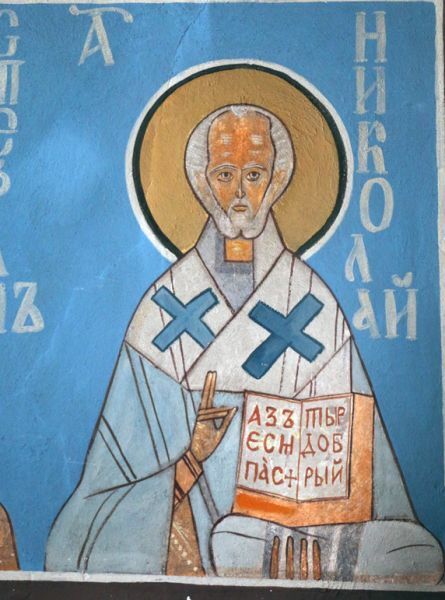 The second scene featured the drama entitled Iconia Sancti Nicolai, where the "iconia" was the copy of the icon of Saint Nicolas, created by myself.